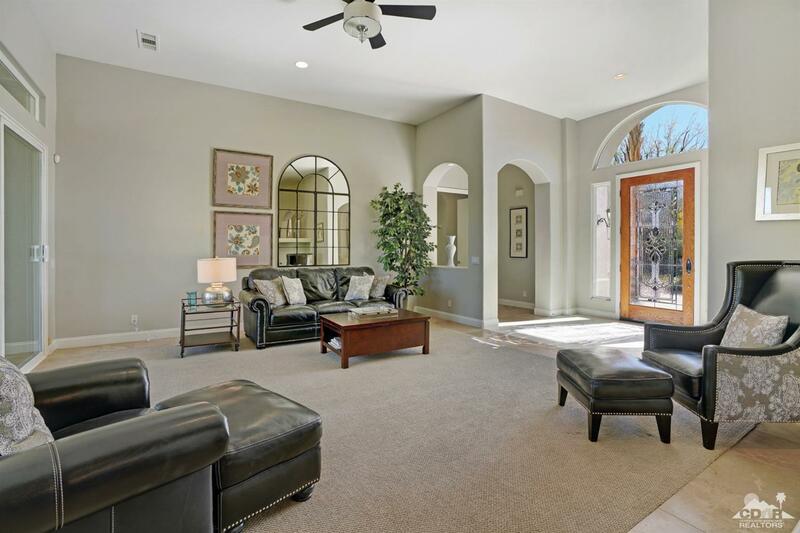 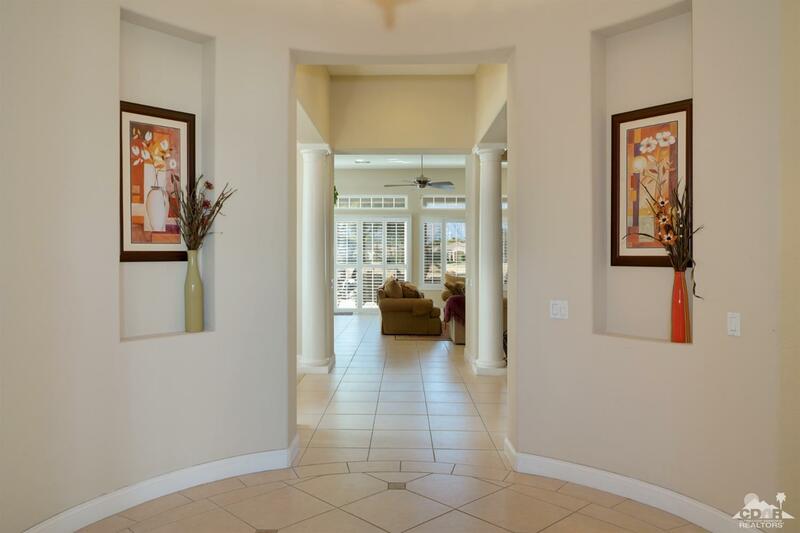 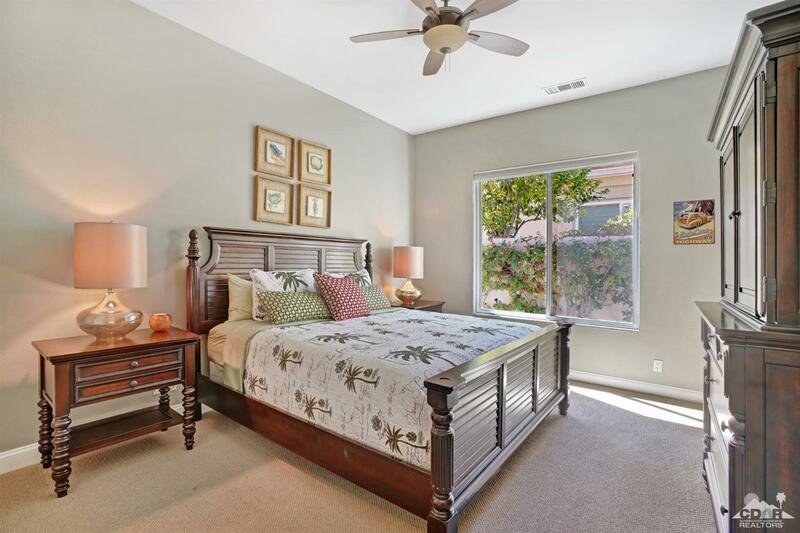 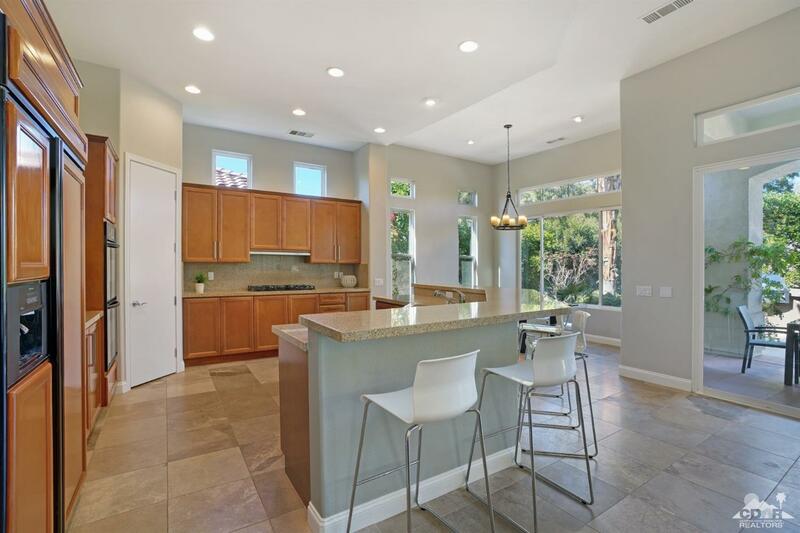 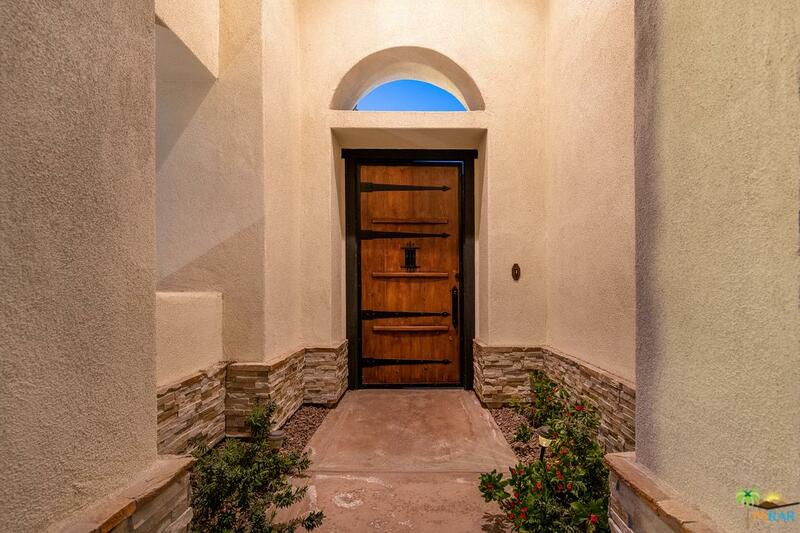 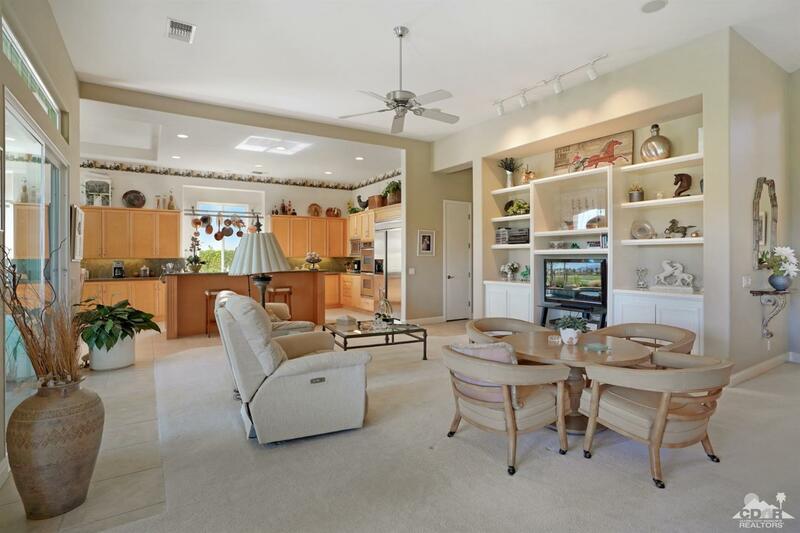 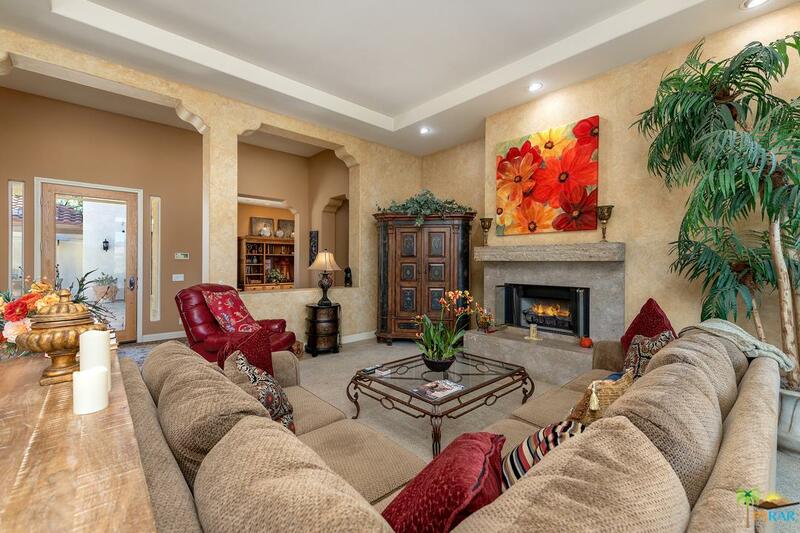 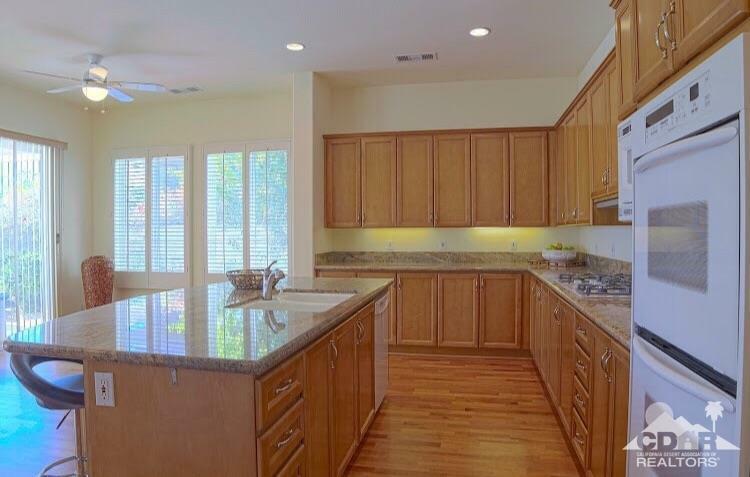 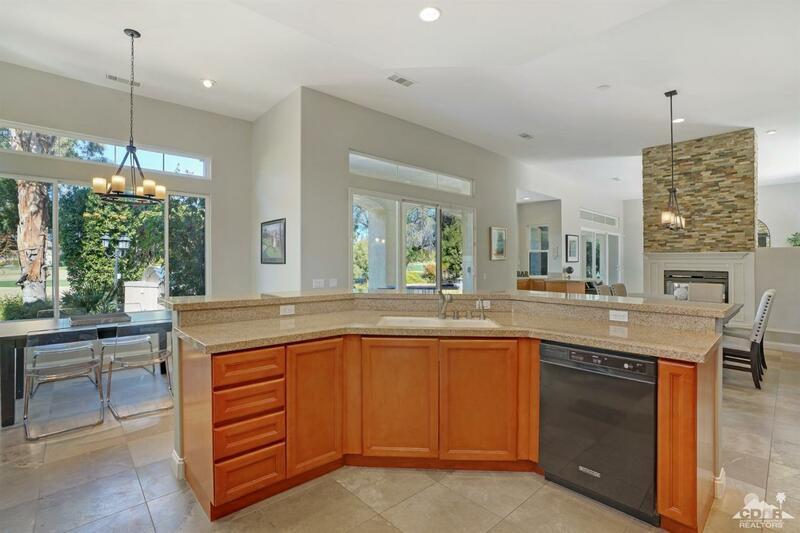 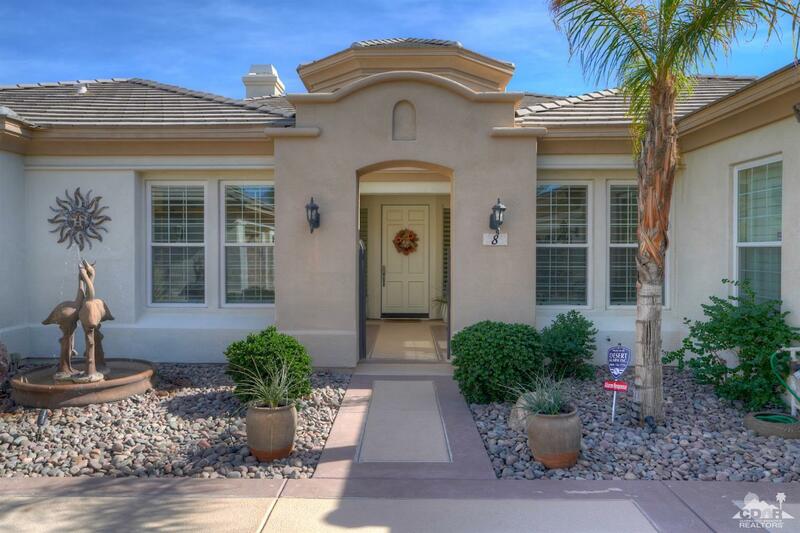 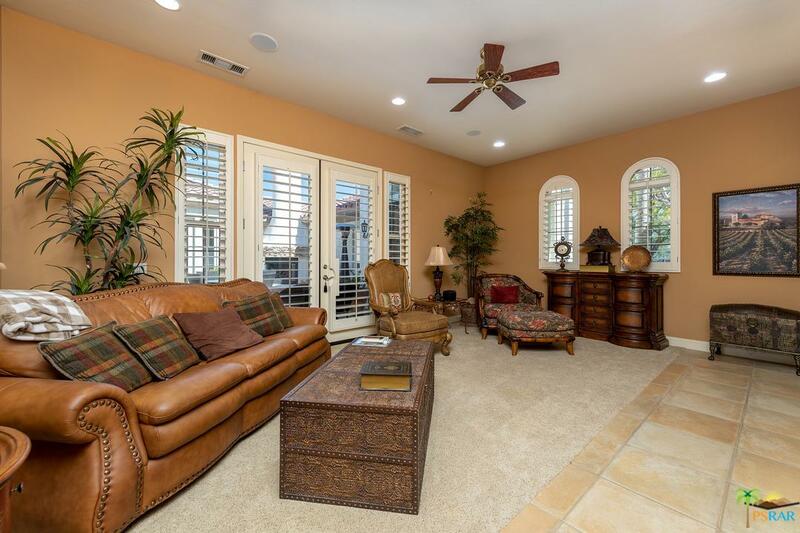 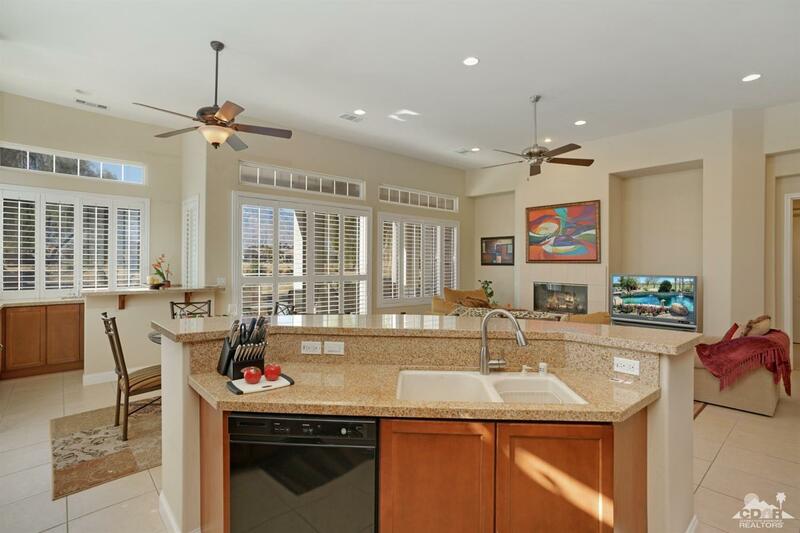 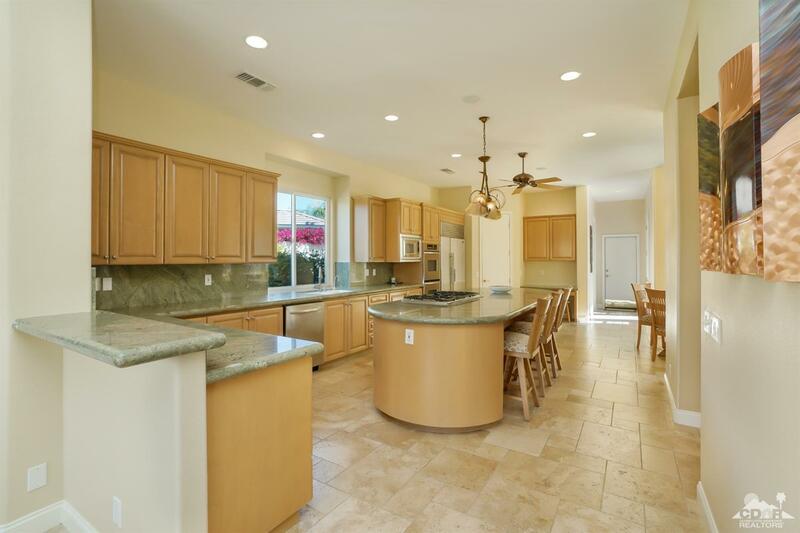 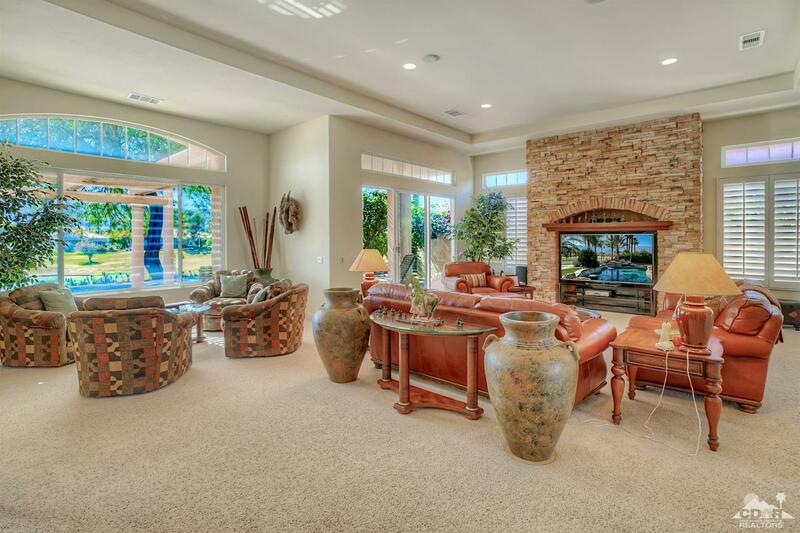 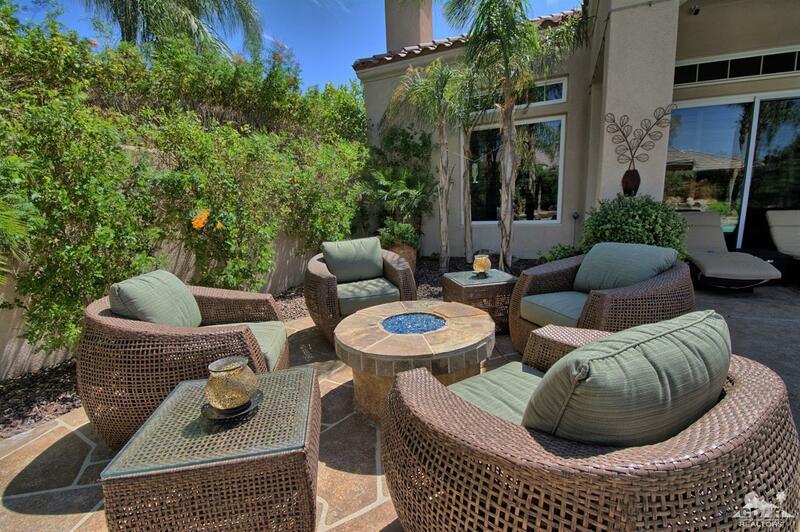 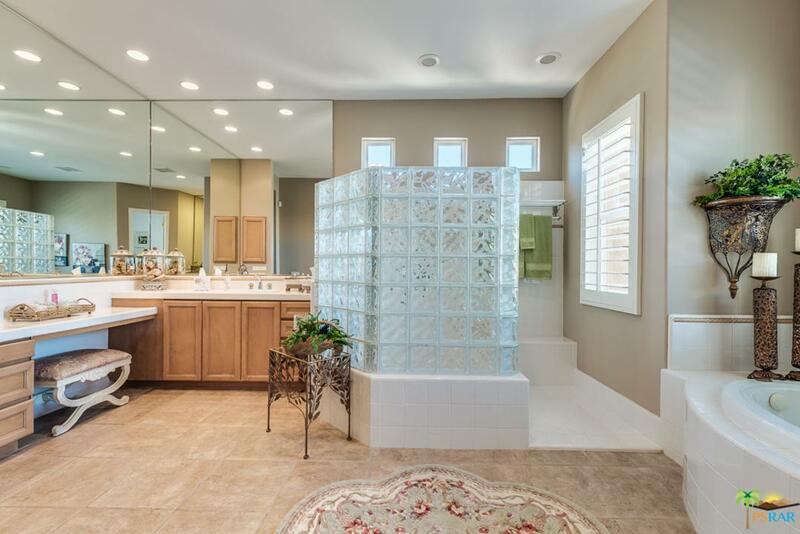 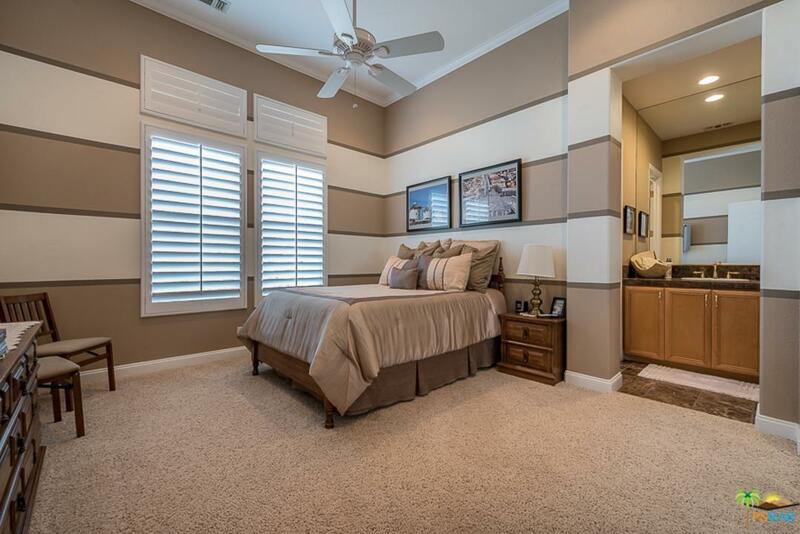 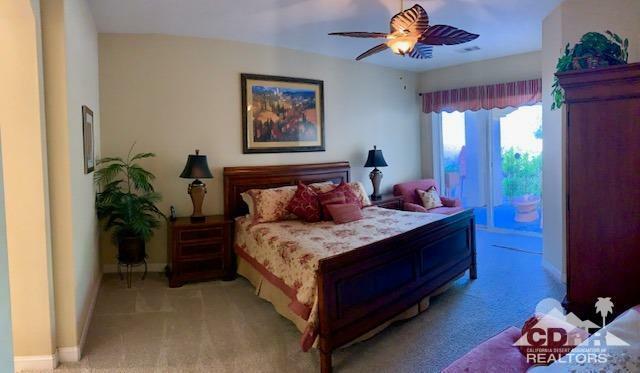 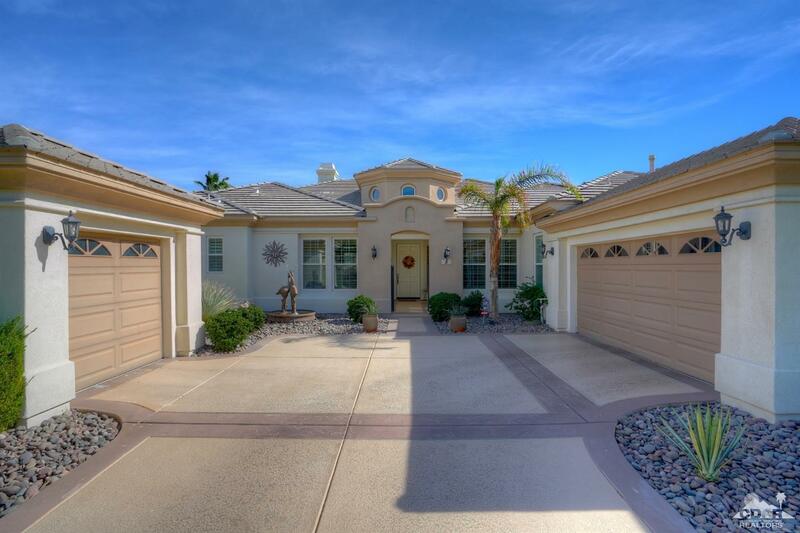 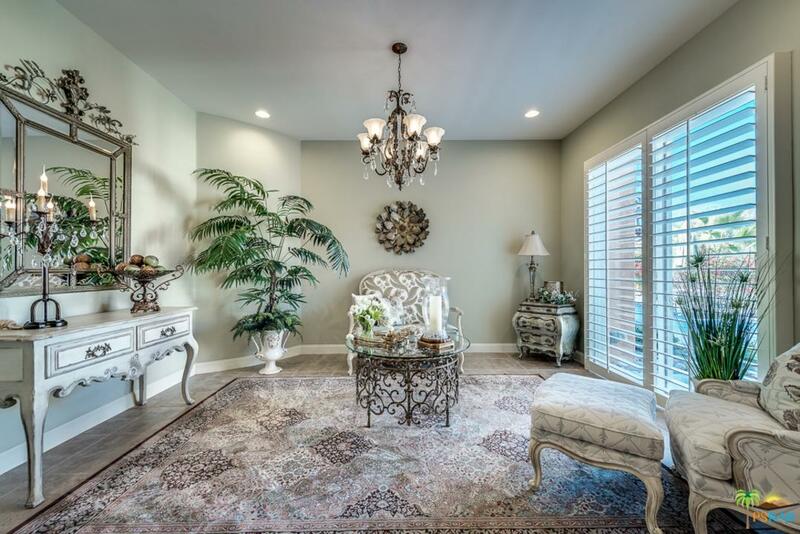 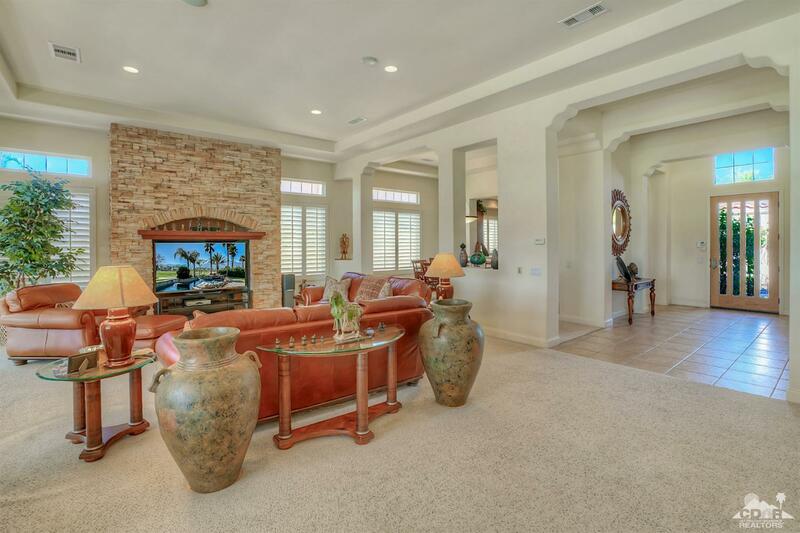 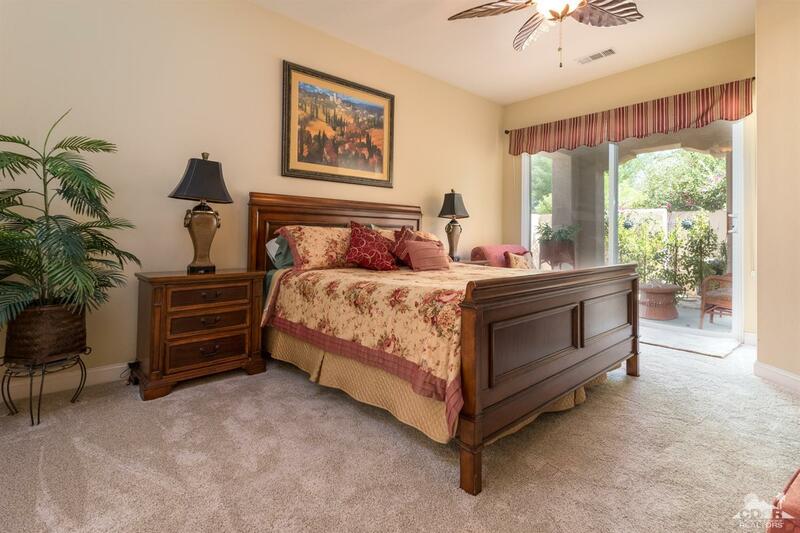 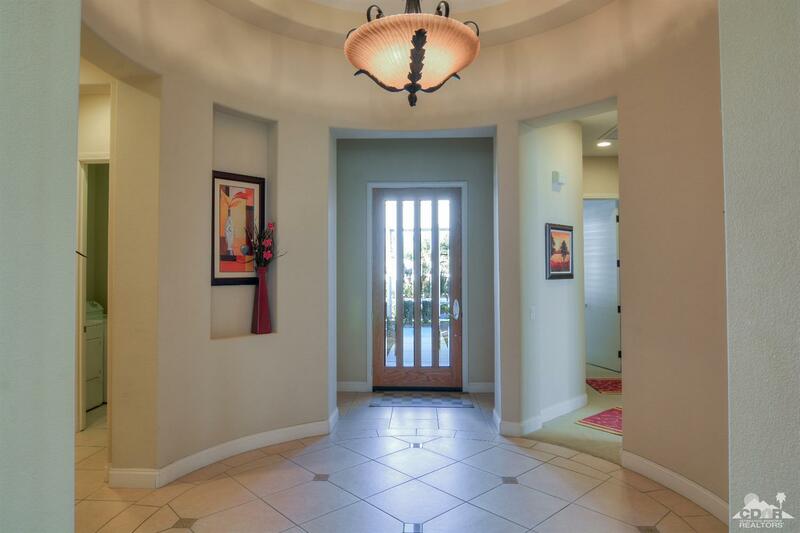 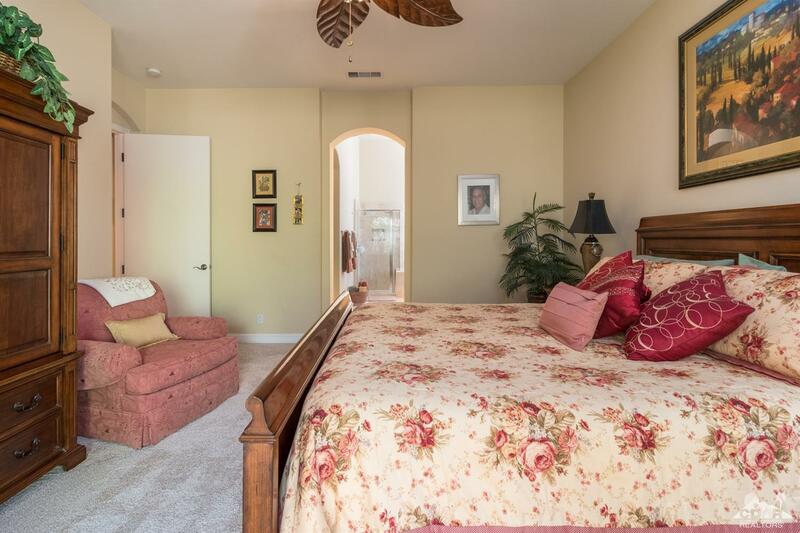 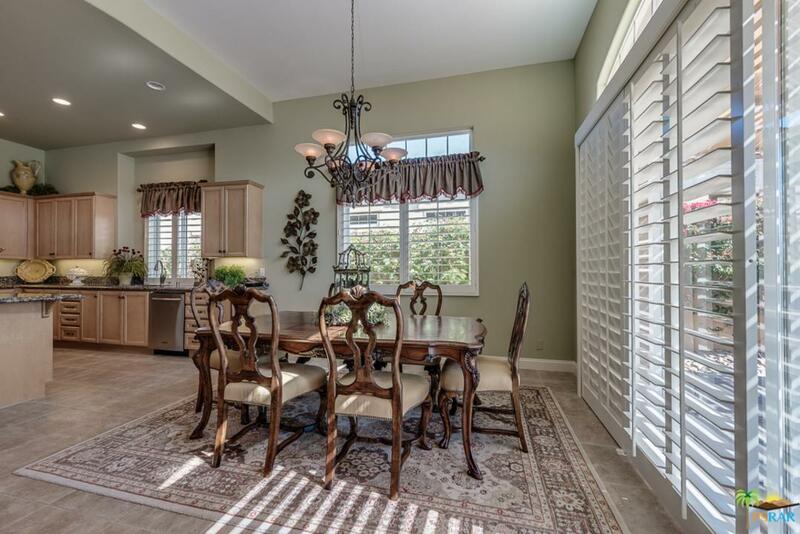 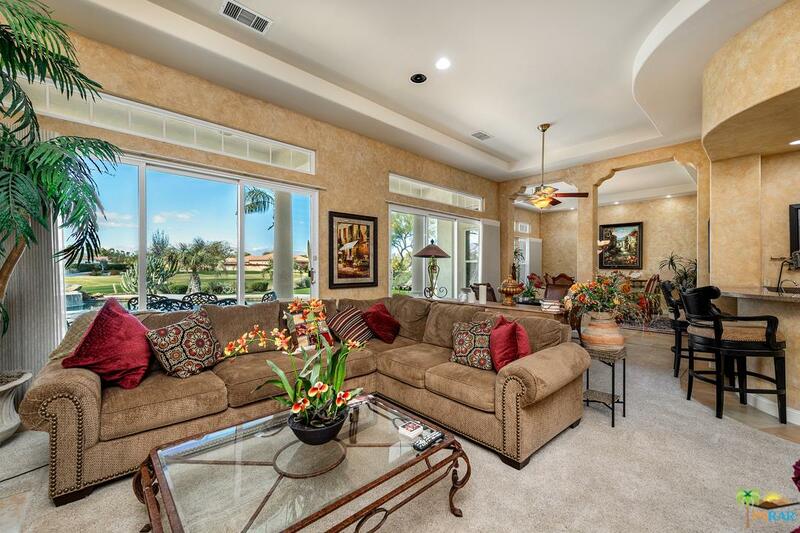 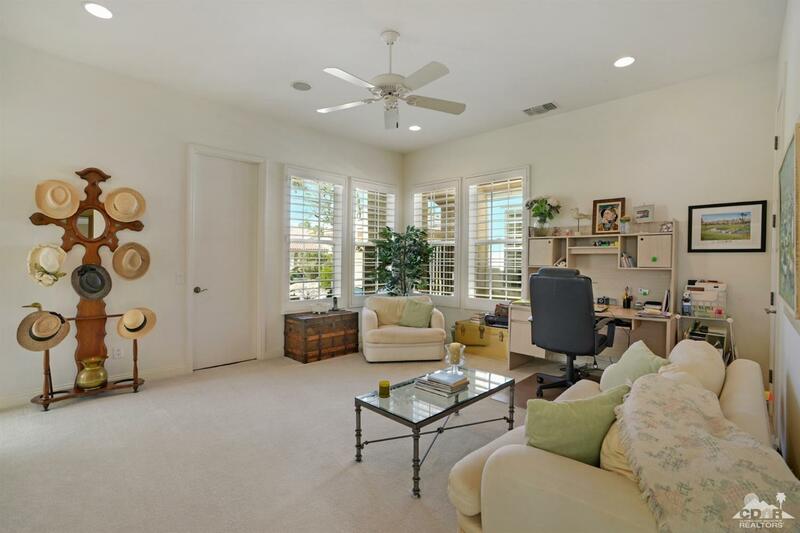 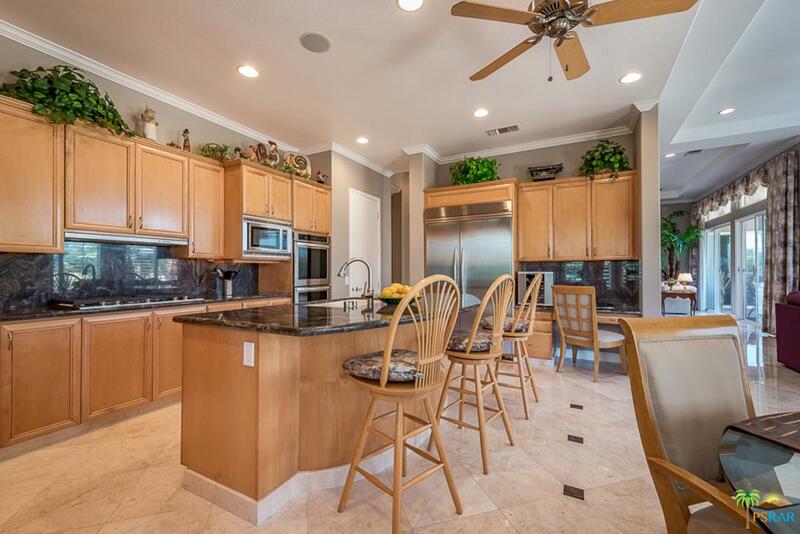 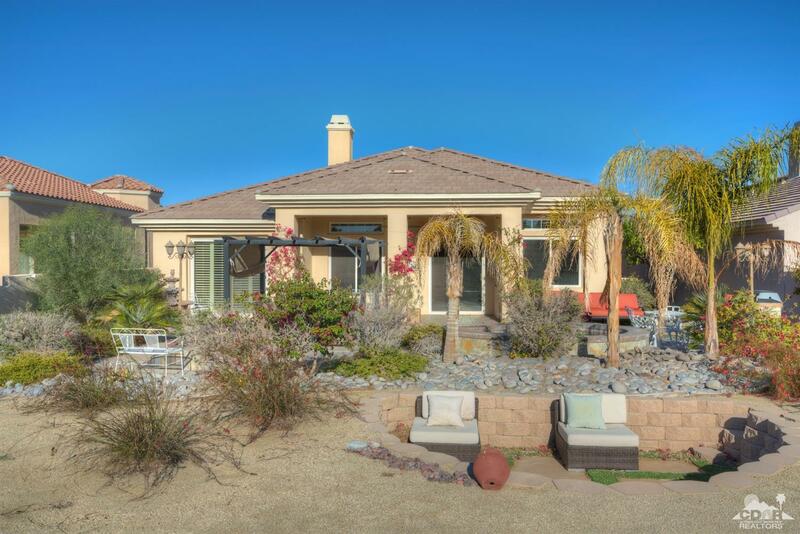 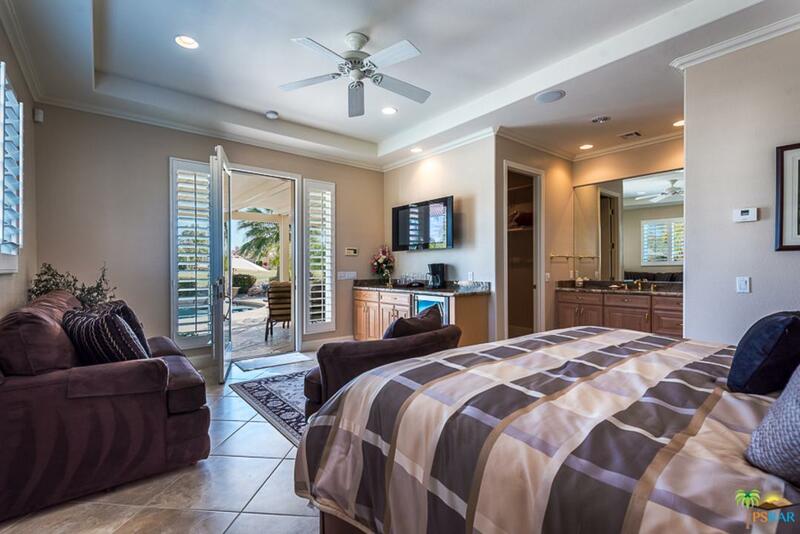 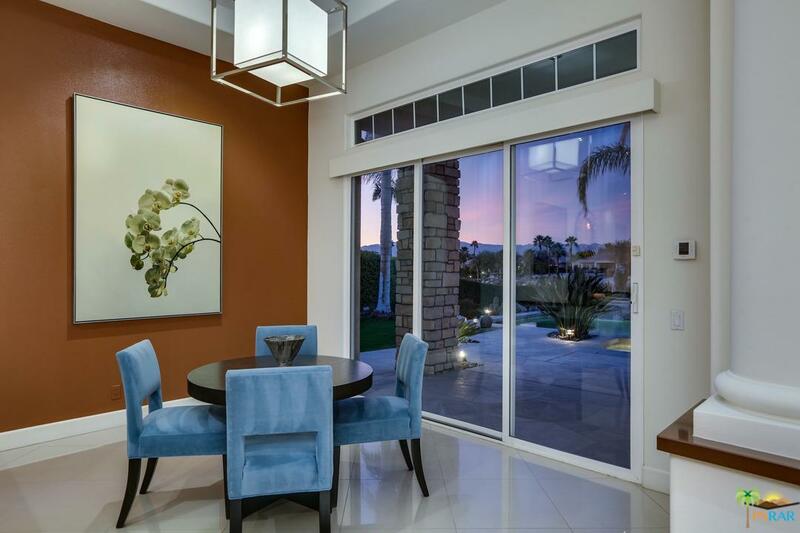 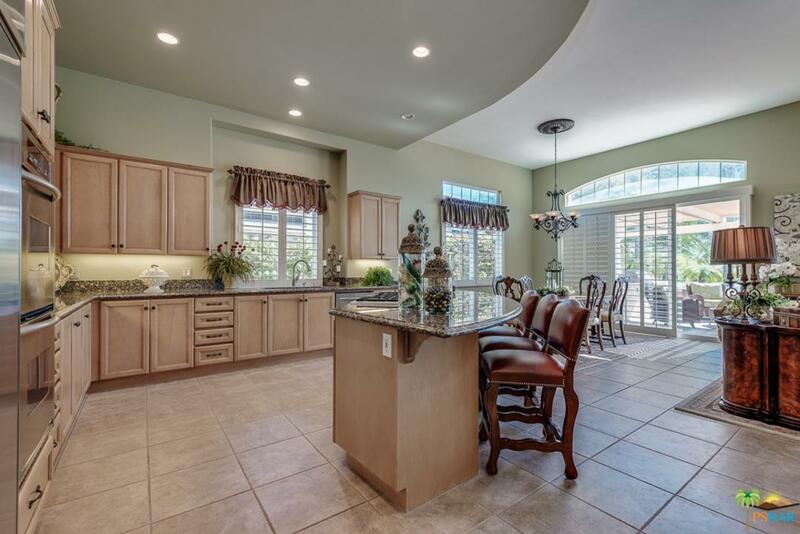 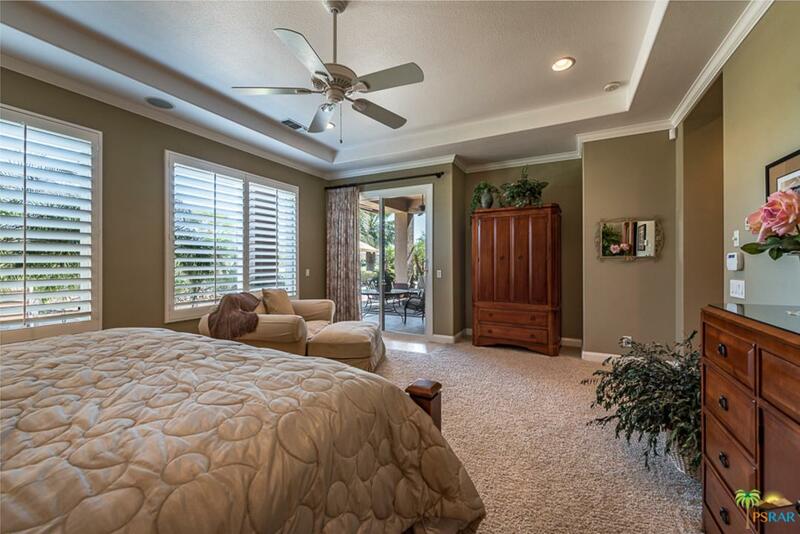 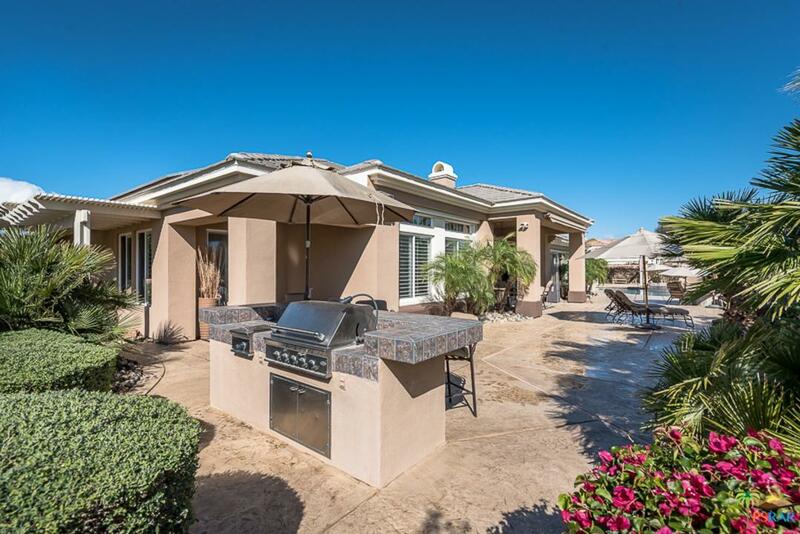 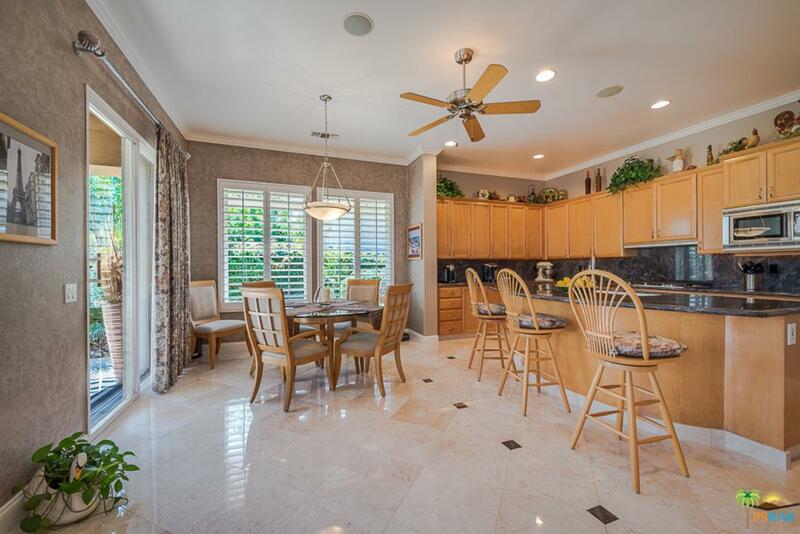 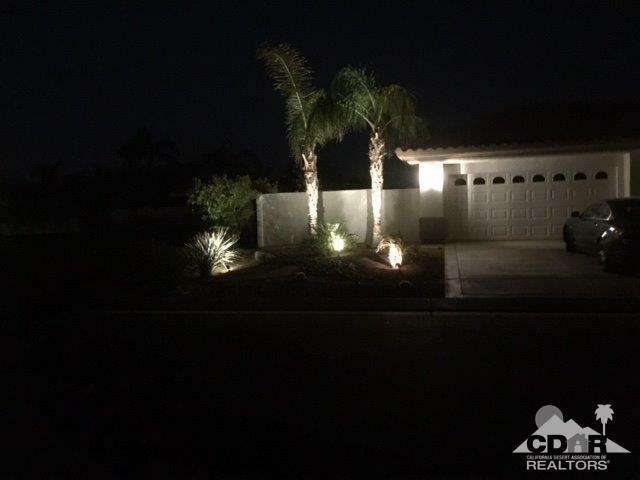 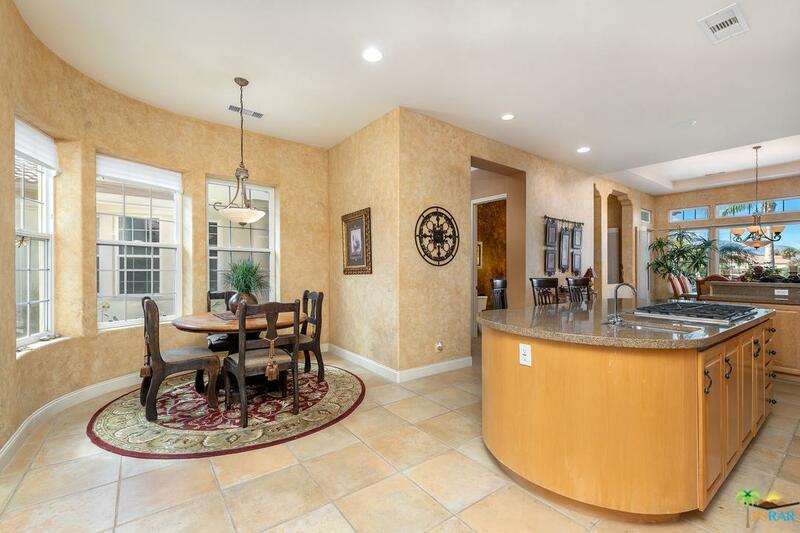 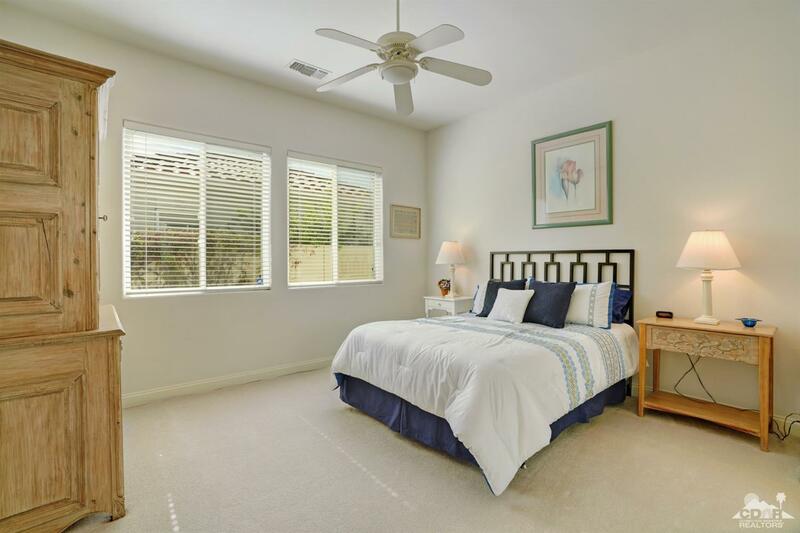 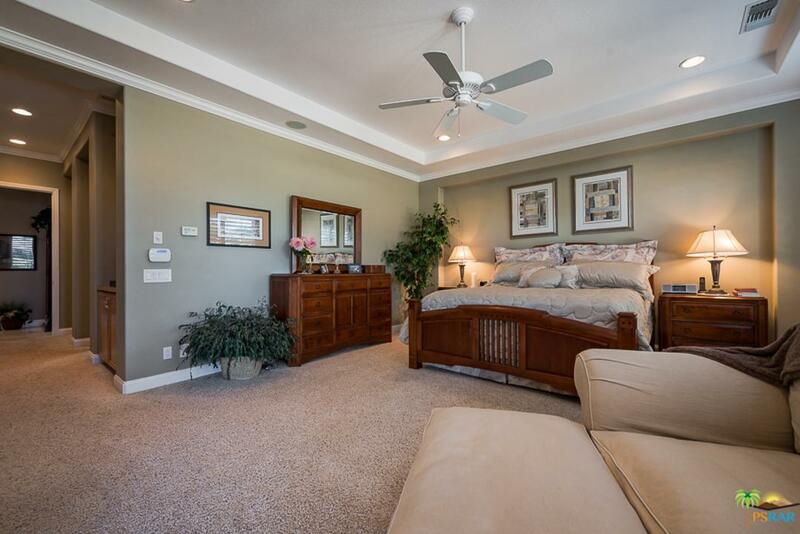 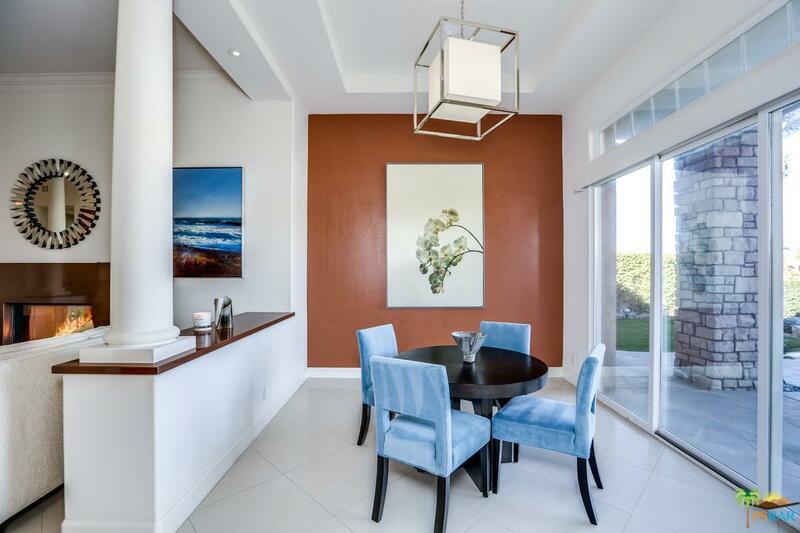 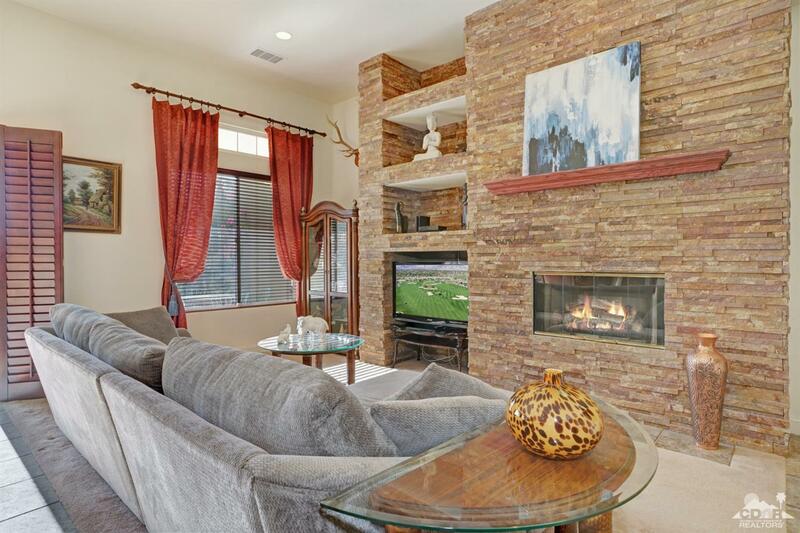 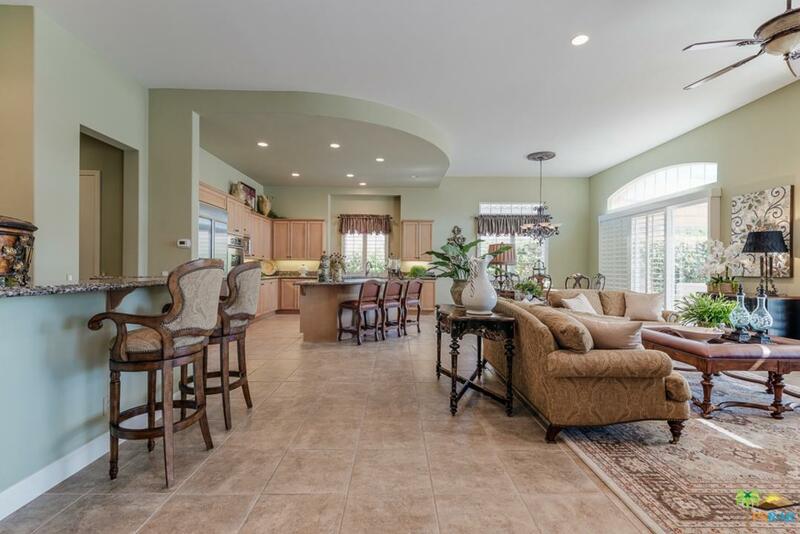 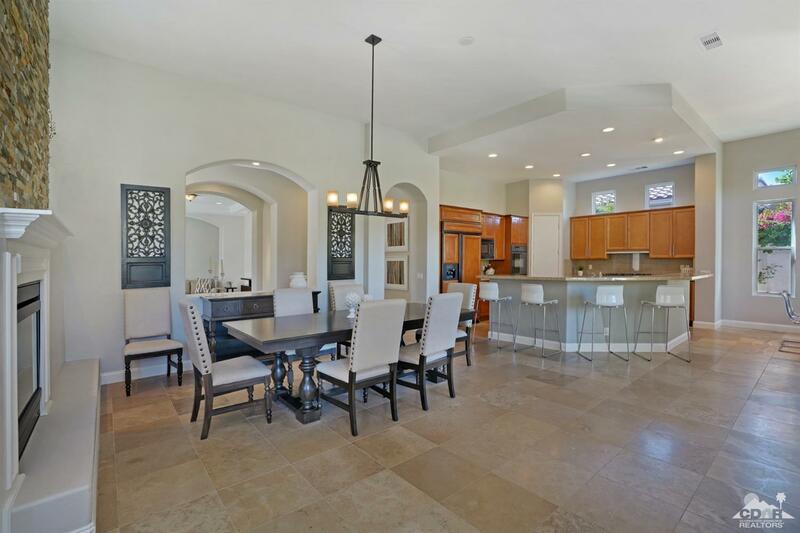 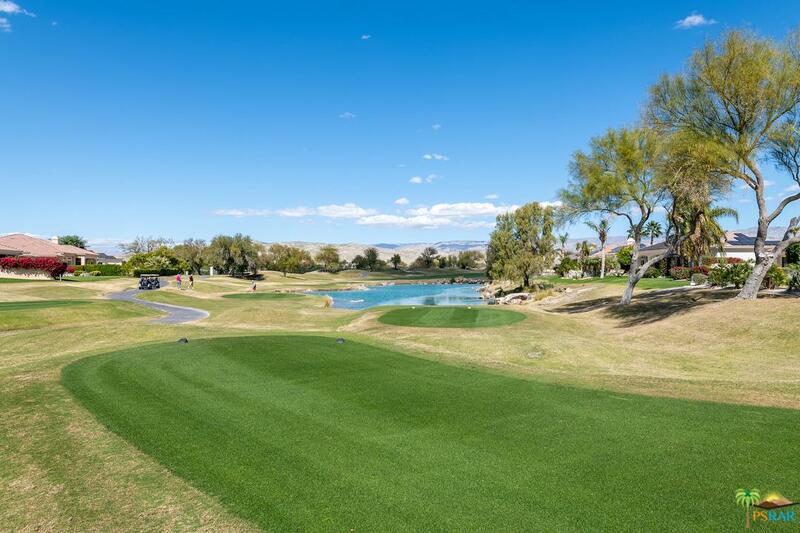 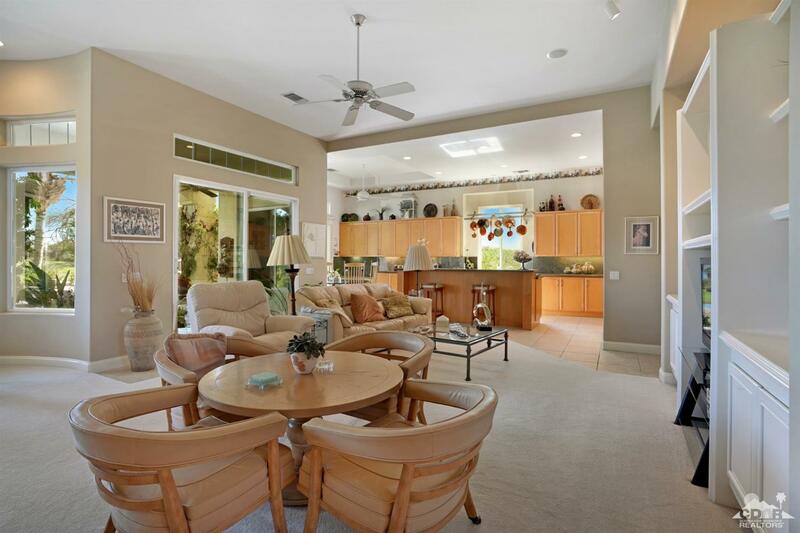 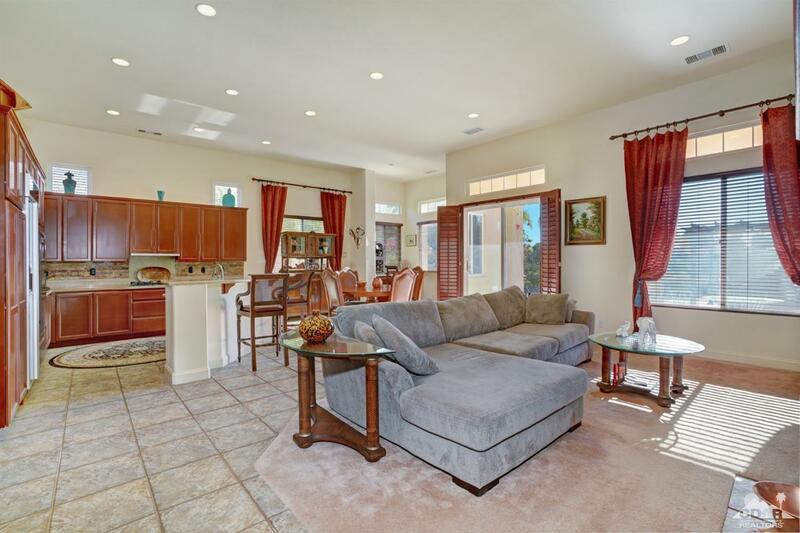 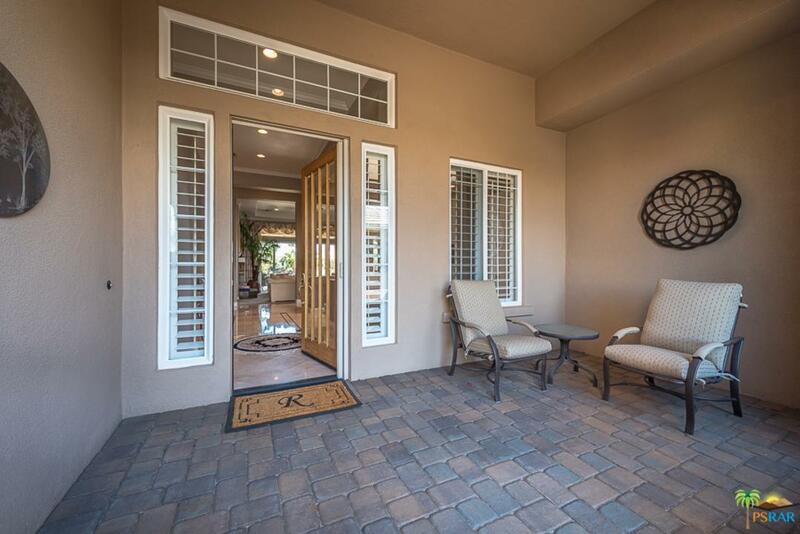 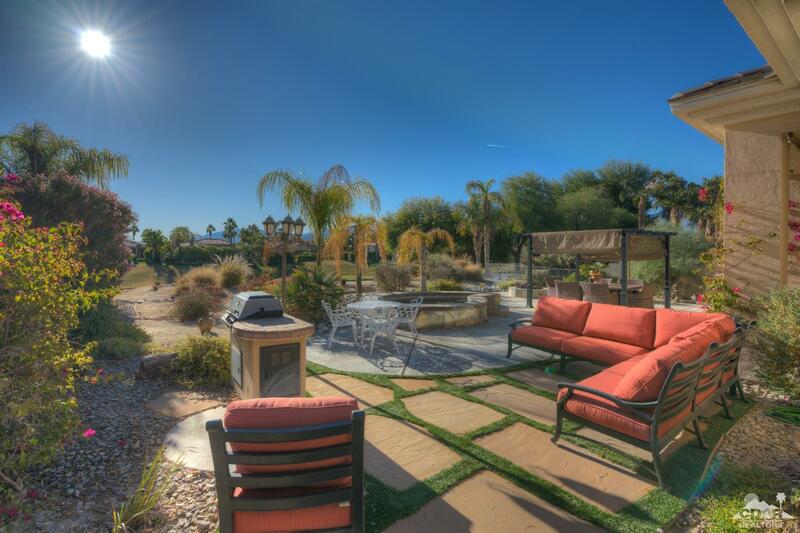 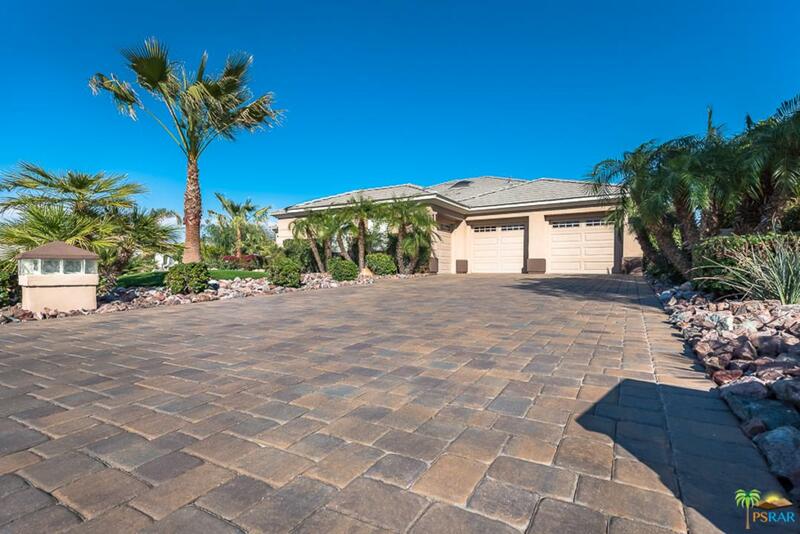 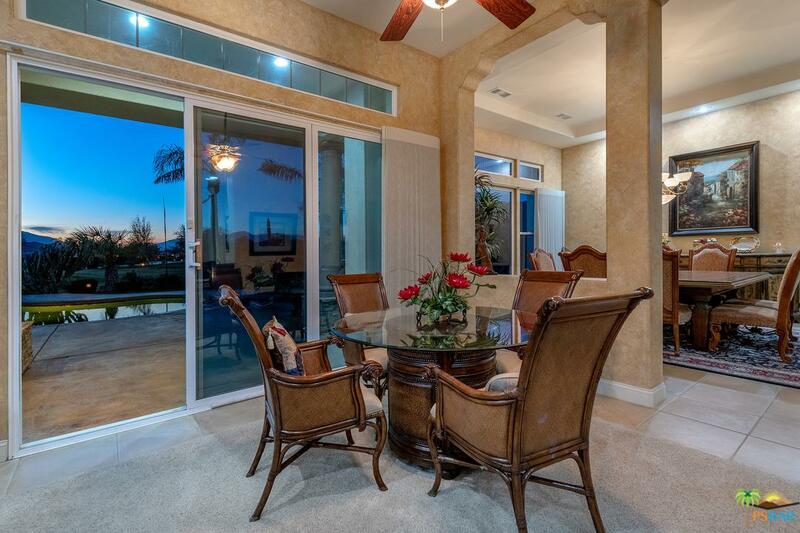 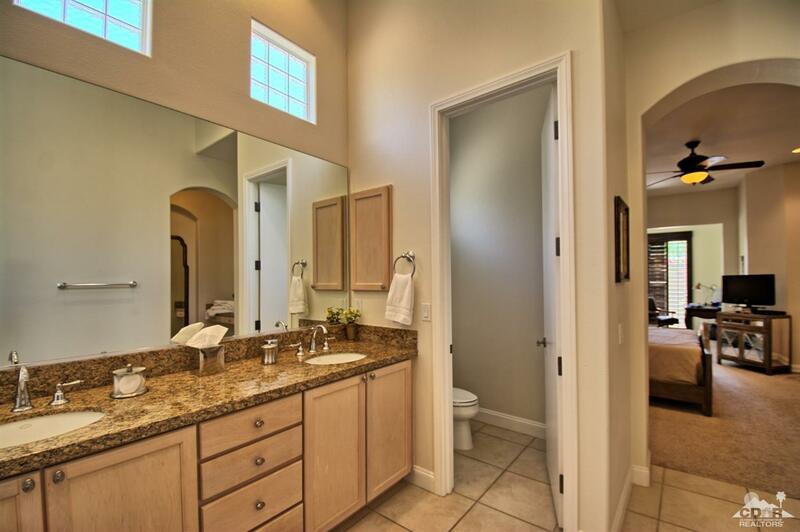 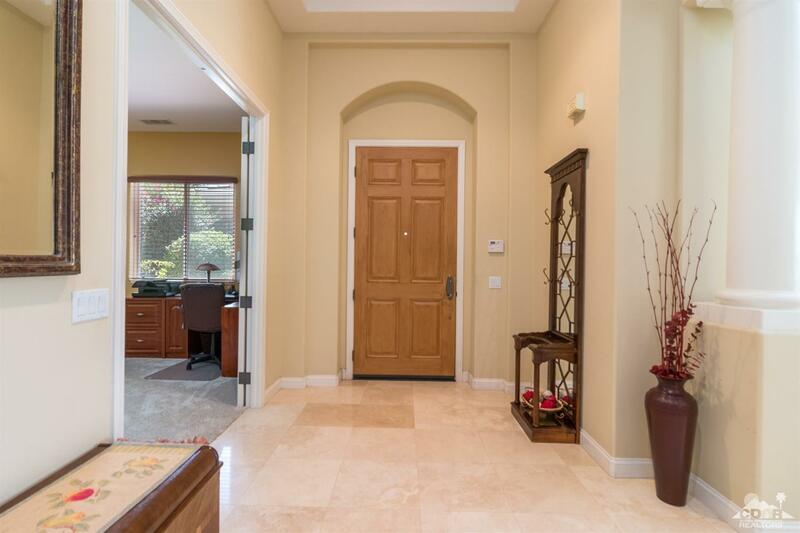 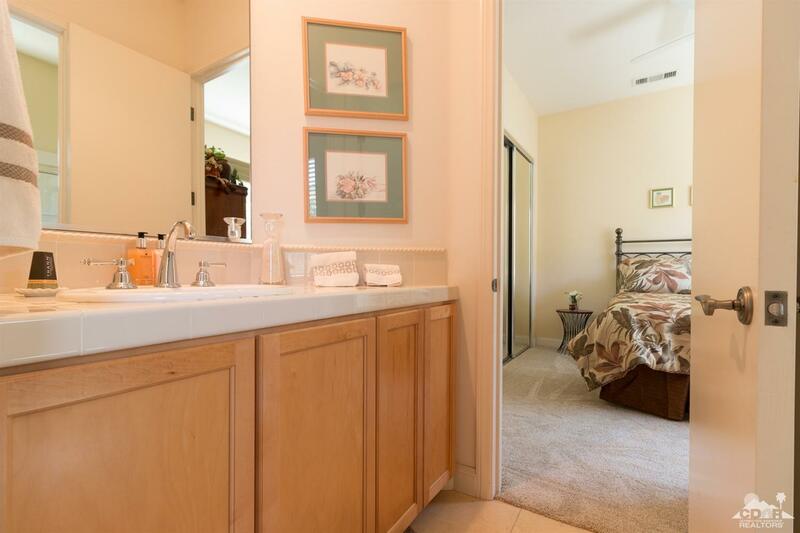 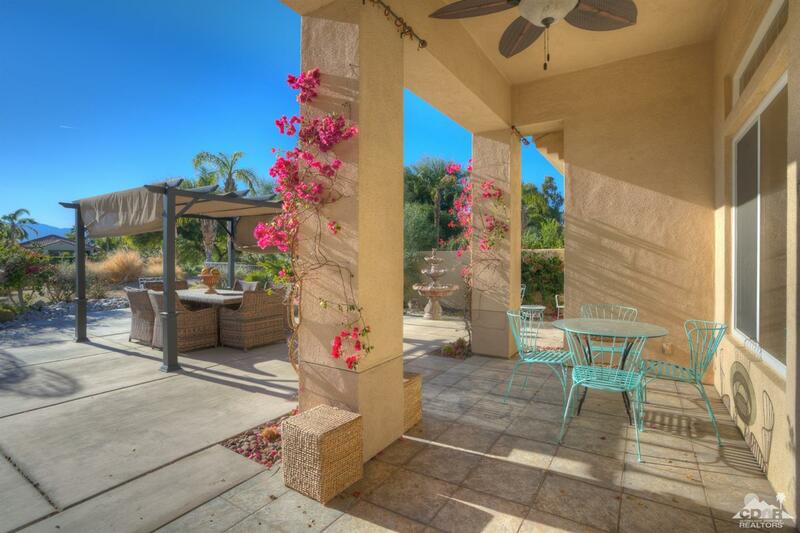 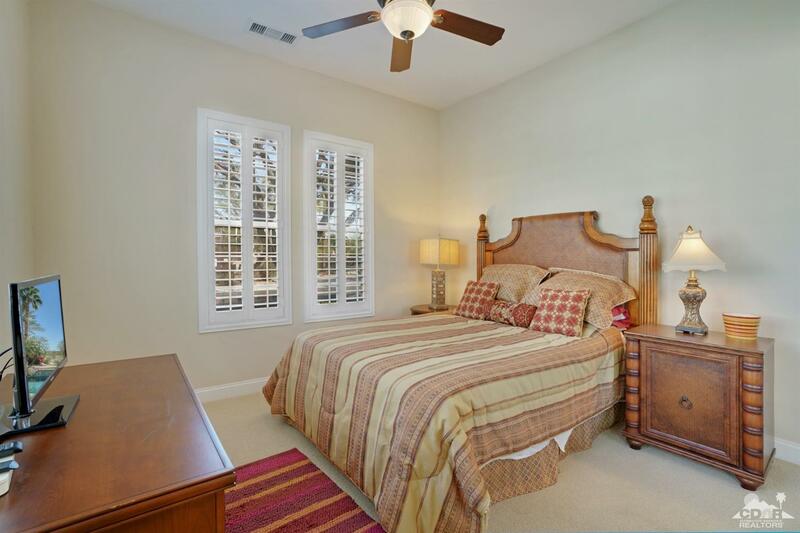 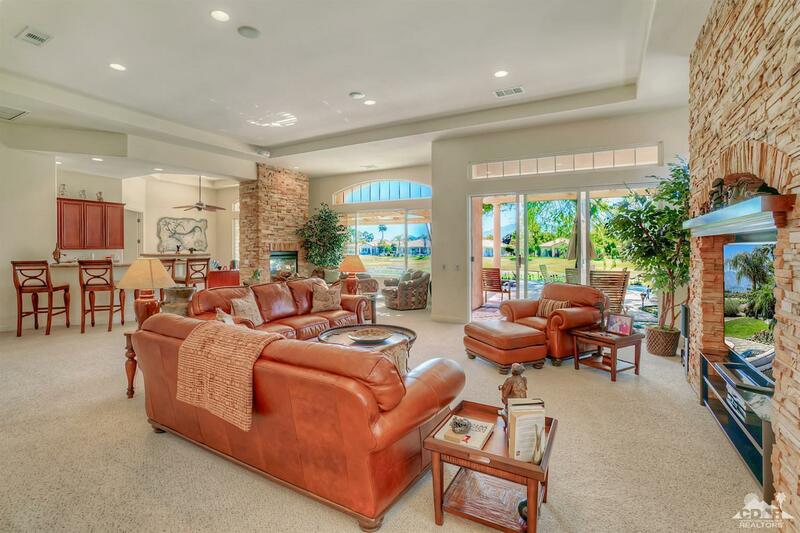 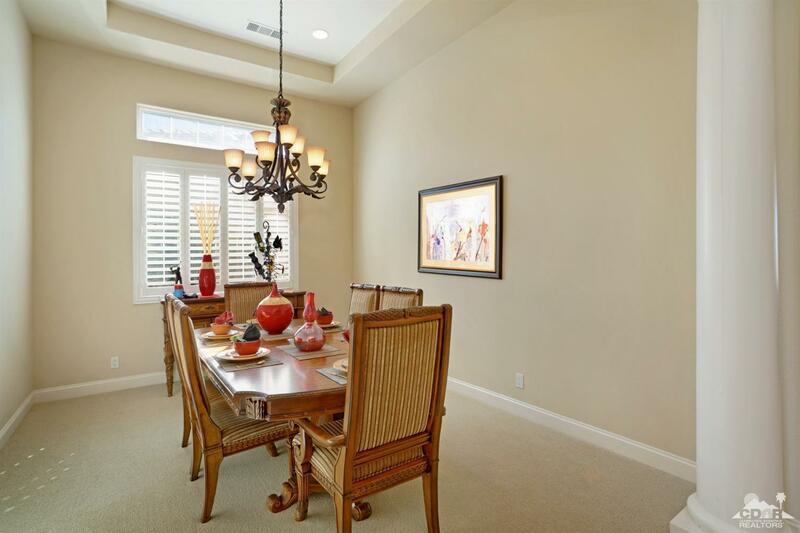 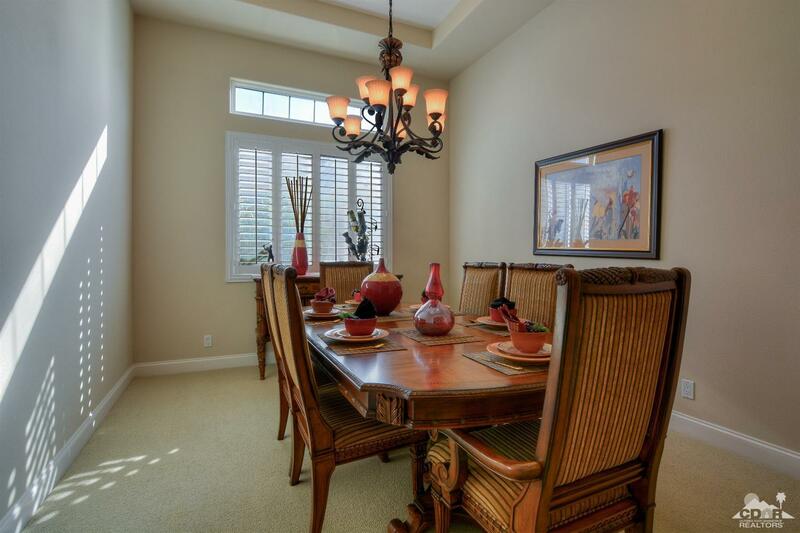 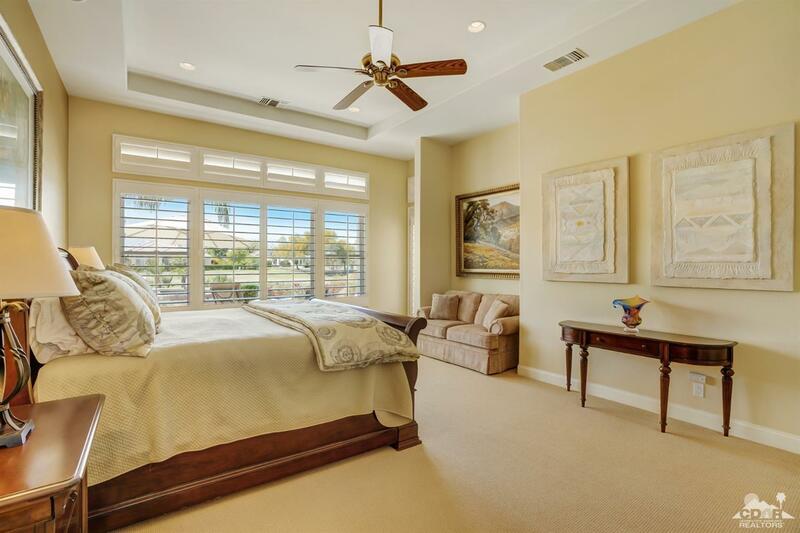 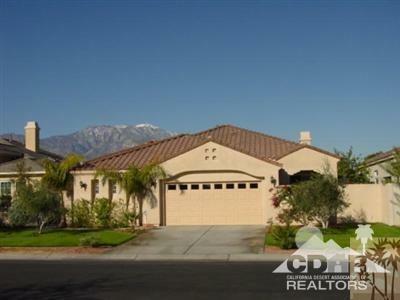 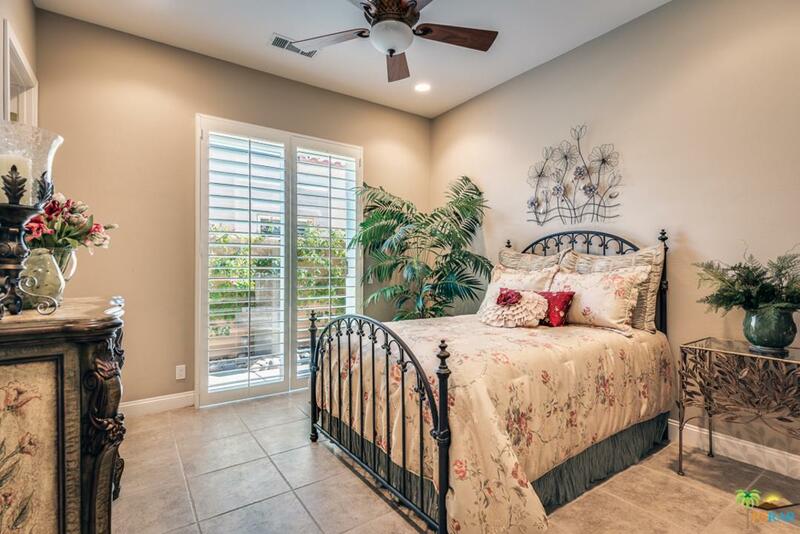 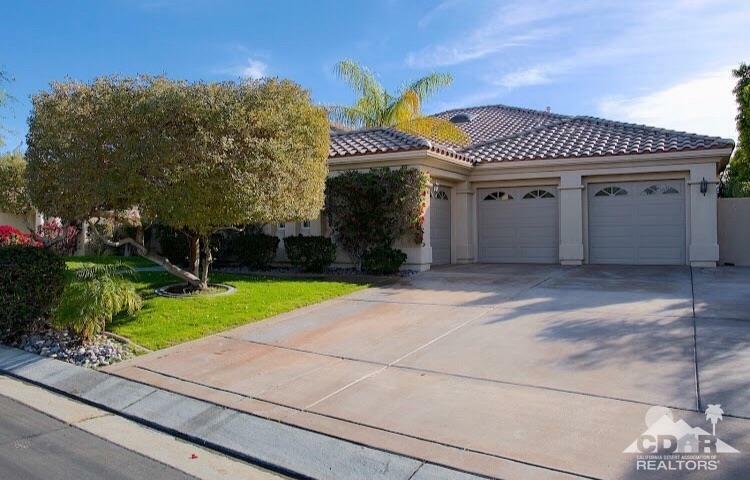 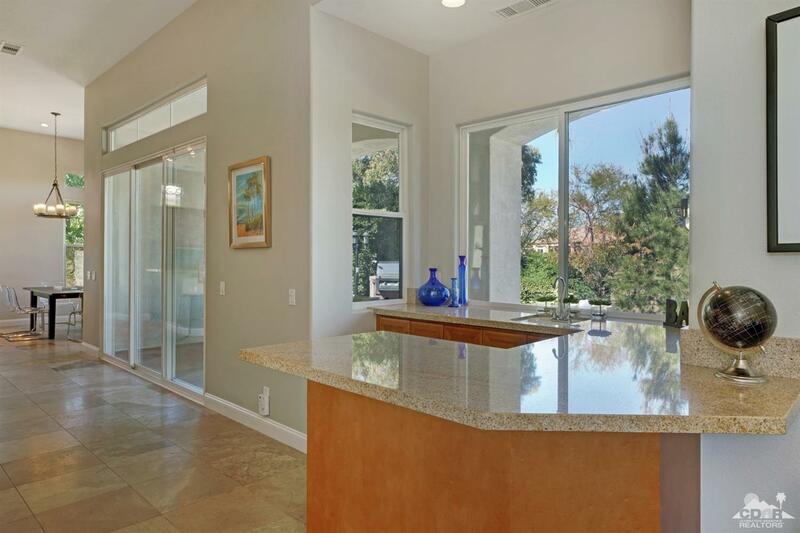 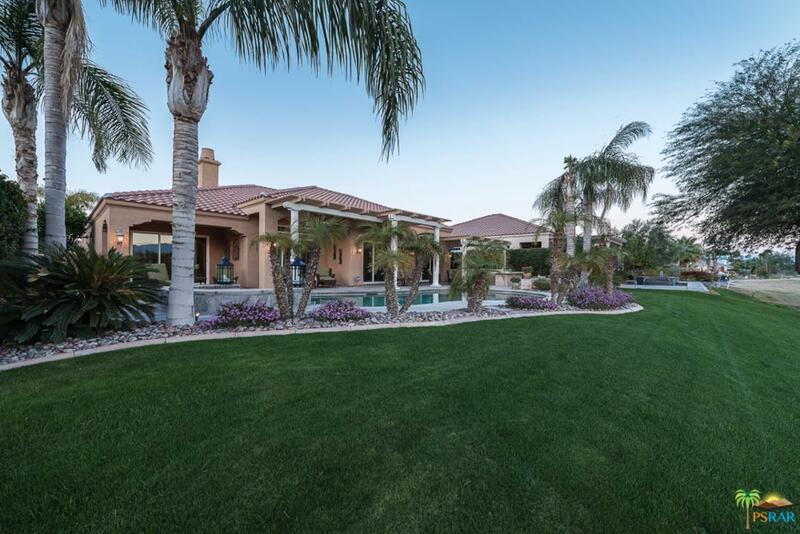 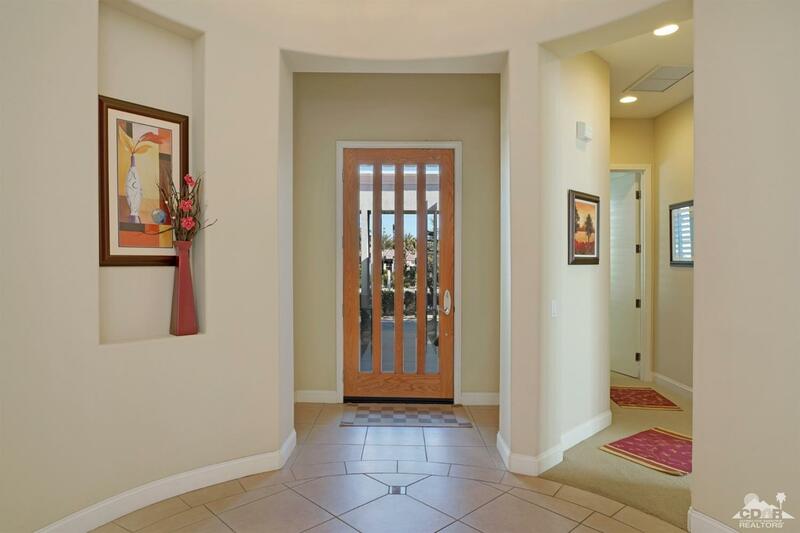 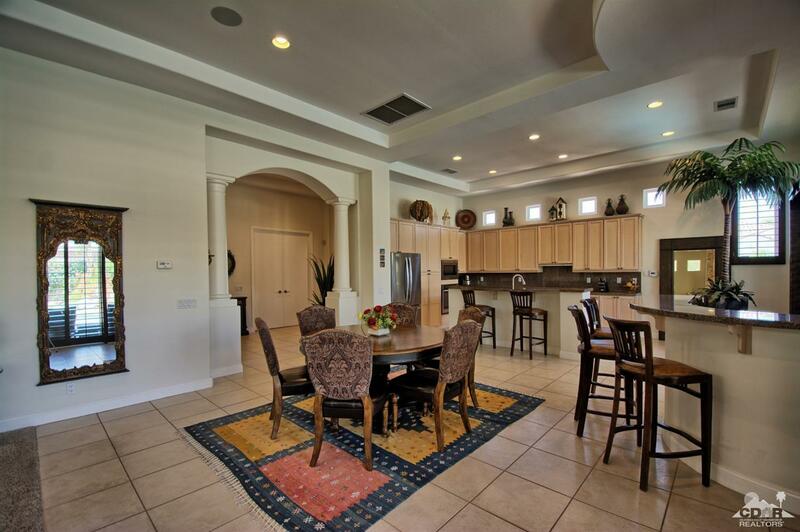 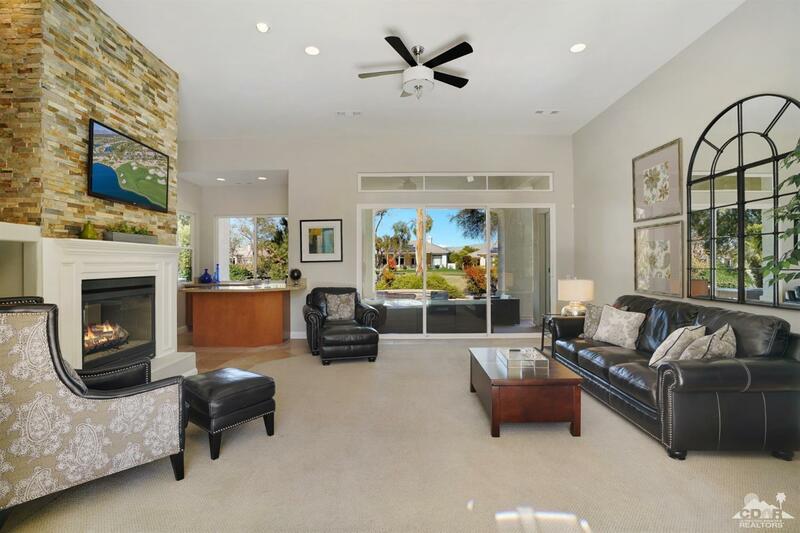 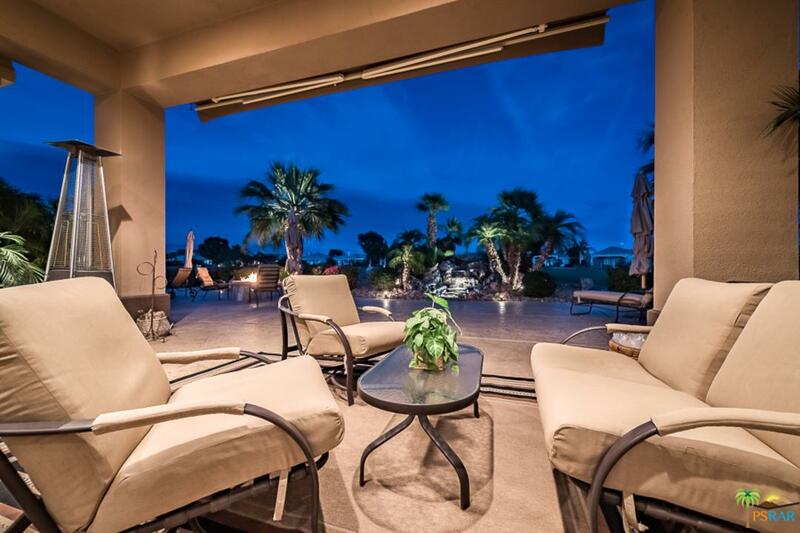 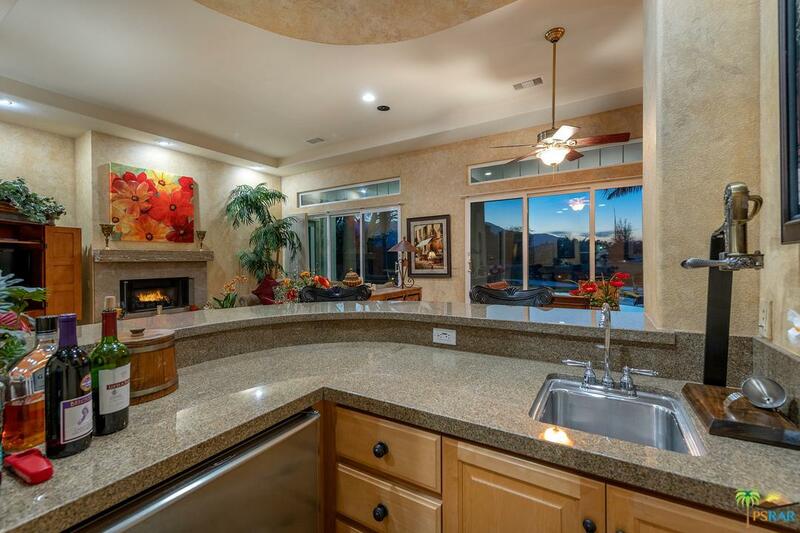 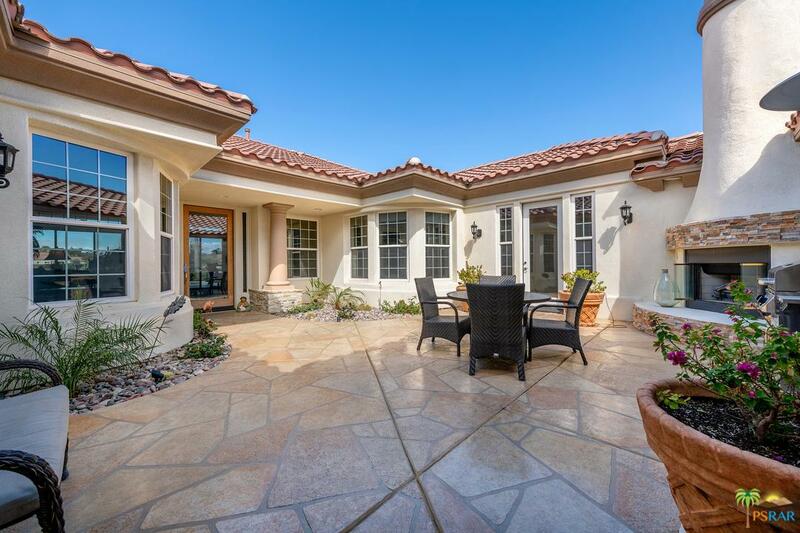 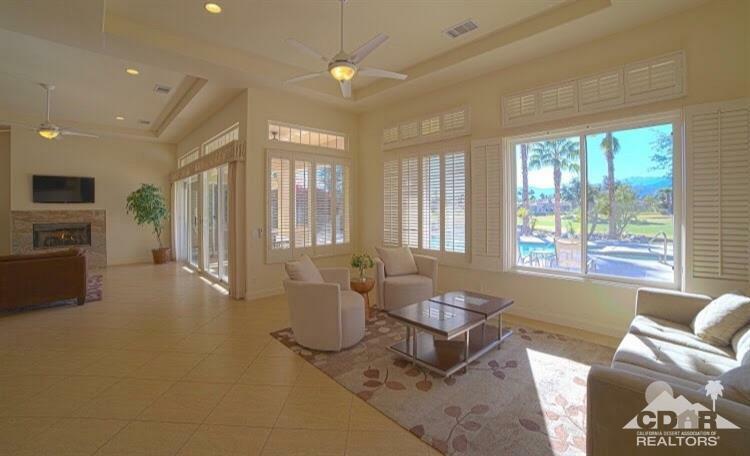 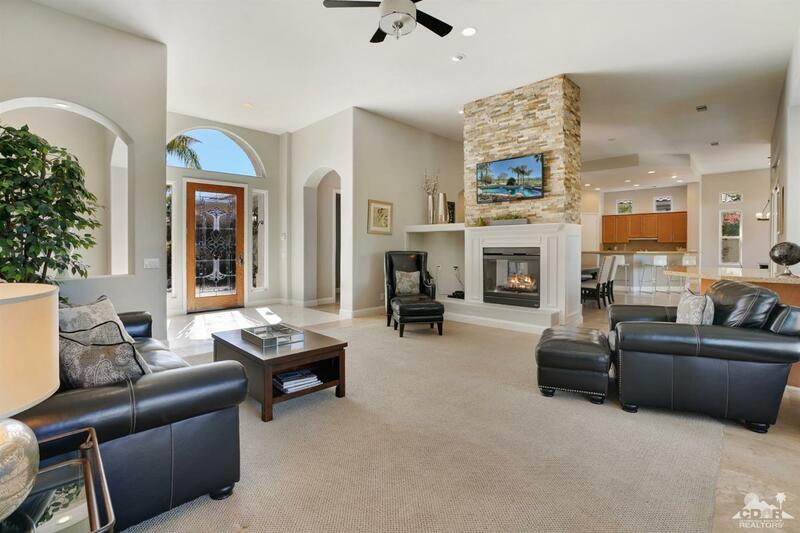 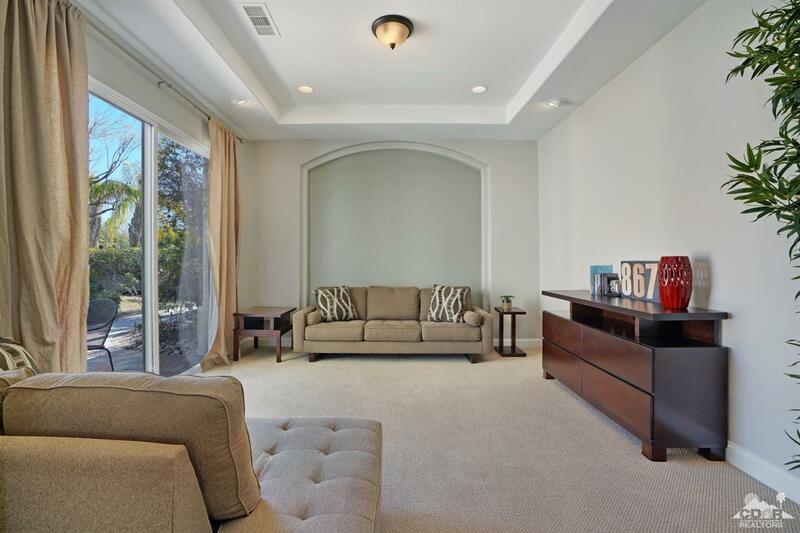 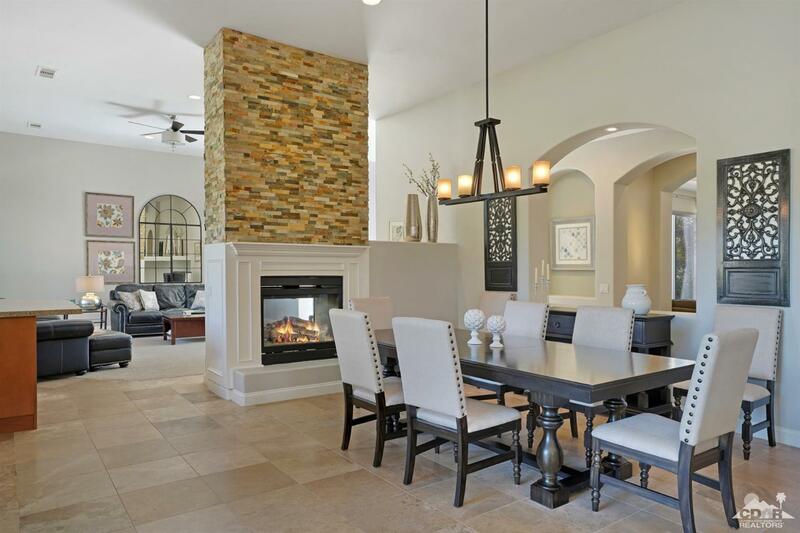 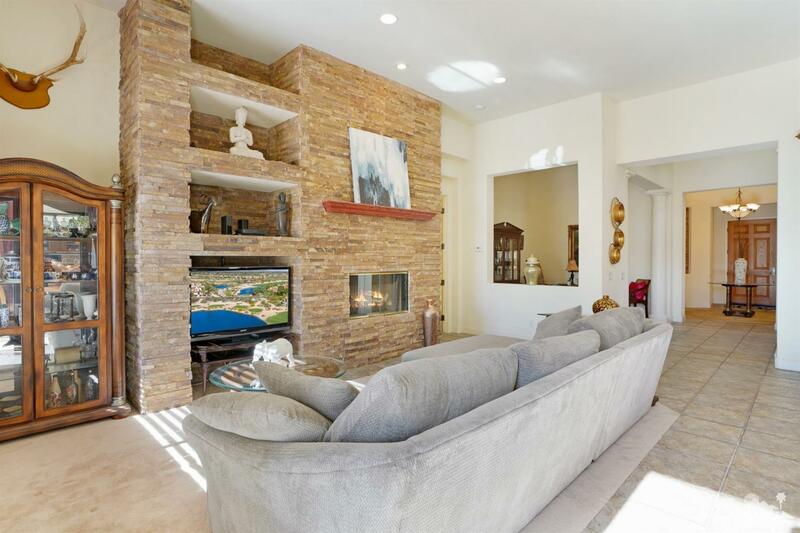 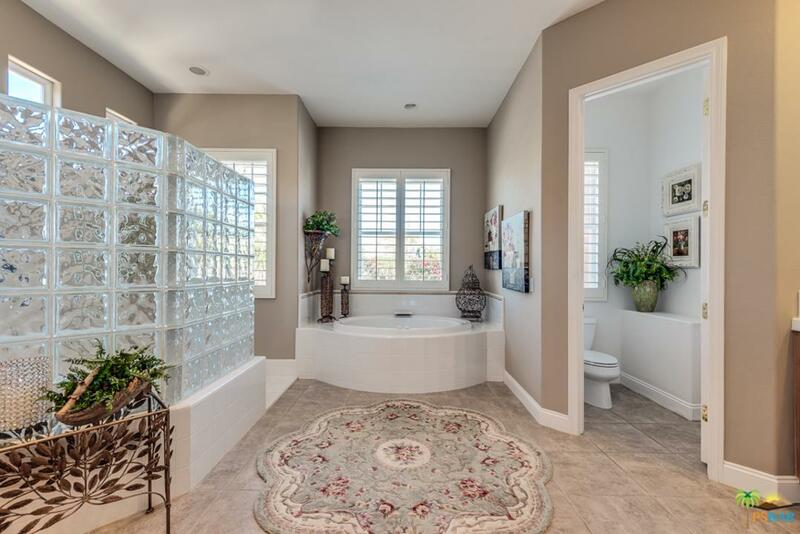 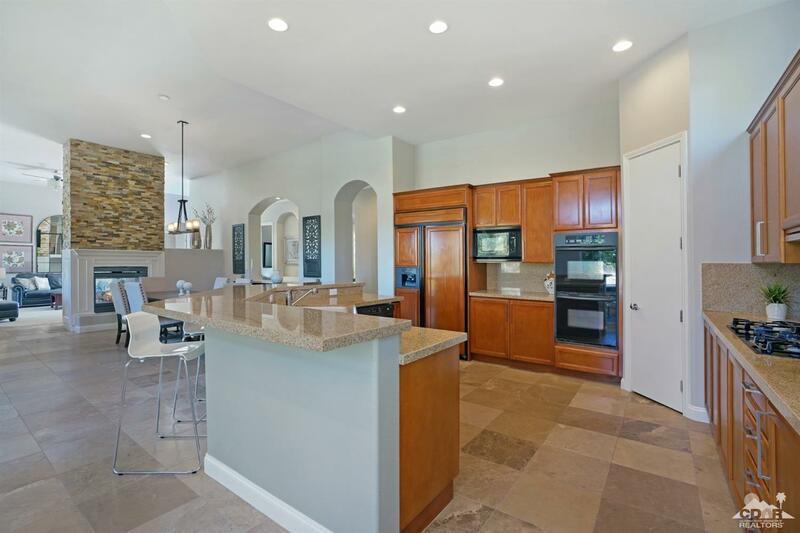 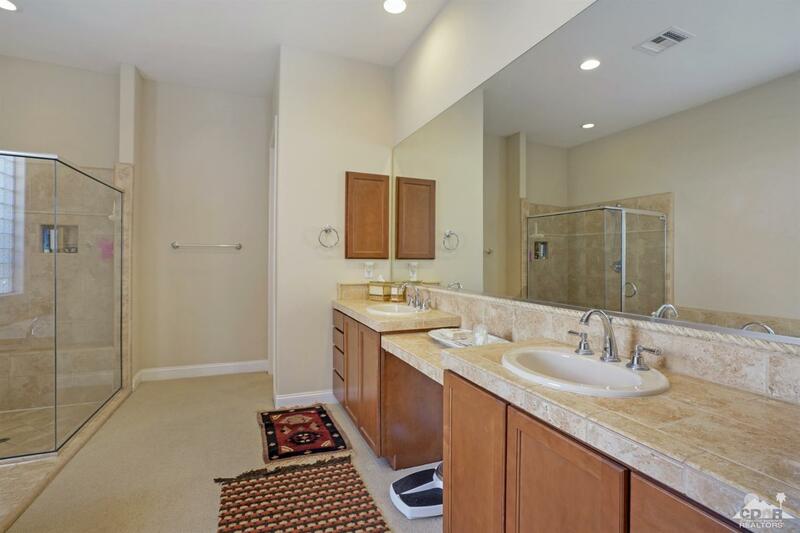 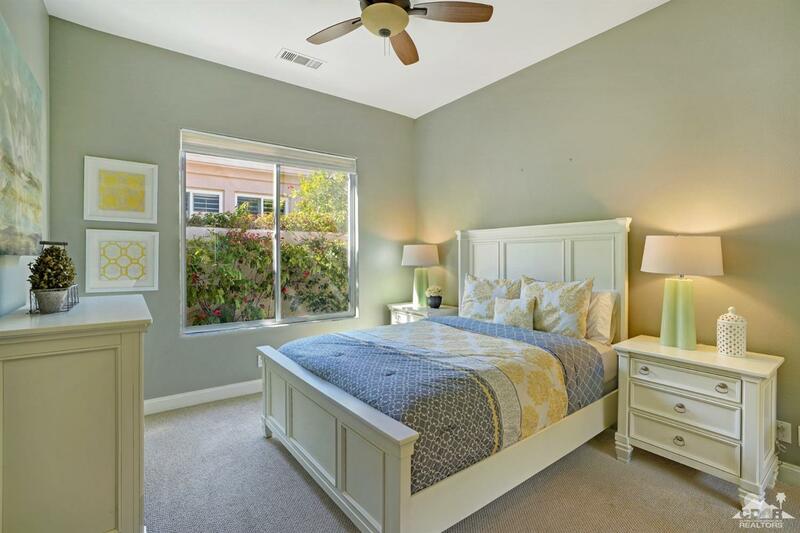 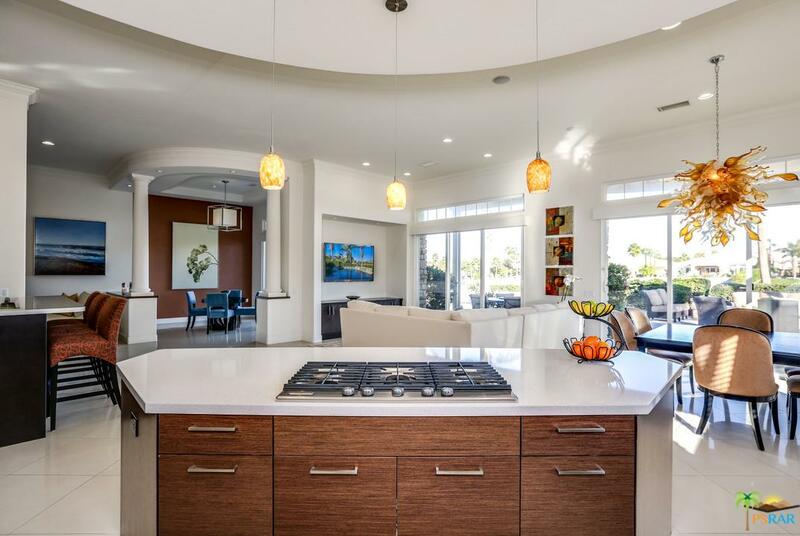 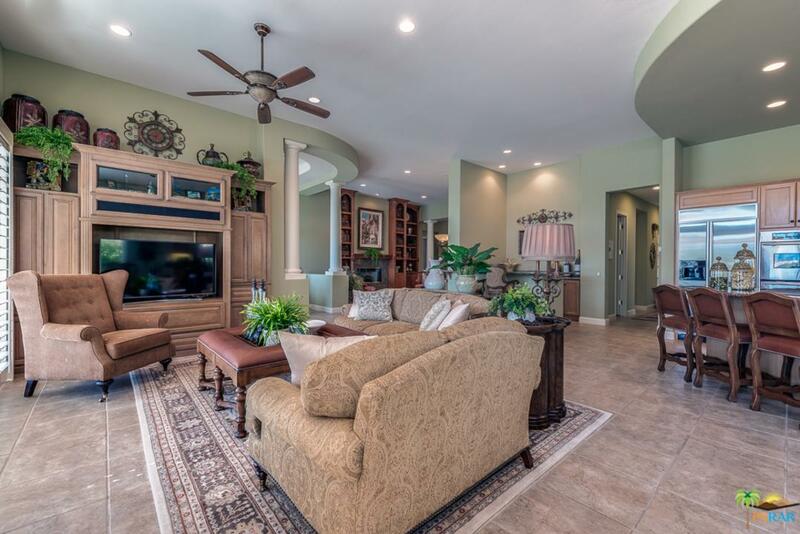 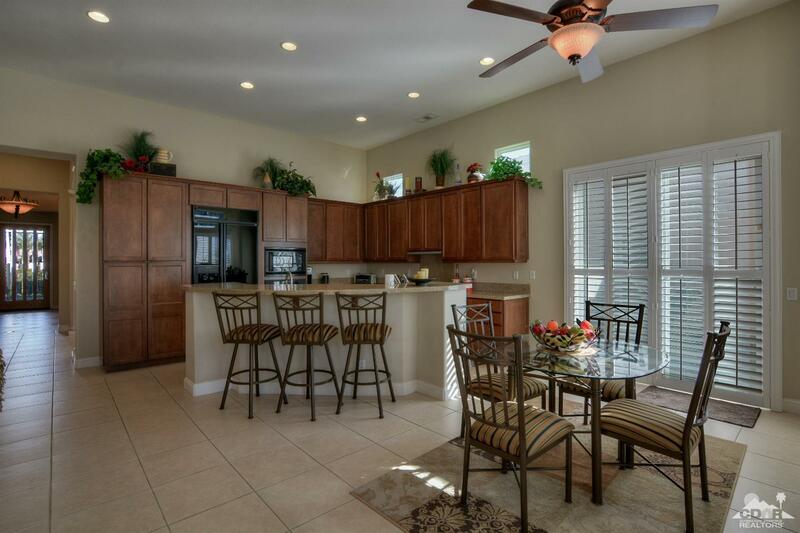 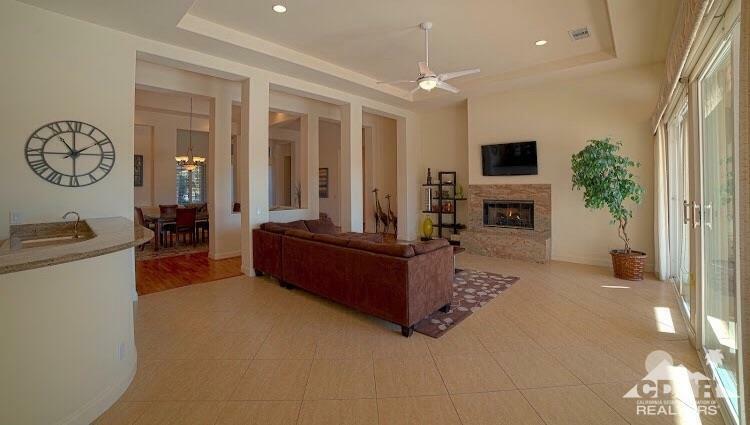 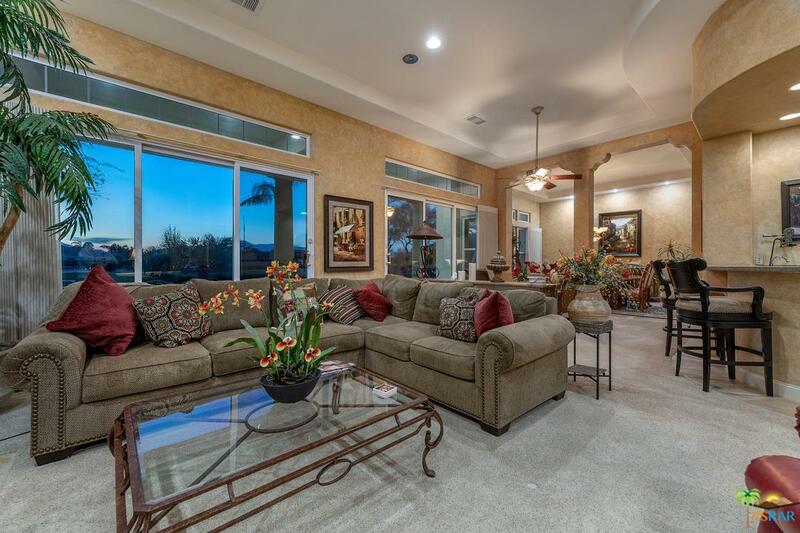 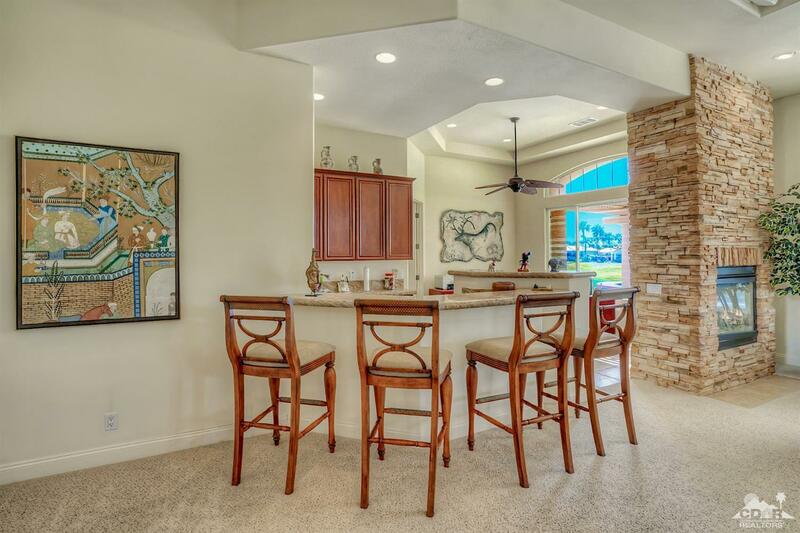 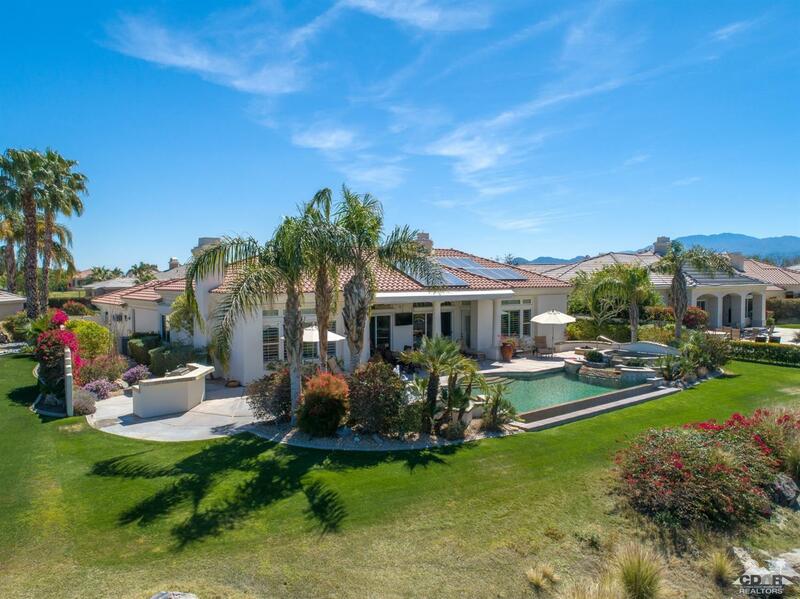 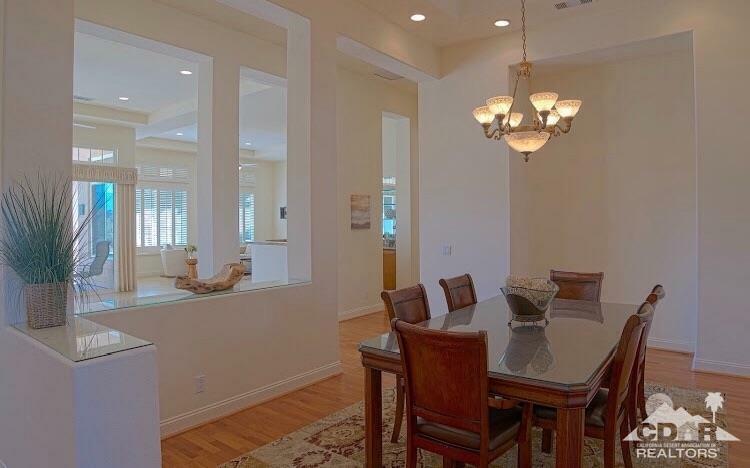 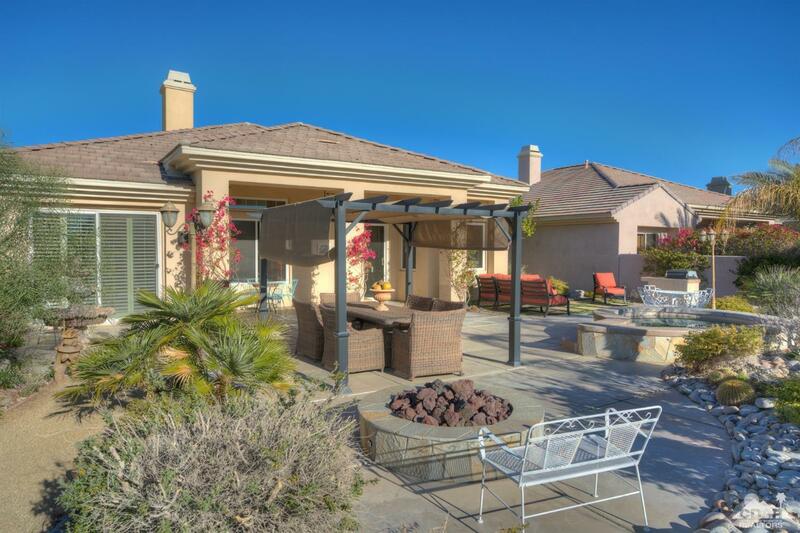 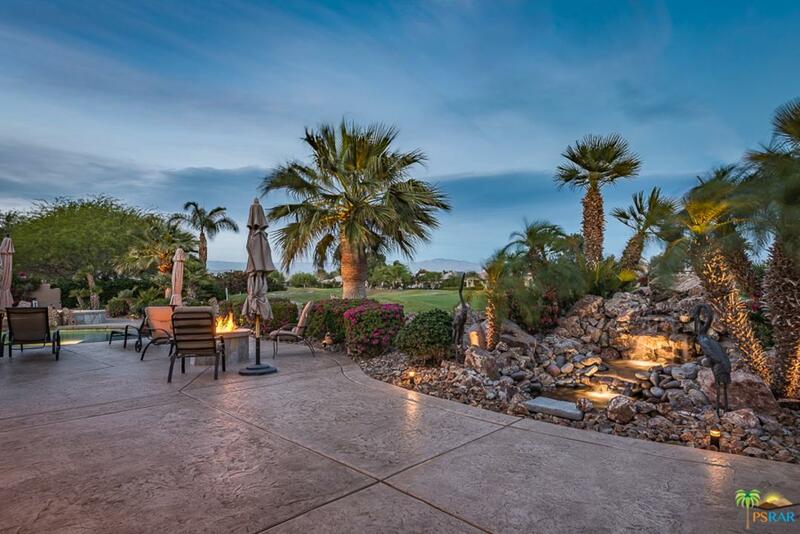 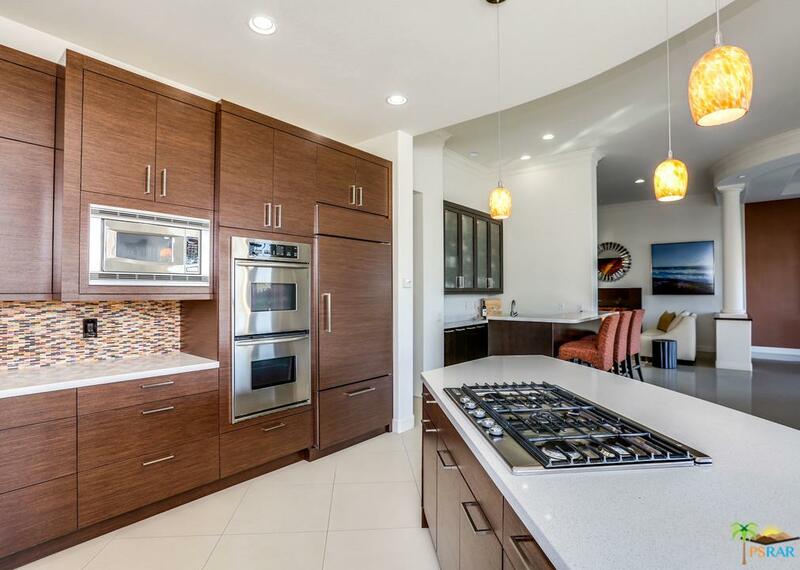 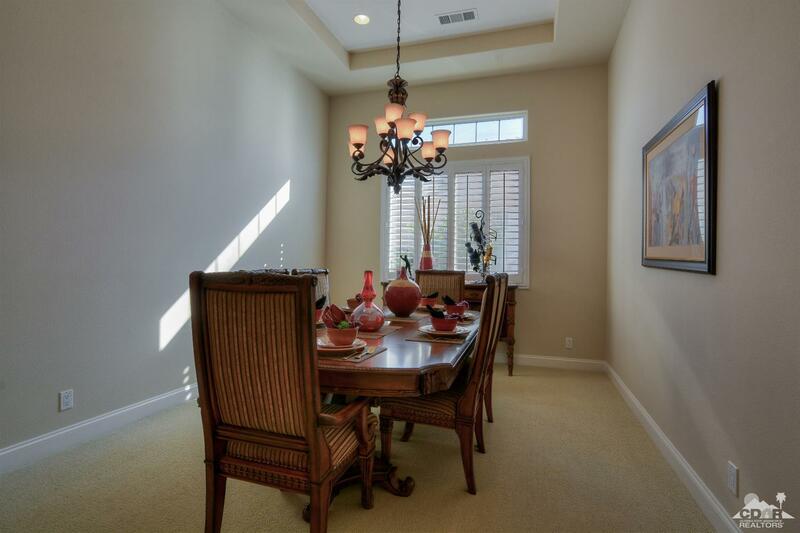 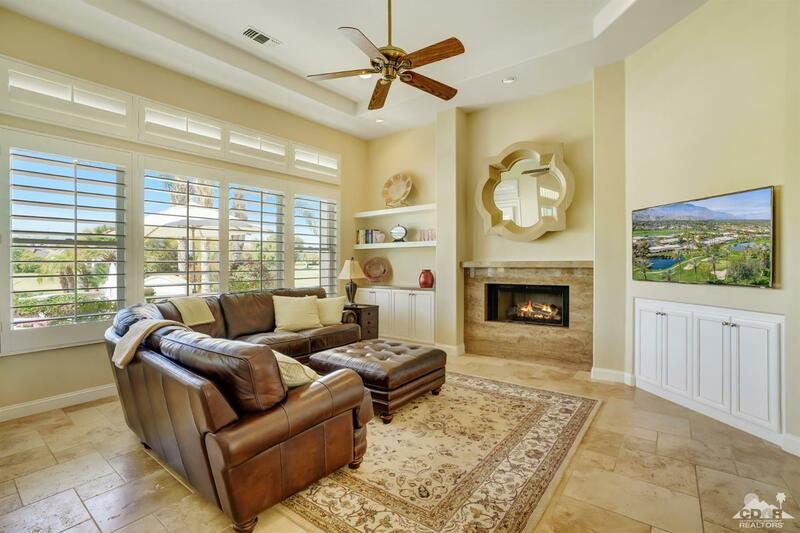 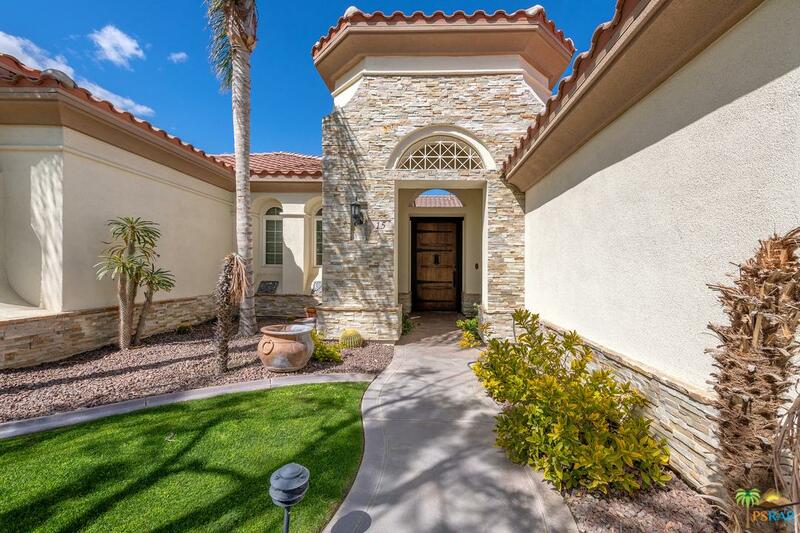 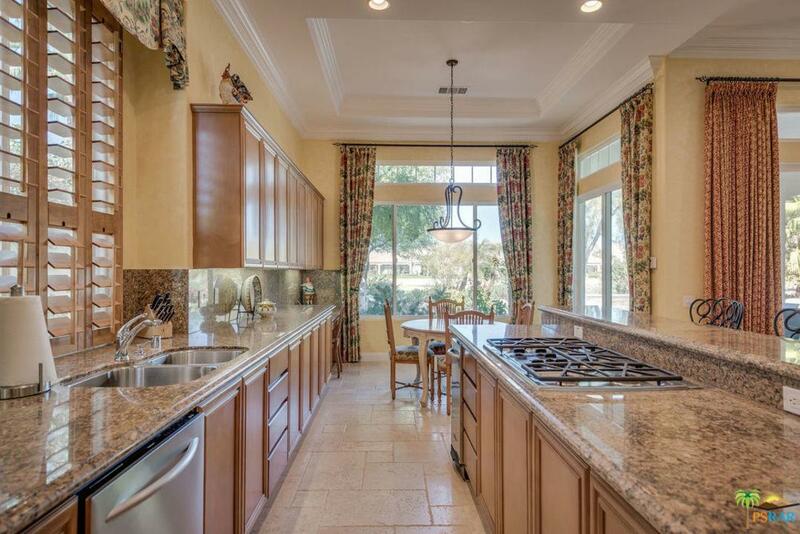 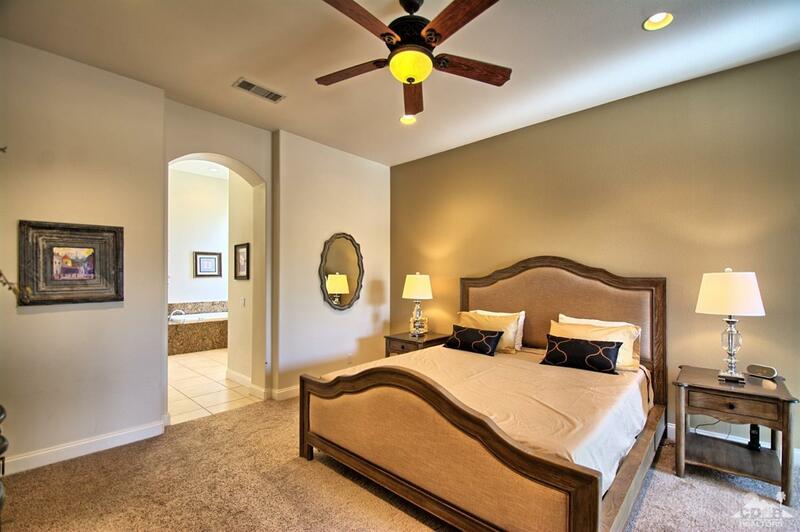 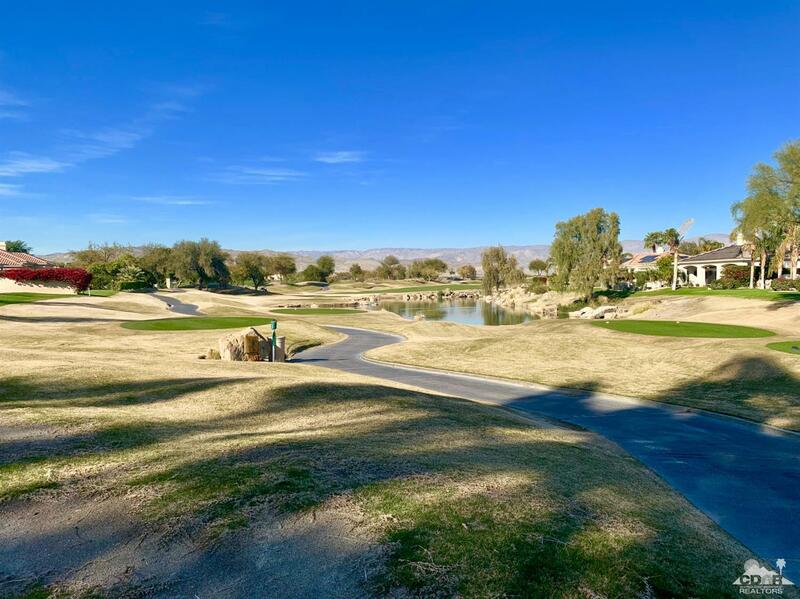 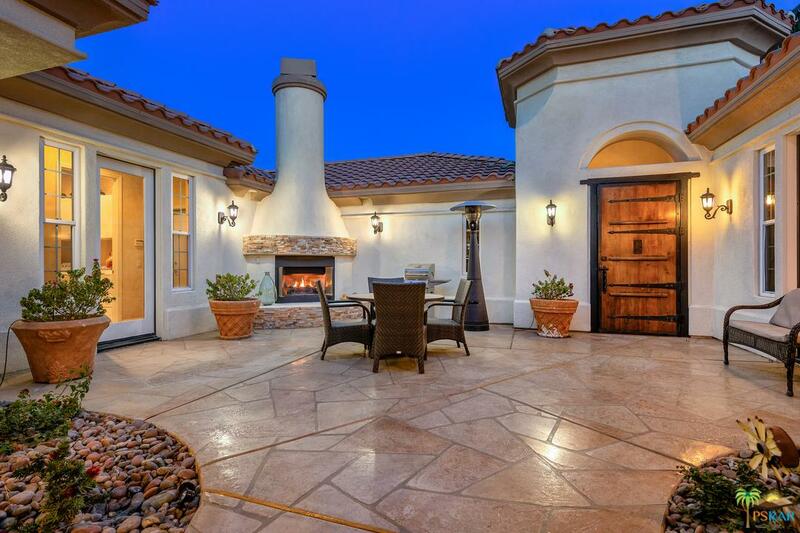 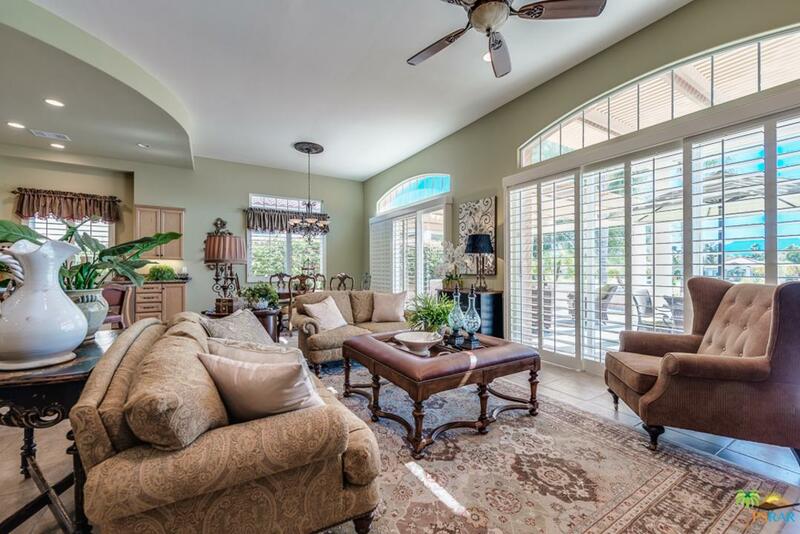 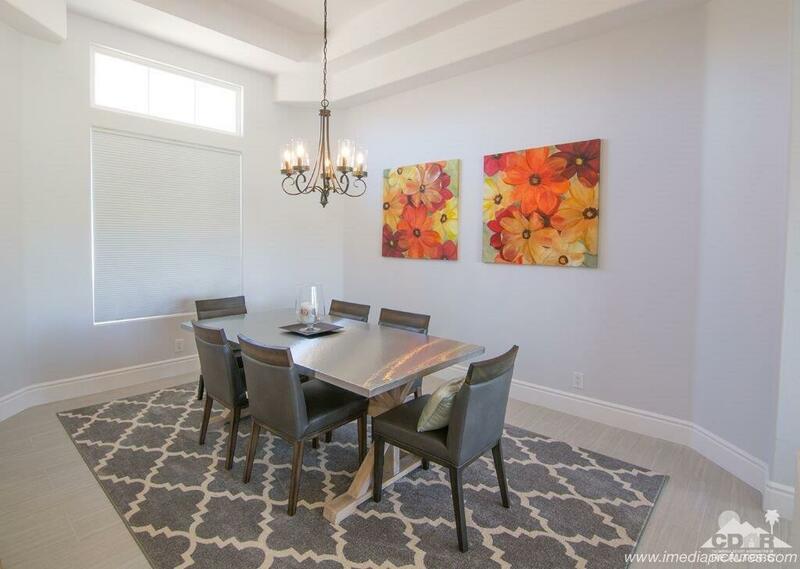 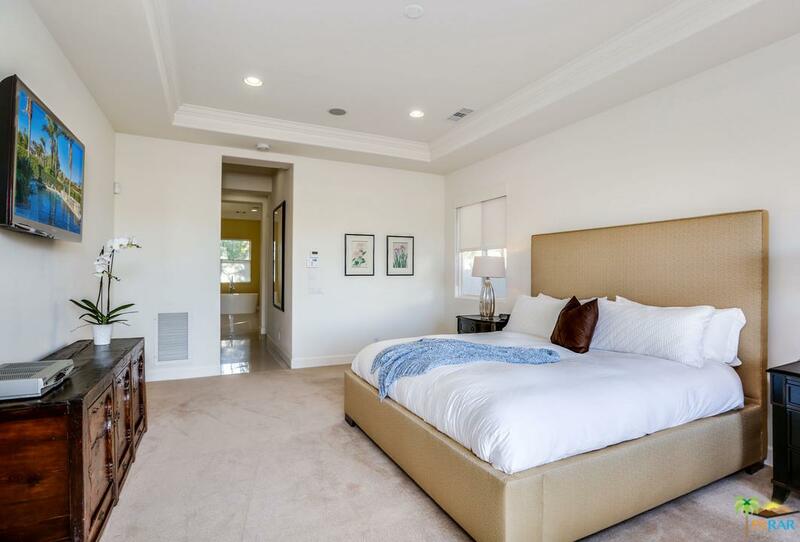 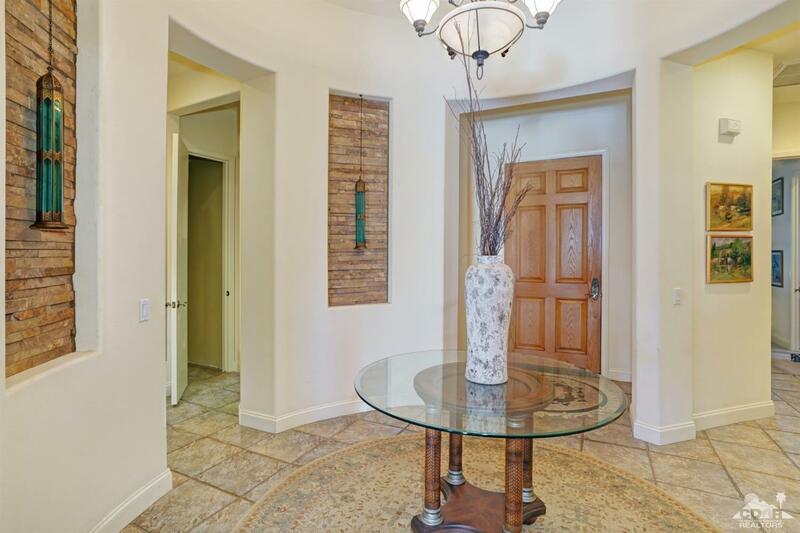 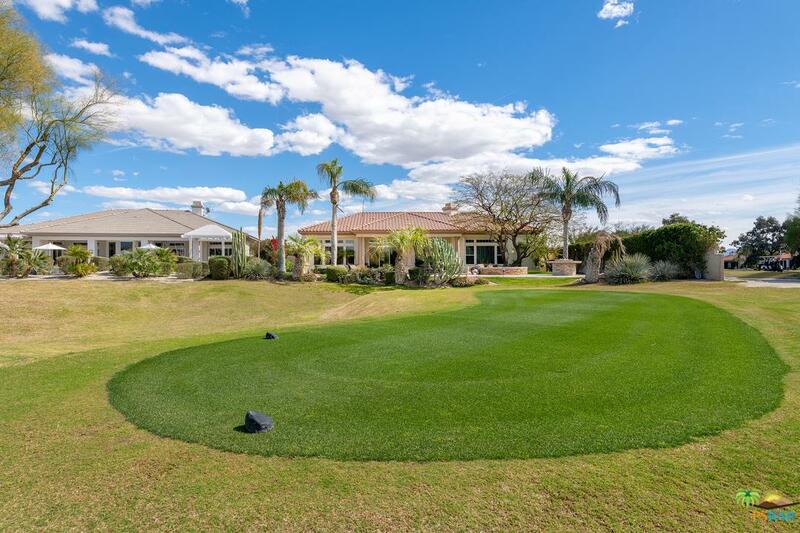 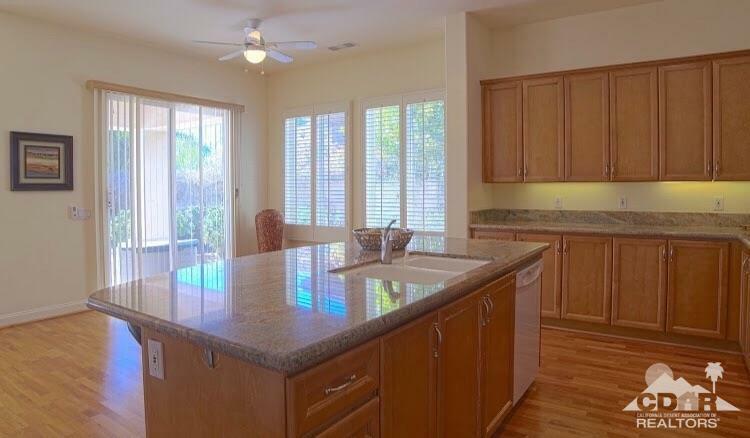 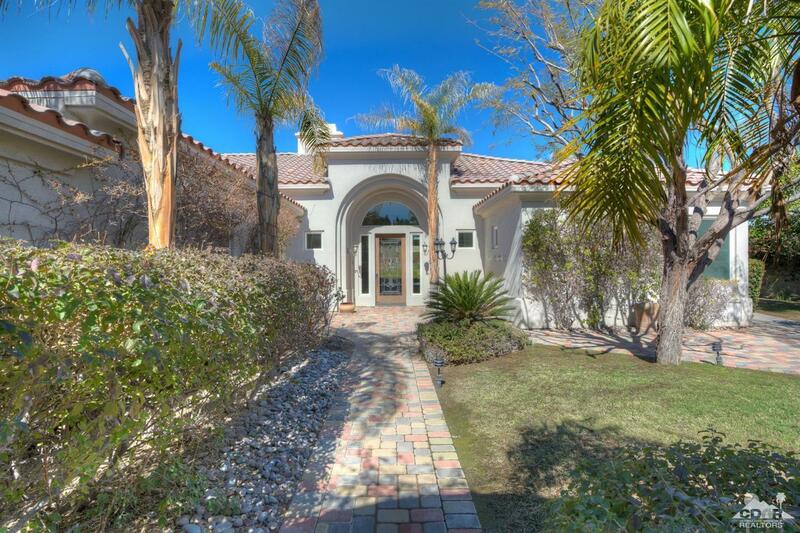 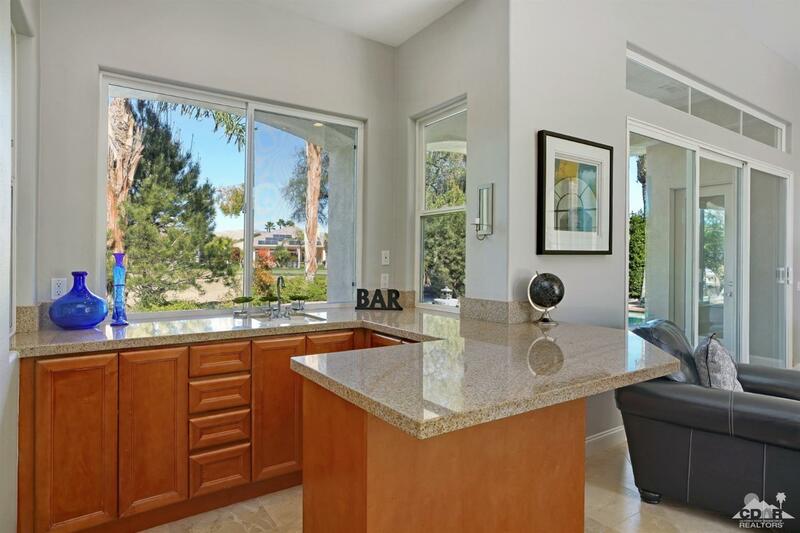 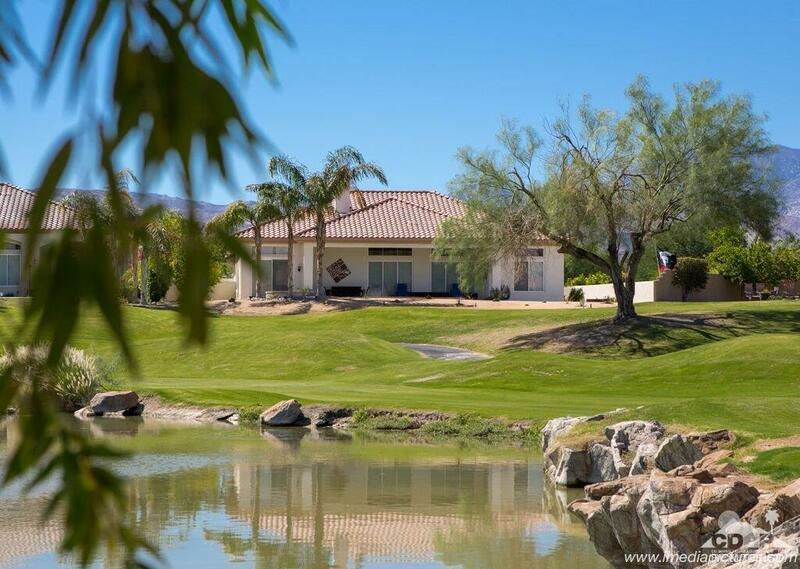 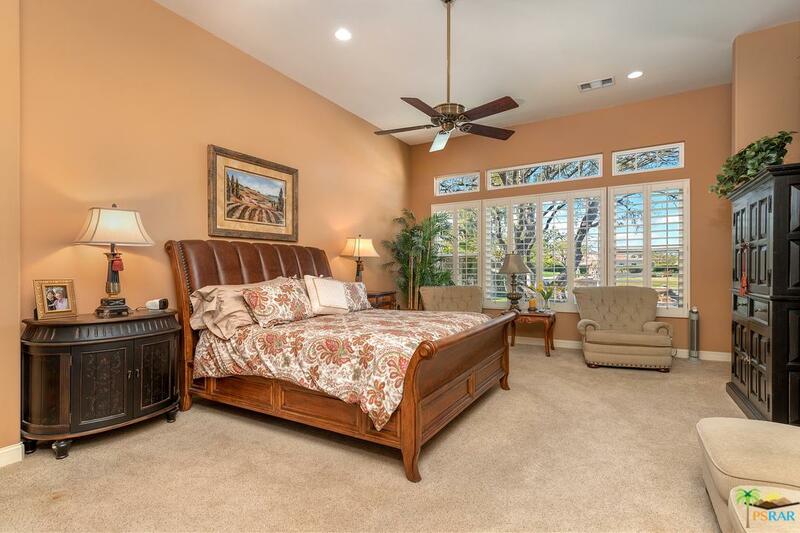 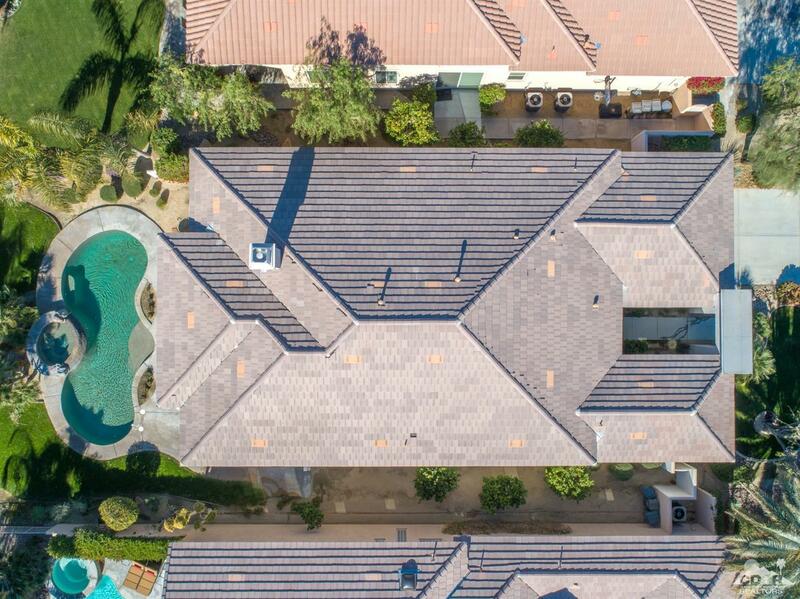 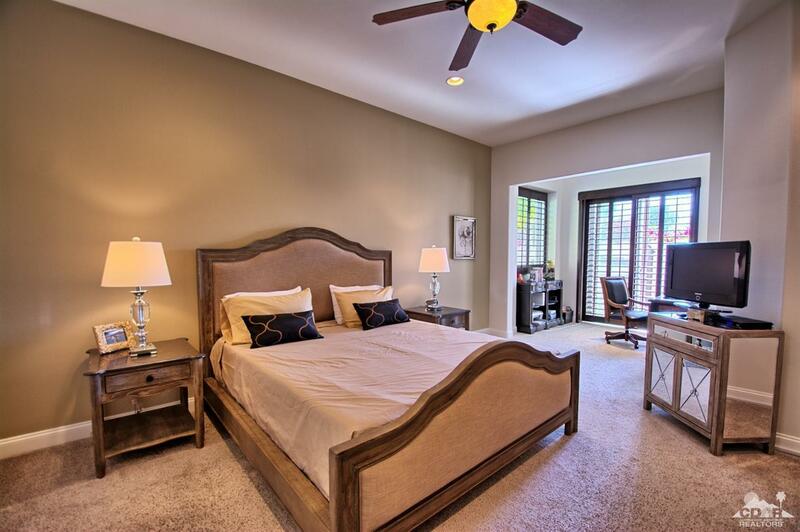 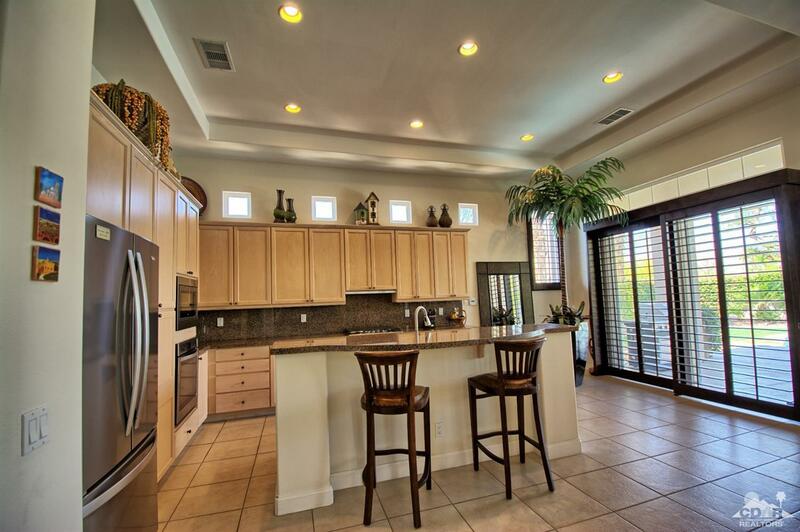 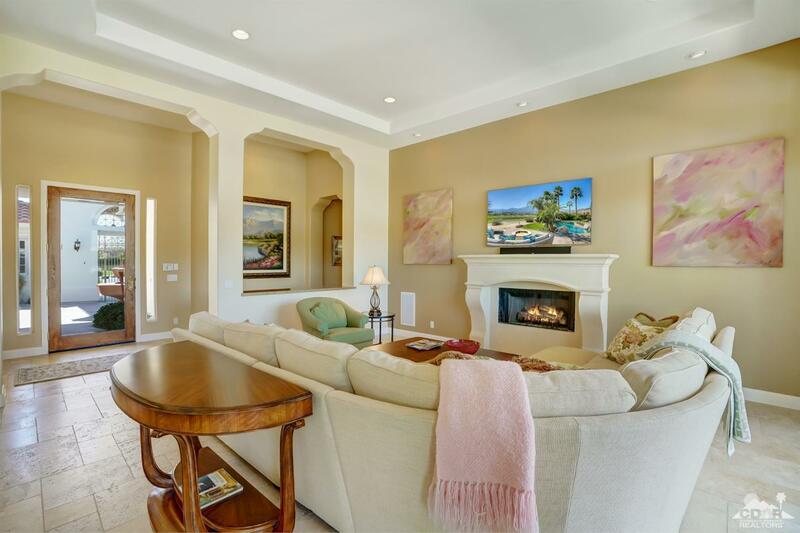 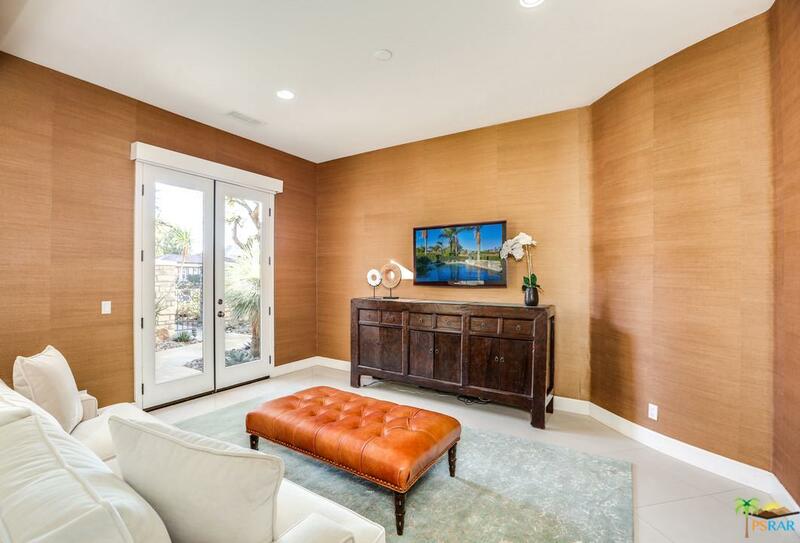 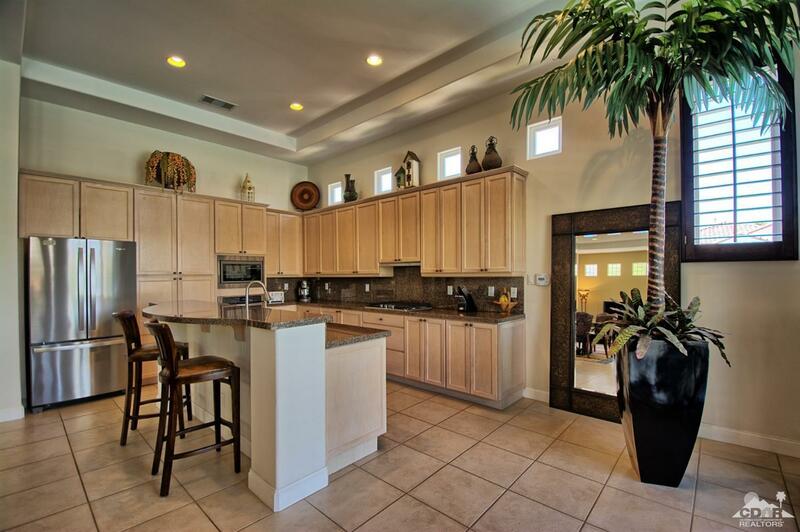 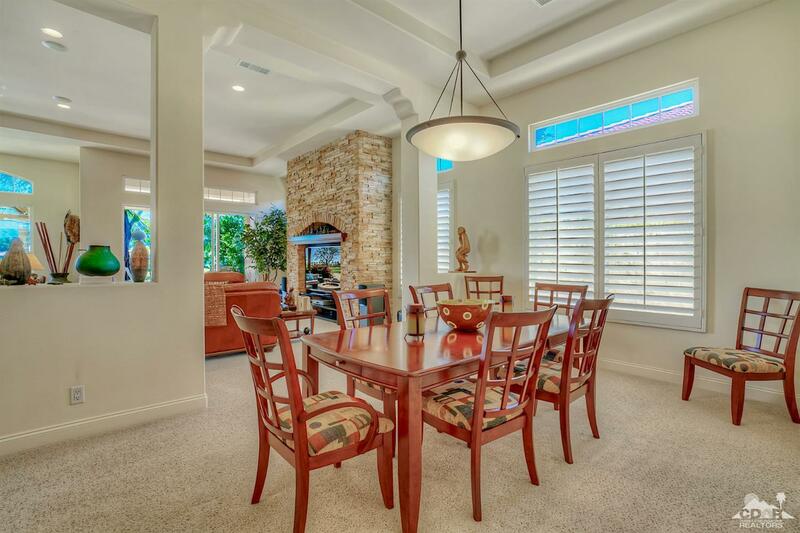 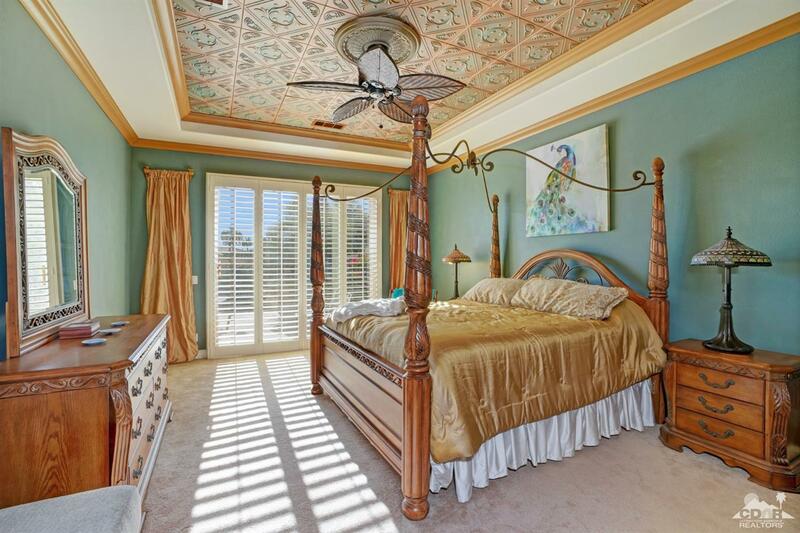 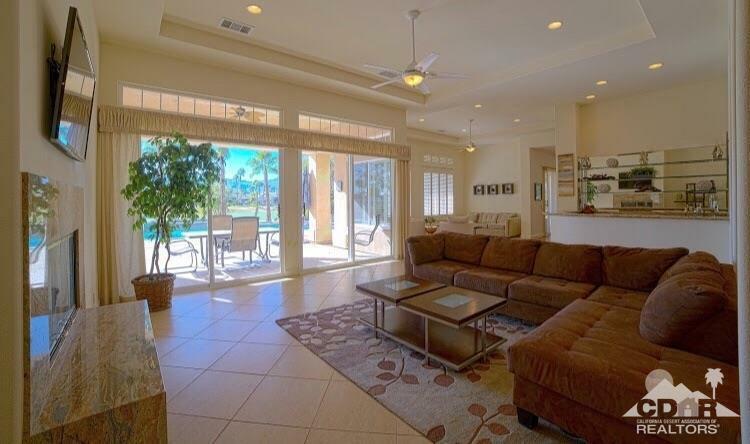 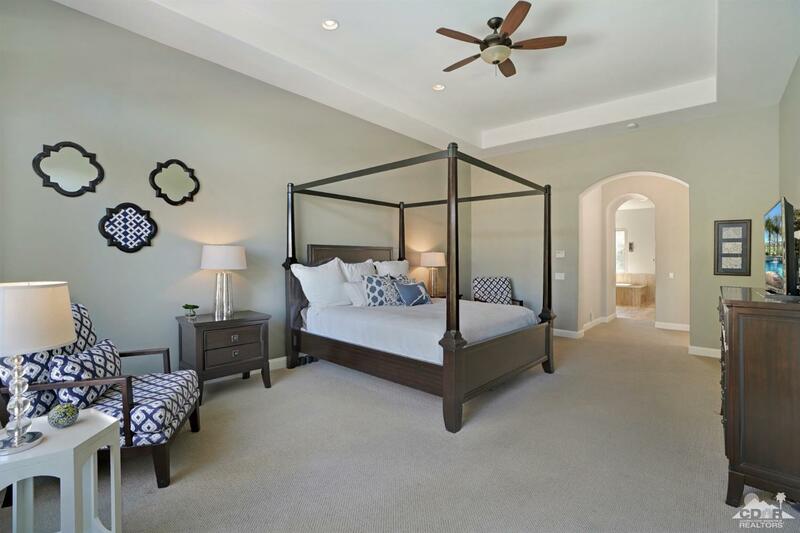 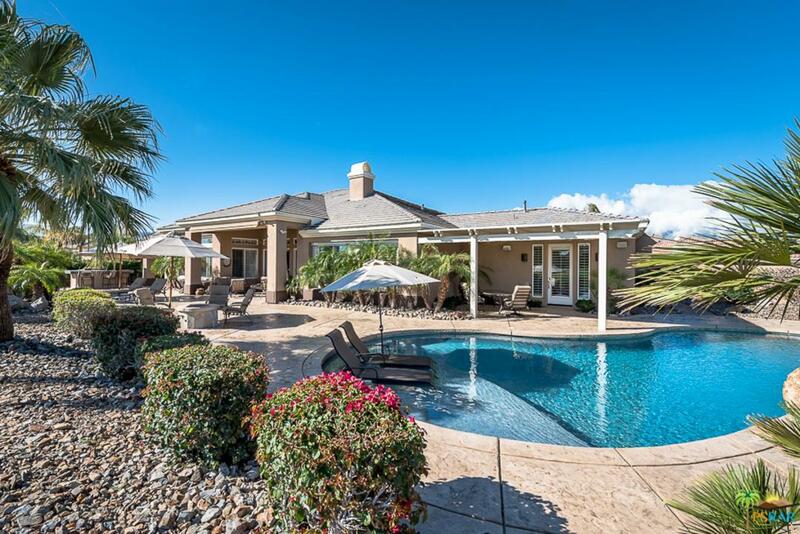 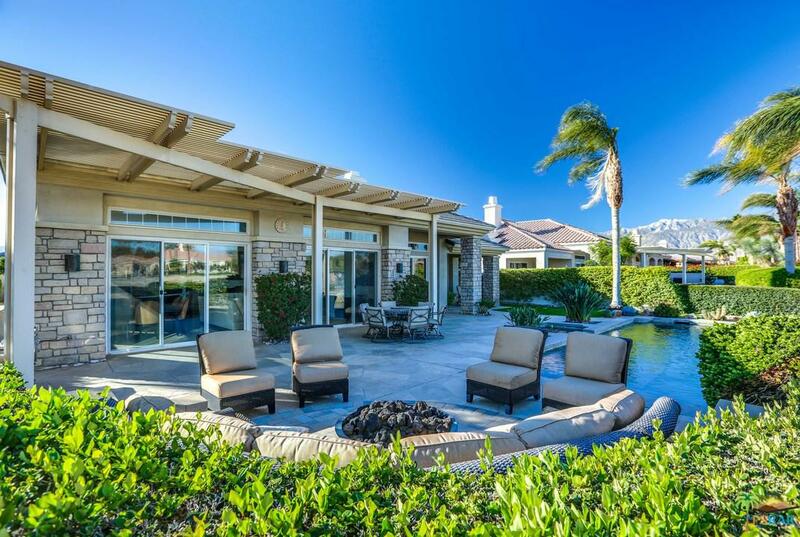 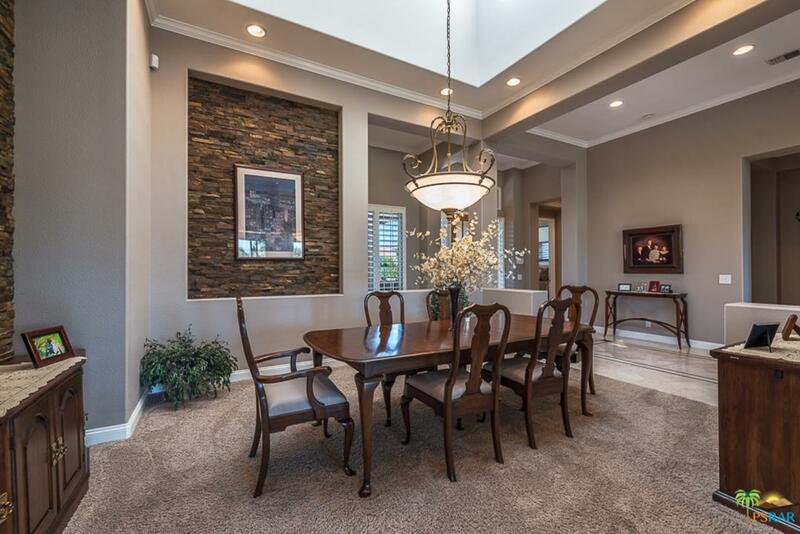 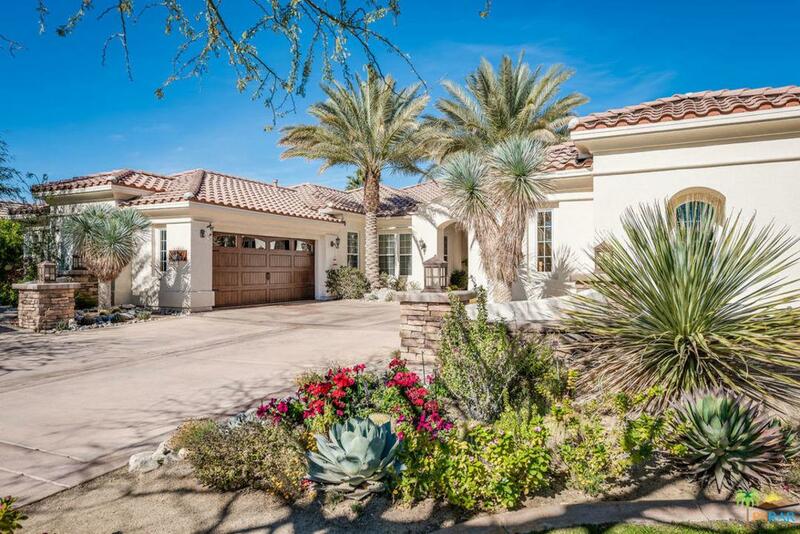 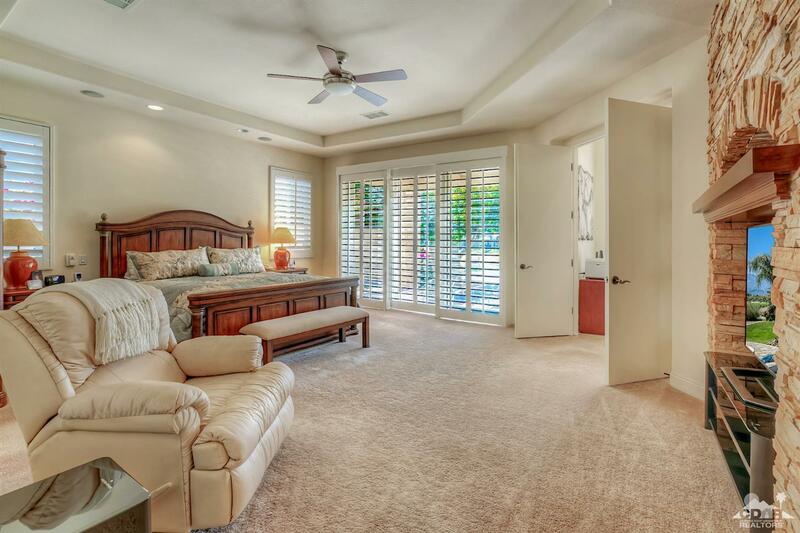 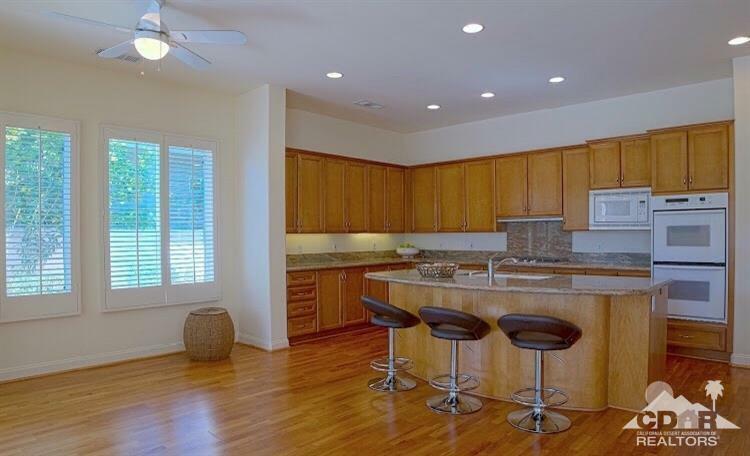 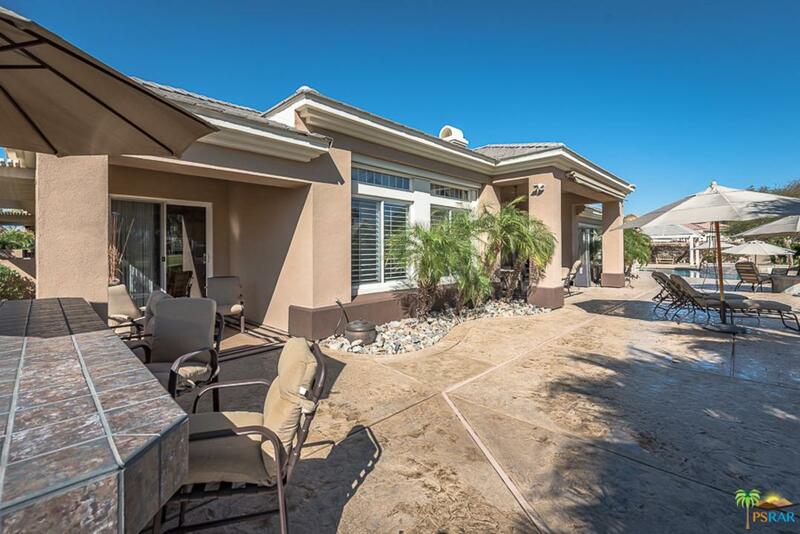 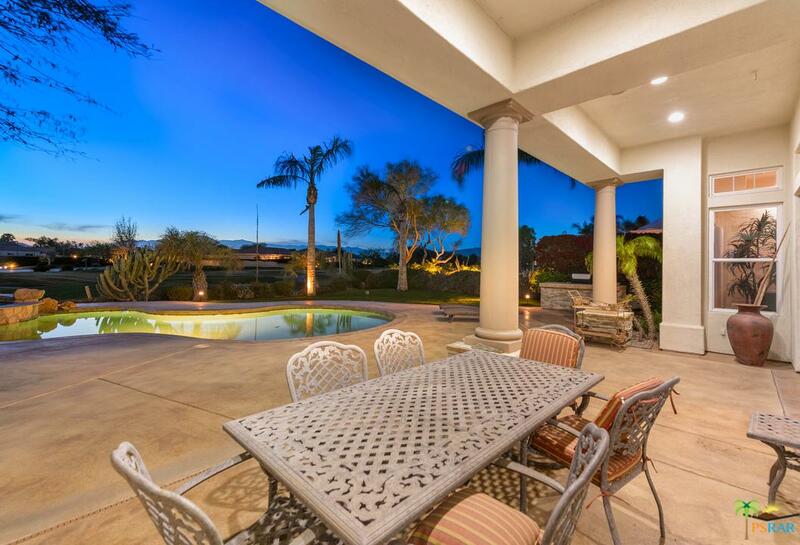 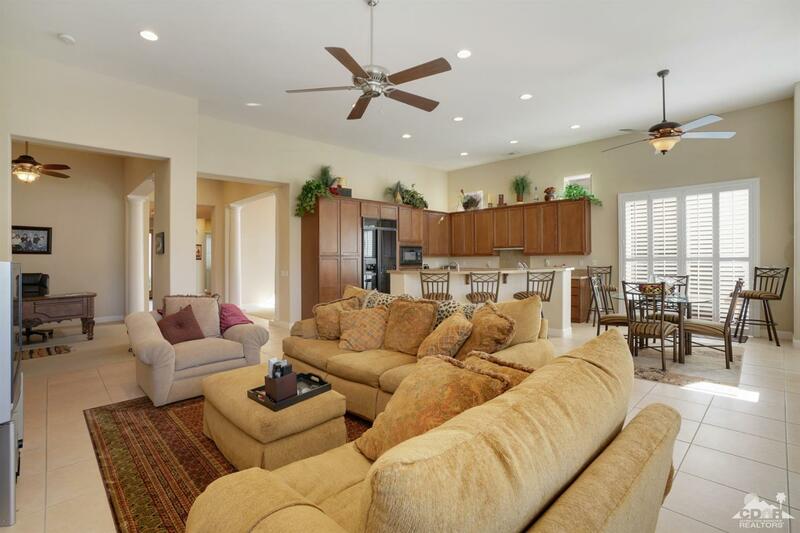 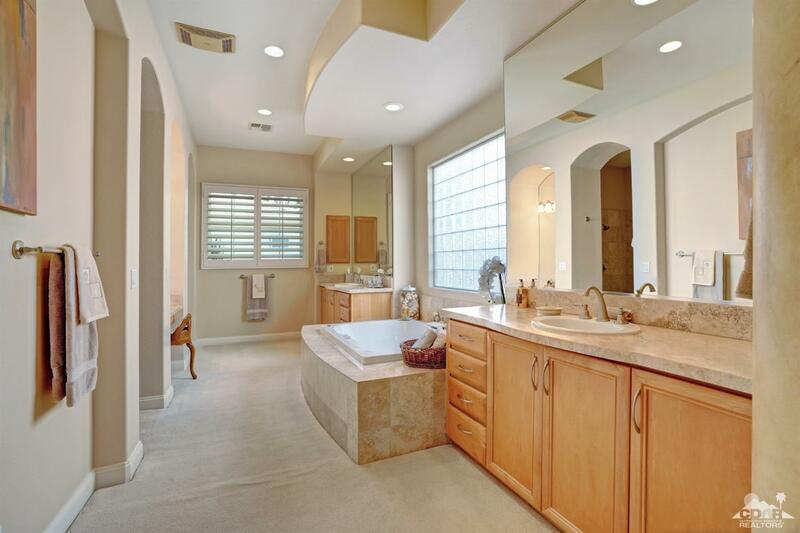 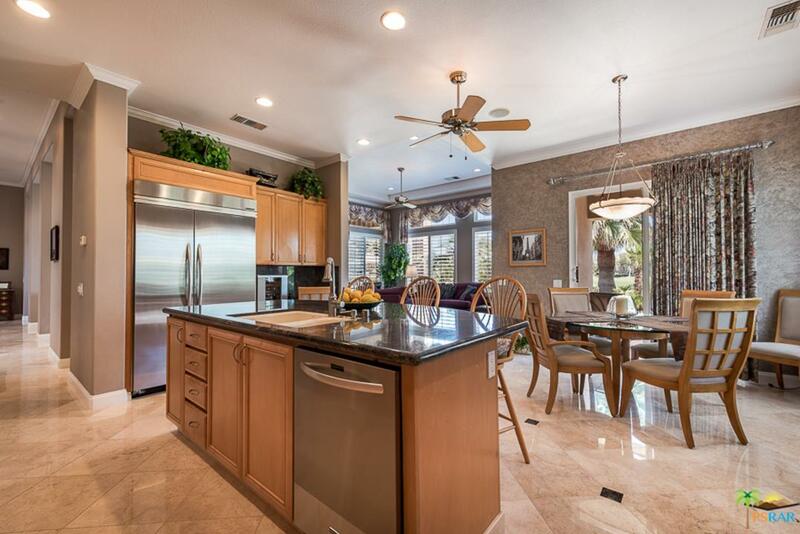 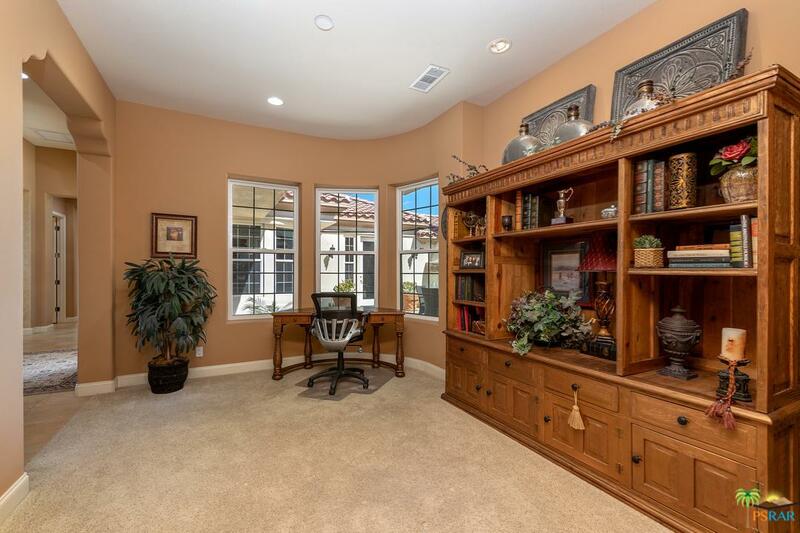 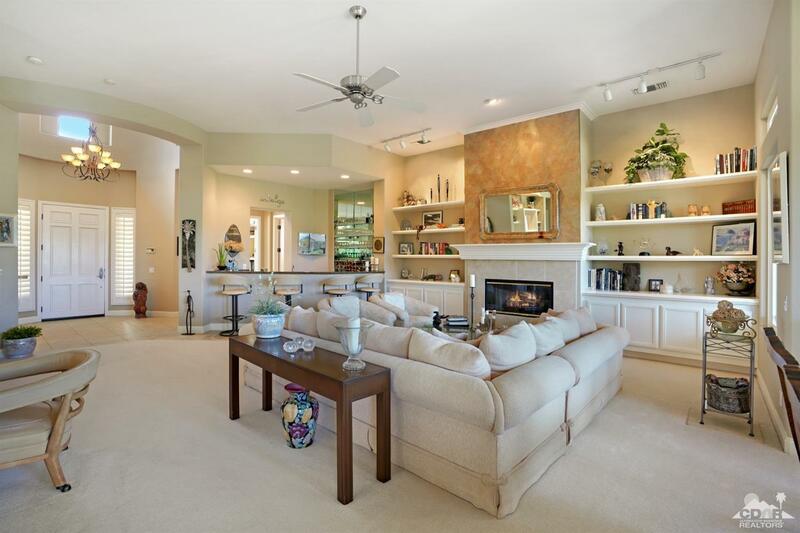 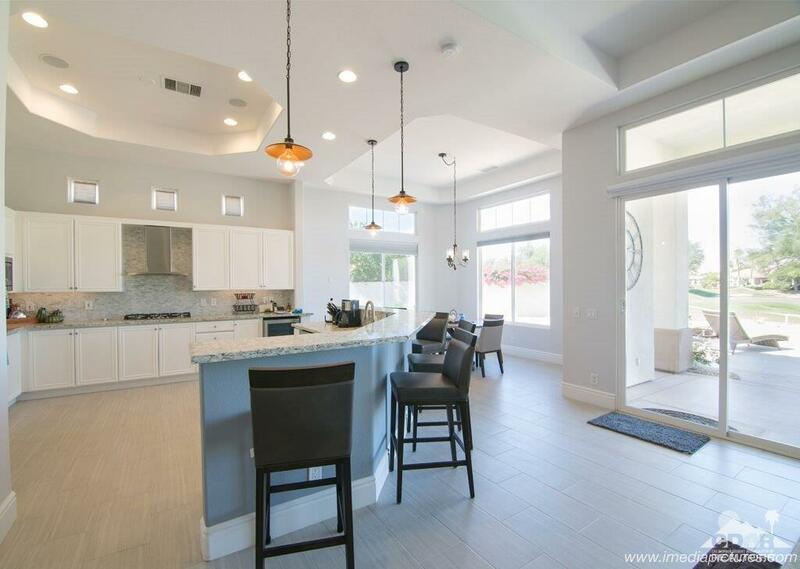 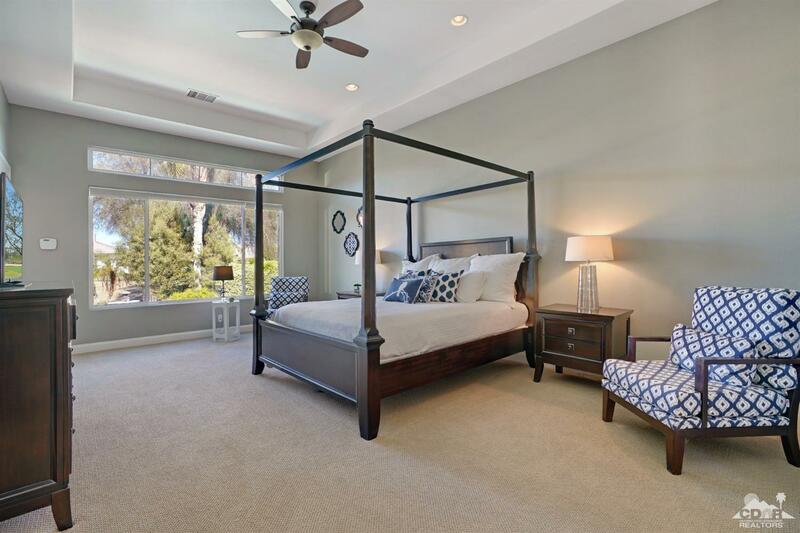 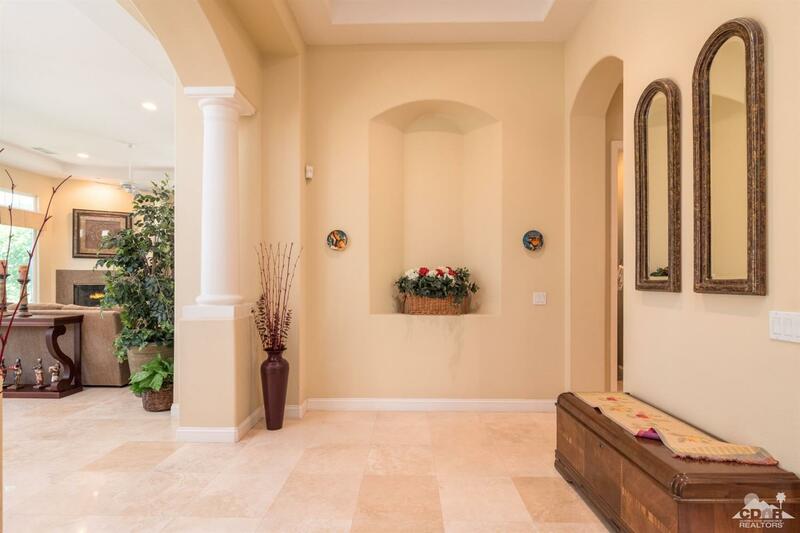 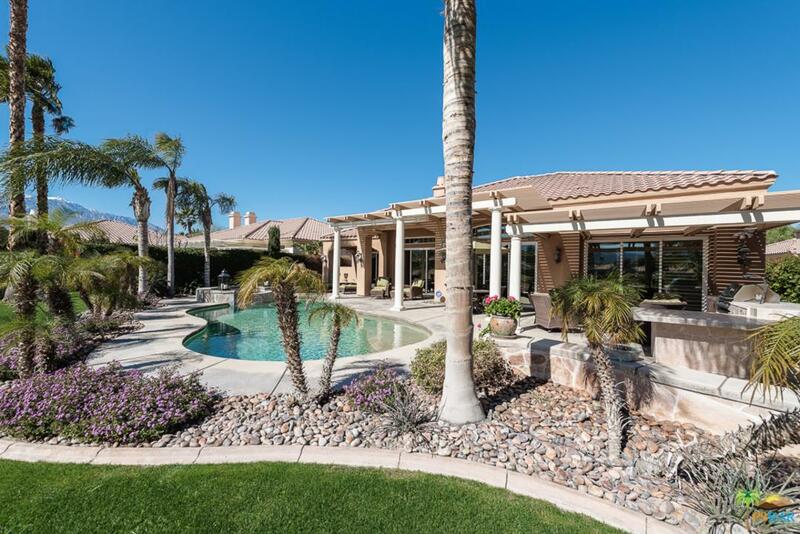 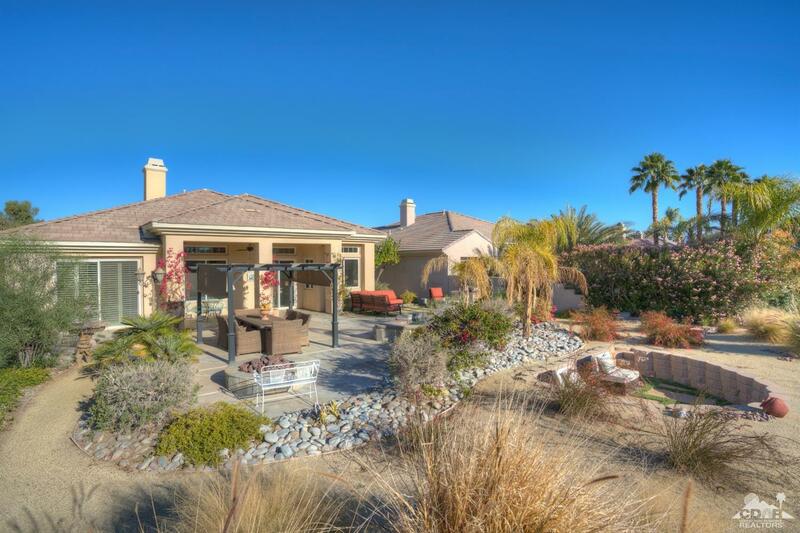 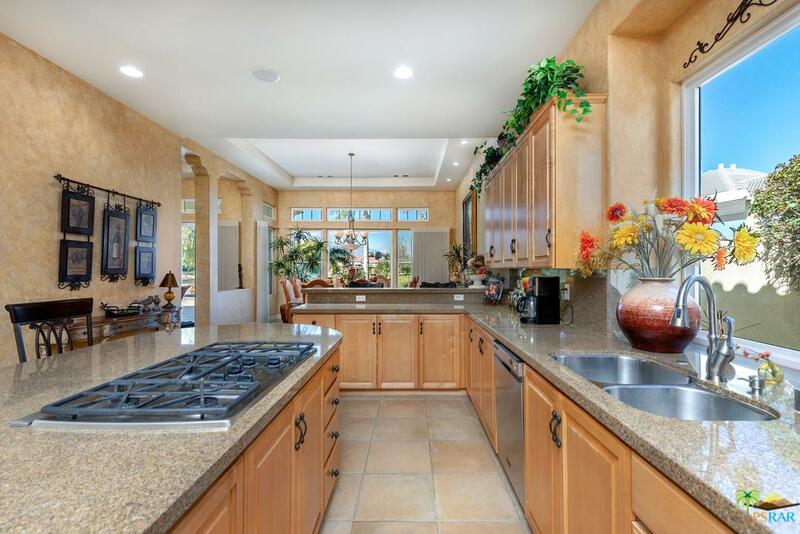 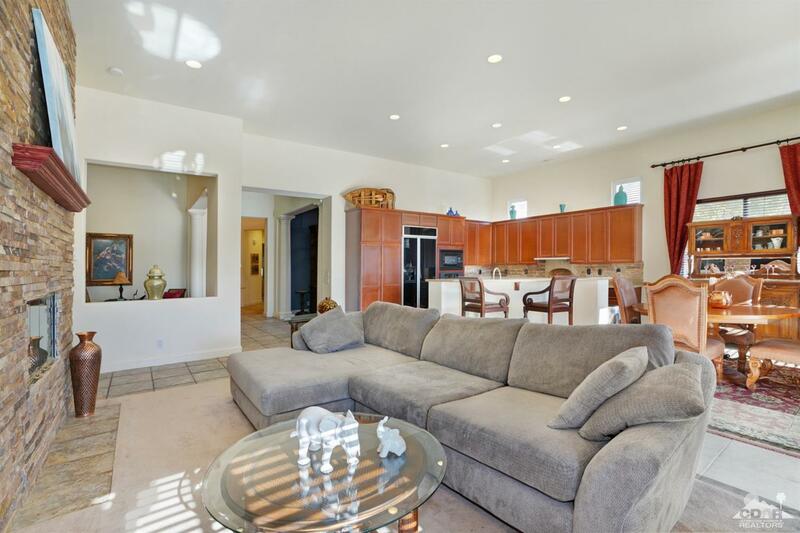 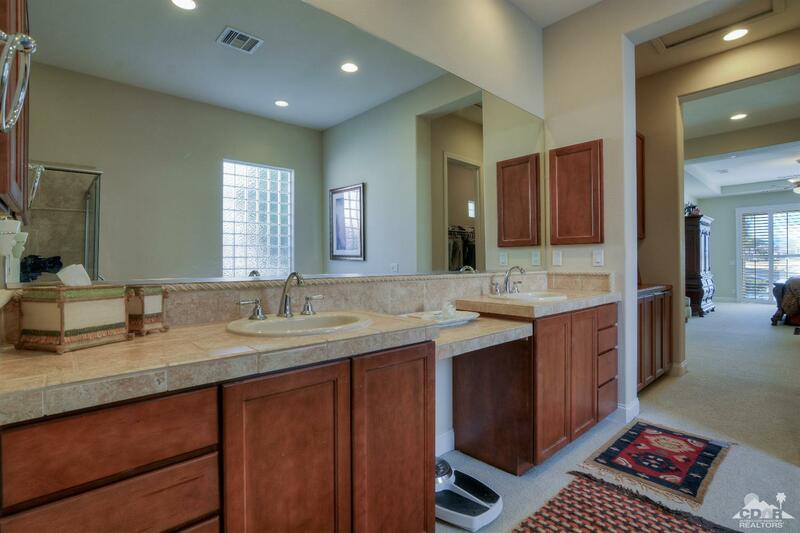 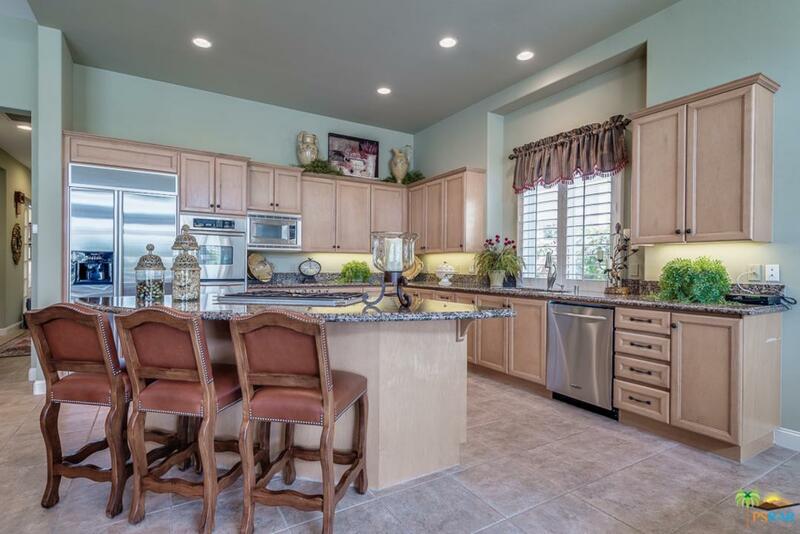 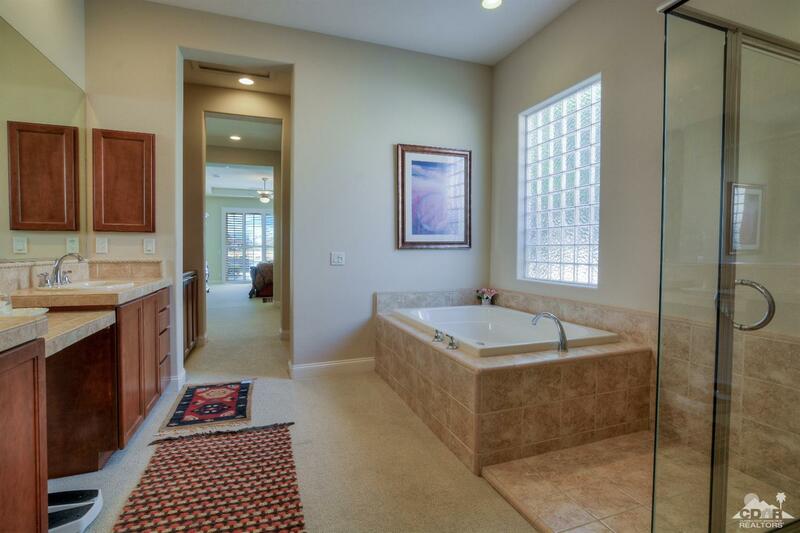 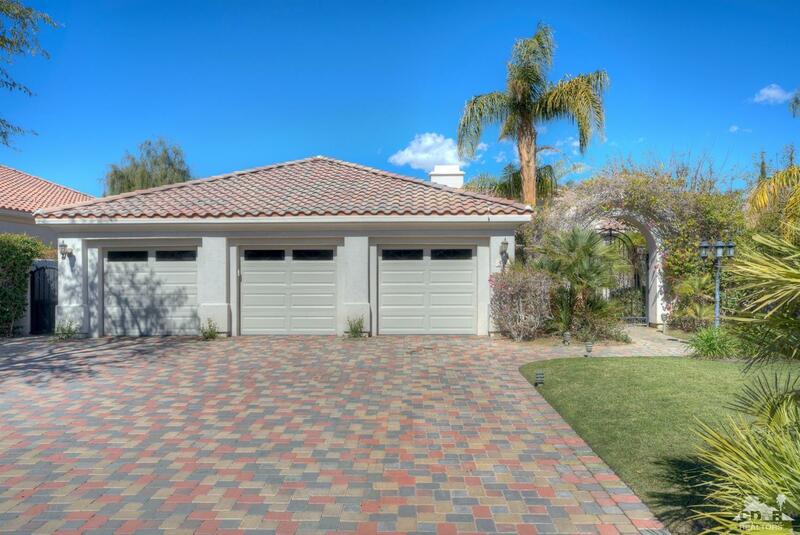 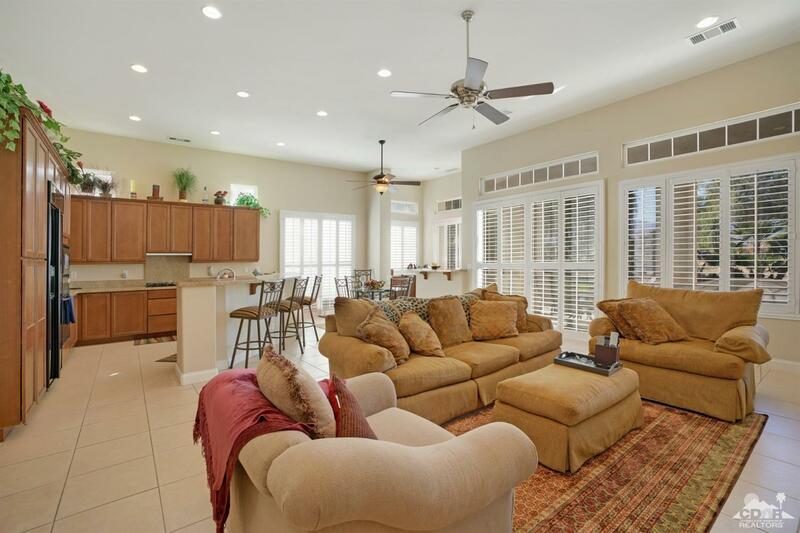 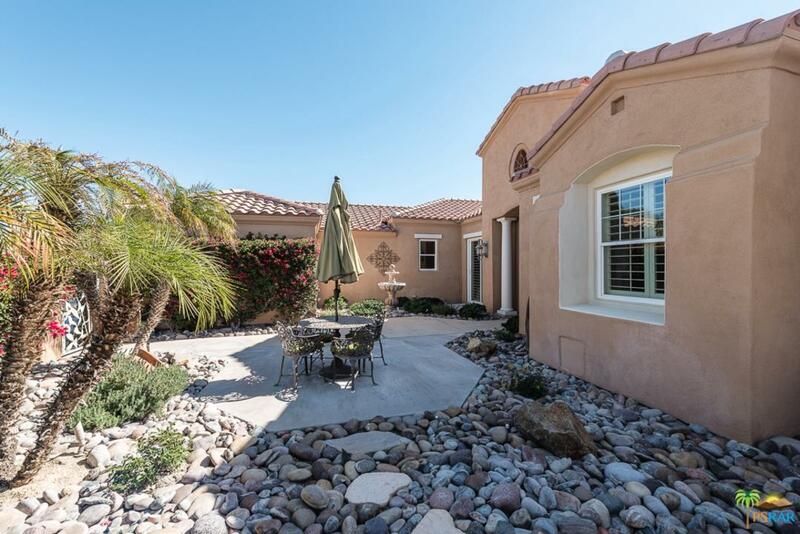 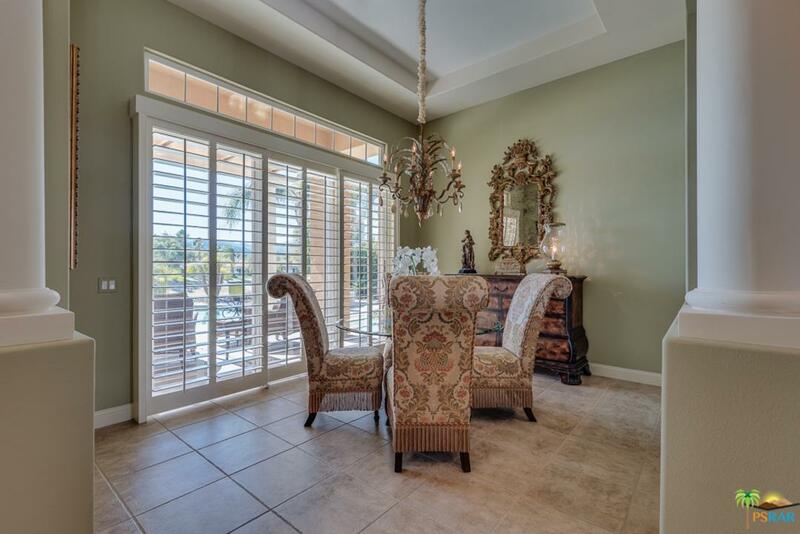 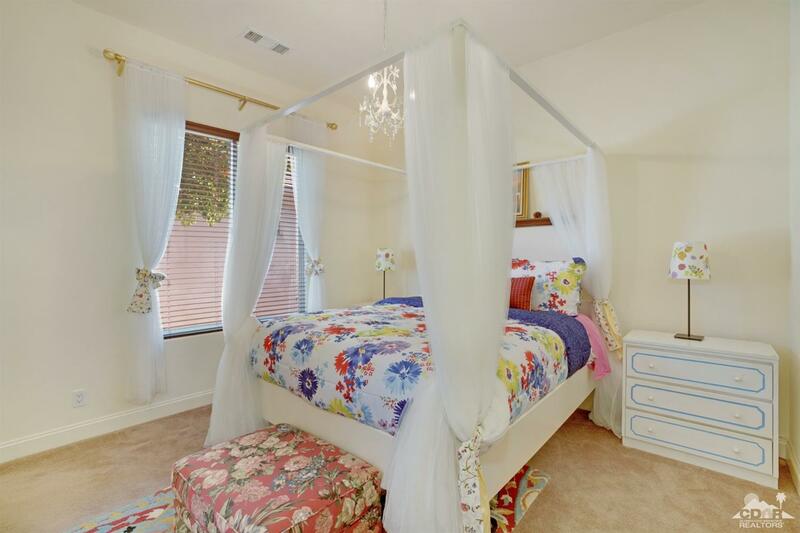 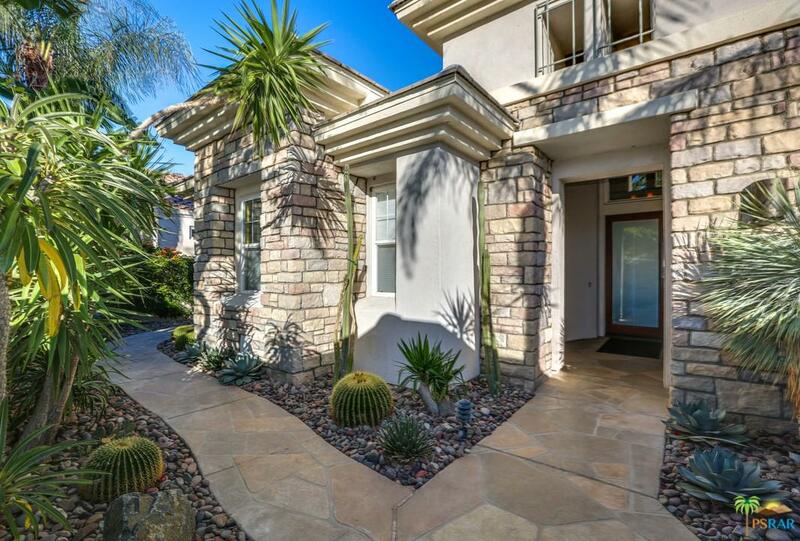 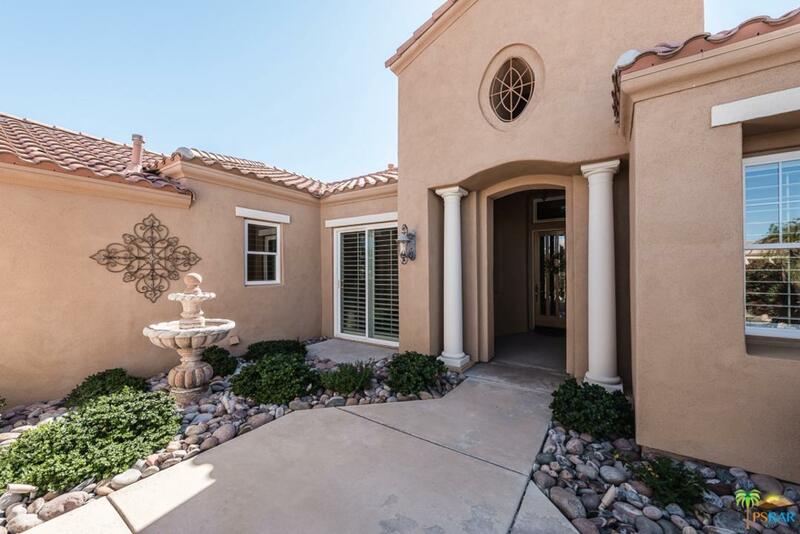 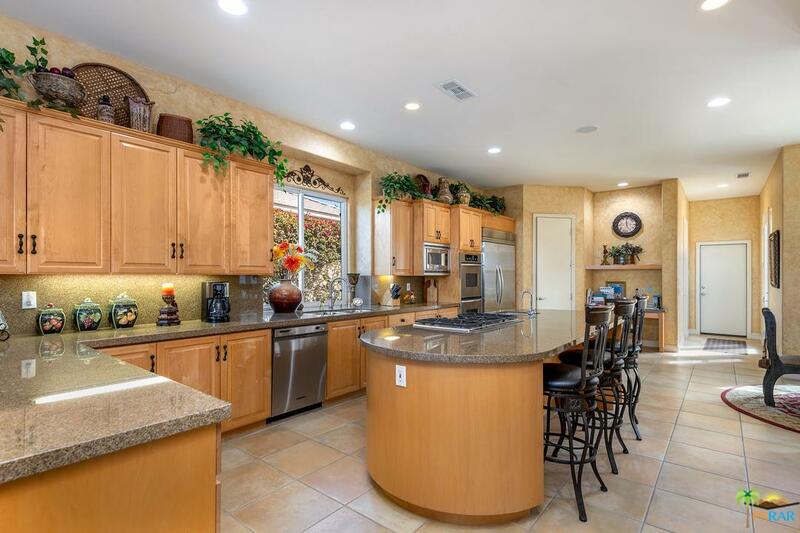 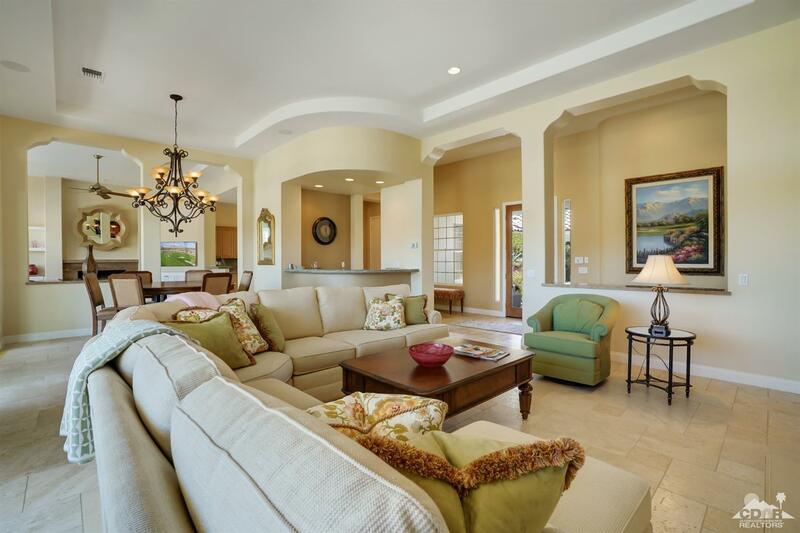 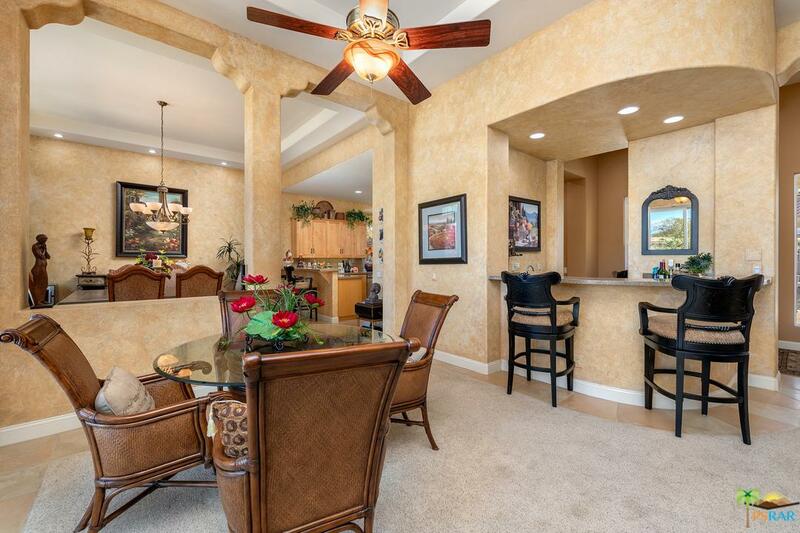 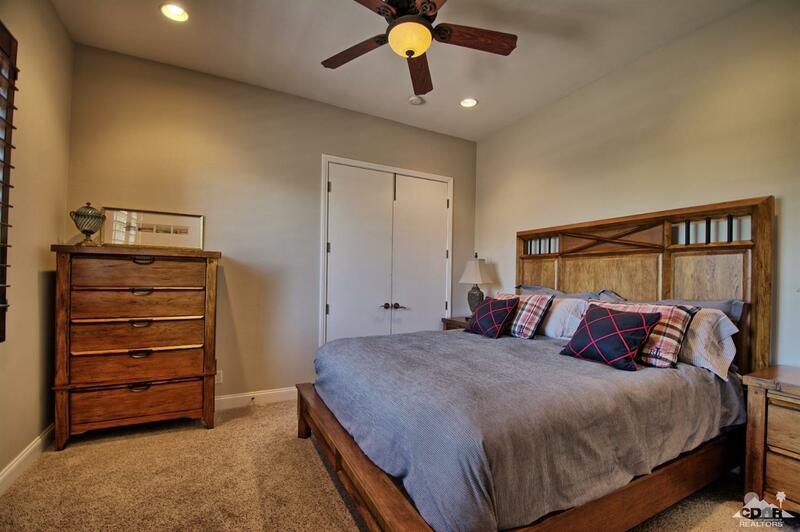 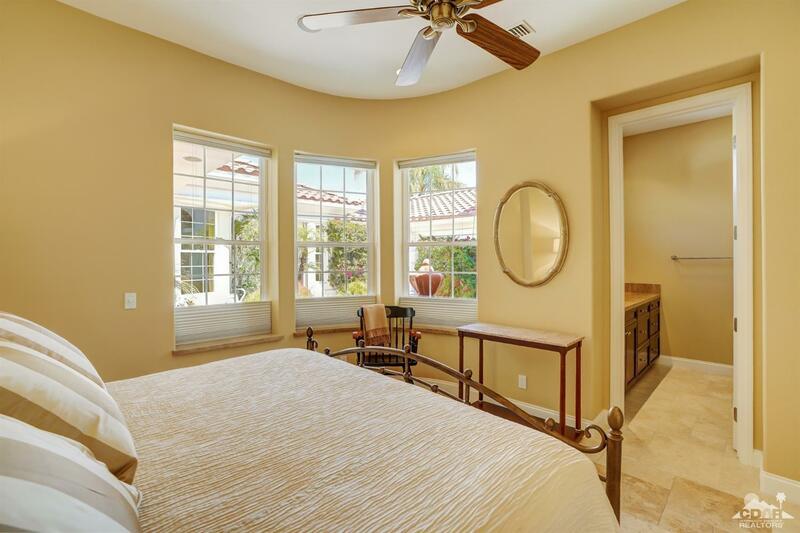 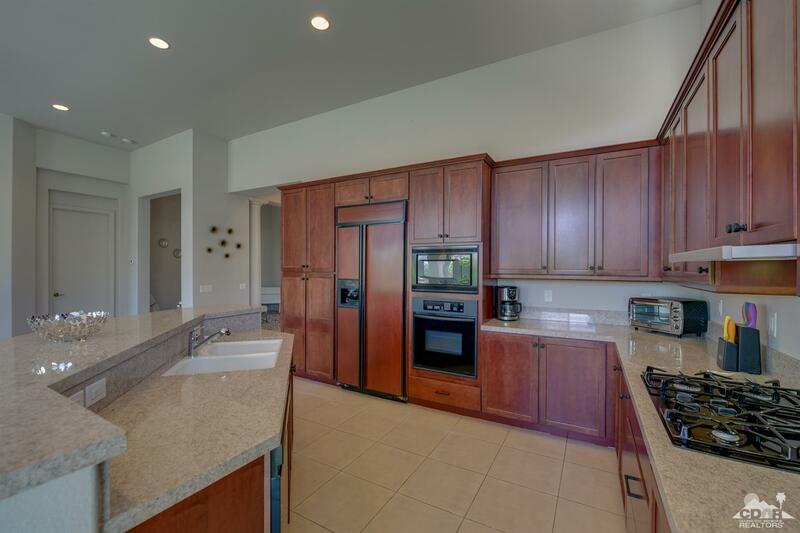 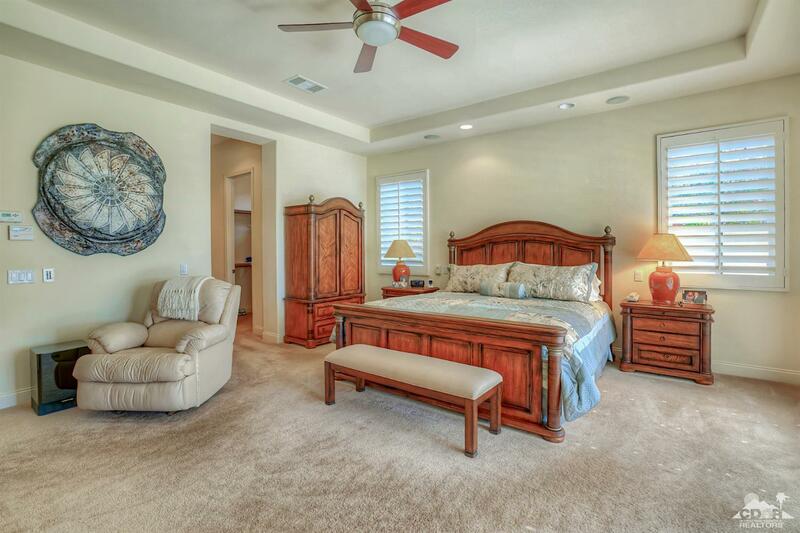 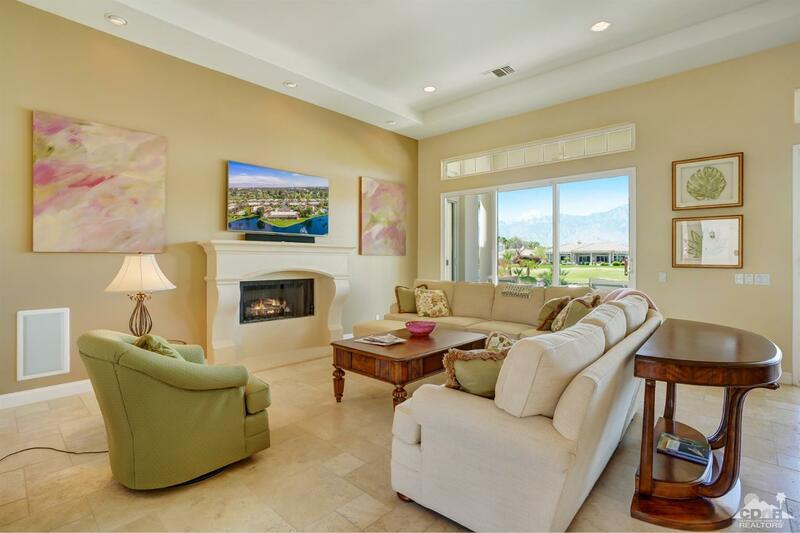 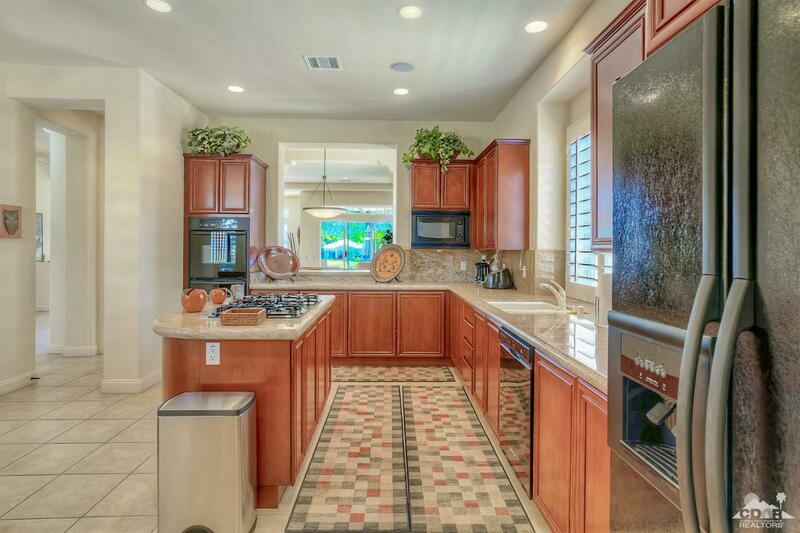 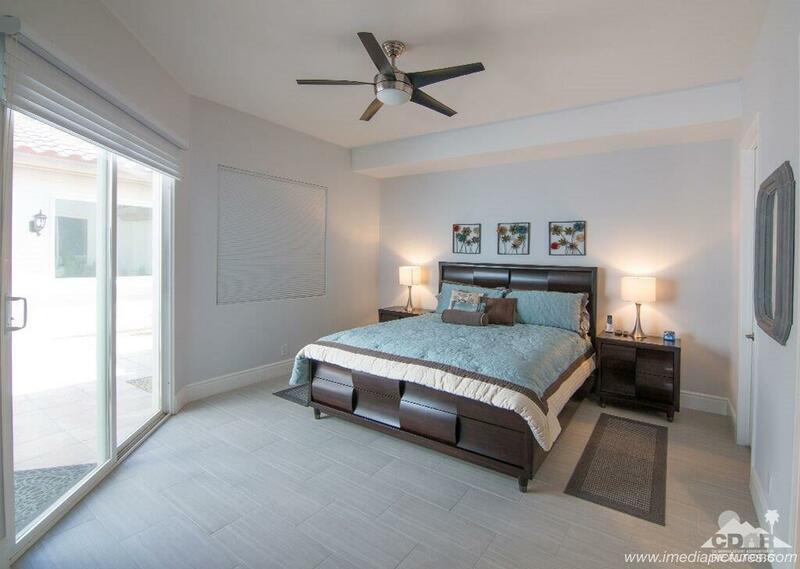 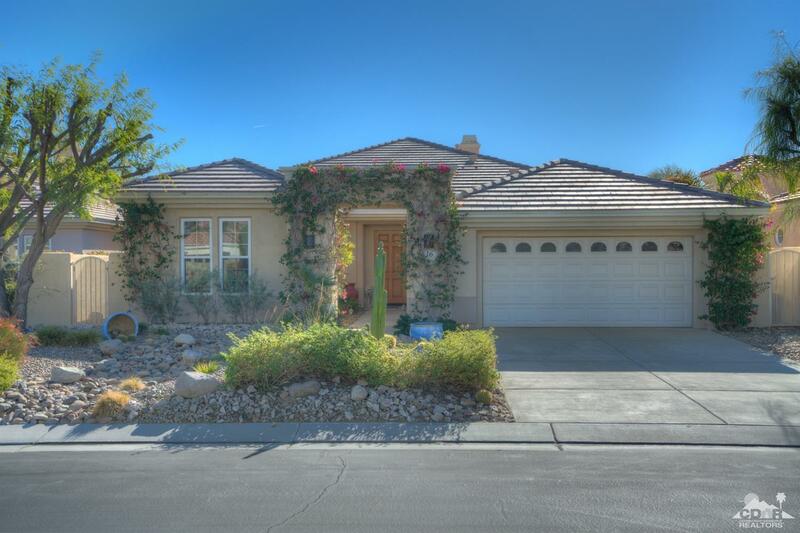 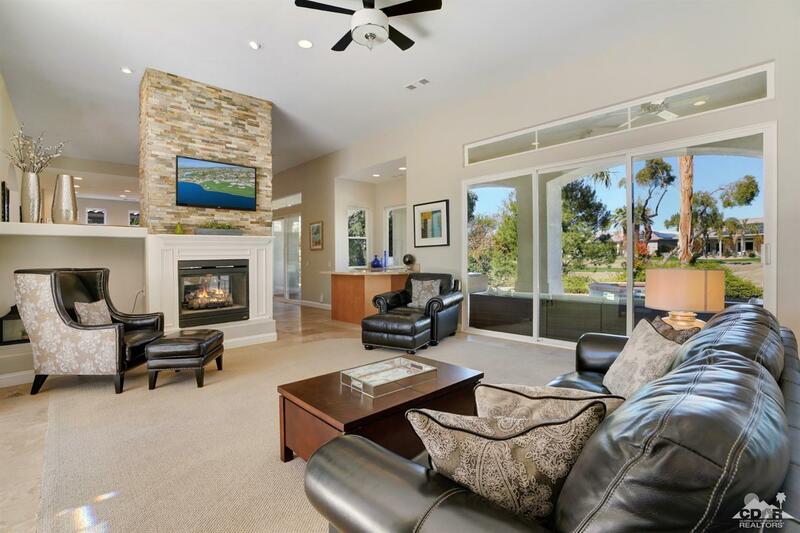 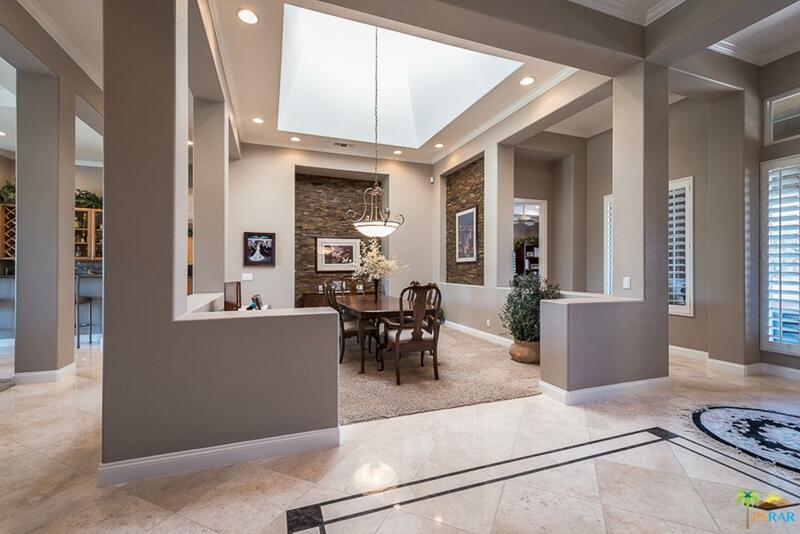 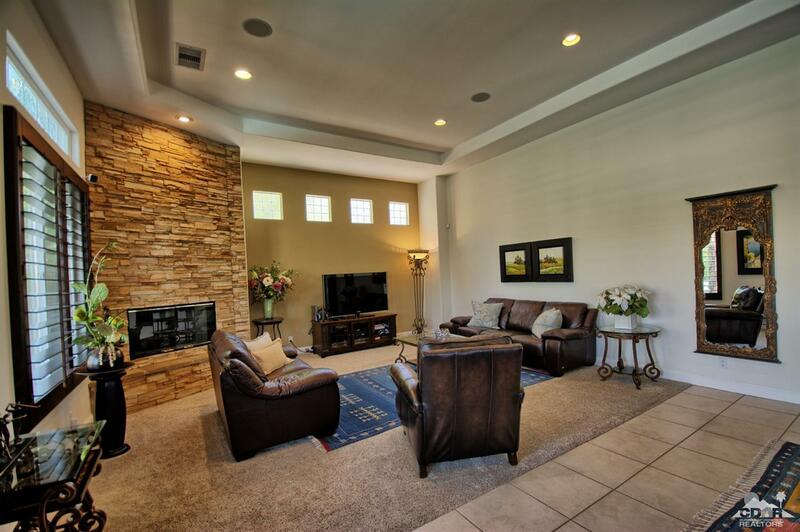 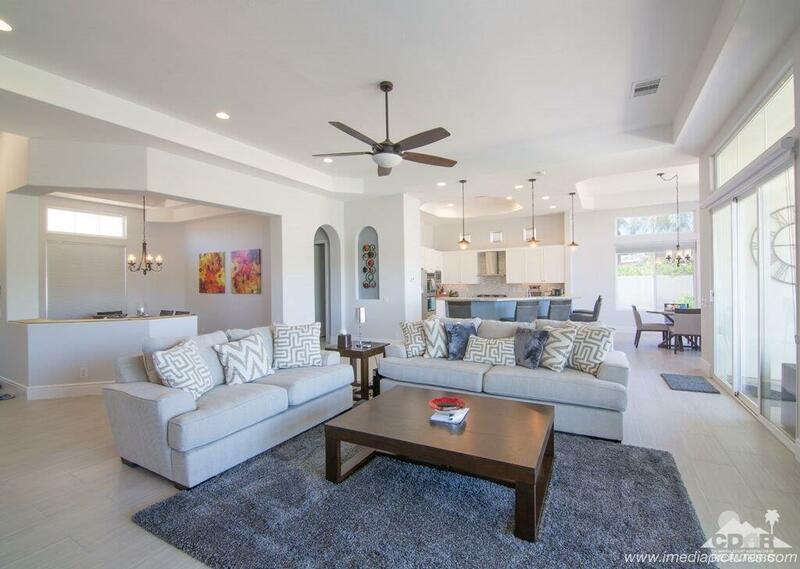 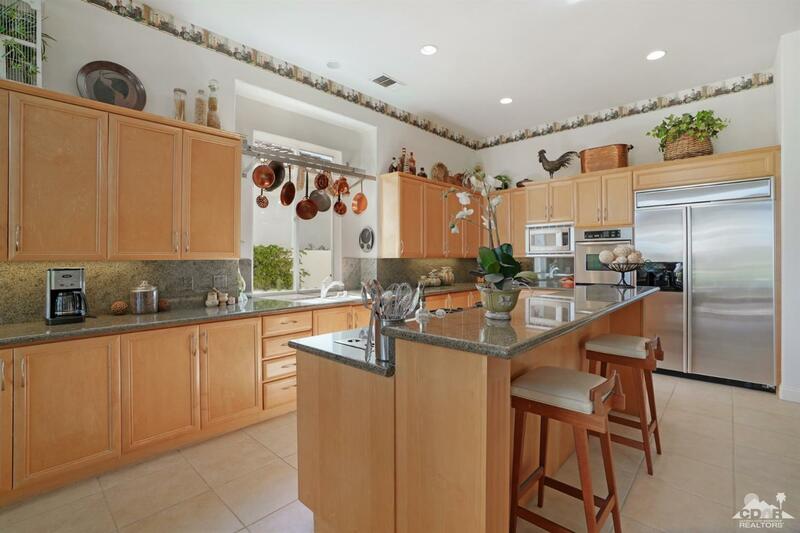 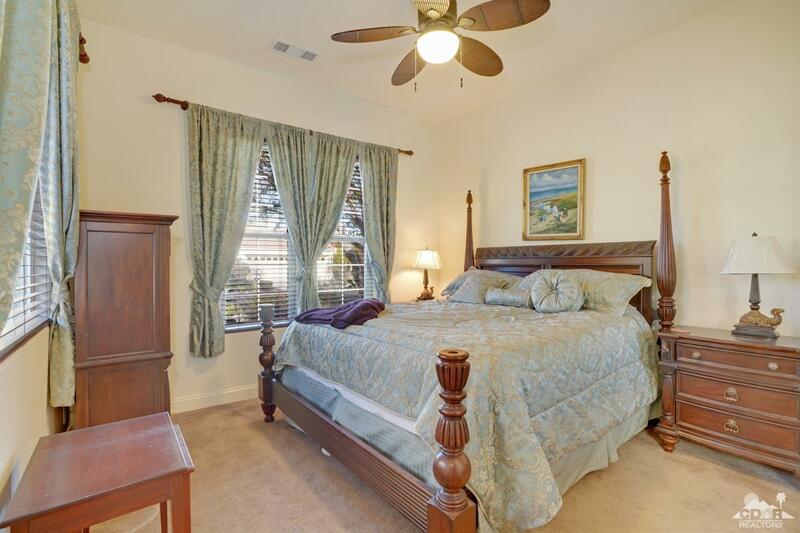 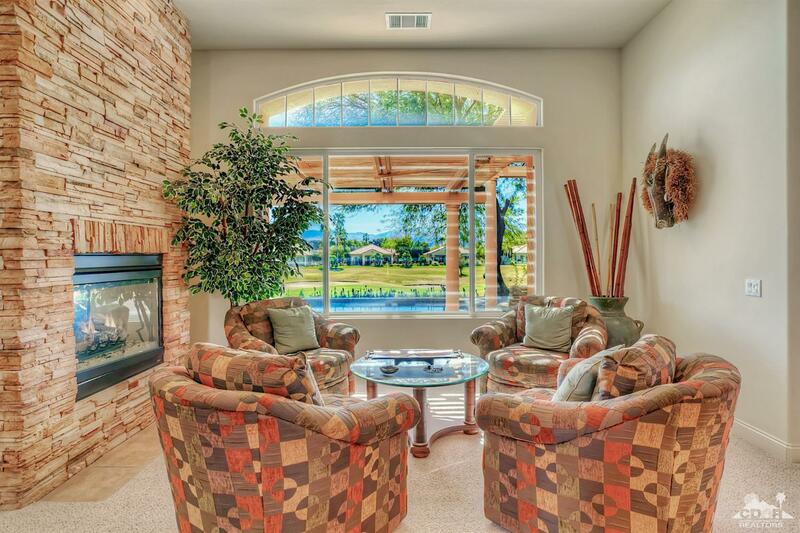 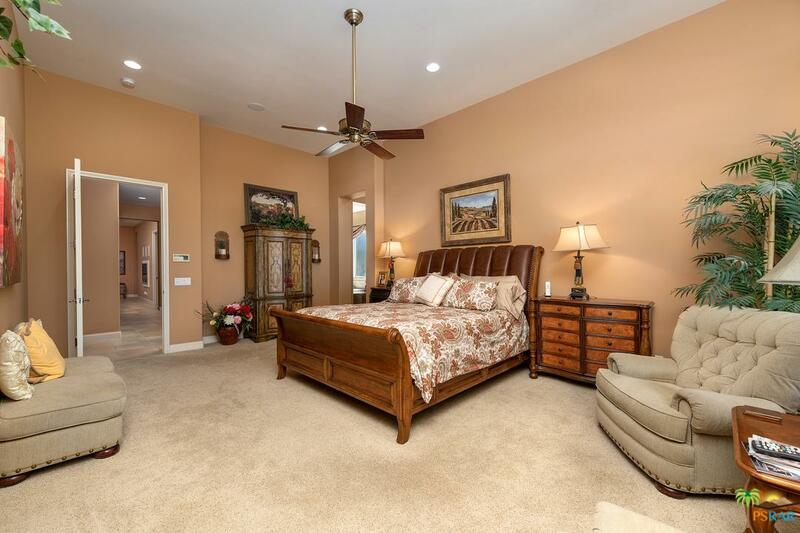 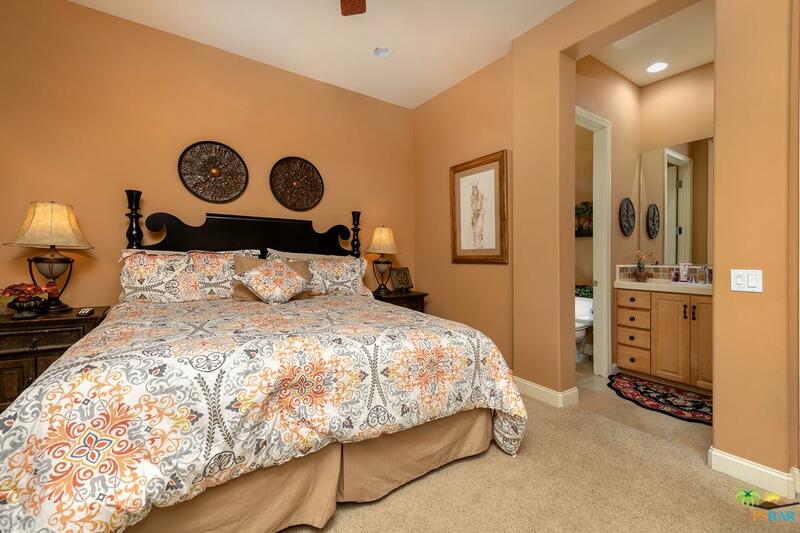 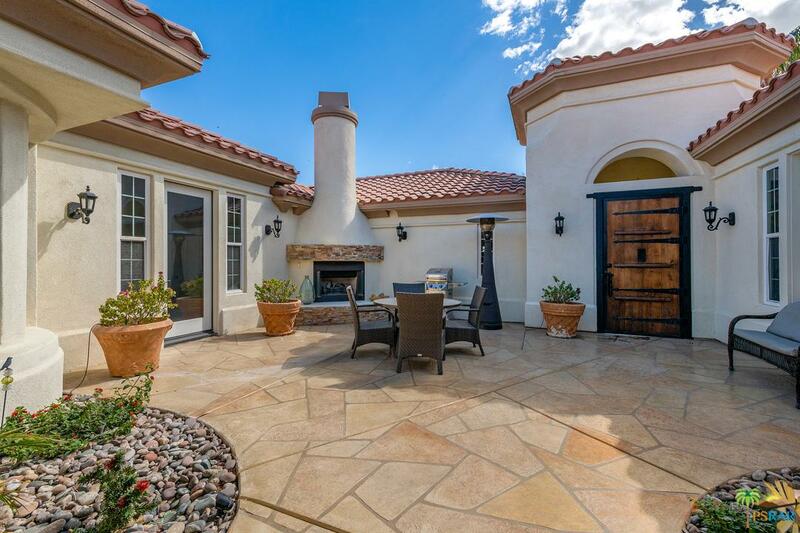 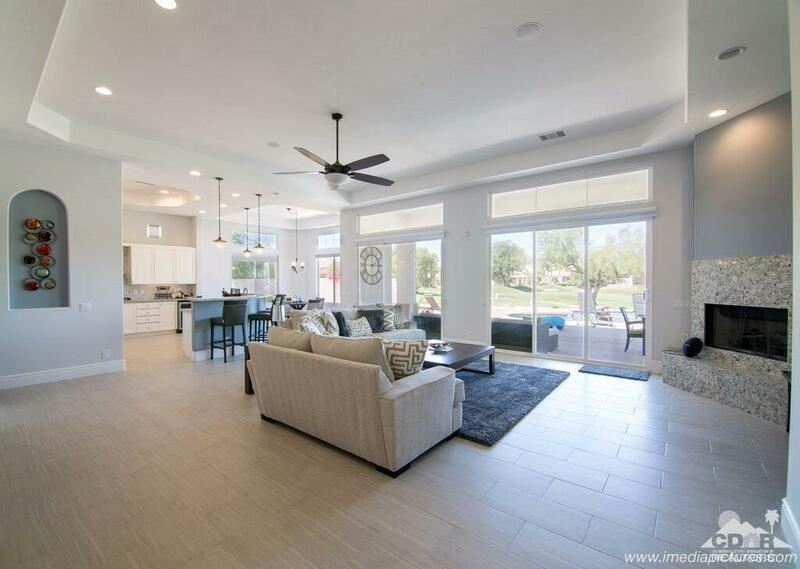 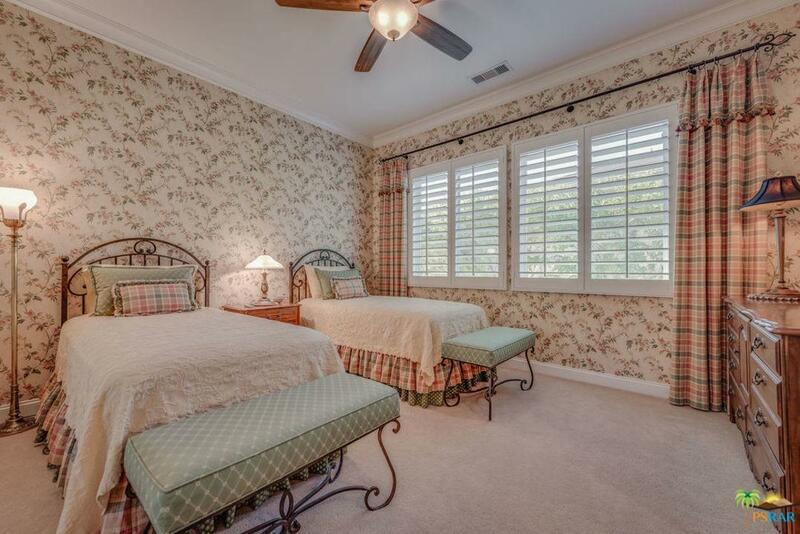 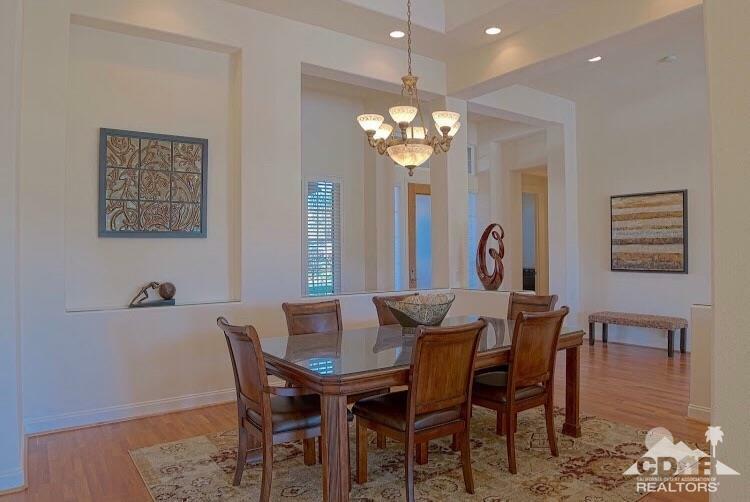 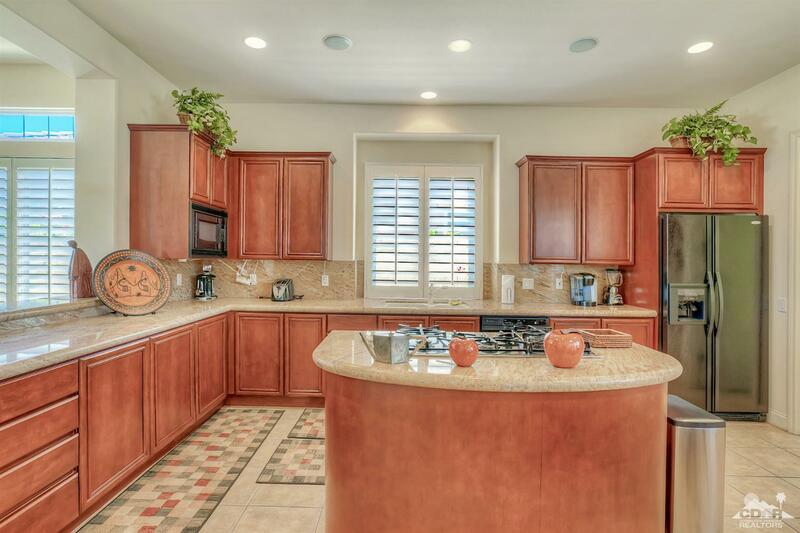 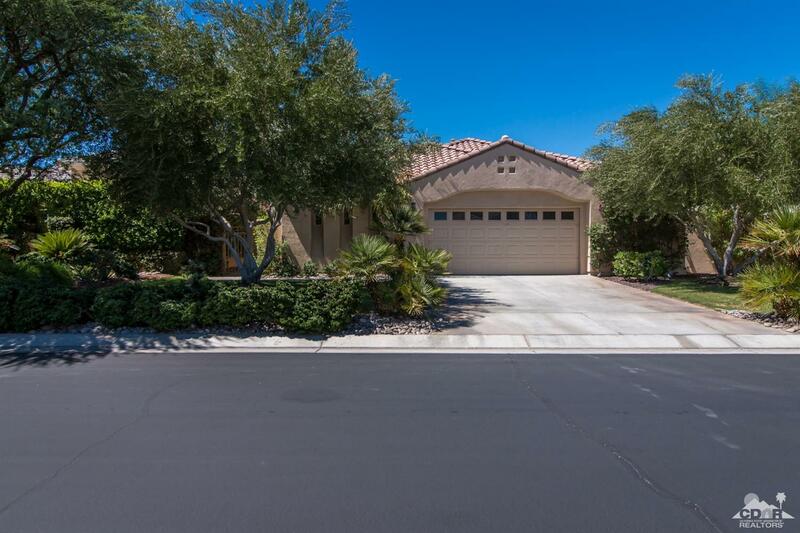 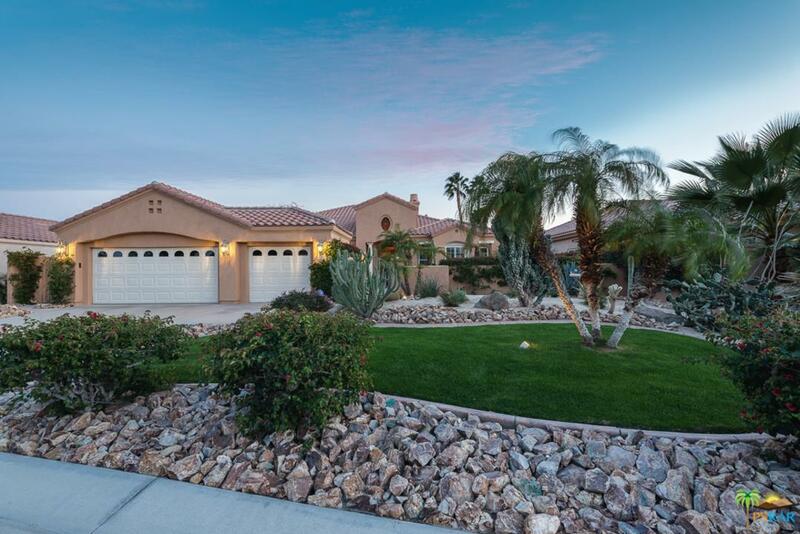 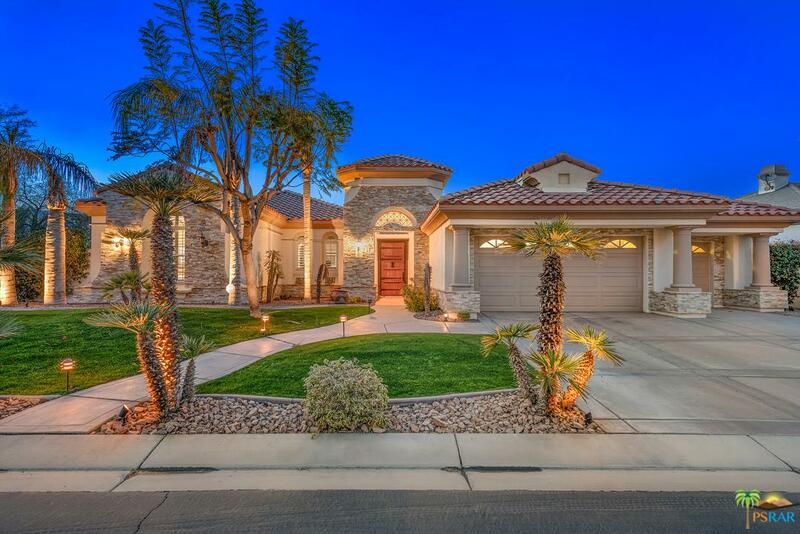 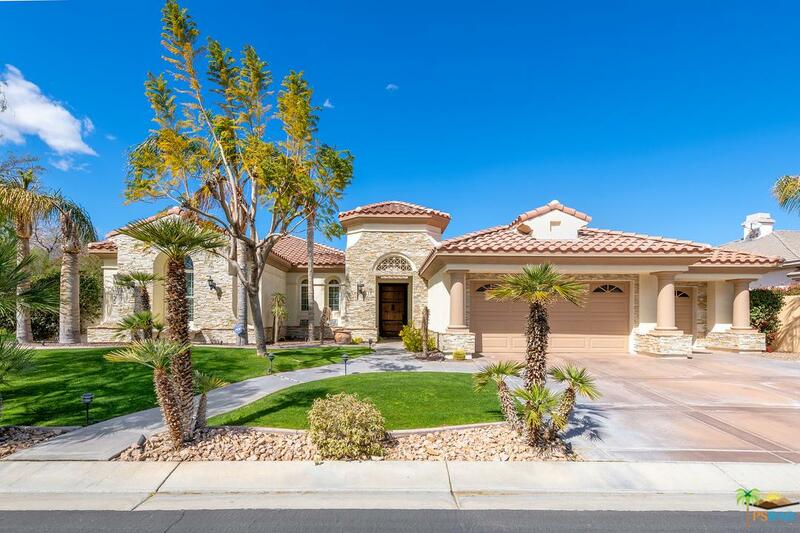 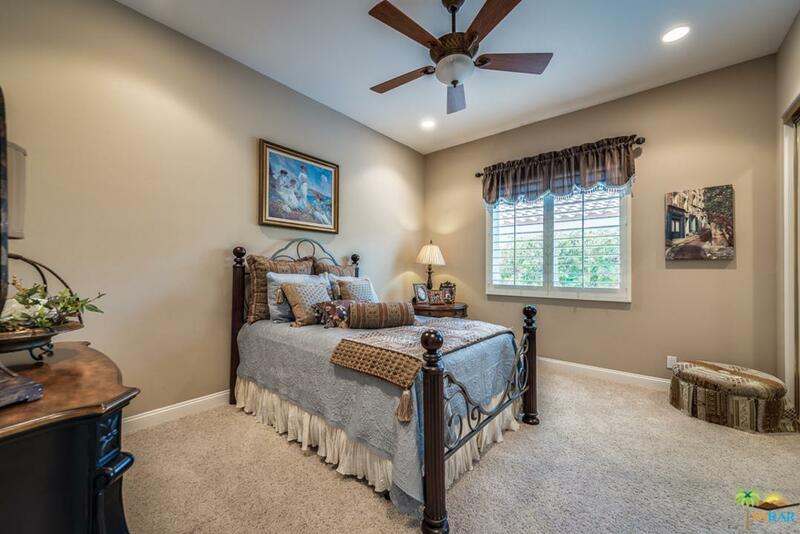 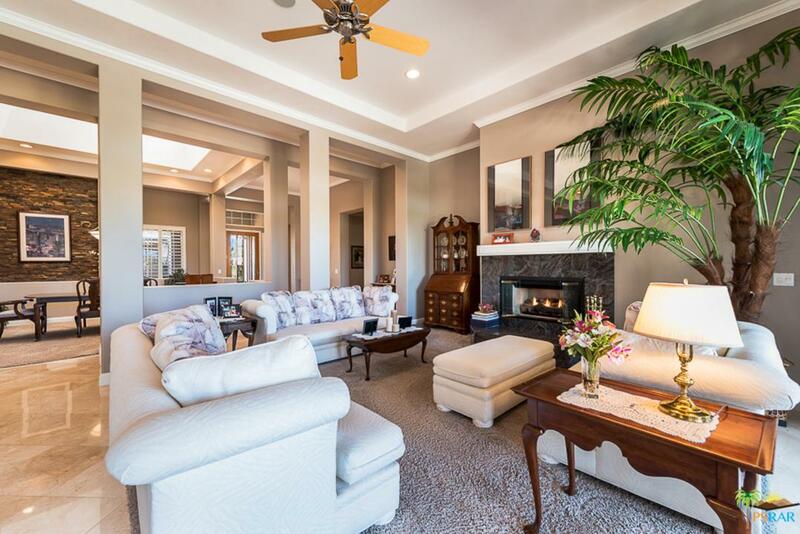 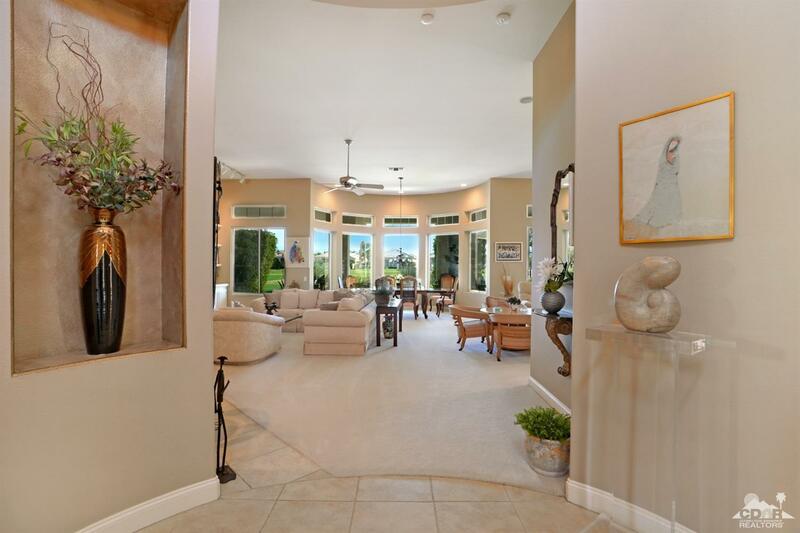 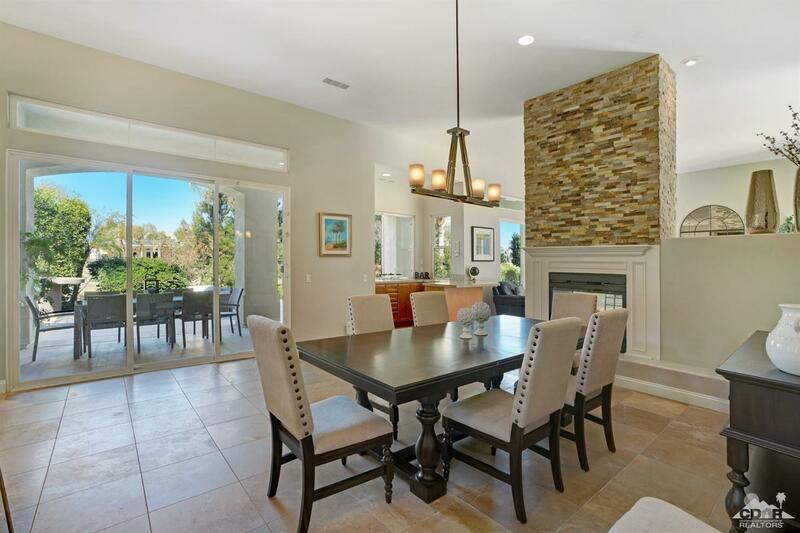 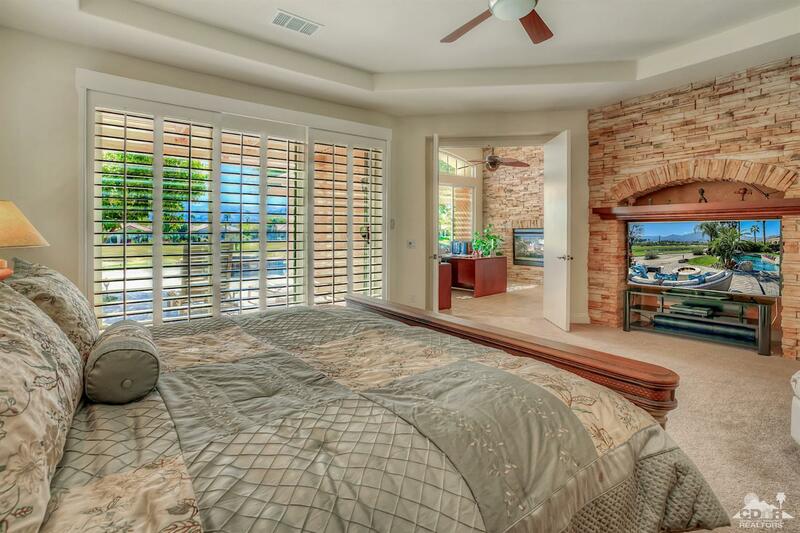 Mendocino Grande Model at Mira Vista in Mission Hills with soaring ceilings, spacious rooms, pebble tech pool and spa, corner lot location overlooking the 2nd hole of the famed Gary Player Golf Course, lush grounds and wide angle views of he mountains. 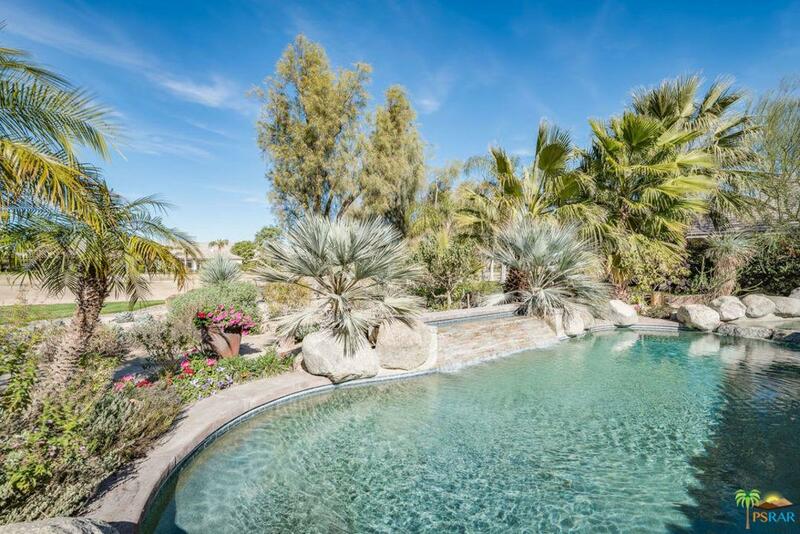 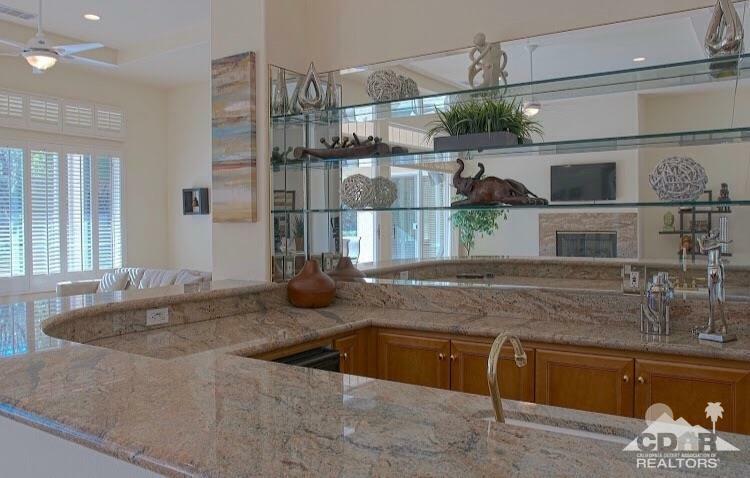 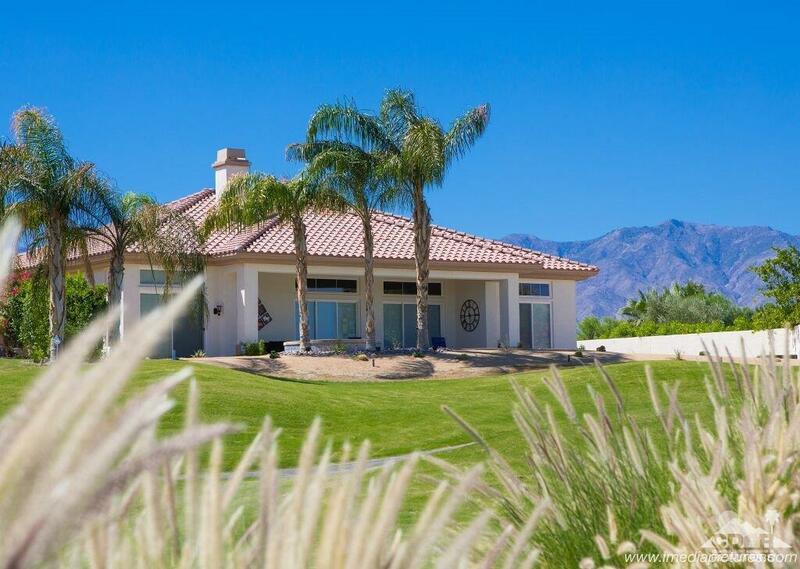 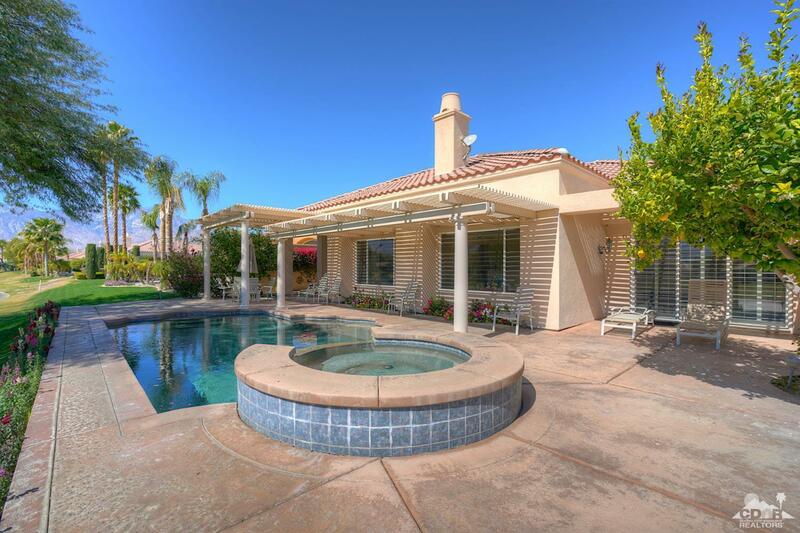 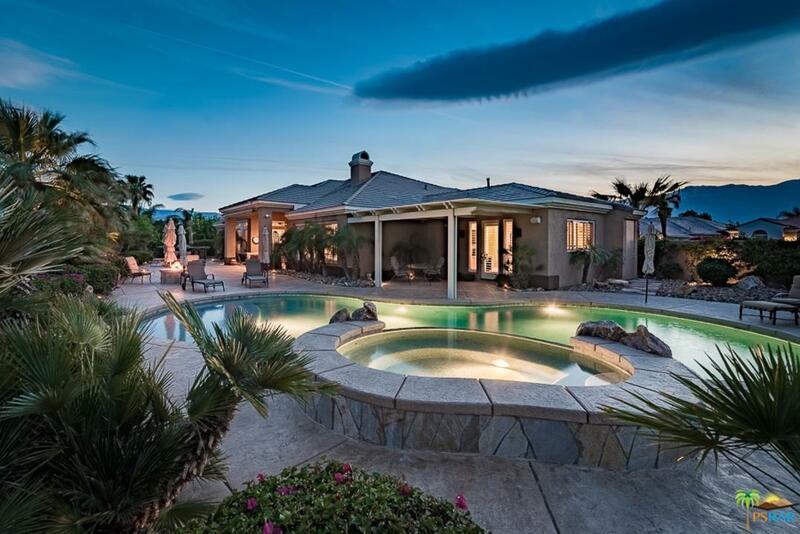 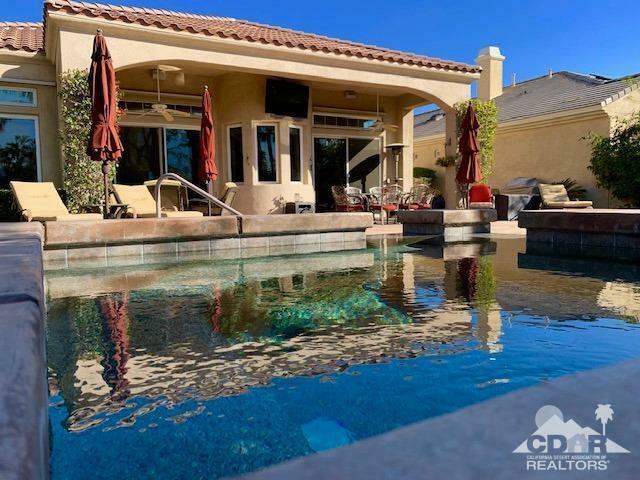 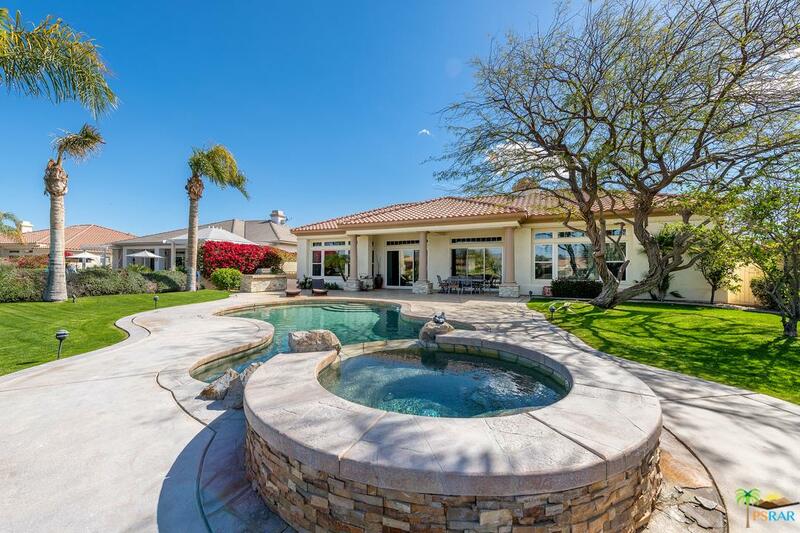 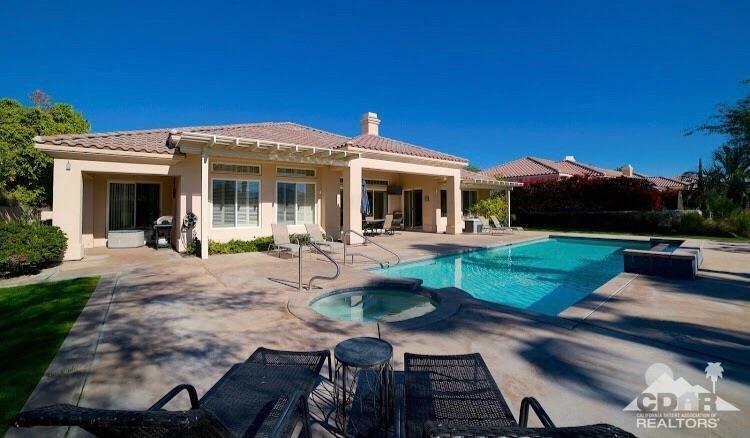 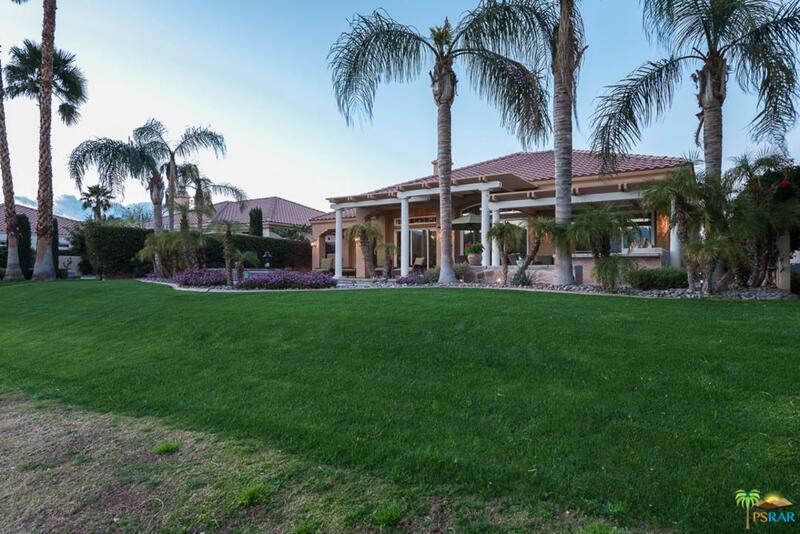 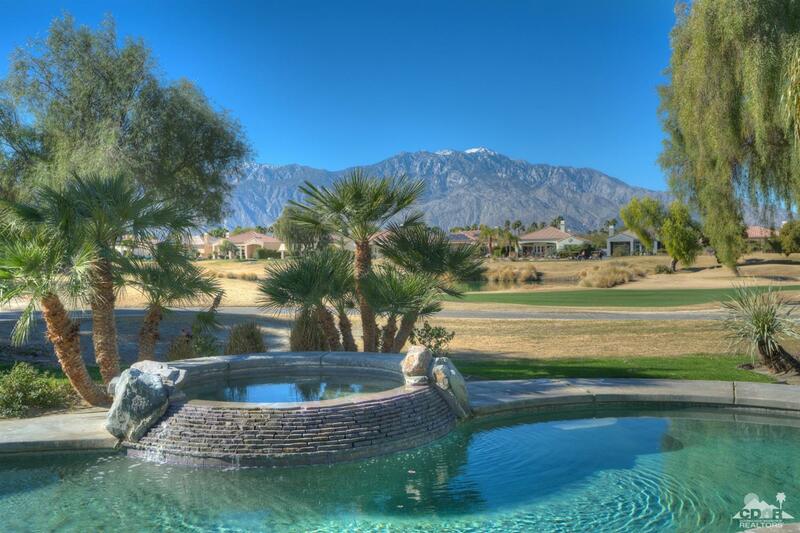 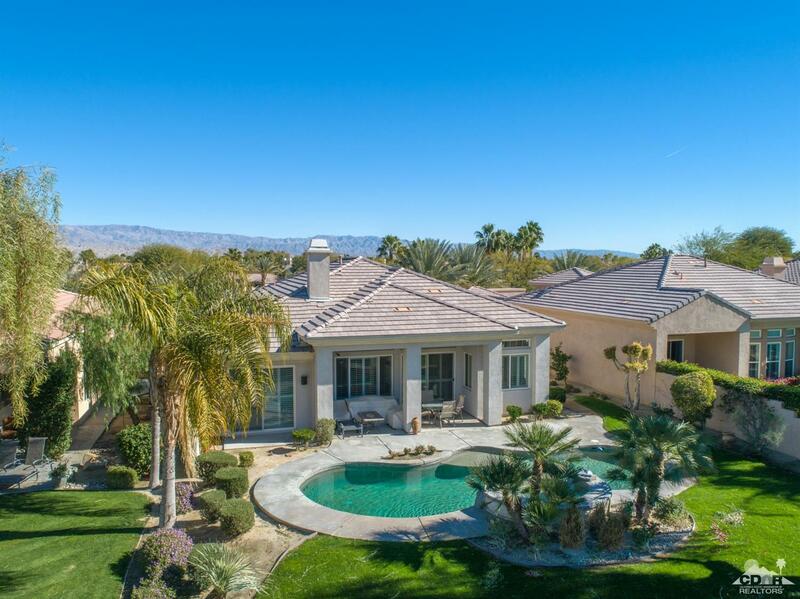 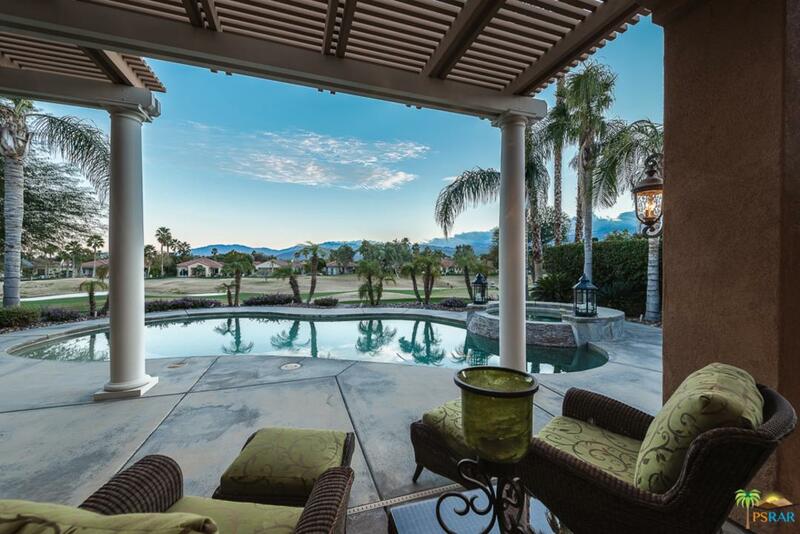 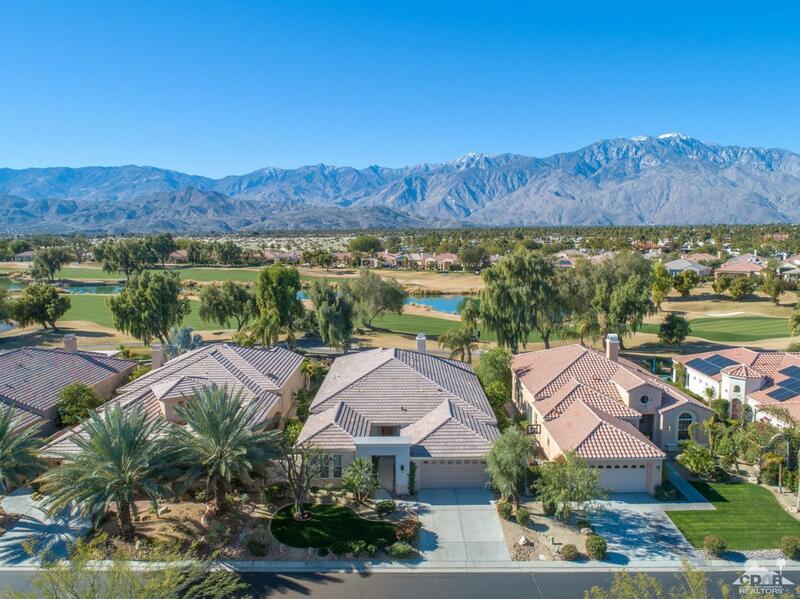 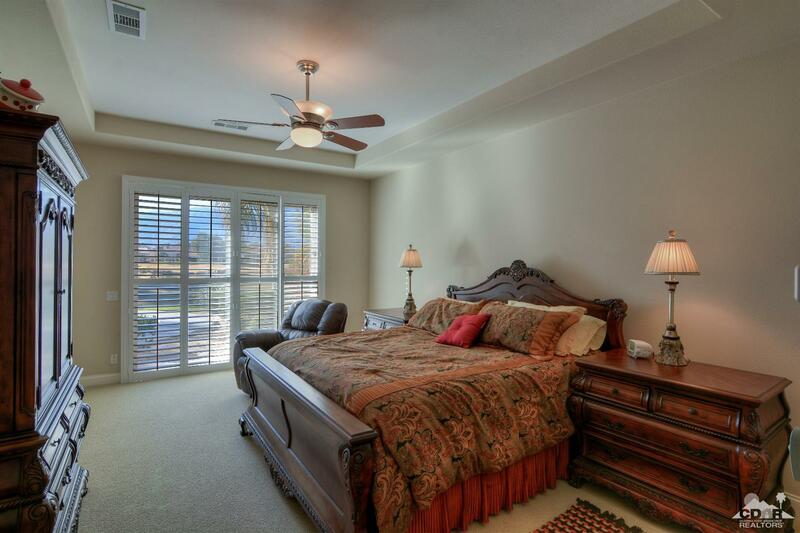 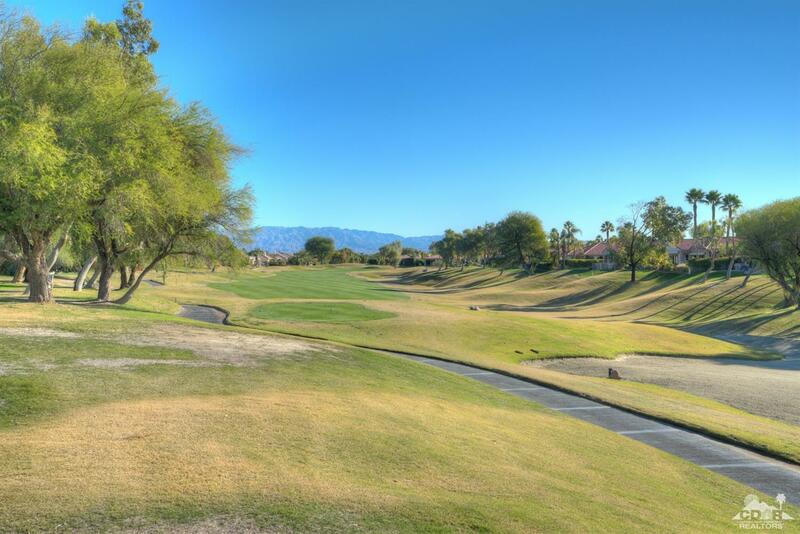 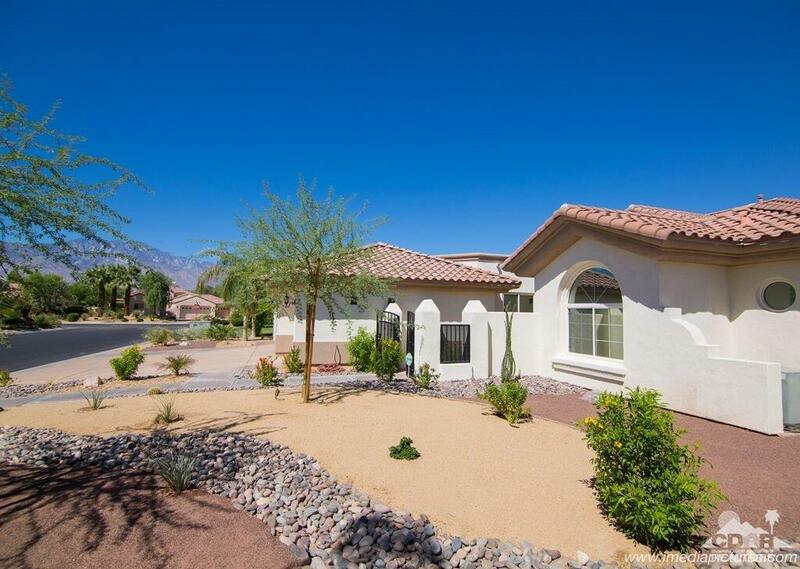 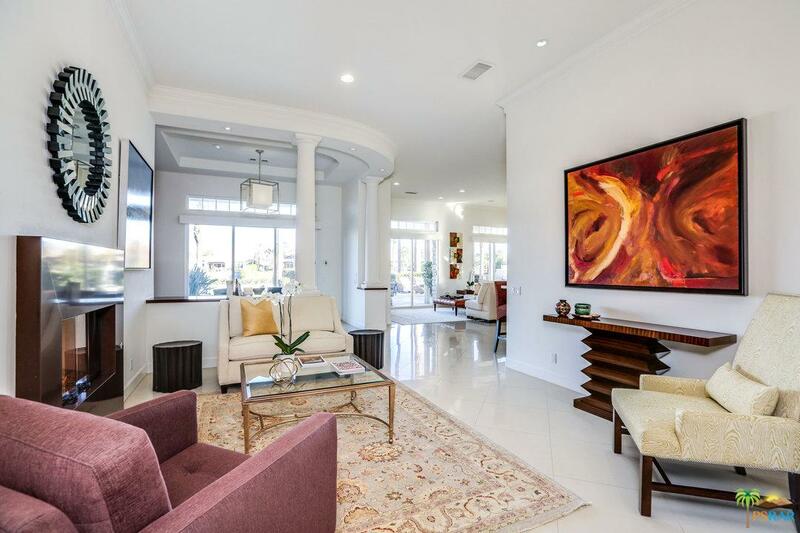 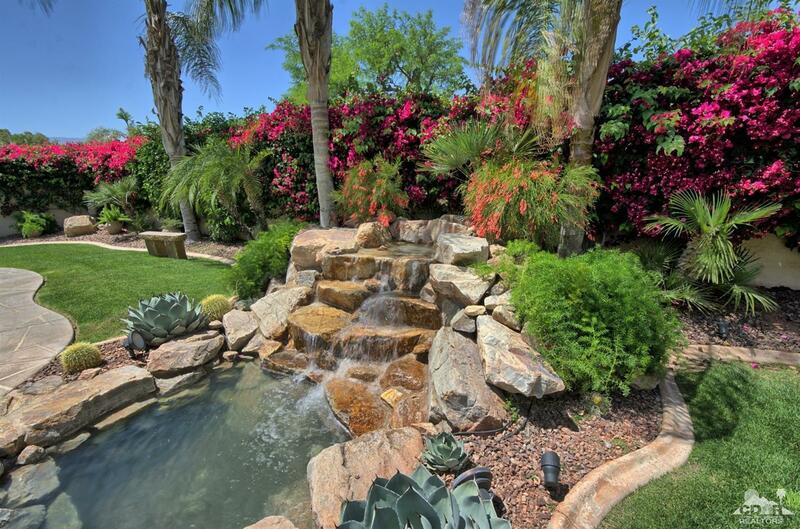 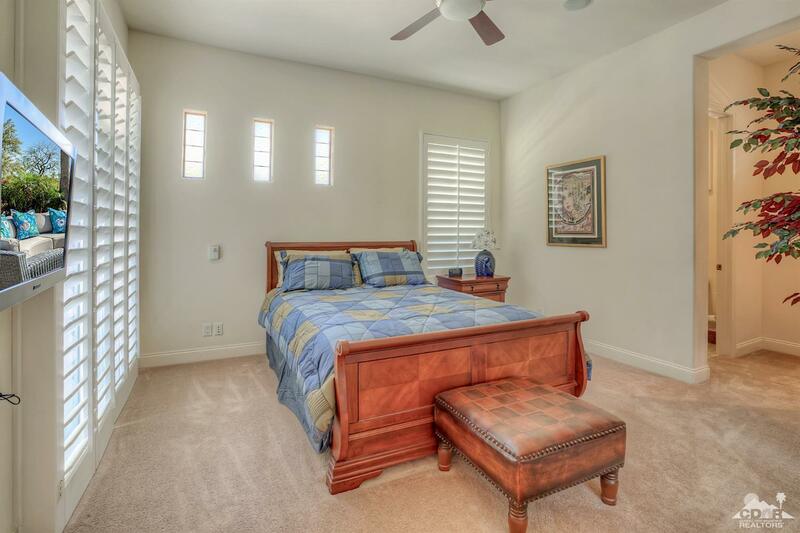 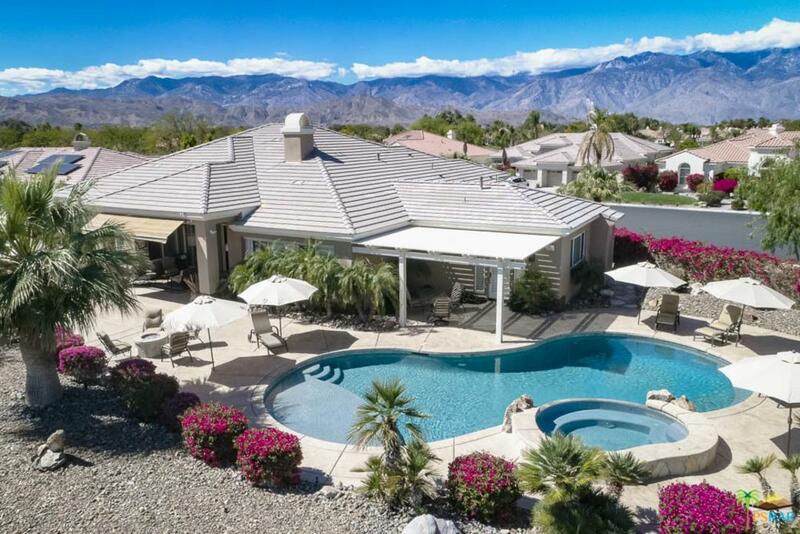 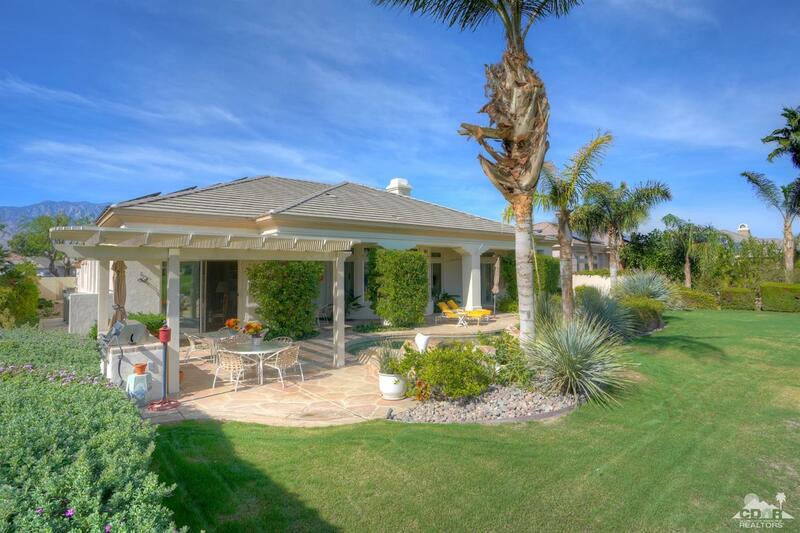 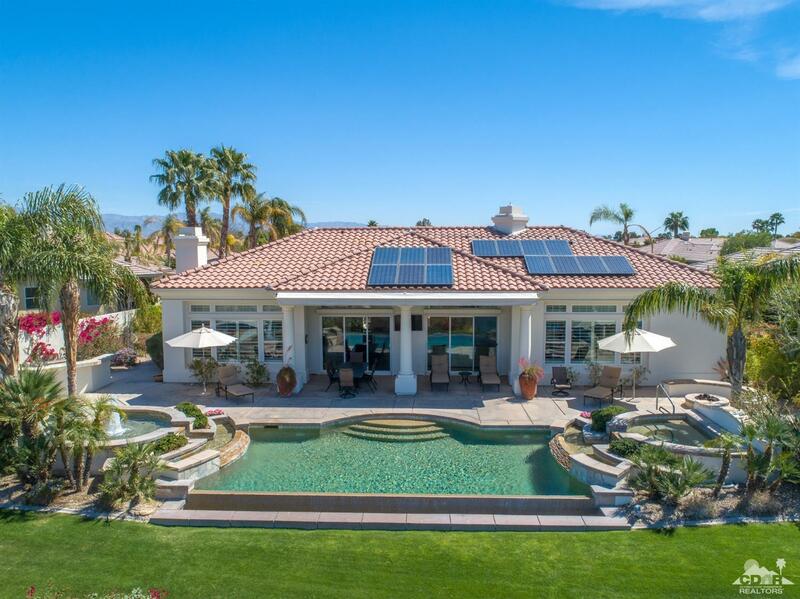 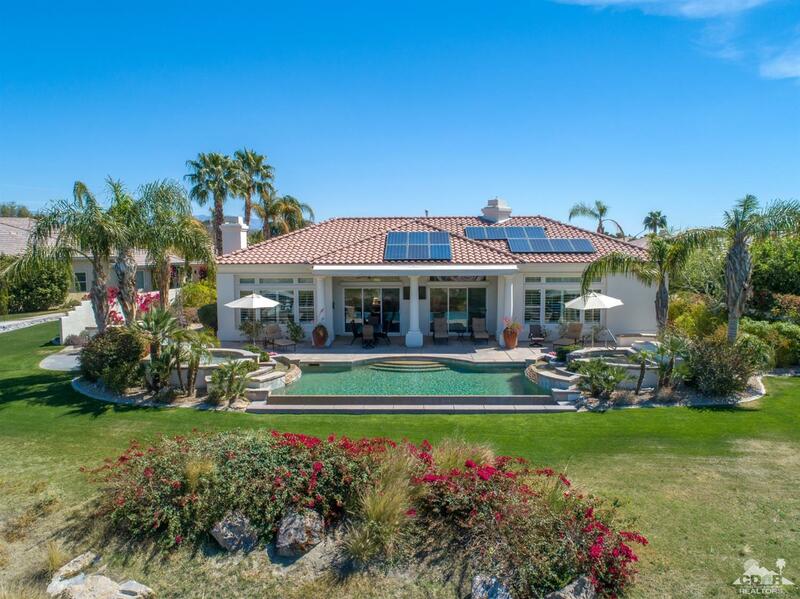 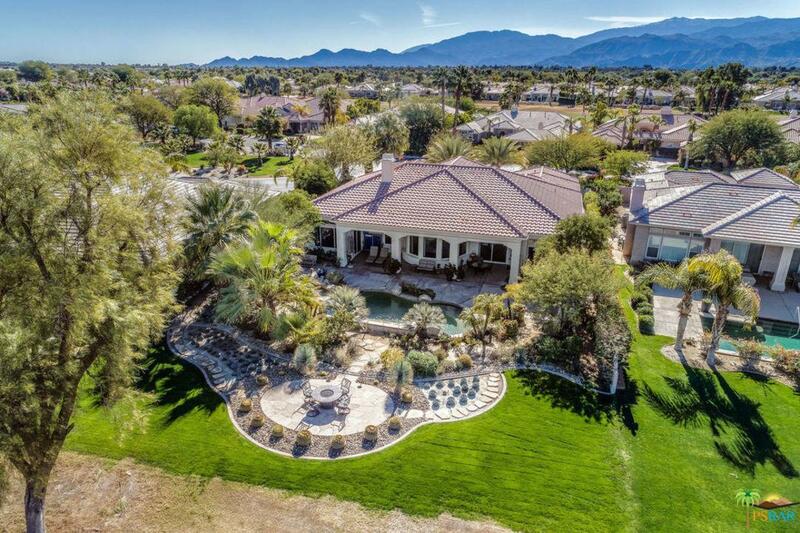 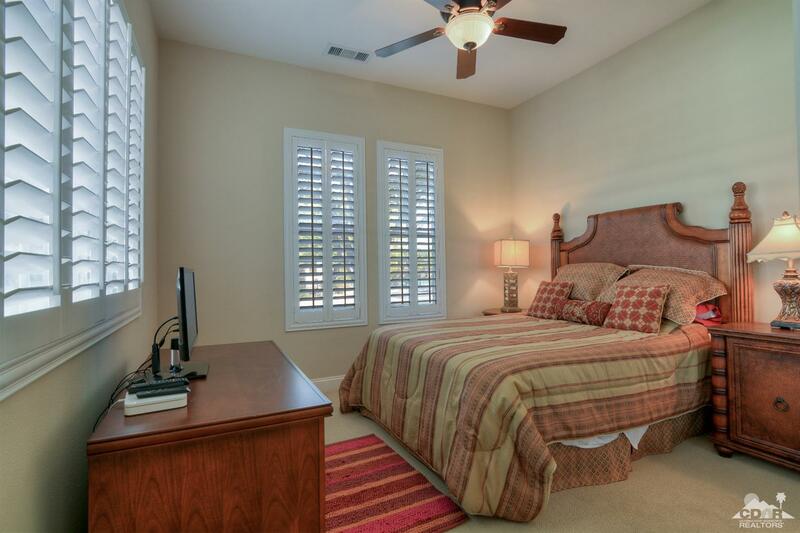 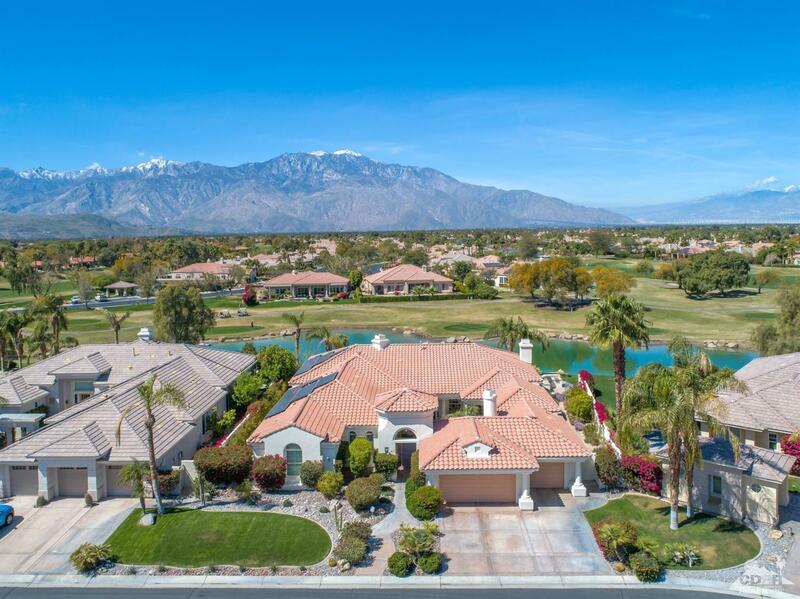 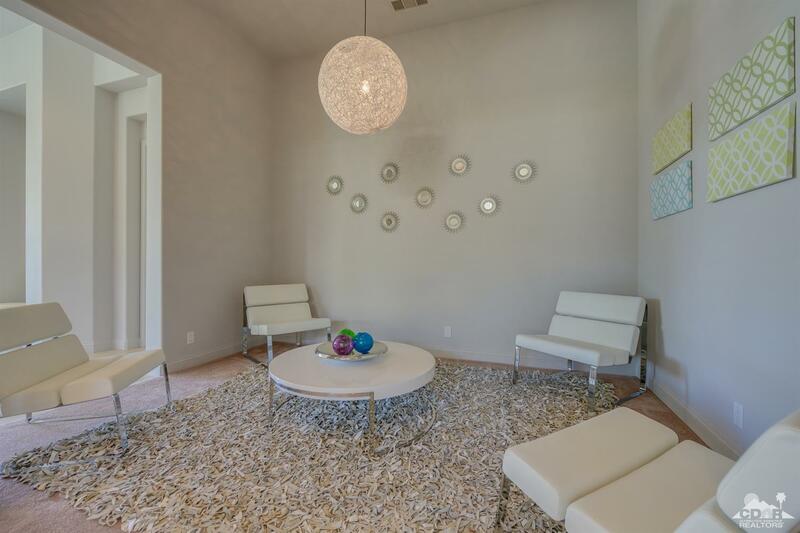 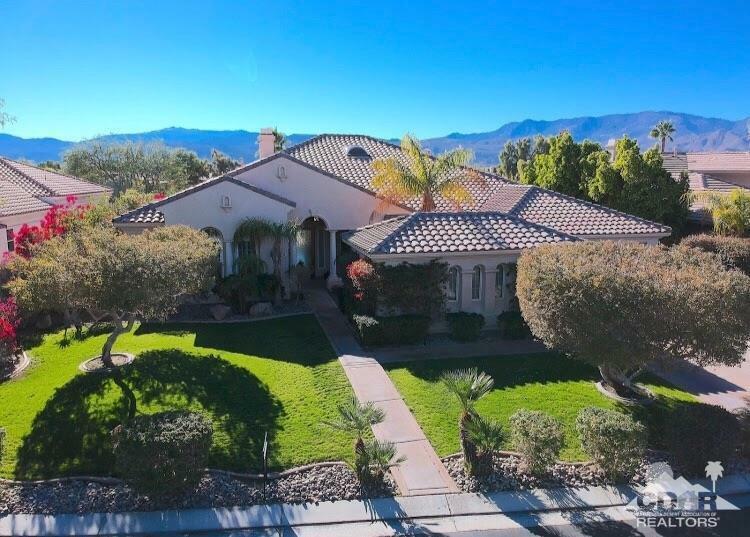 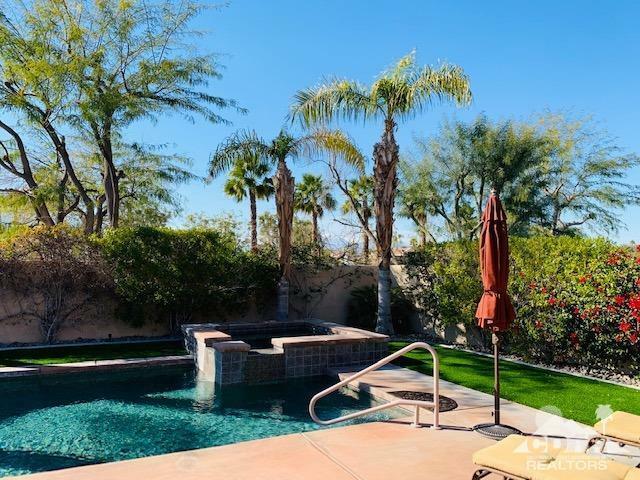 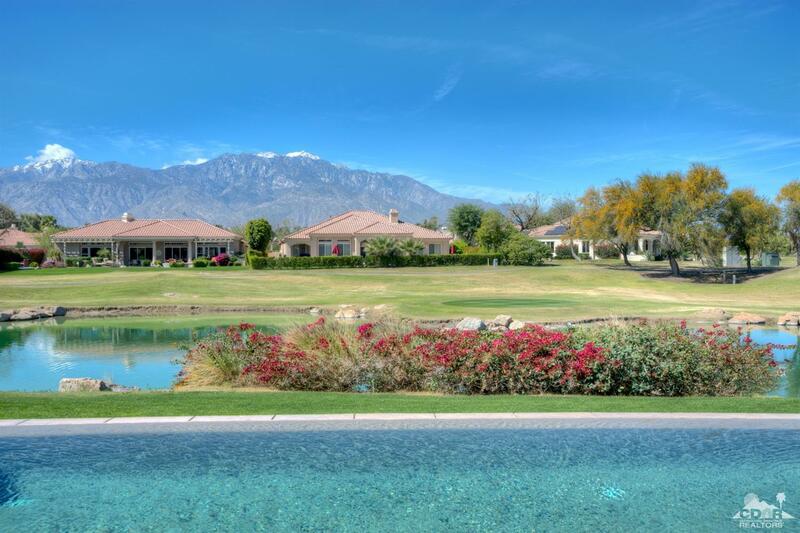 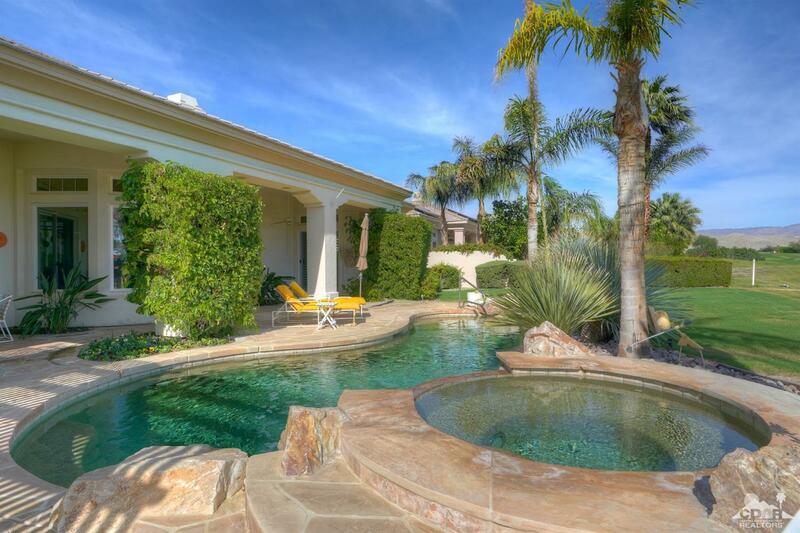 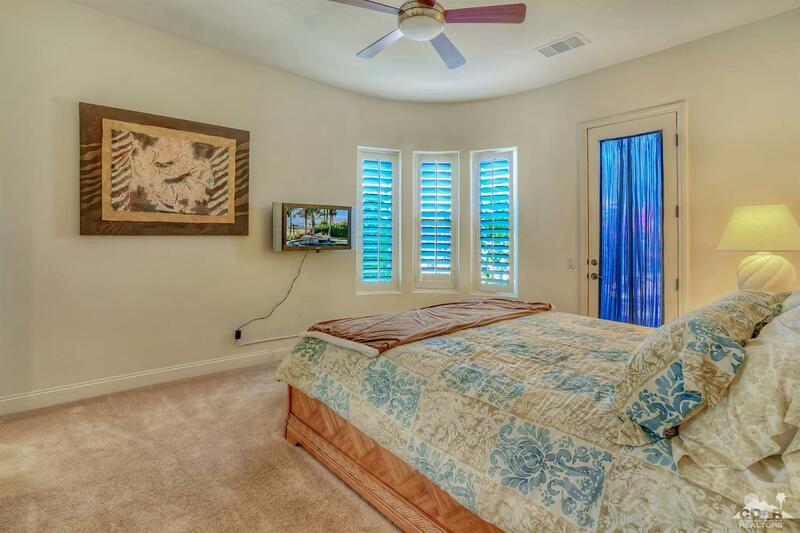 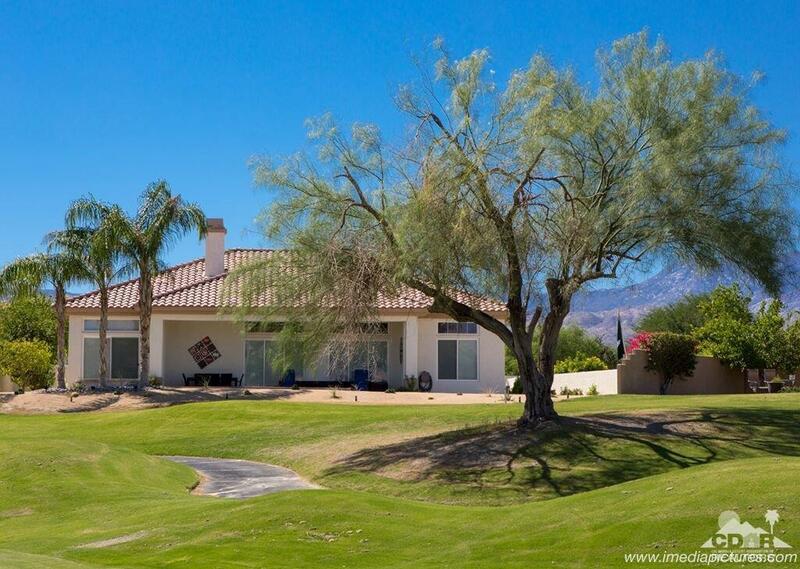 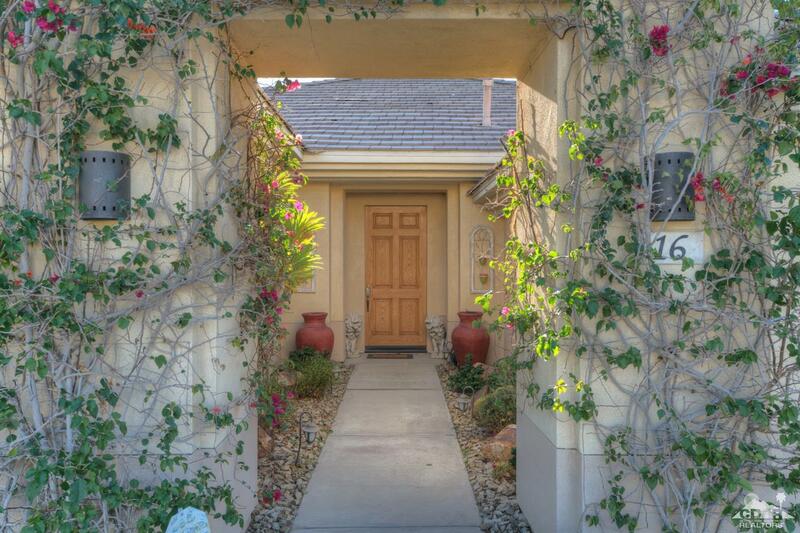 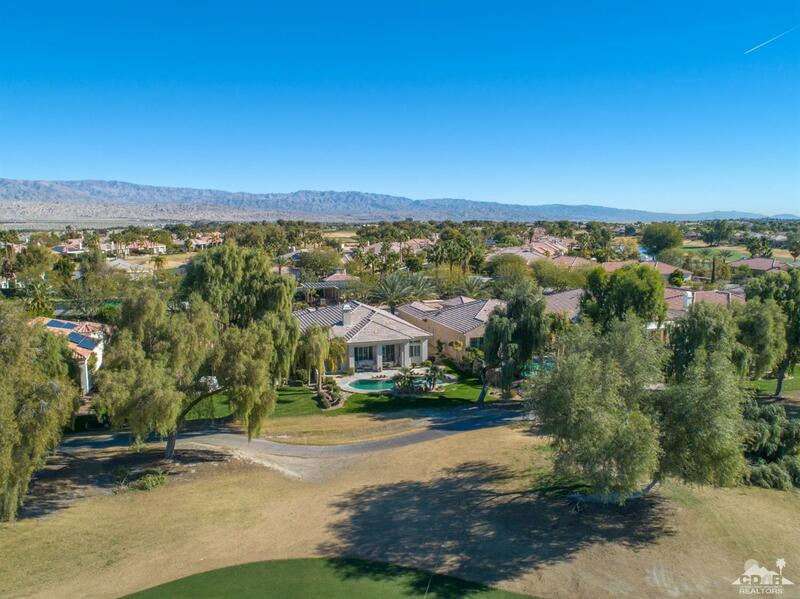 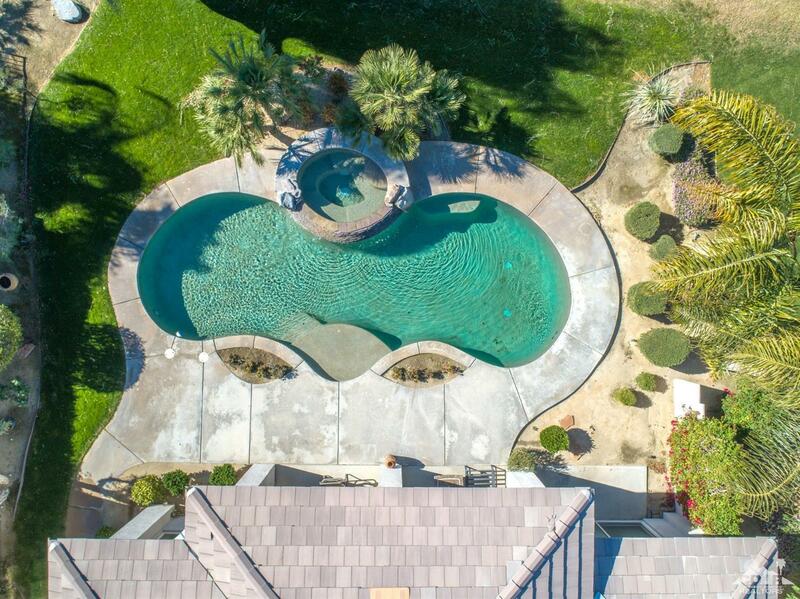 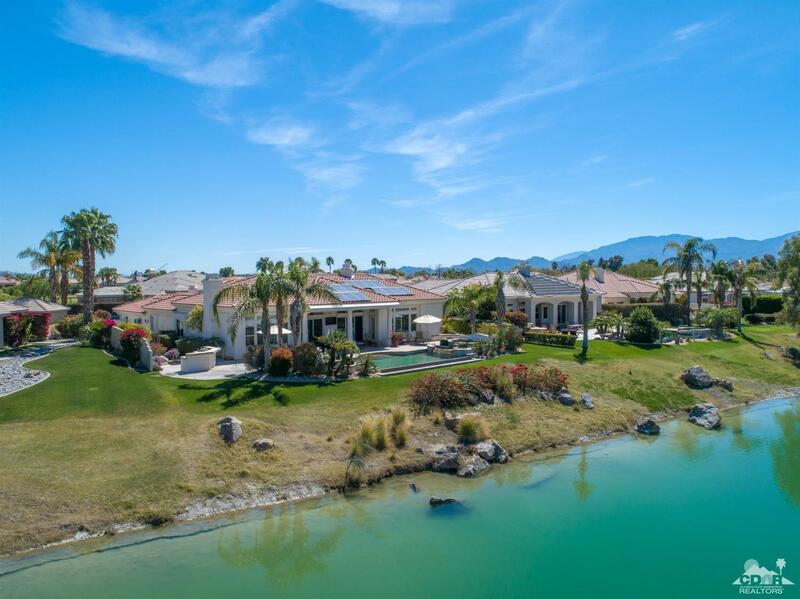 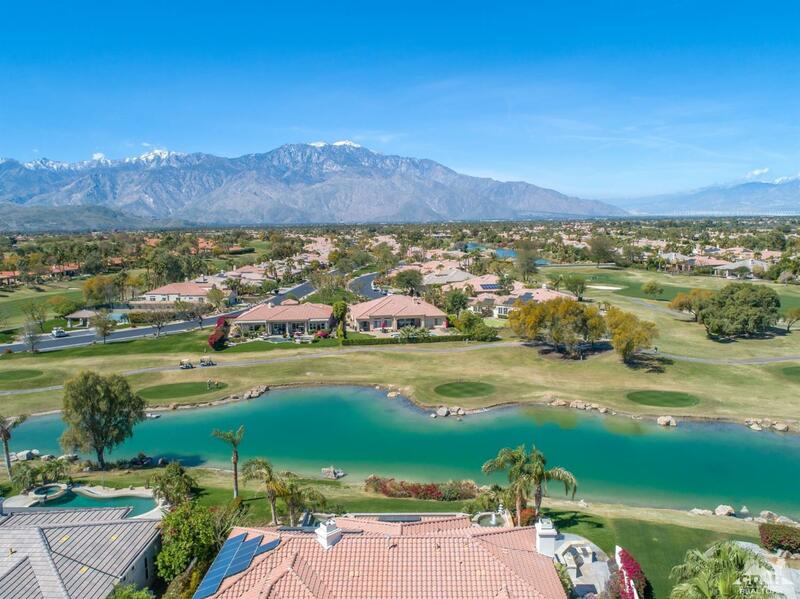 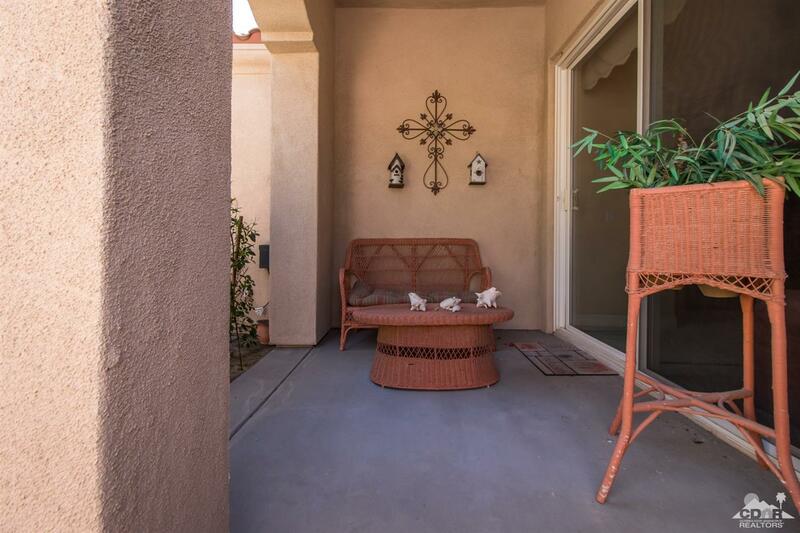 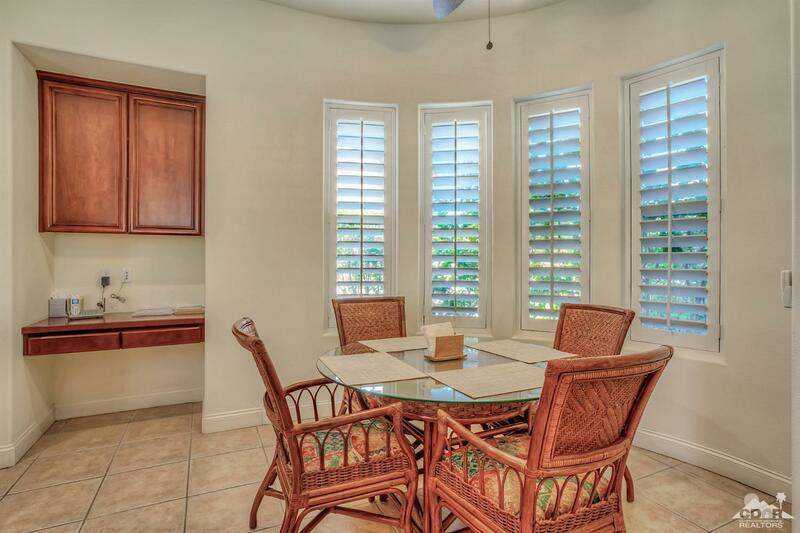 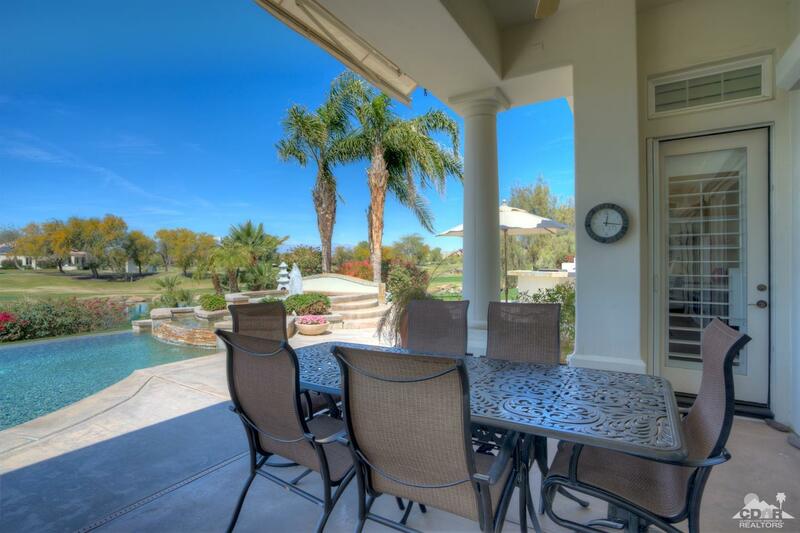 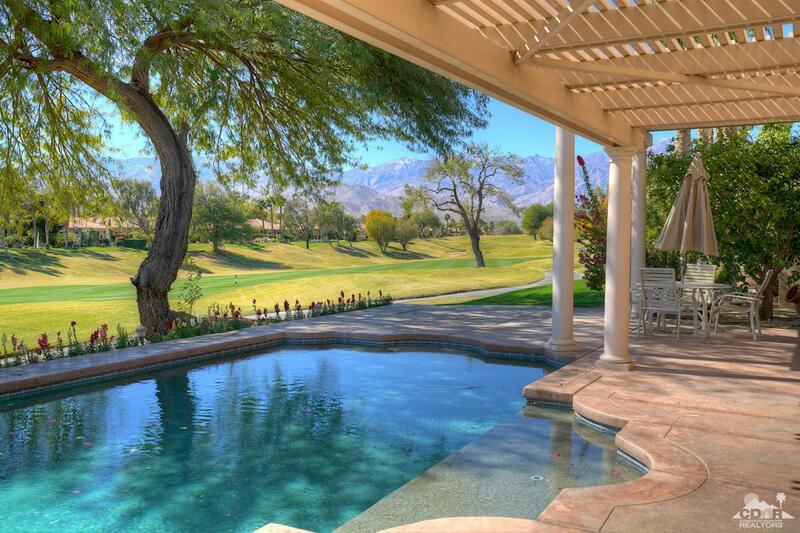 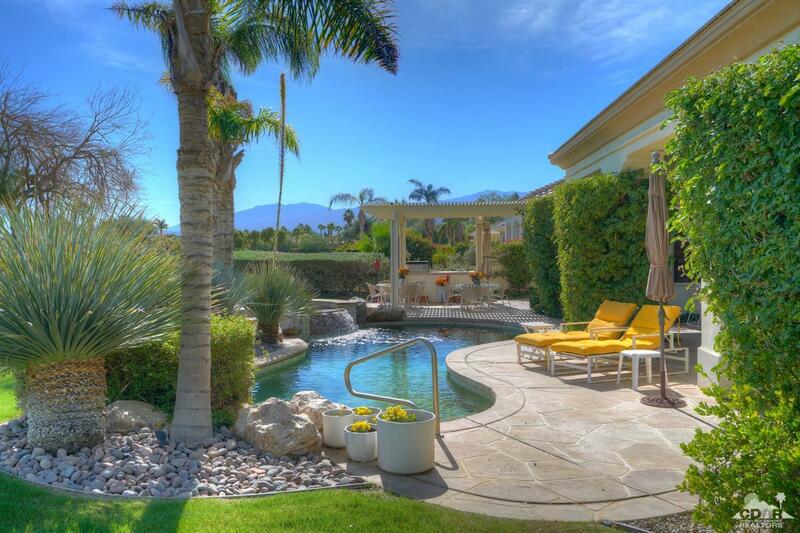 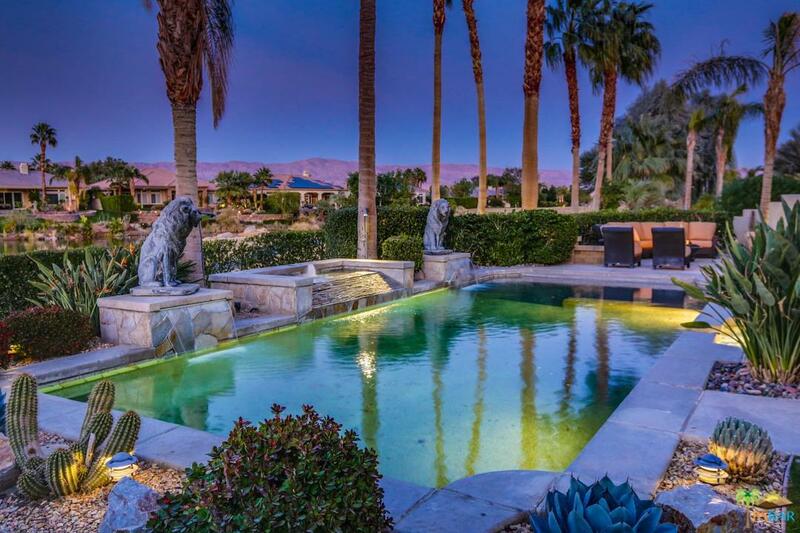 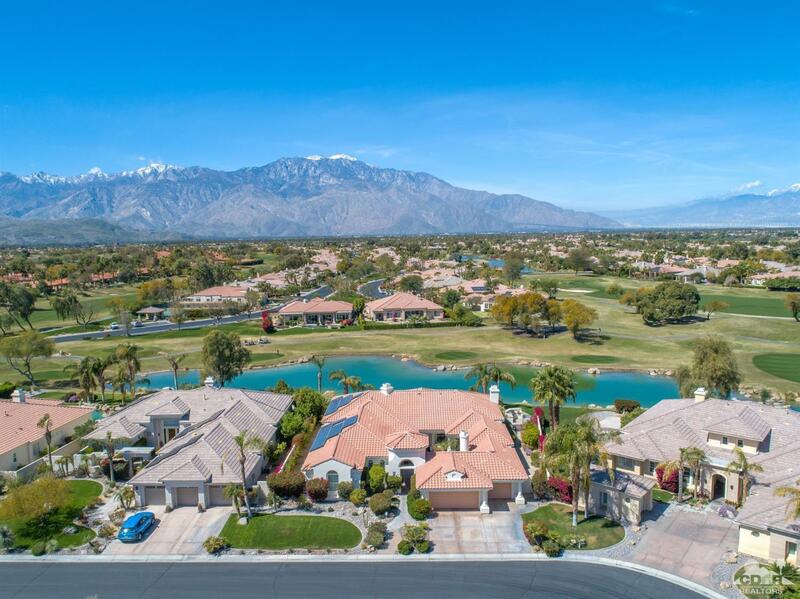 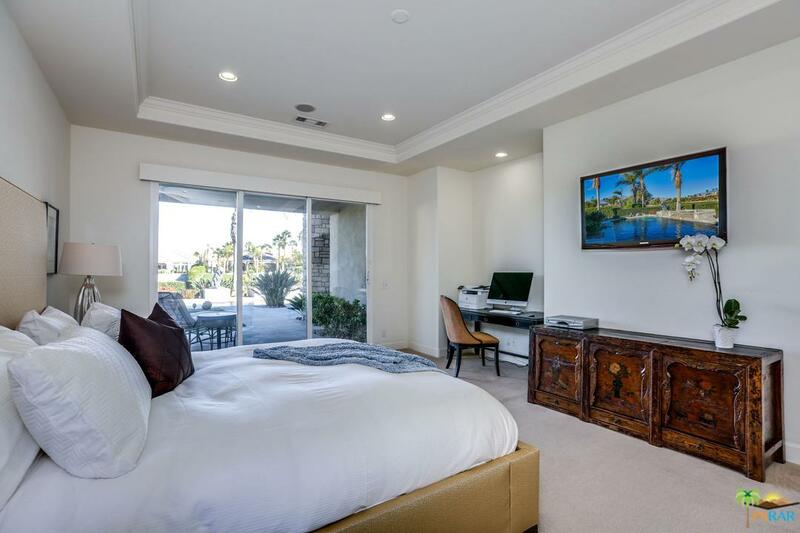 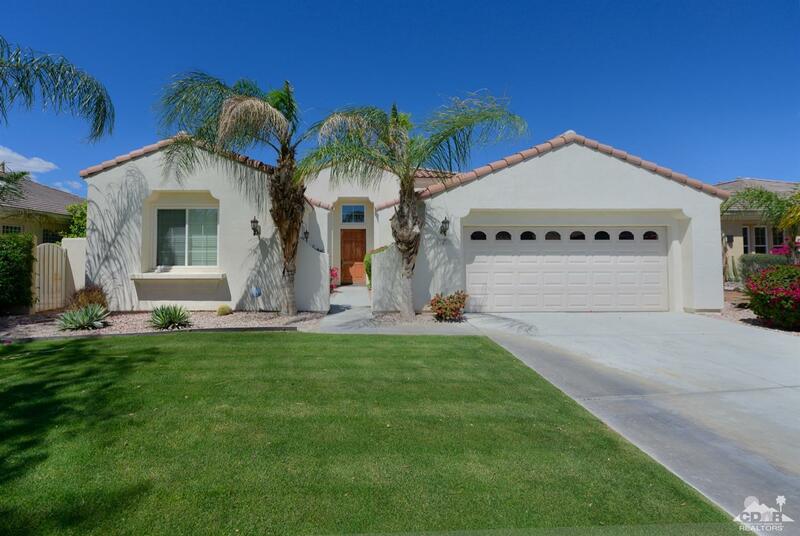 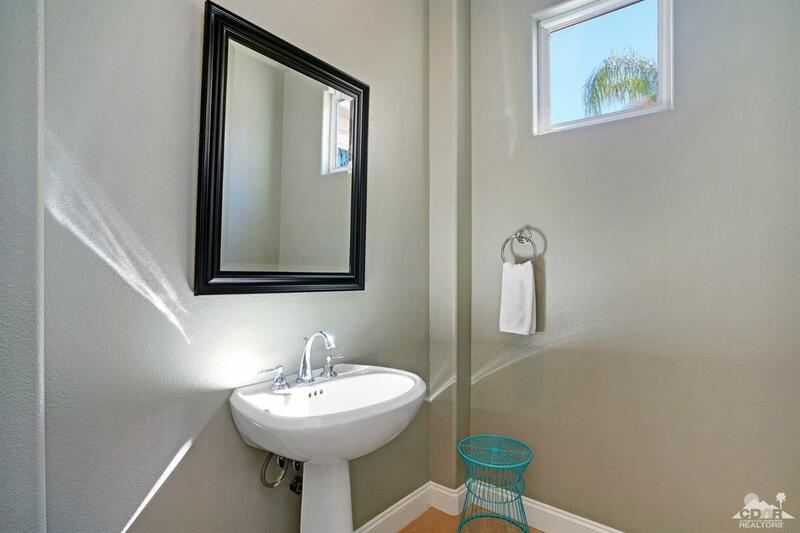 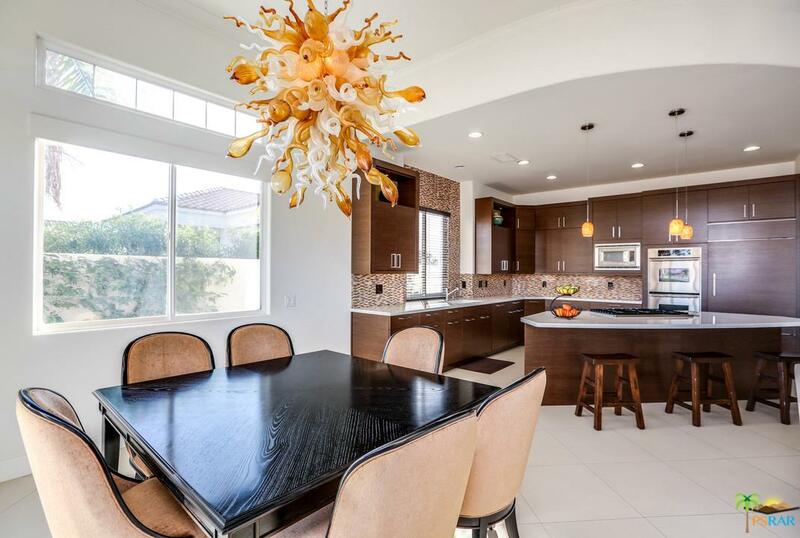 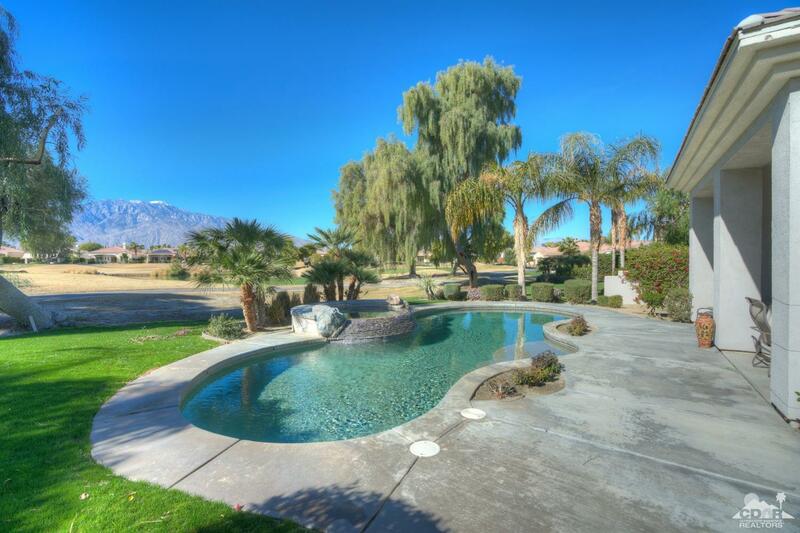 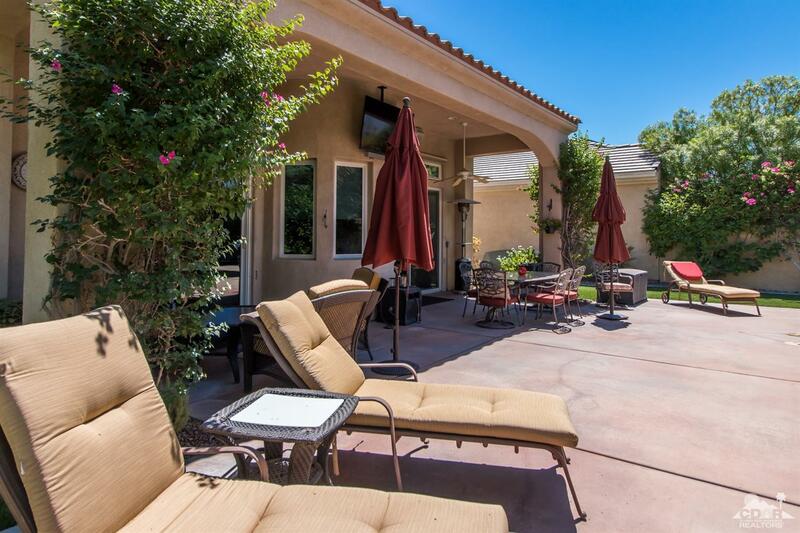 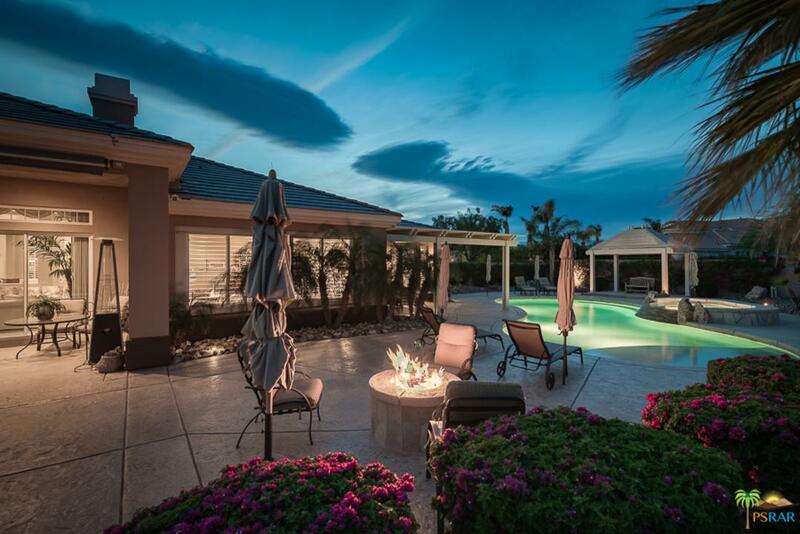 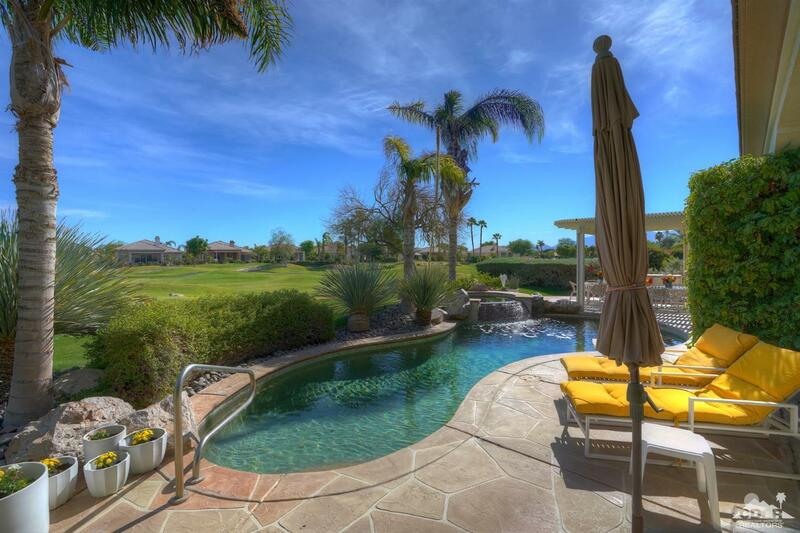 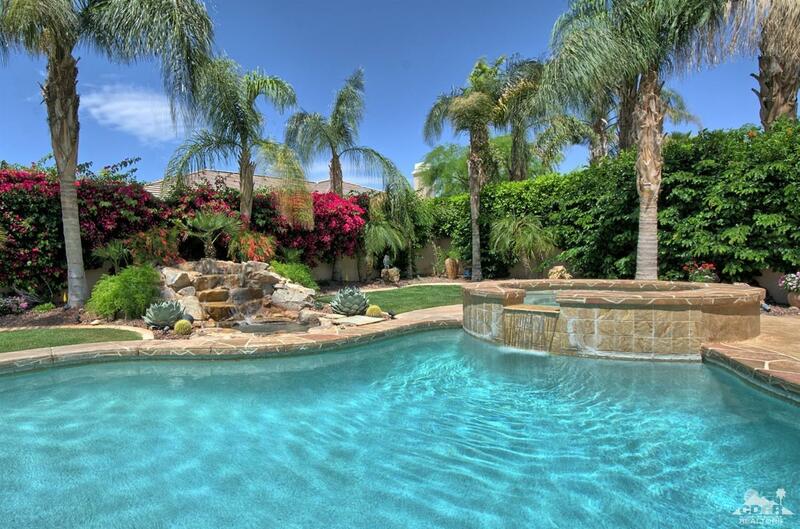 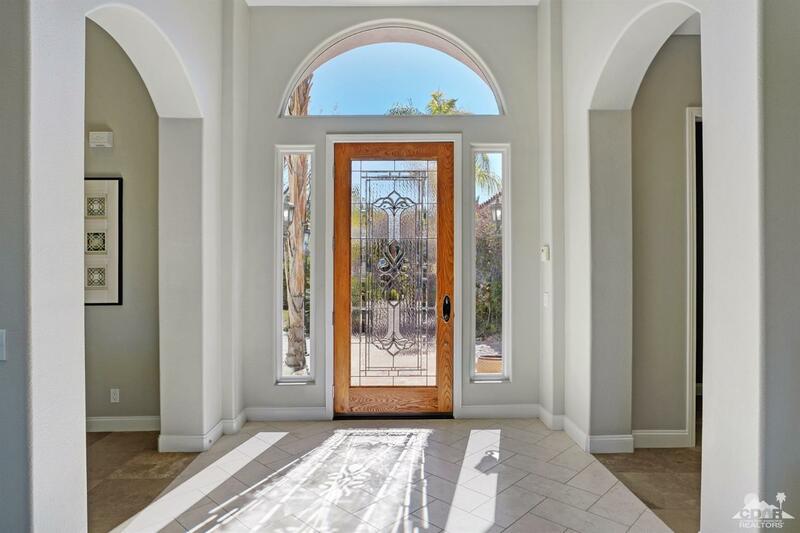 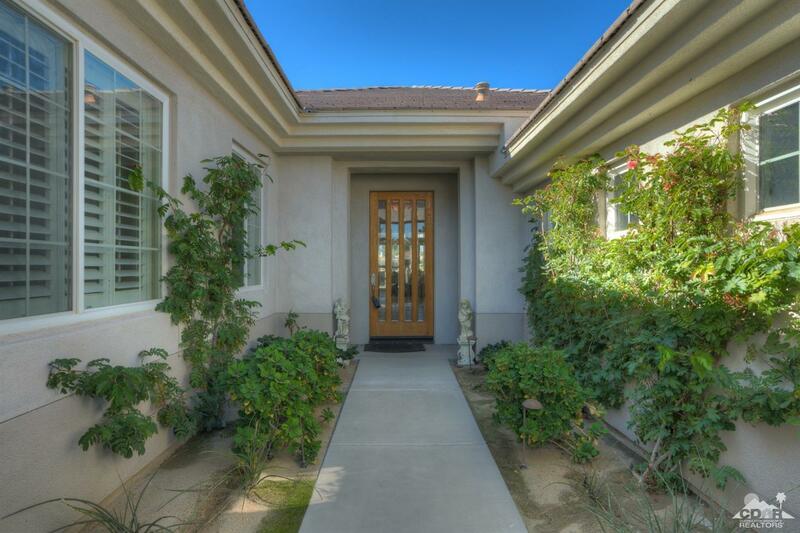 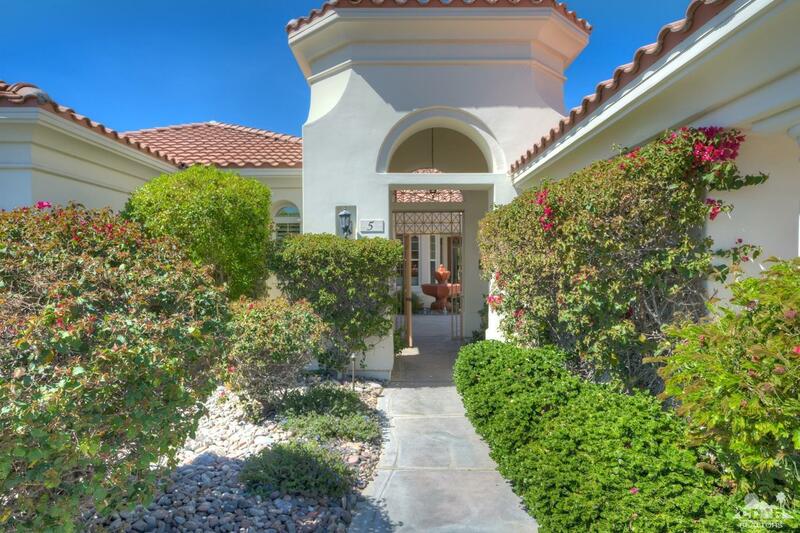 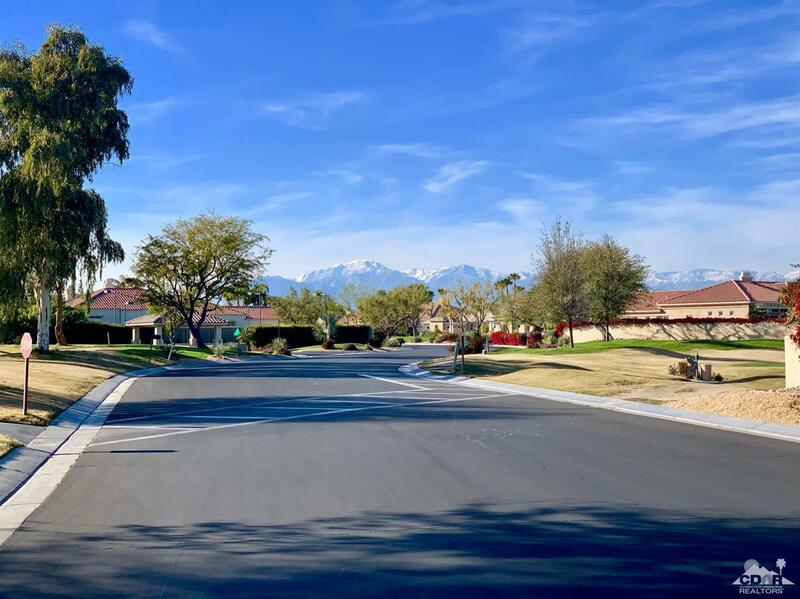 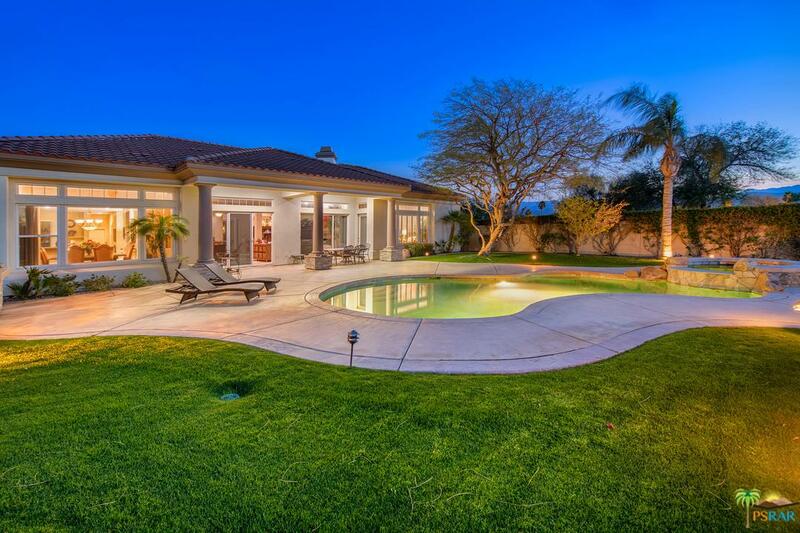 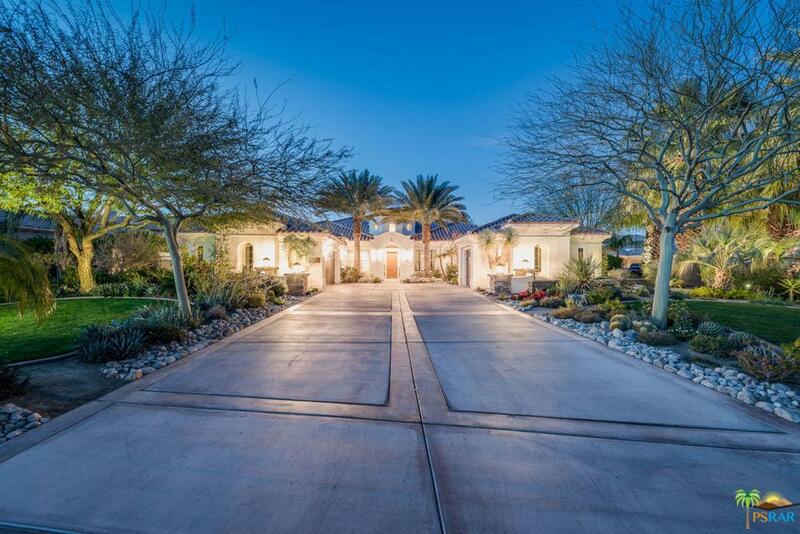 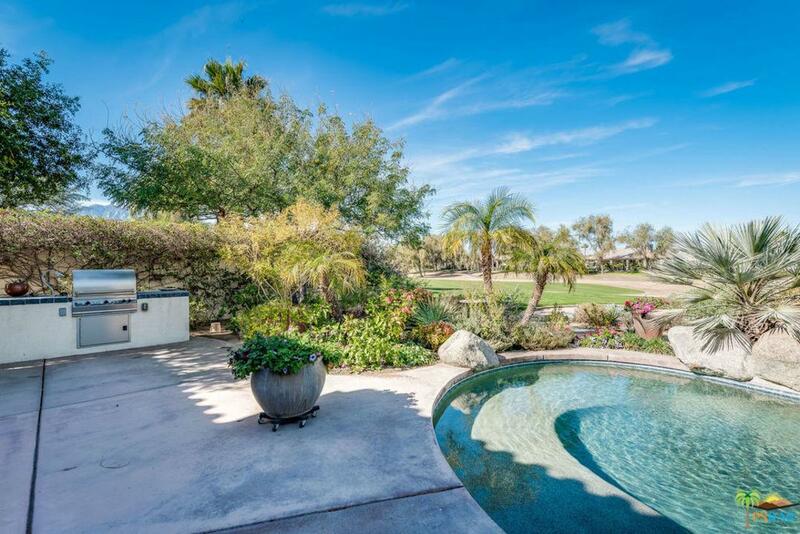 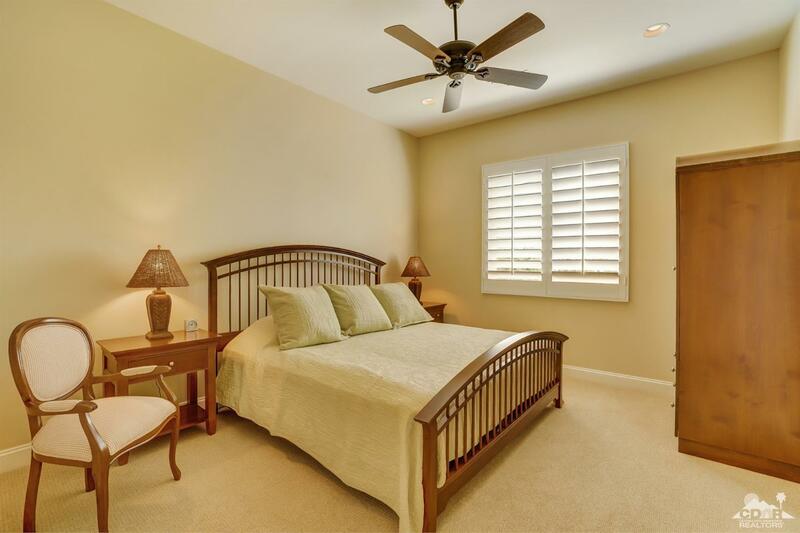 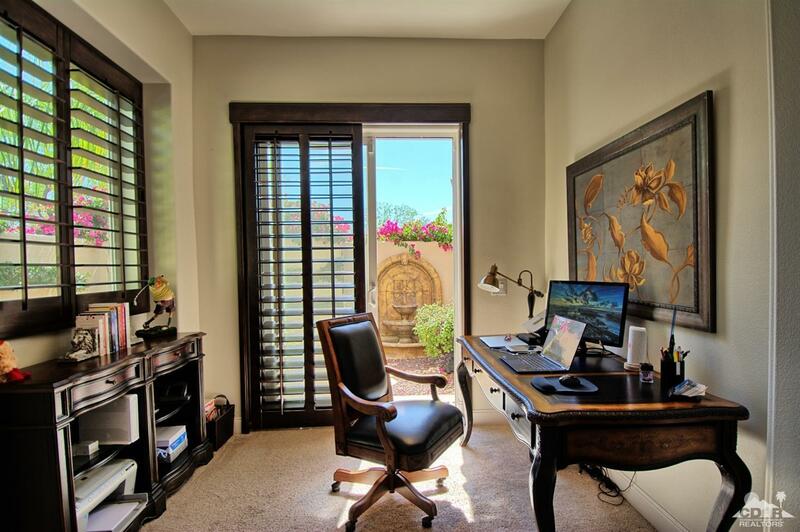 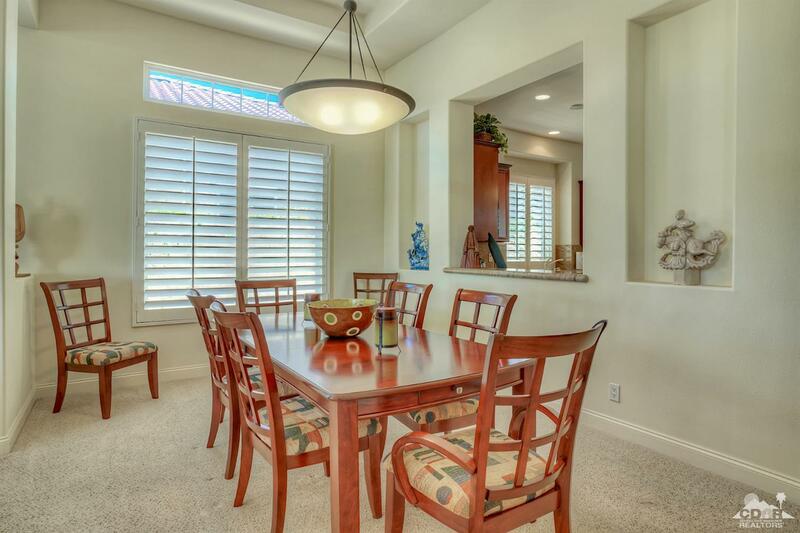 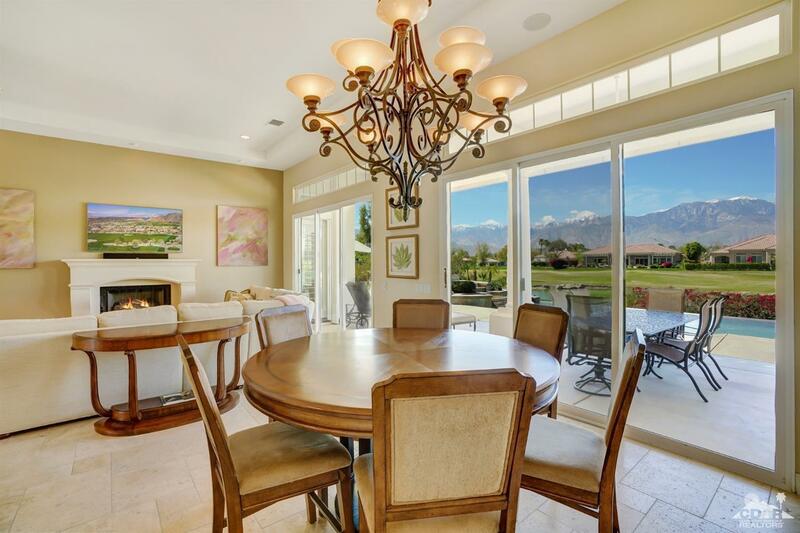 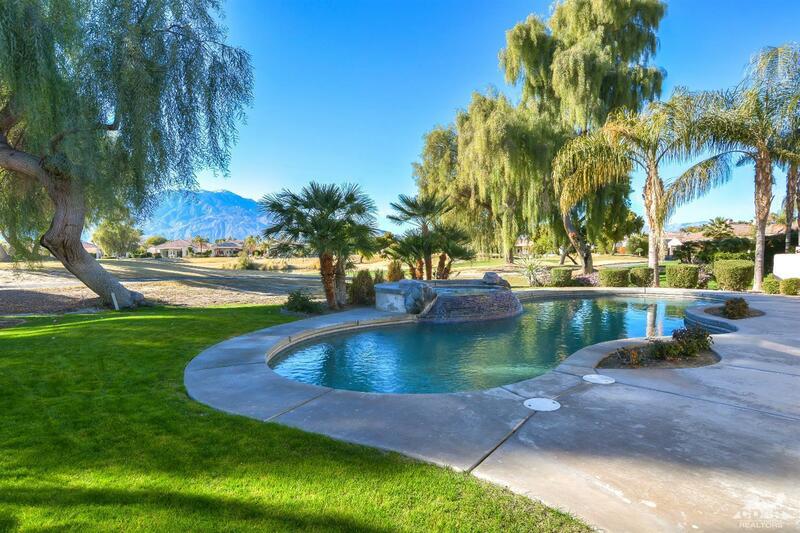 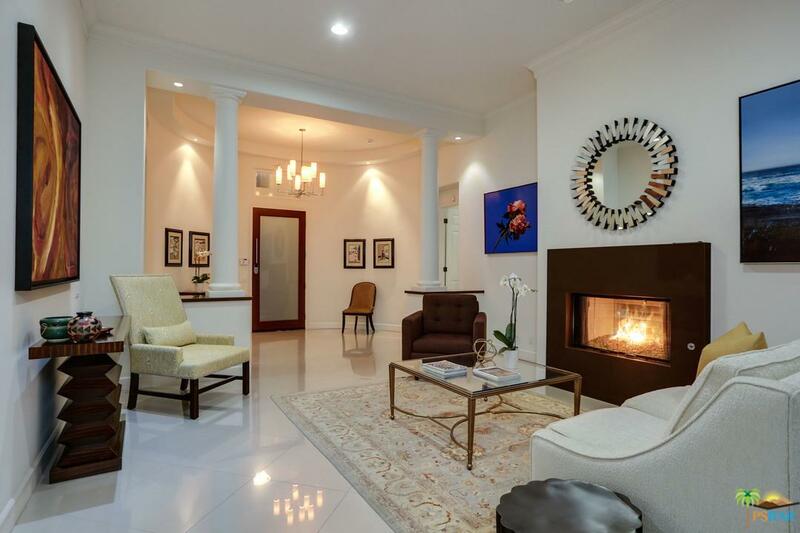 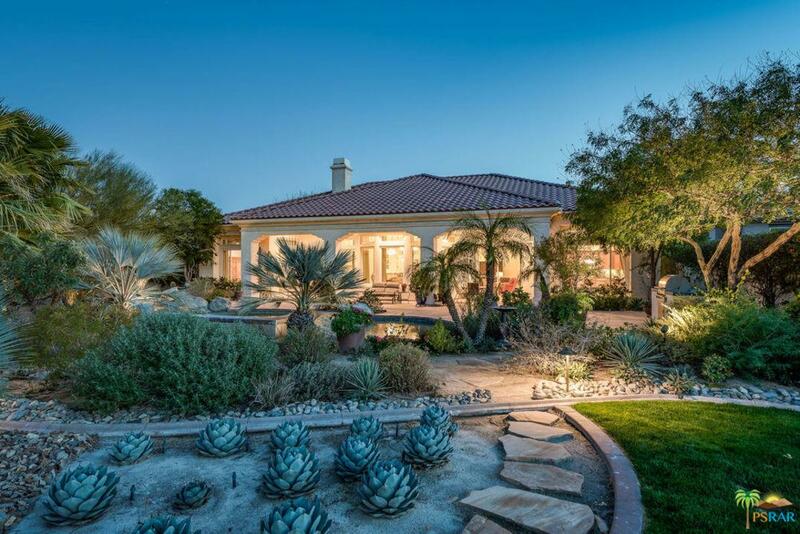 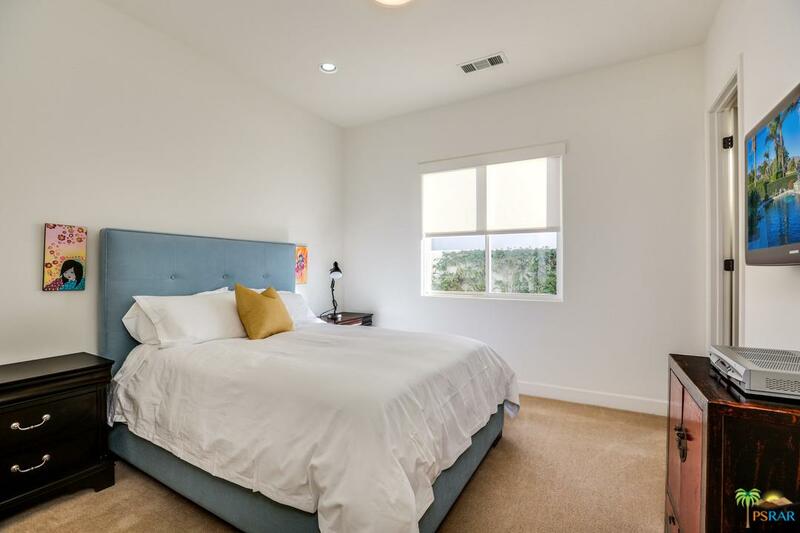 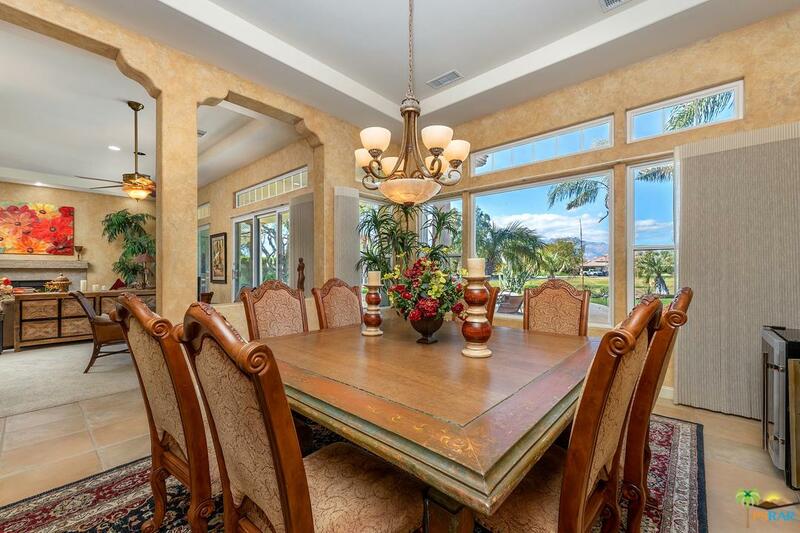 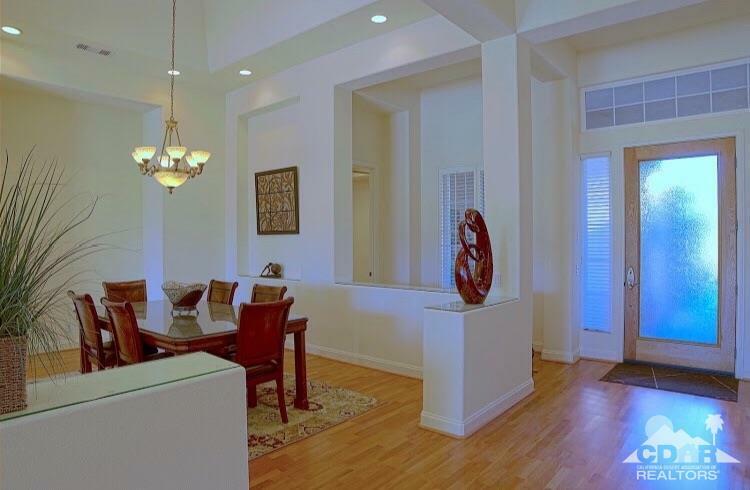 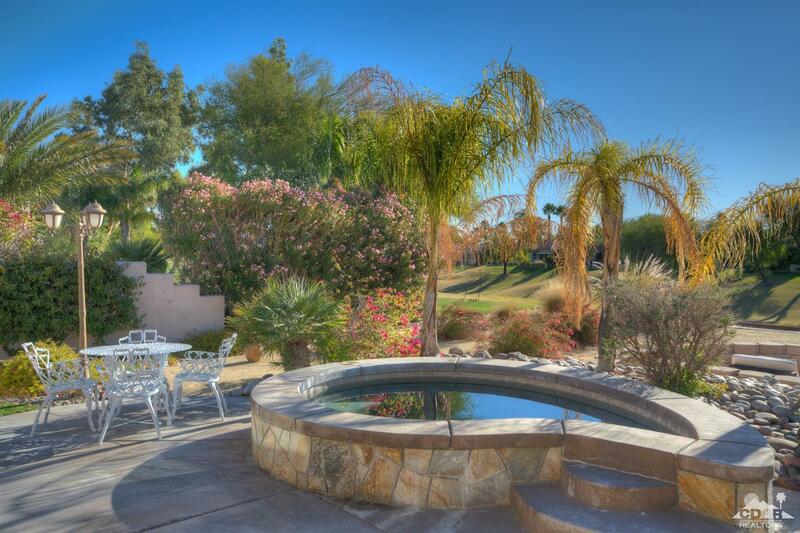 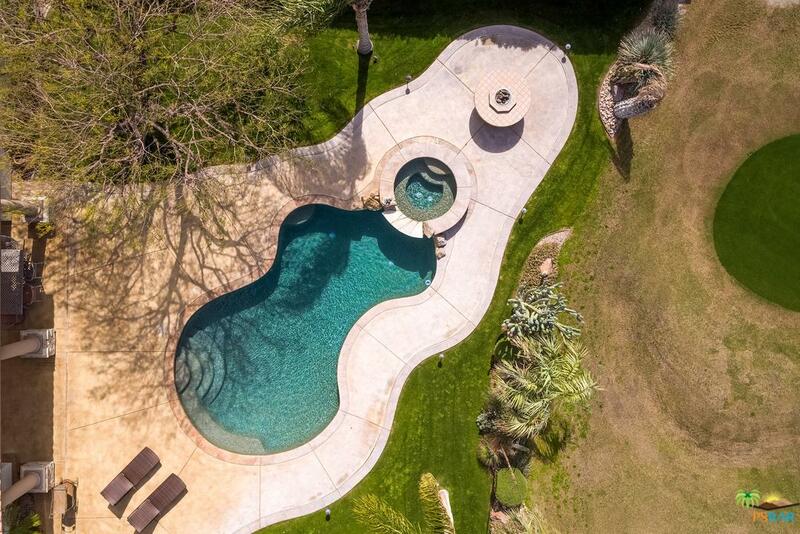 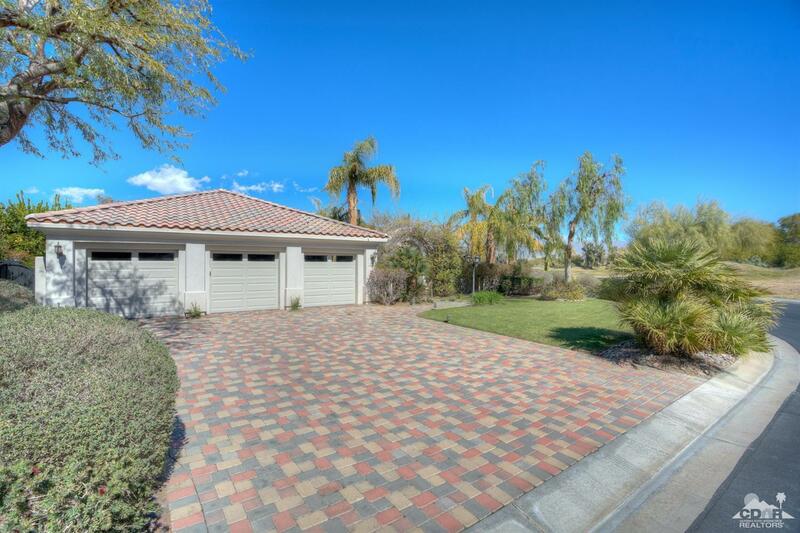 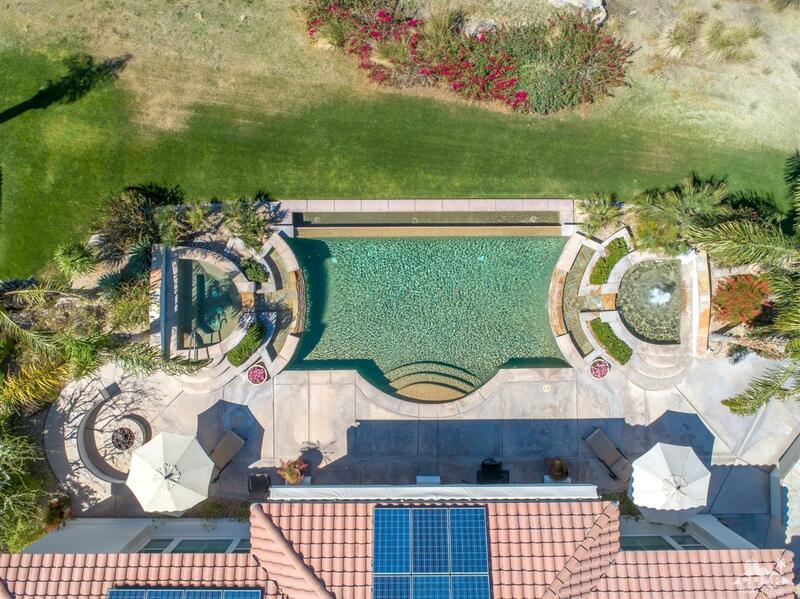 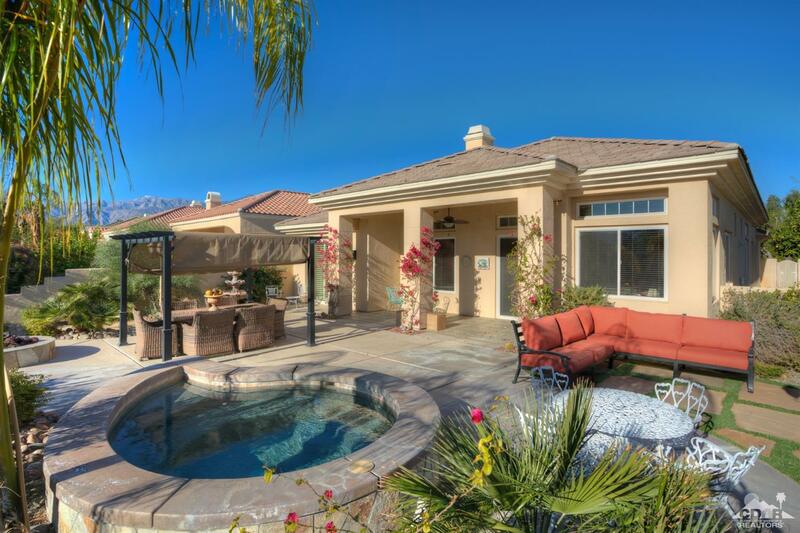 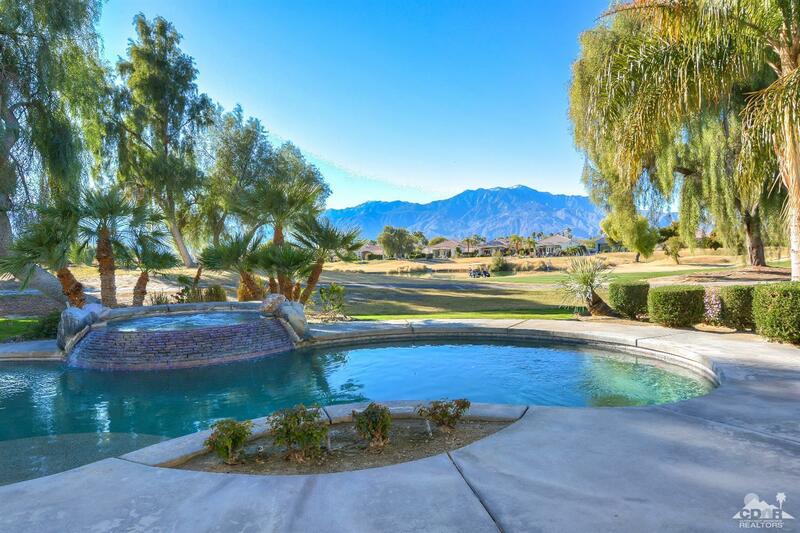 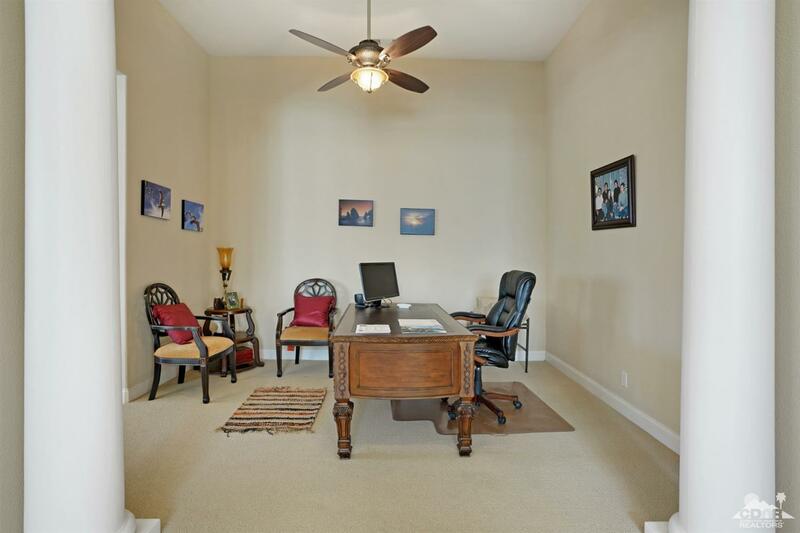 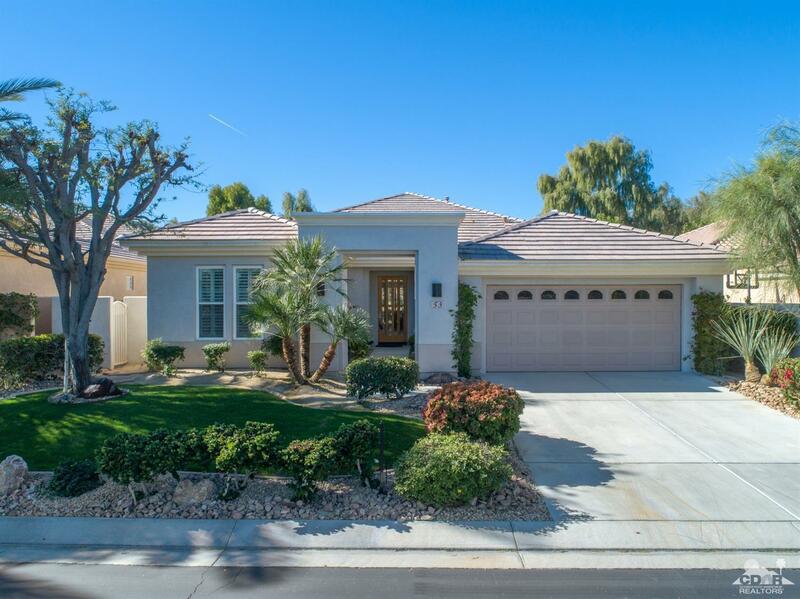 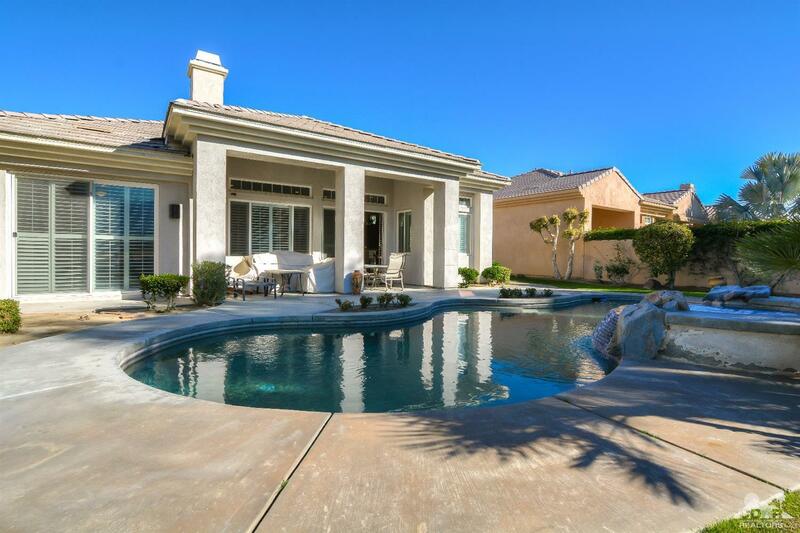 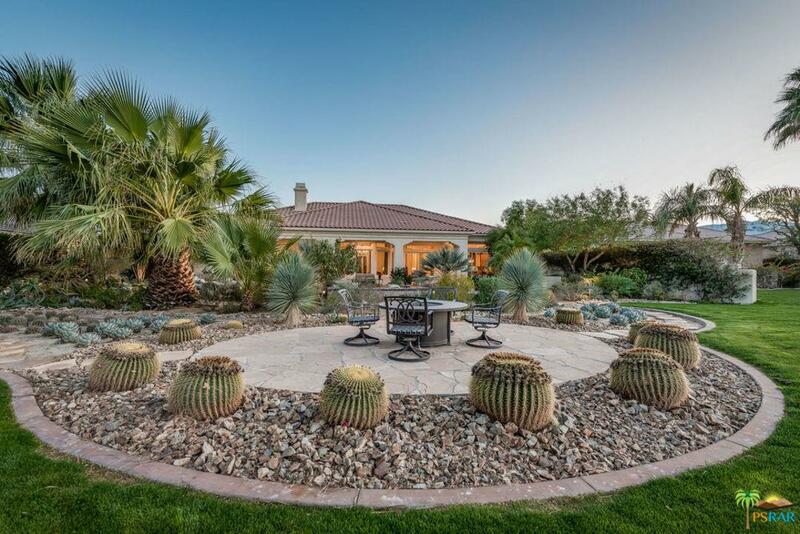 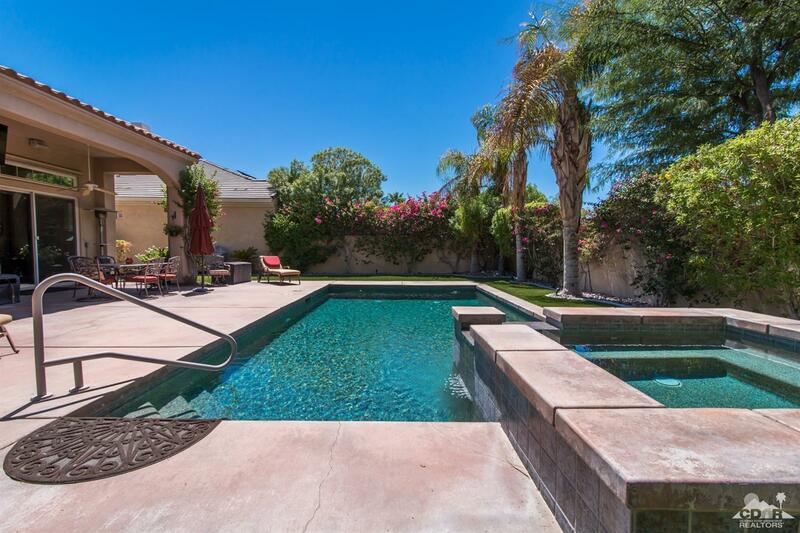 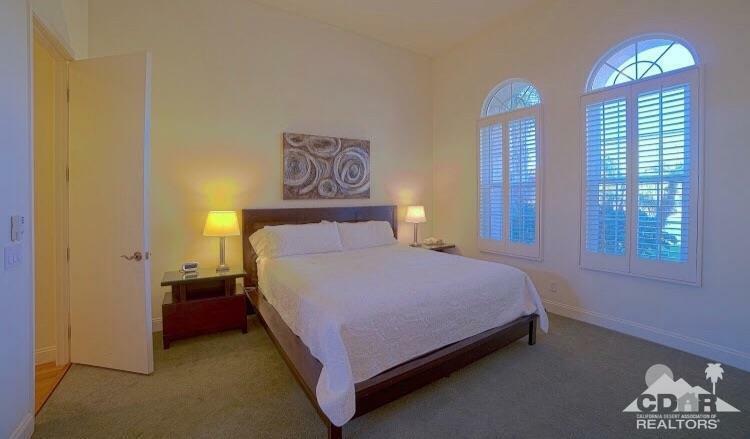 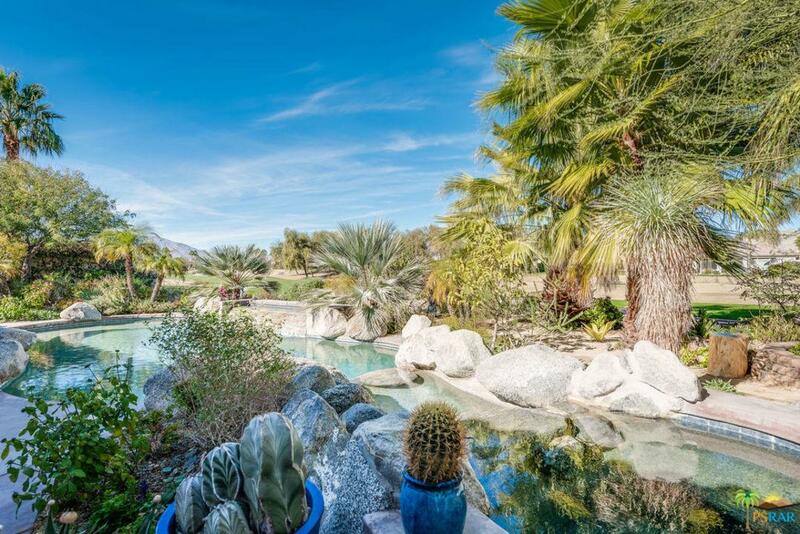 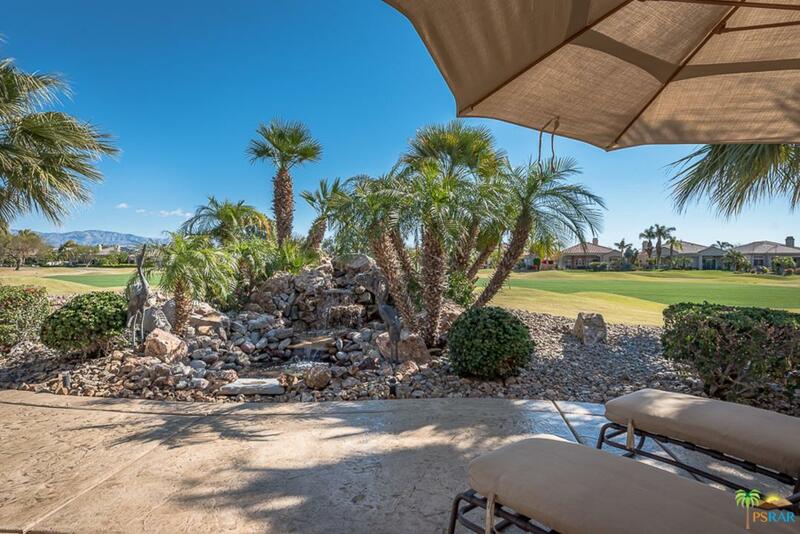 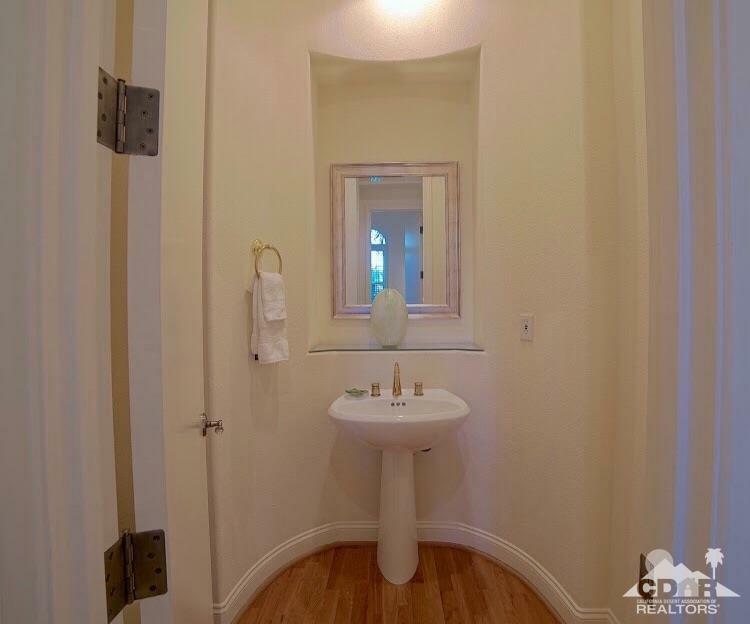 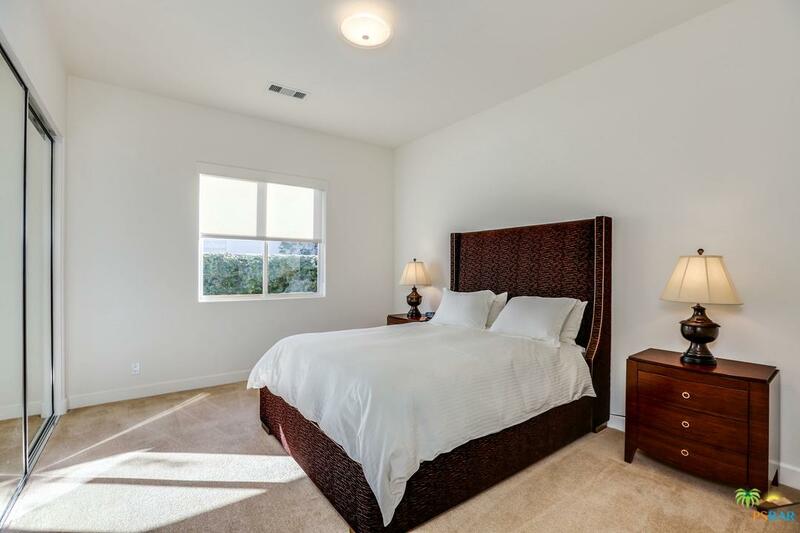 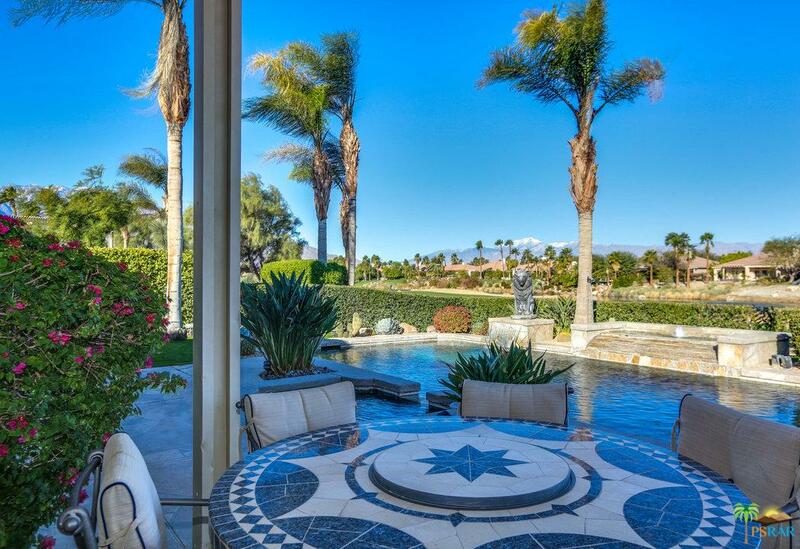 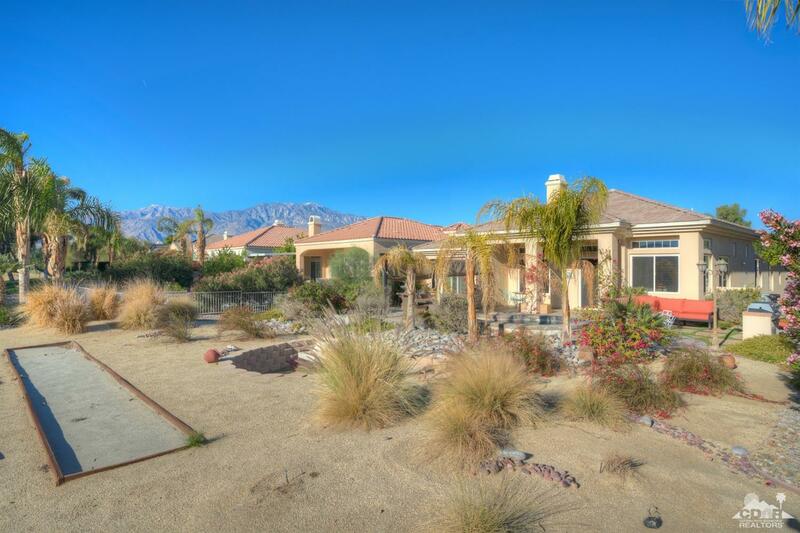 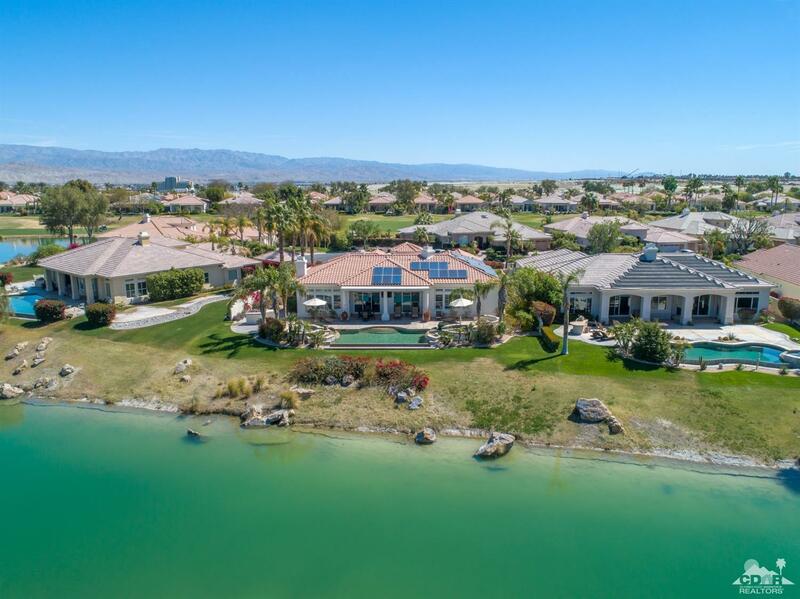 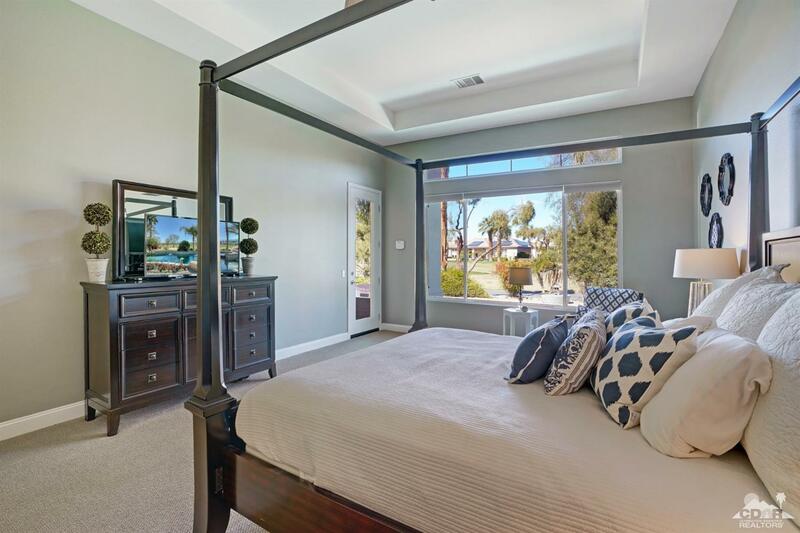 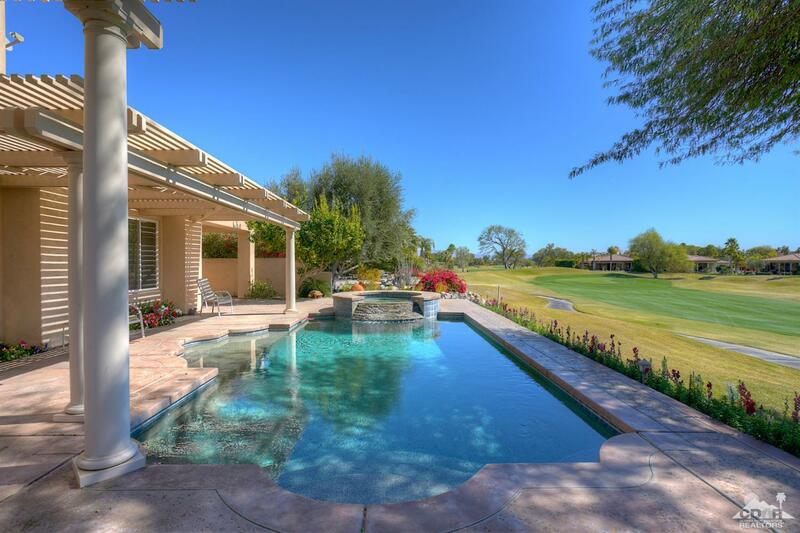 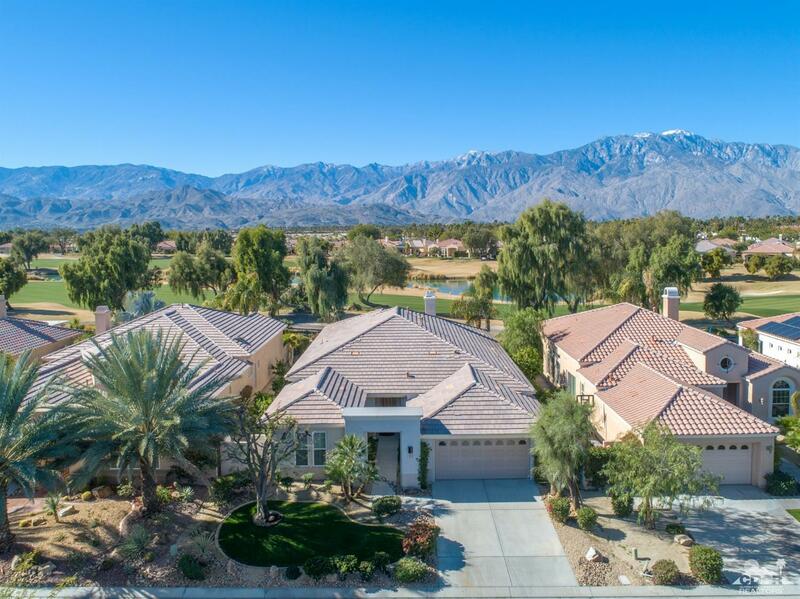 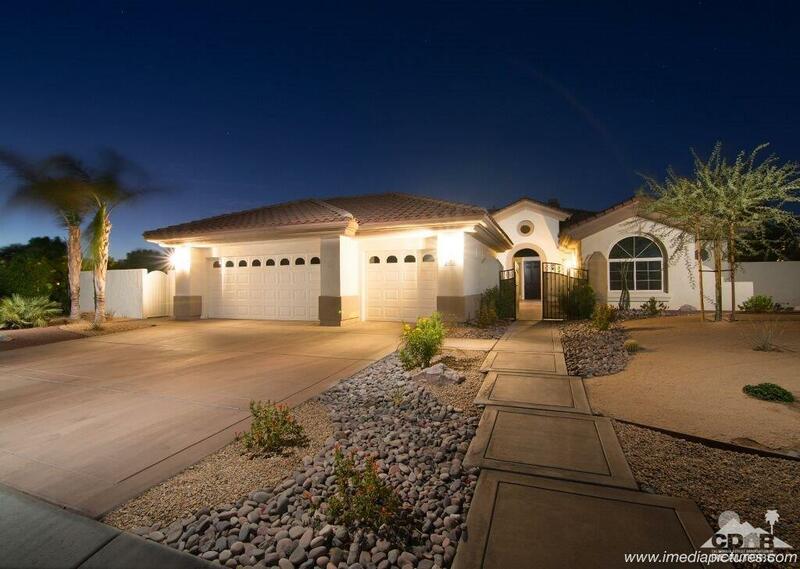 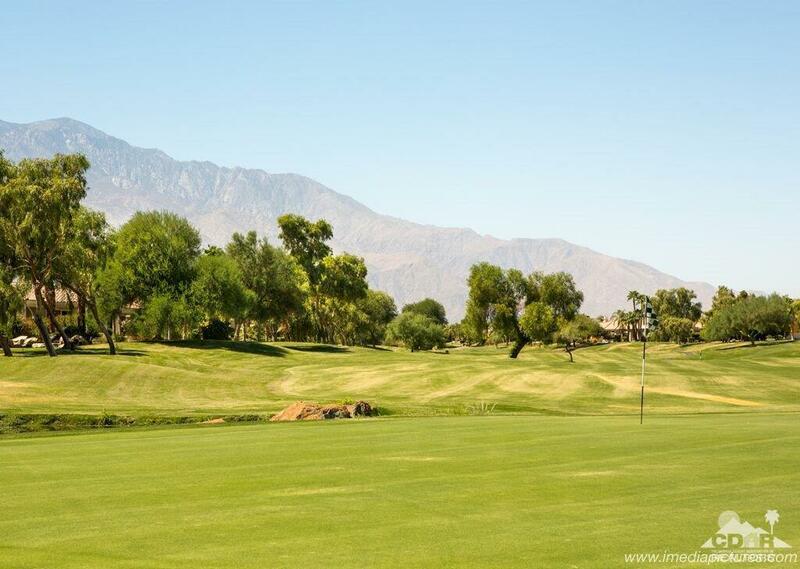 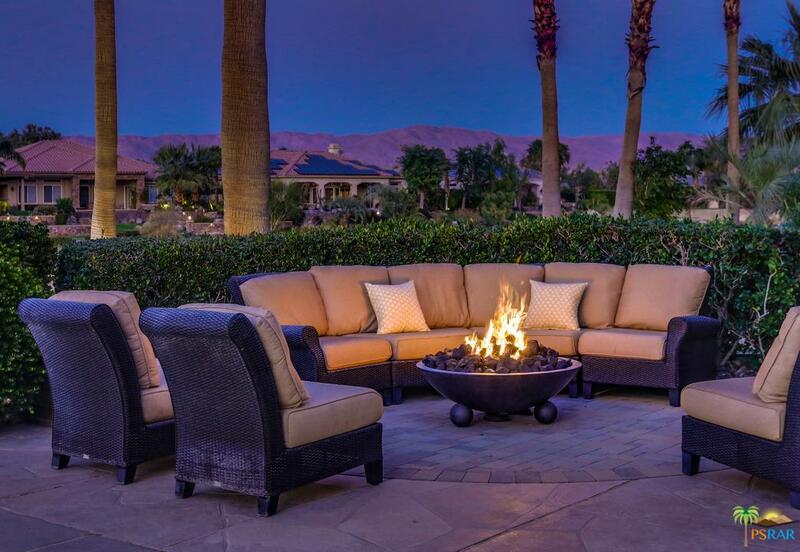 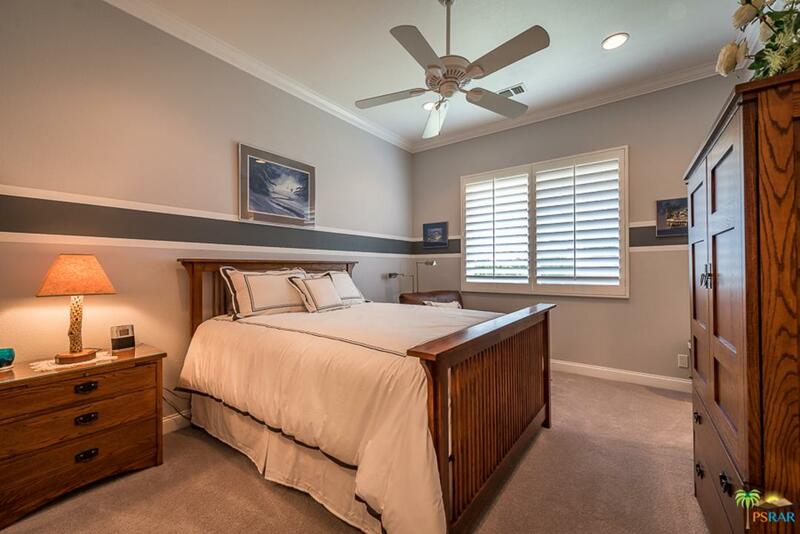 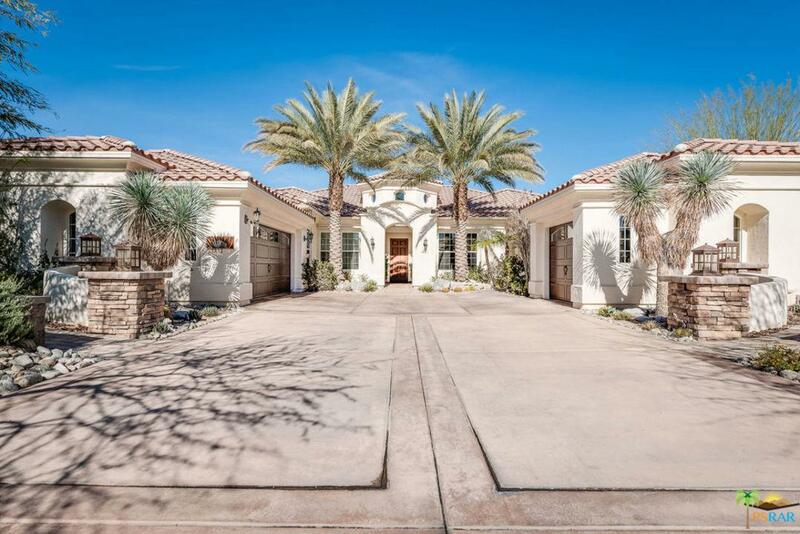 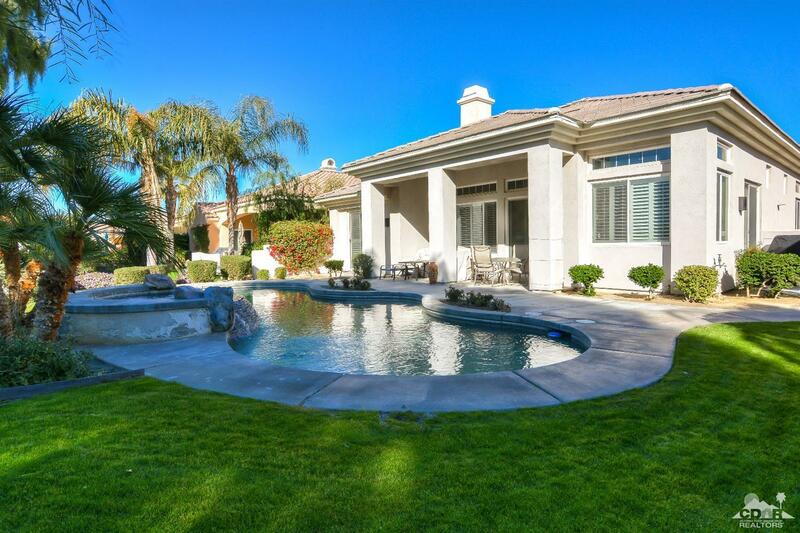 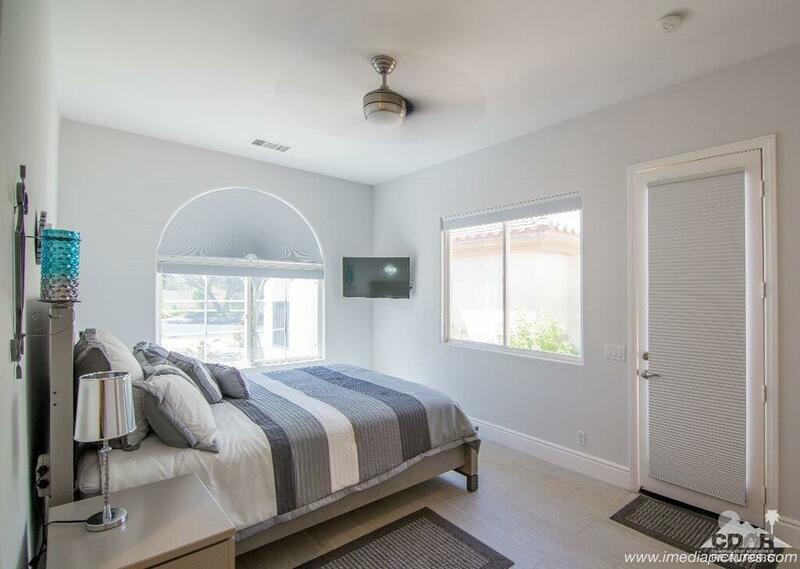 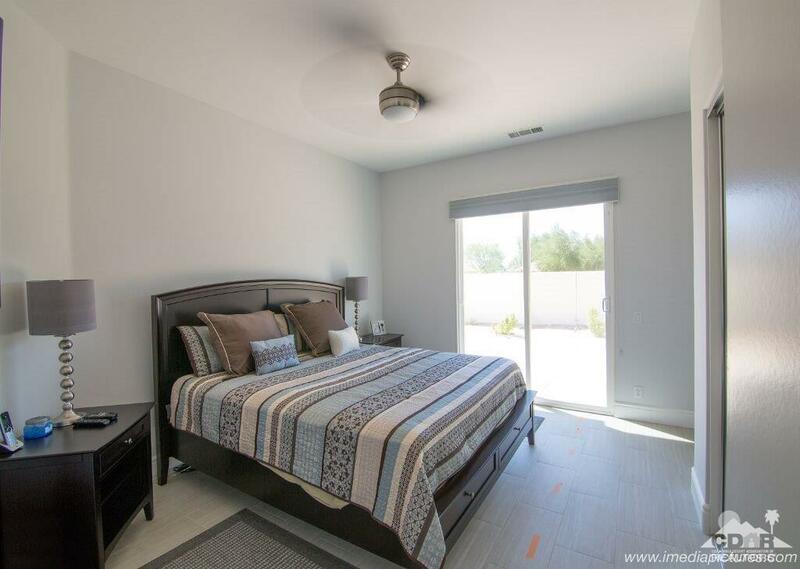 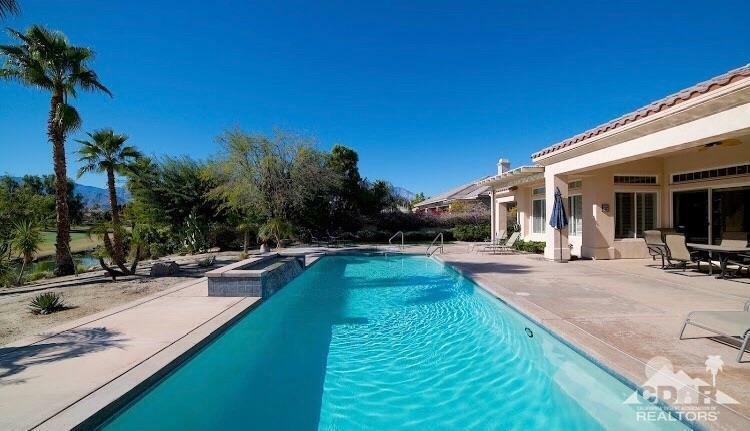 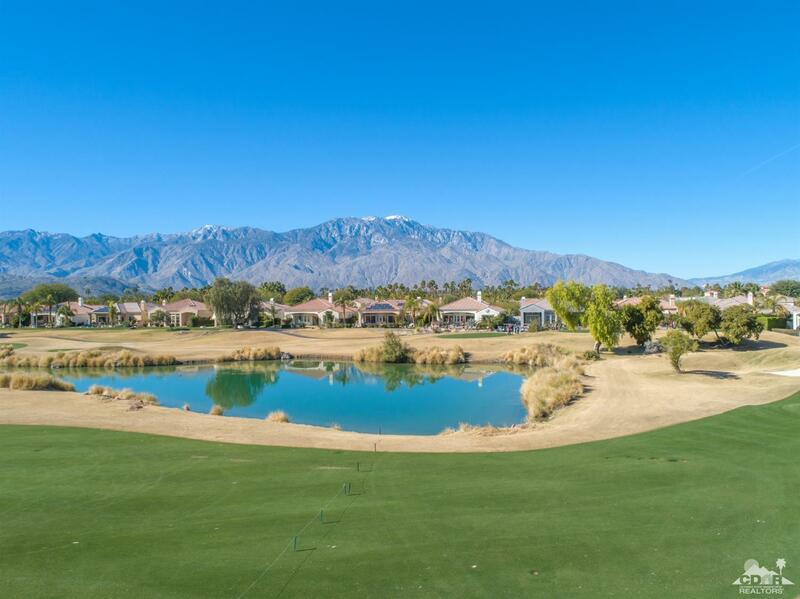 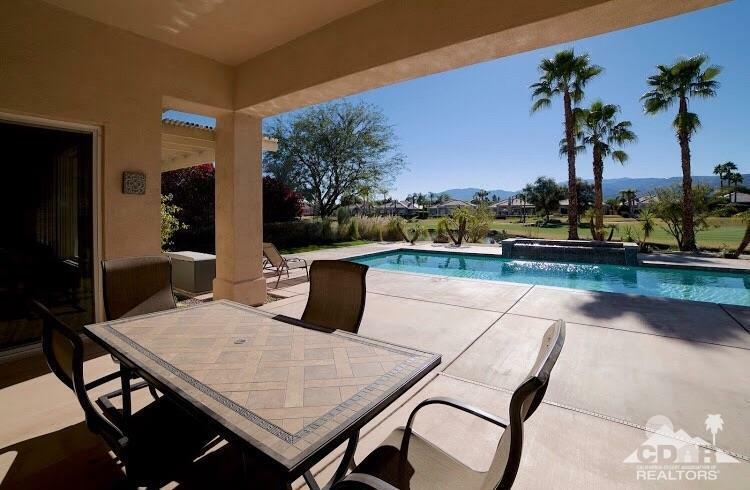 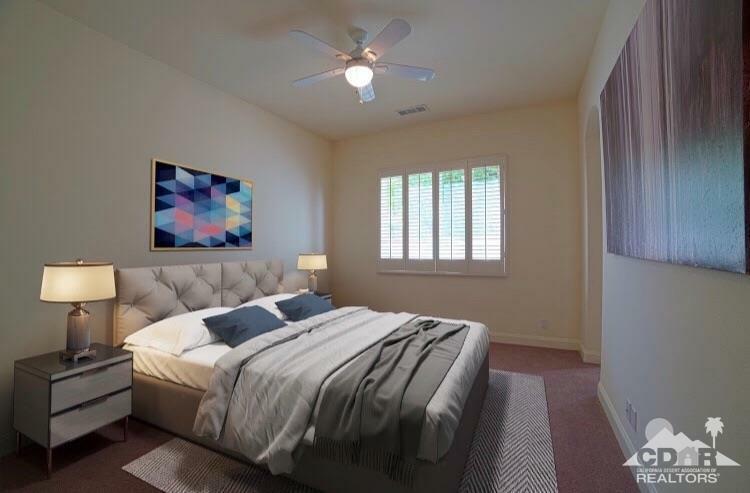 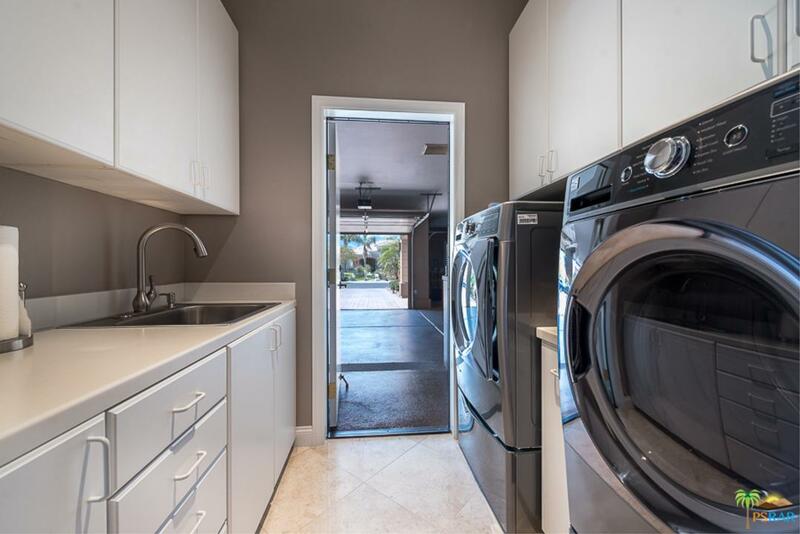 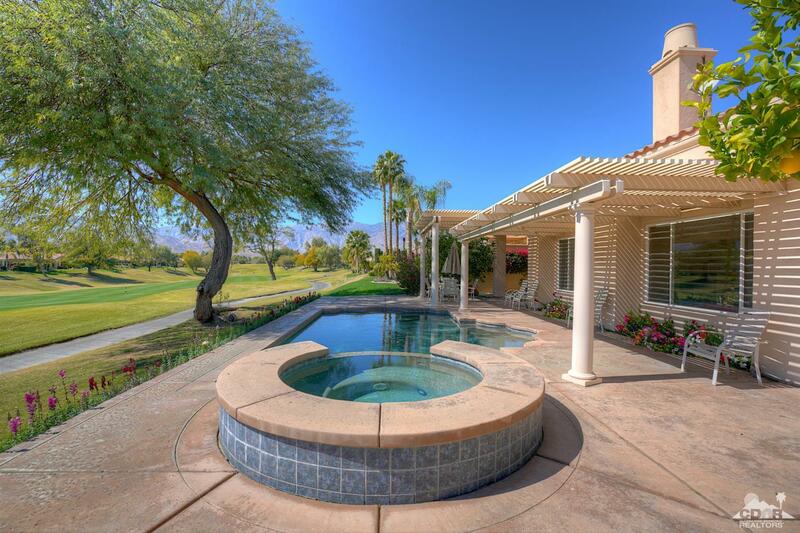 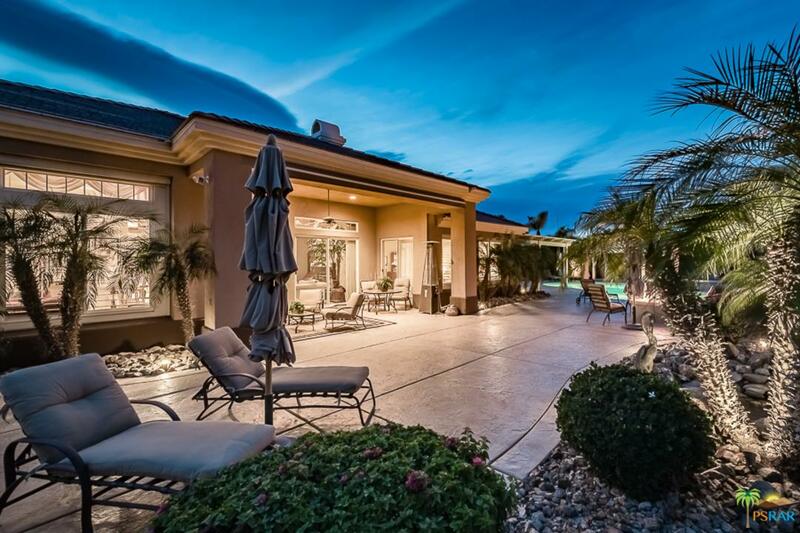 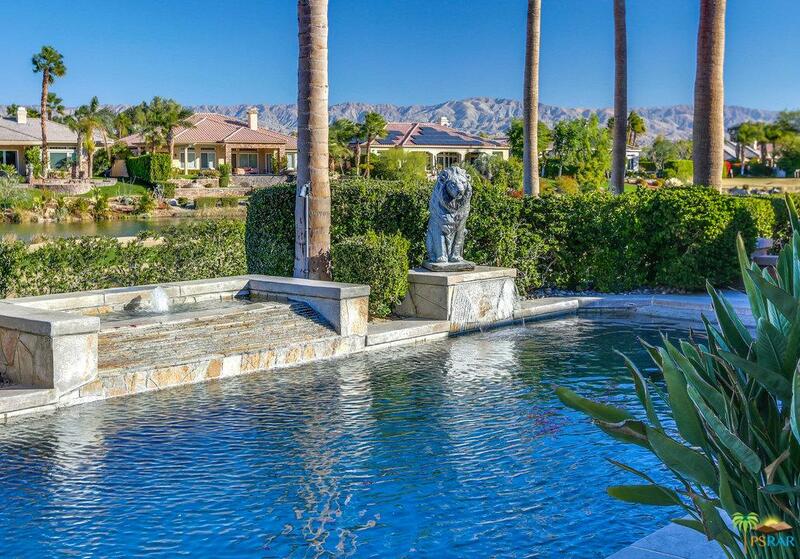 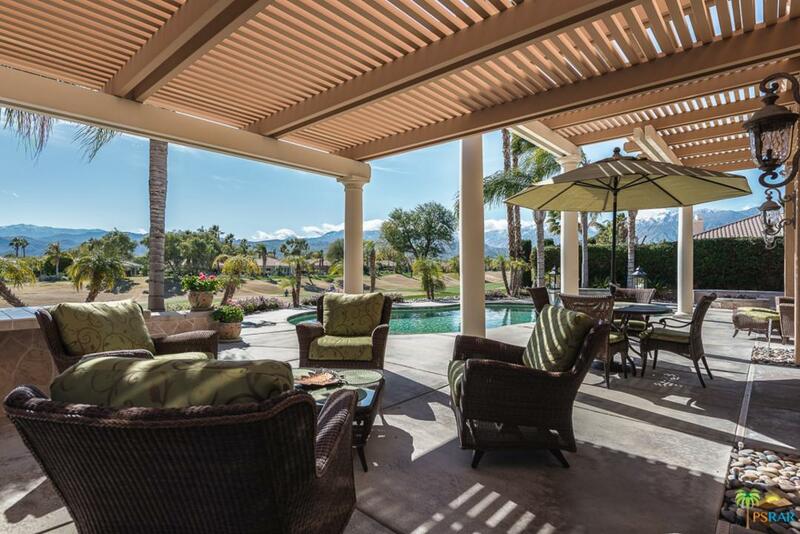 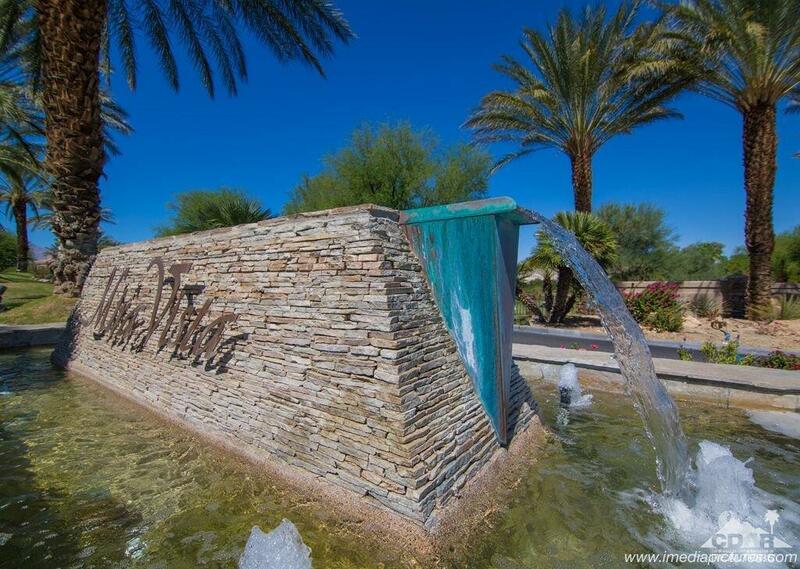 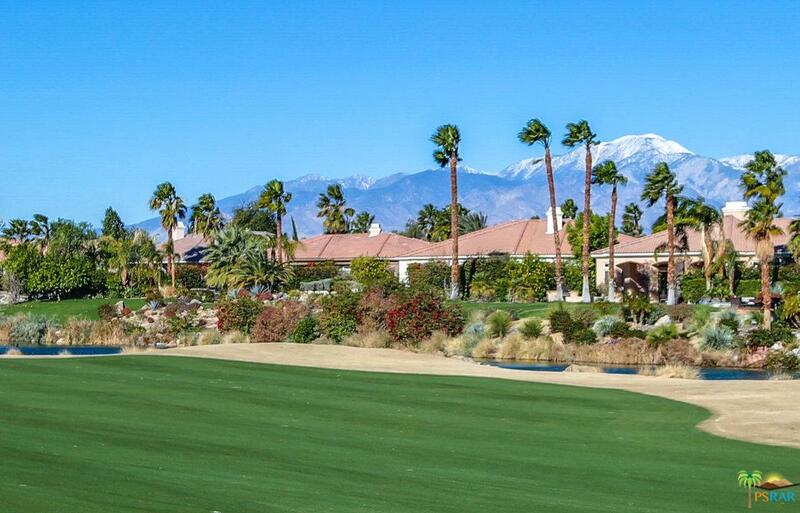 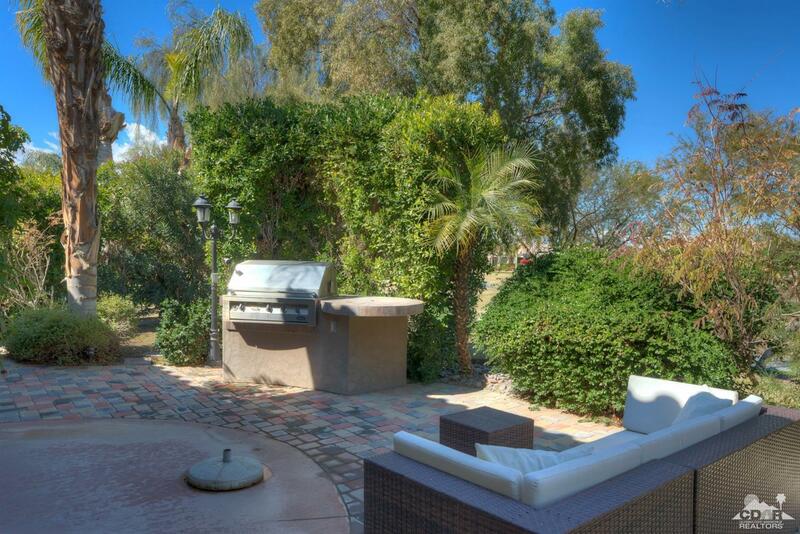 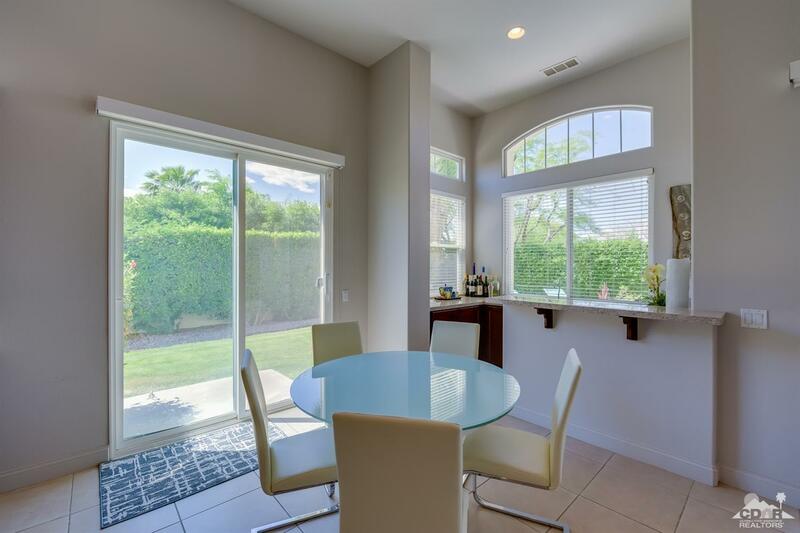 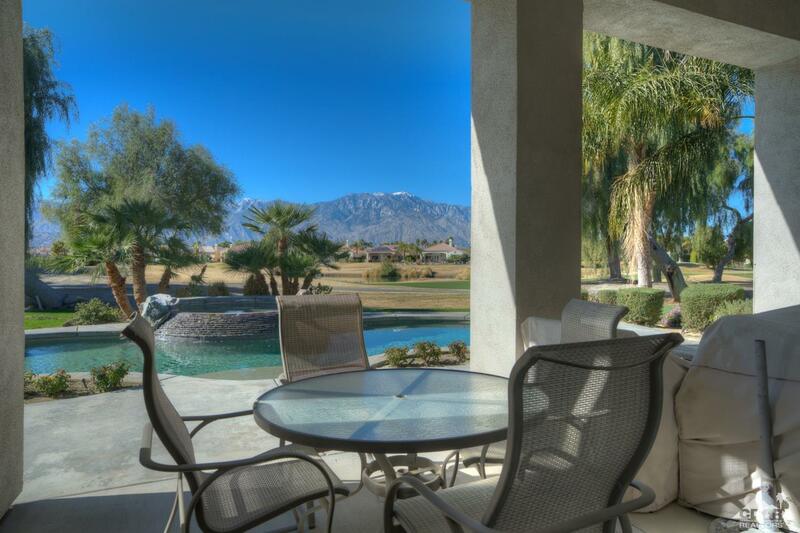 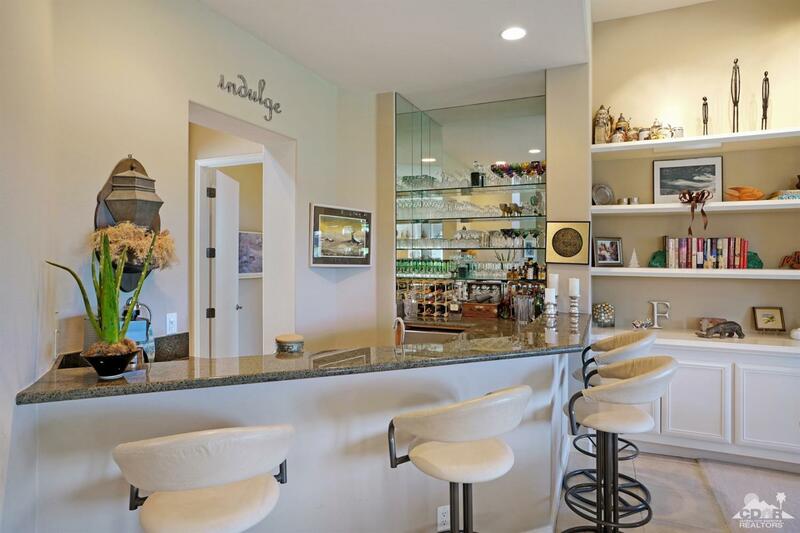 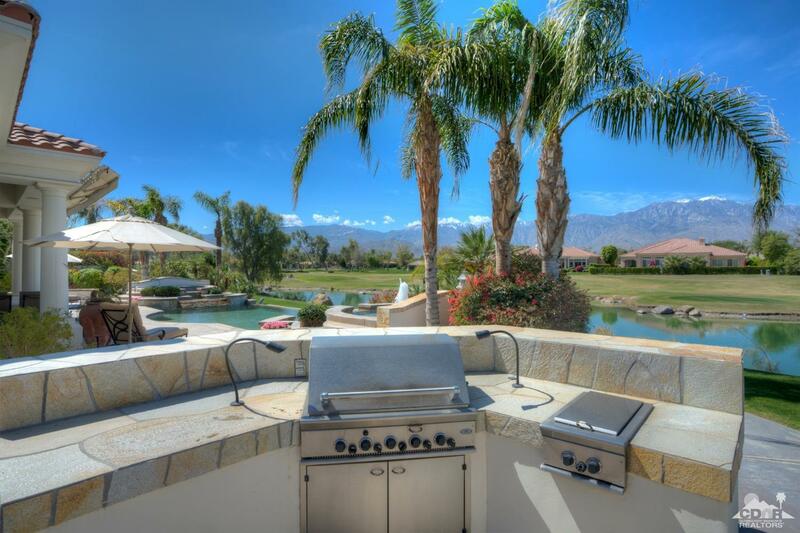 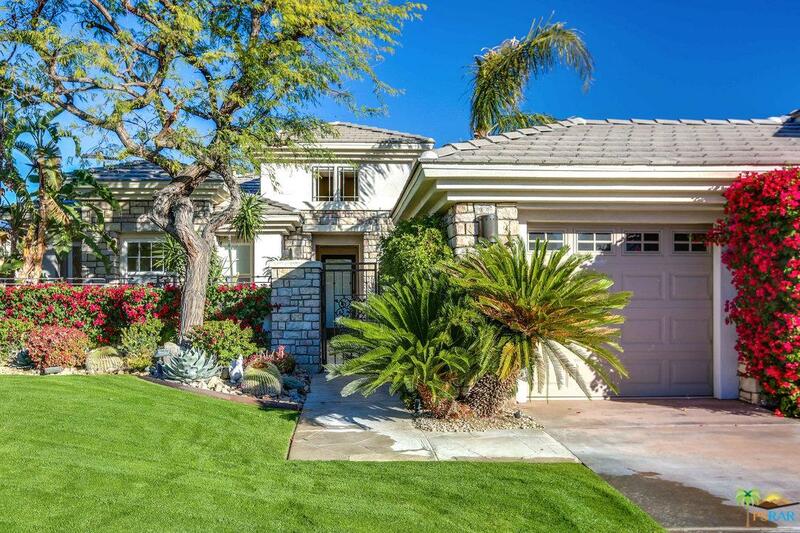 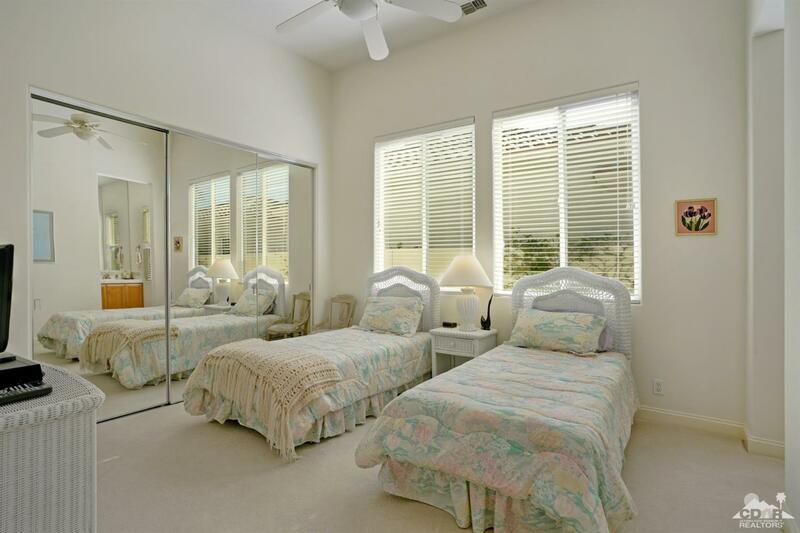 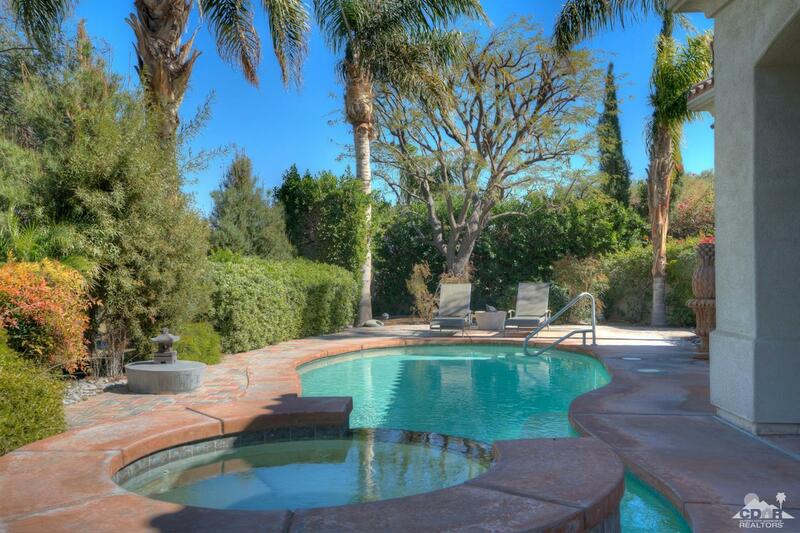 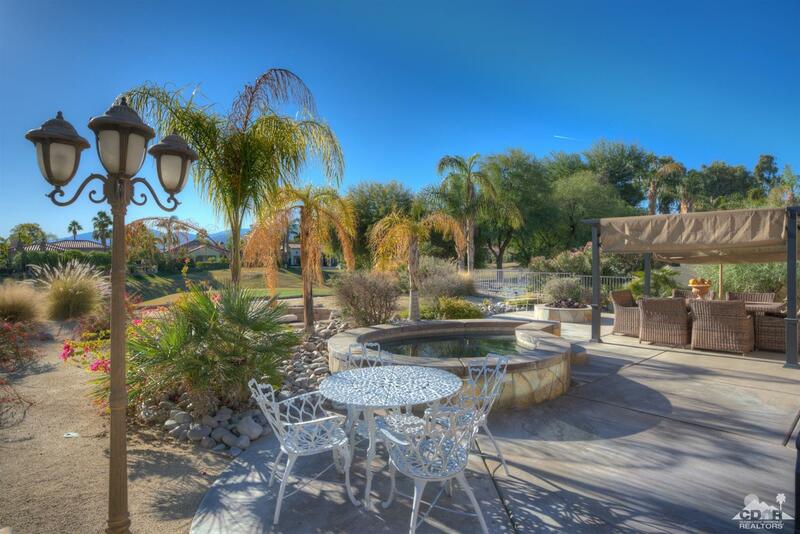 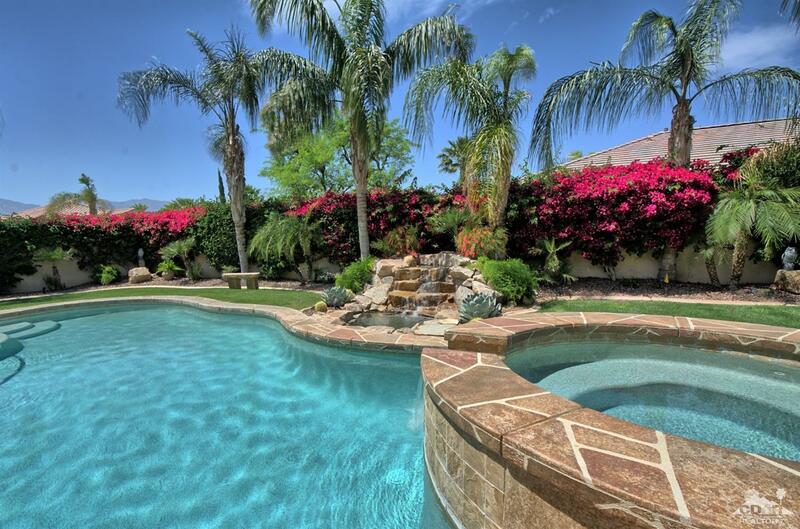 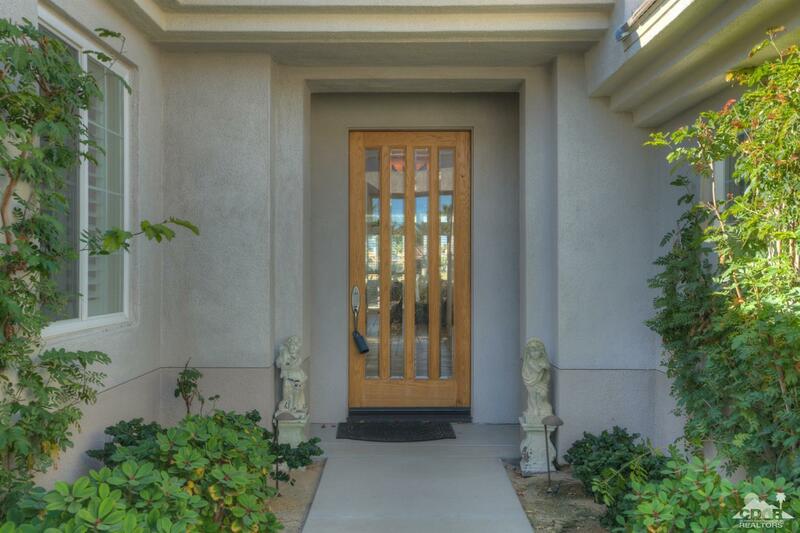 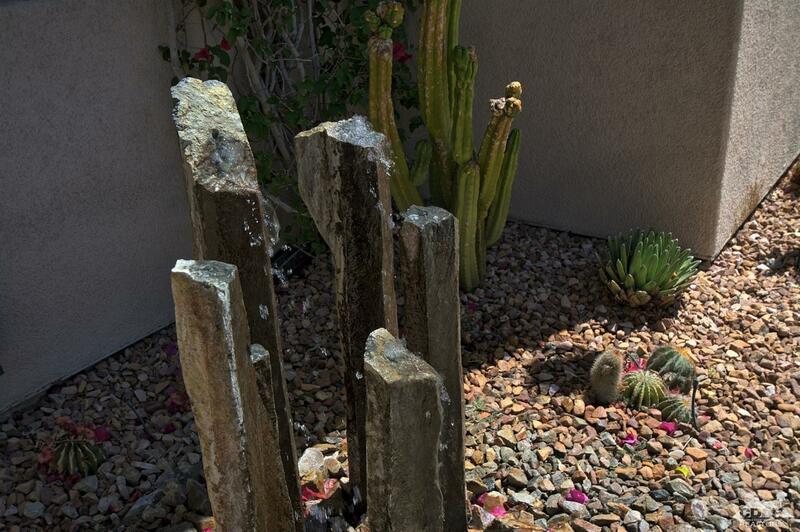 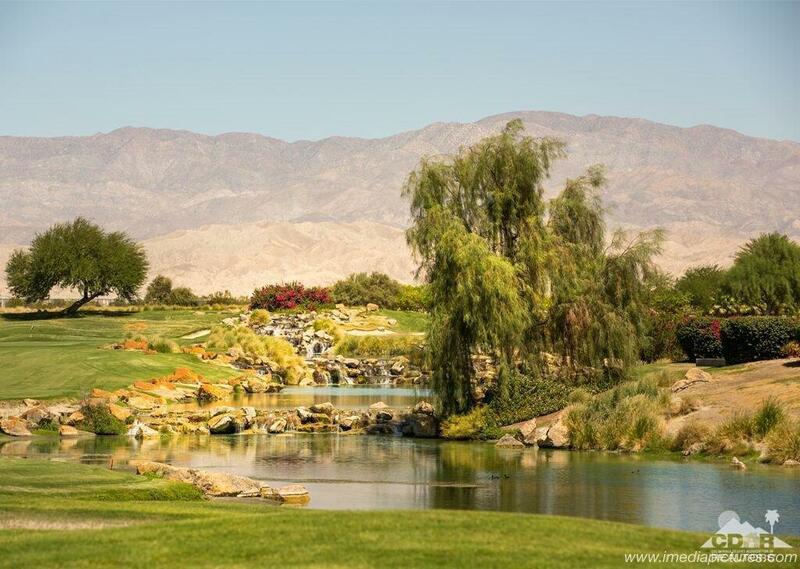 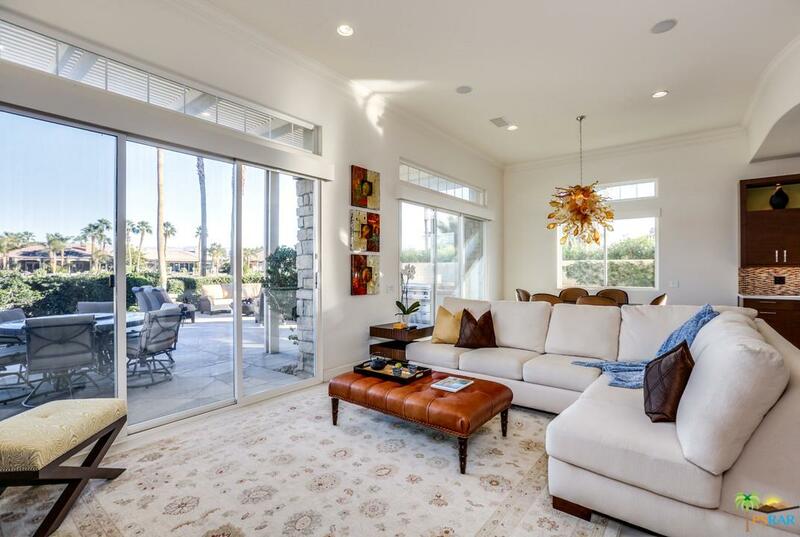 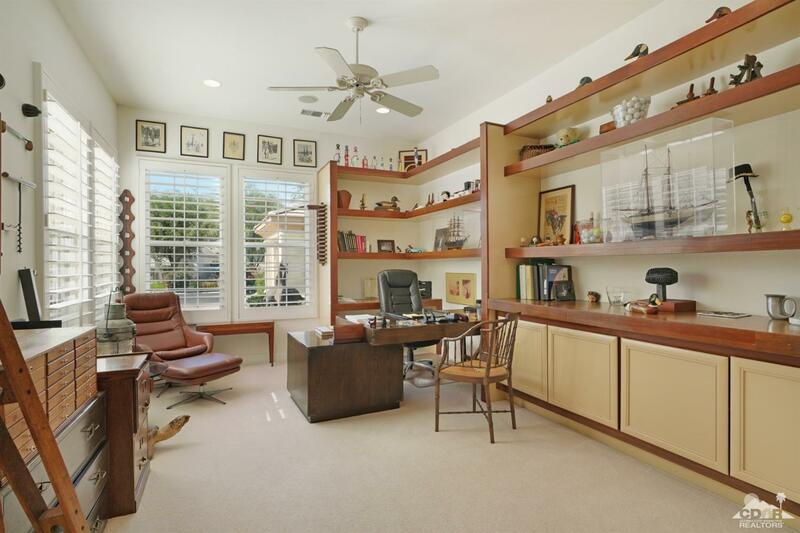 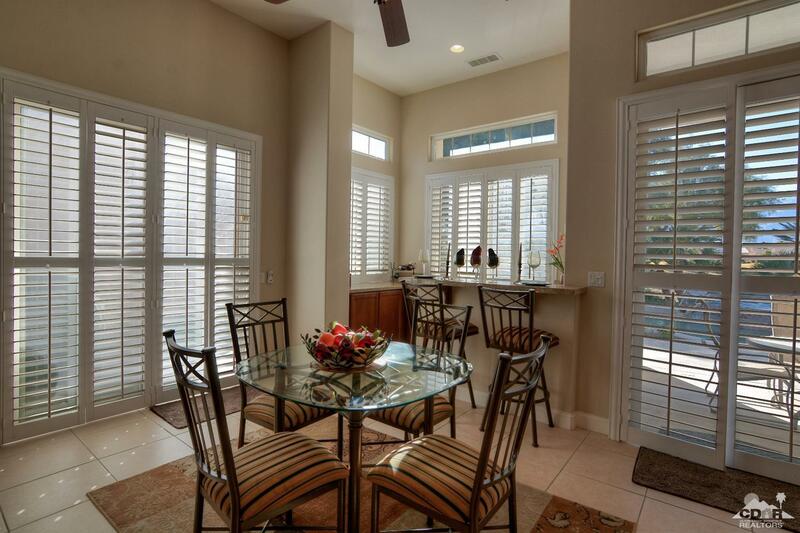 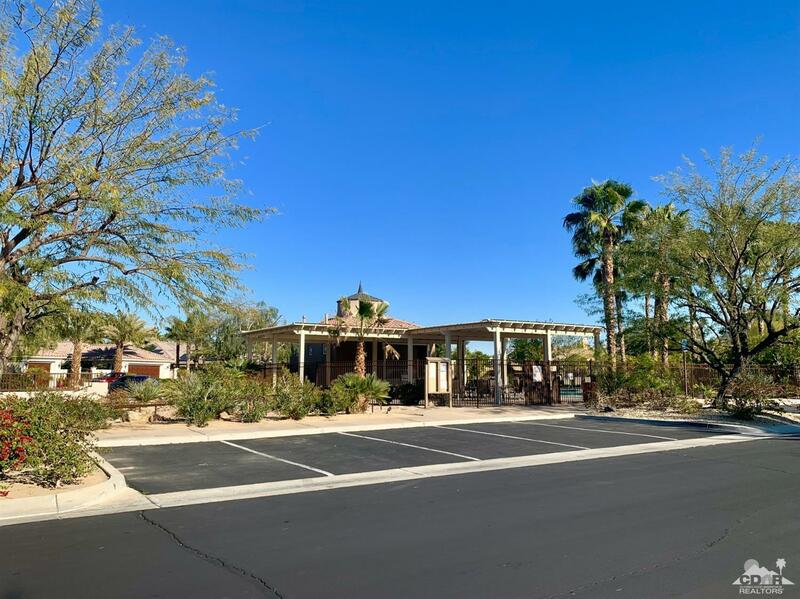 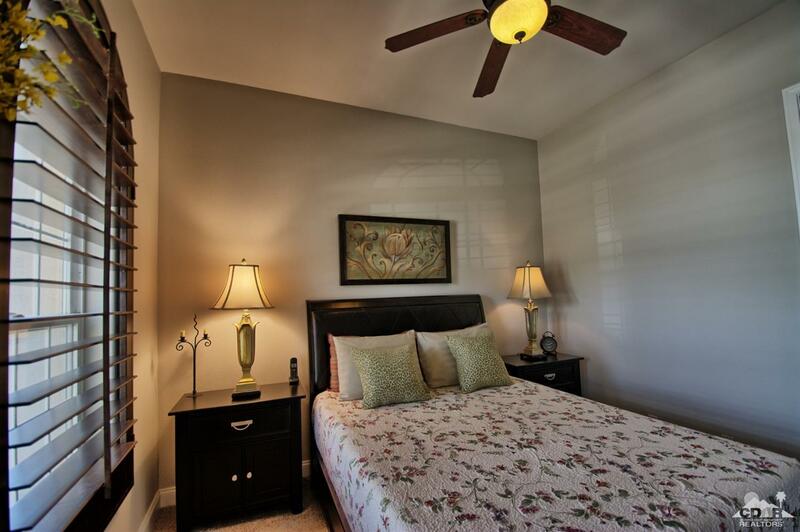 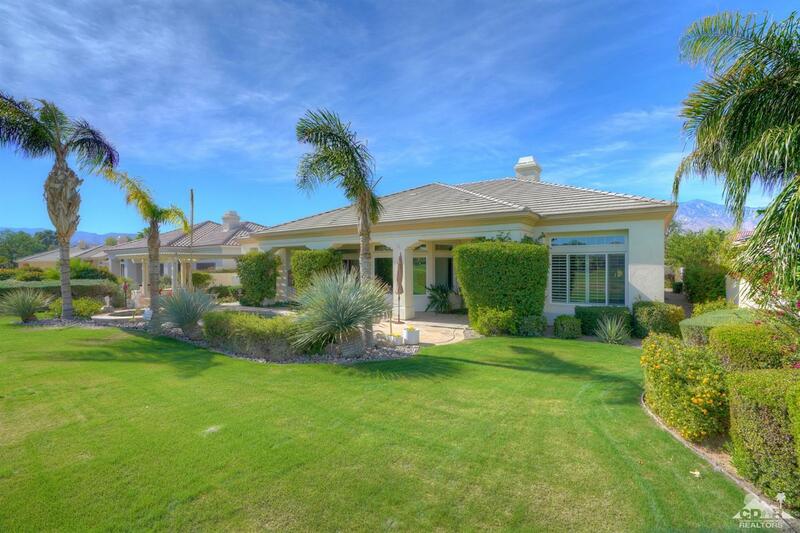 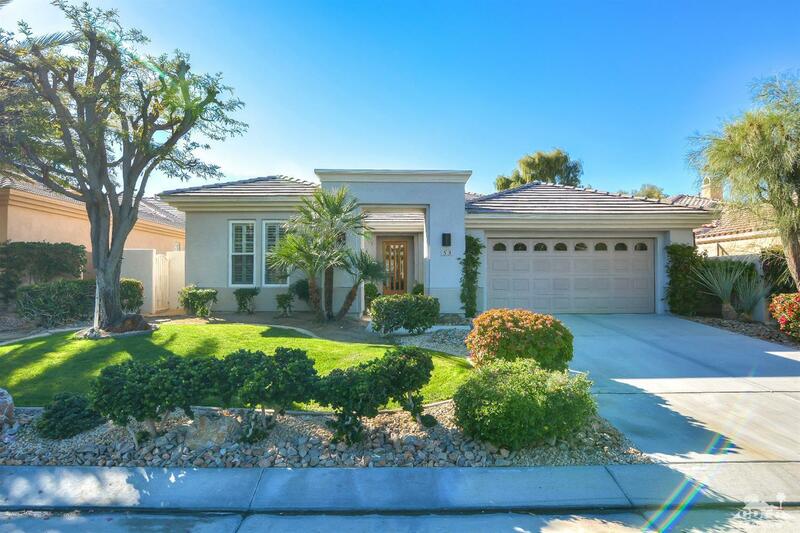 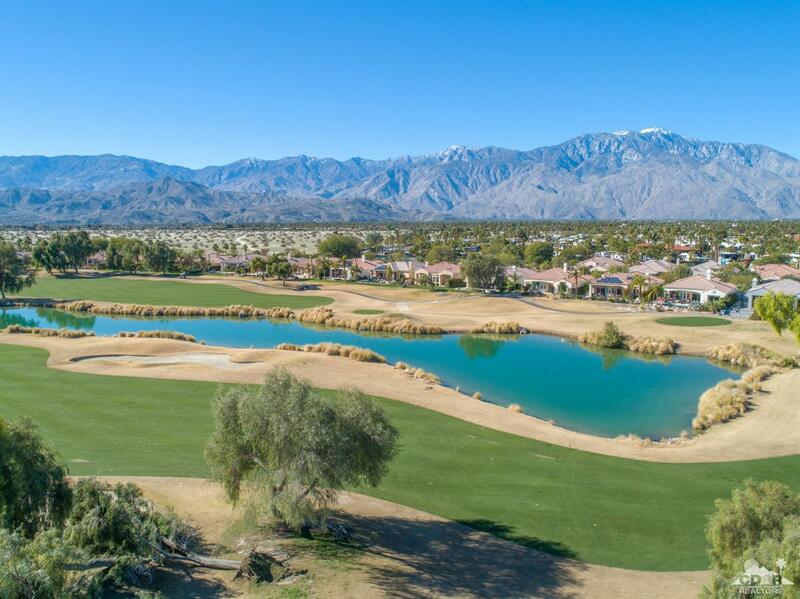 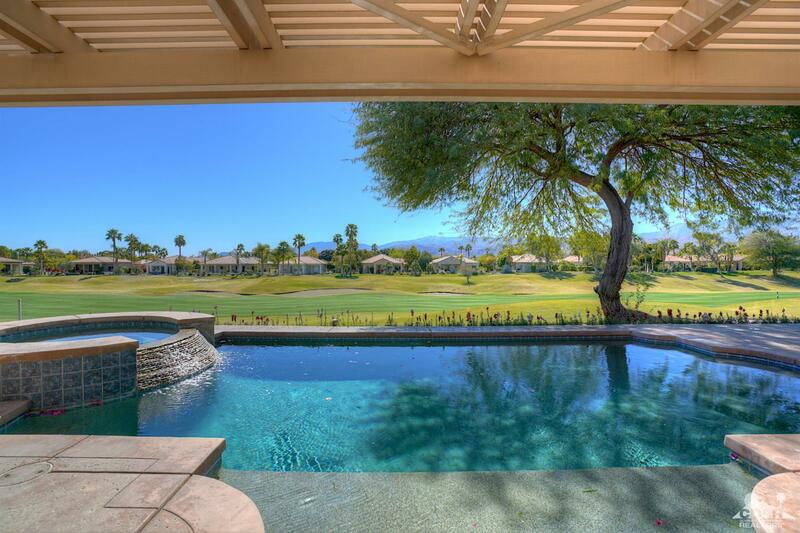 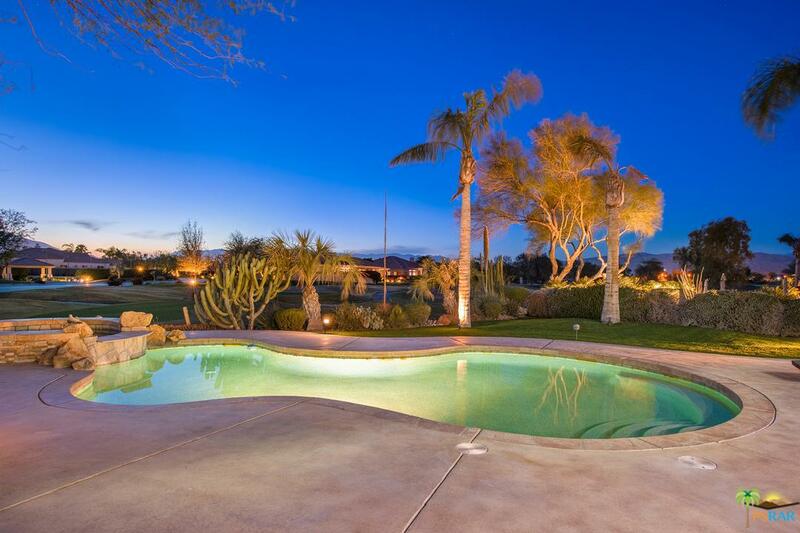 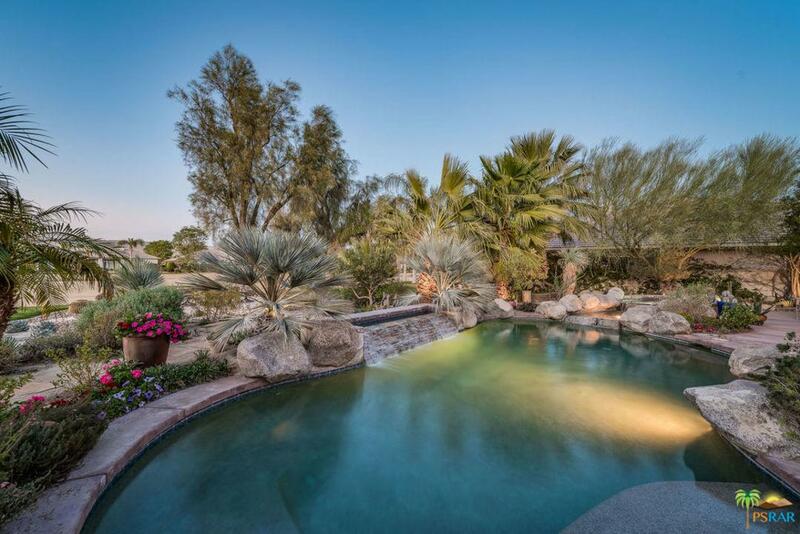 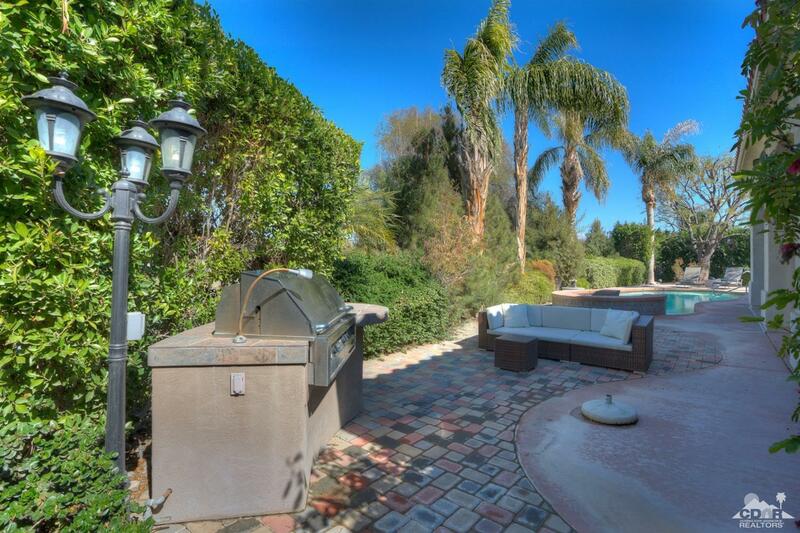 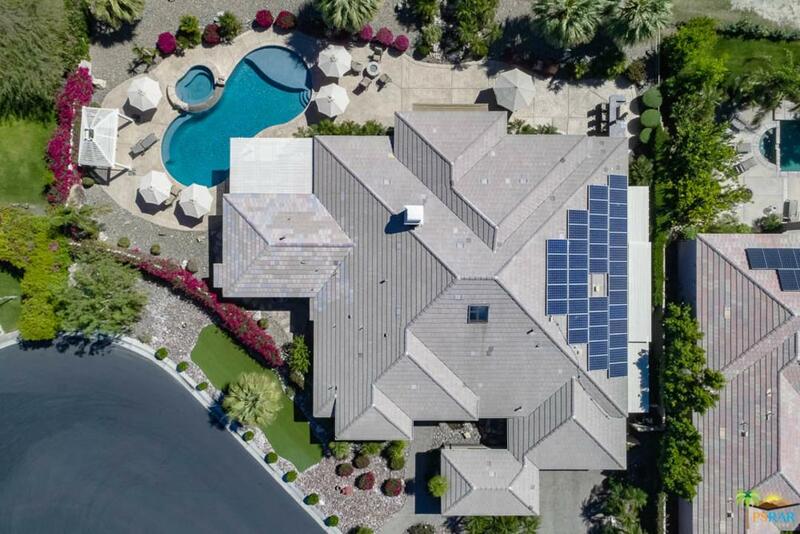 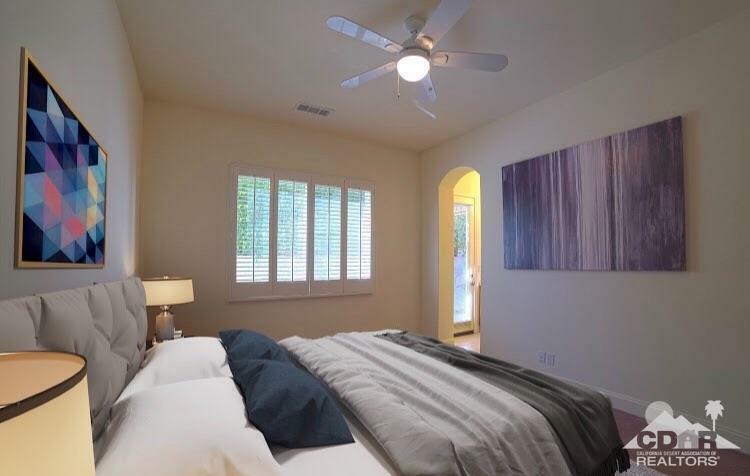 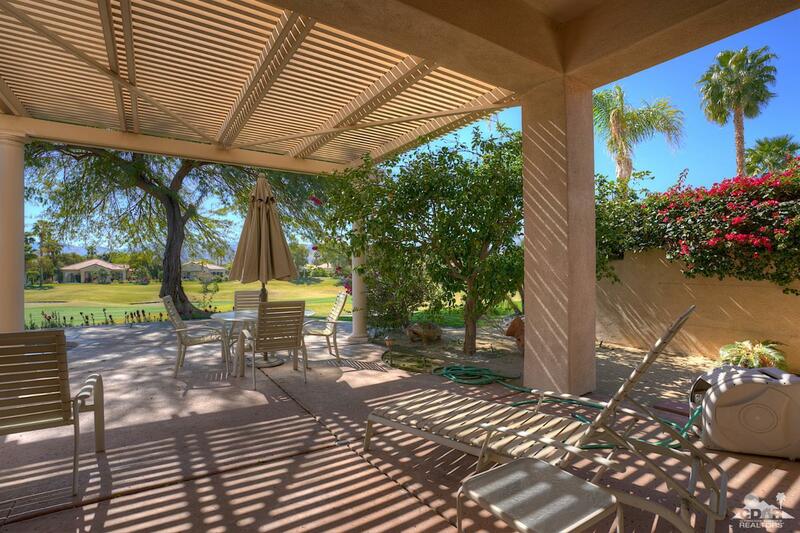 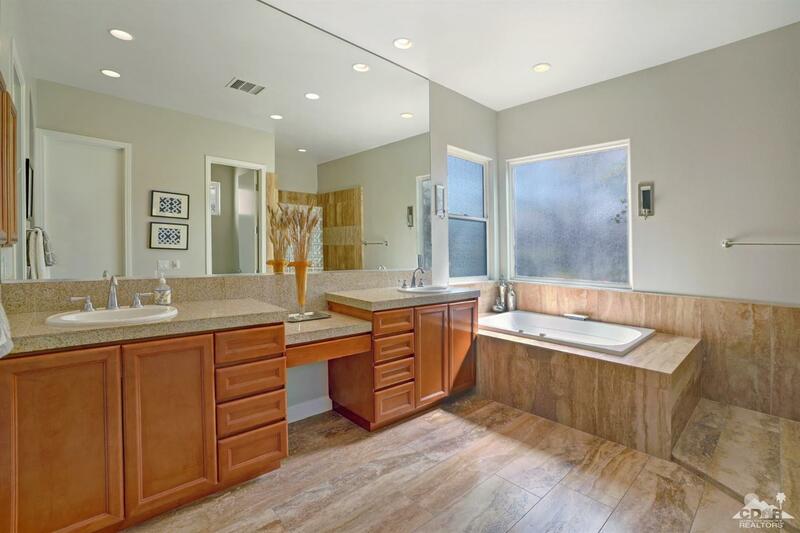 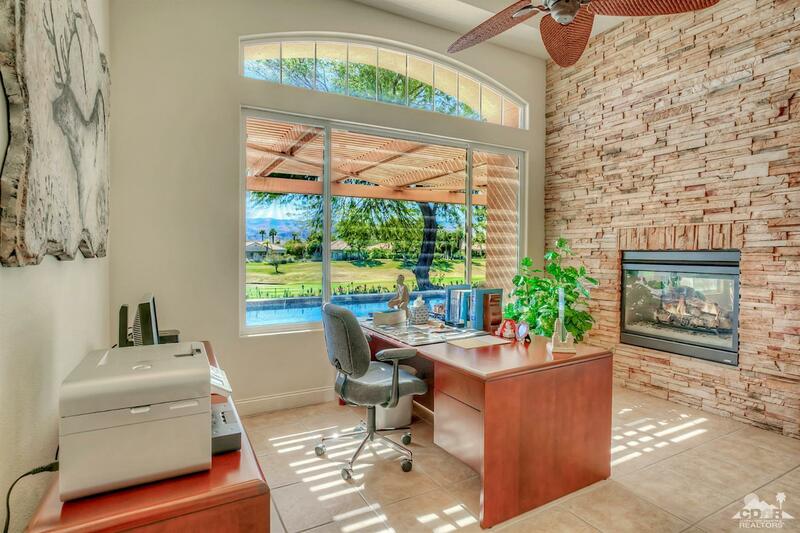 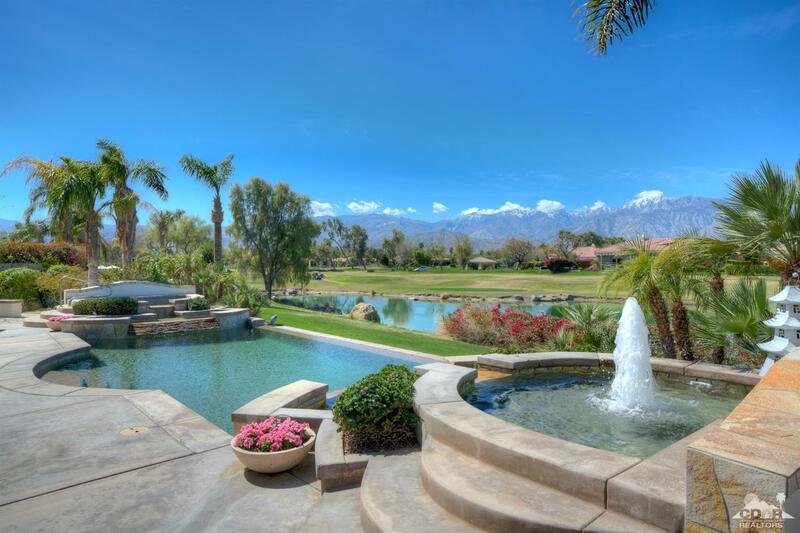 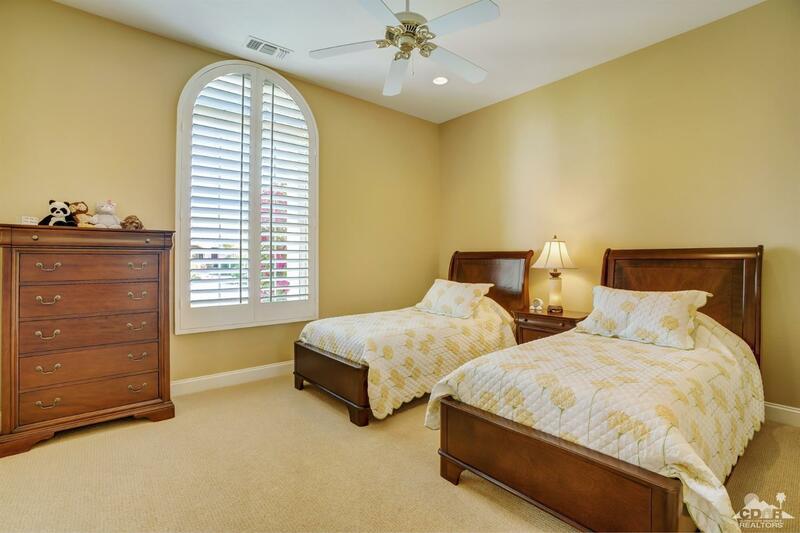 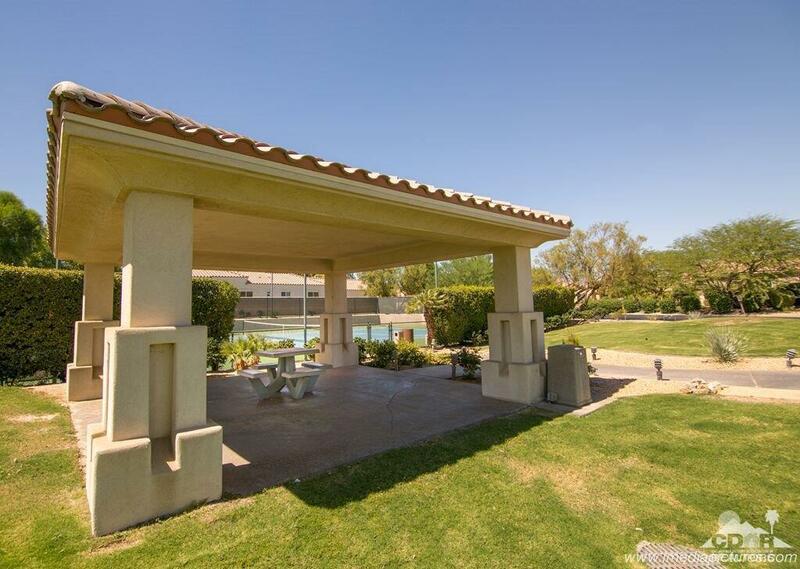 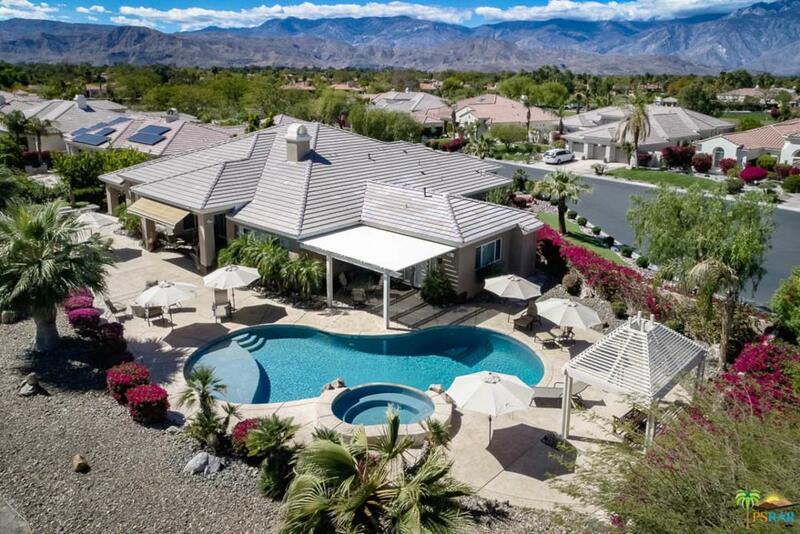 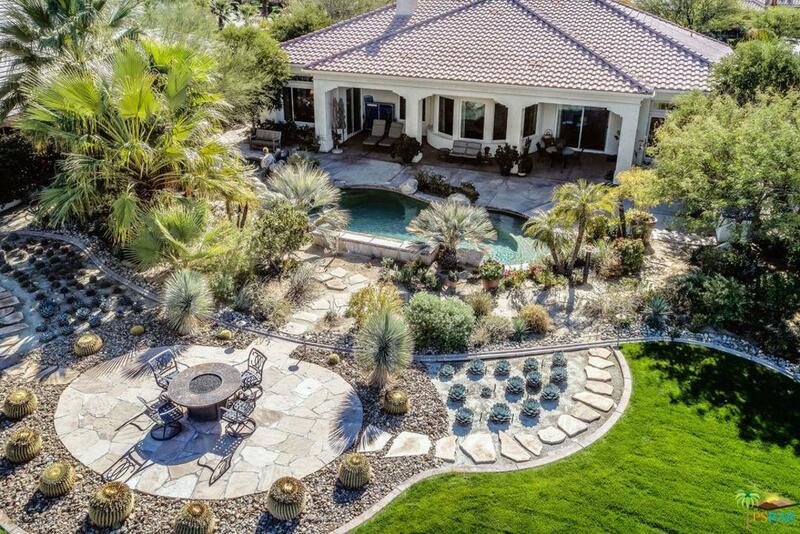 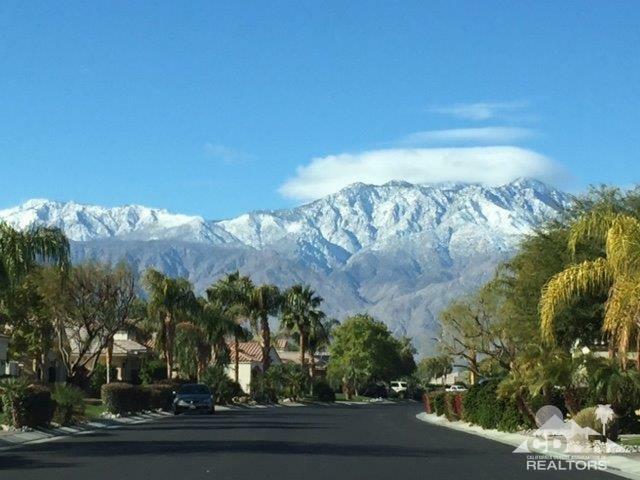 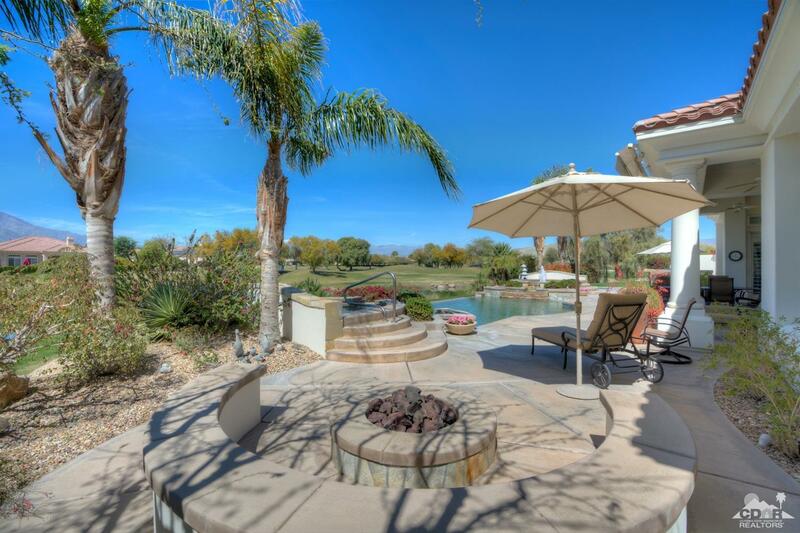 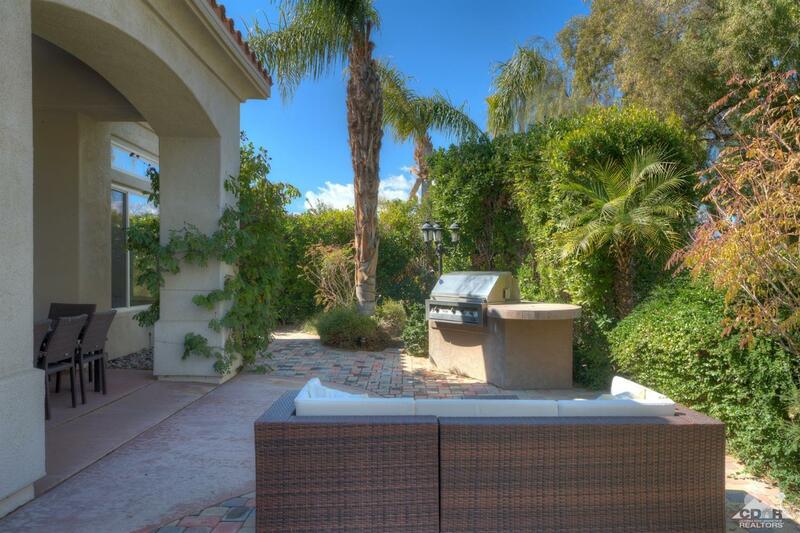 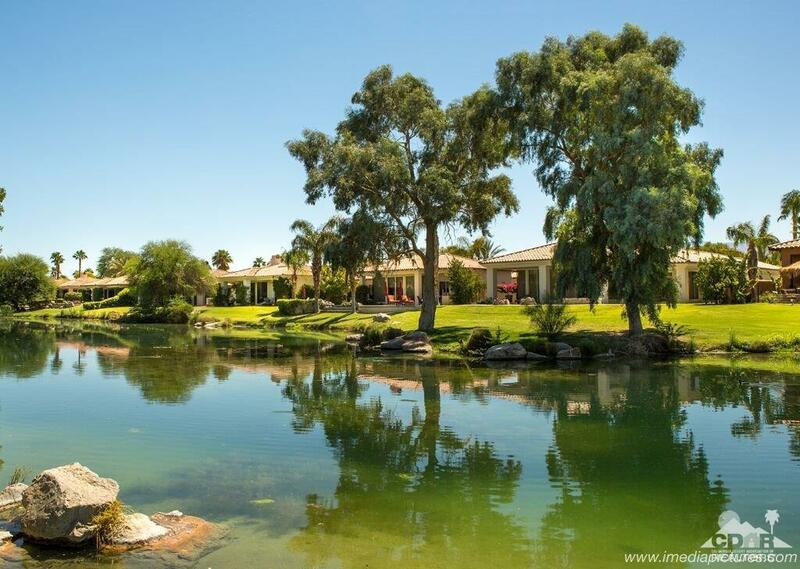 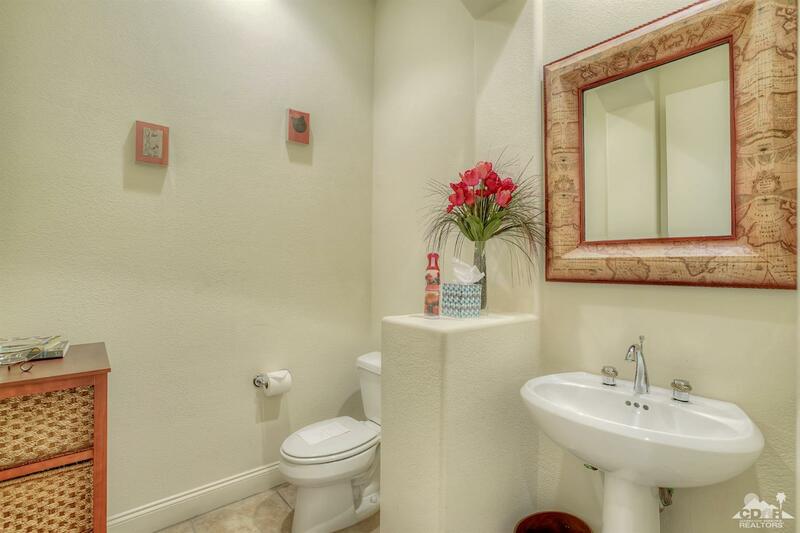 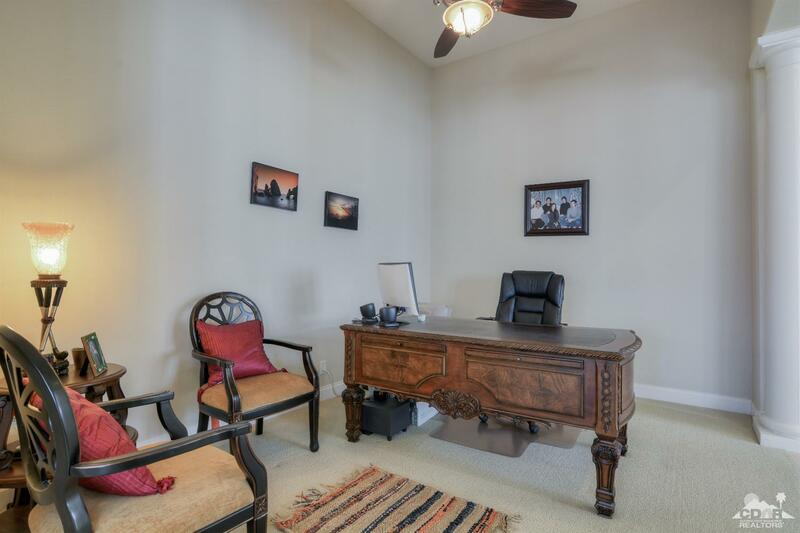 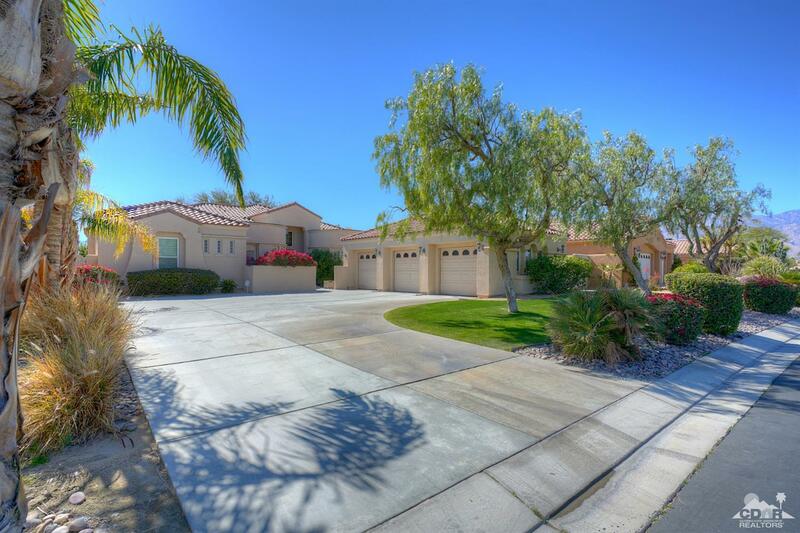 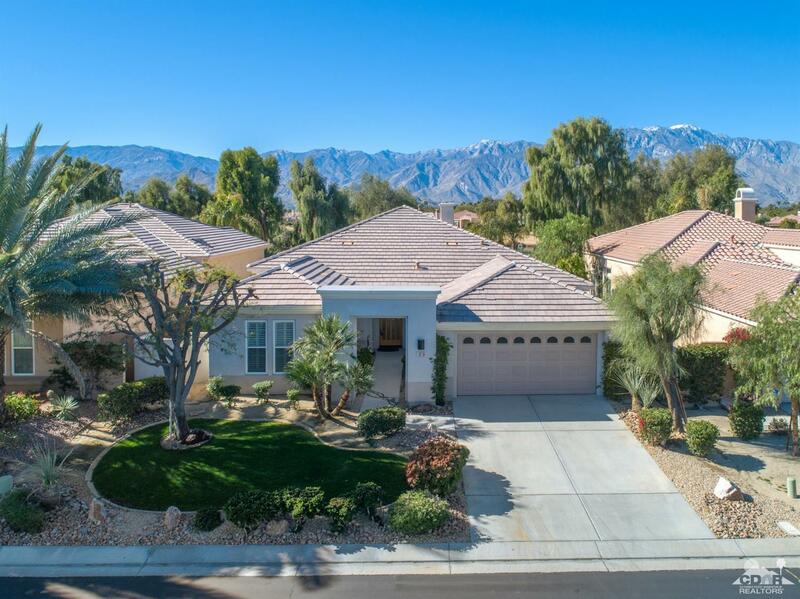 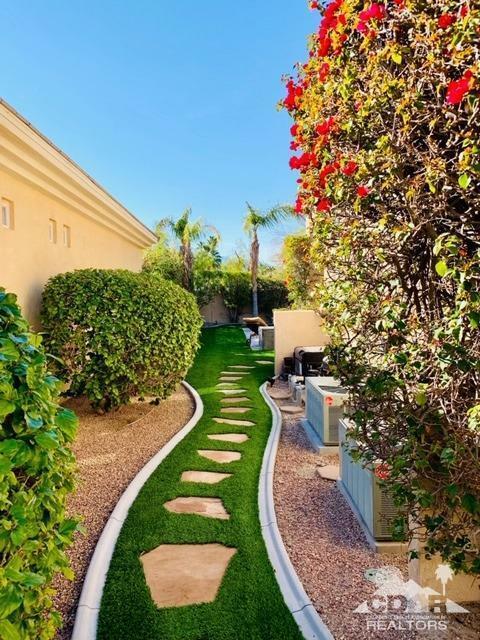 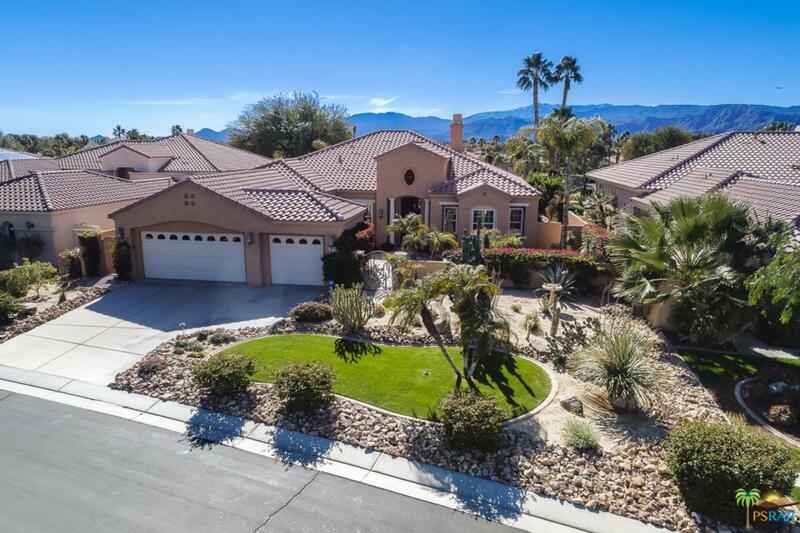 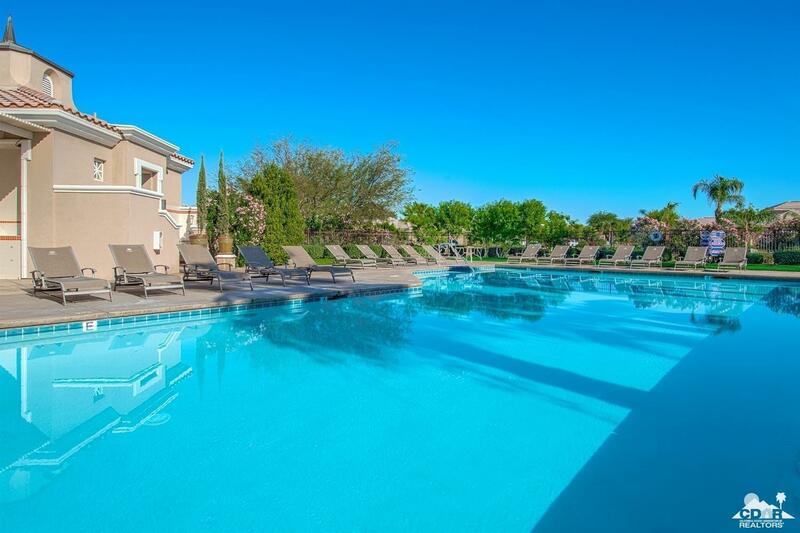 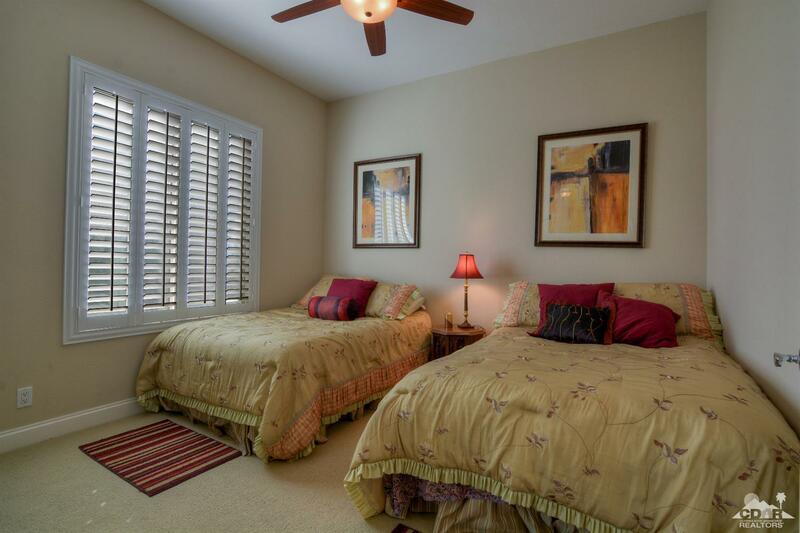 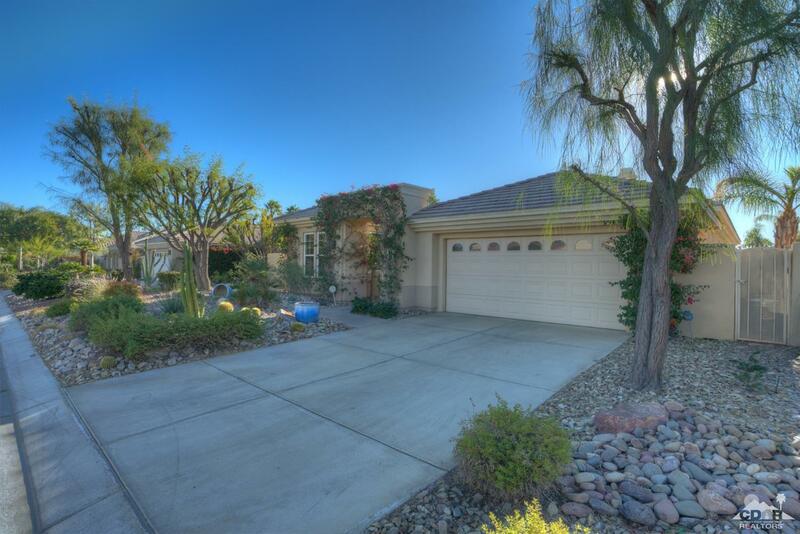 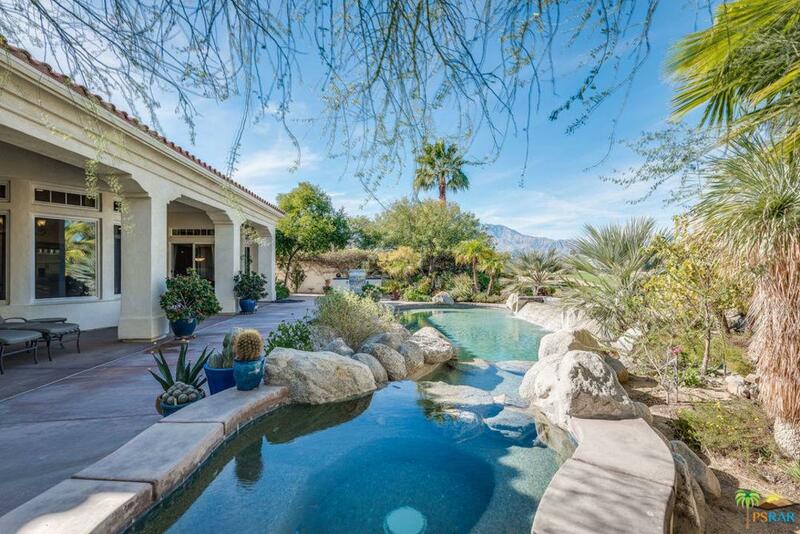 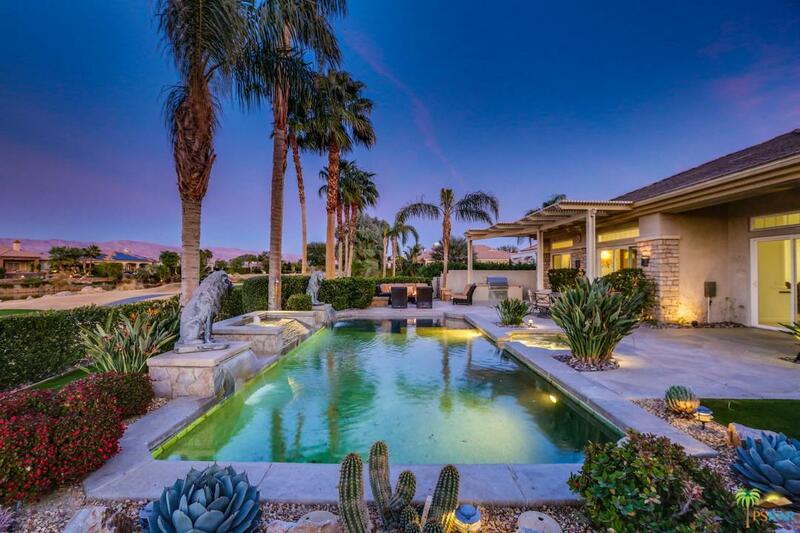 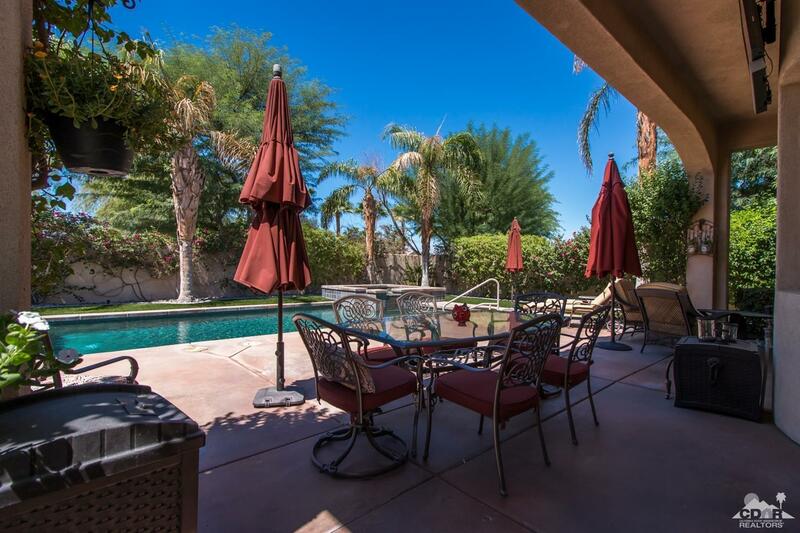 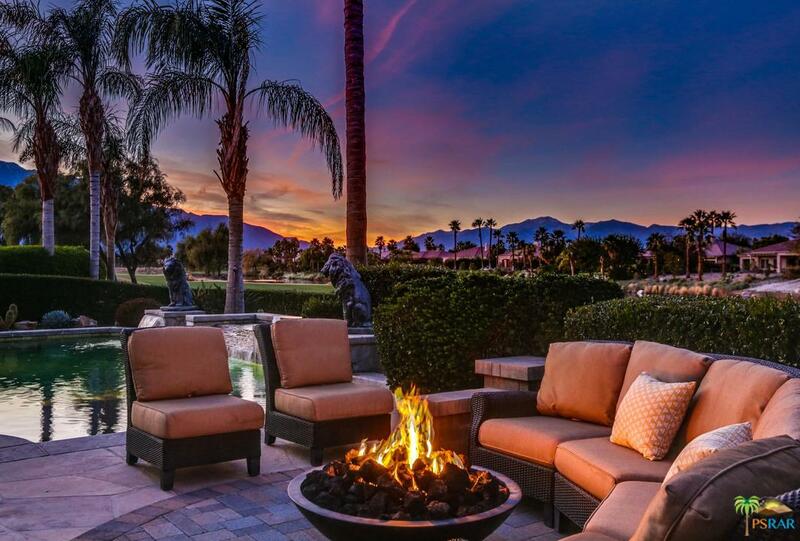 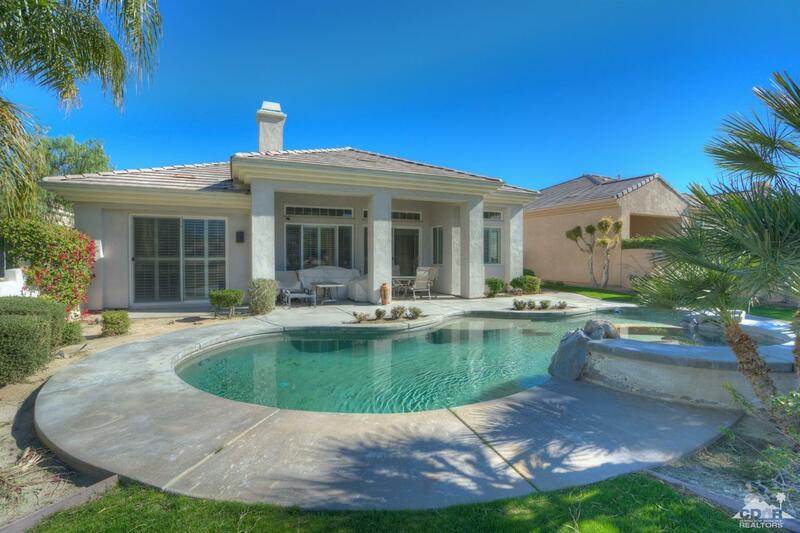 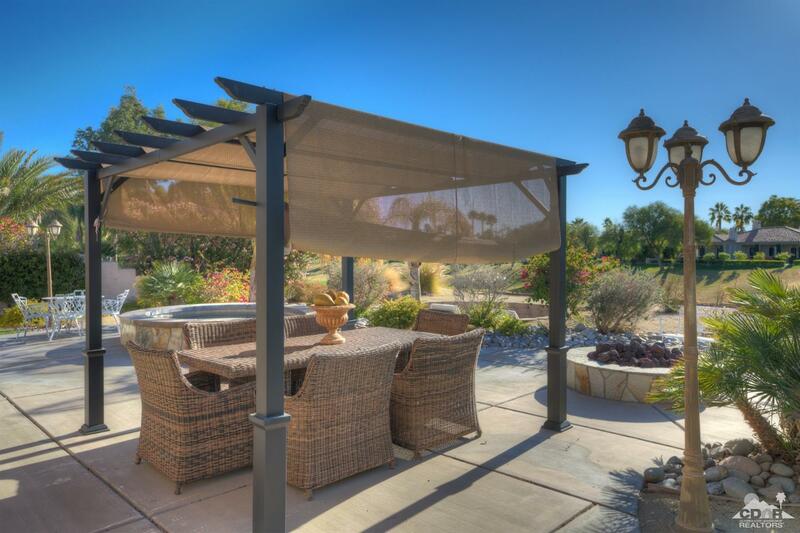 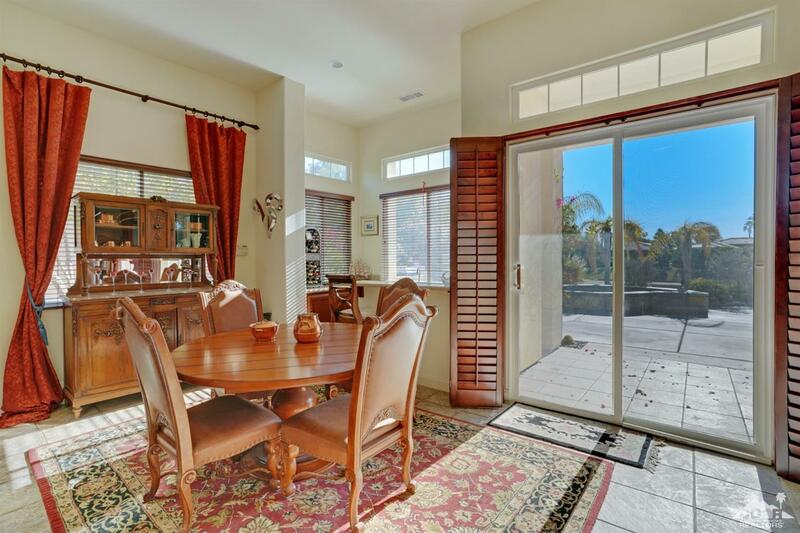 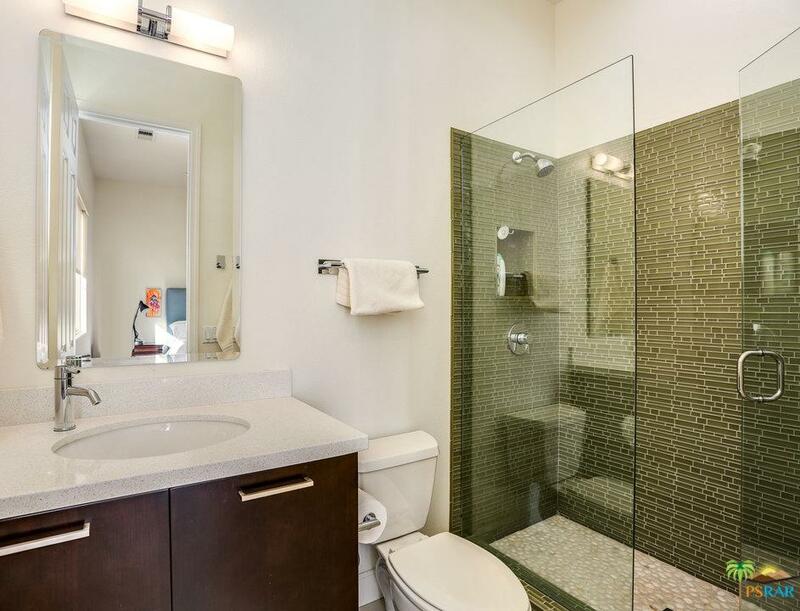 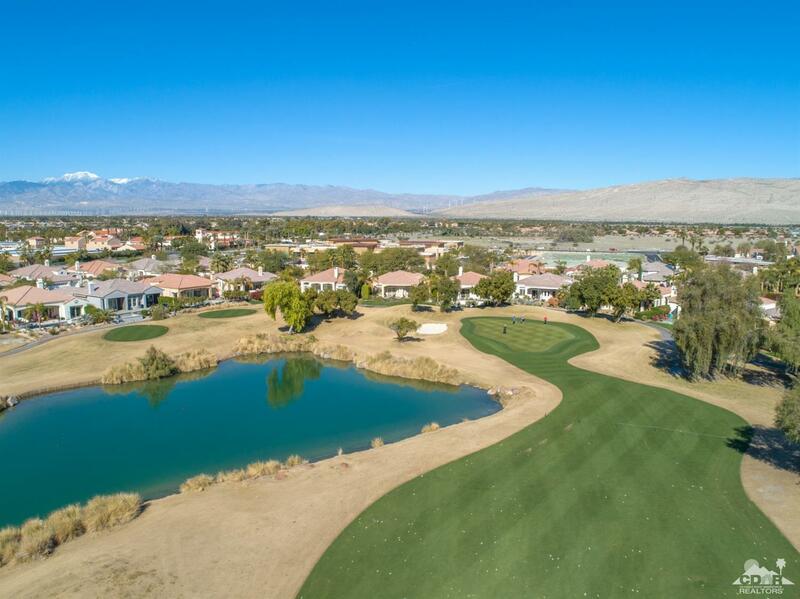 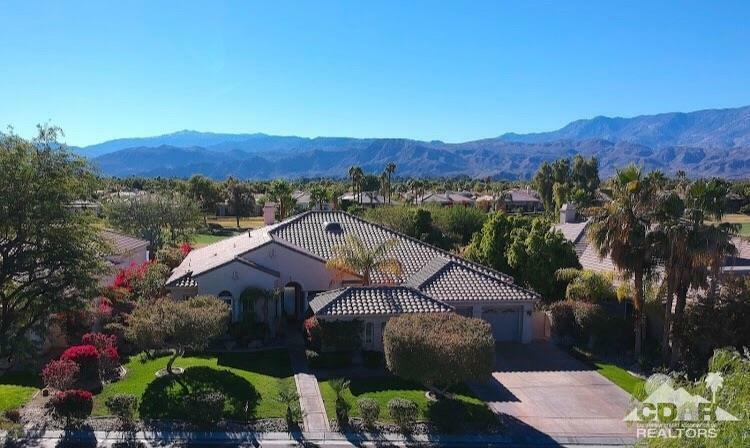 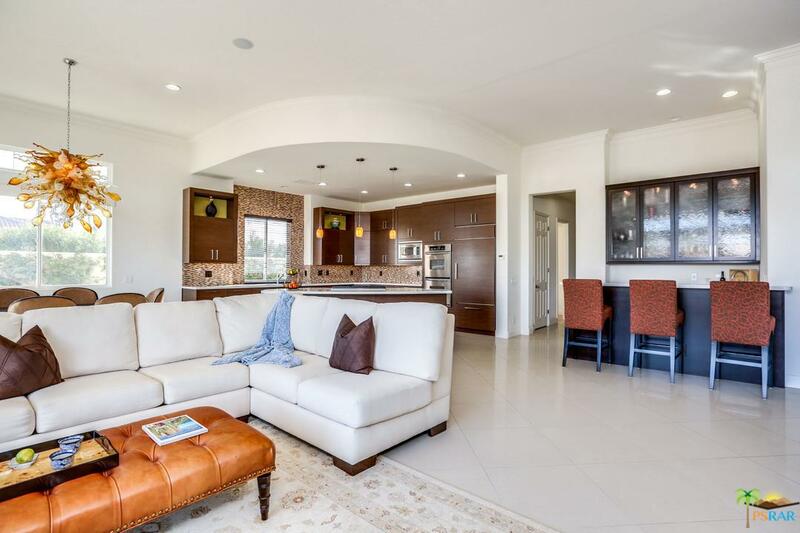 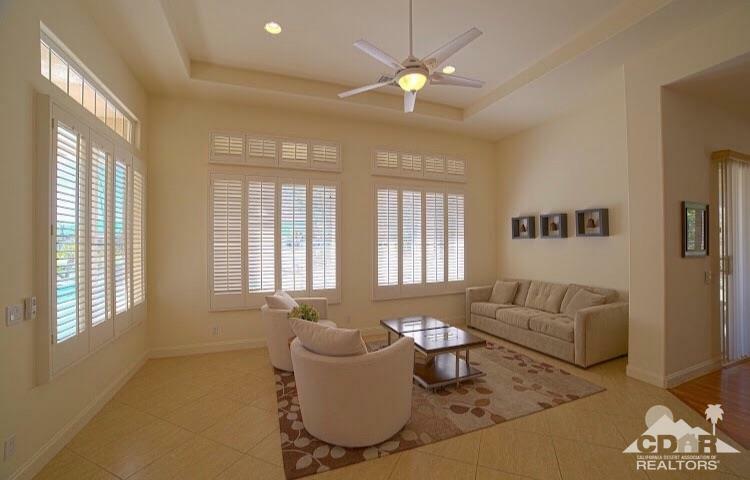 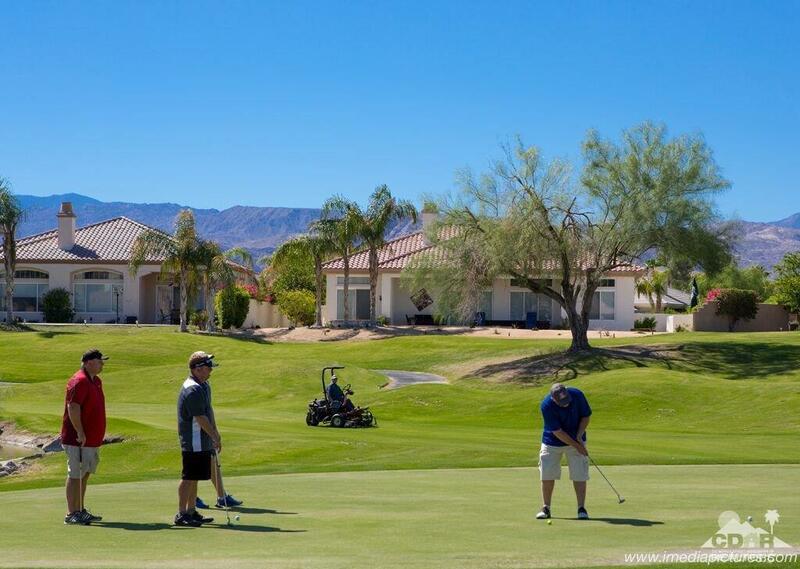 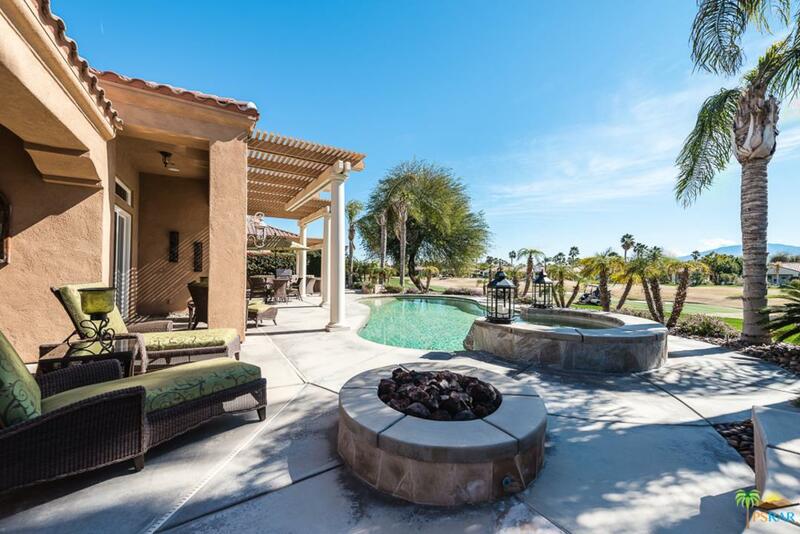 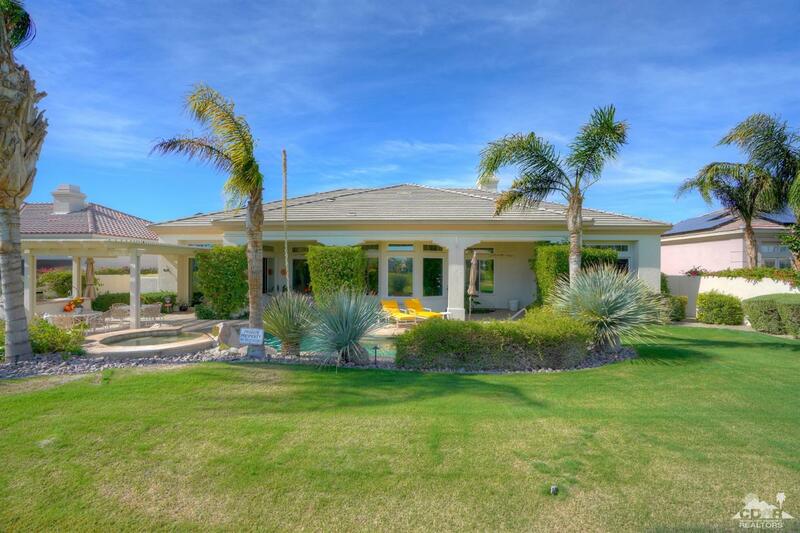 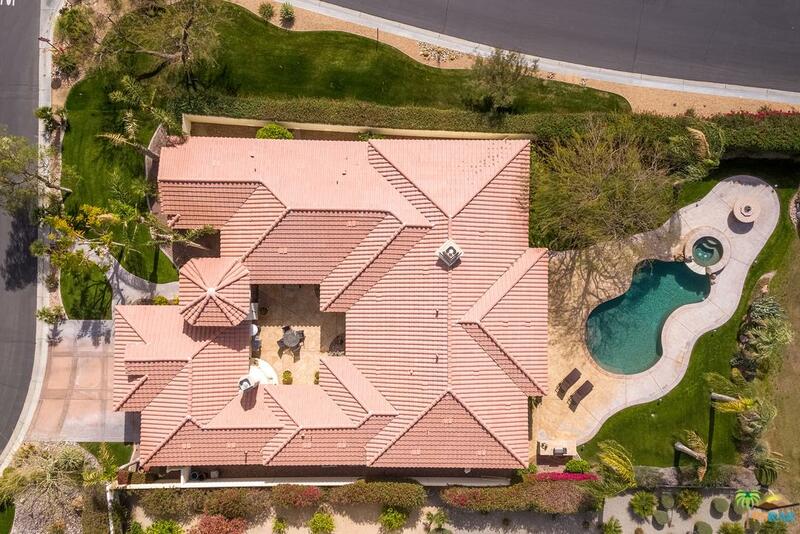 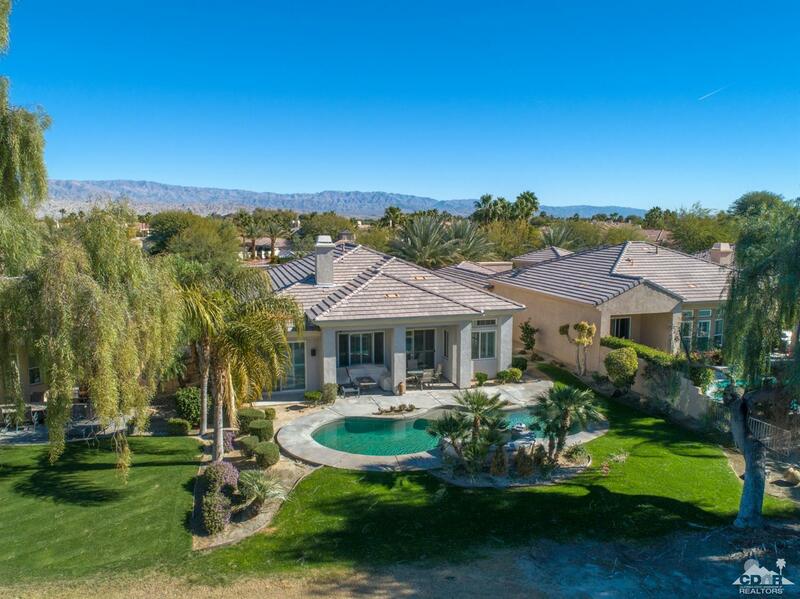 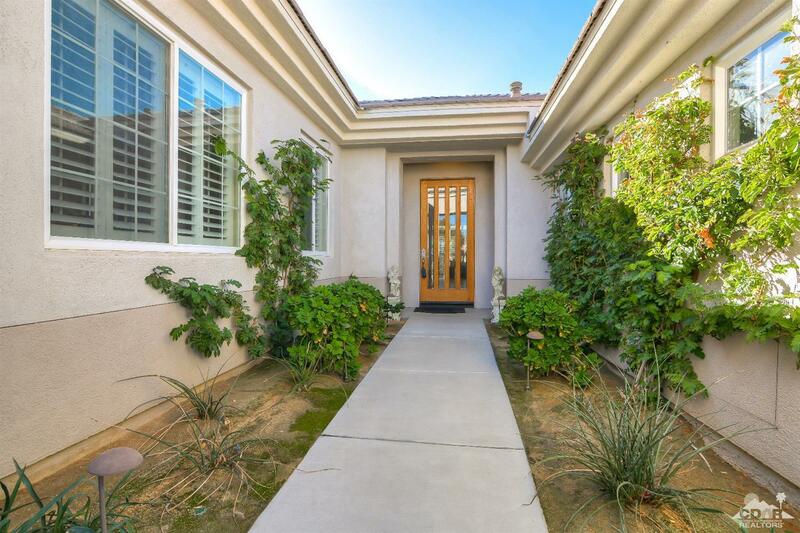 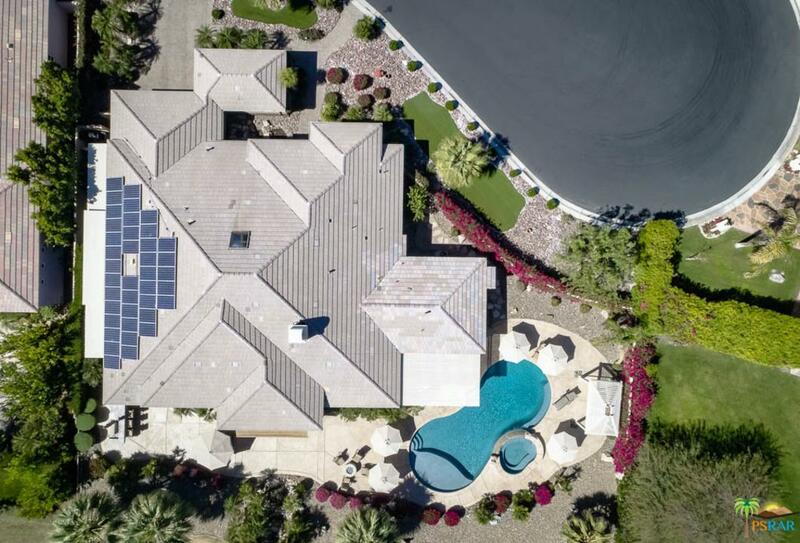 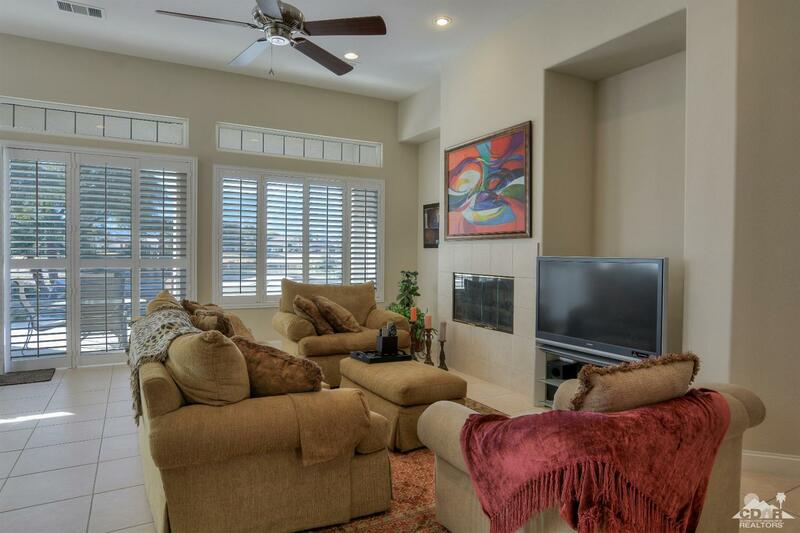 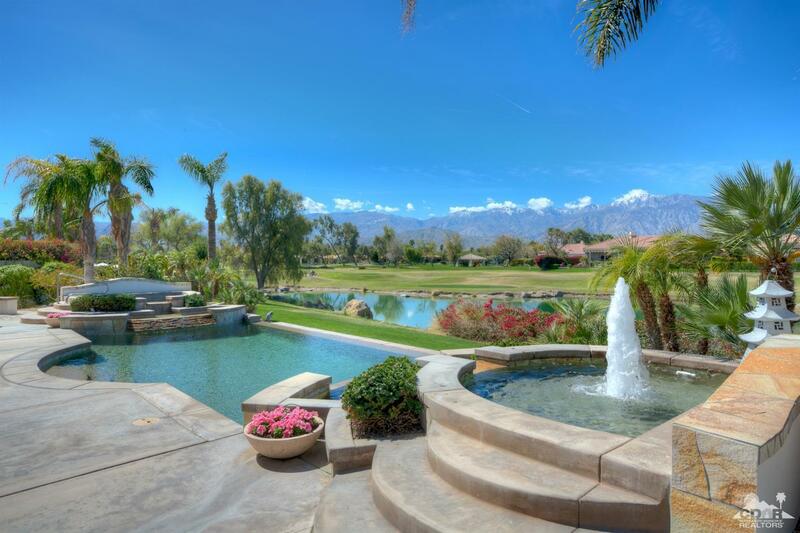 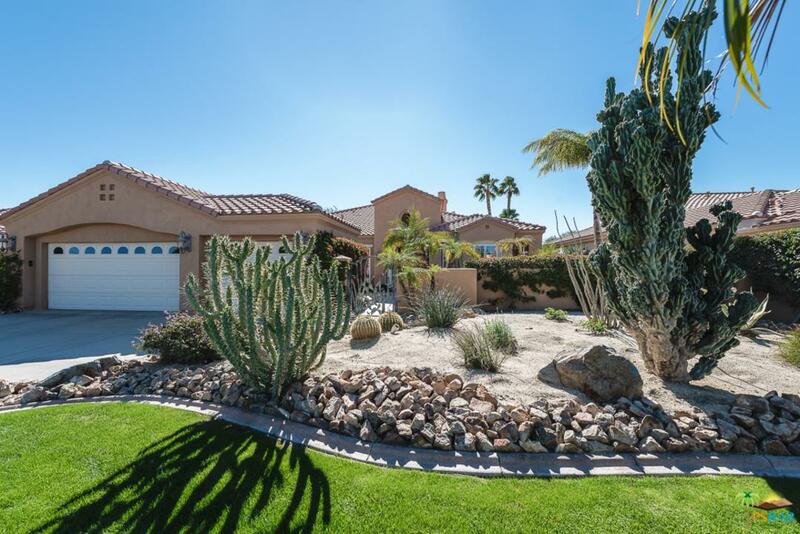 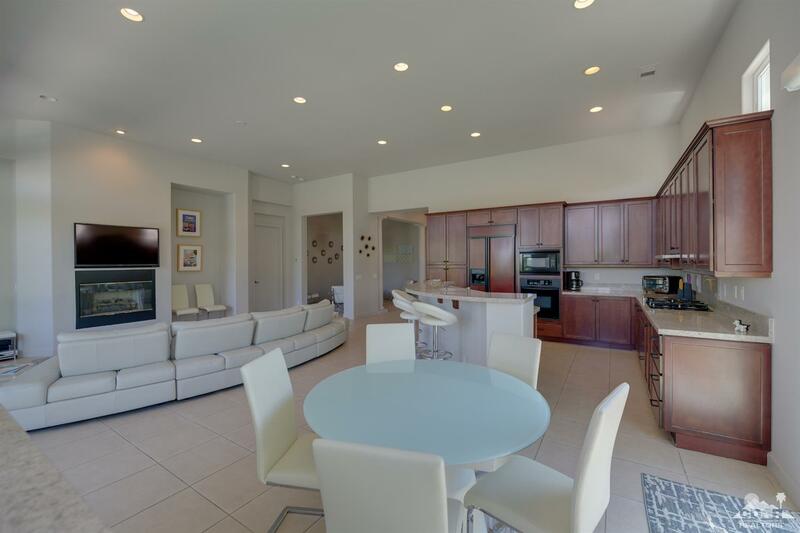 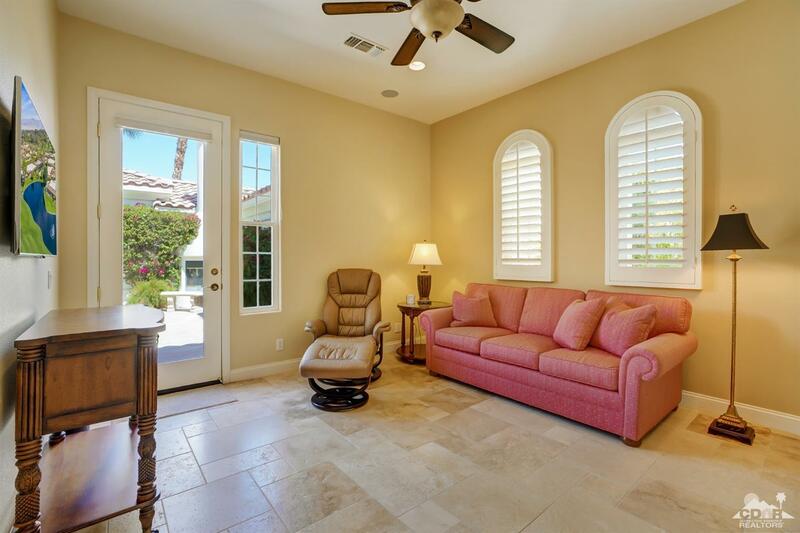 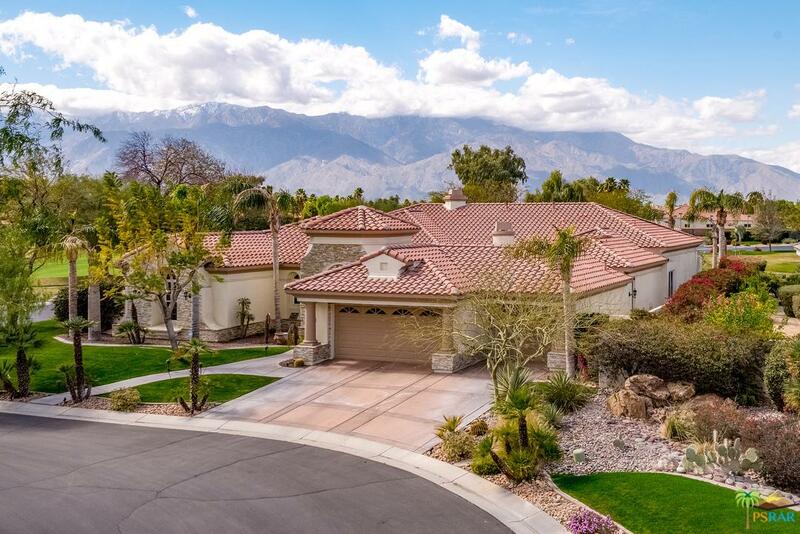 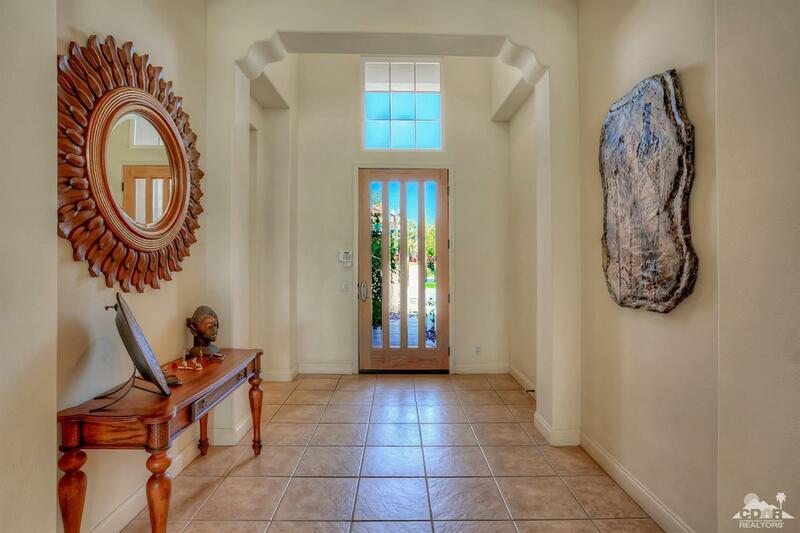 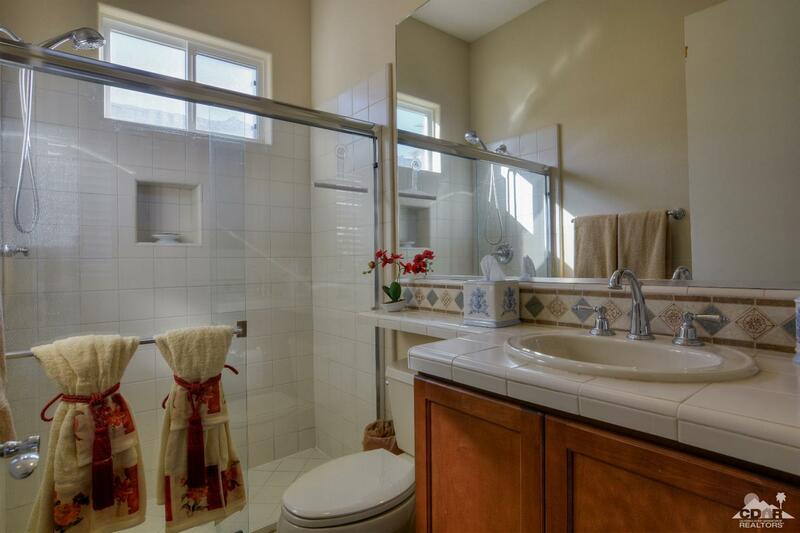 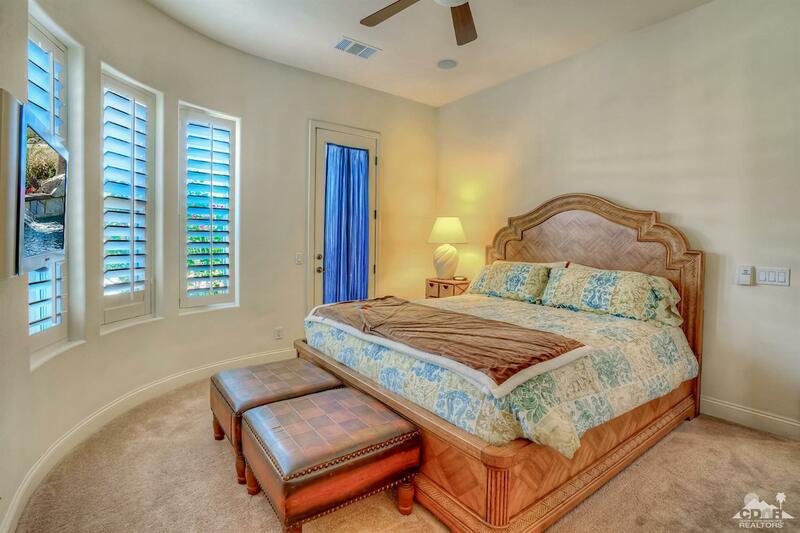 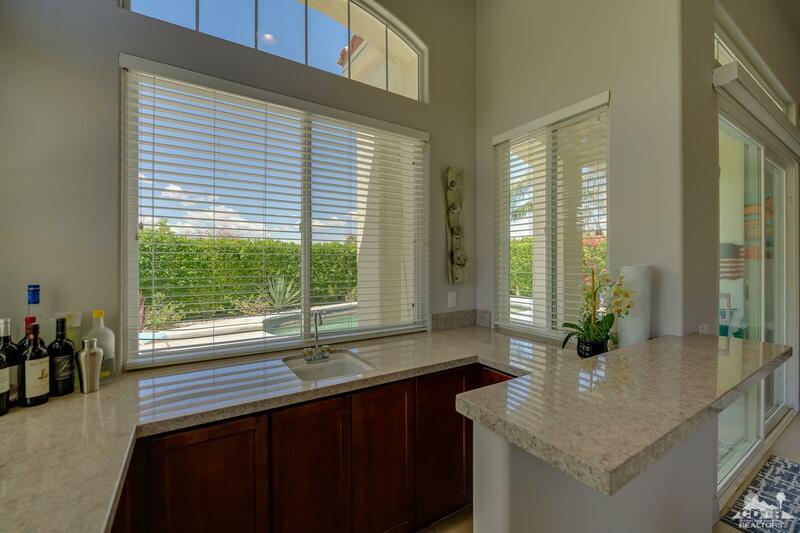 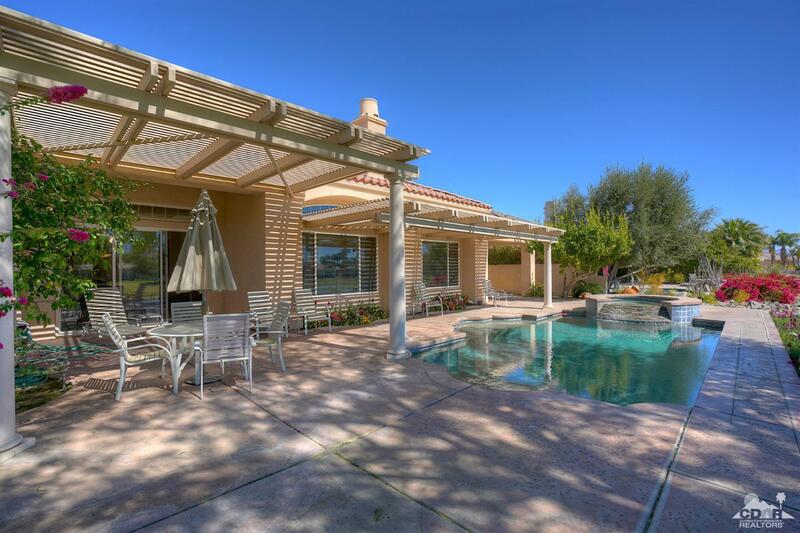 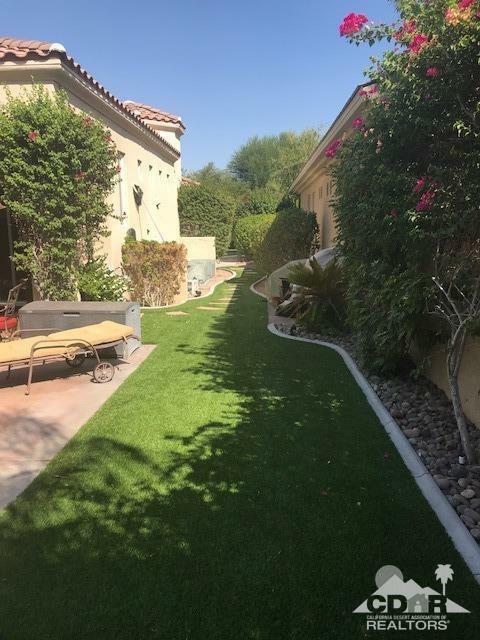 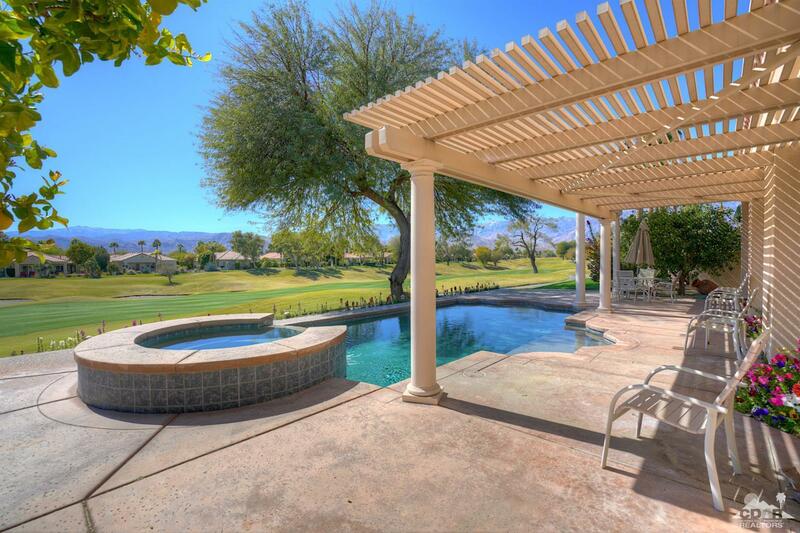 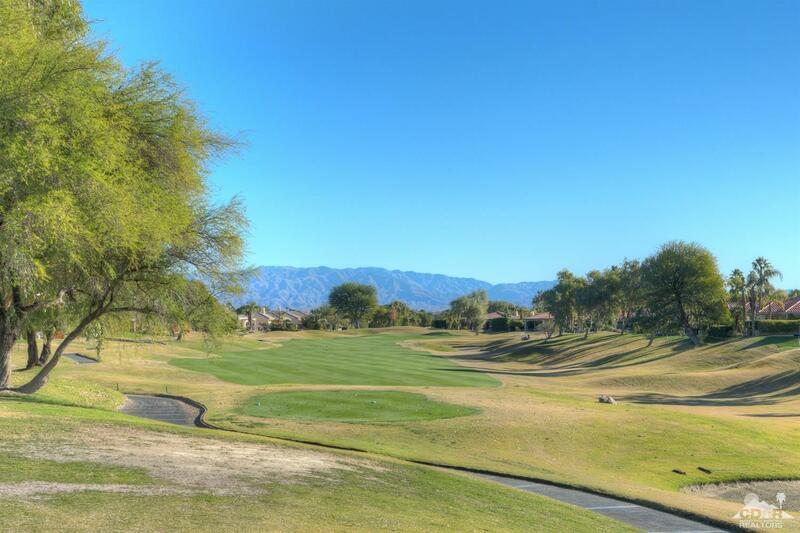 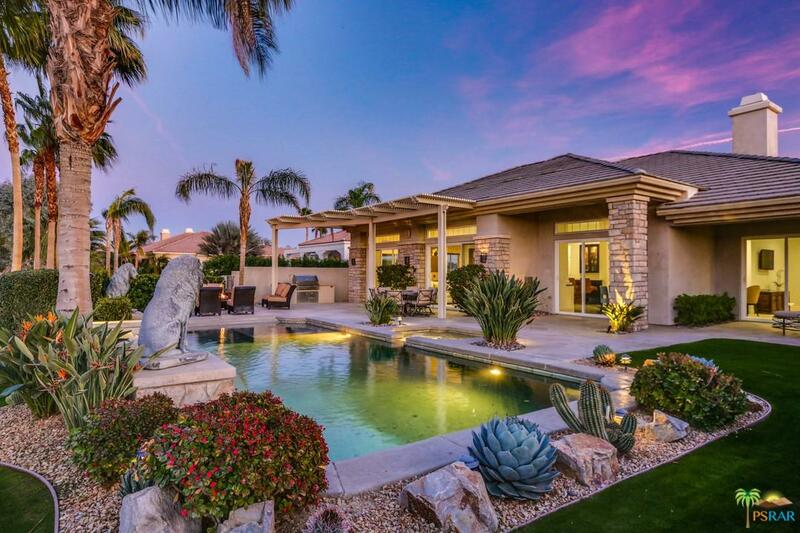 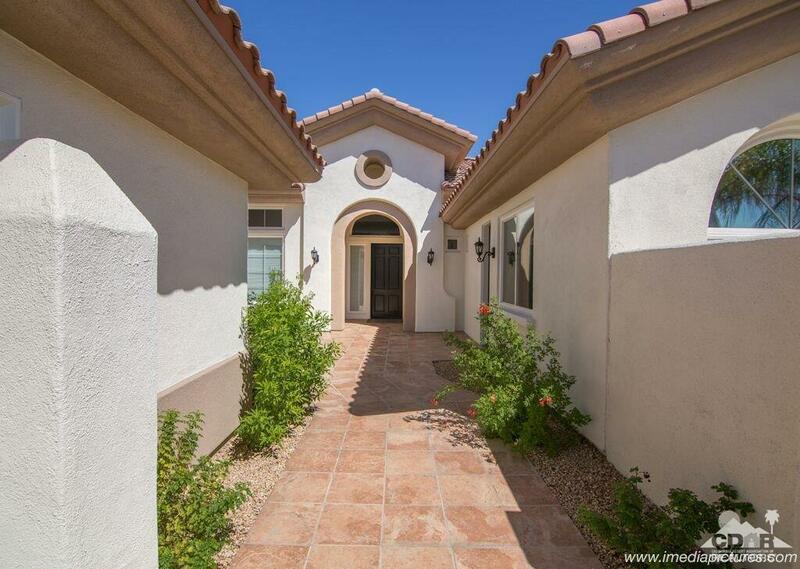 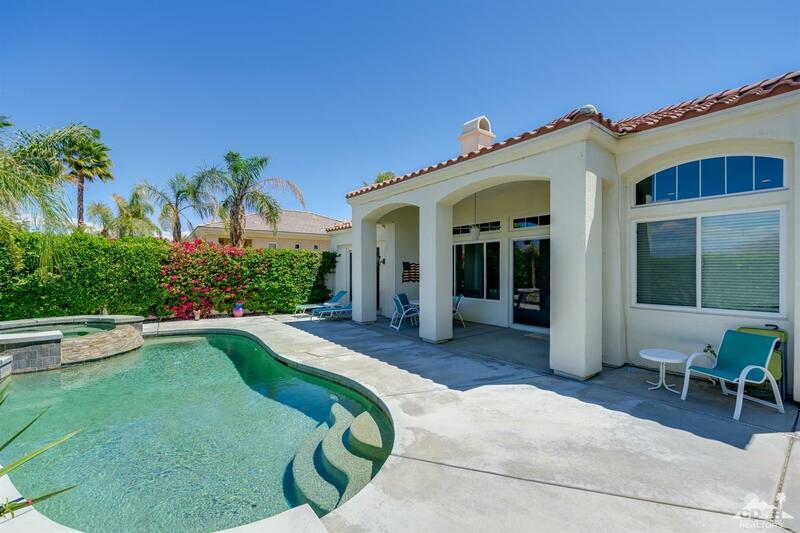 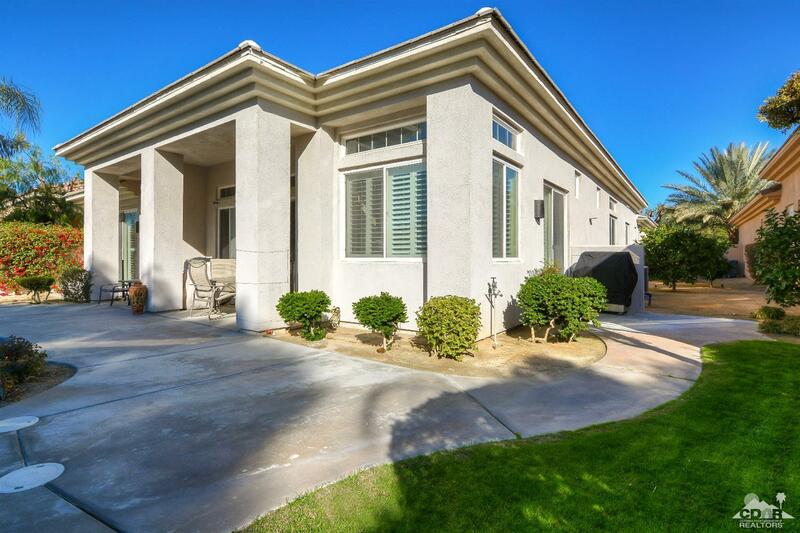 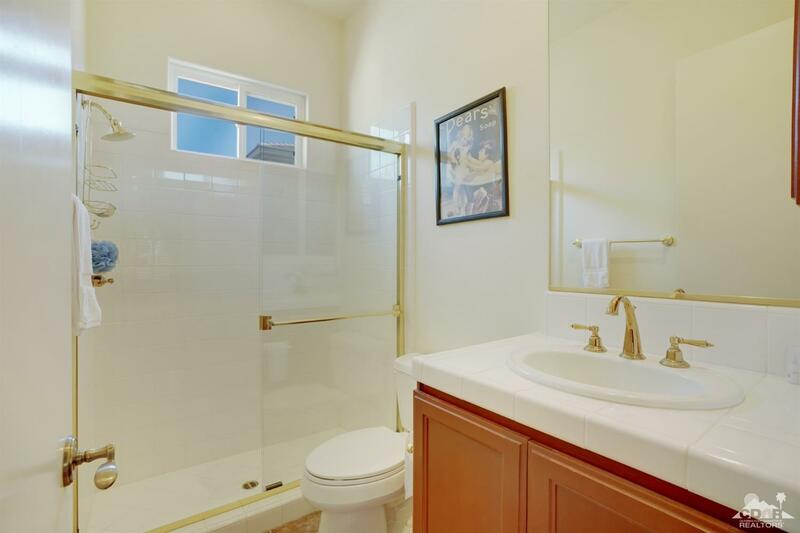 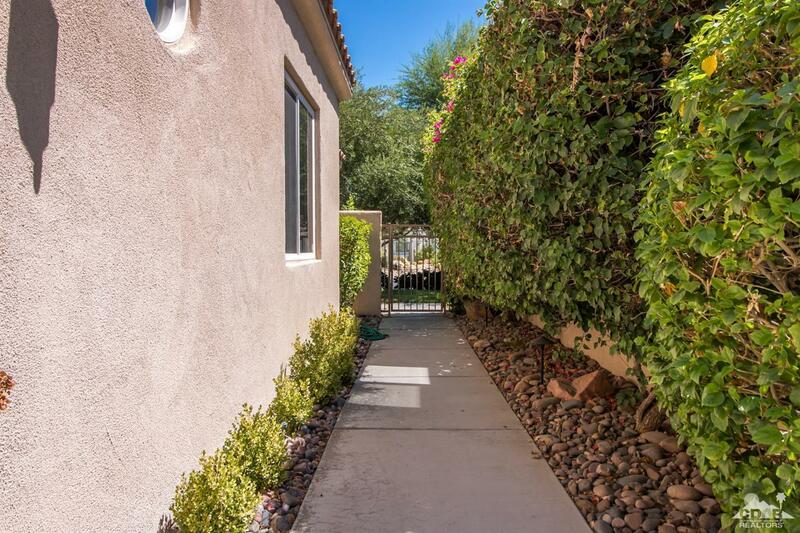 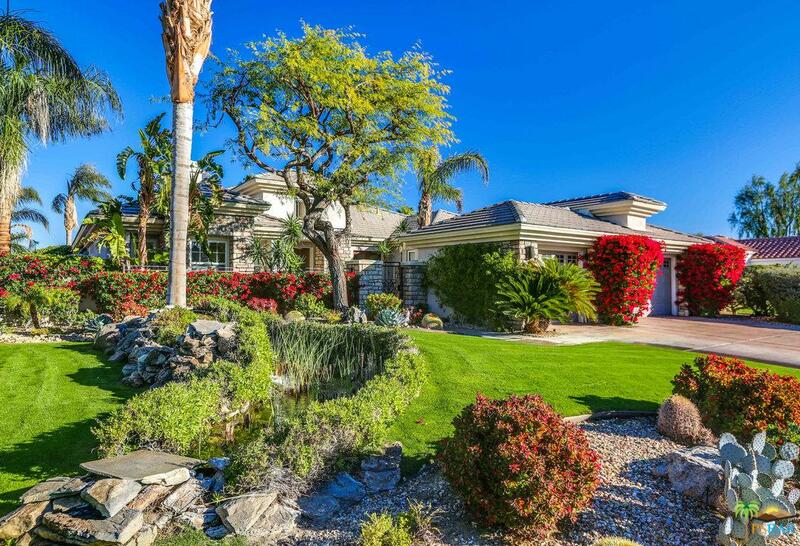 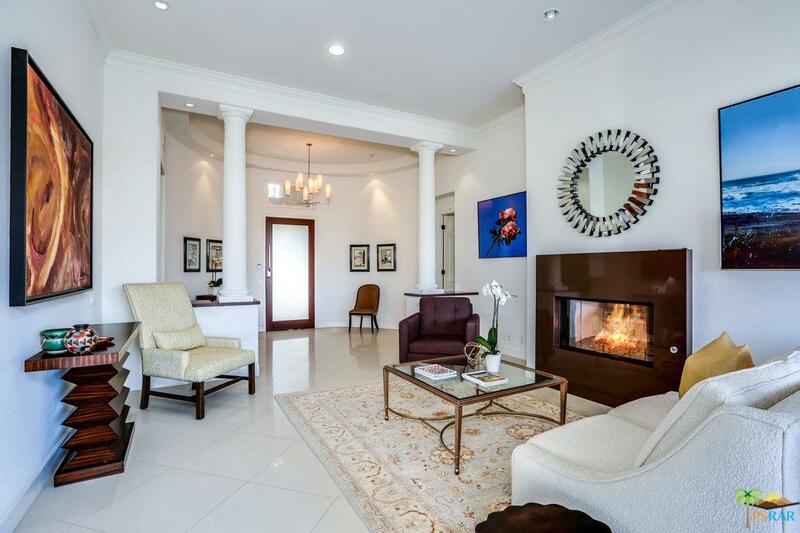 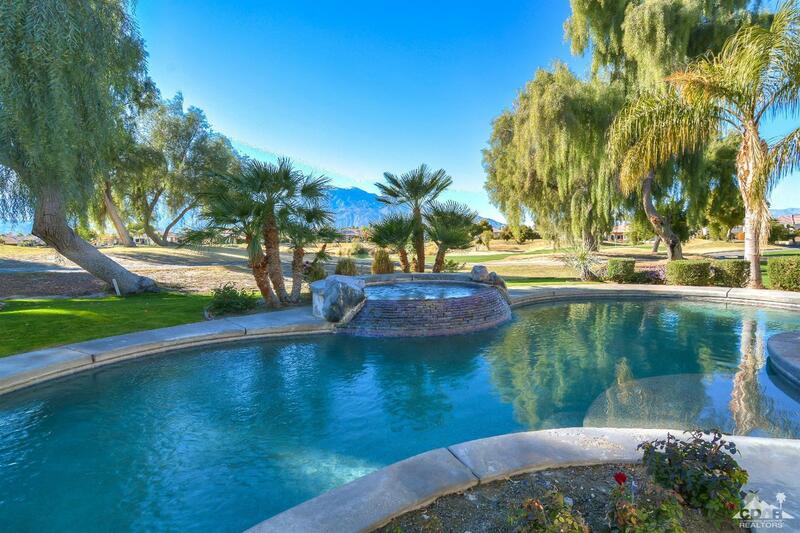 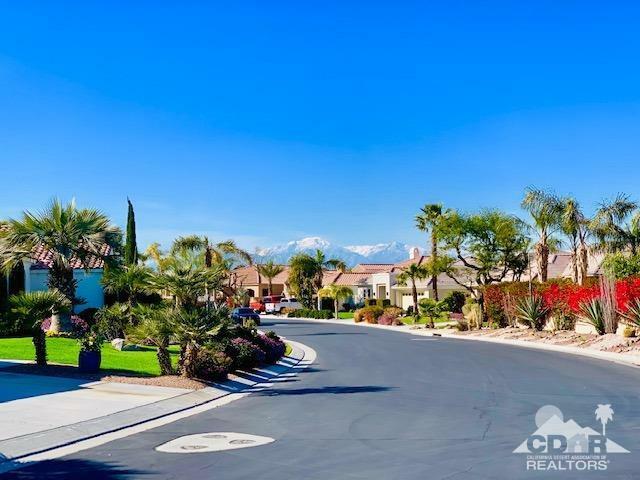 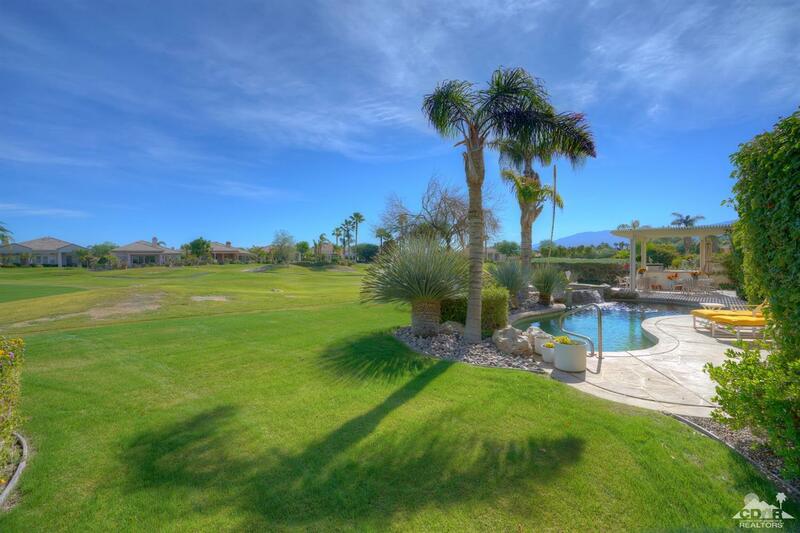 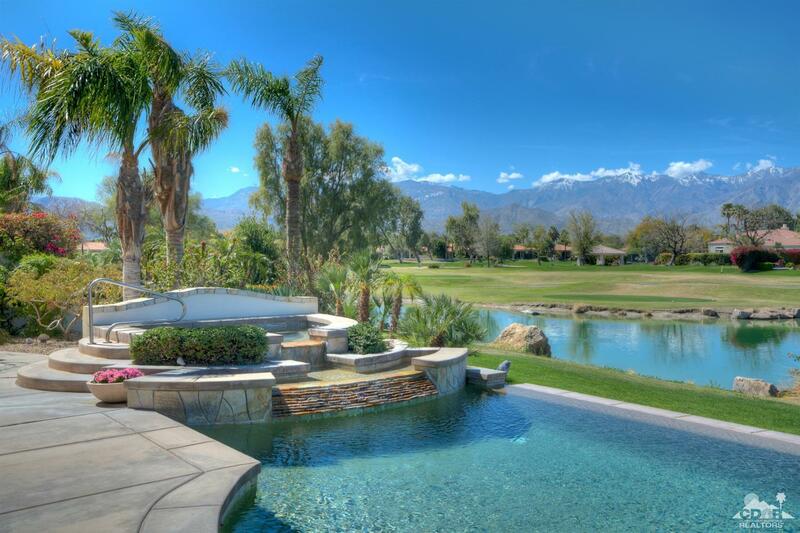 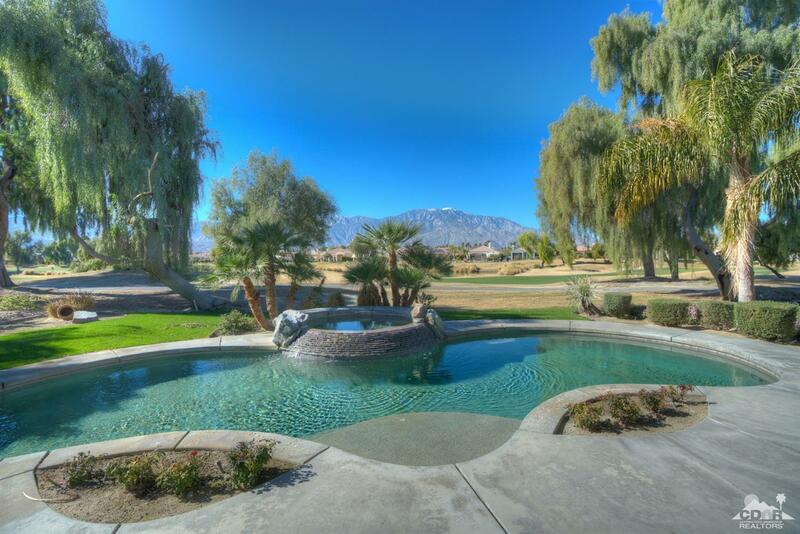 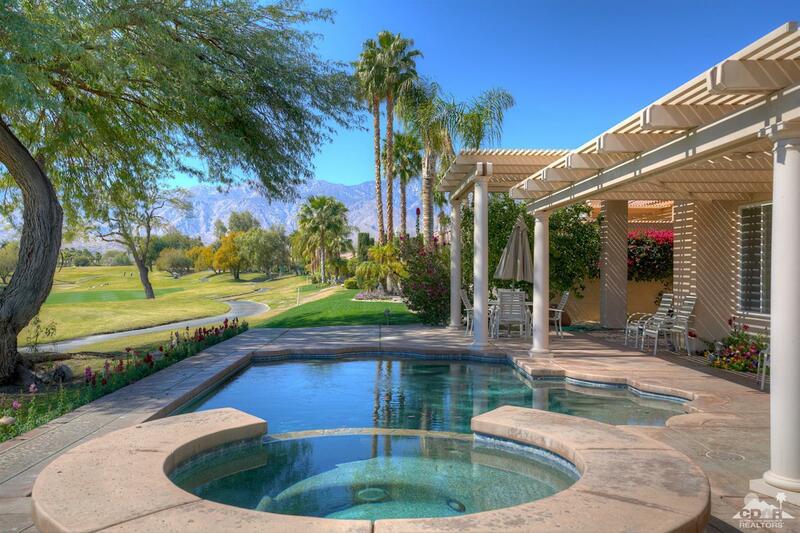 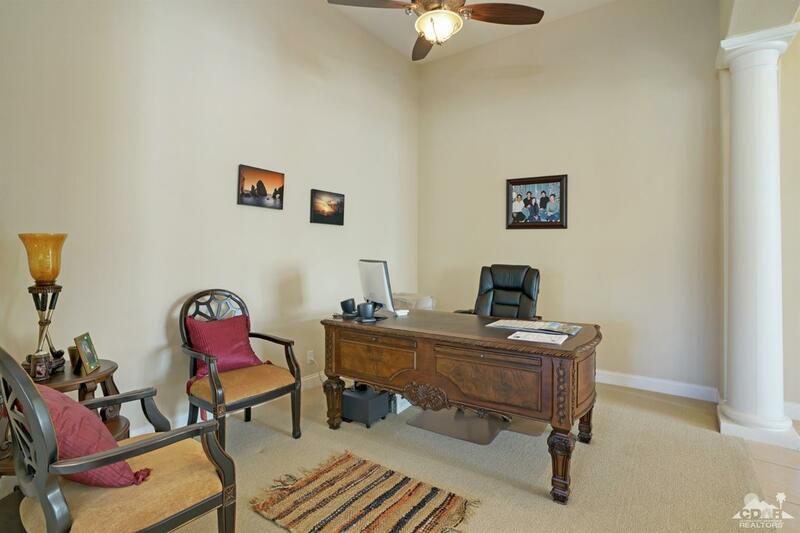 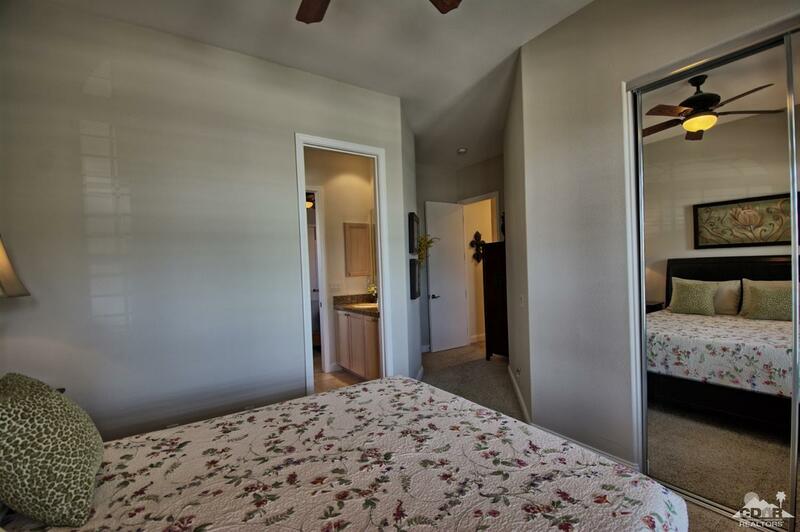 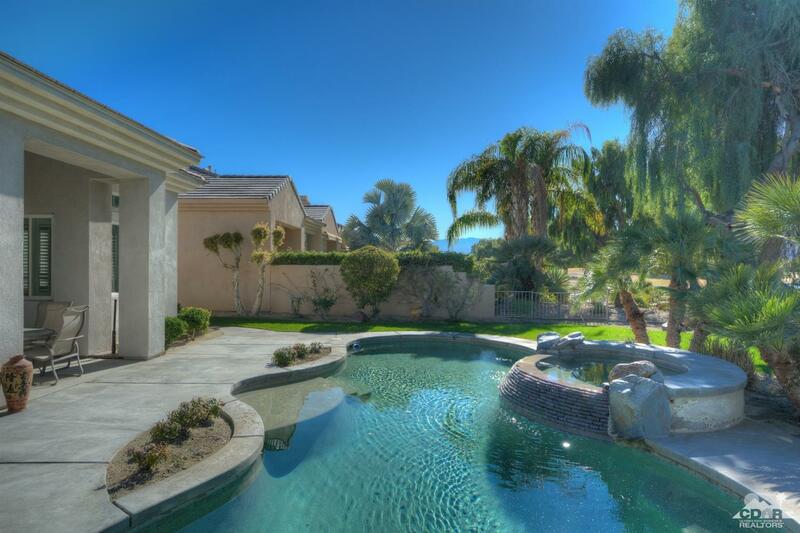 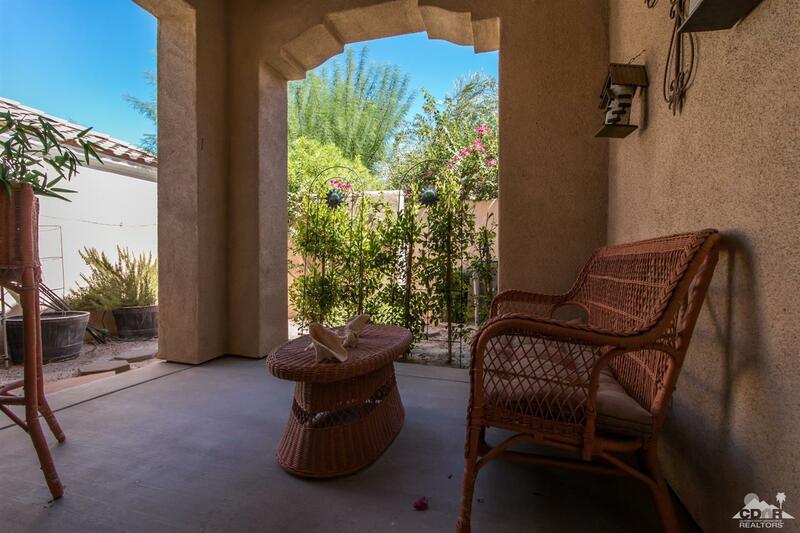 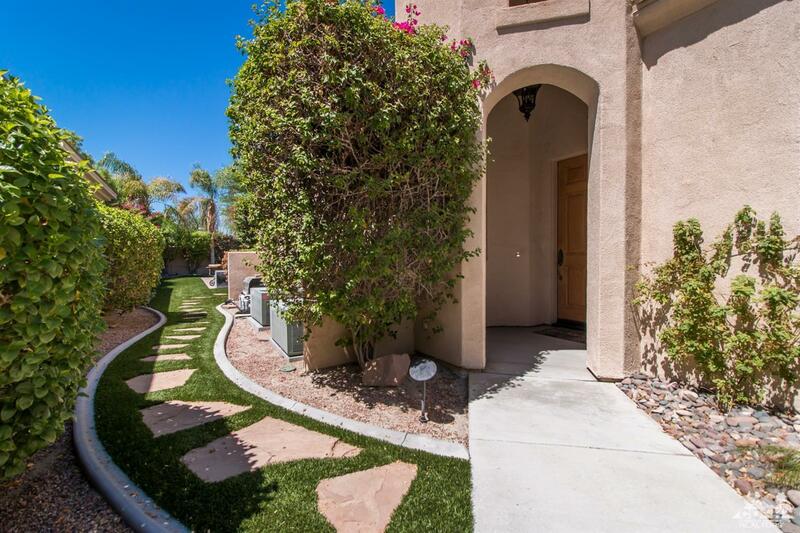 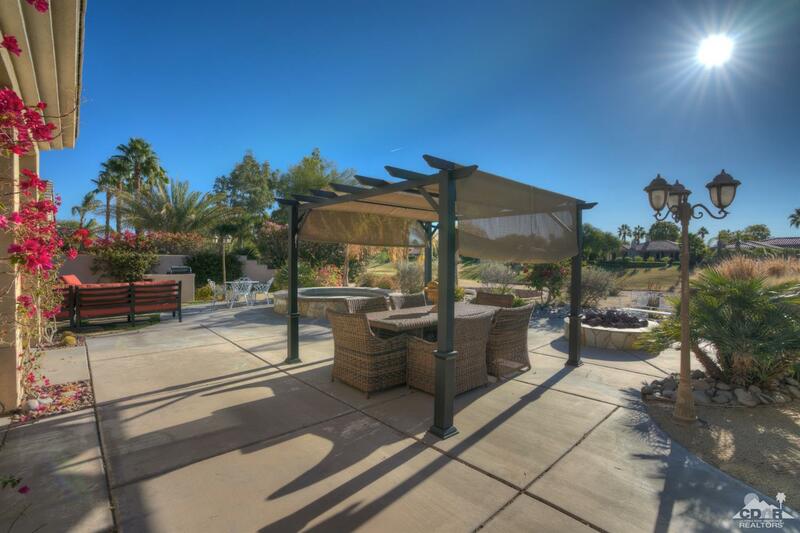 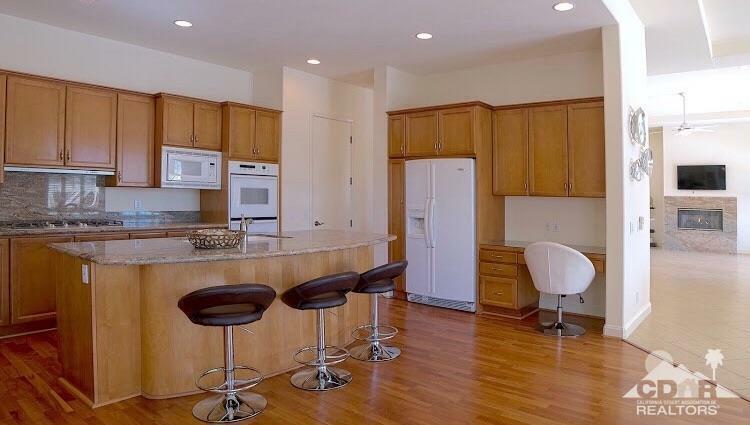 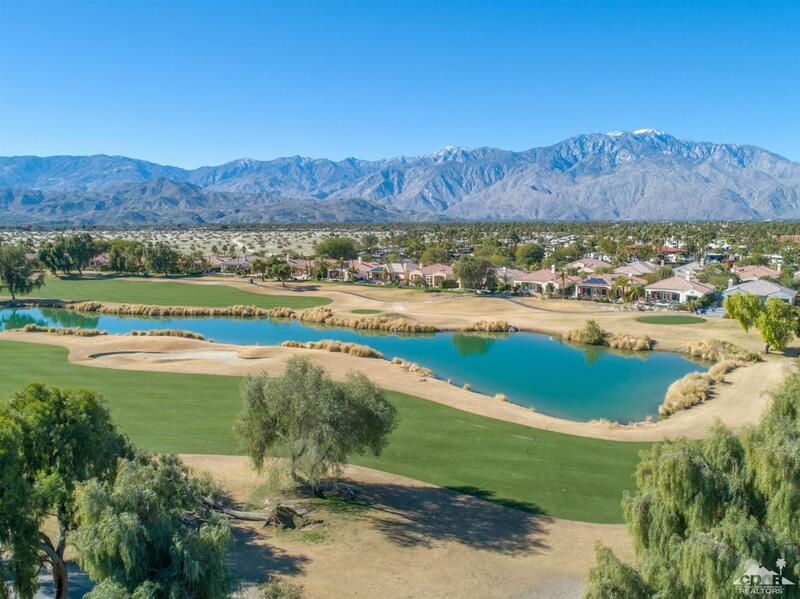 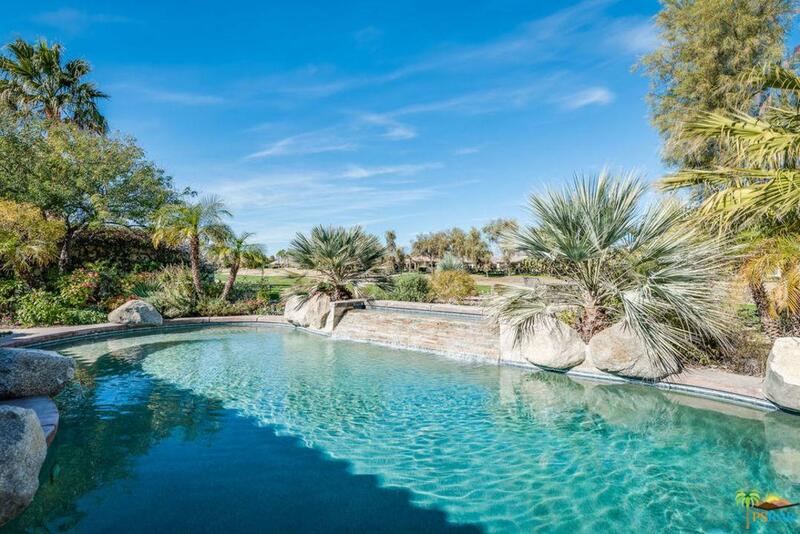 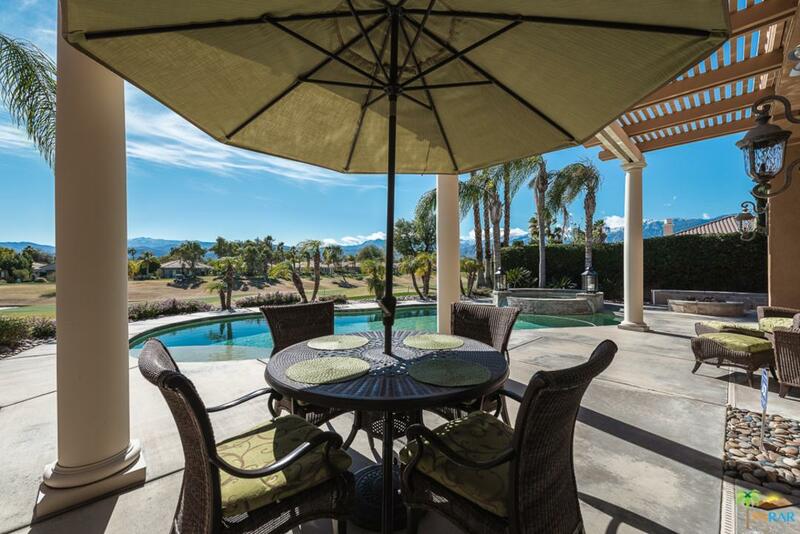 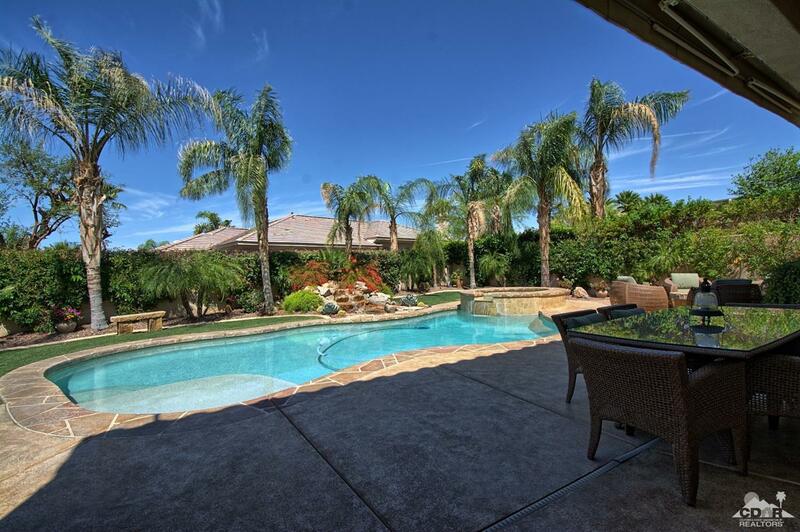 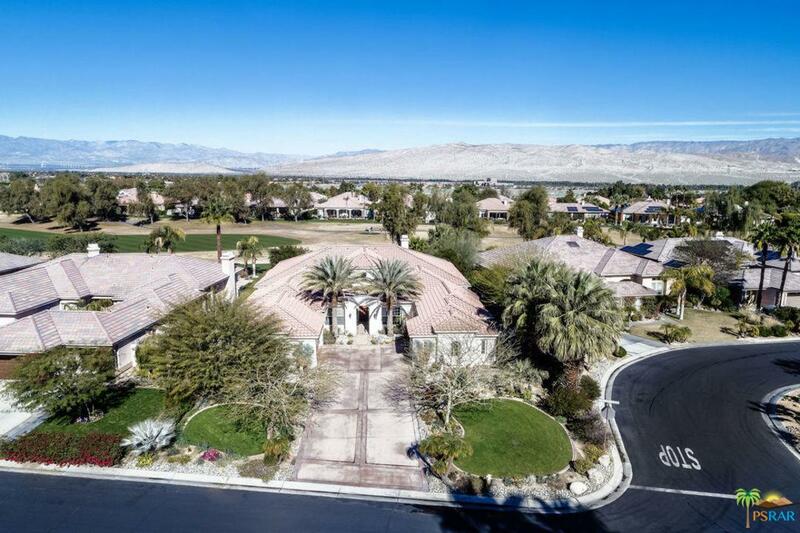 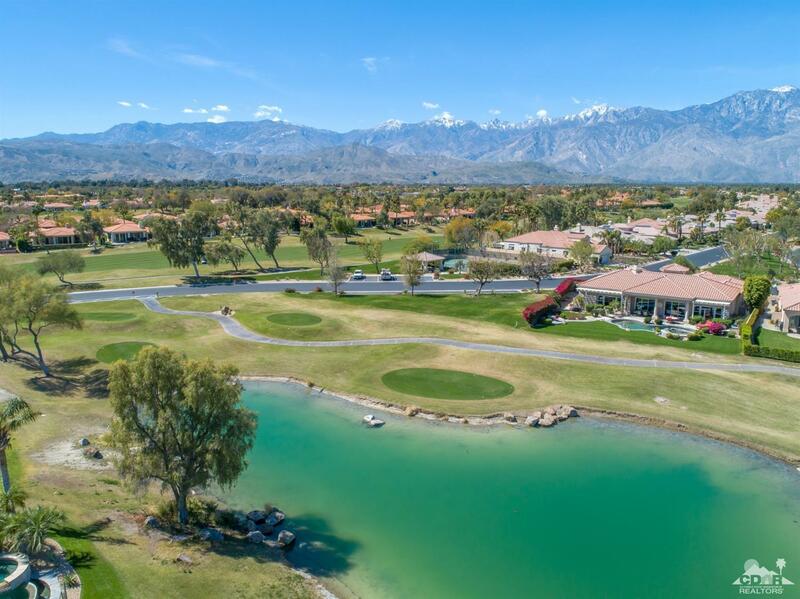 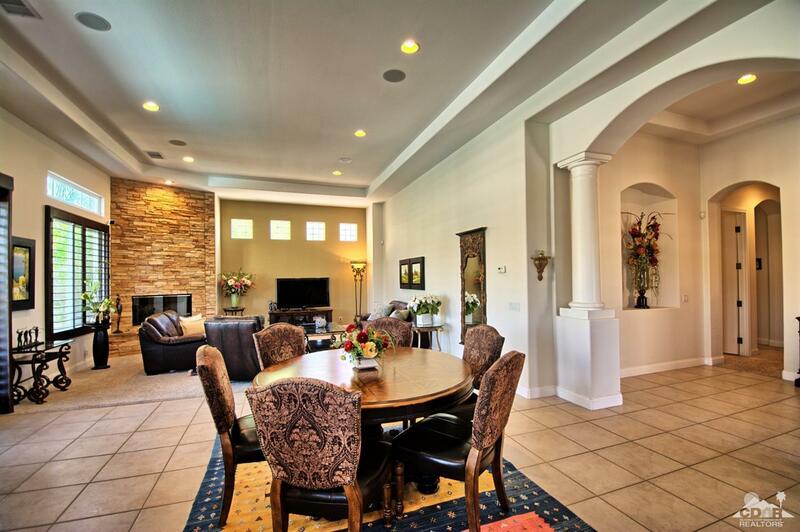 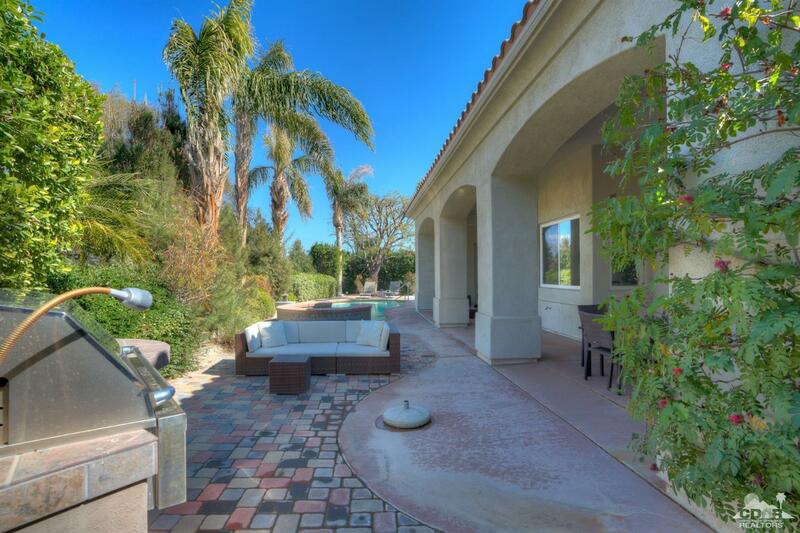 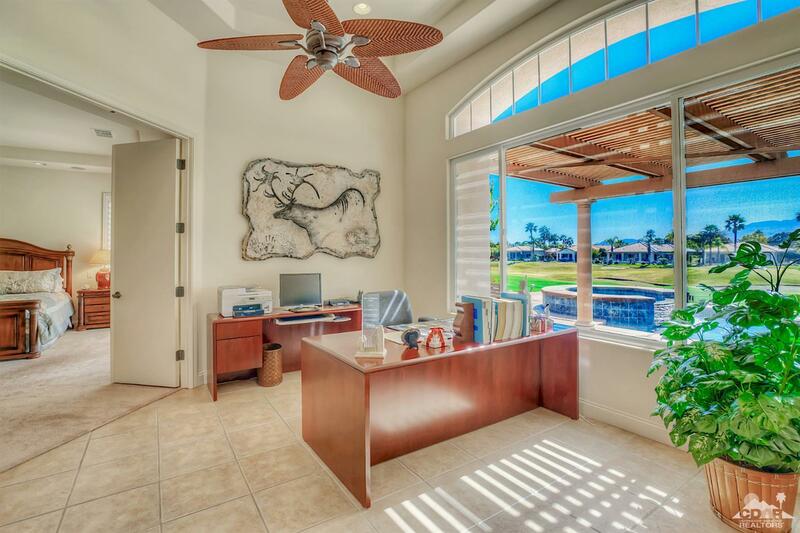 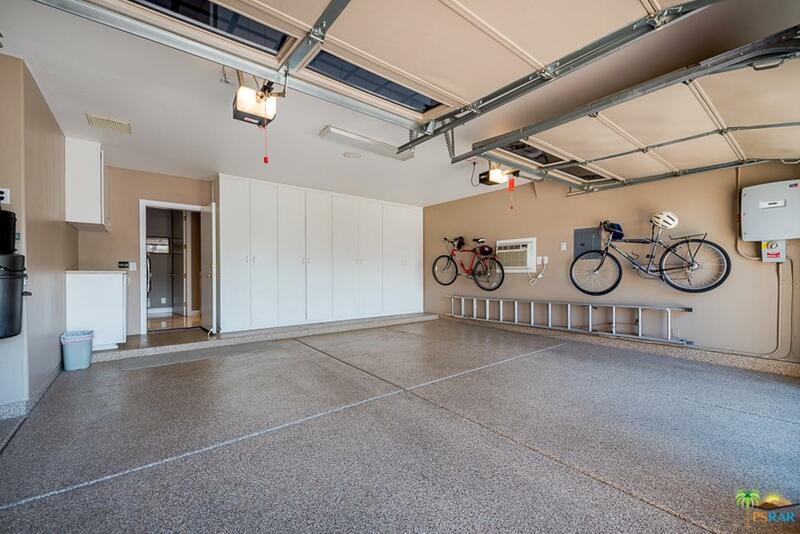 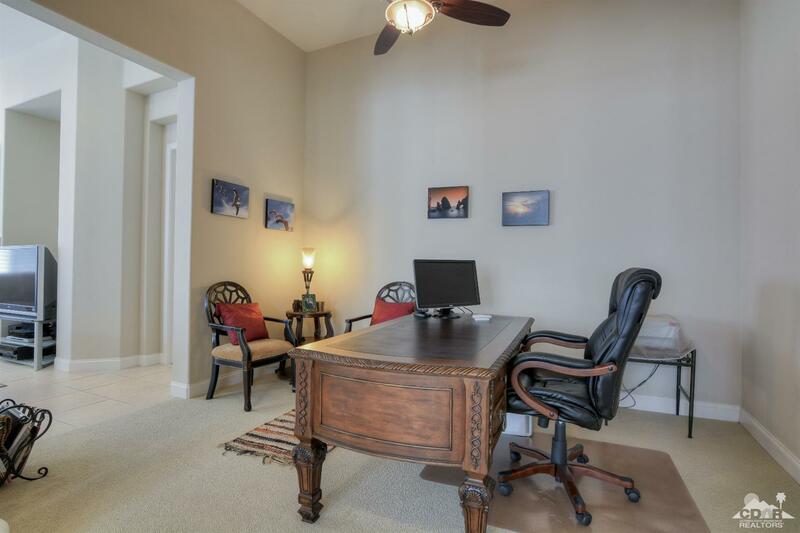 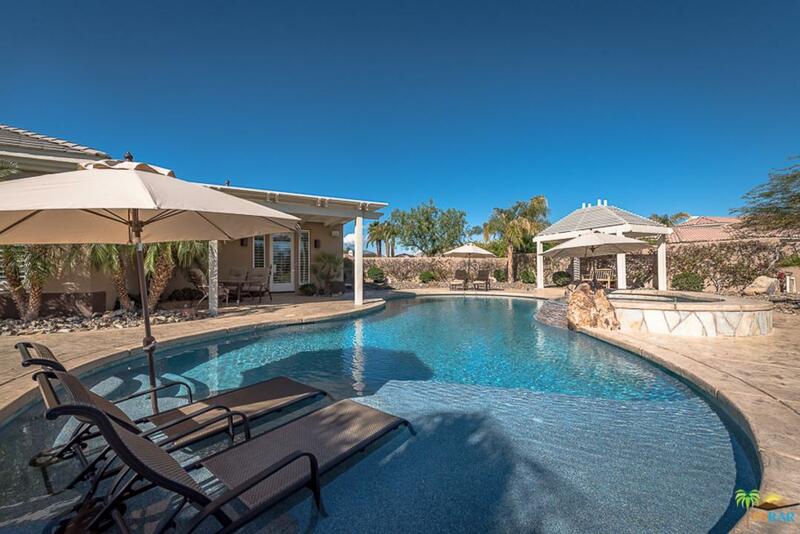 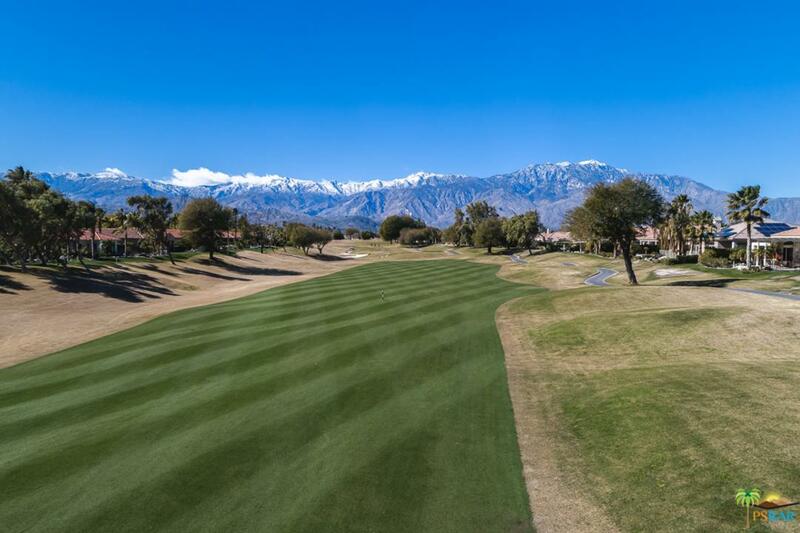 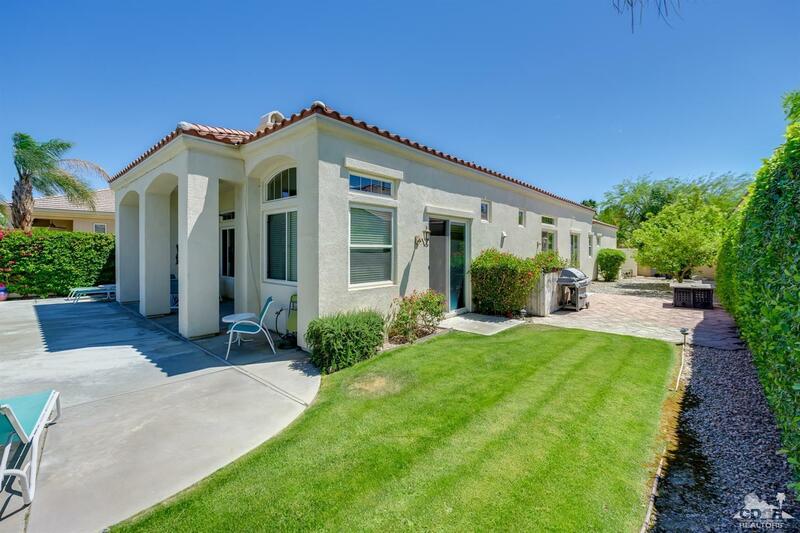 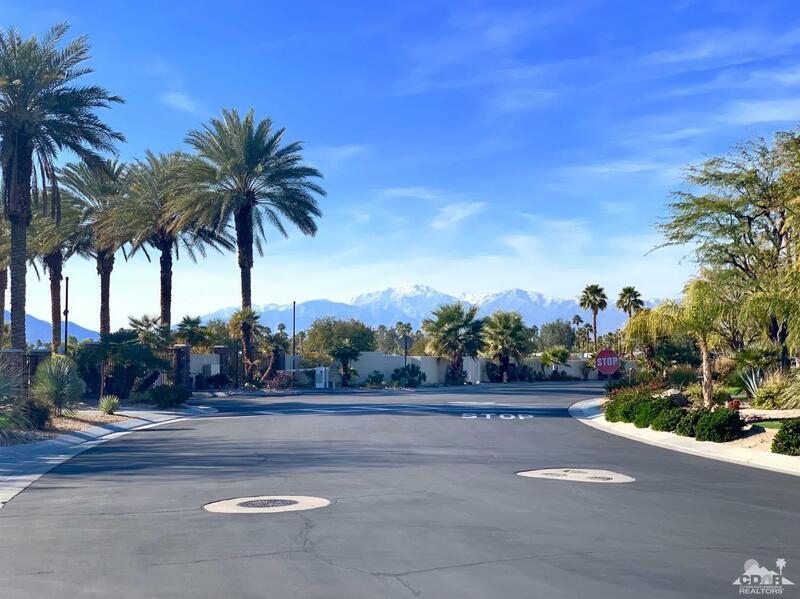 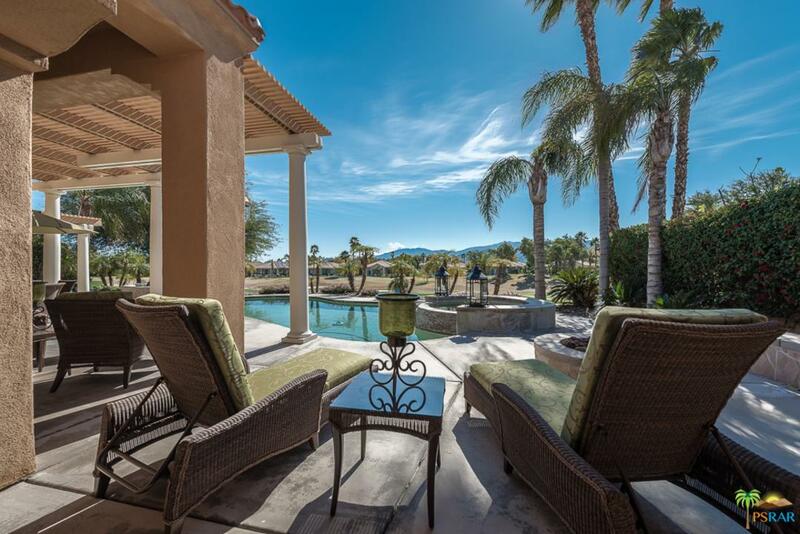 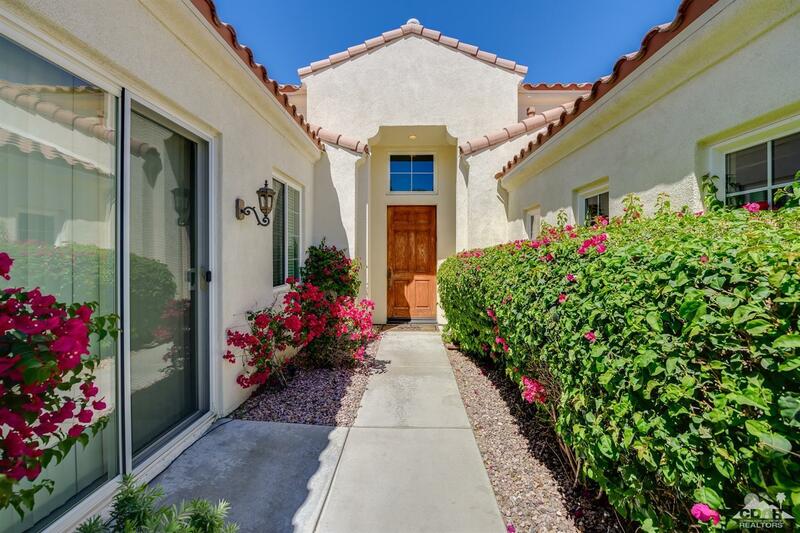 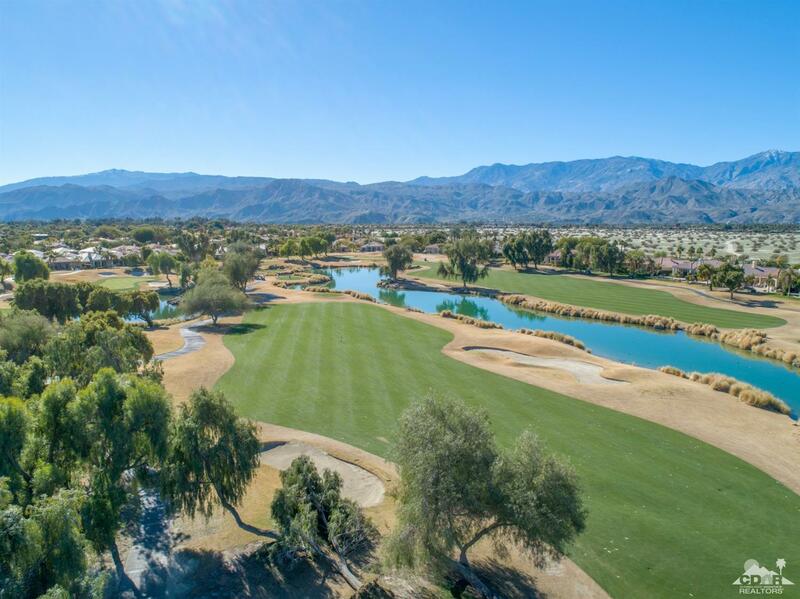 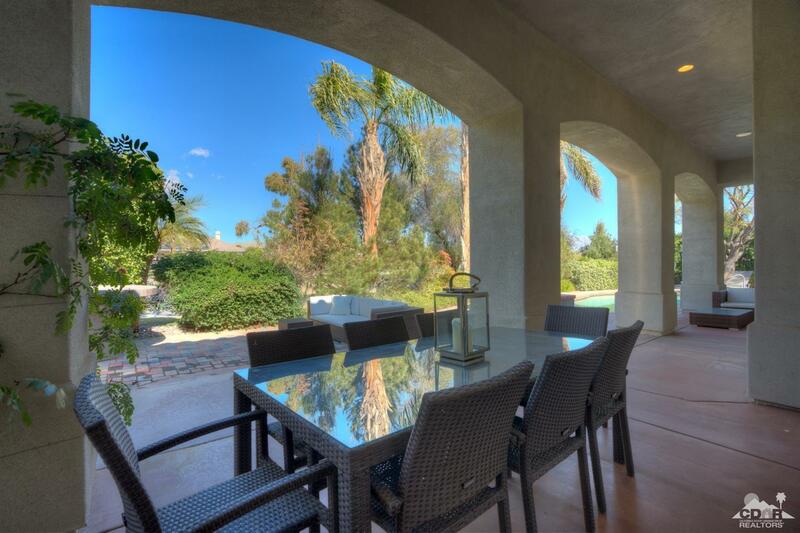 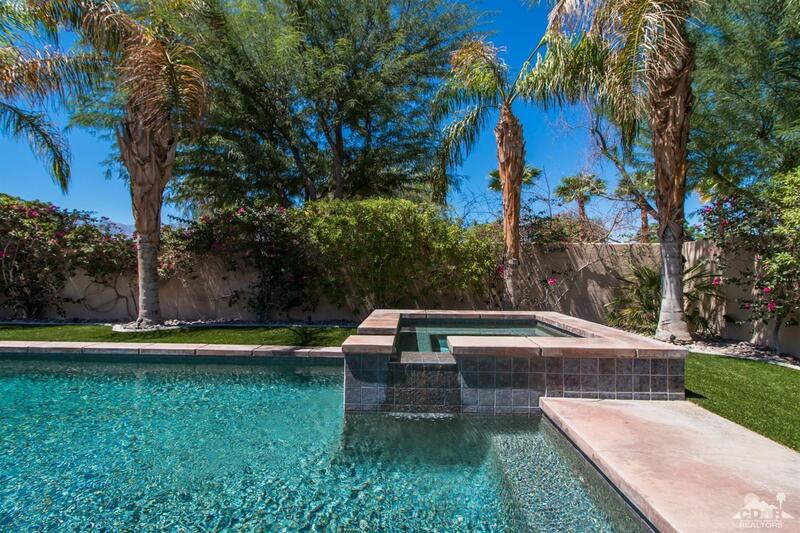 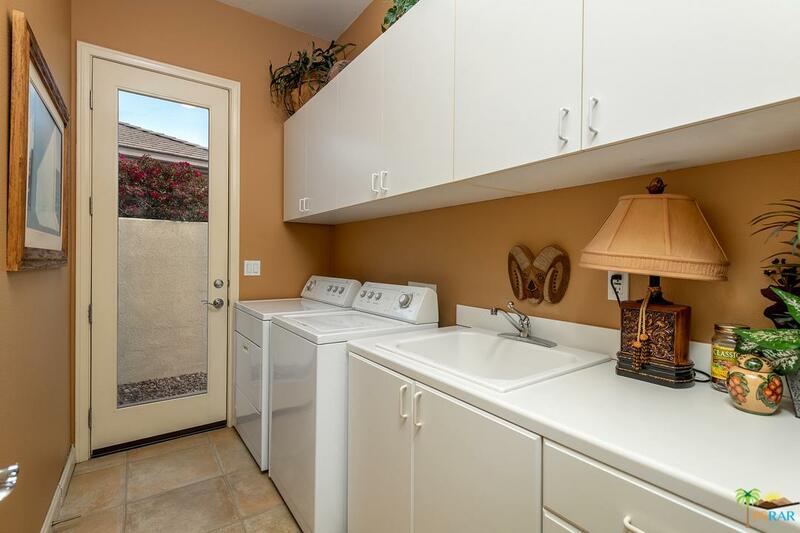 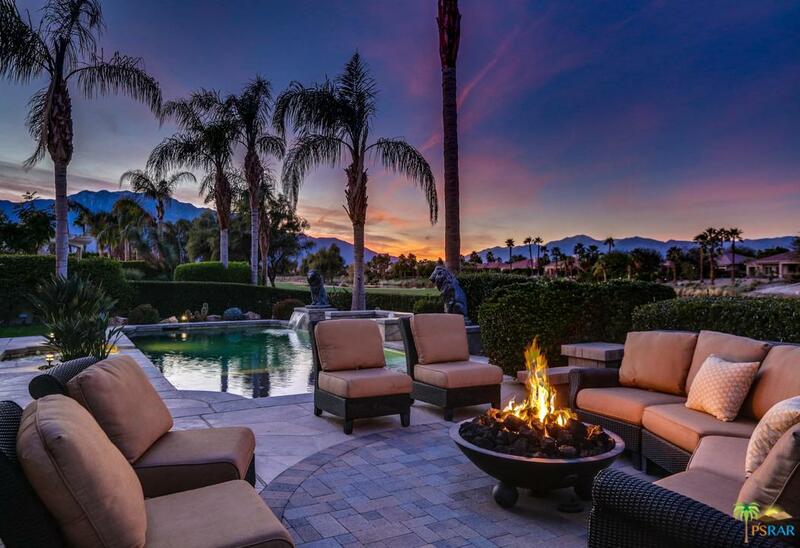 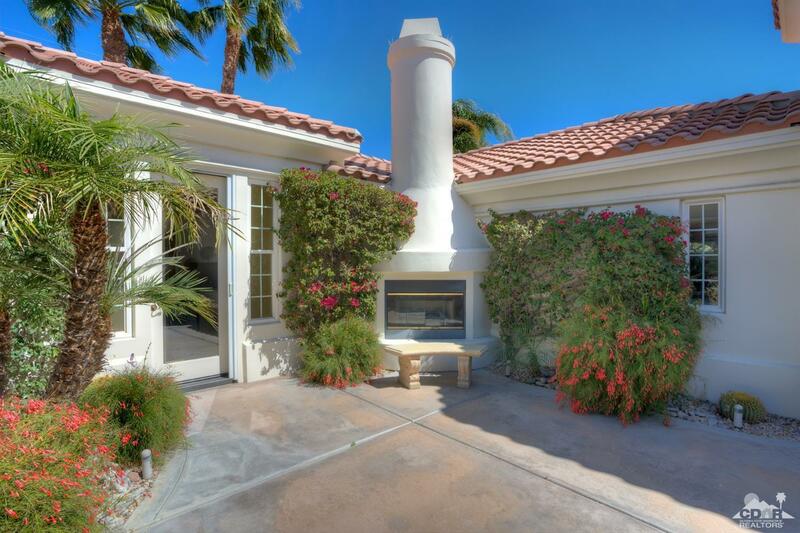 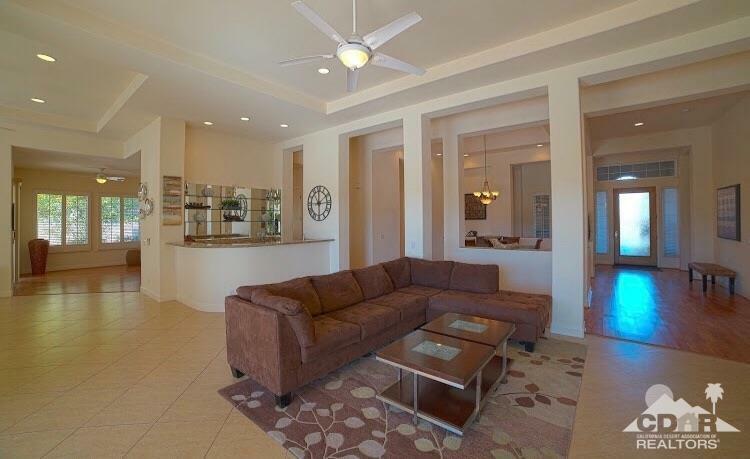 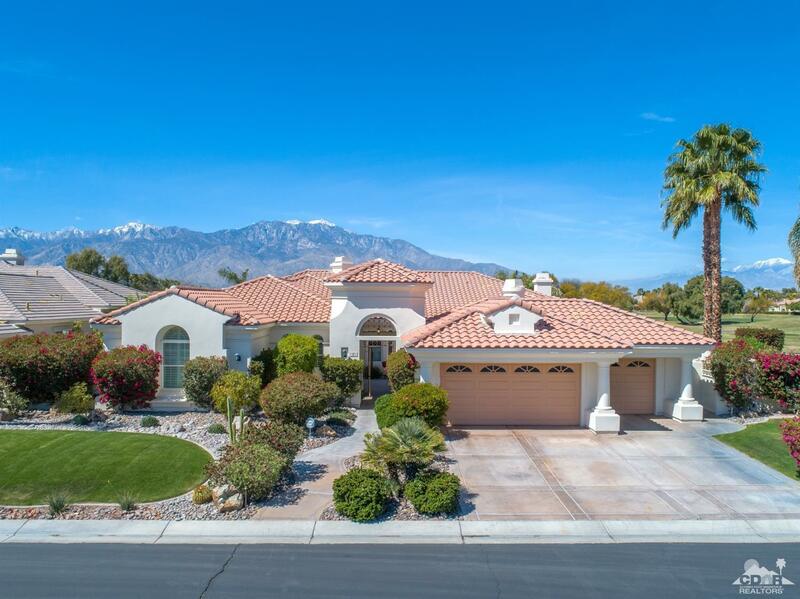 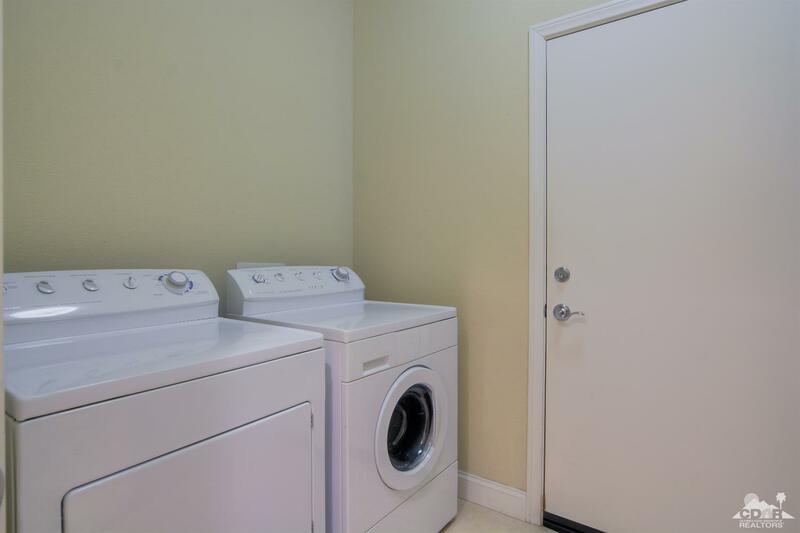 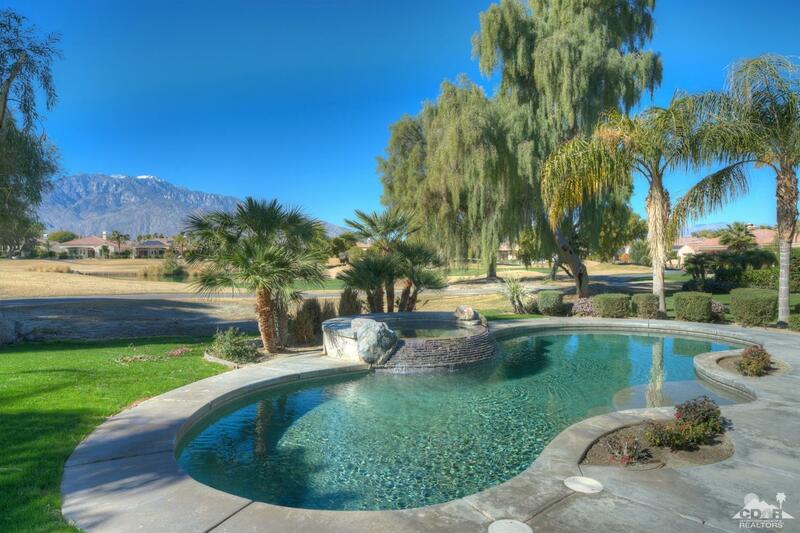 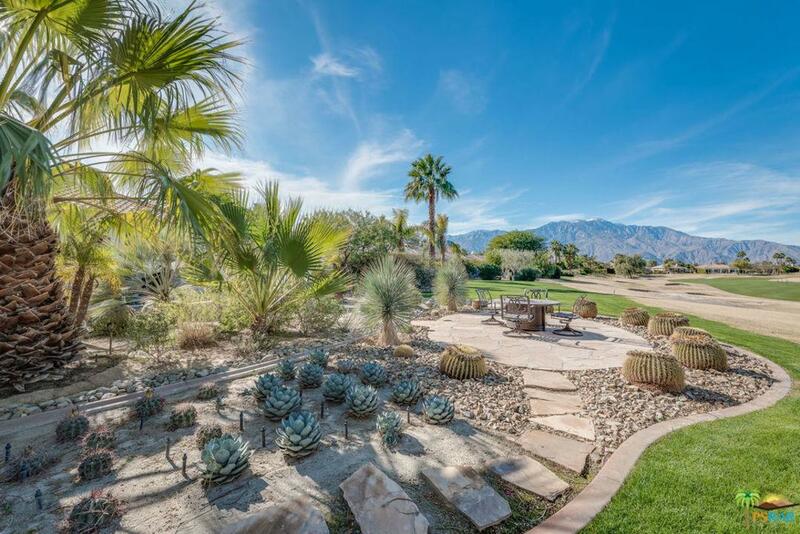 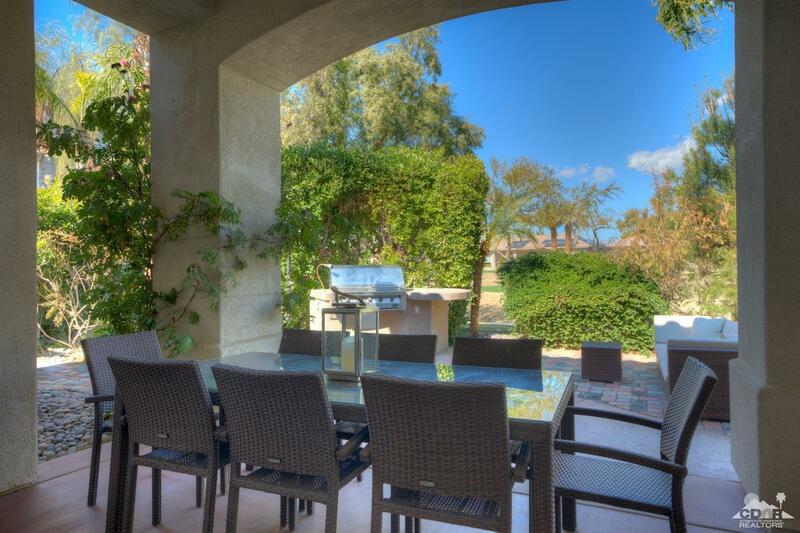 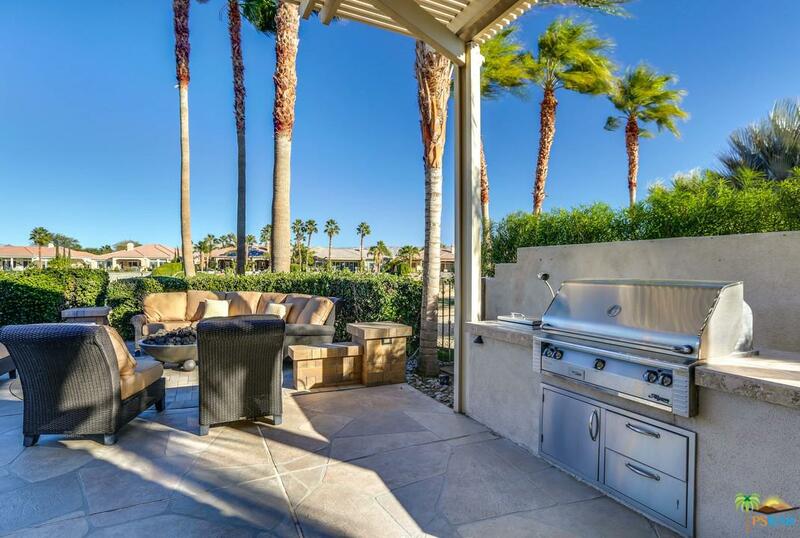 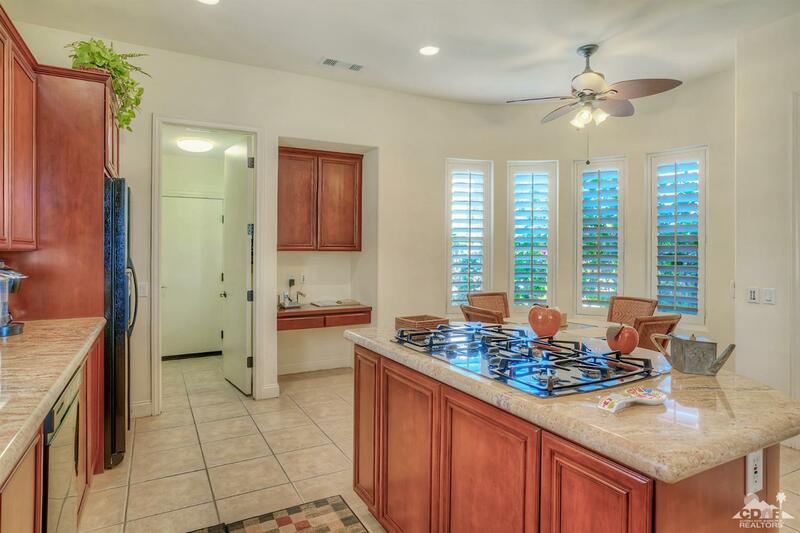 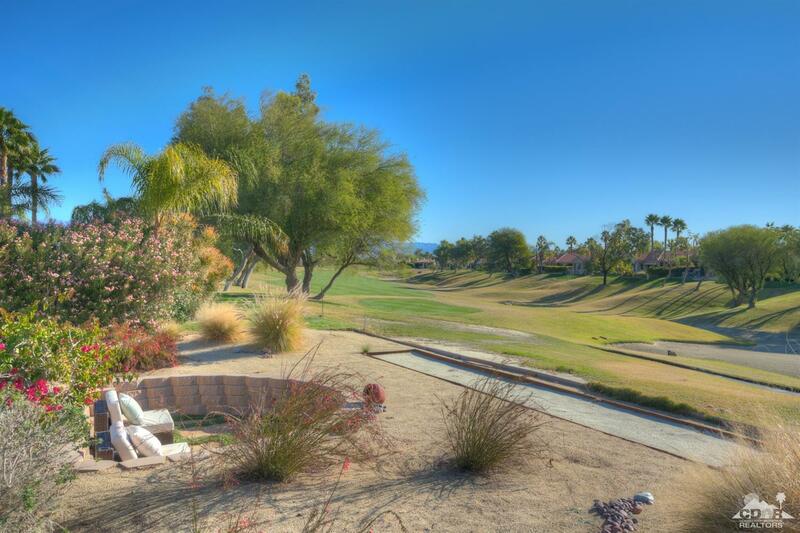 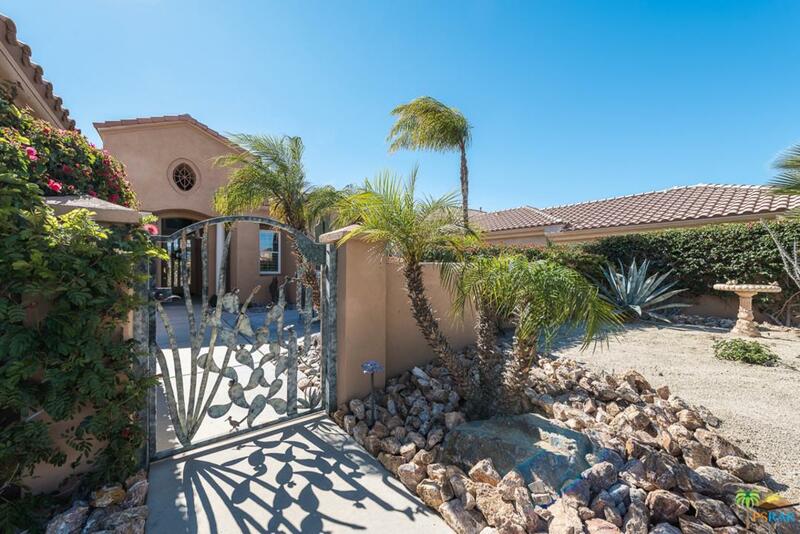 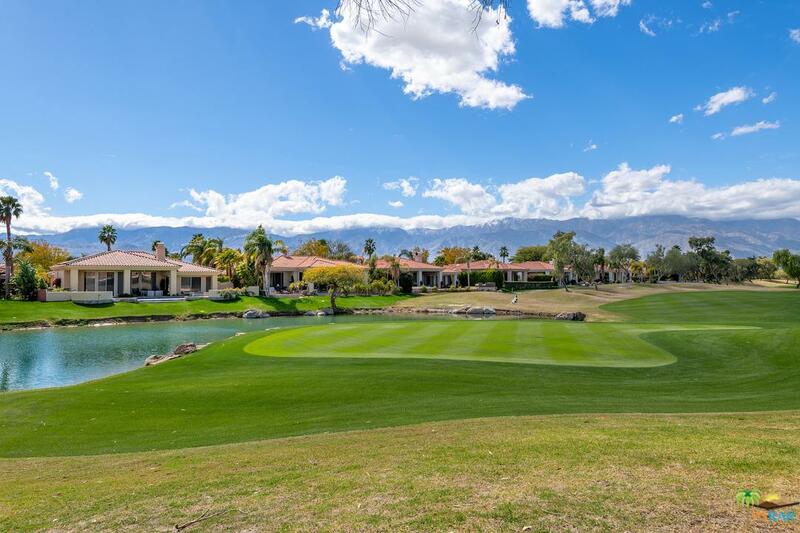 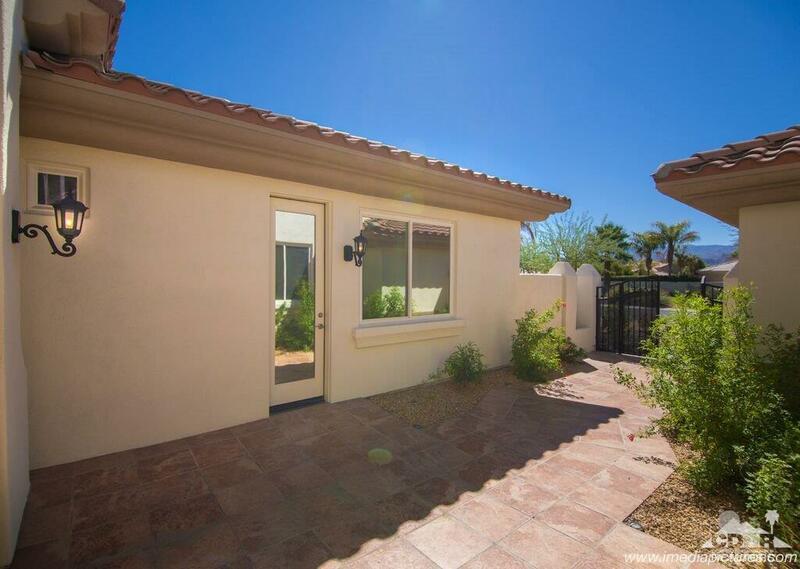 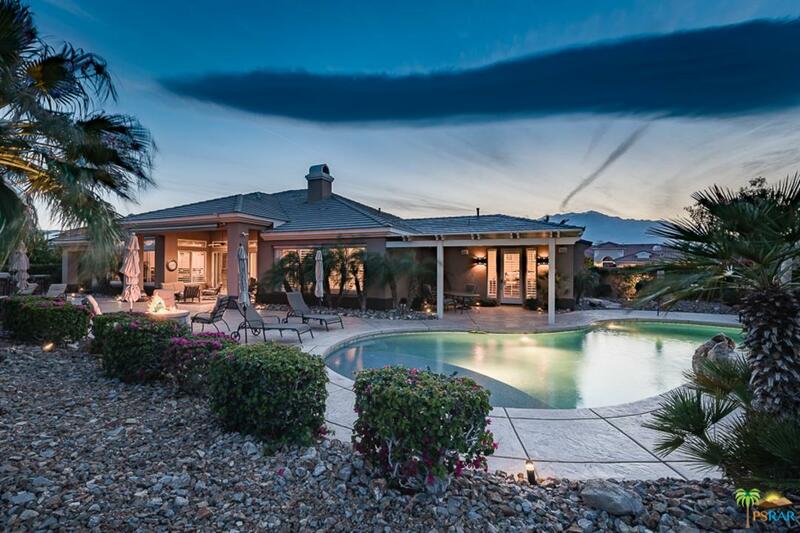 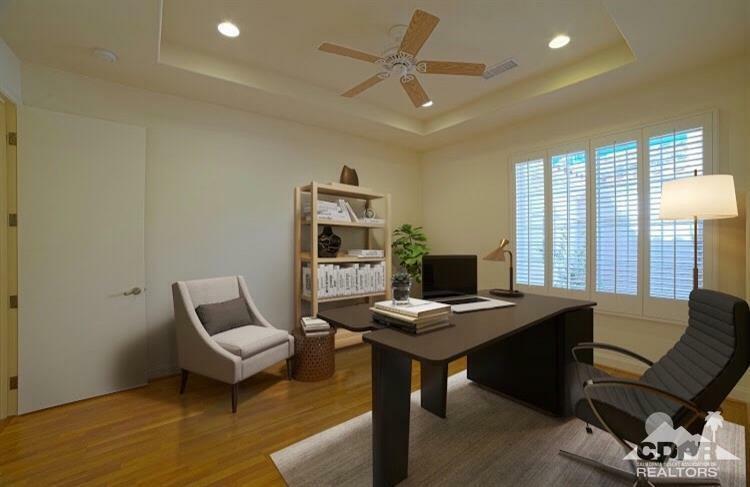 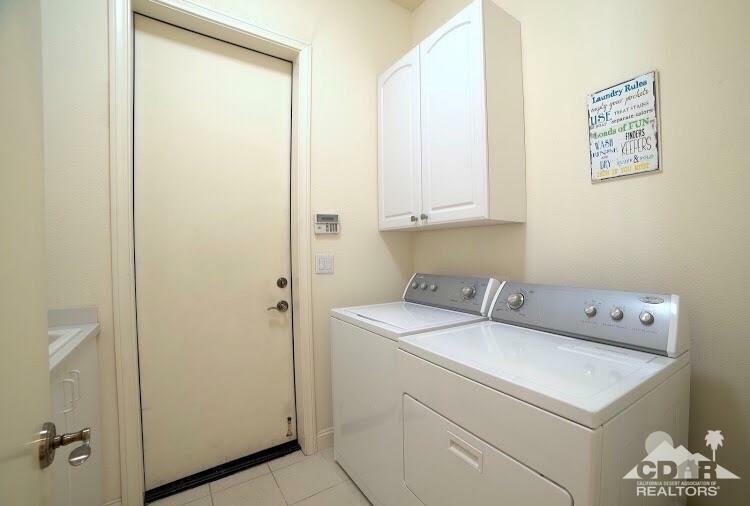 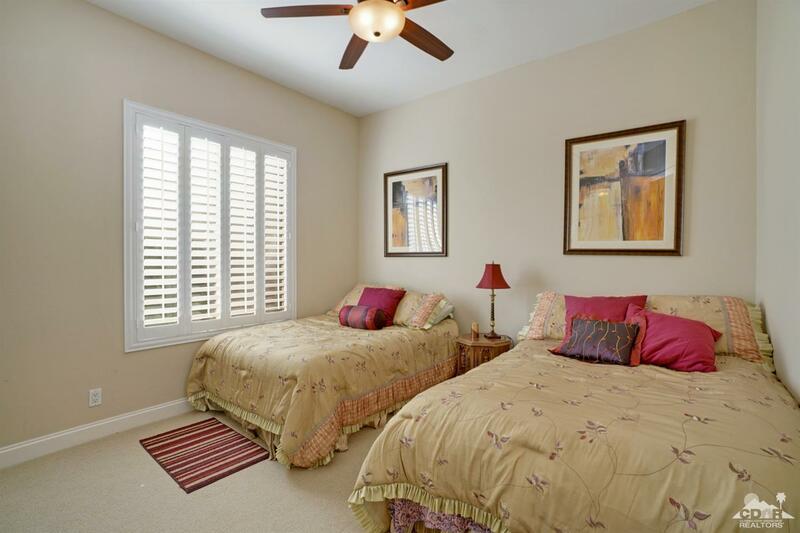 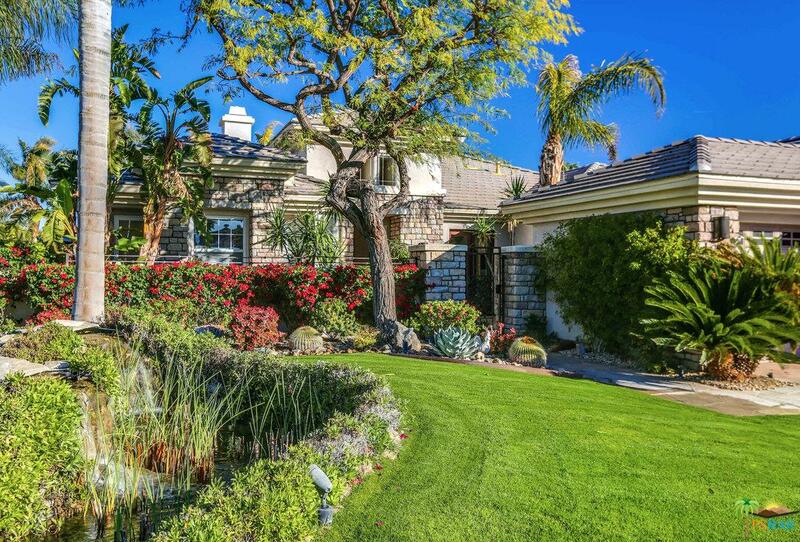 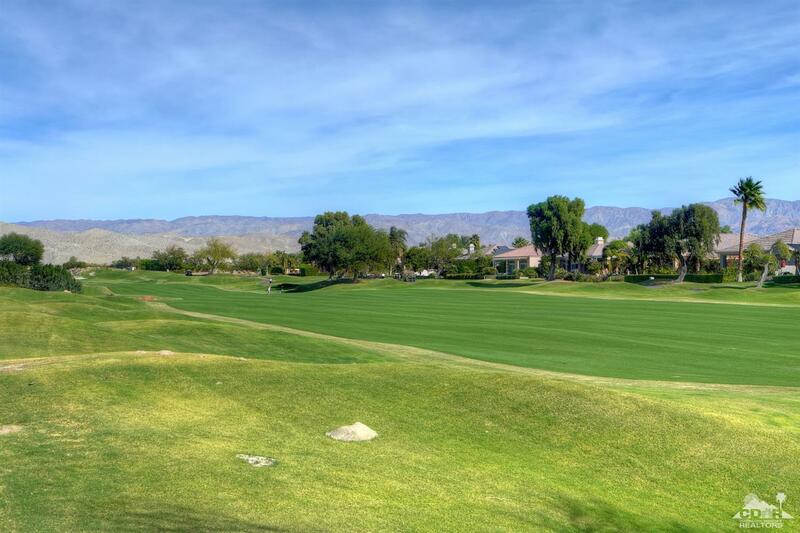 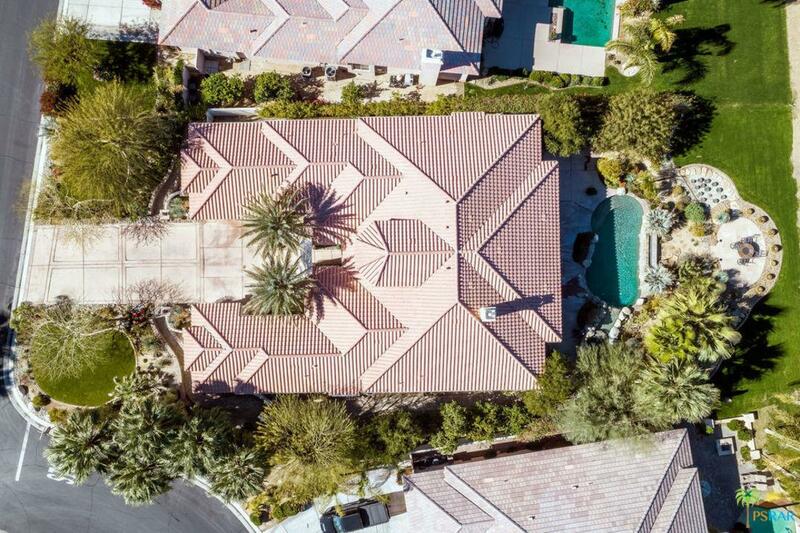 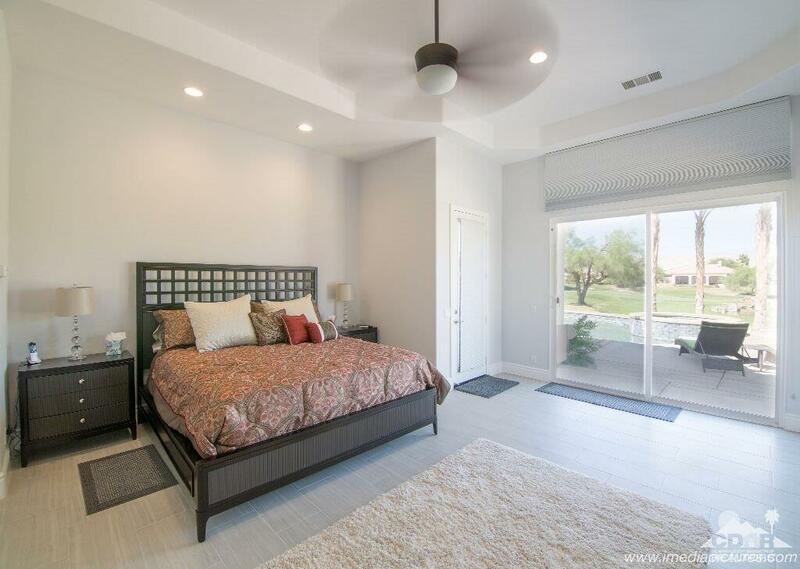 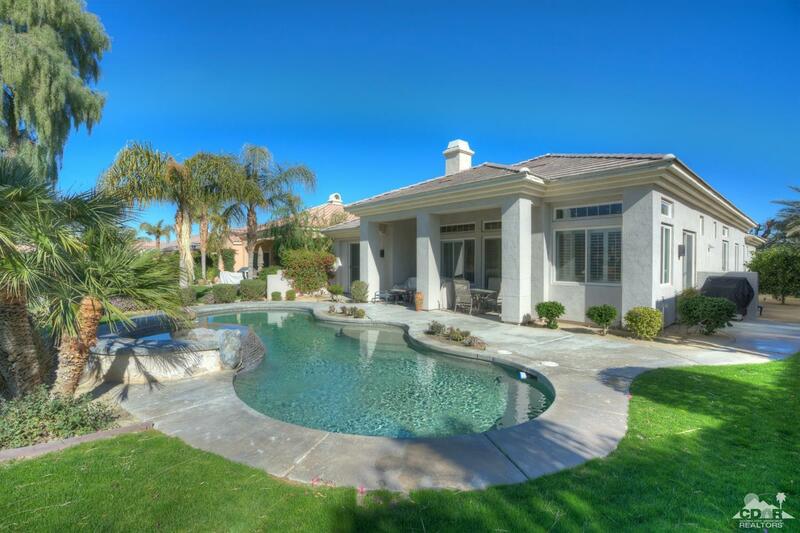 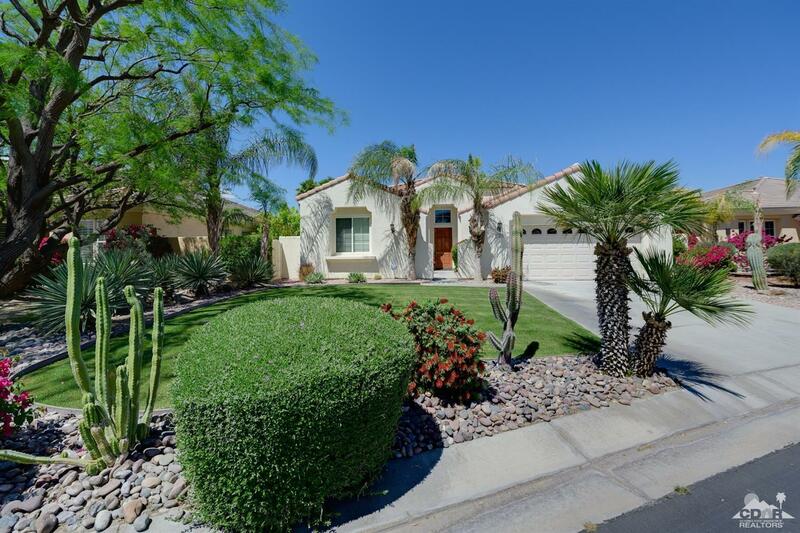 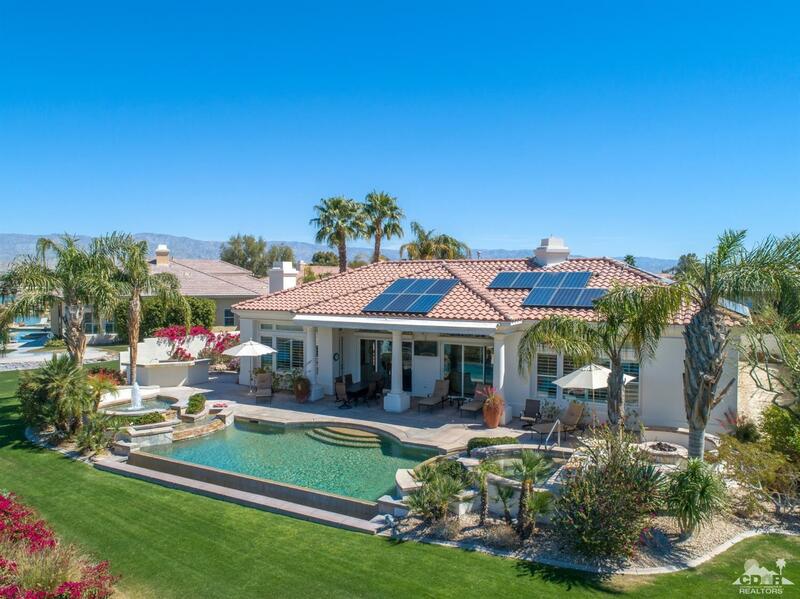 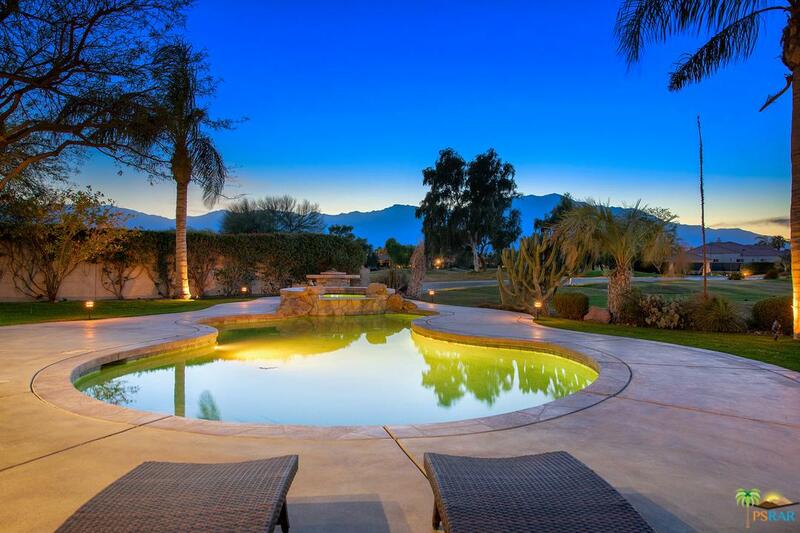 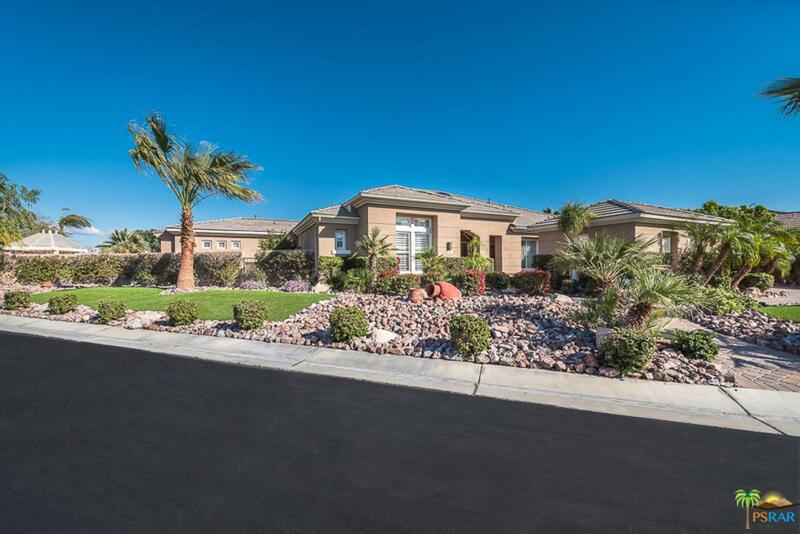 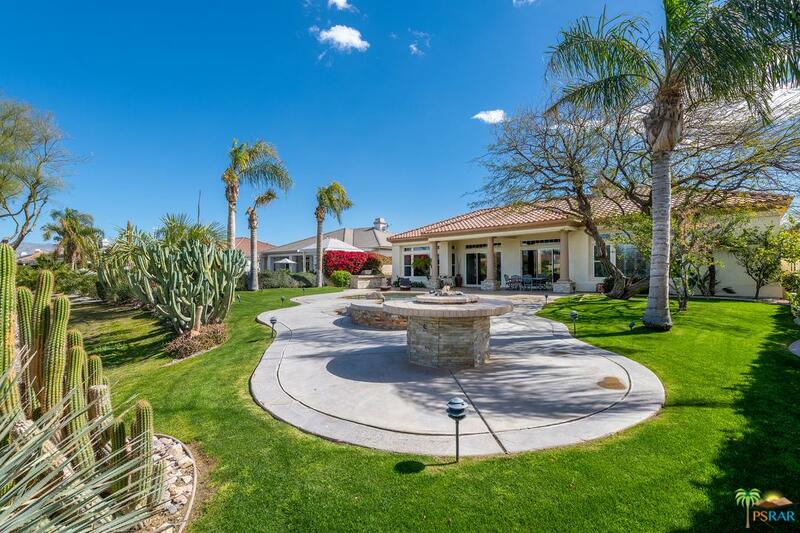 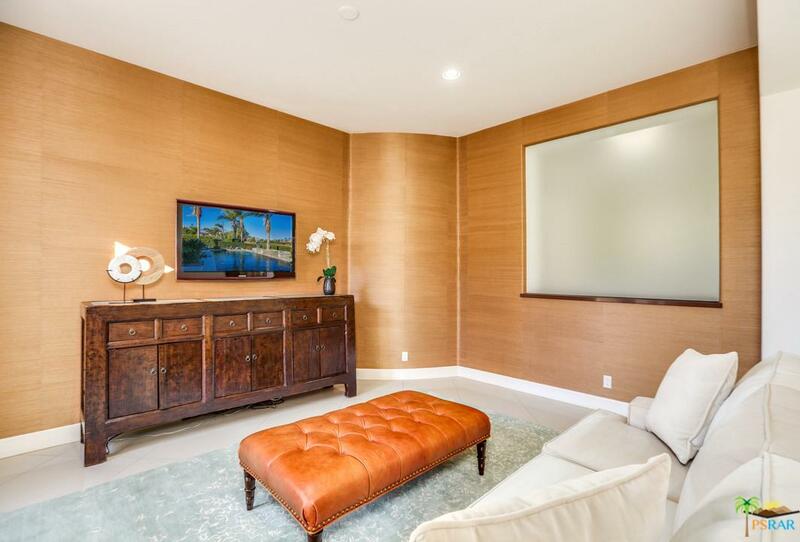 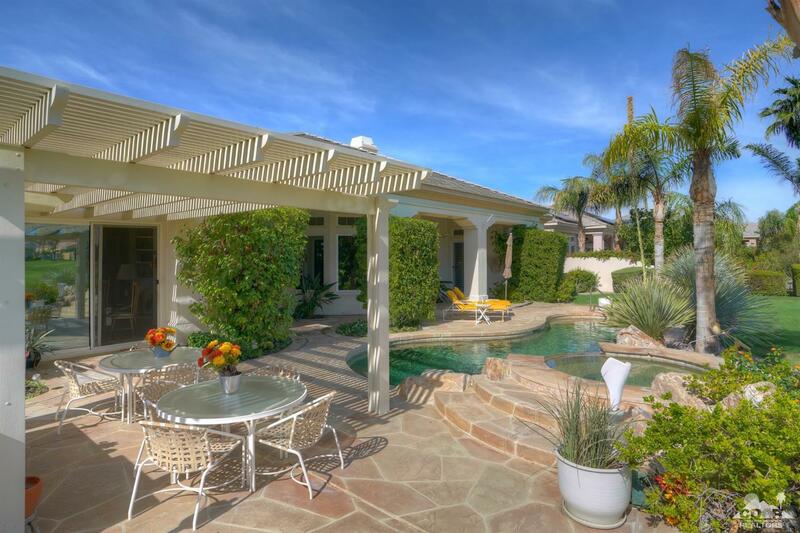 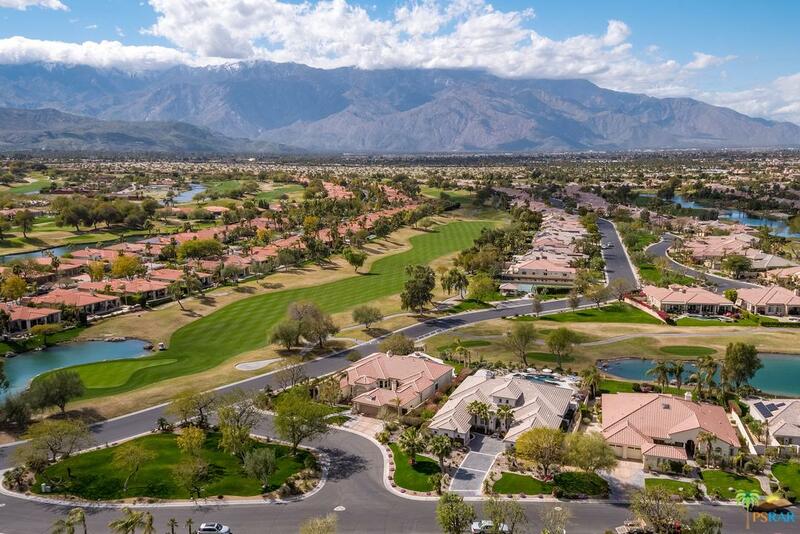 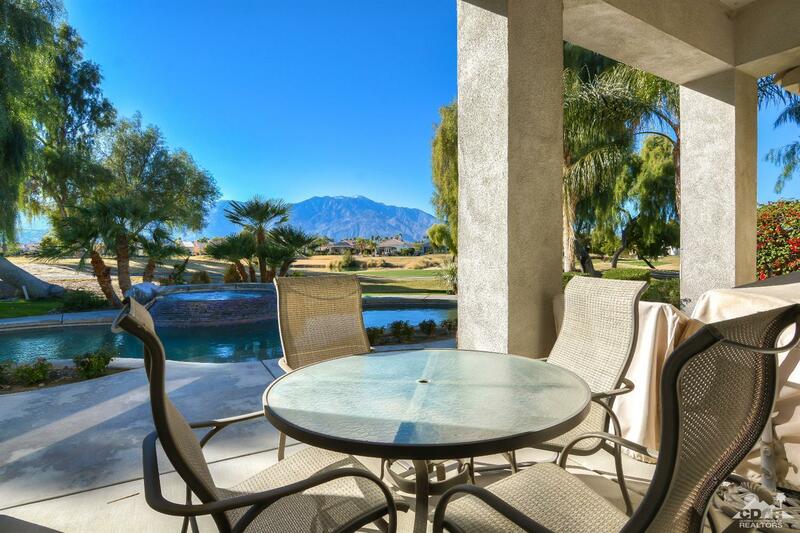 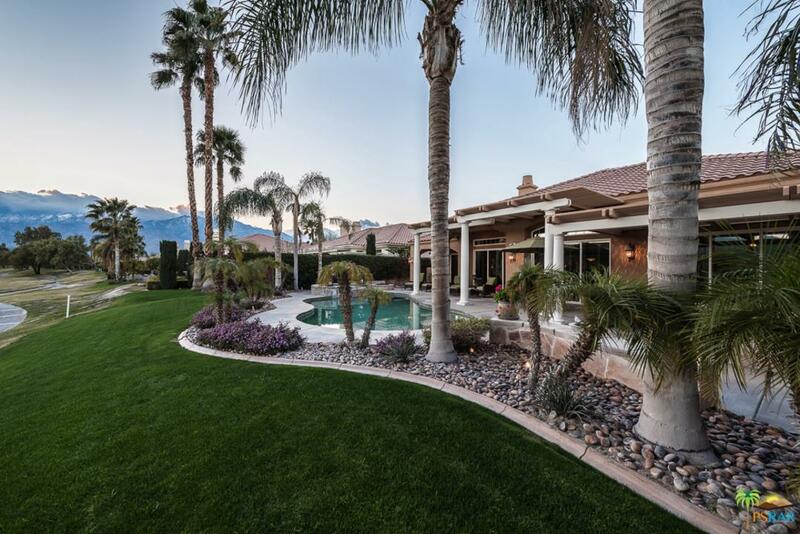 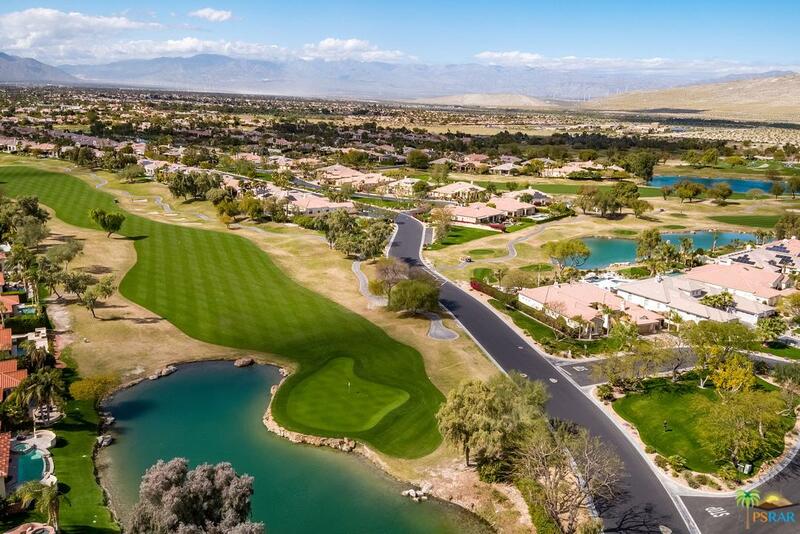 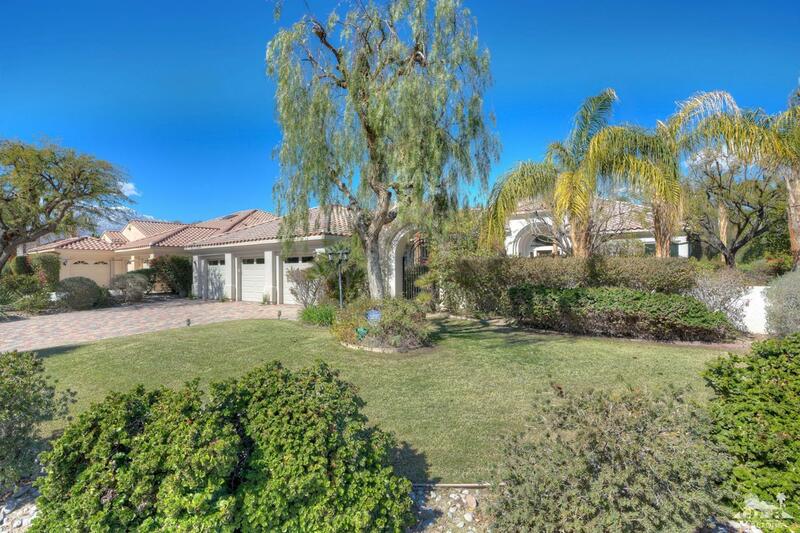 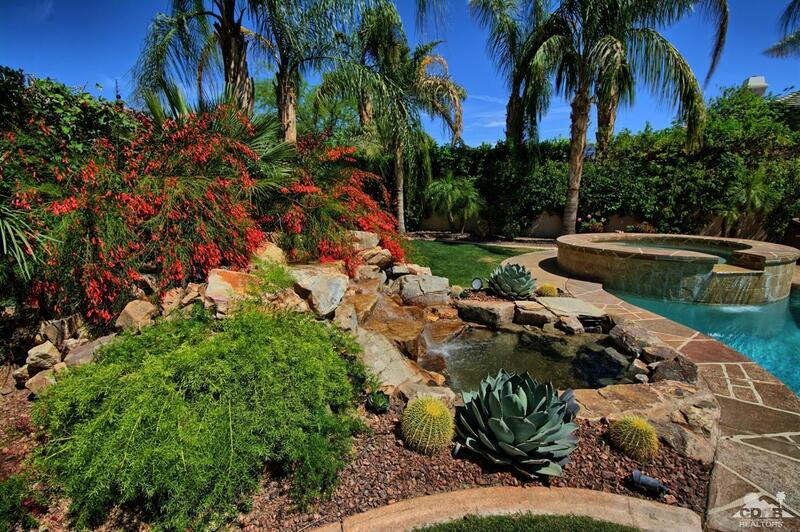 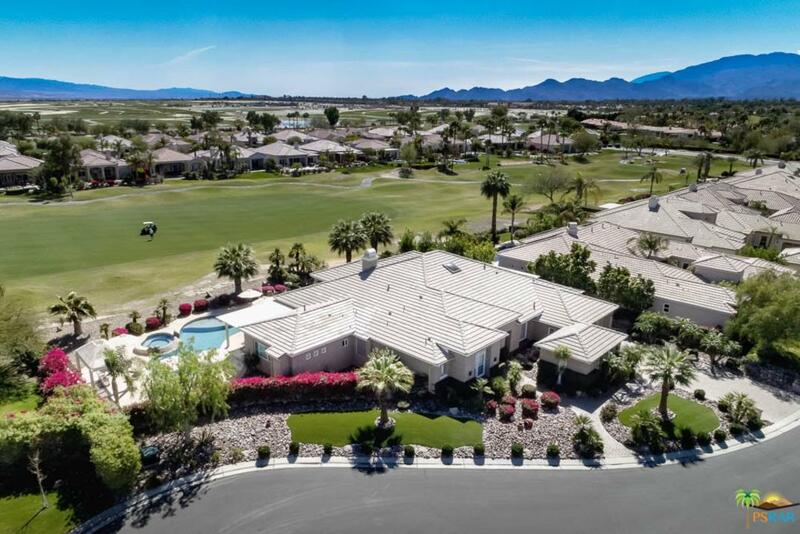 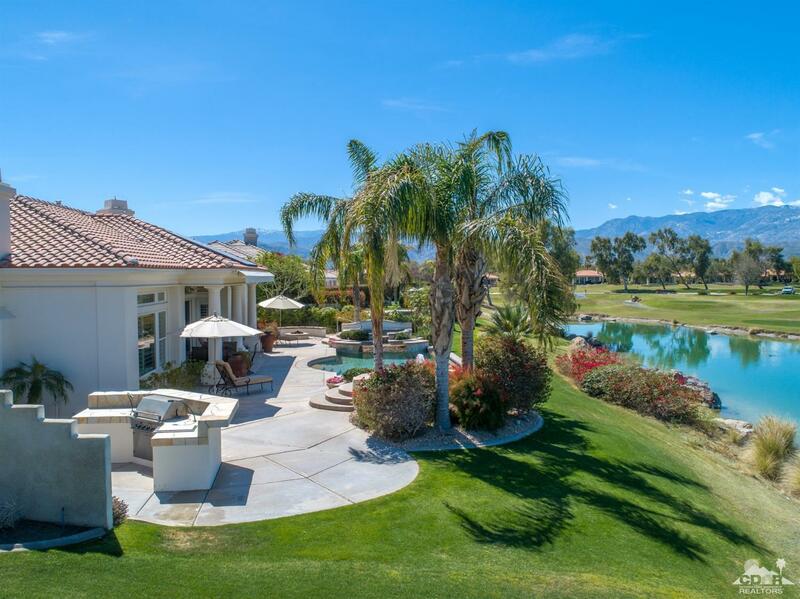 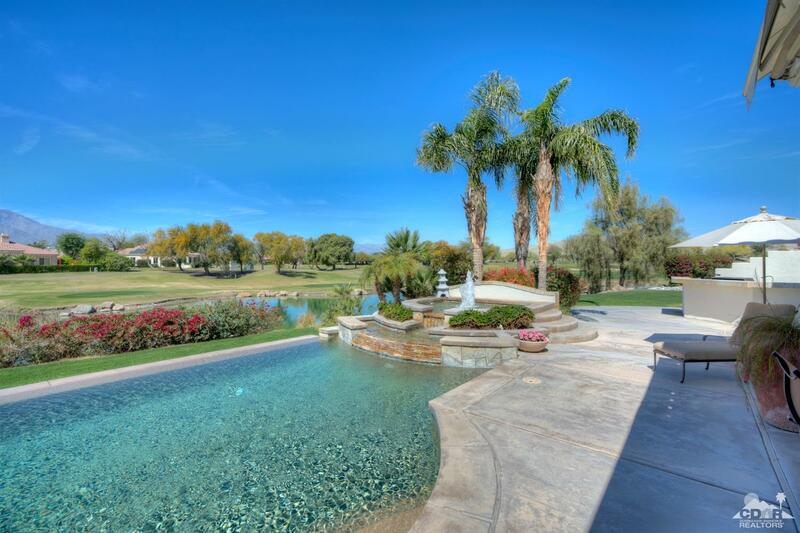 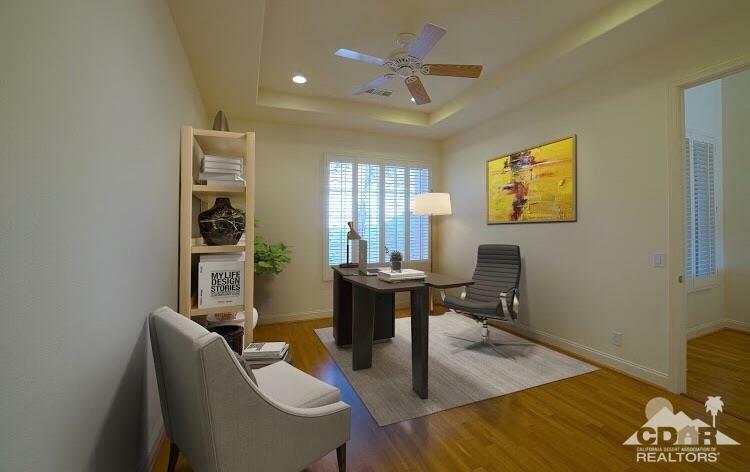 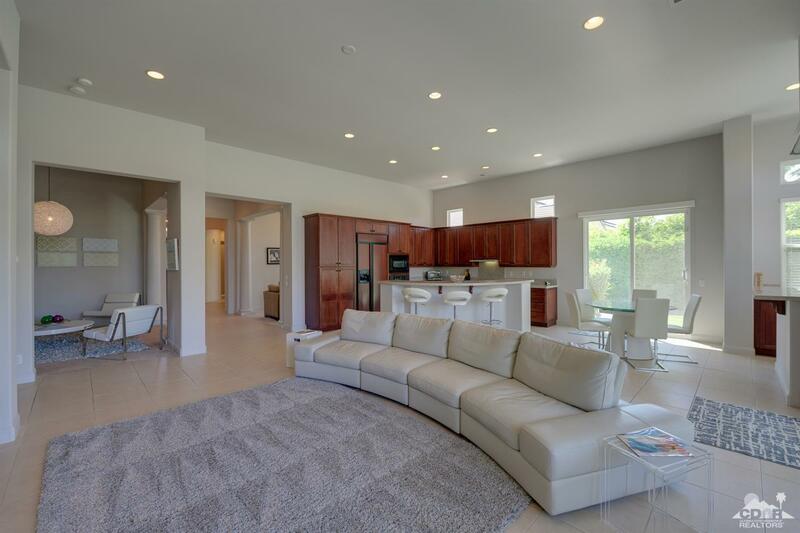 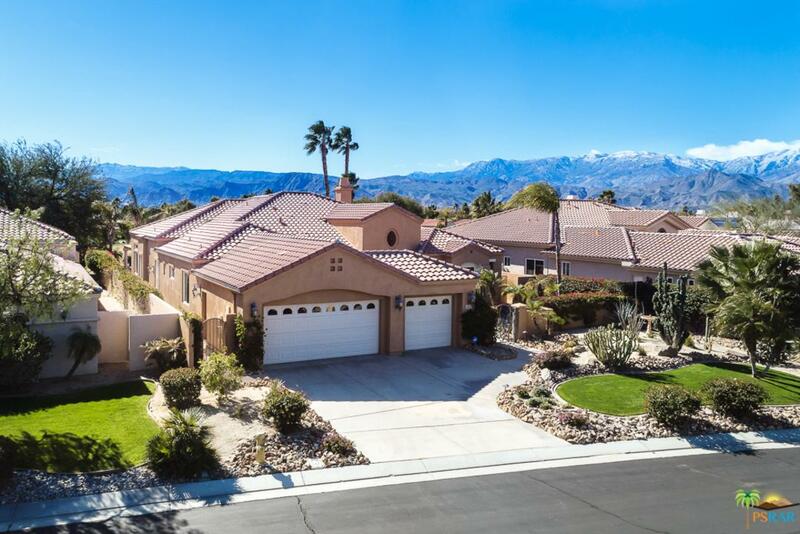 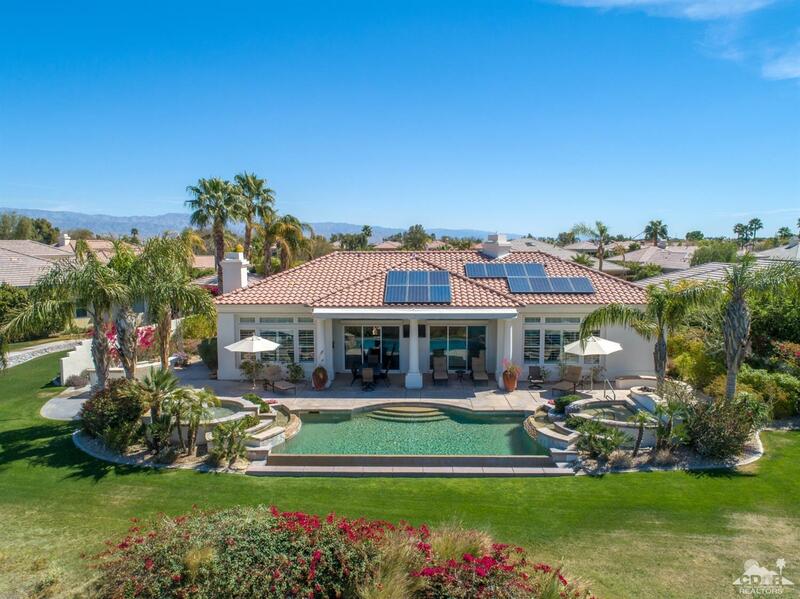 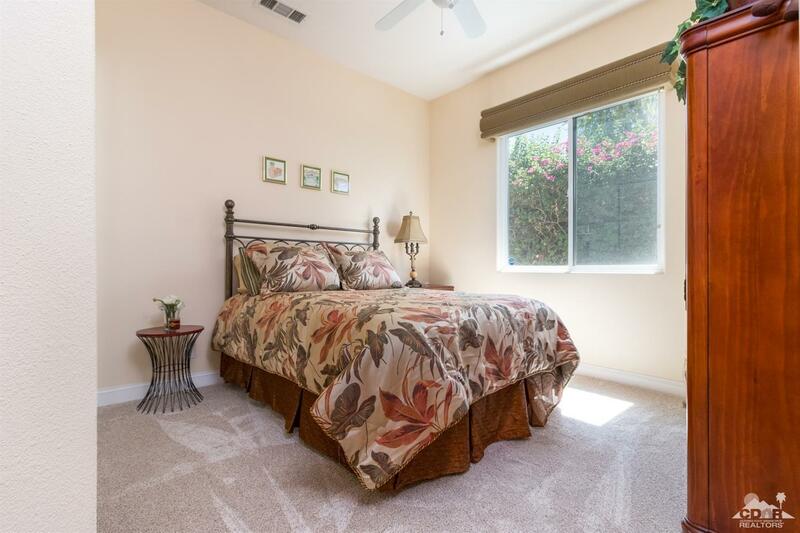 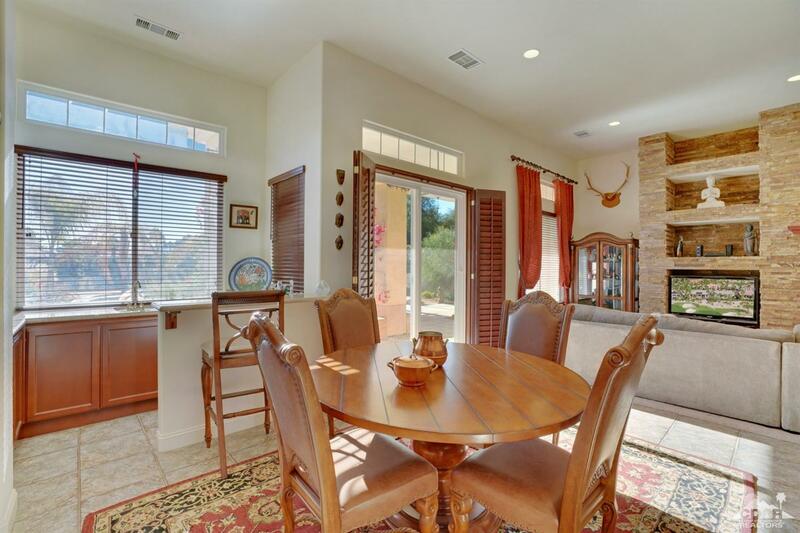 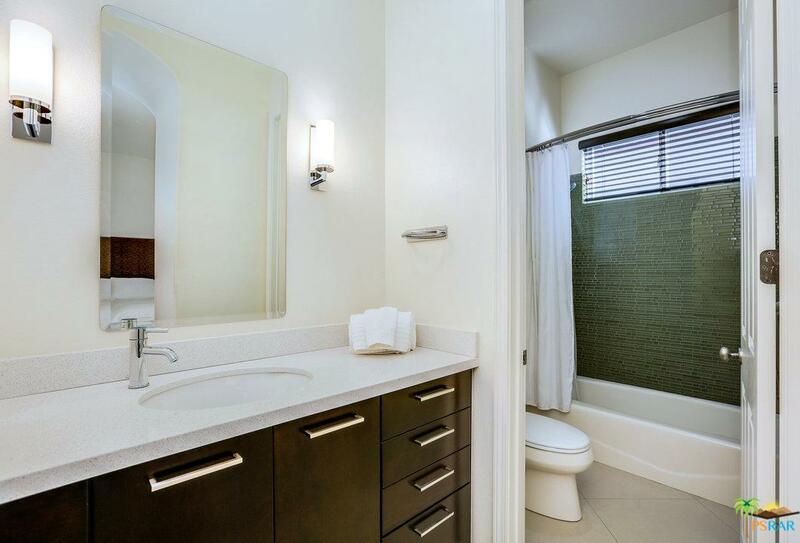 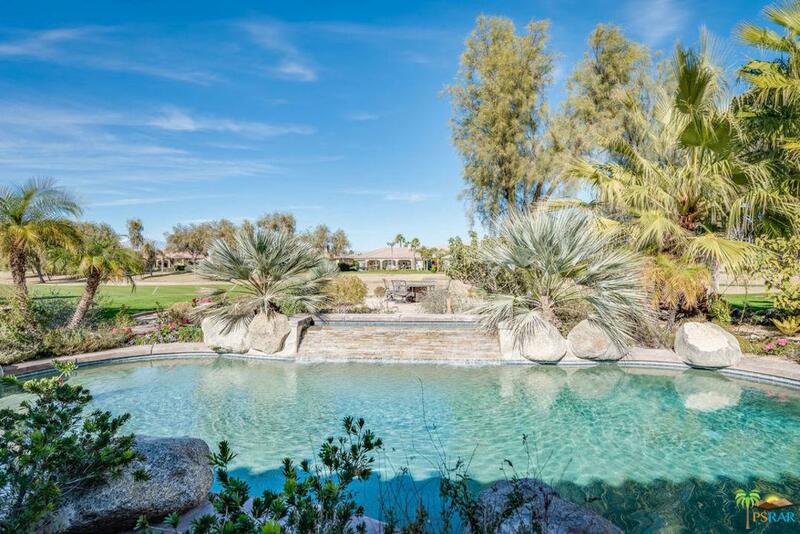 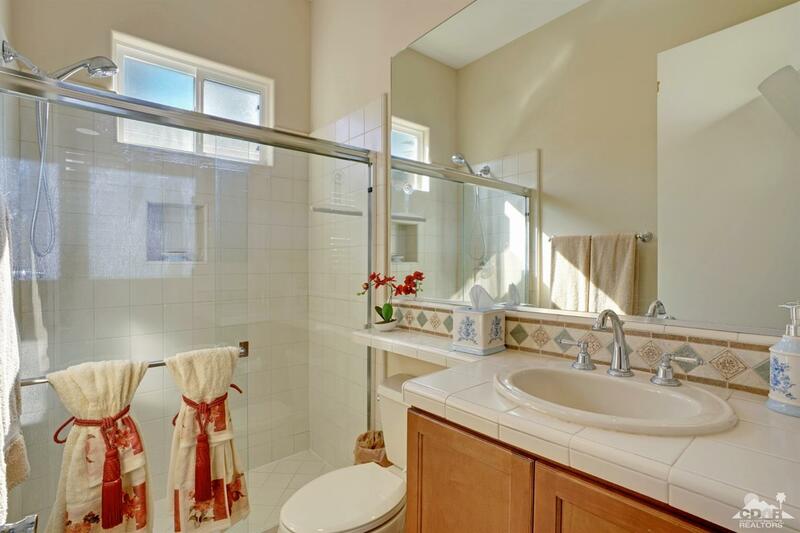 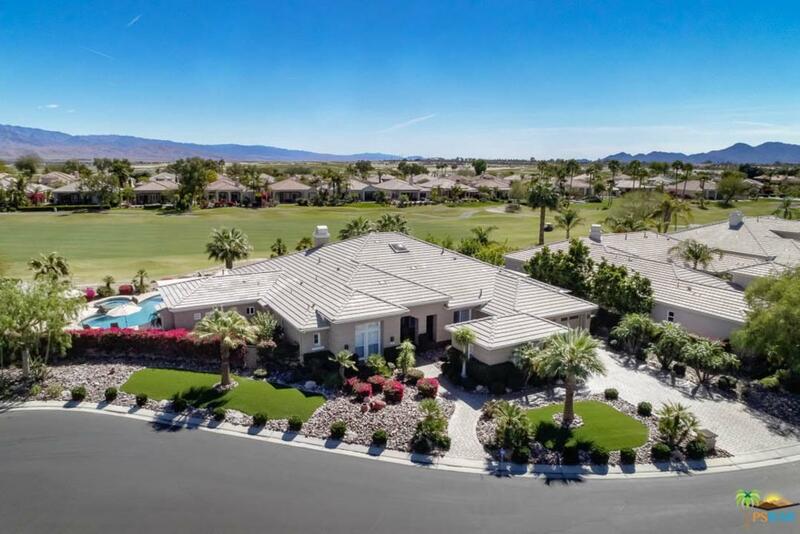 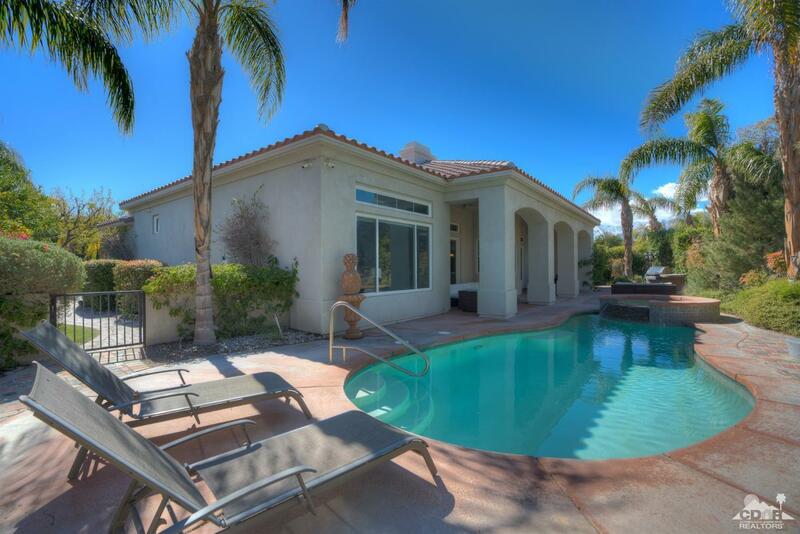 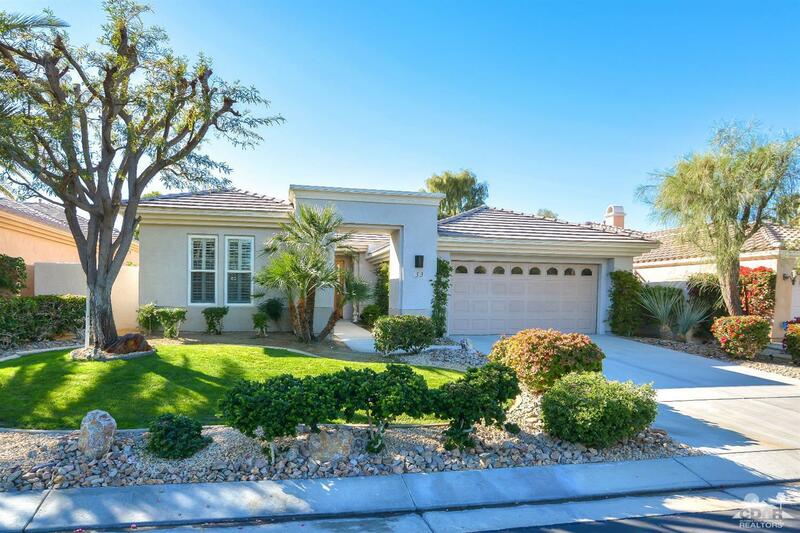 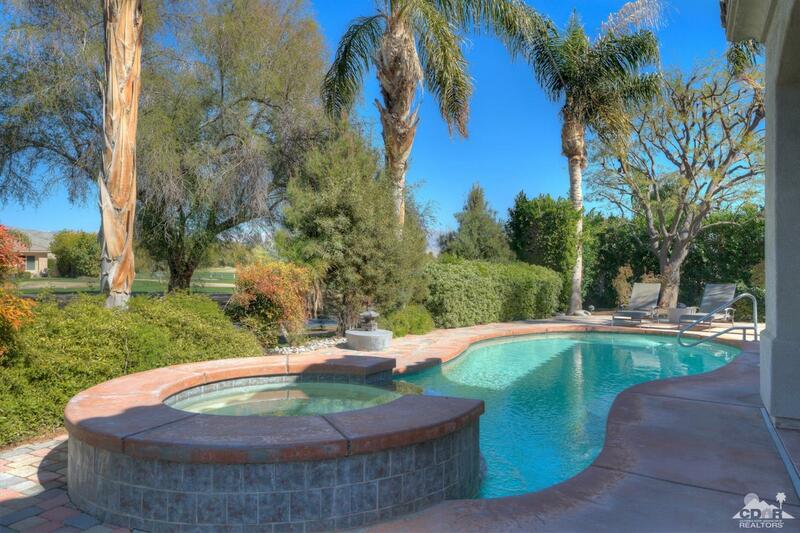 Located in the center of the Valley, just 10 minutes to Internationally known Palm Springs and its amenities of airport, tram, hiking, casino, dining and shopping. 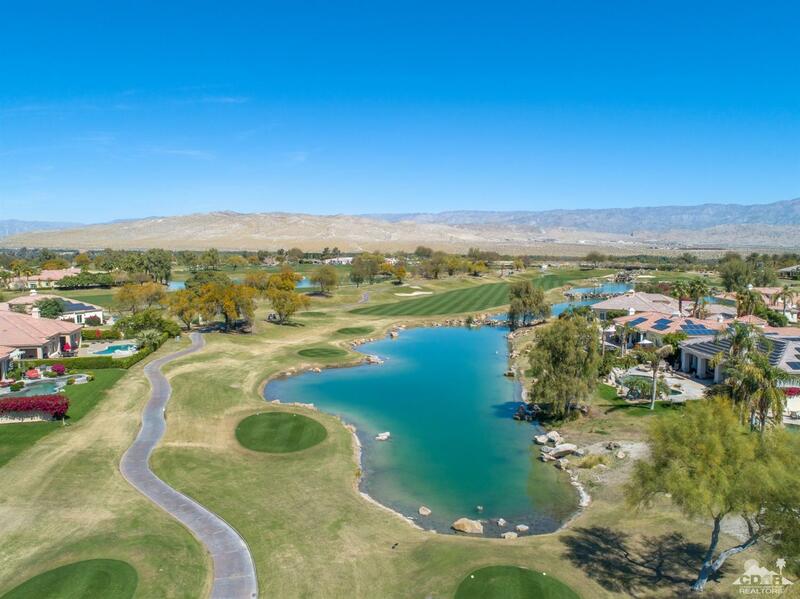 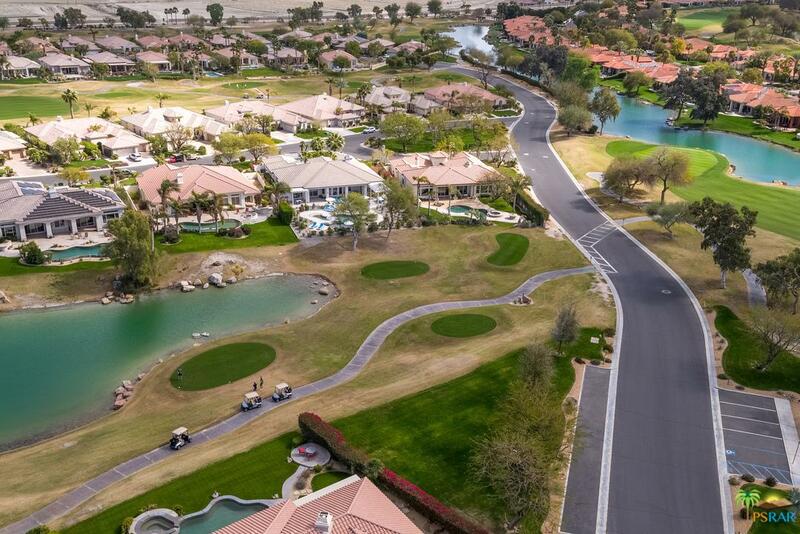 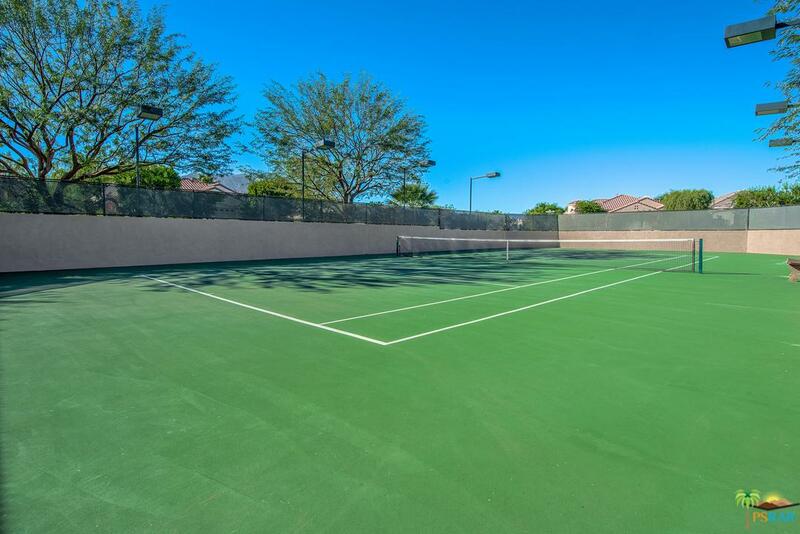 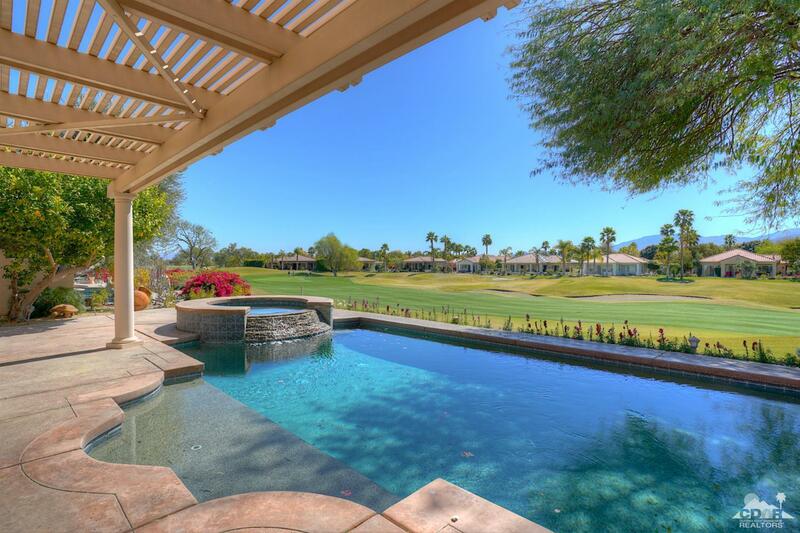 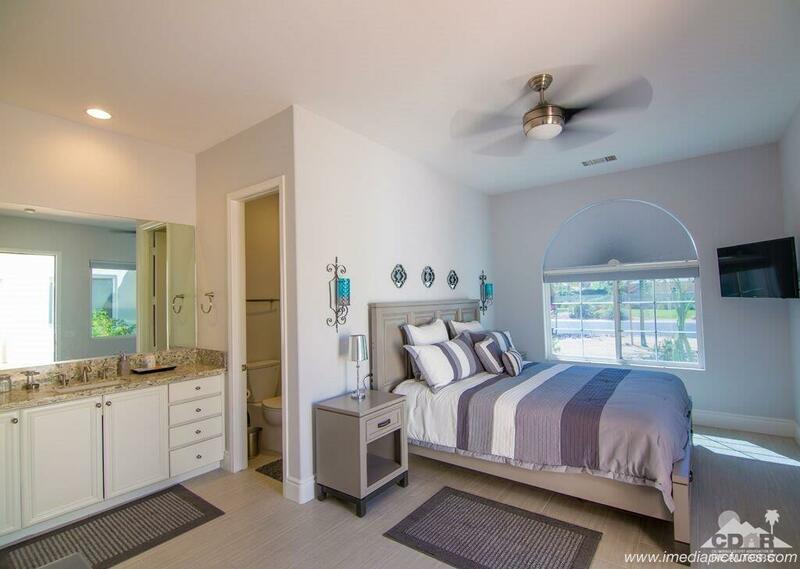 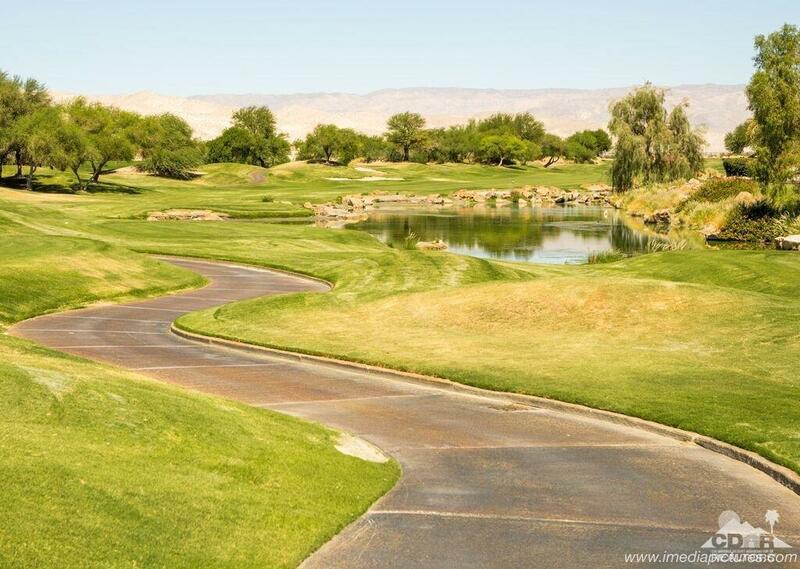 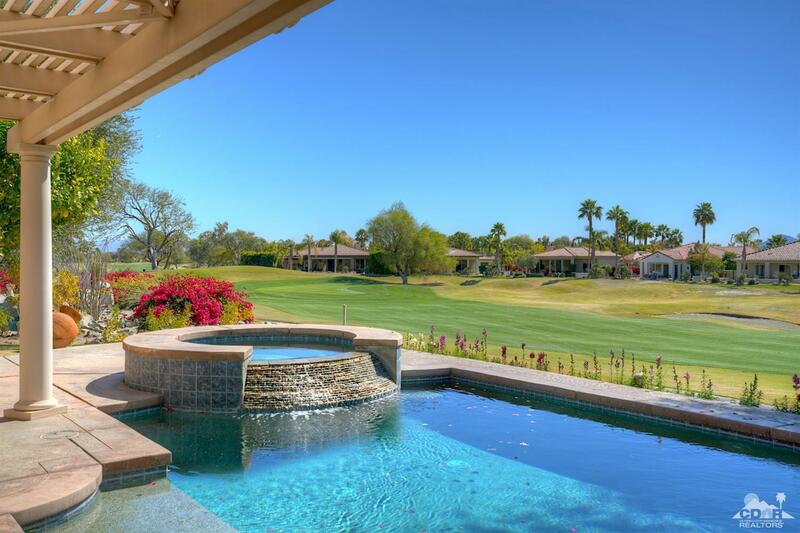 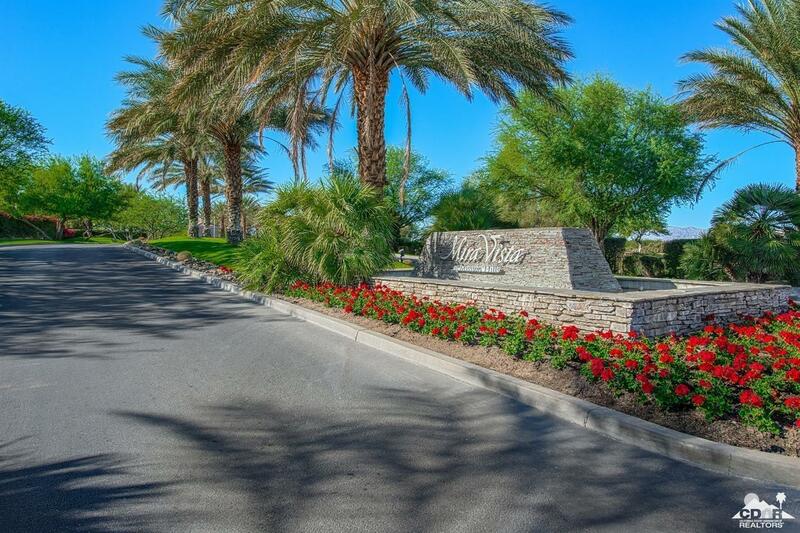 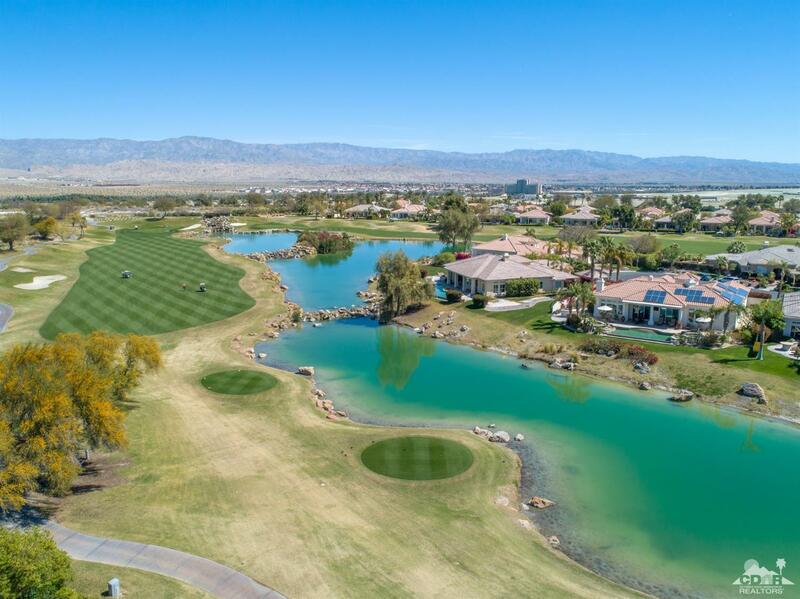 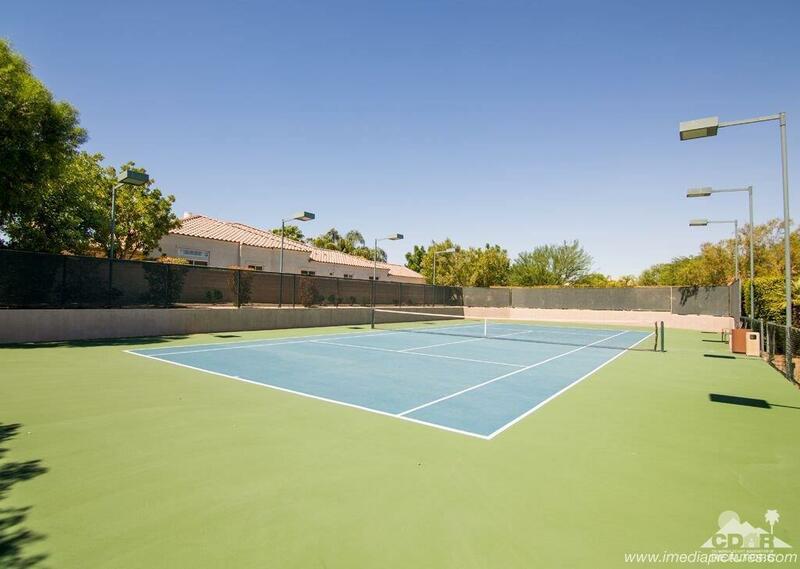 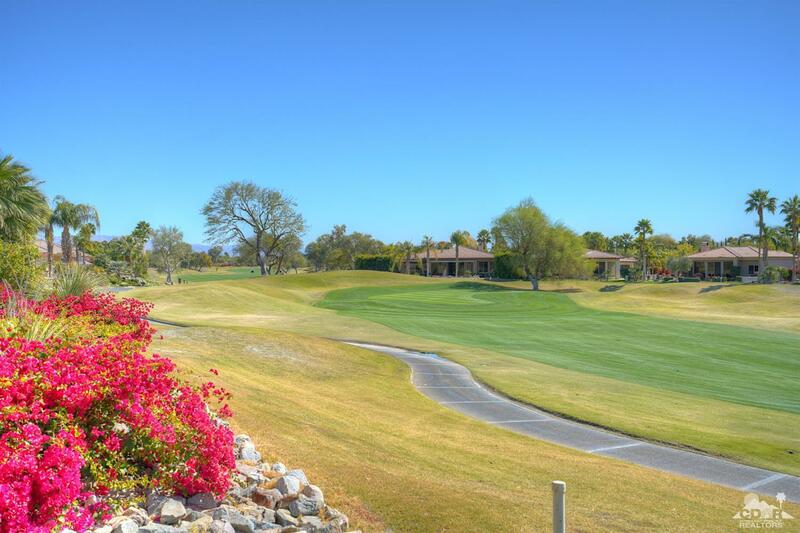 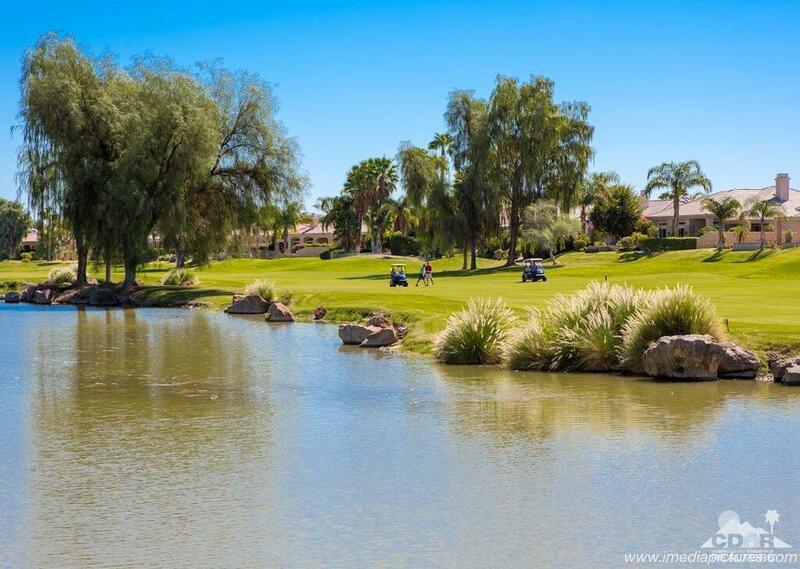 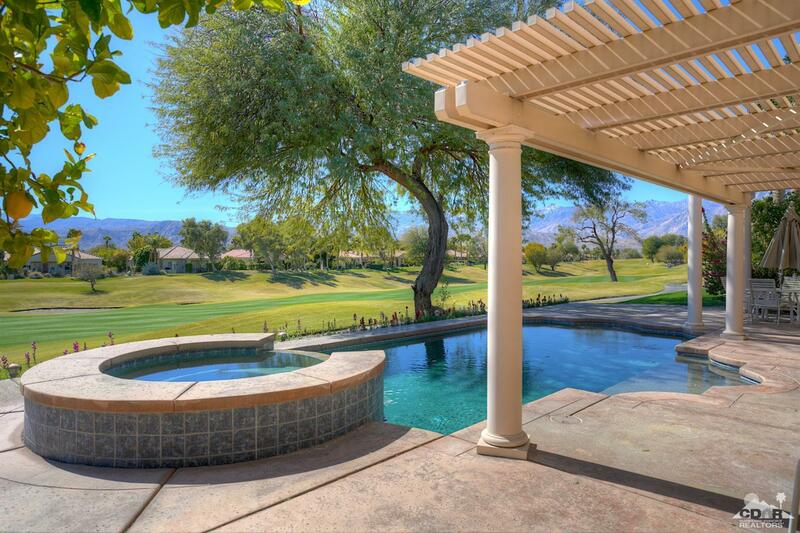 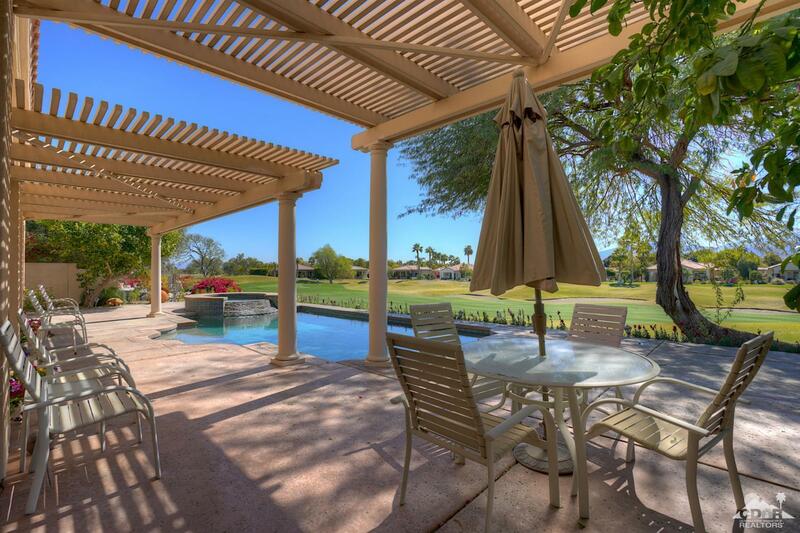 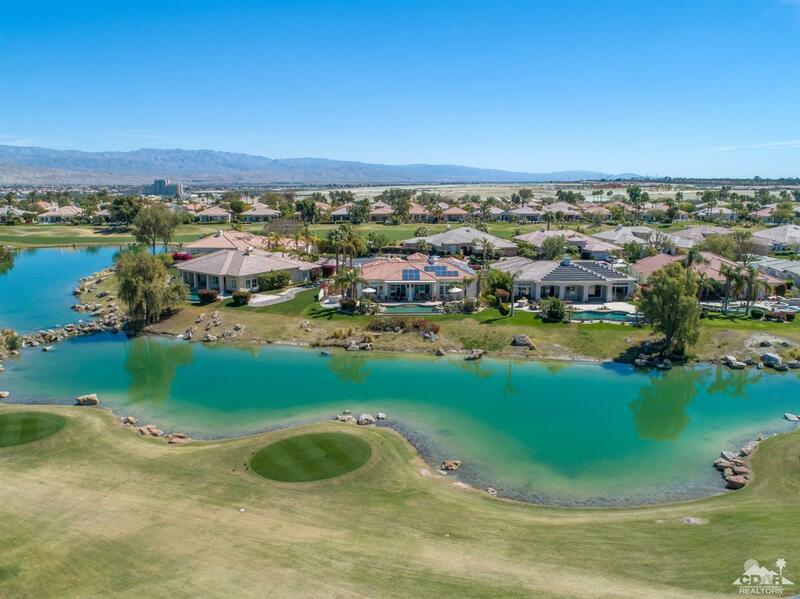 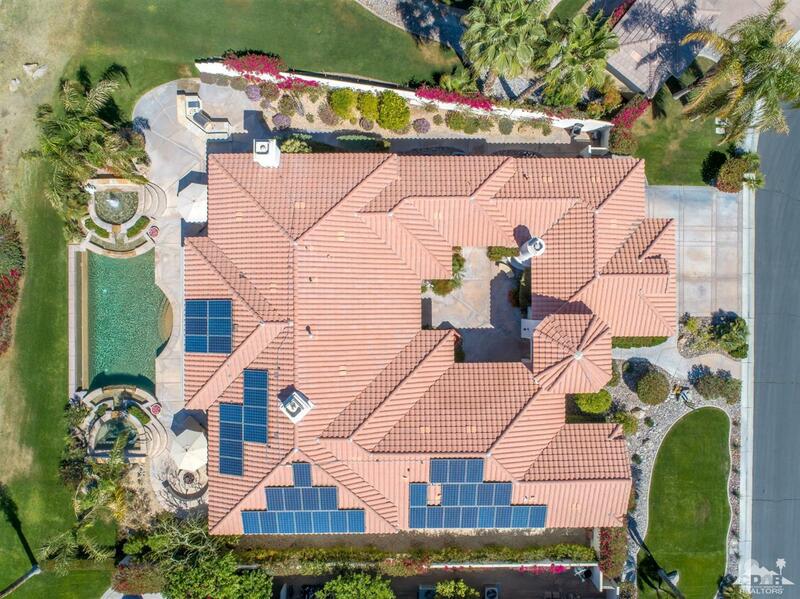 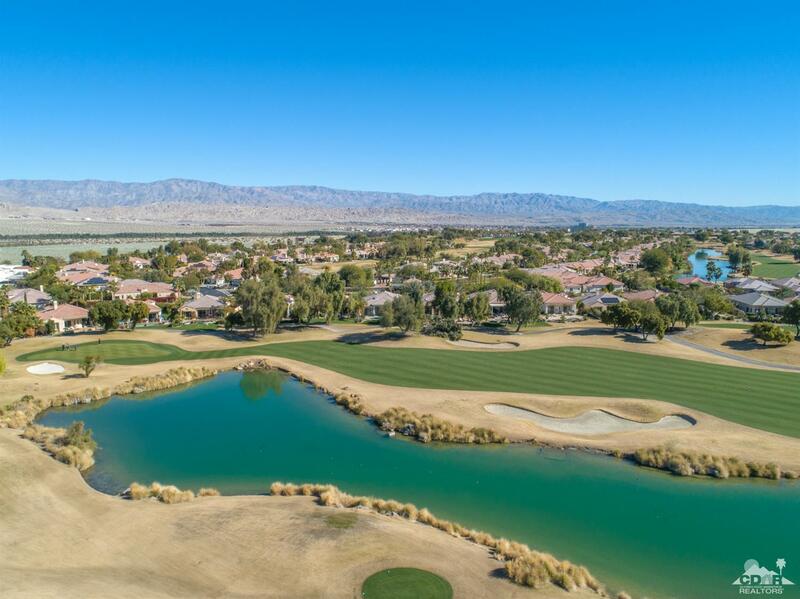 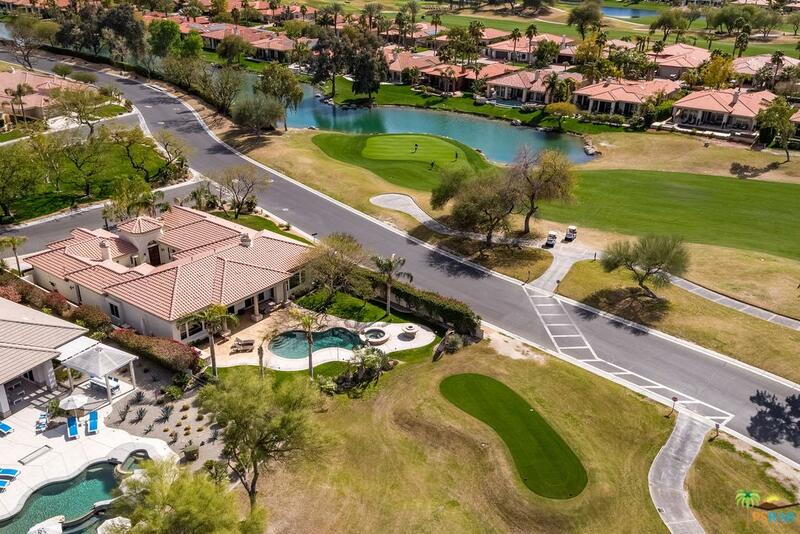 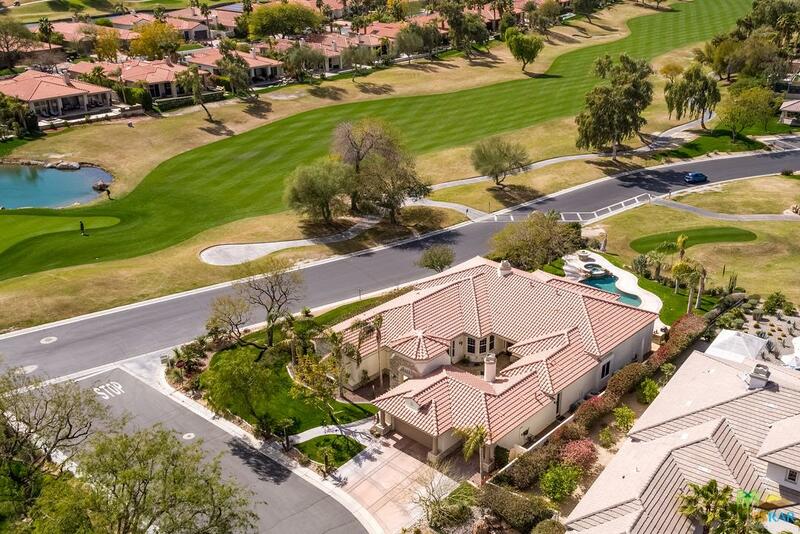 Mira Vista has 24 hour guard gated entry, huge community pool, 2 tennis courts, cable tv and discount rates on 2 world class golf courses. 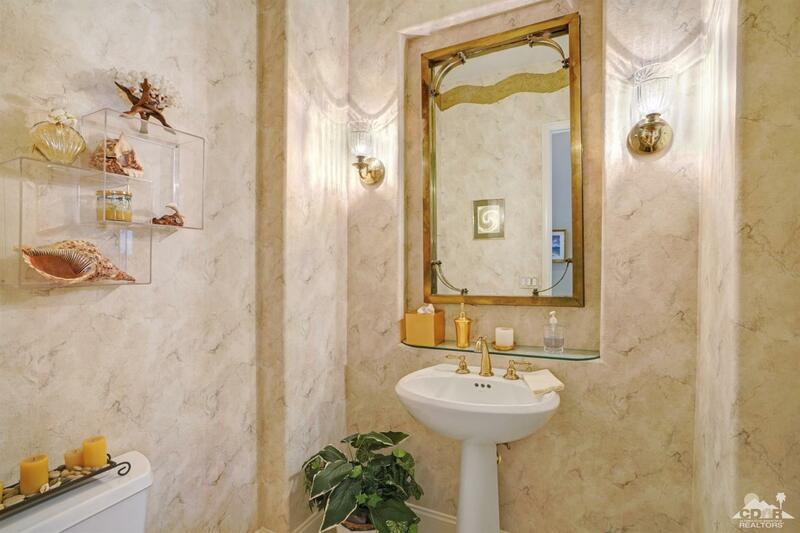 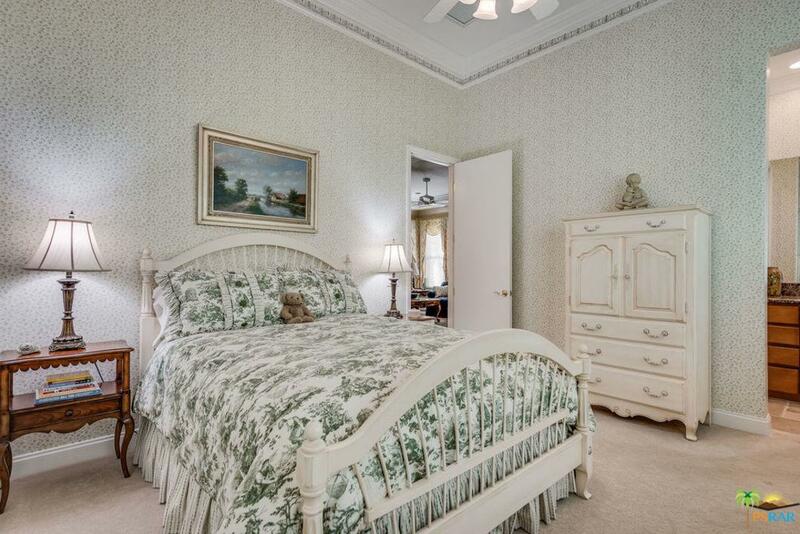 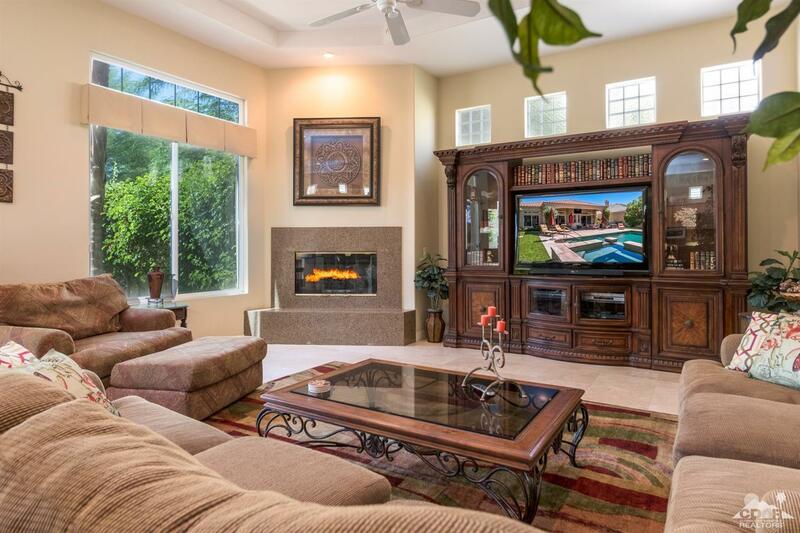 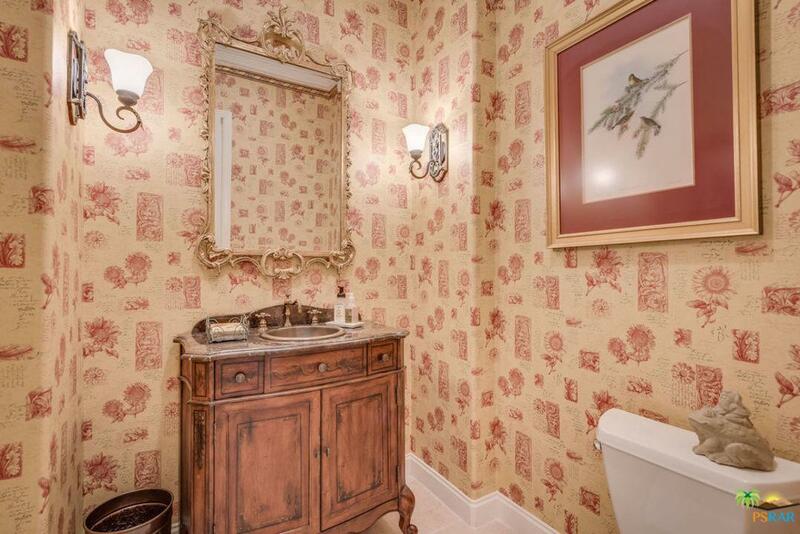 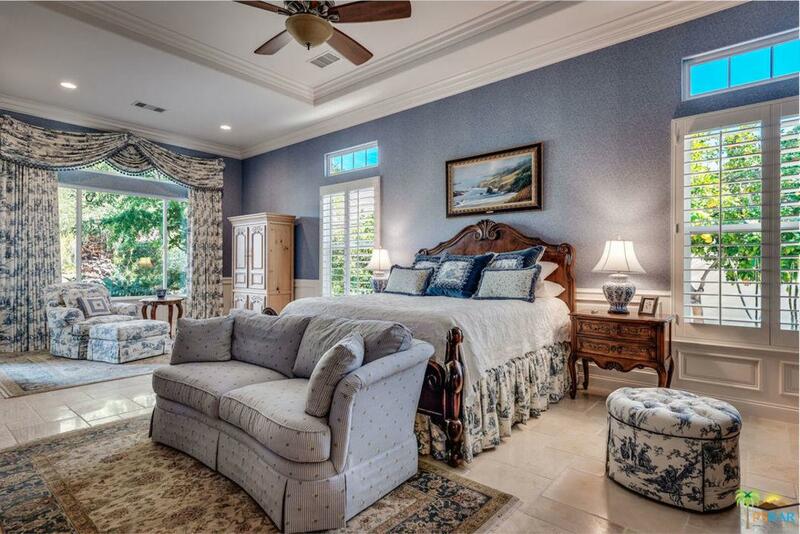 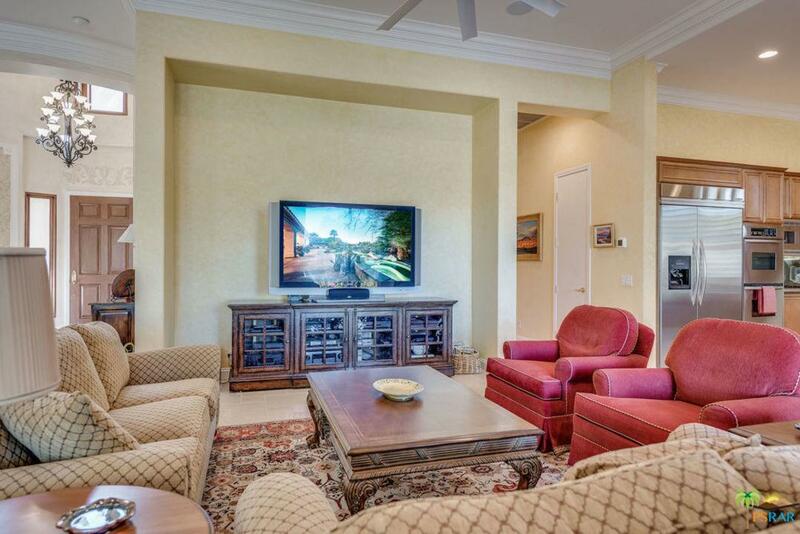 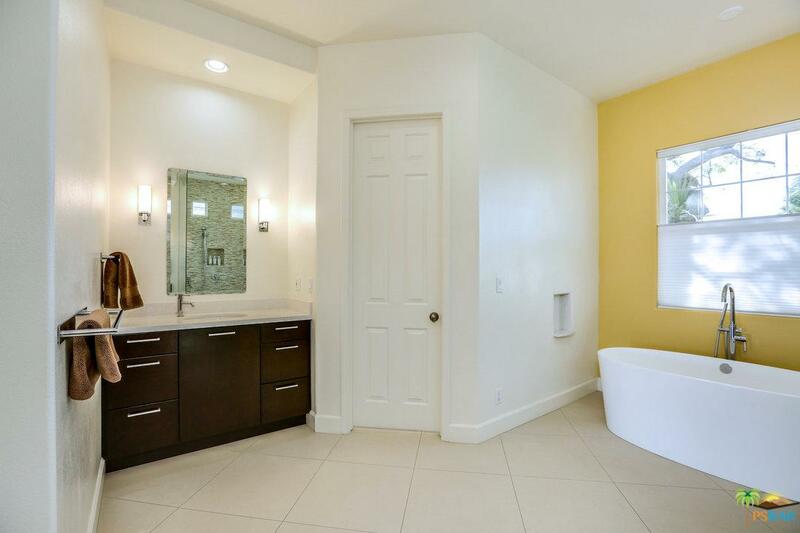 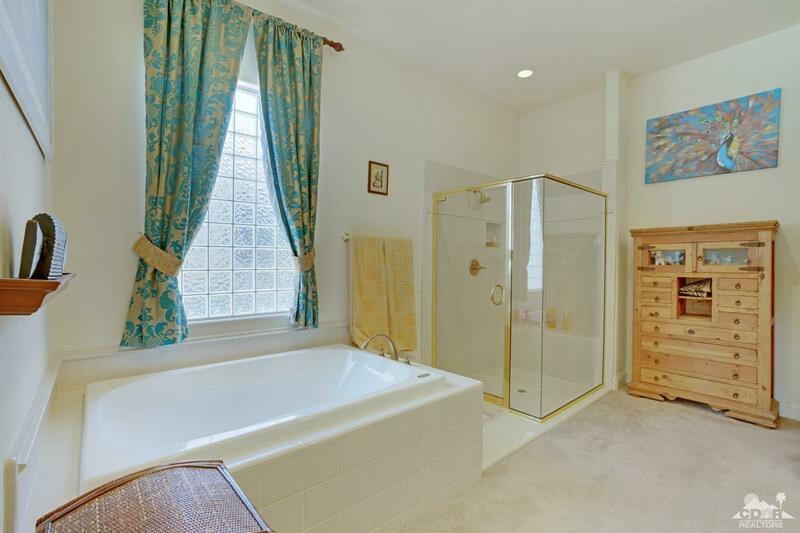 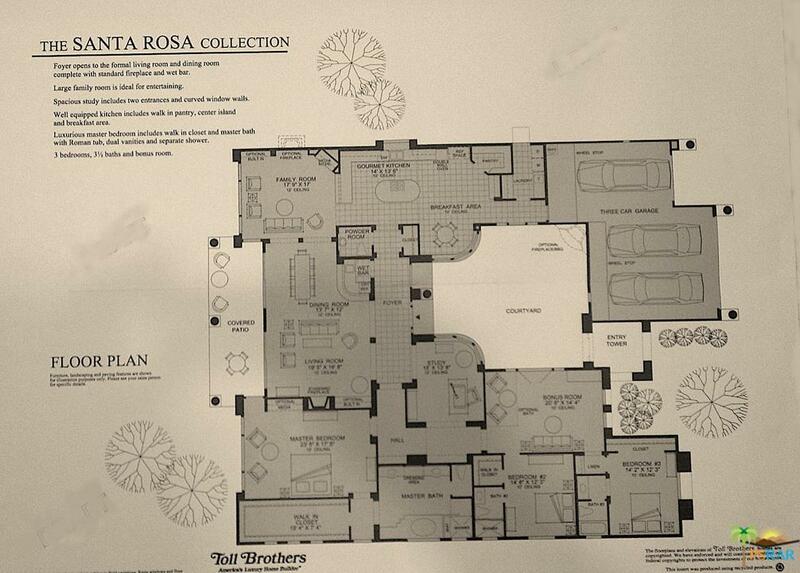 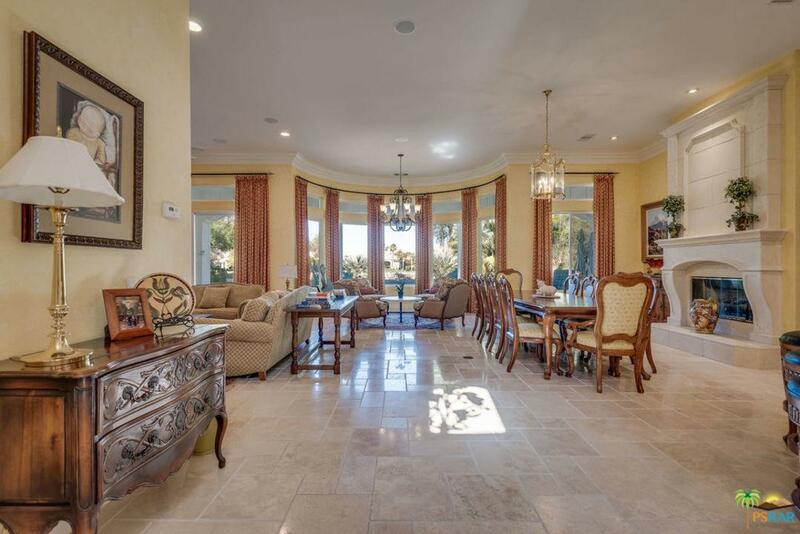 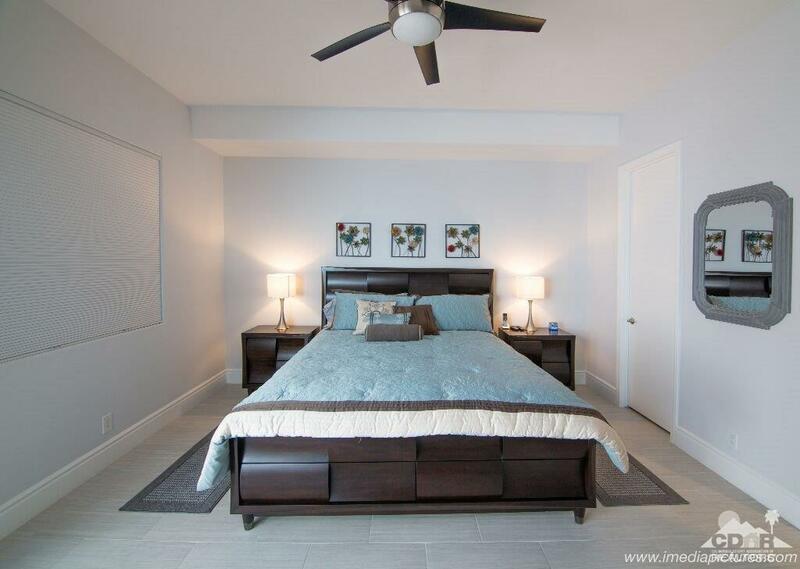 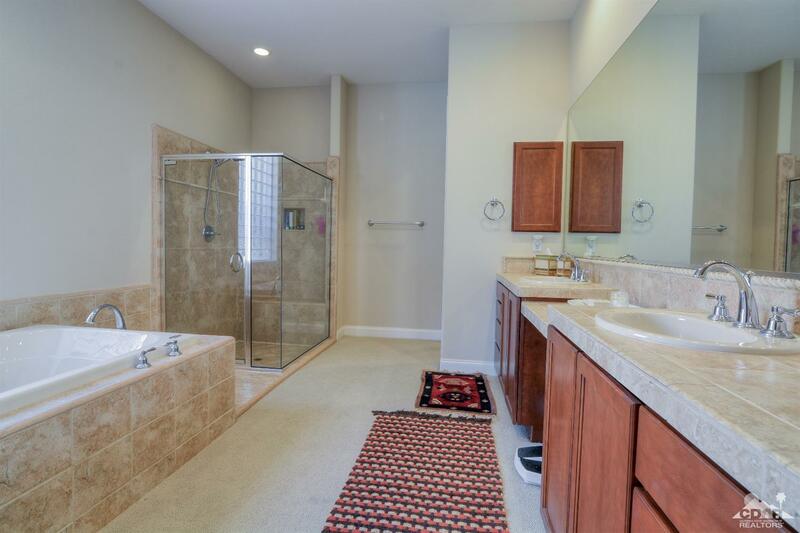 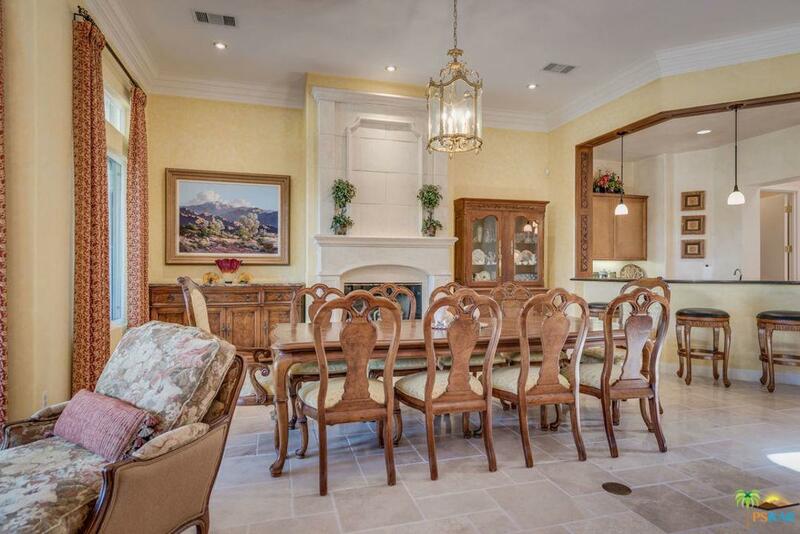 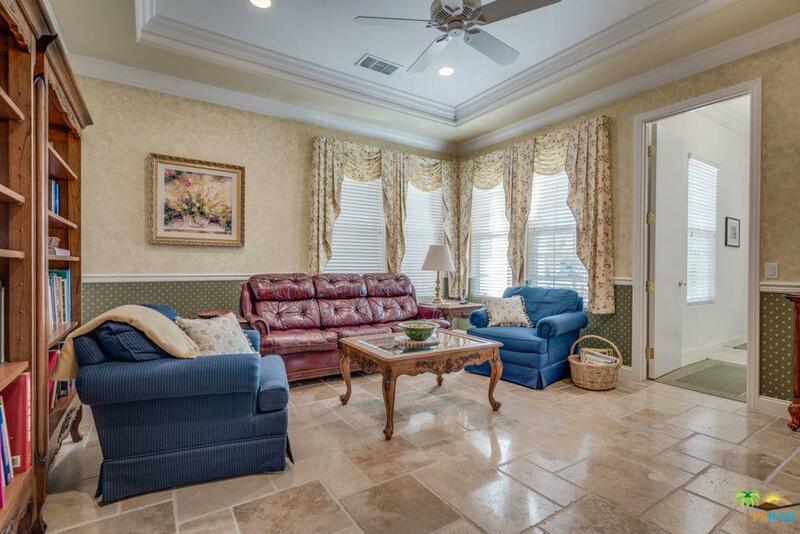 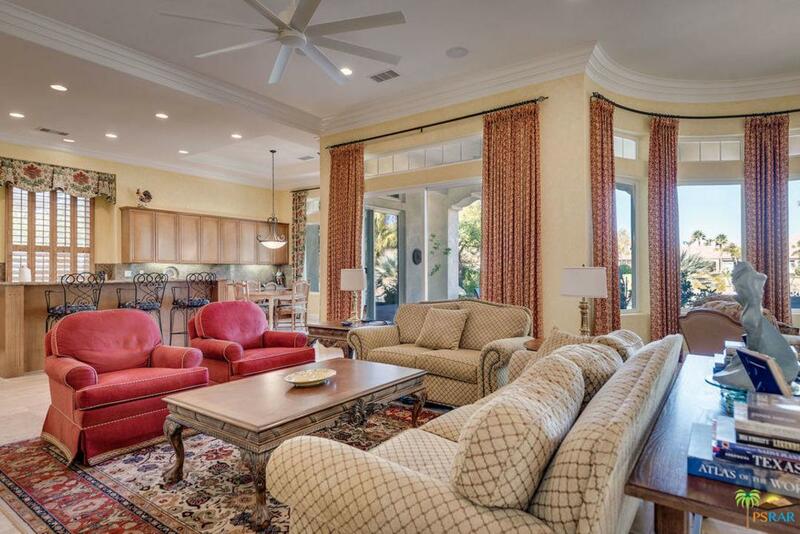 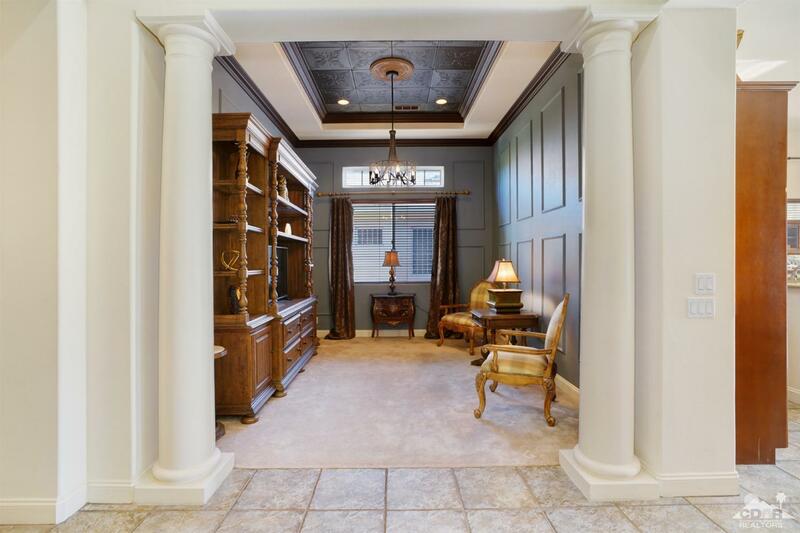 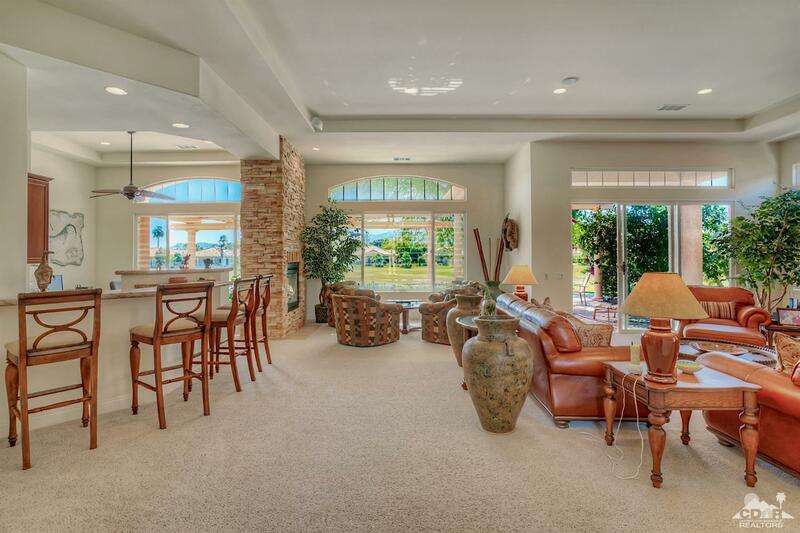 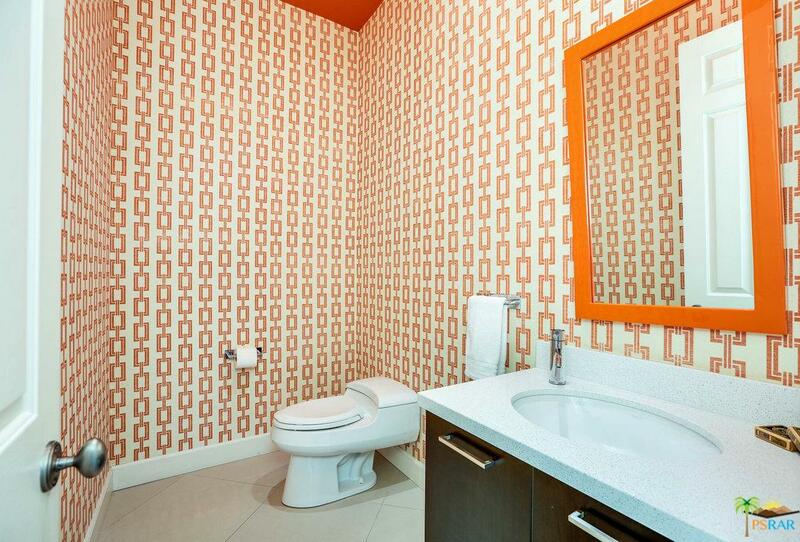 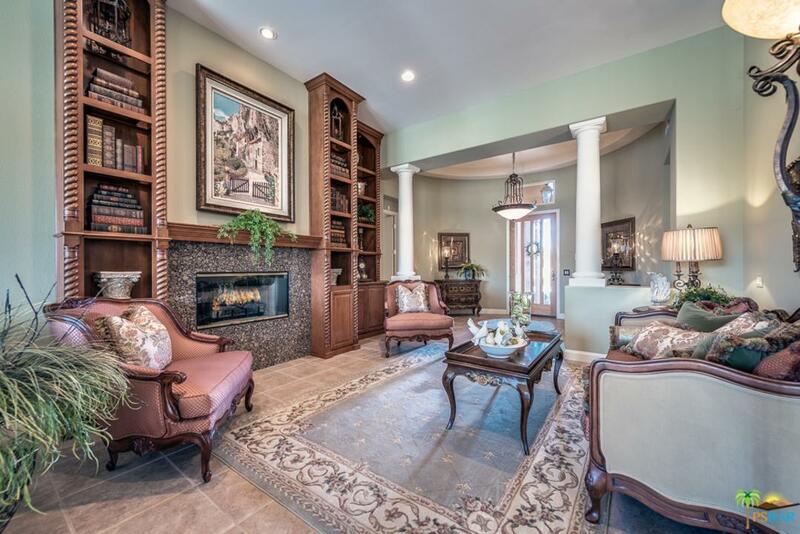 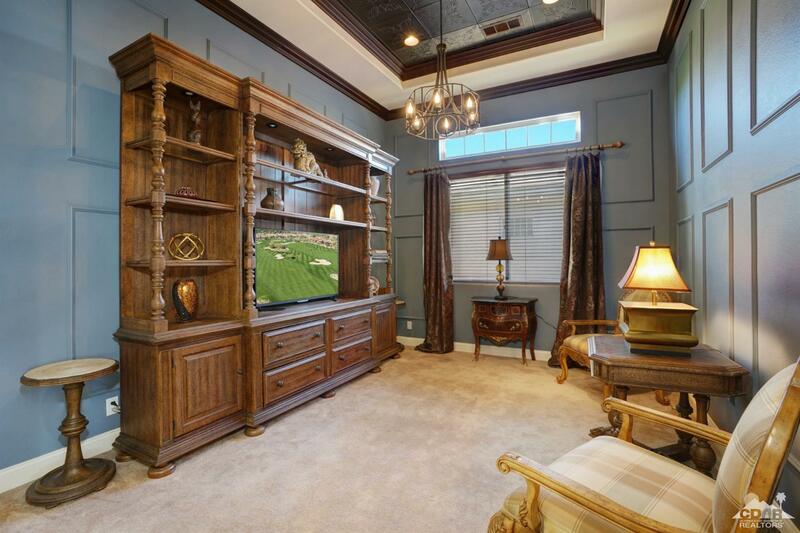 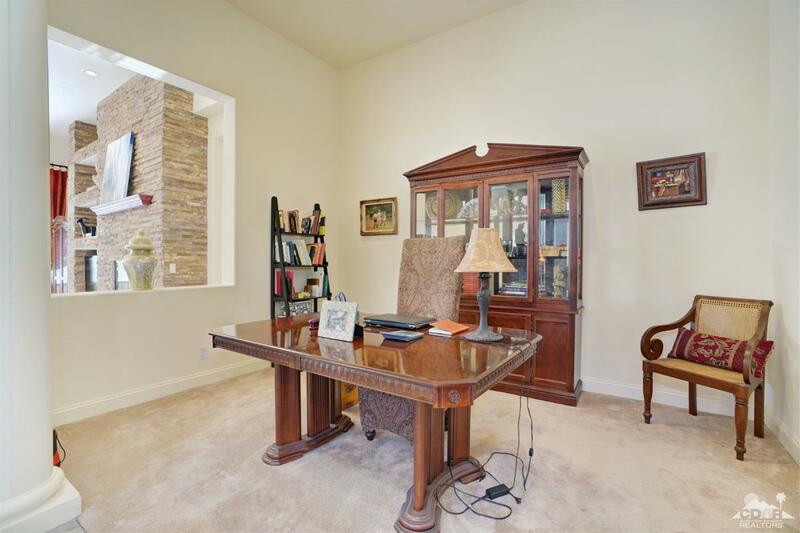 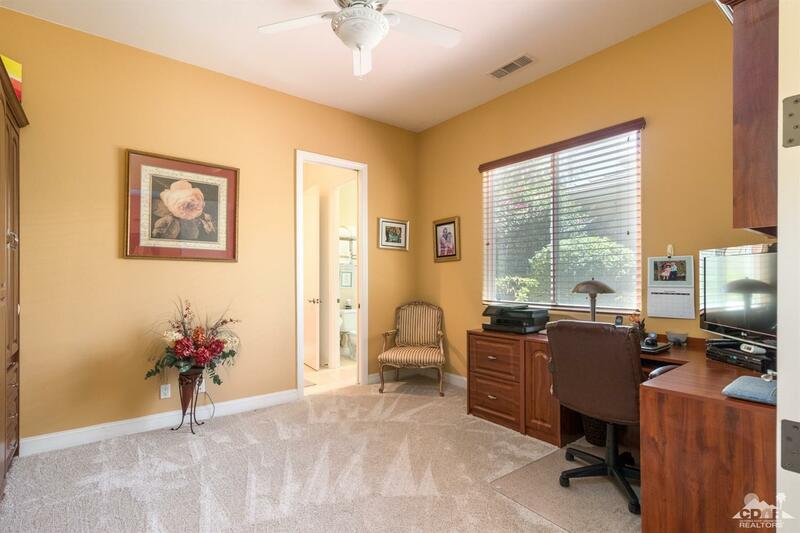 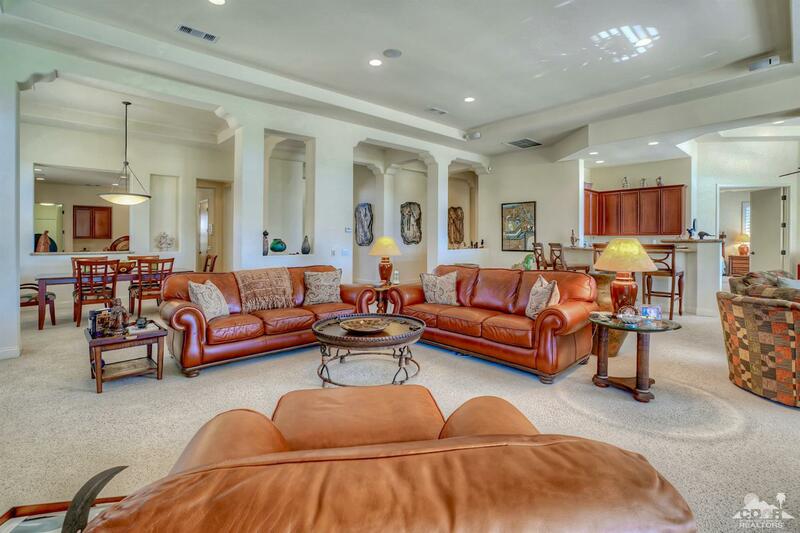 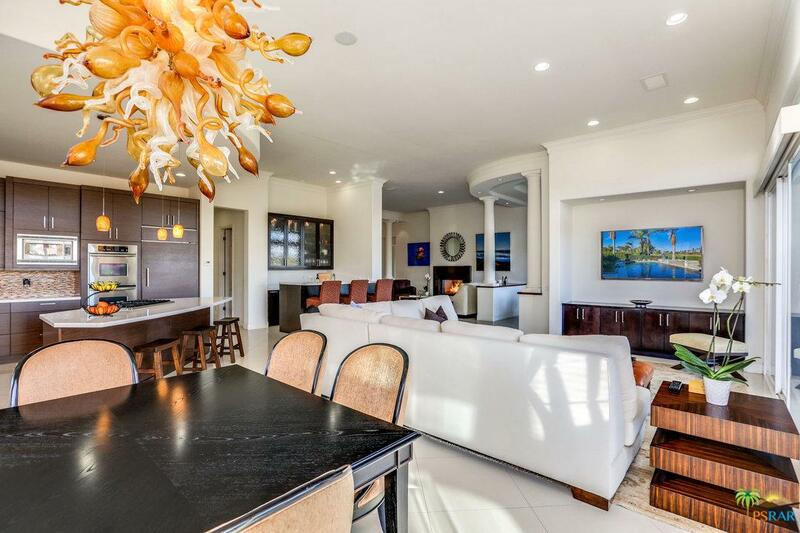 The floor plan includes a living rom, dining room, great room, 2 fireplaces and a wet bar. 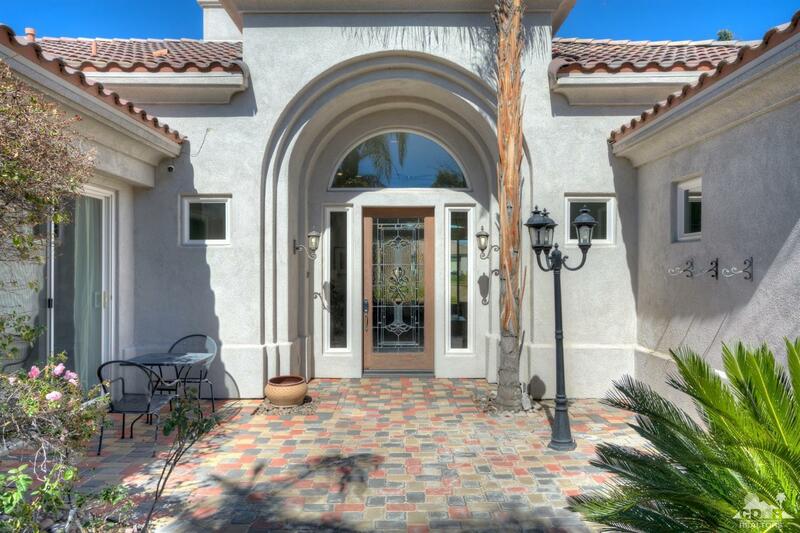 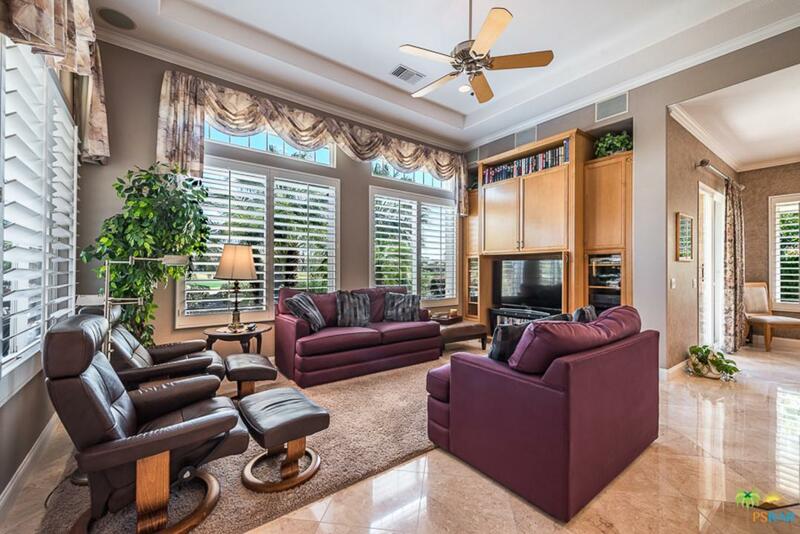 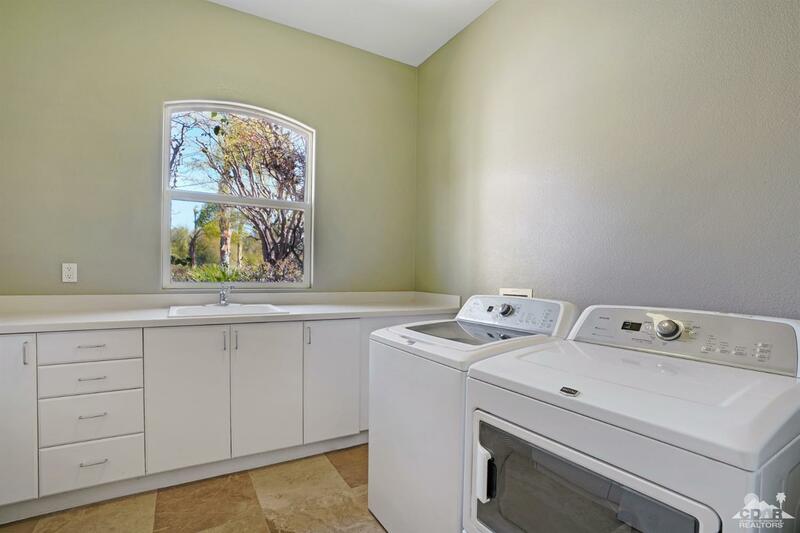 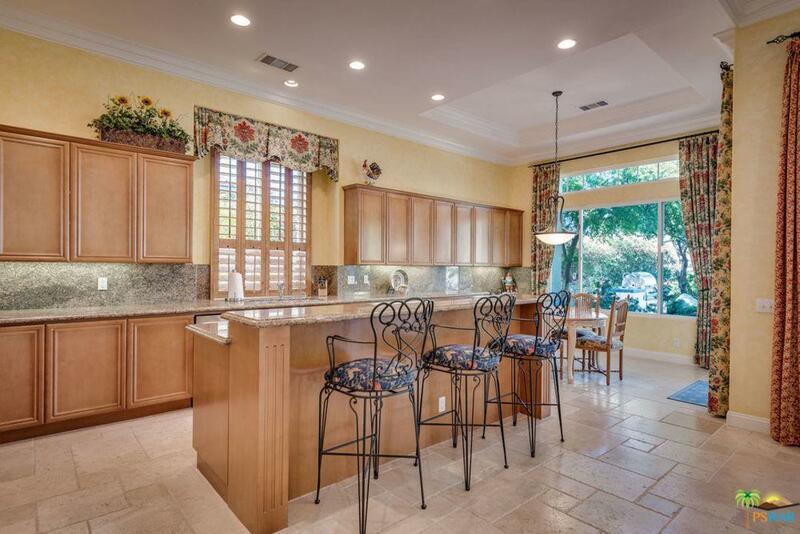 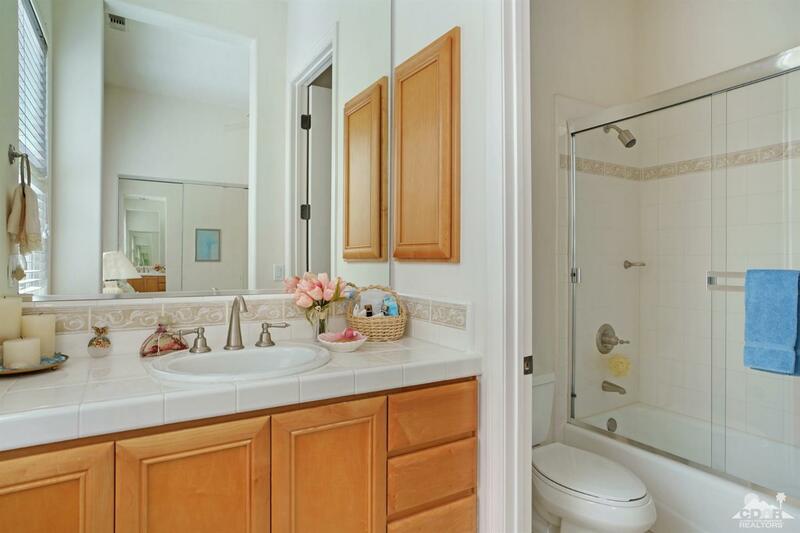 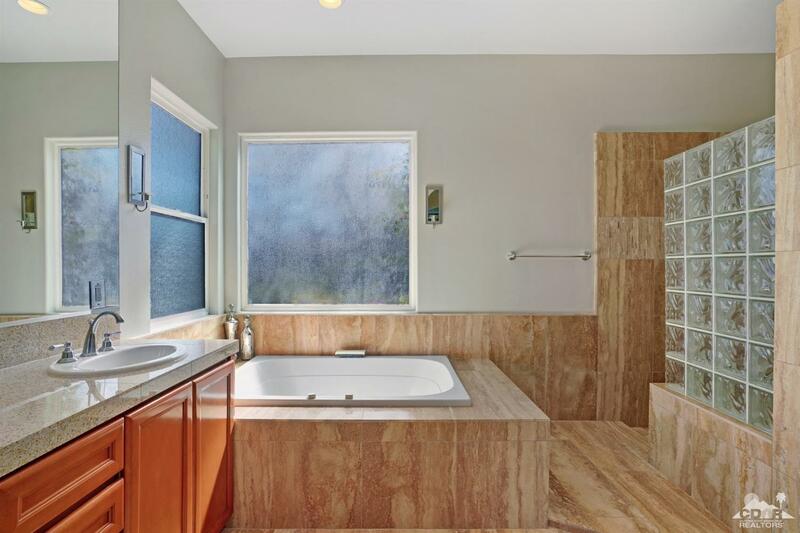 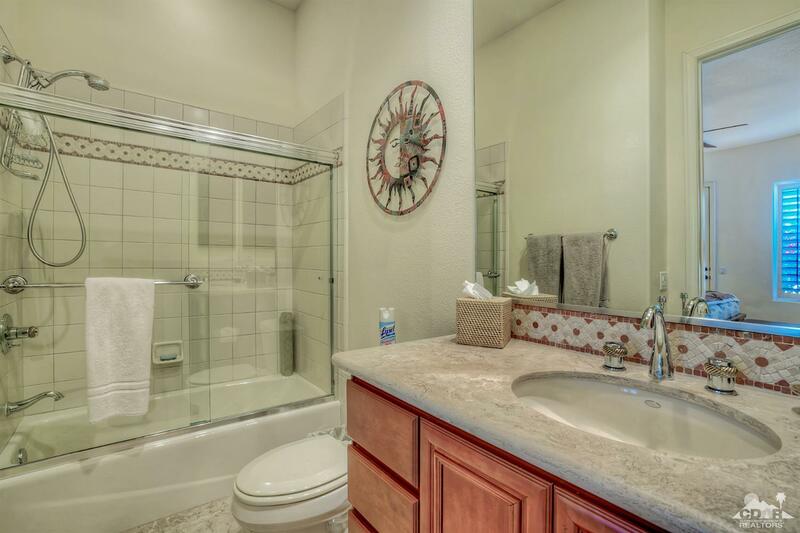 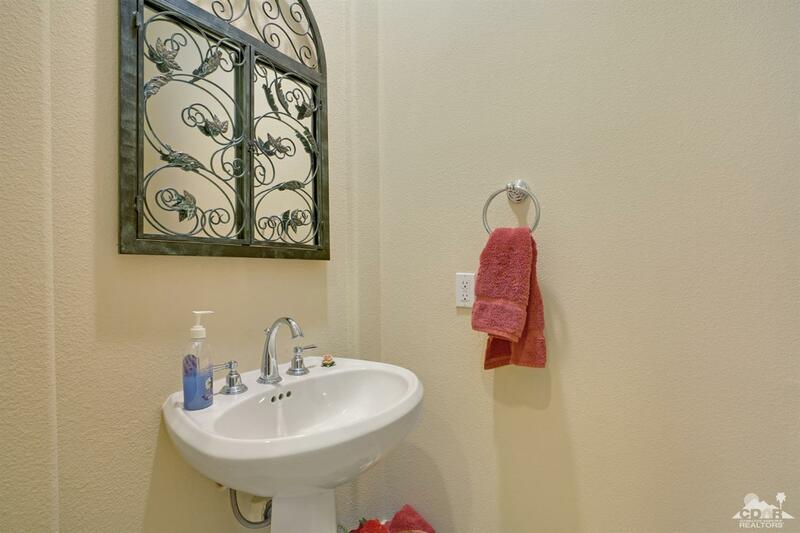 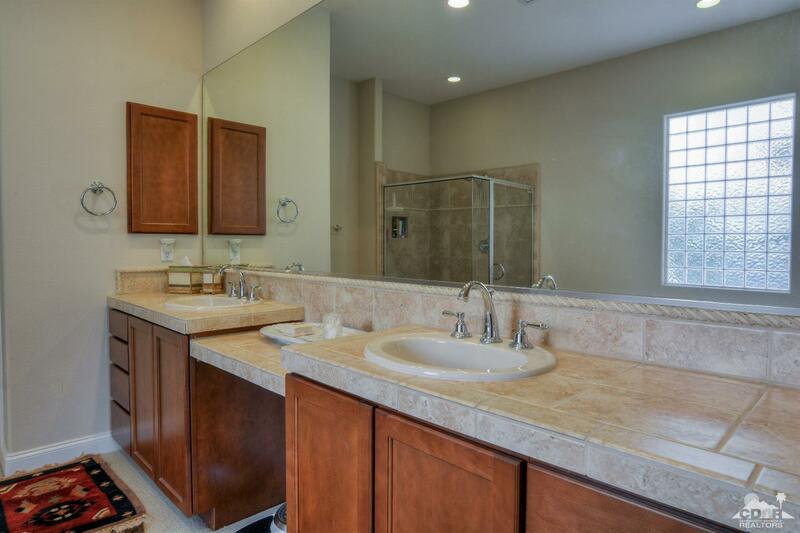 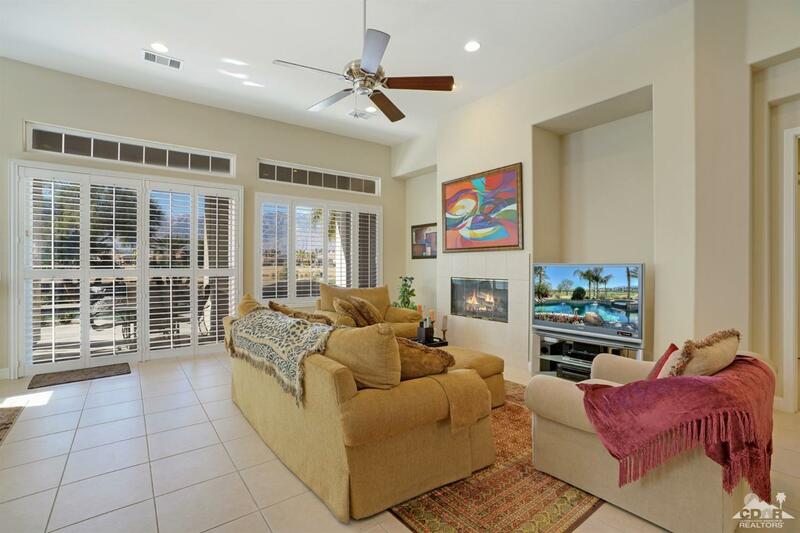 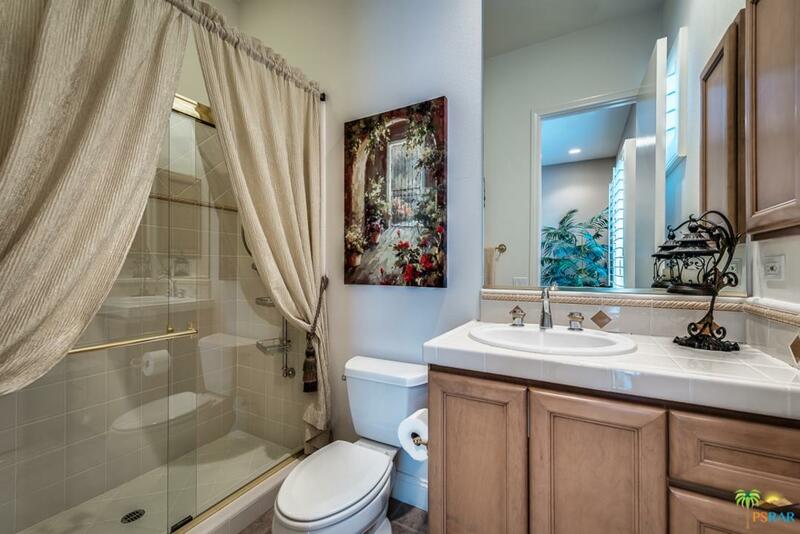 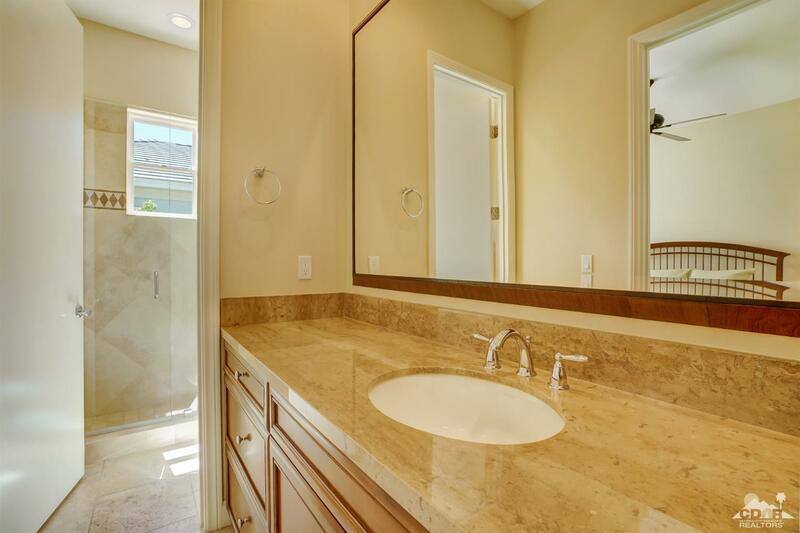 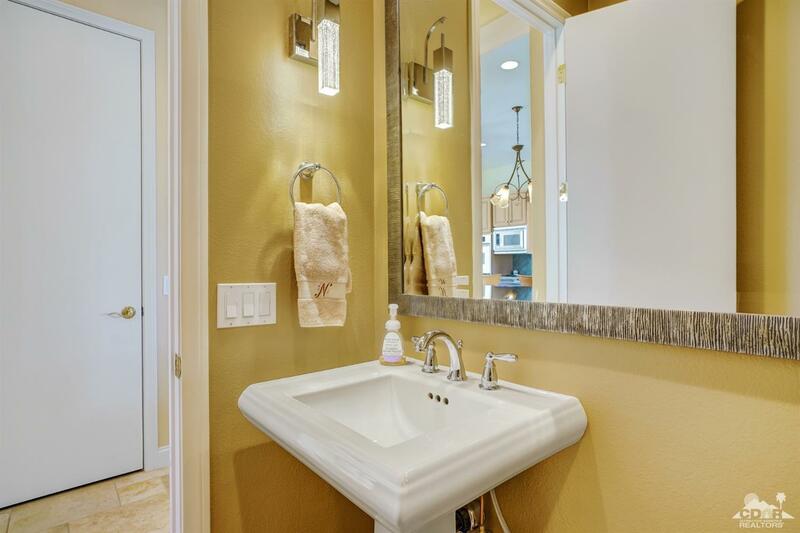 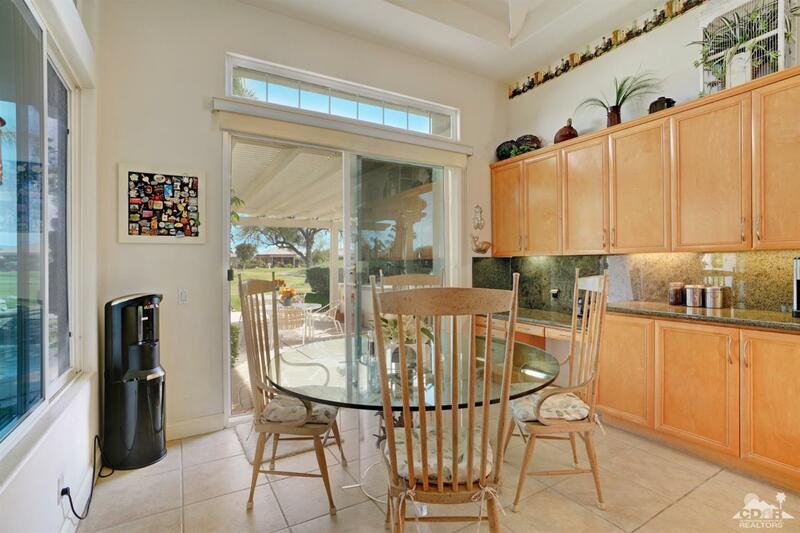 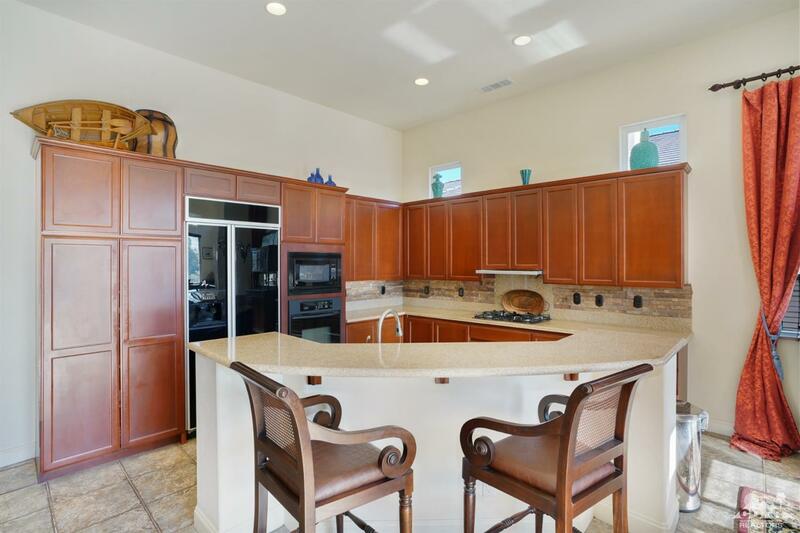 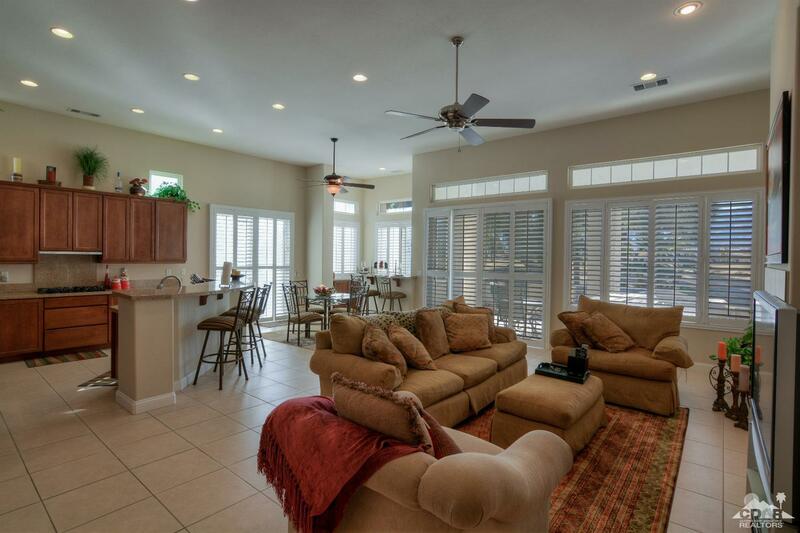 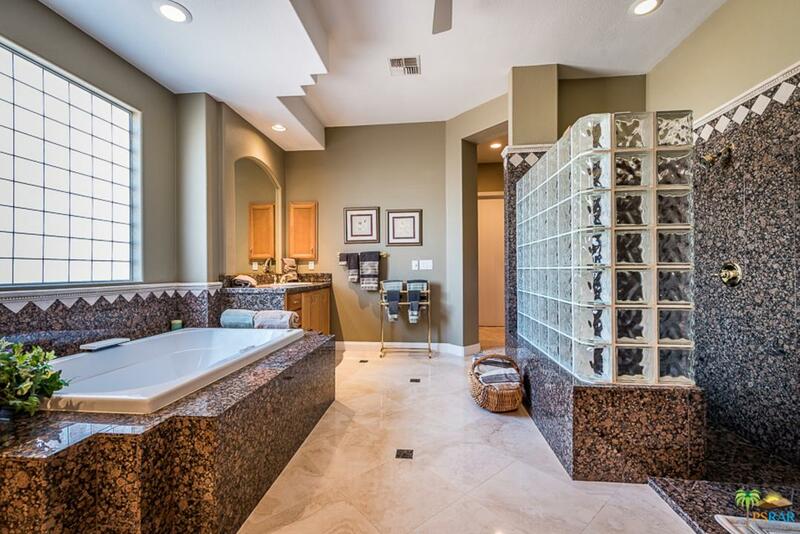 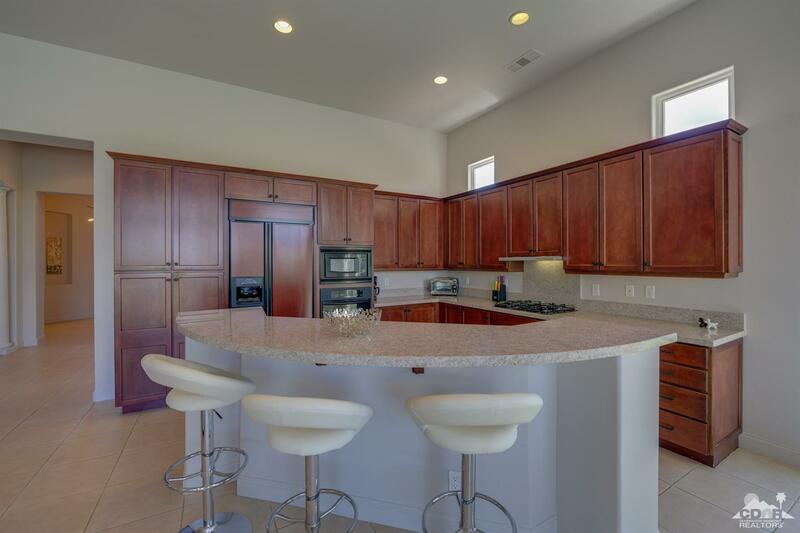 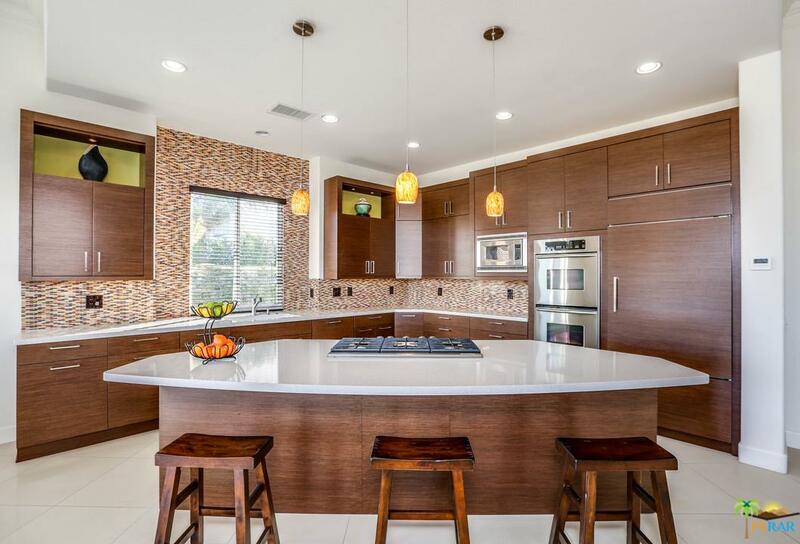 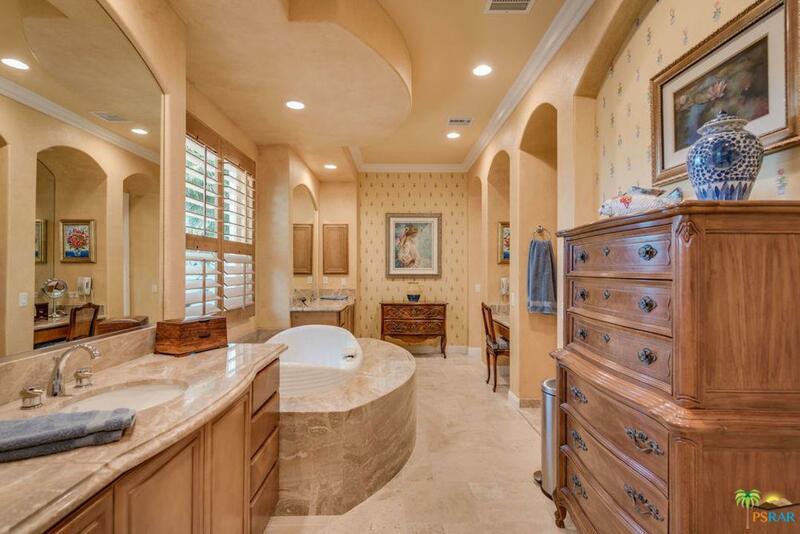 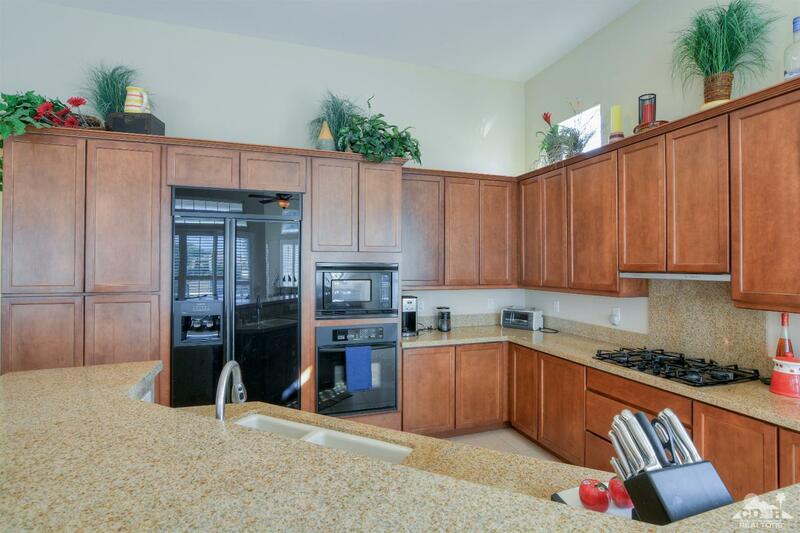 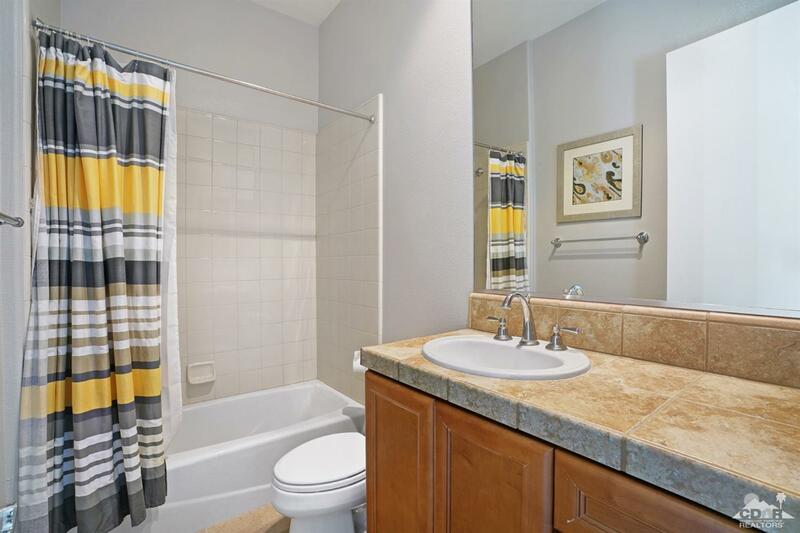 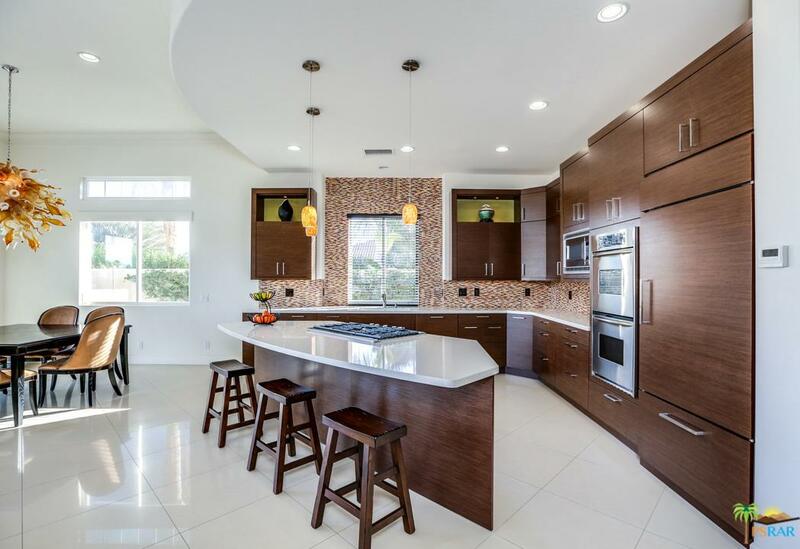 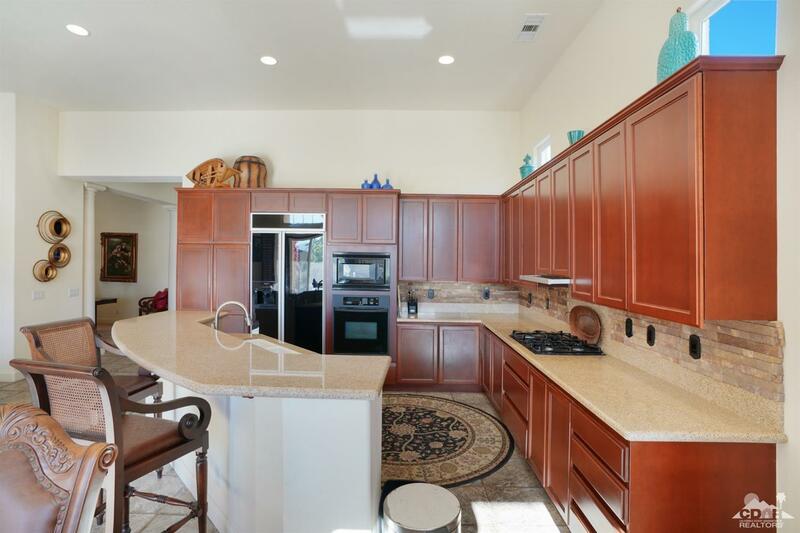 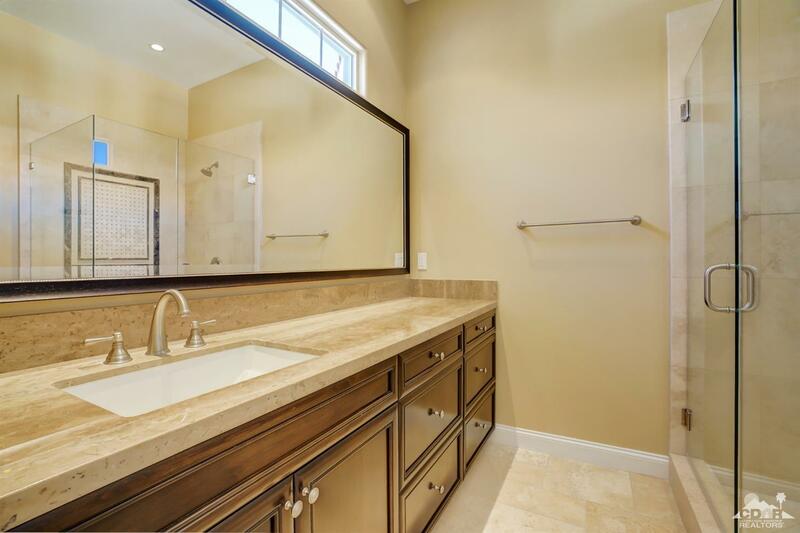 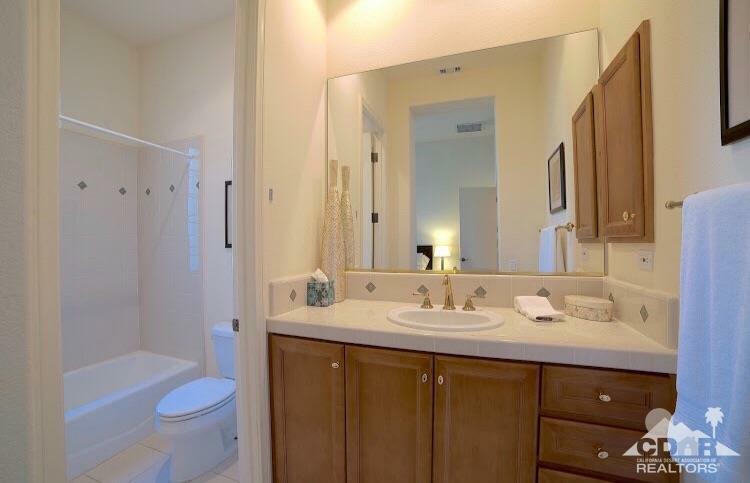 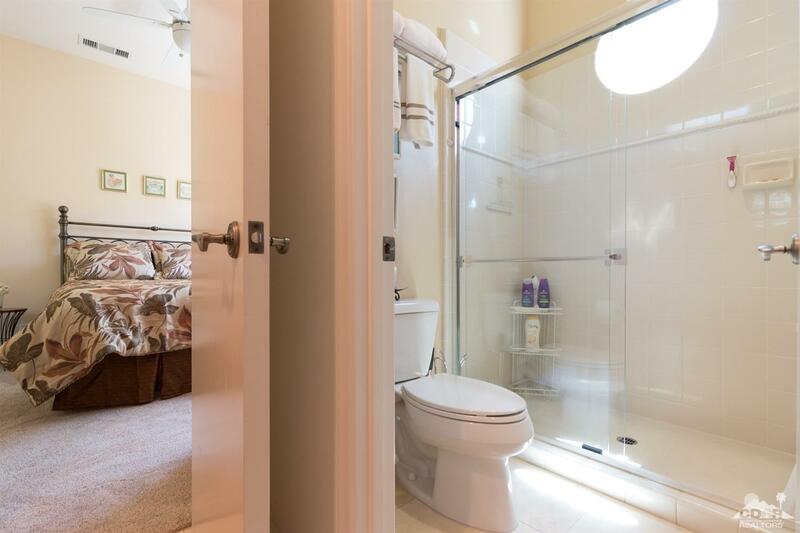 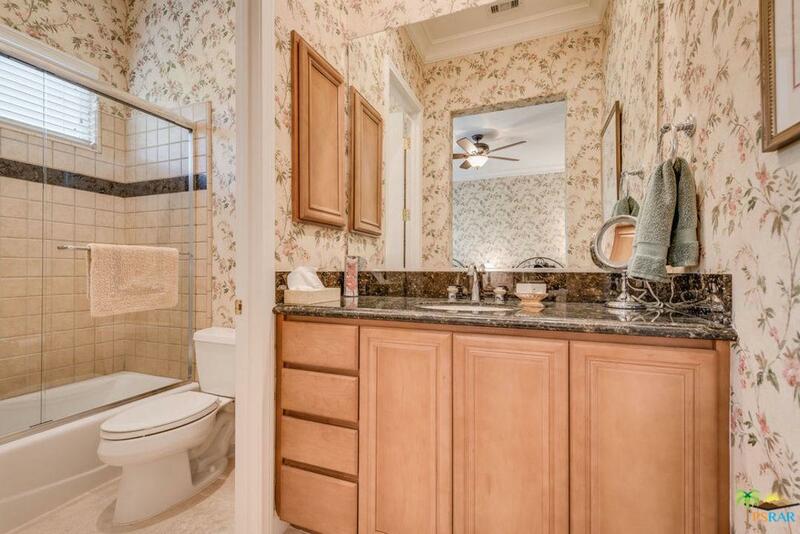 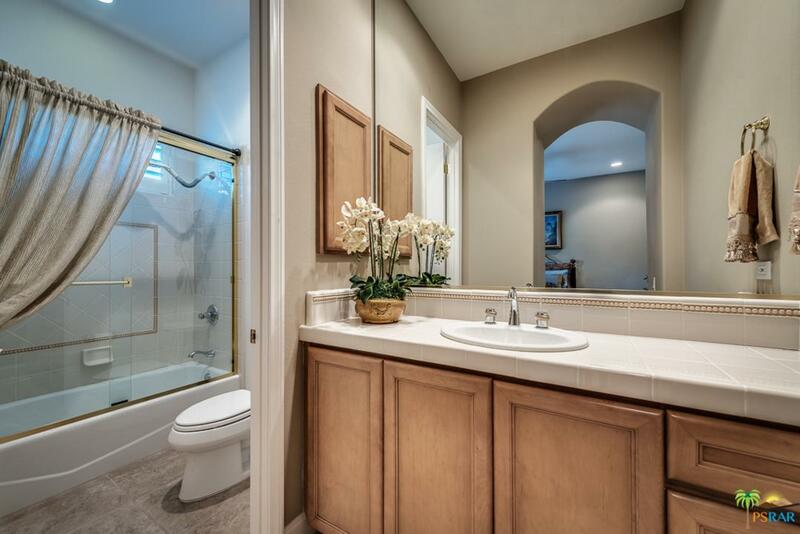 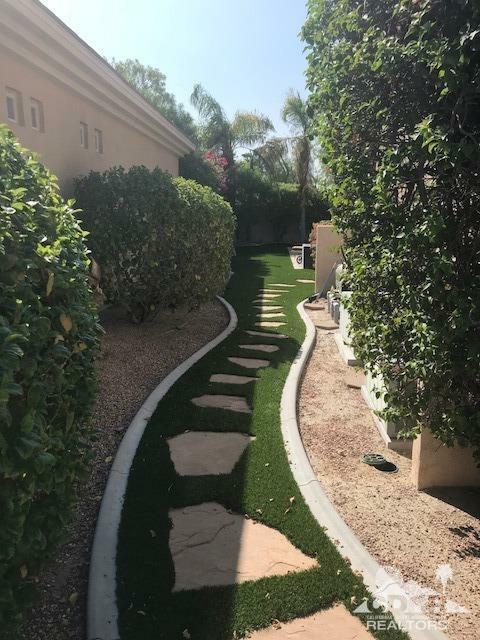 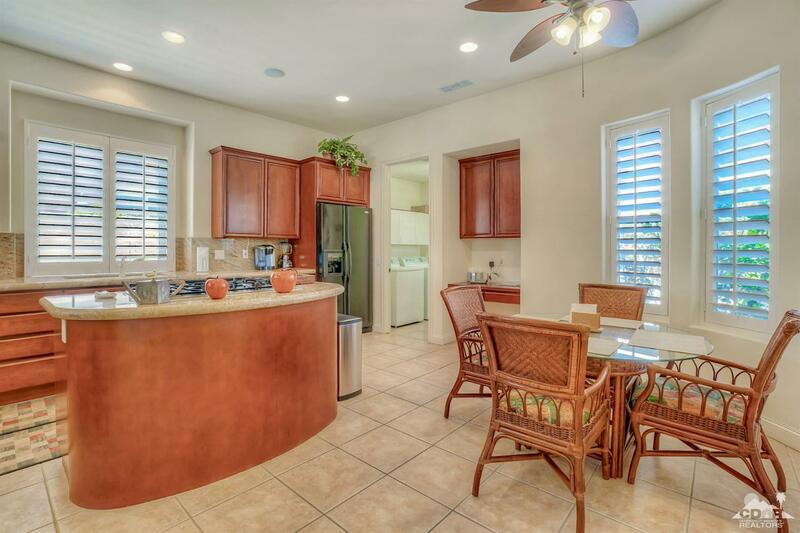 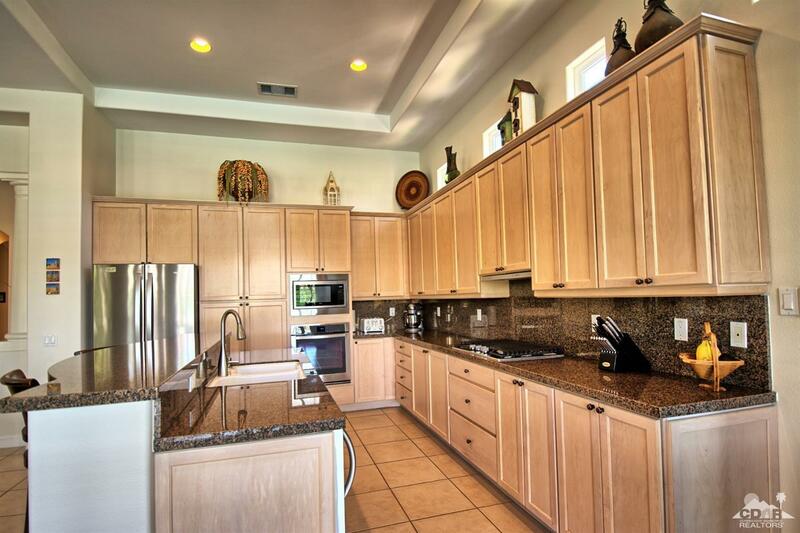 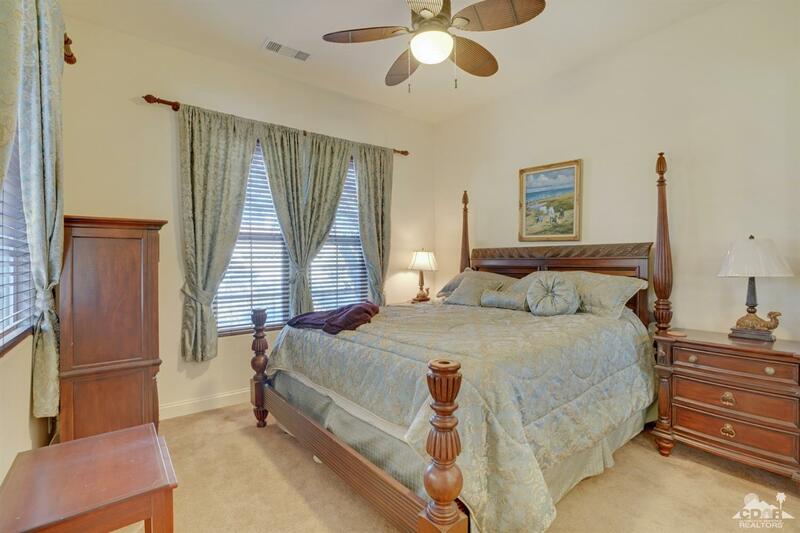 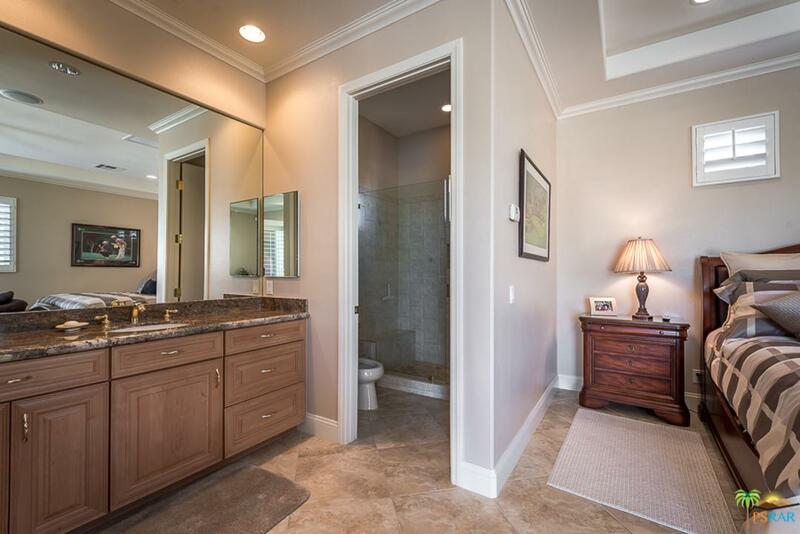 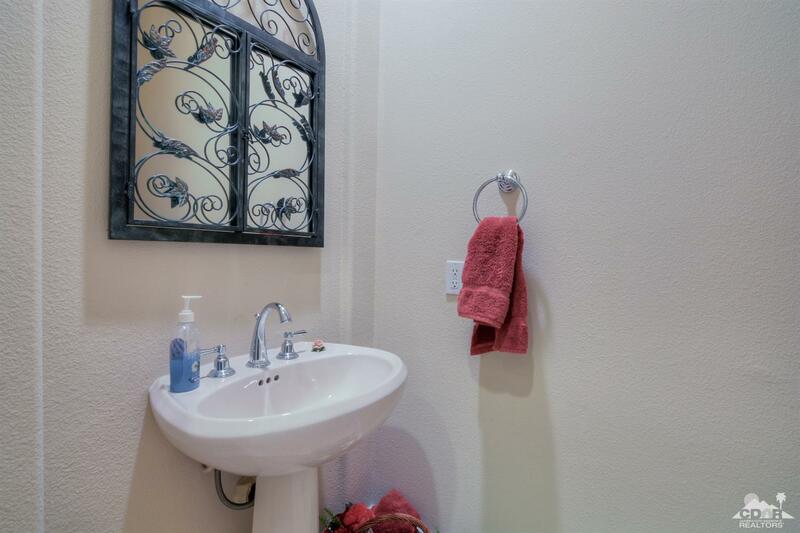 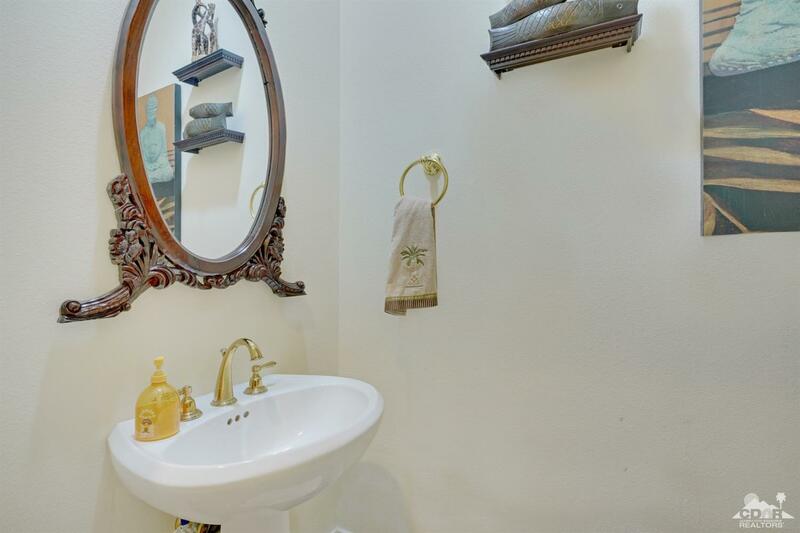 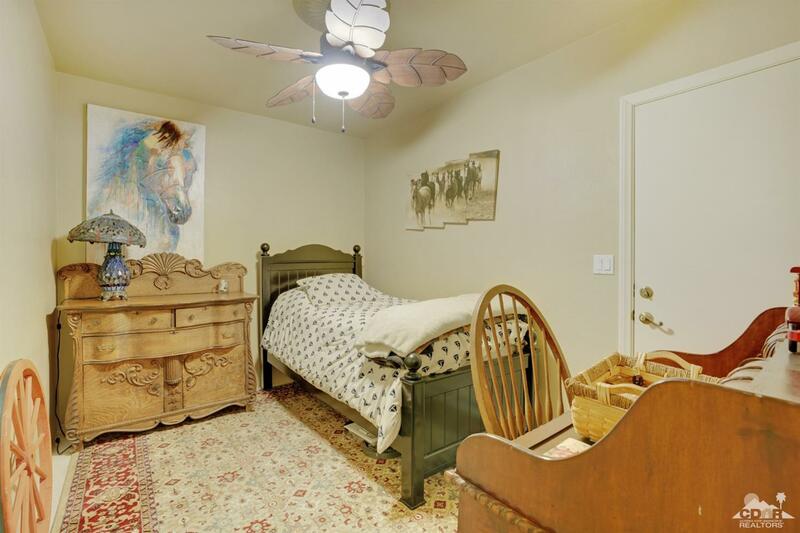 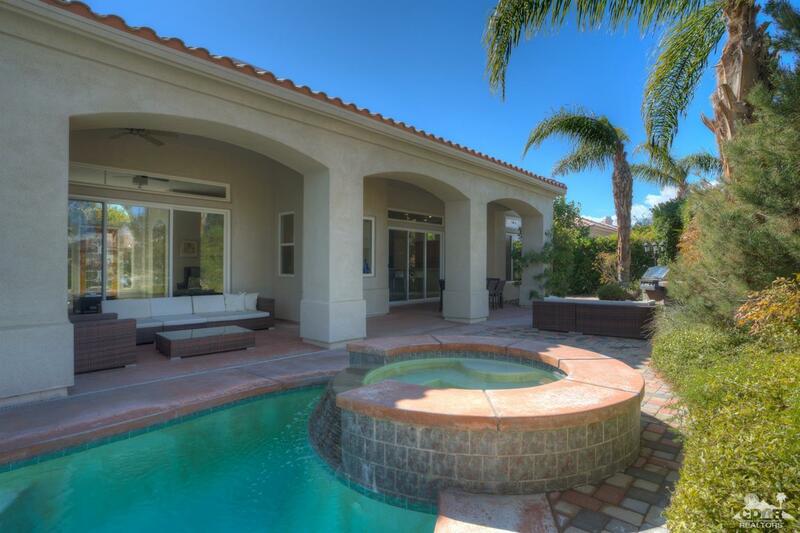 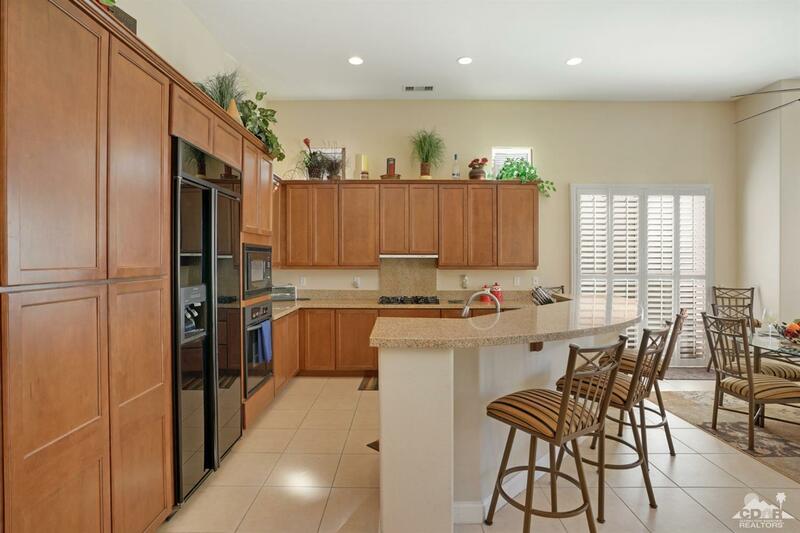 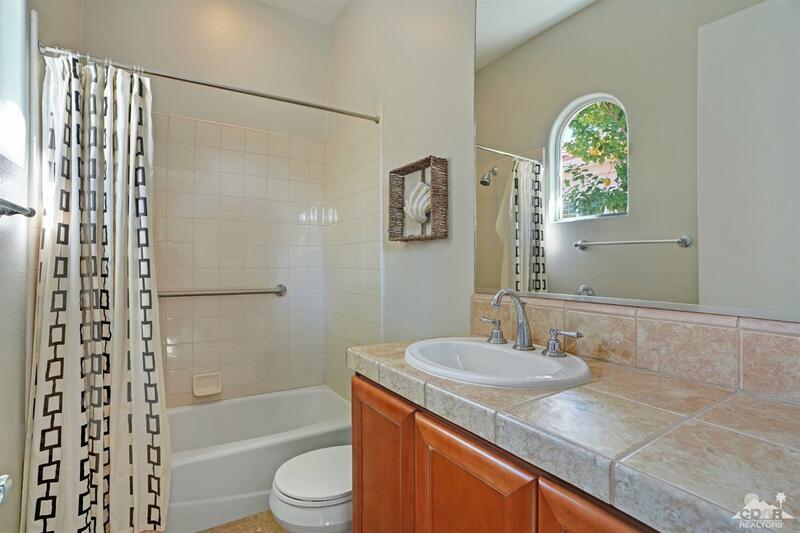 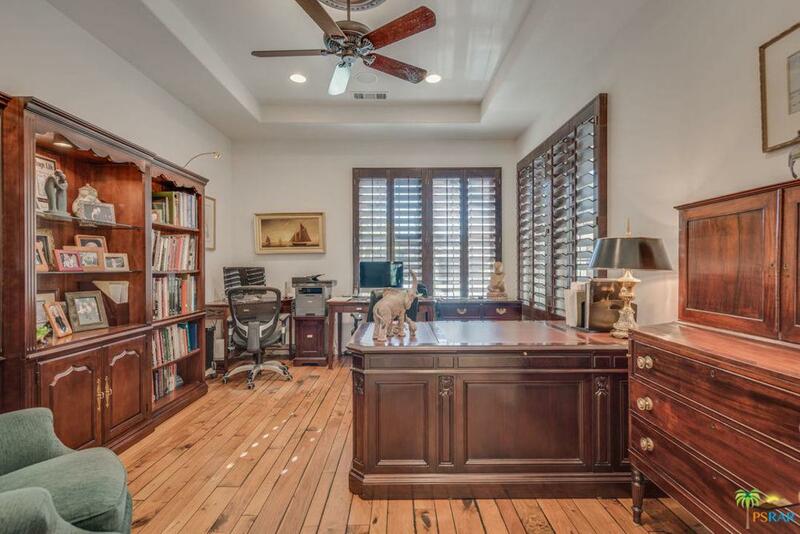 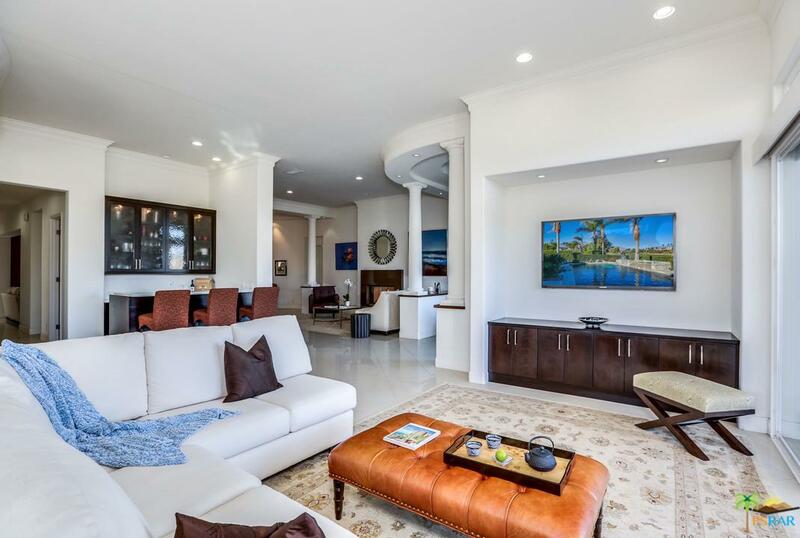 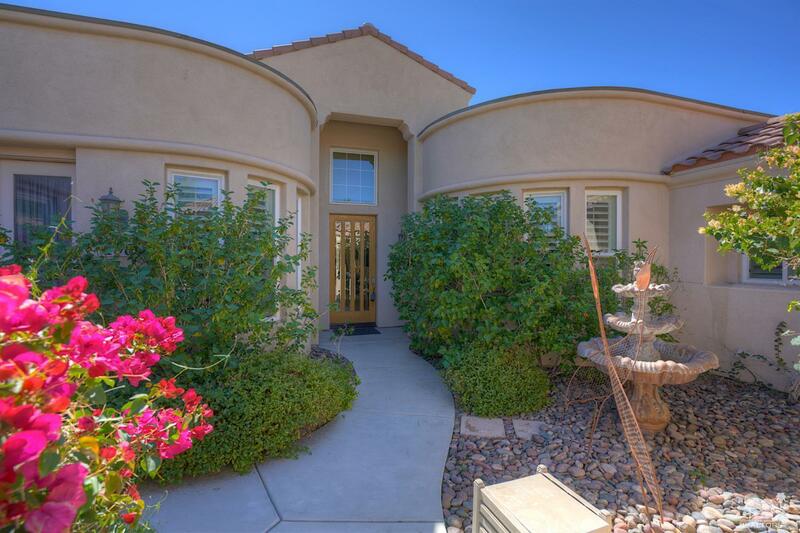 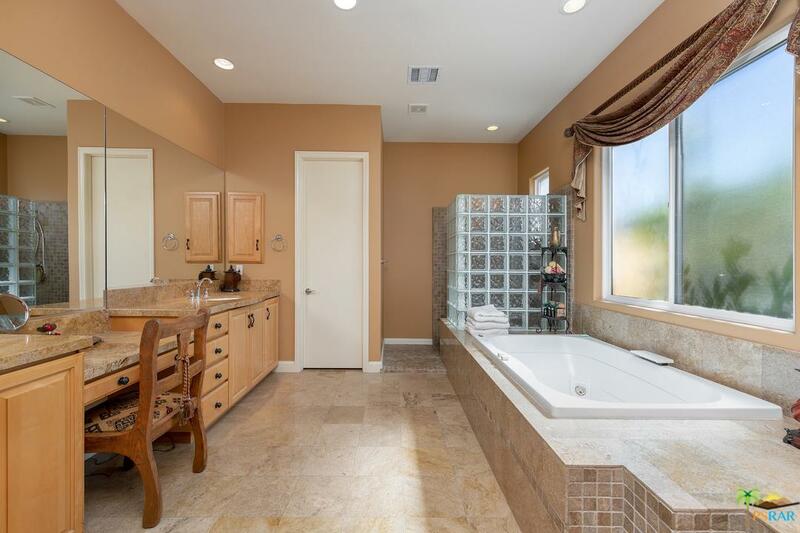 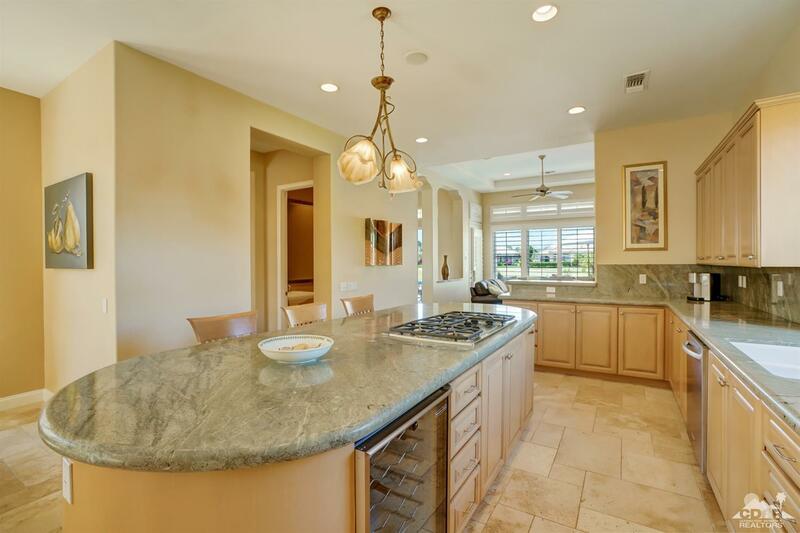 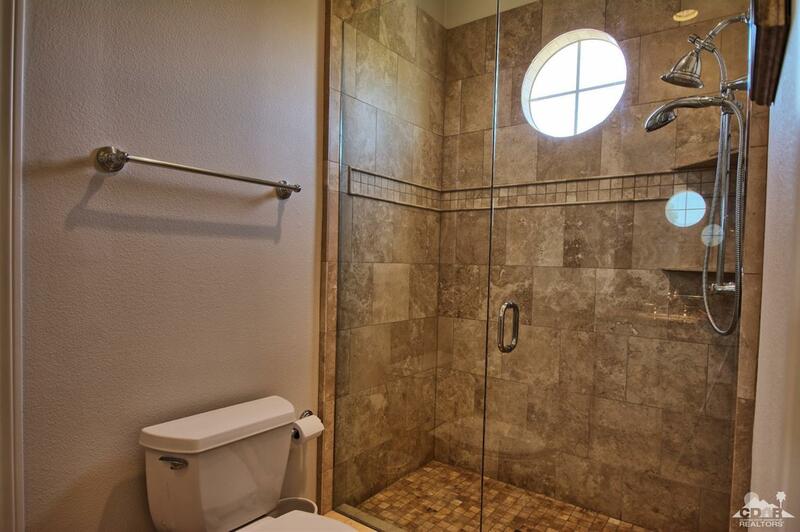 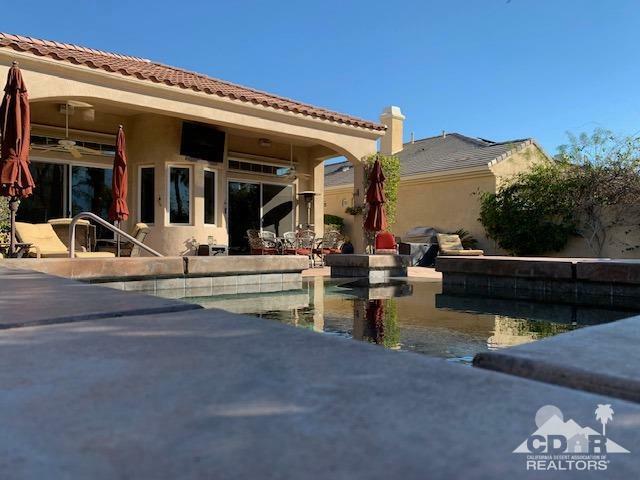 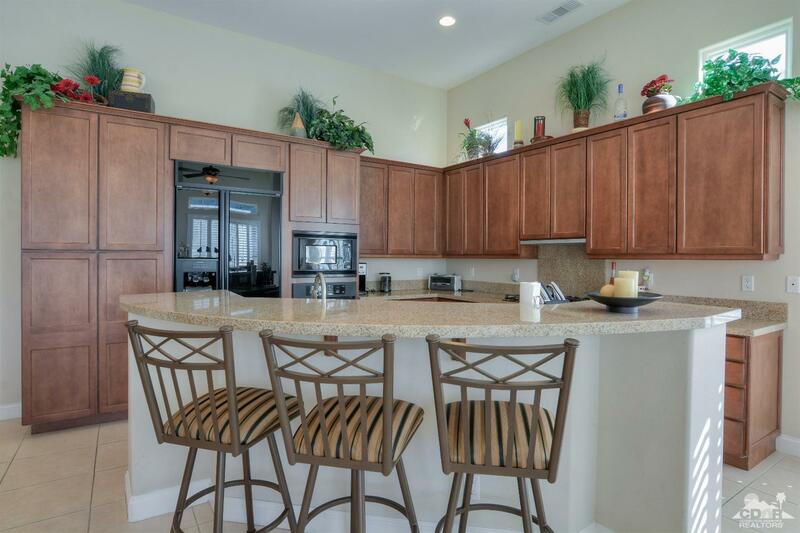 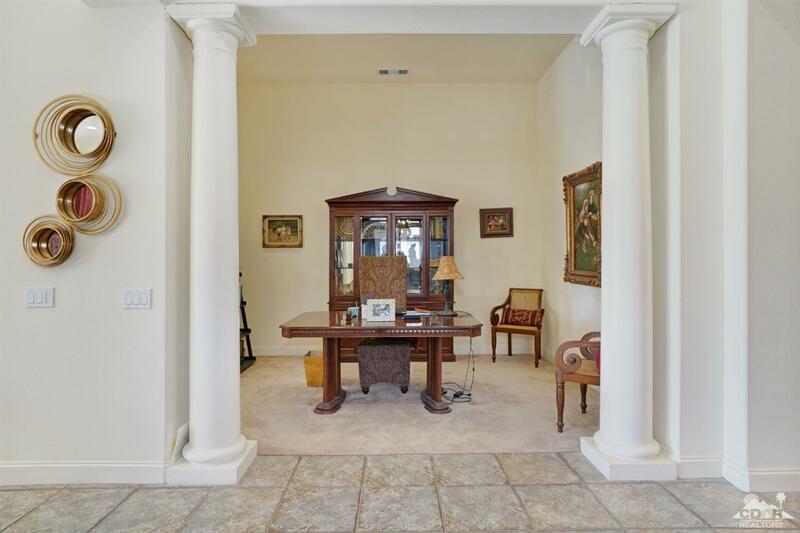 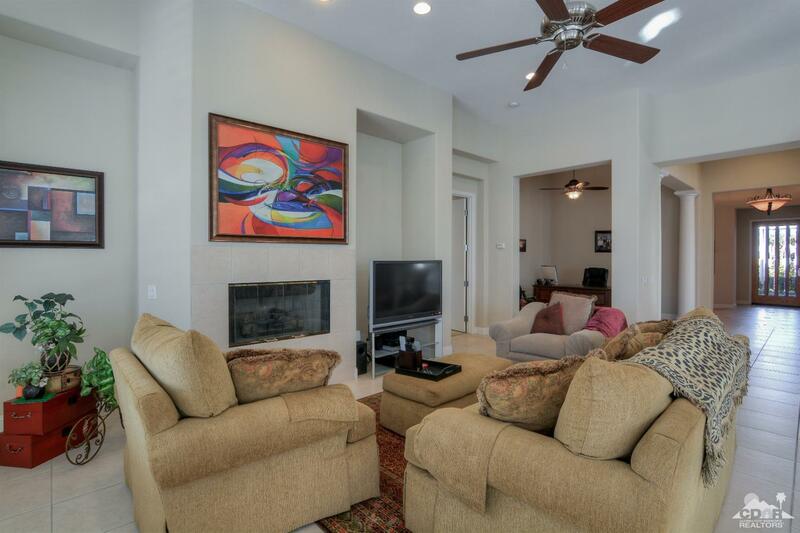 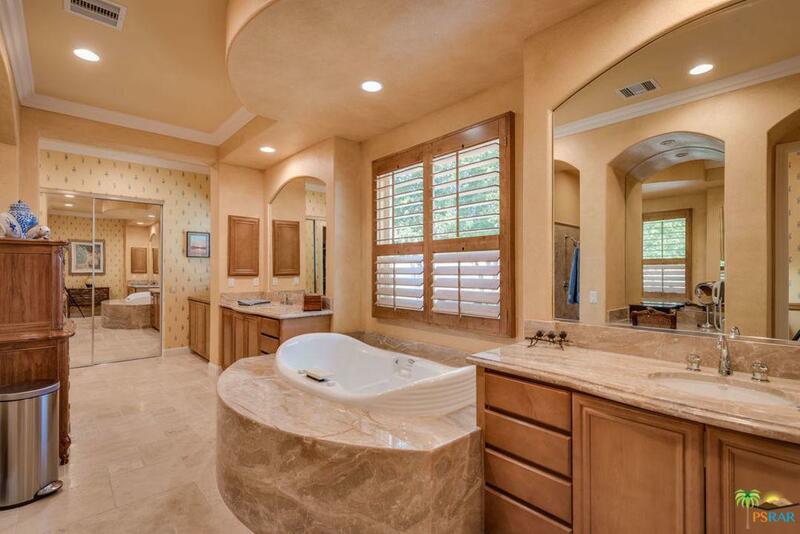 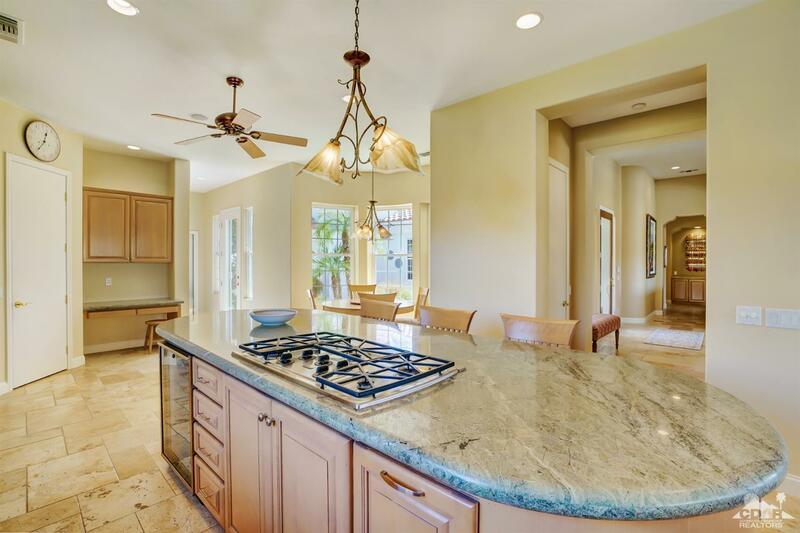 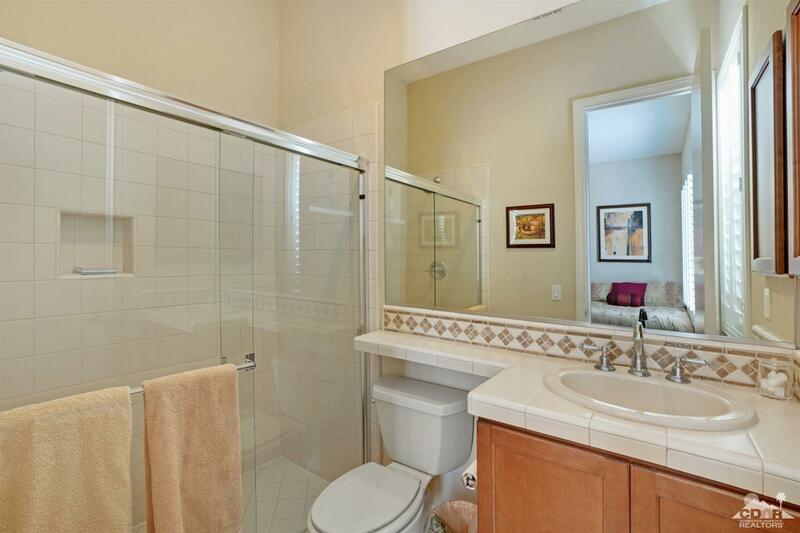 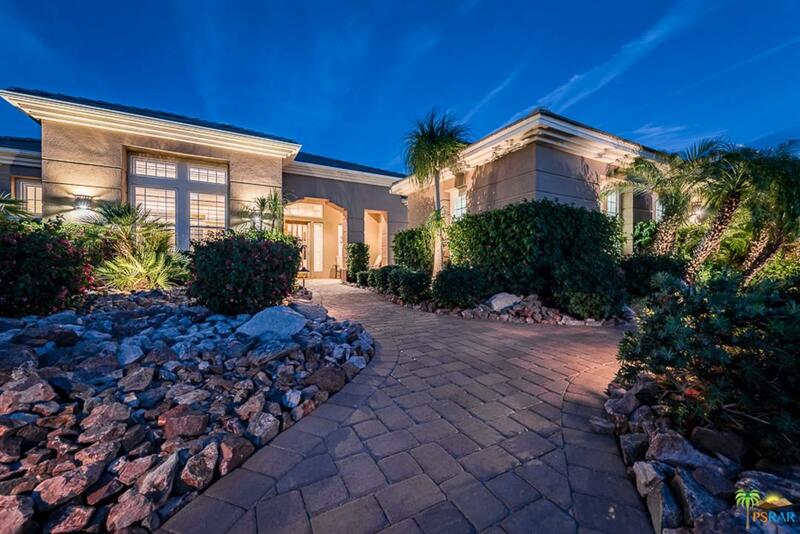 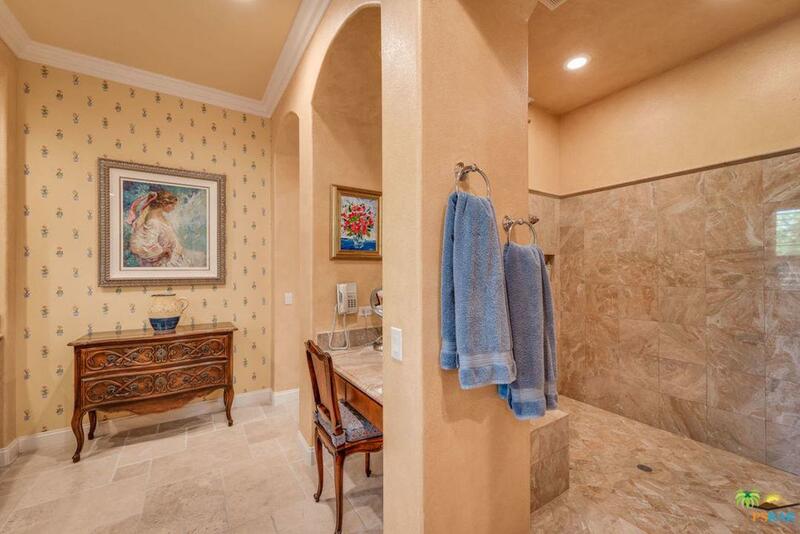 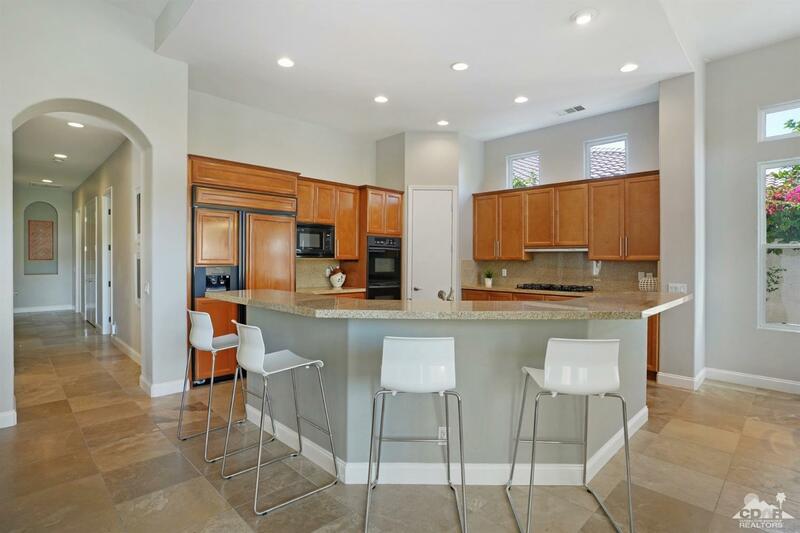 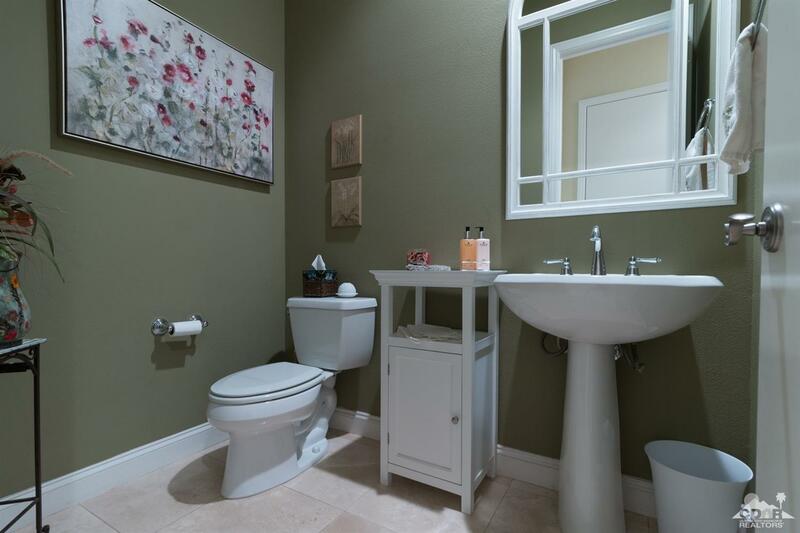 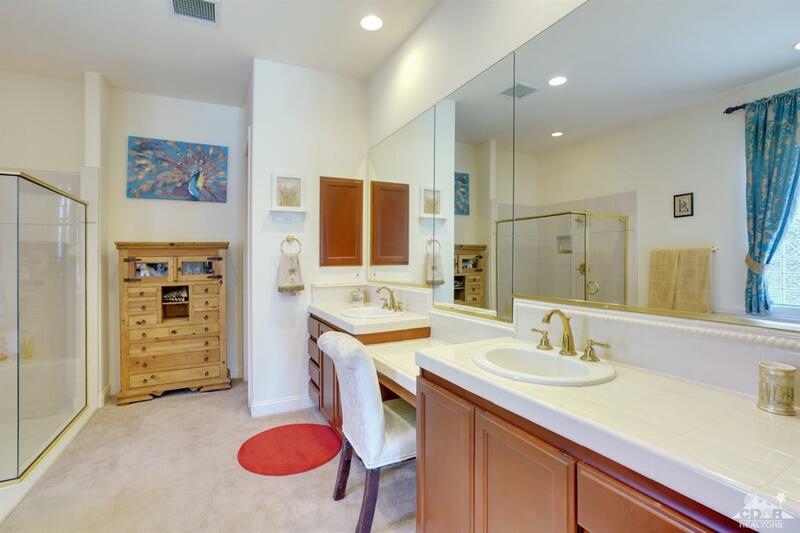 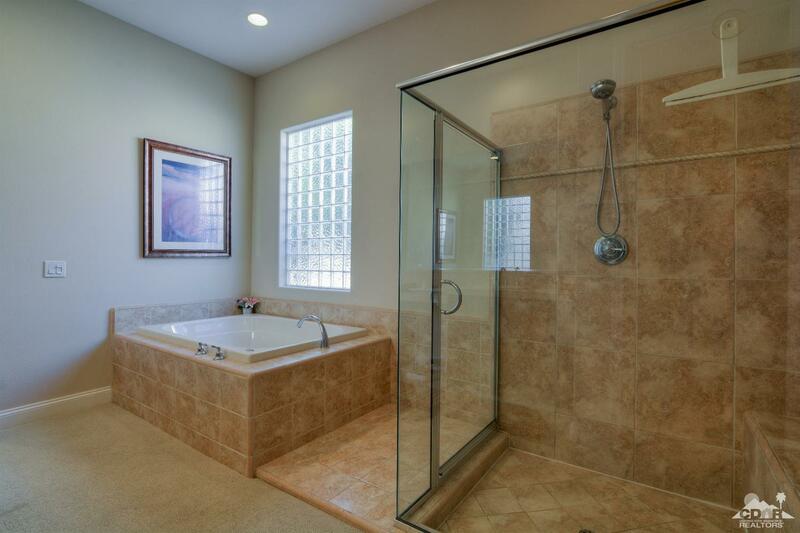 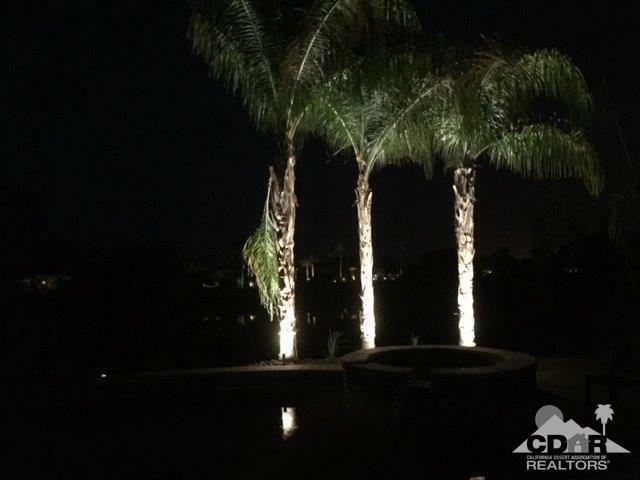 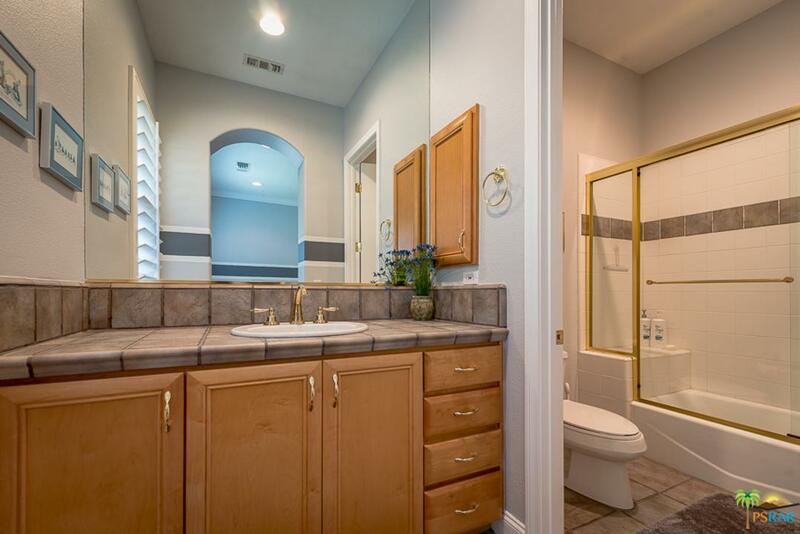 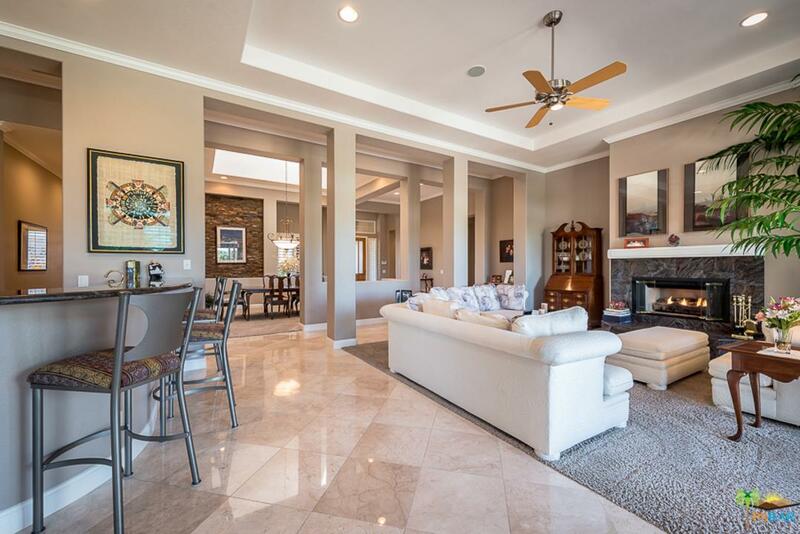 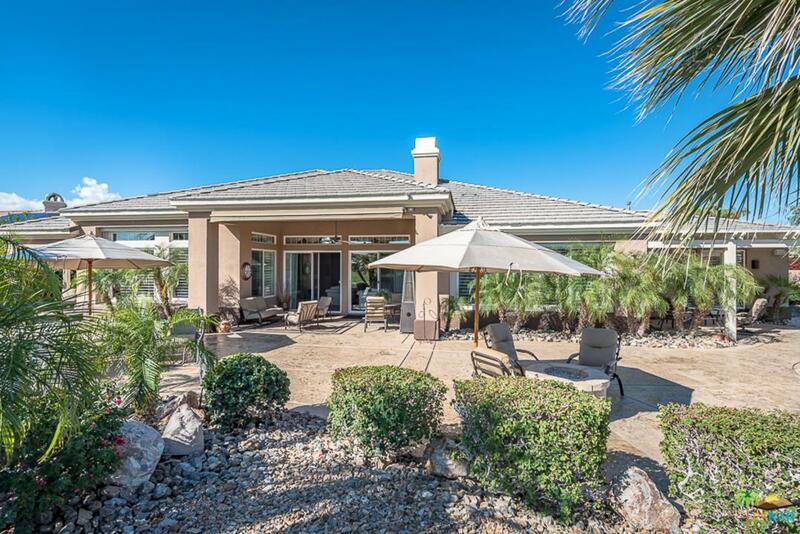 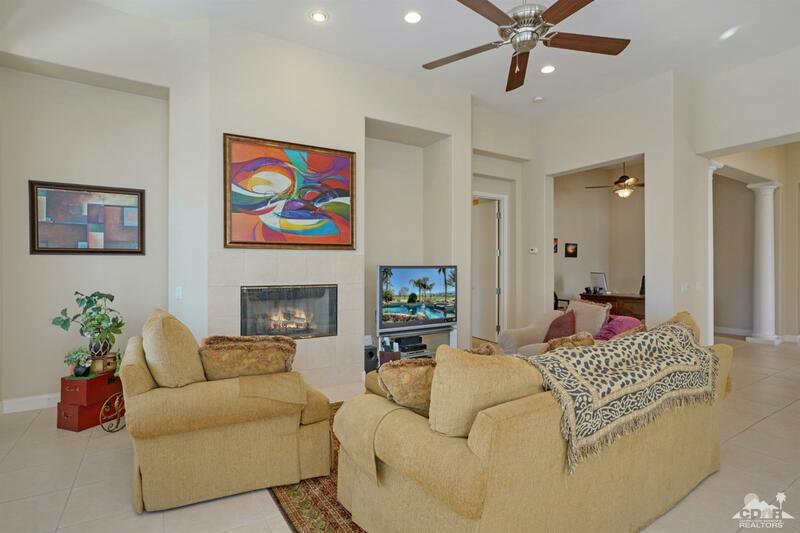 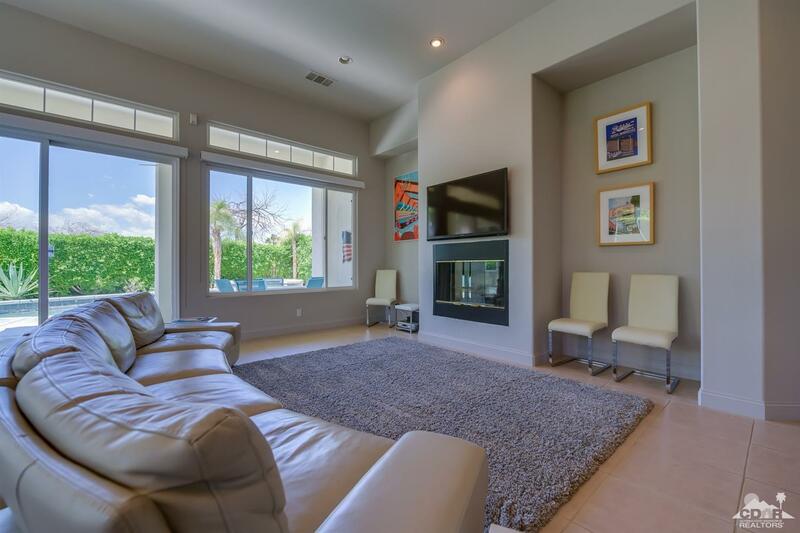 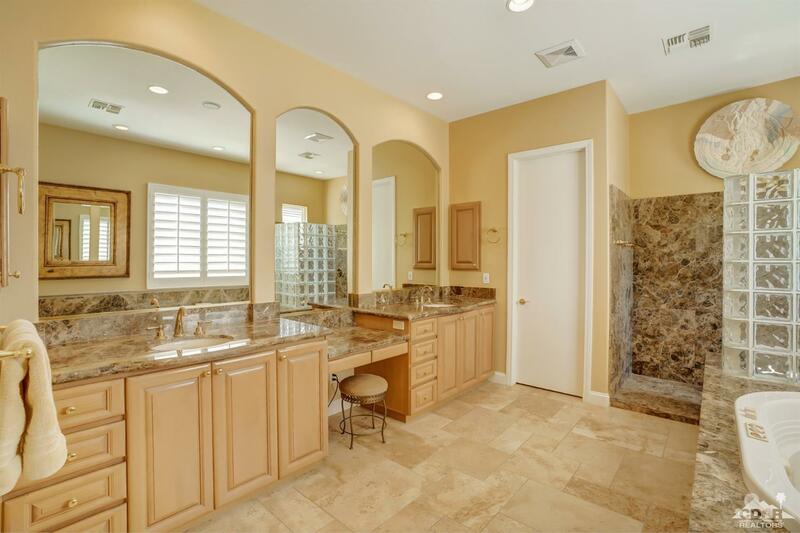 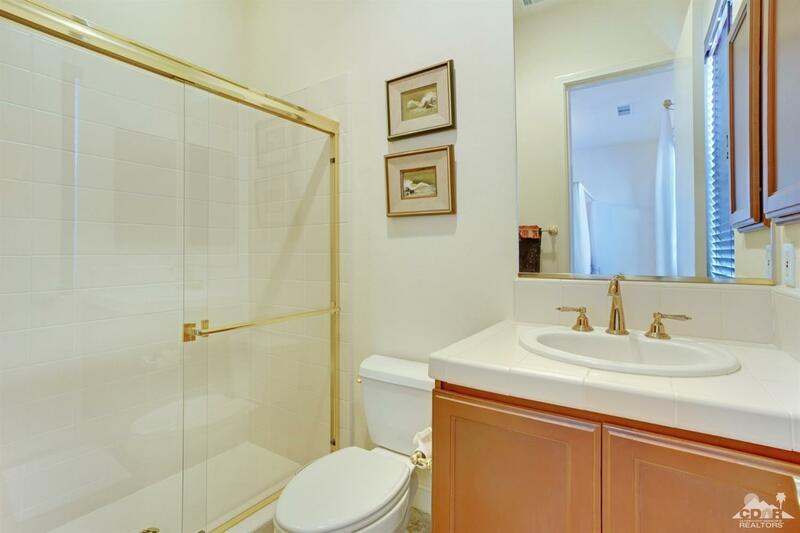 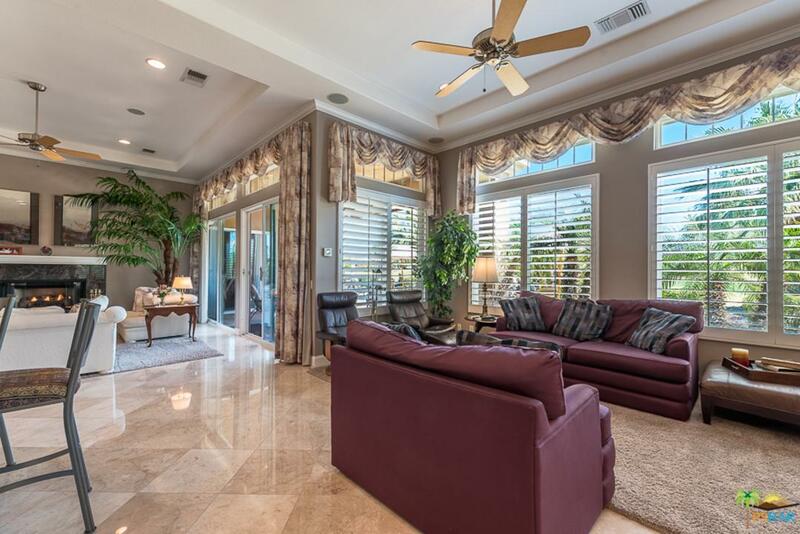 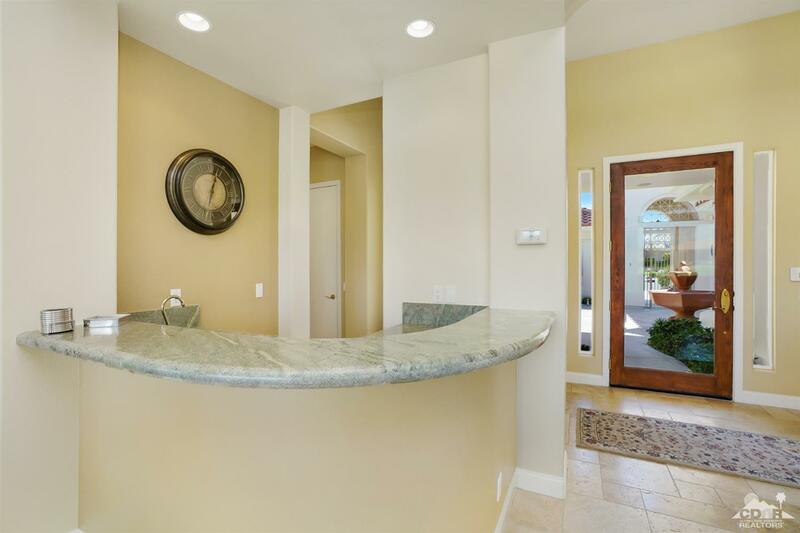 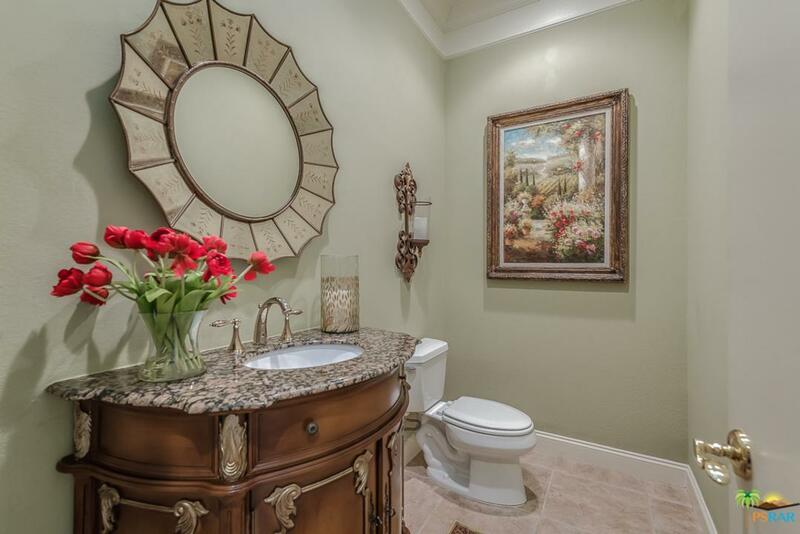 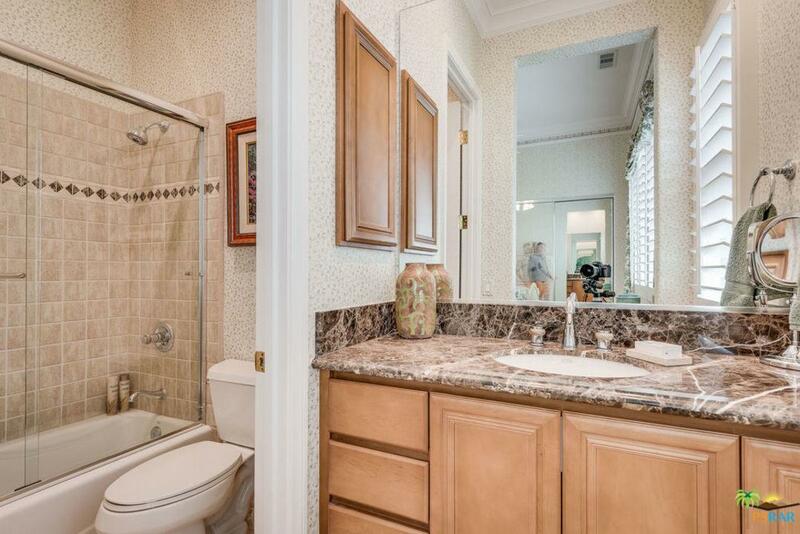 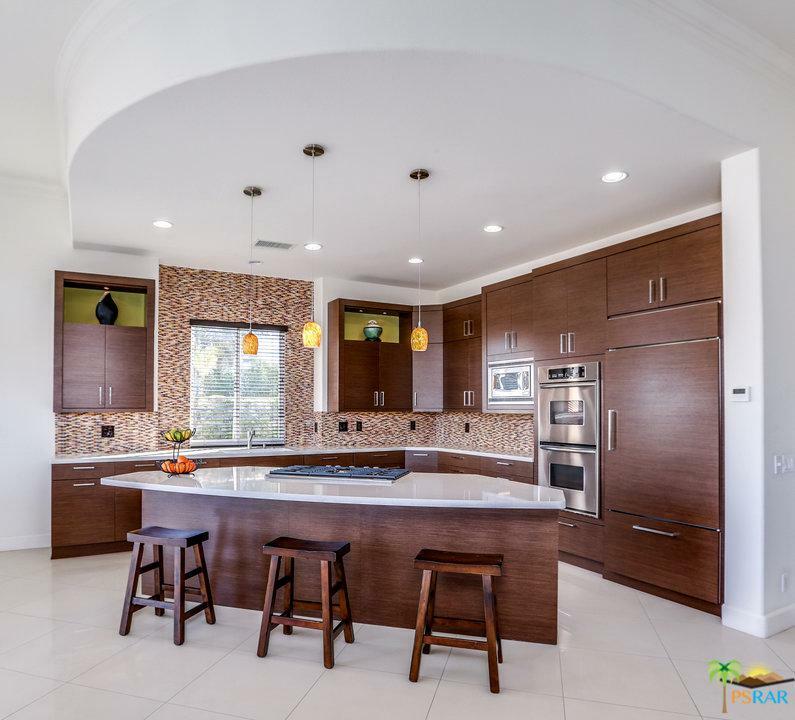 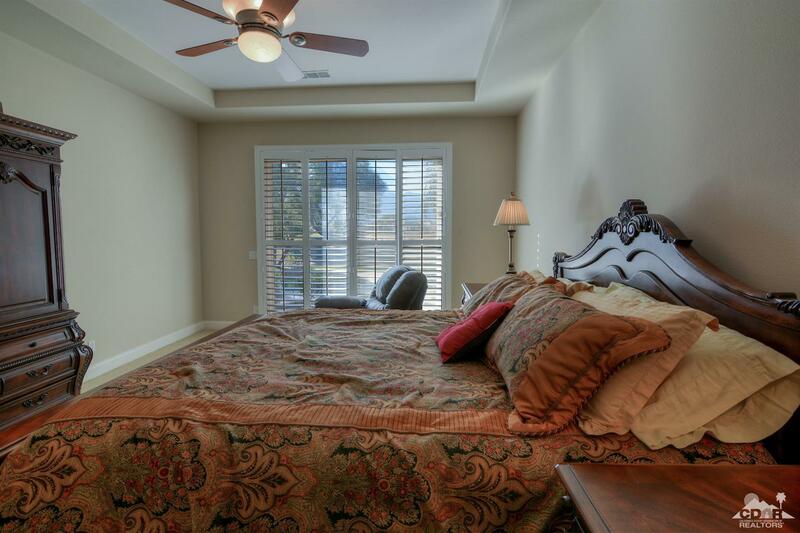 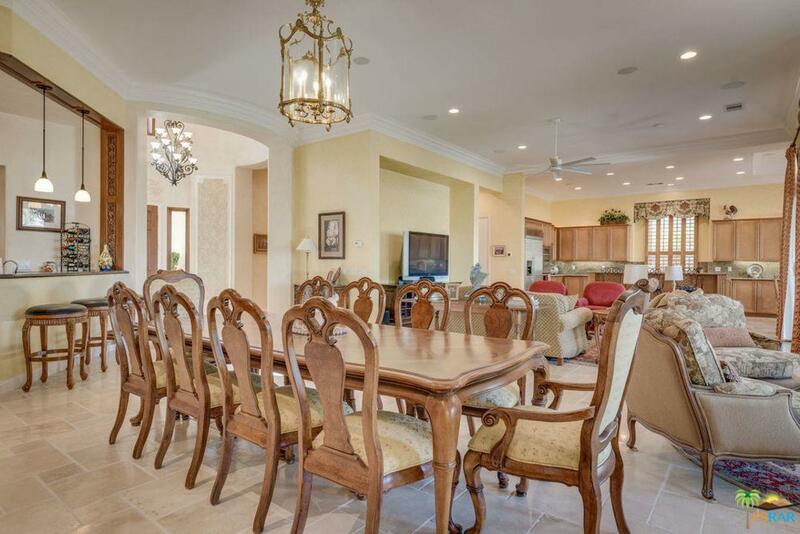 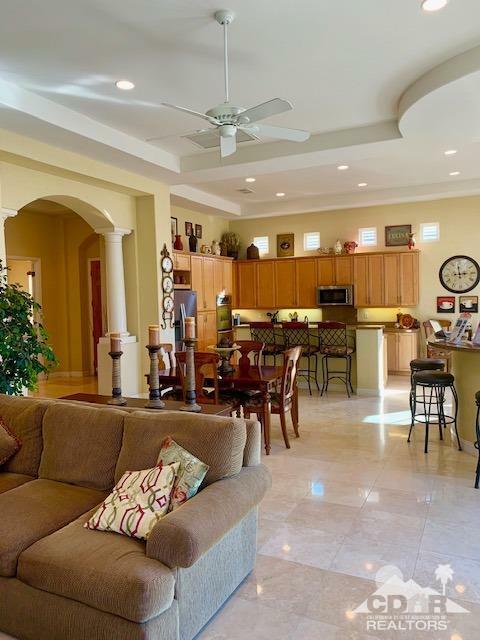 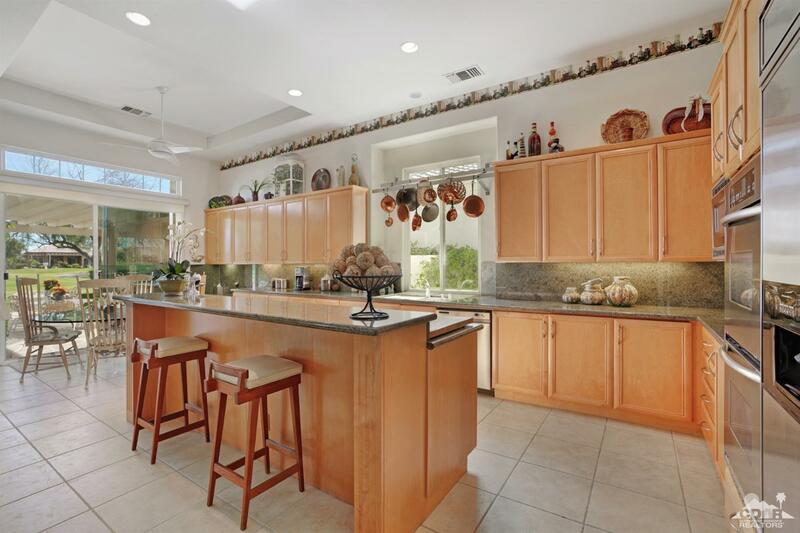 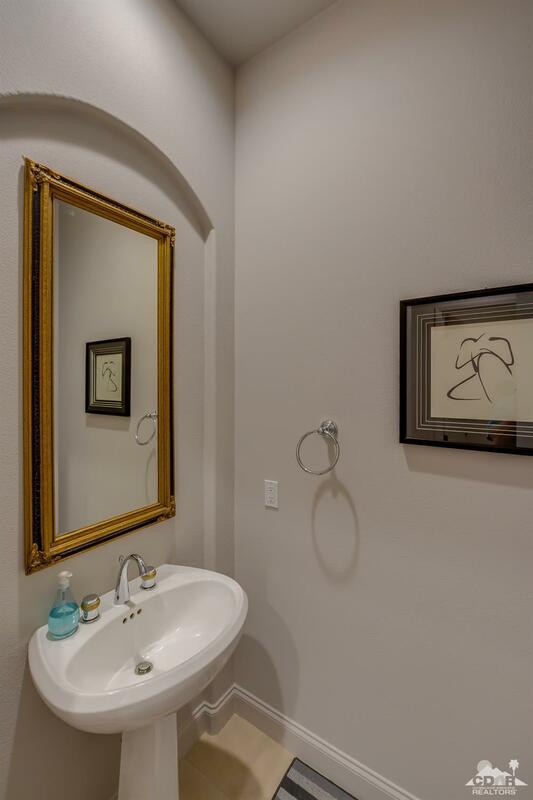 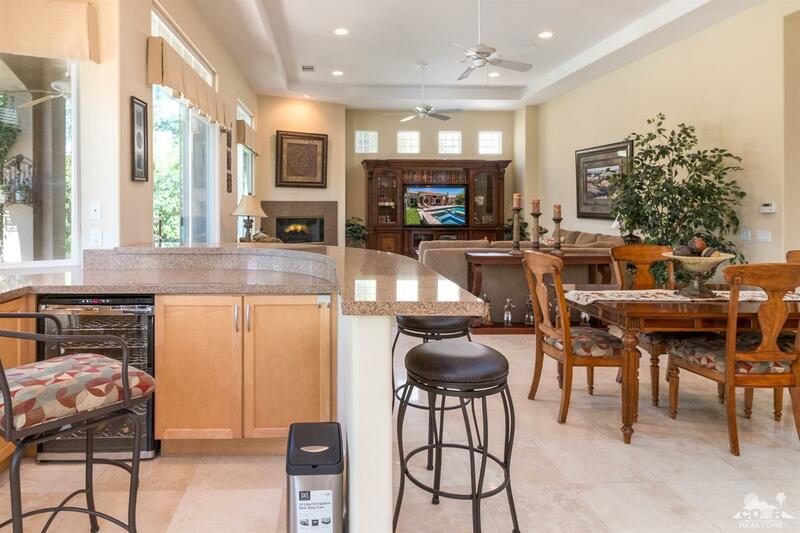 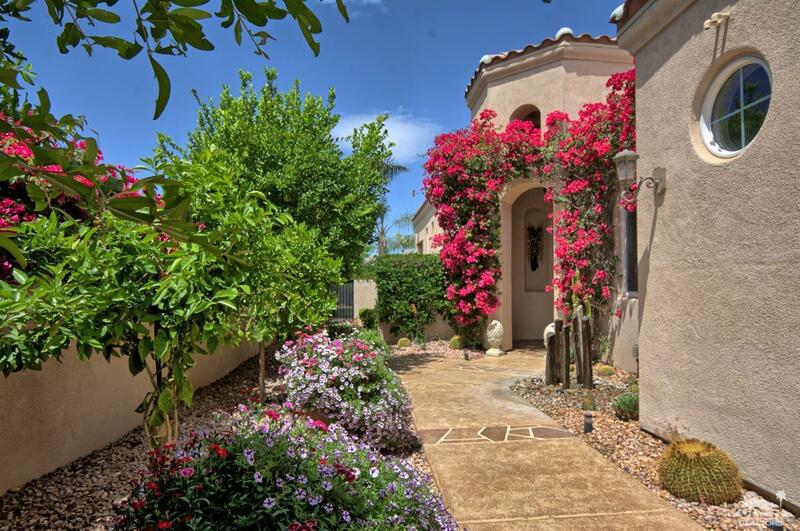 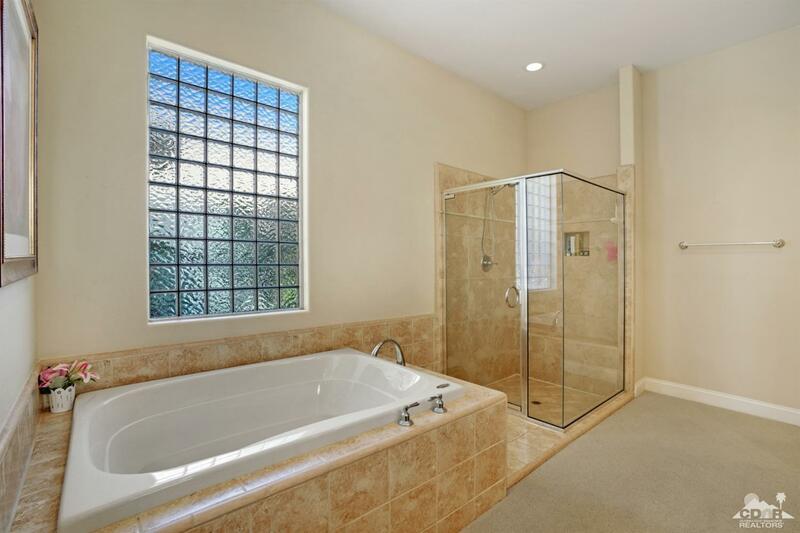 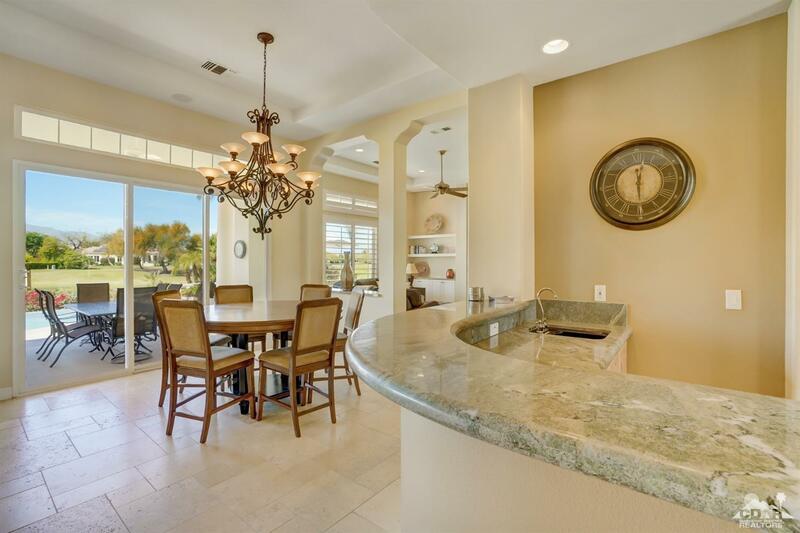 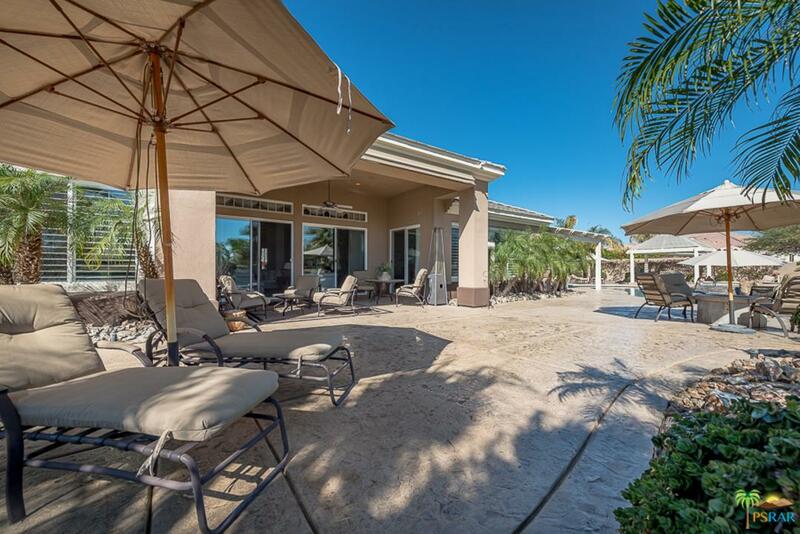 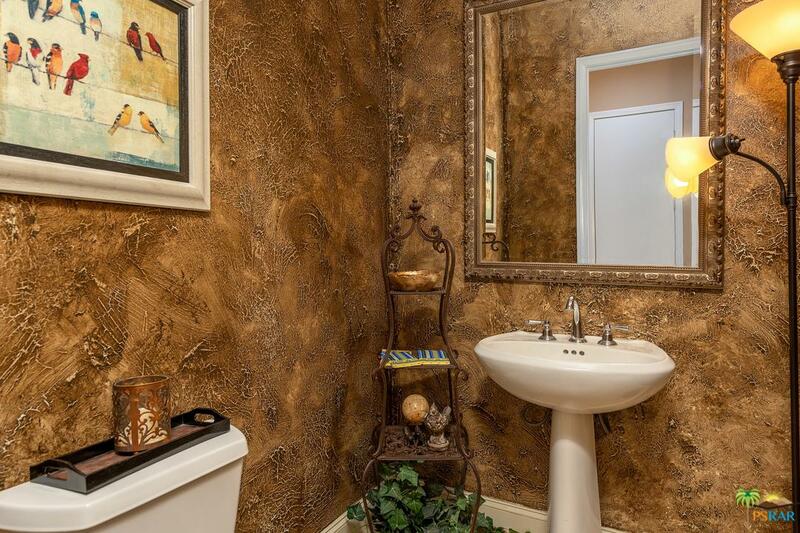 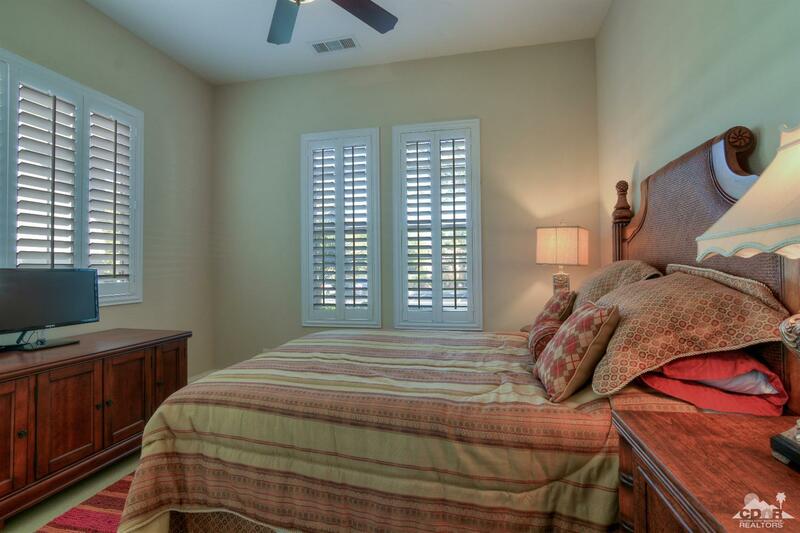 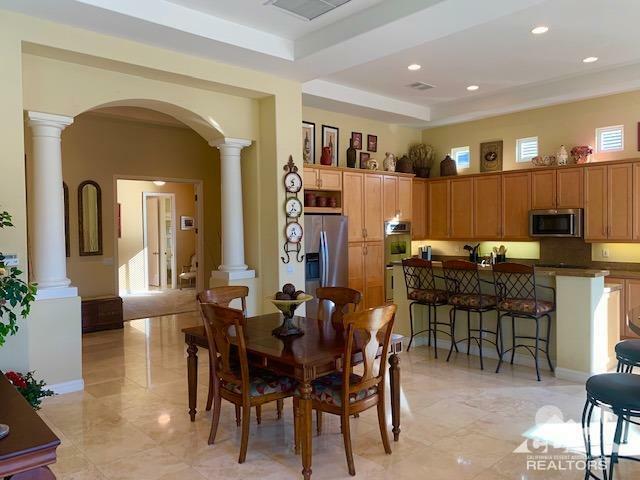 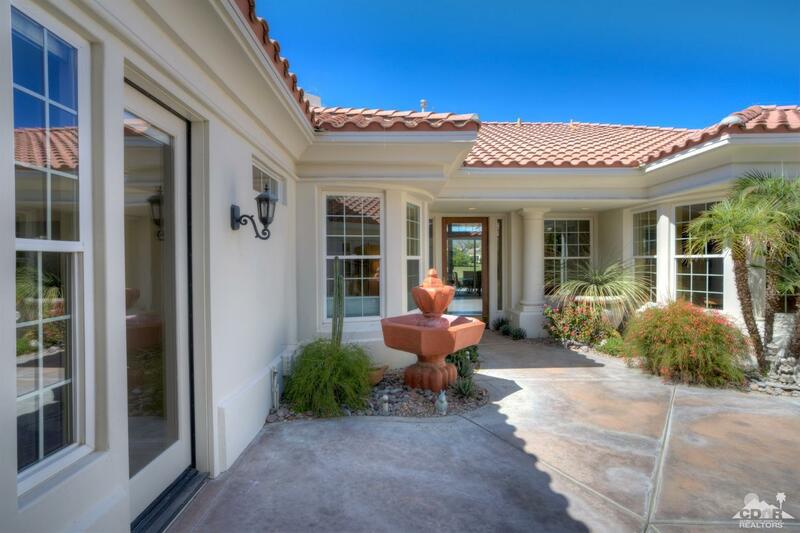 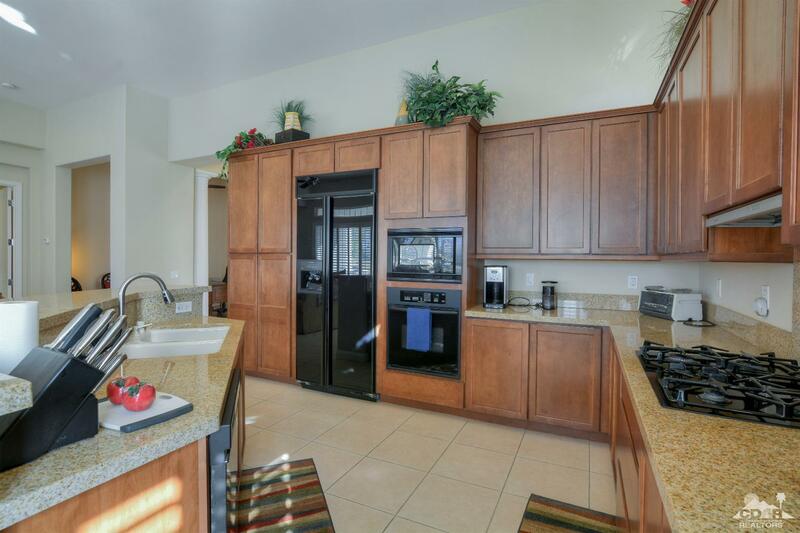 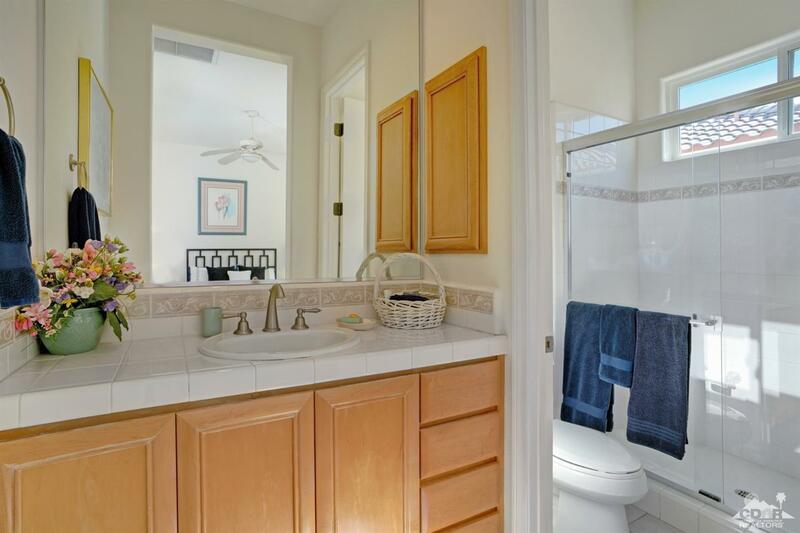 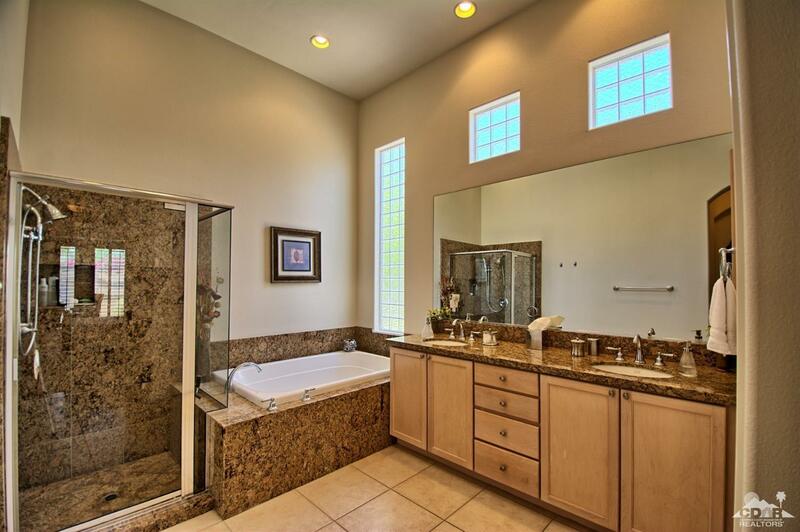 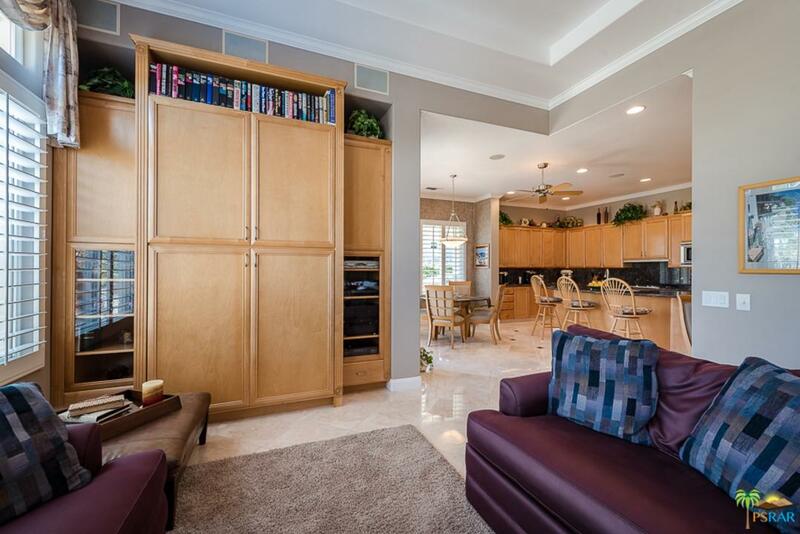 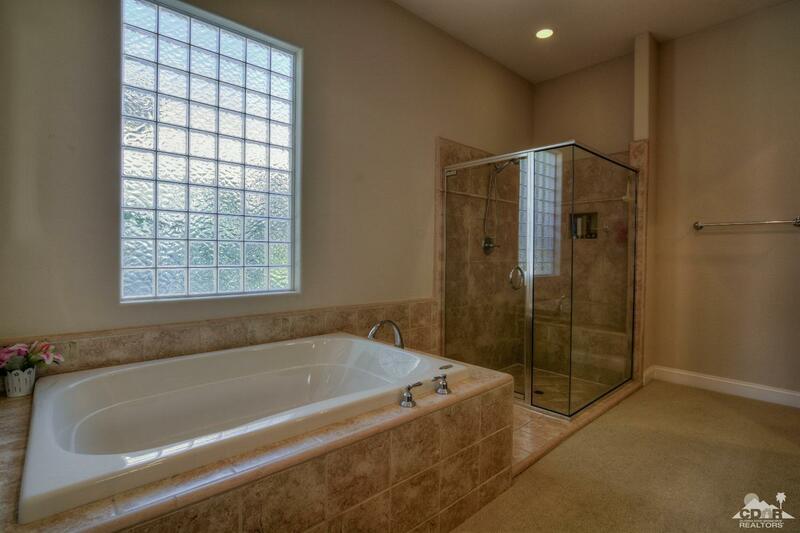 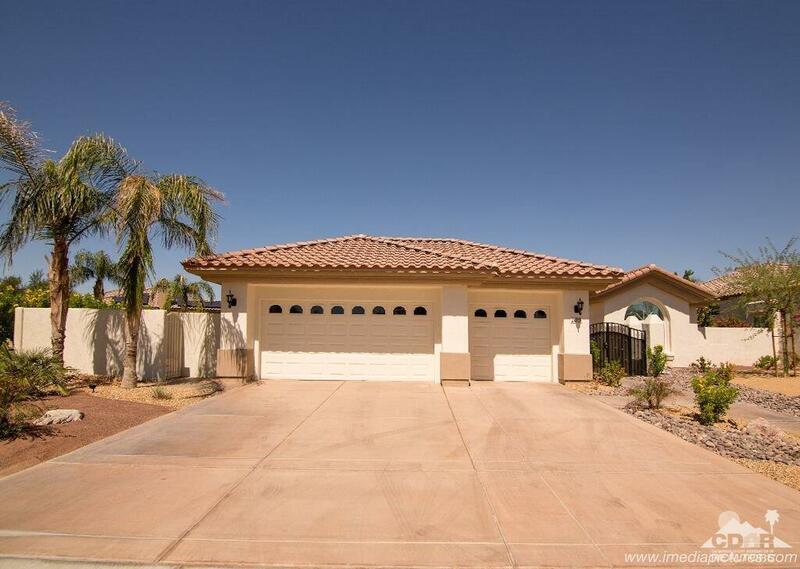 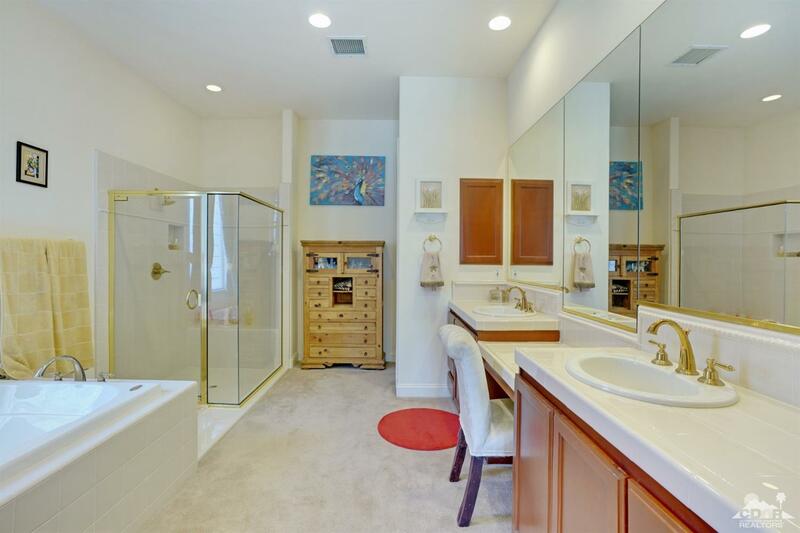 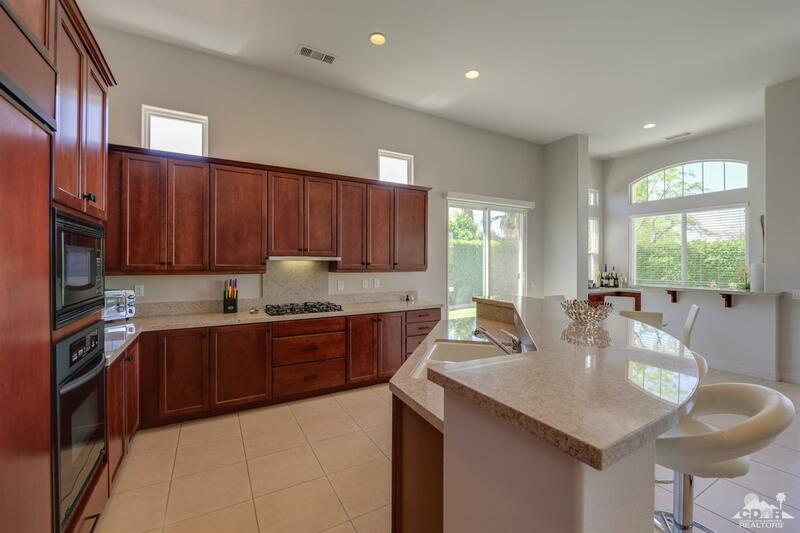 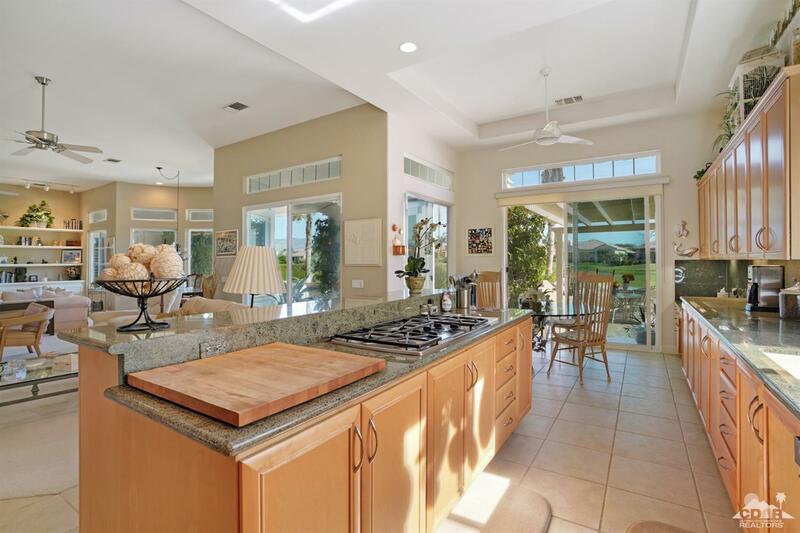 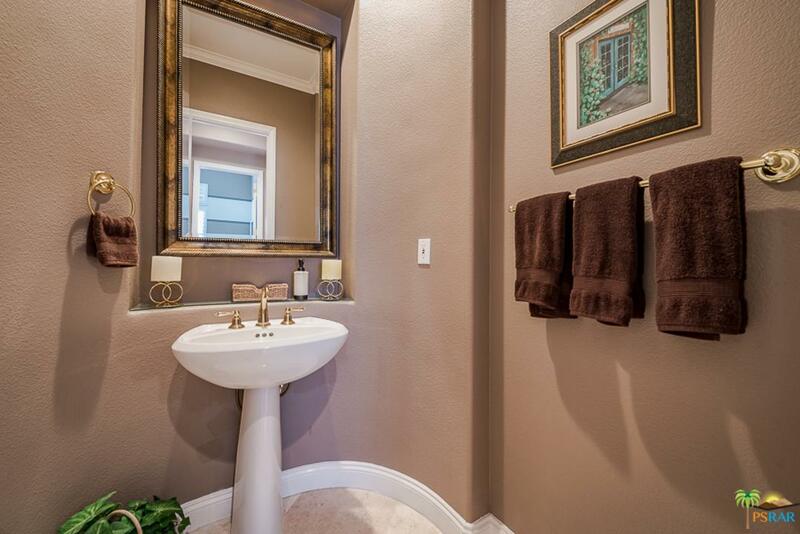 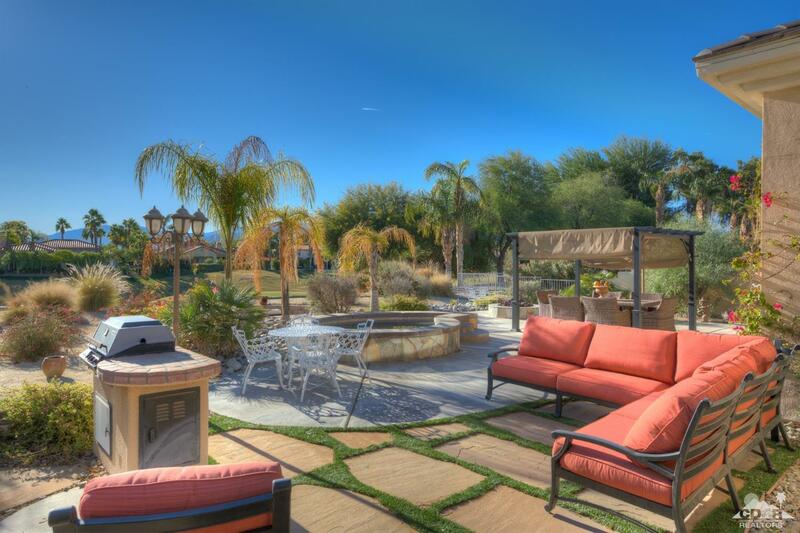 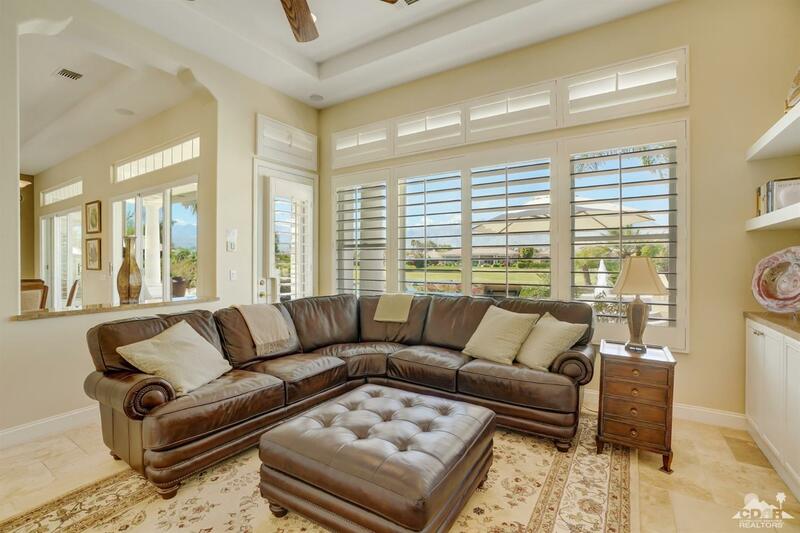 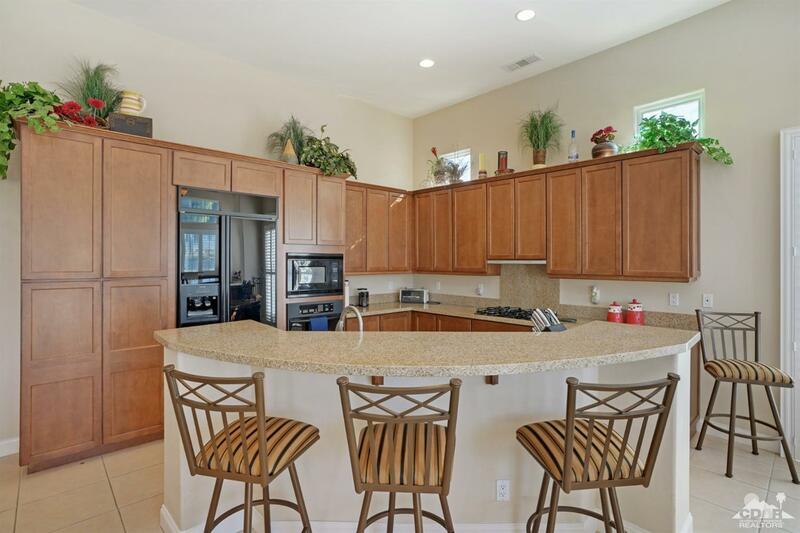 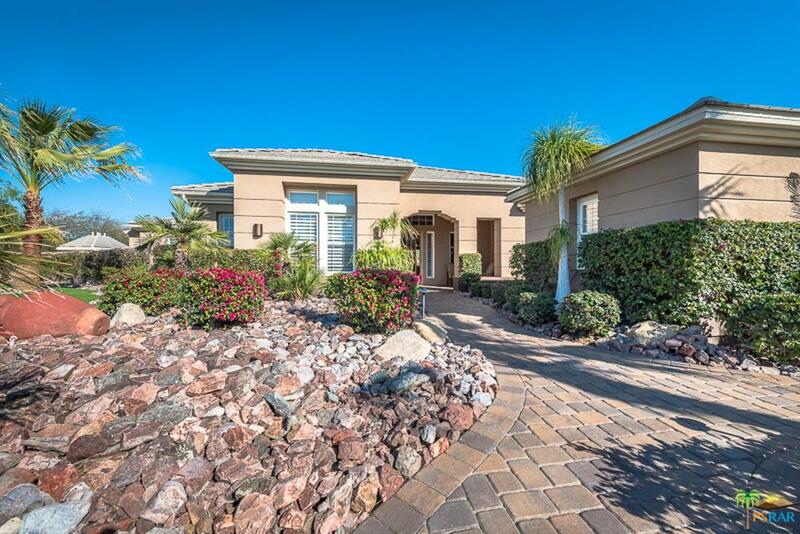 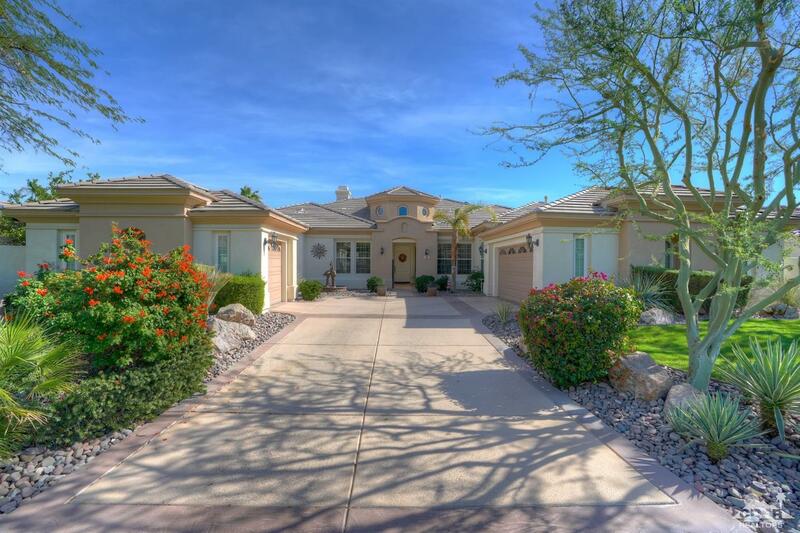 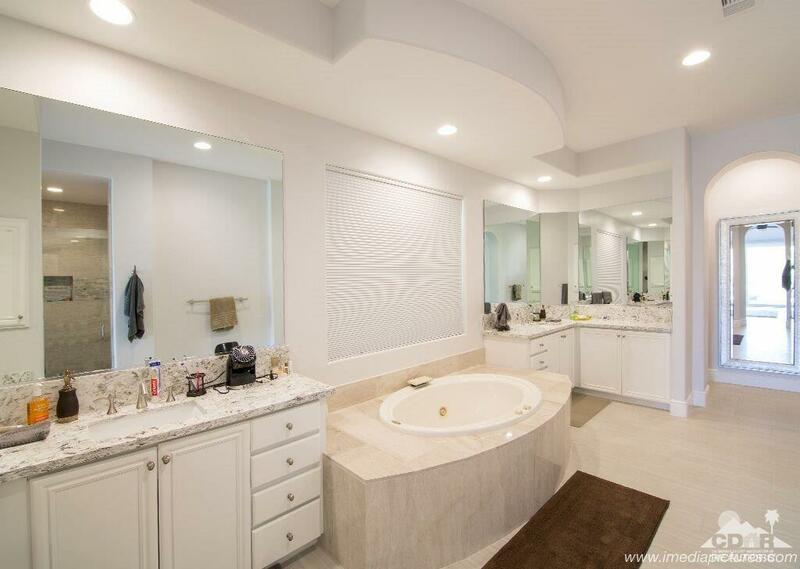 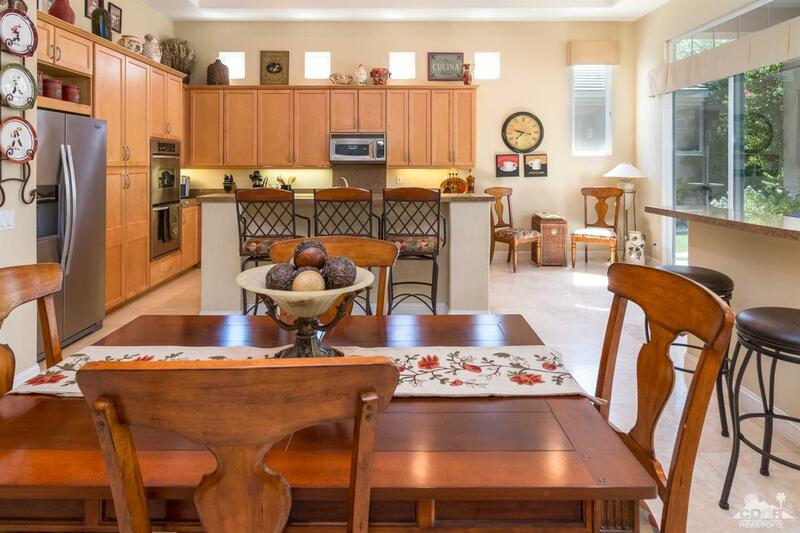 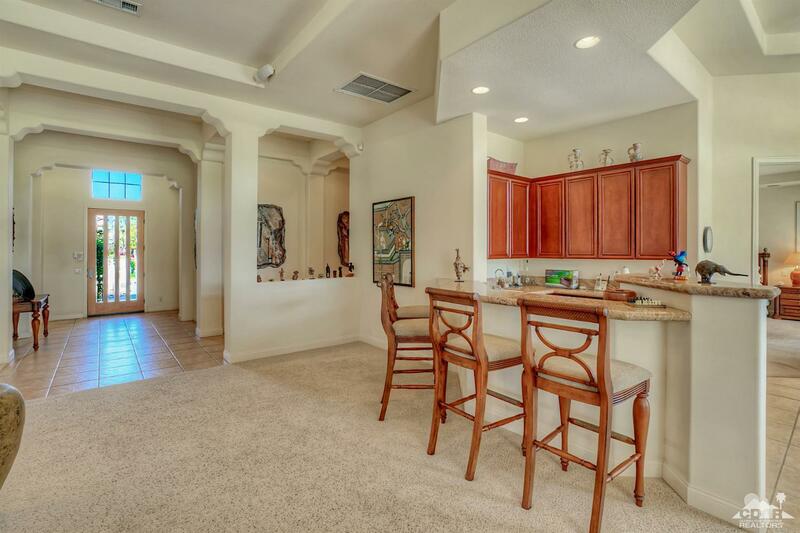 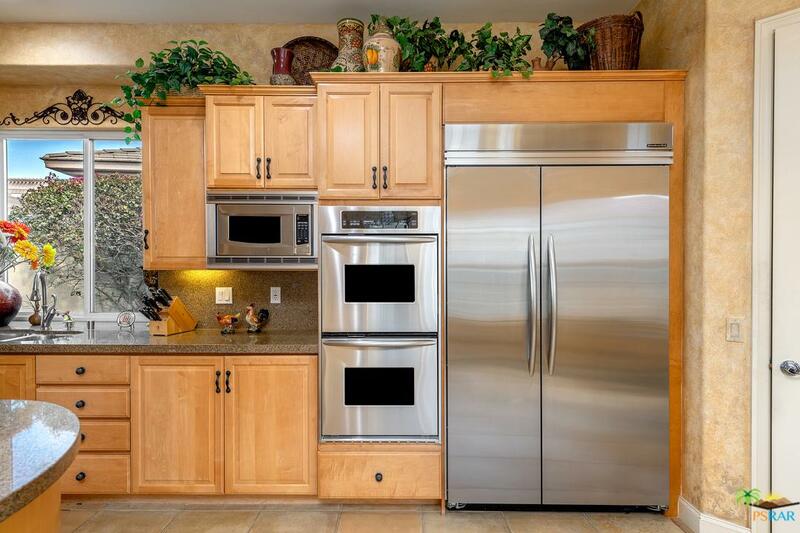 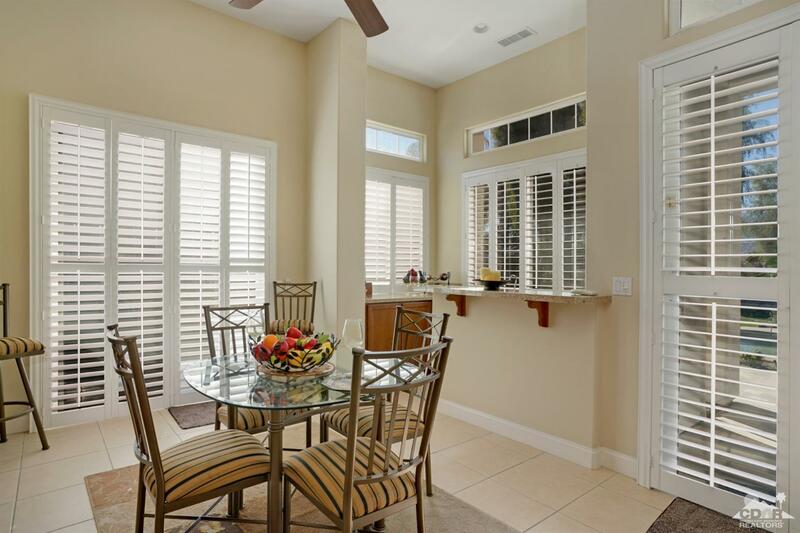 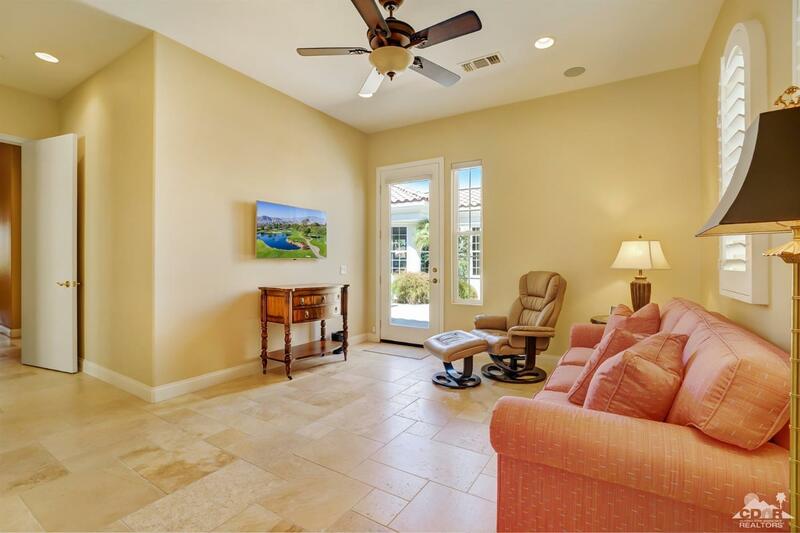 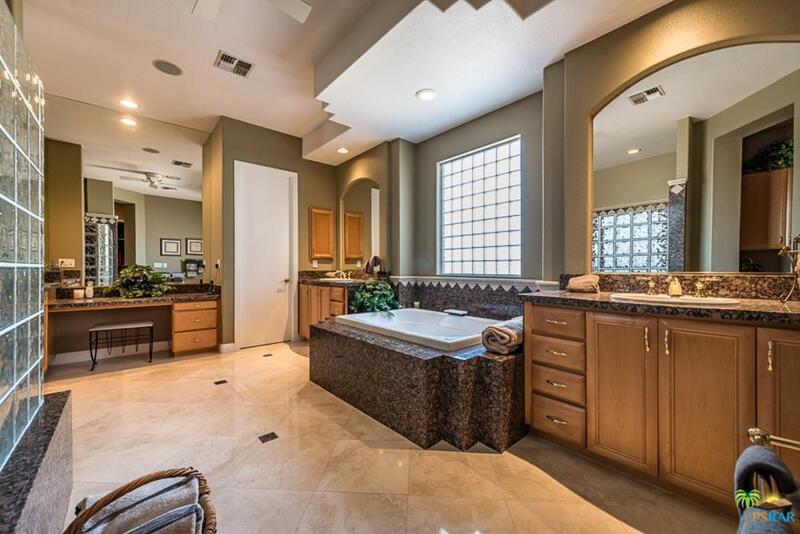 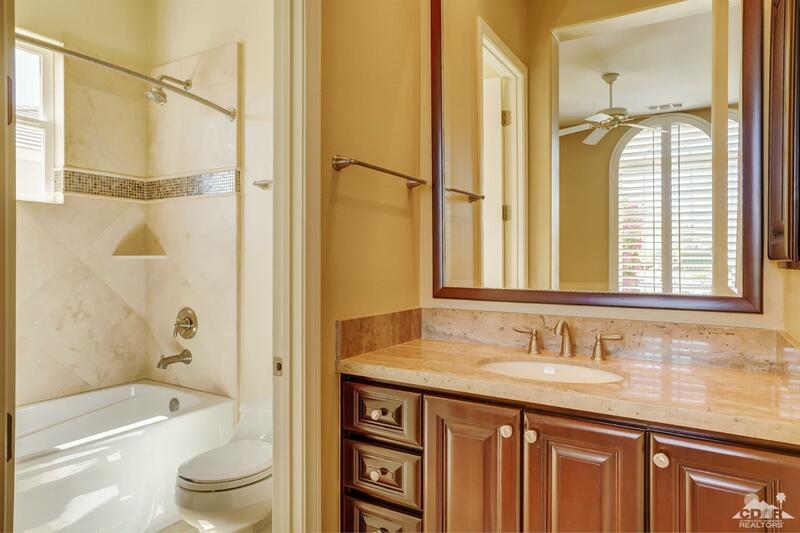 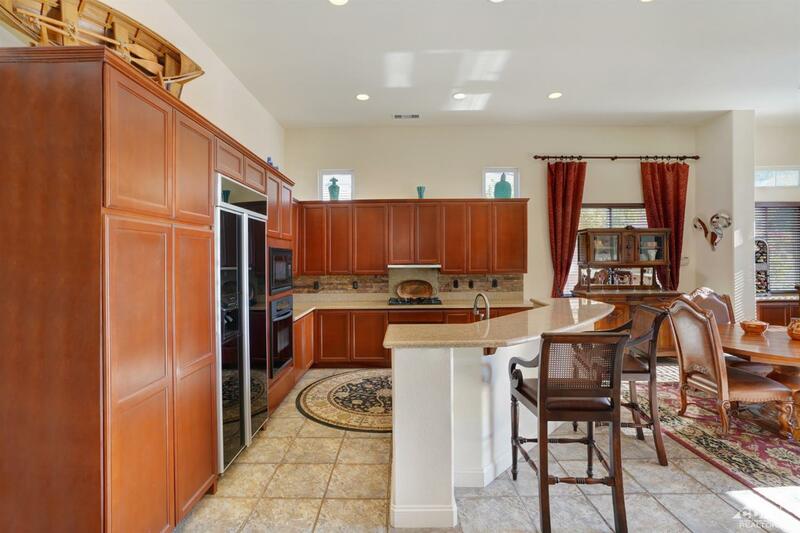 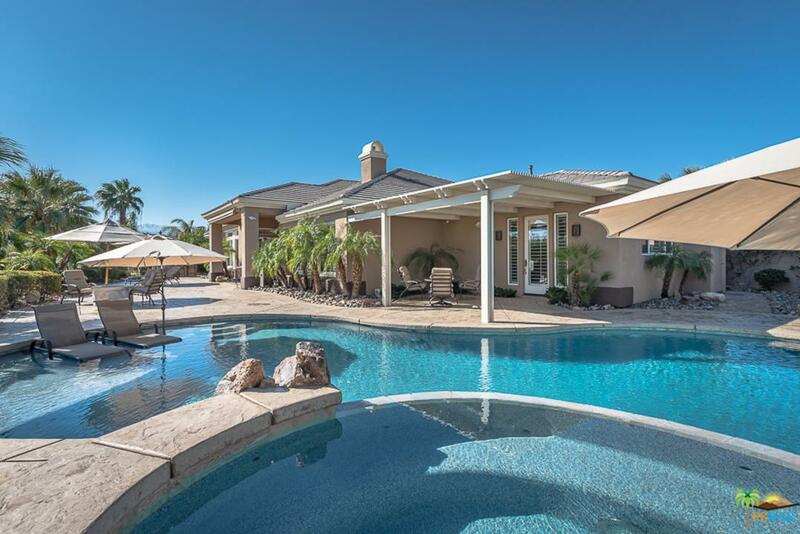 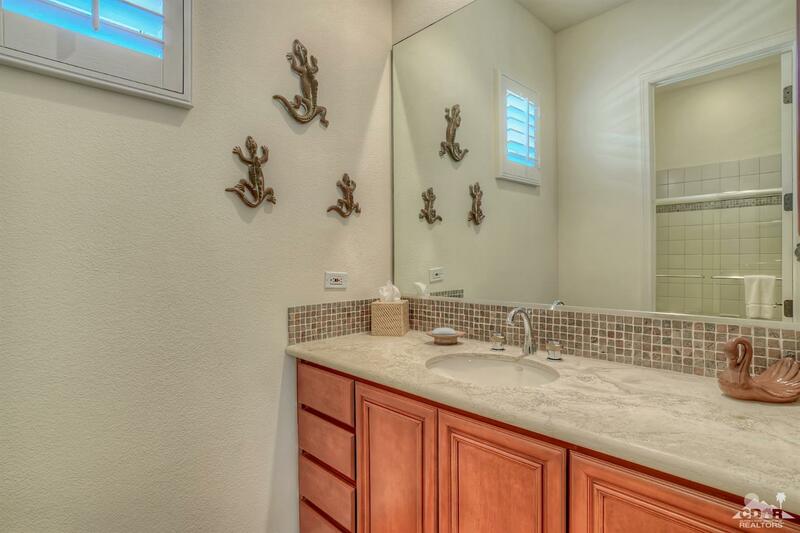 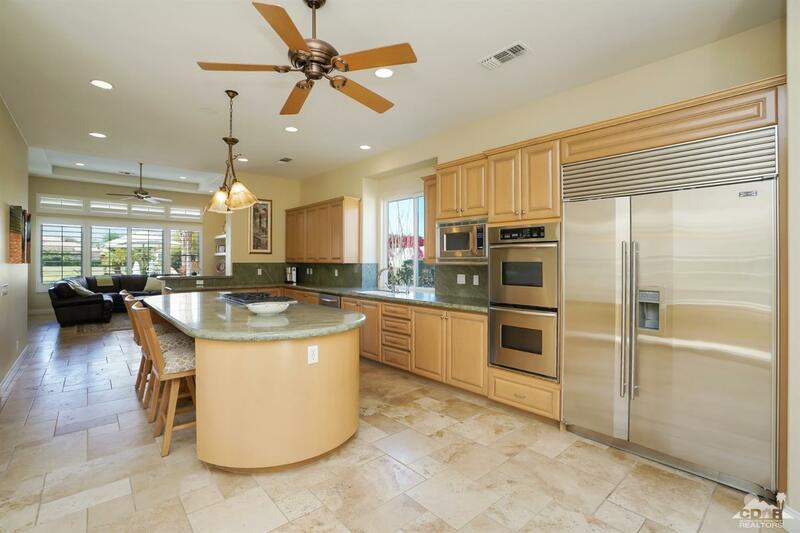 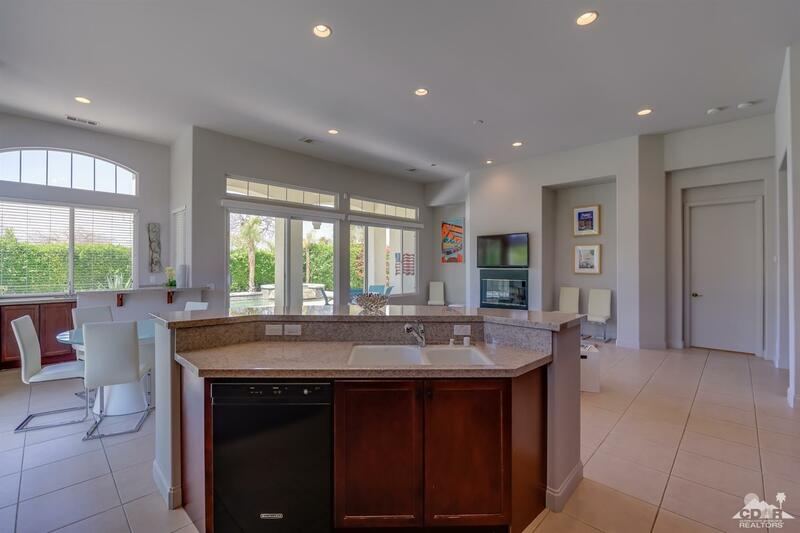 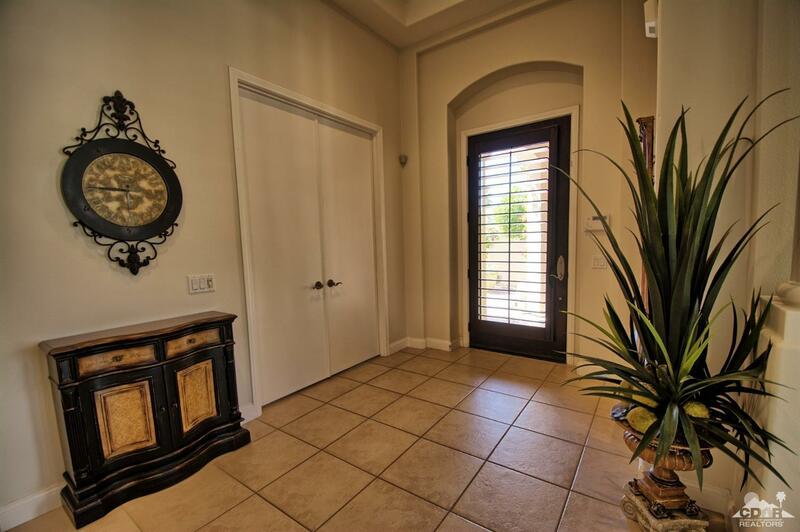 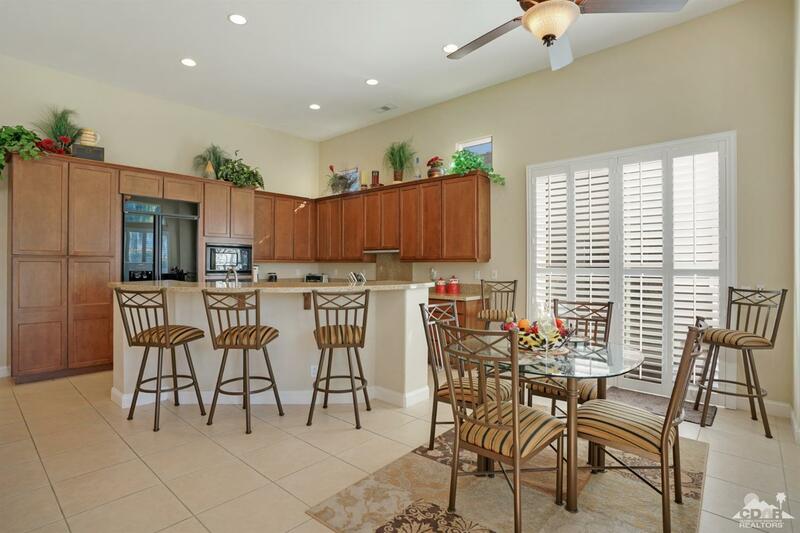 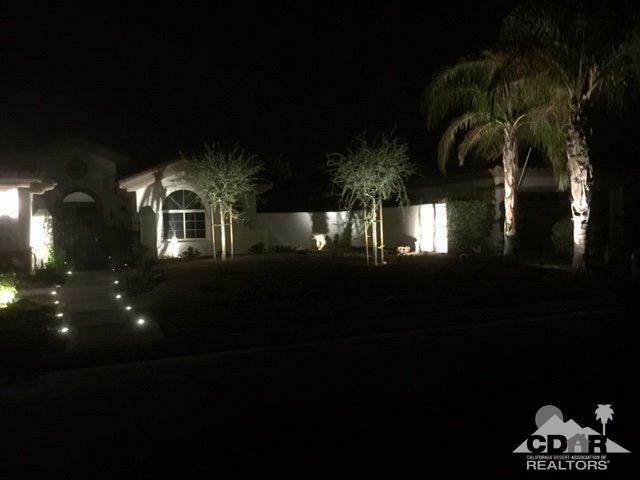 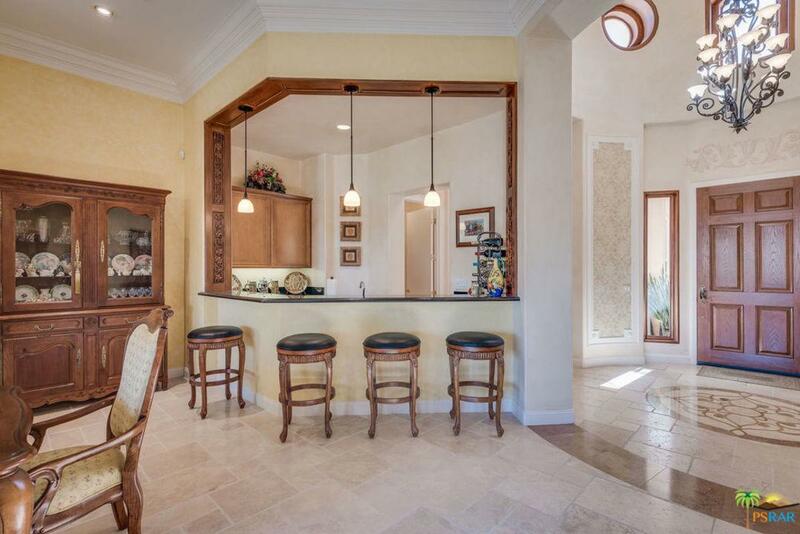 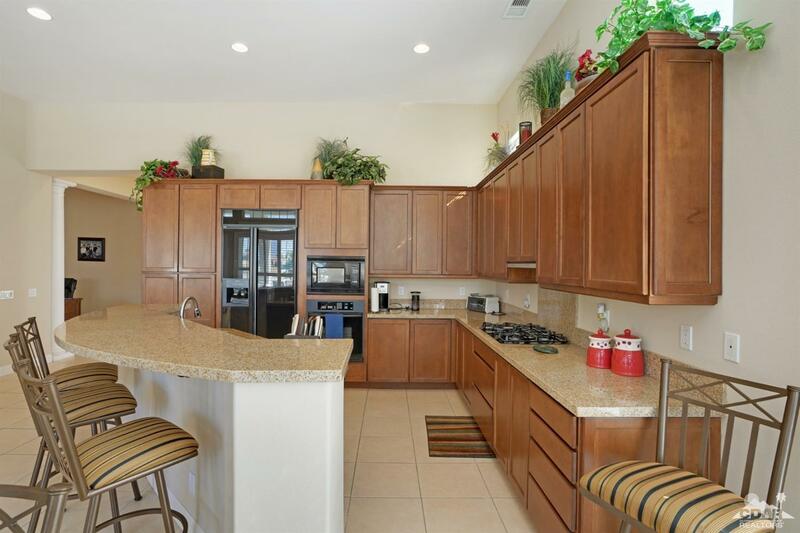 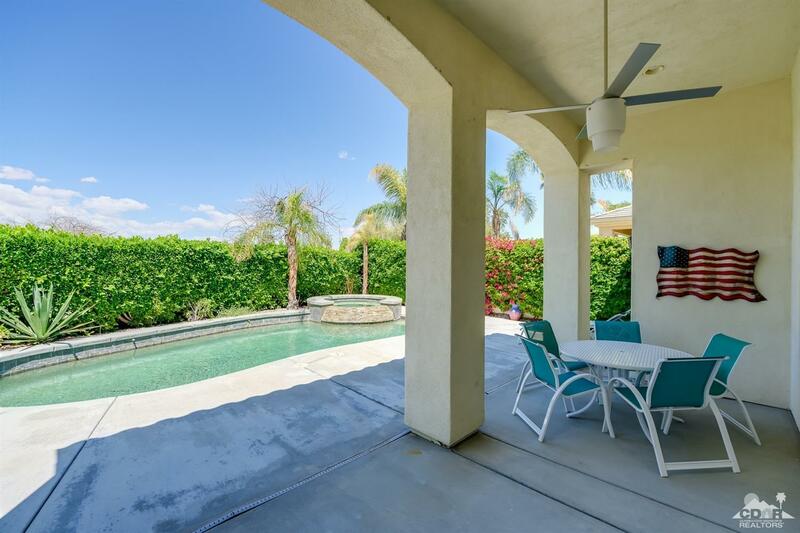 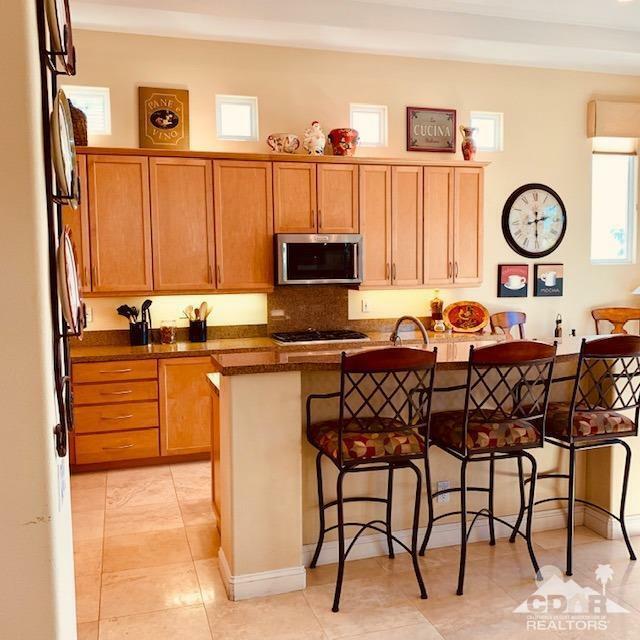 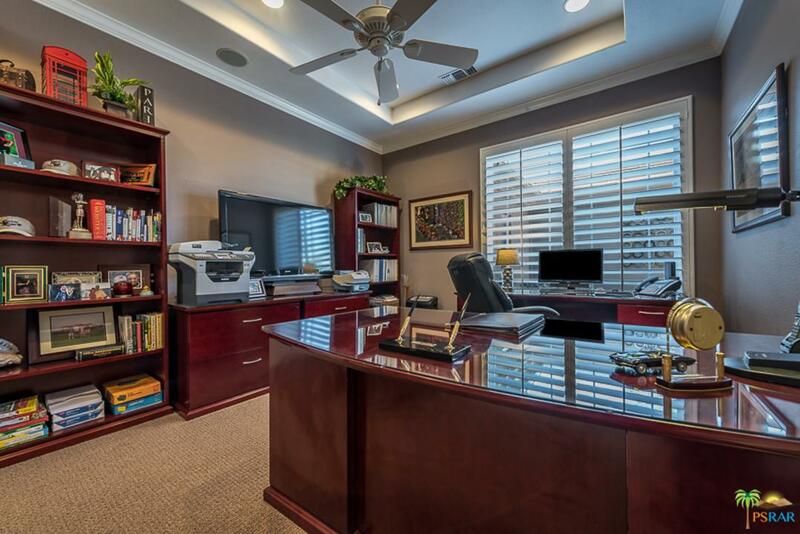 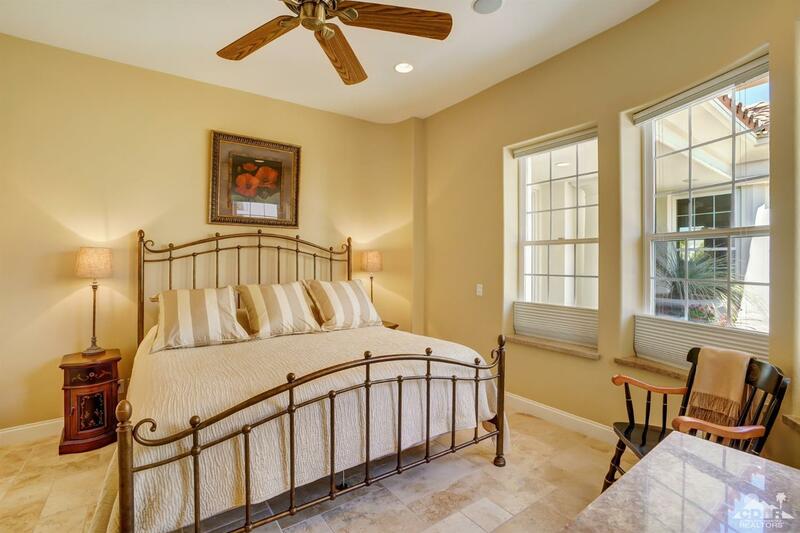 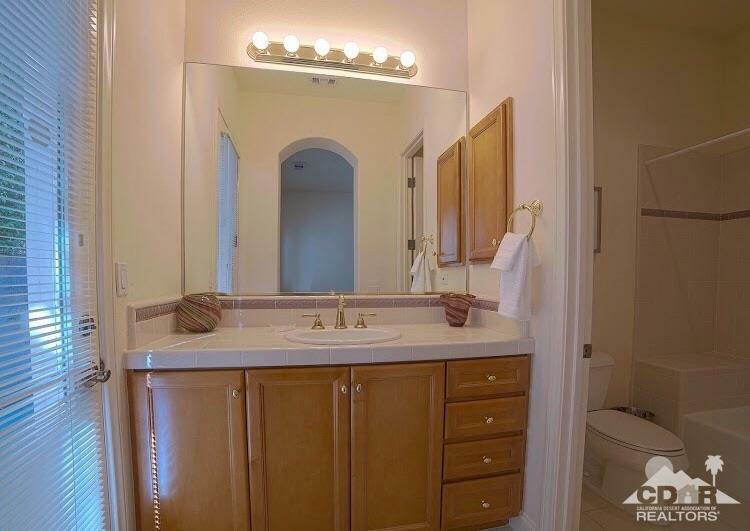 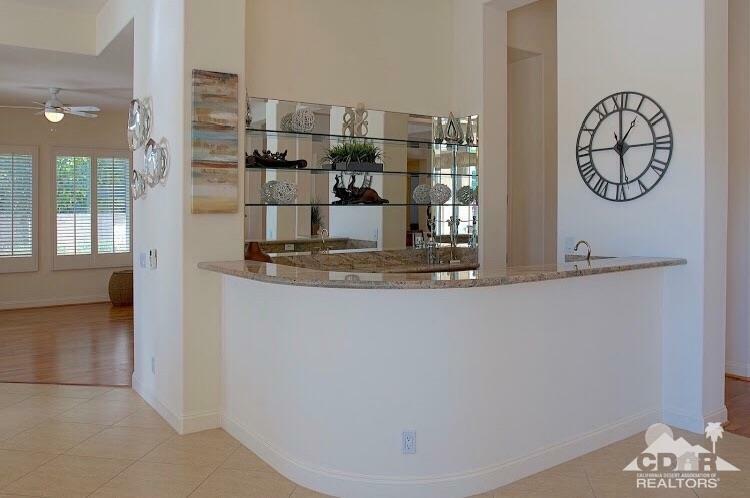 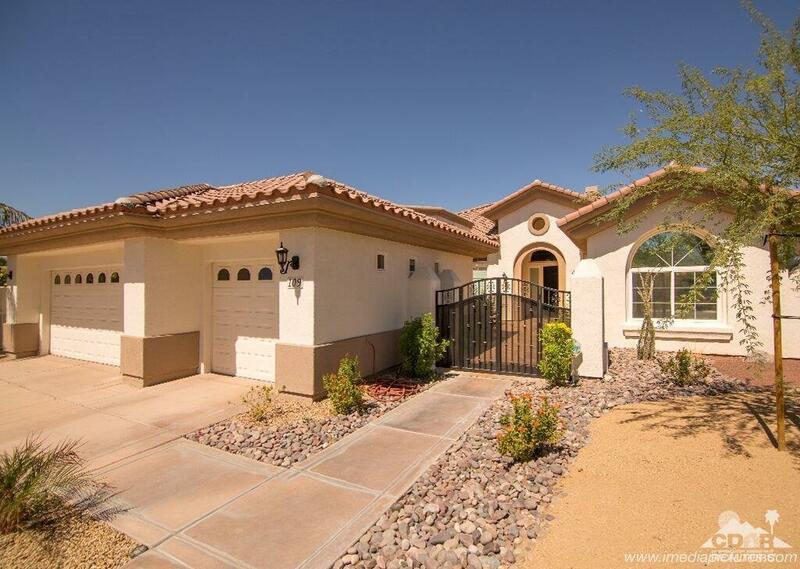 The gourmet kitchen has slab granite counter tops, master bath has travertine shower and the pool has waterfalls and handy controls operated from inside the home. 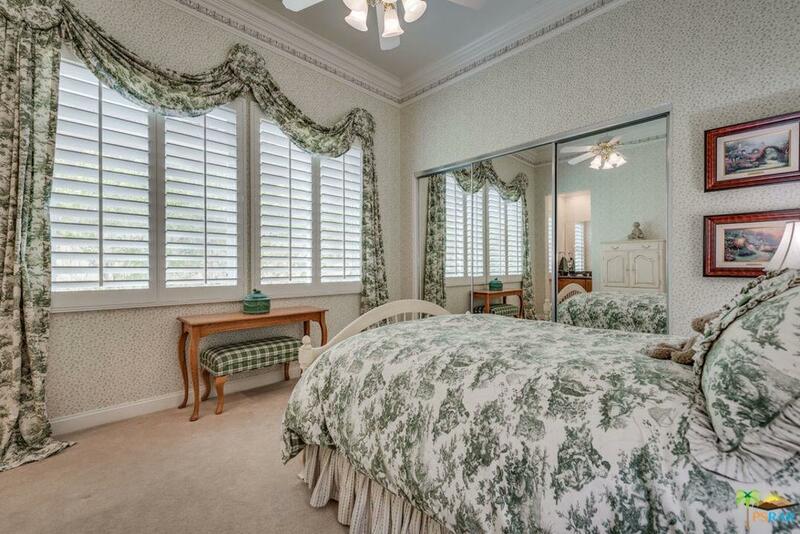 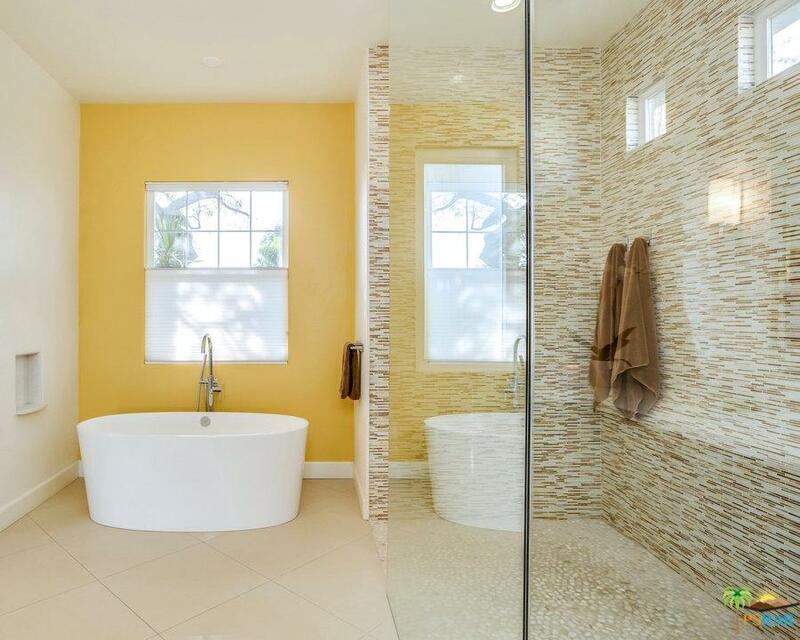 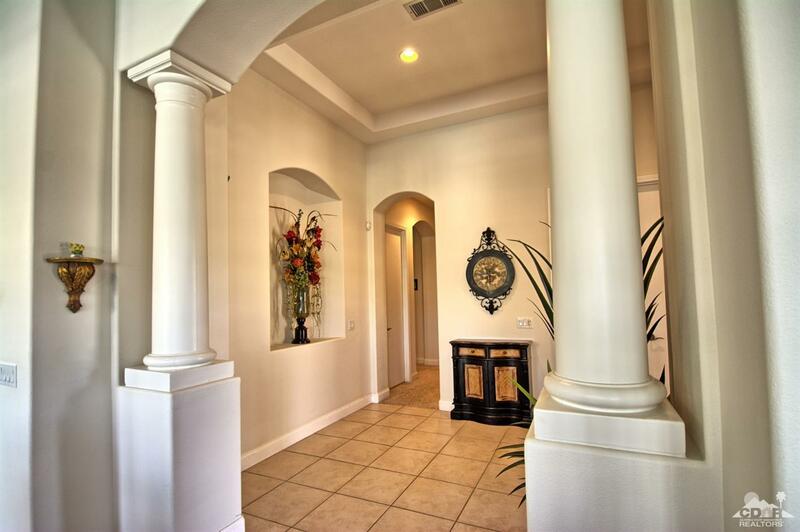 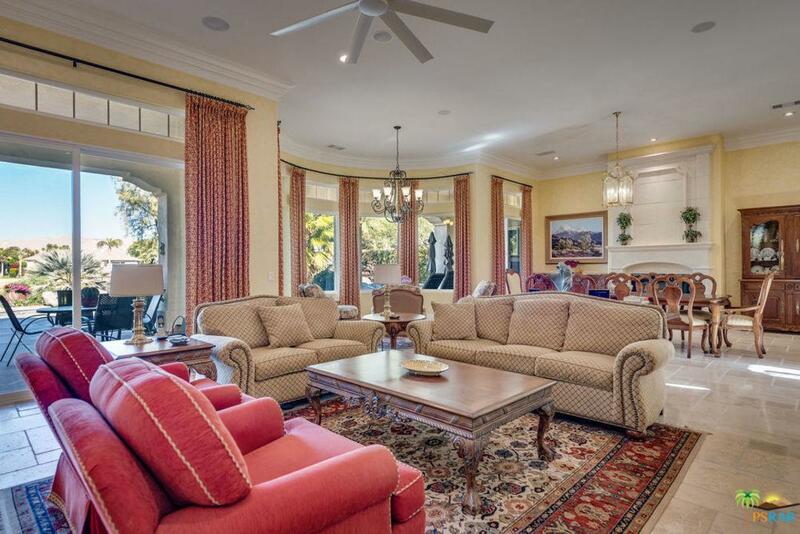 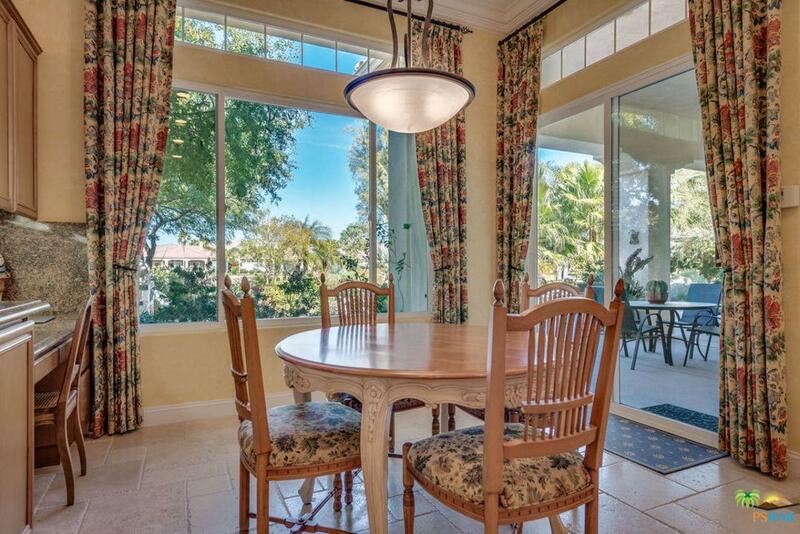 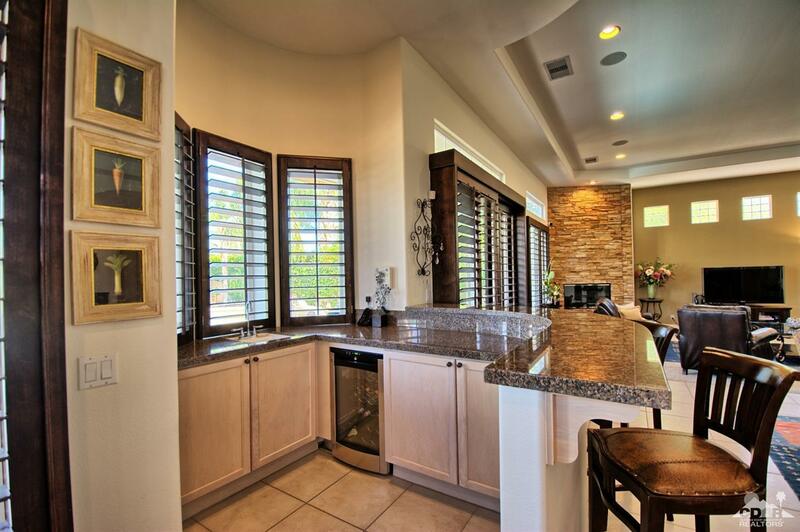 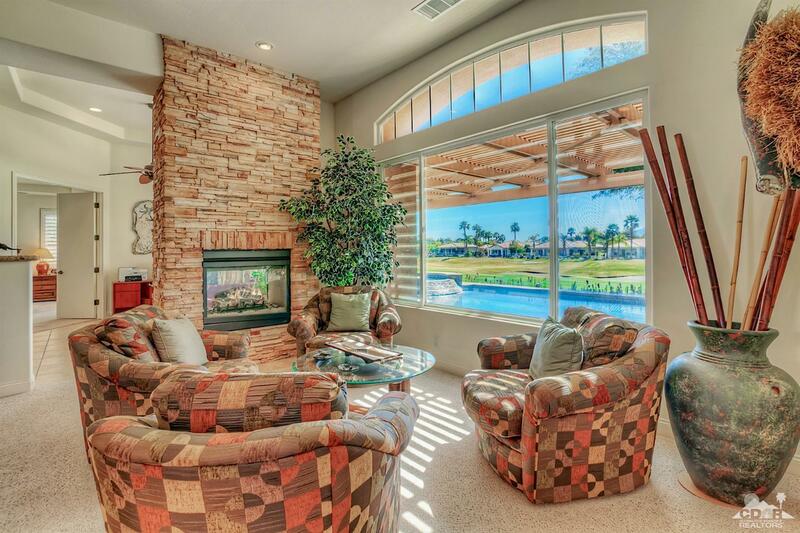 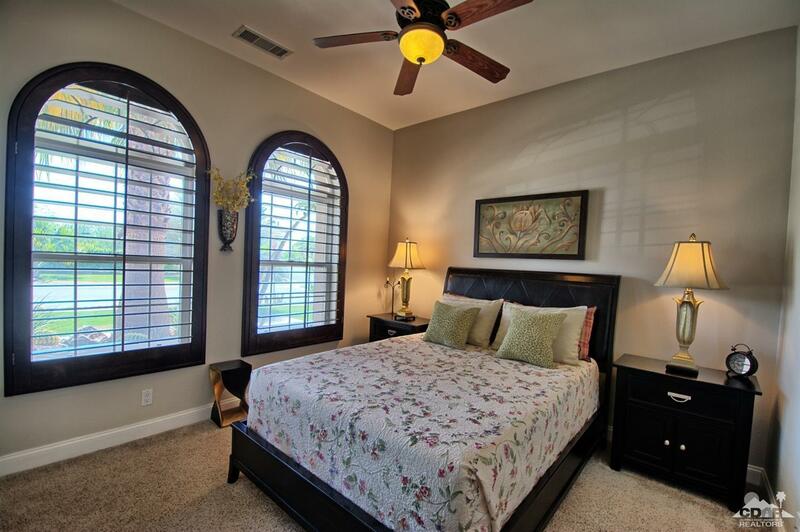 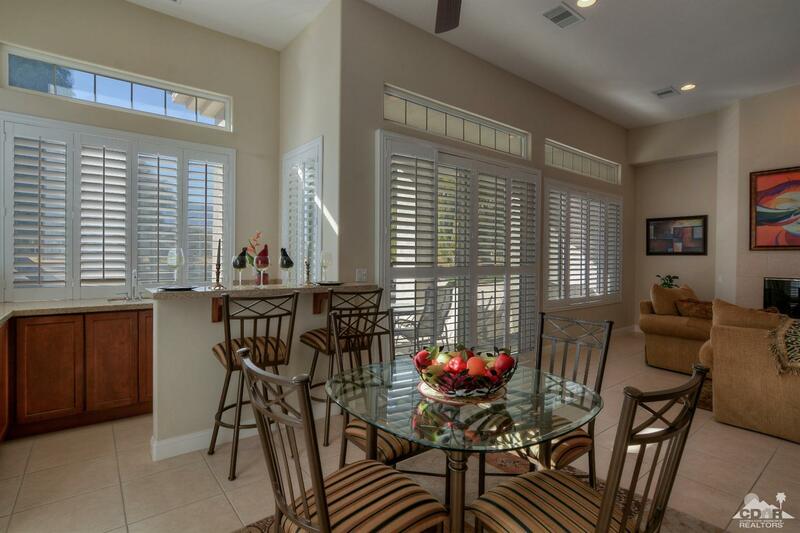 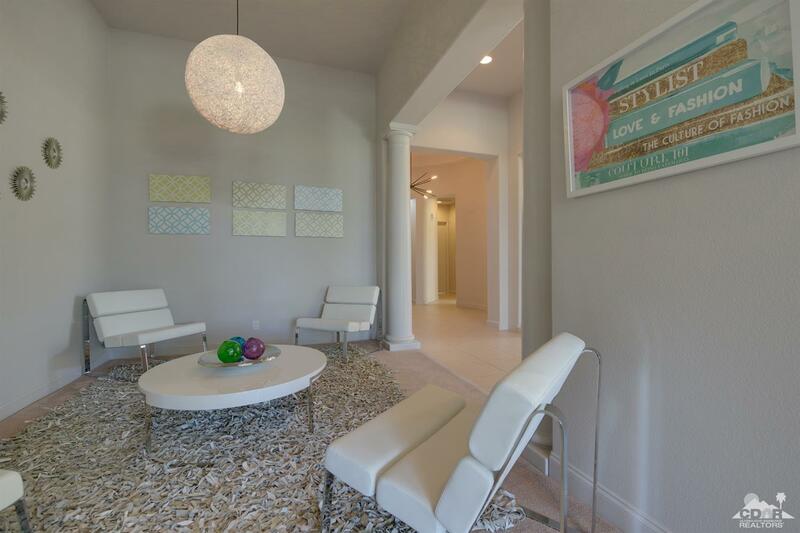 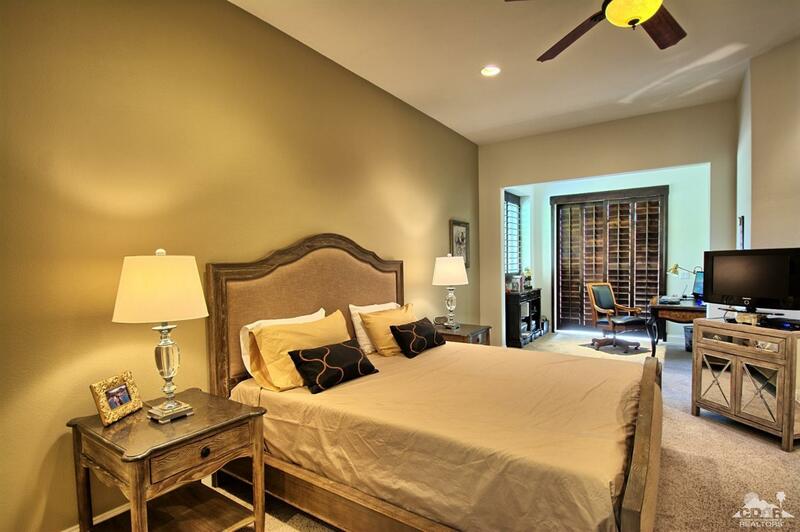 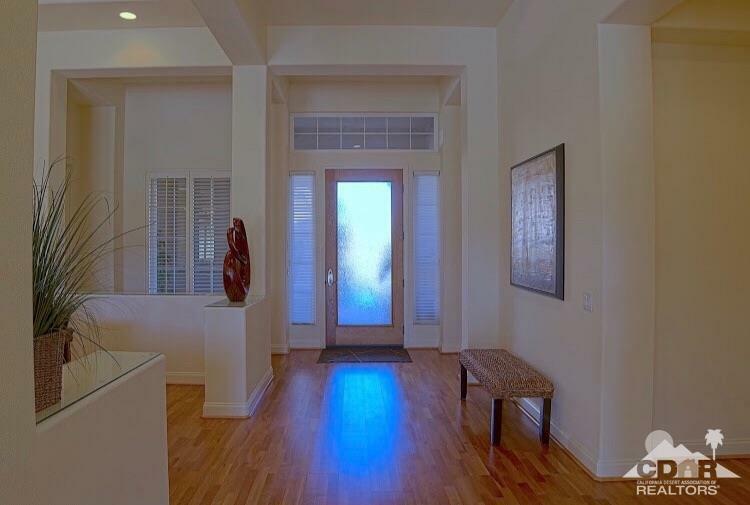 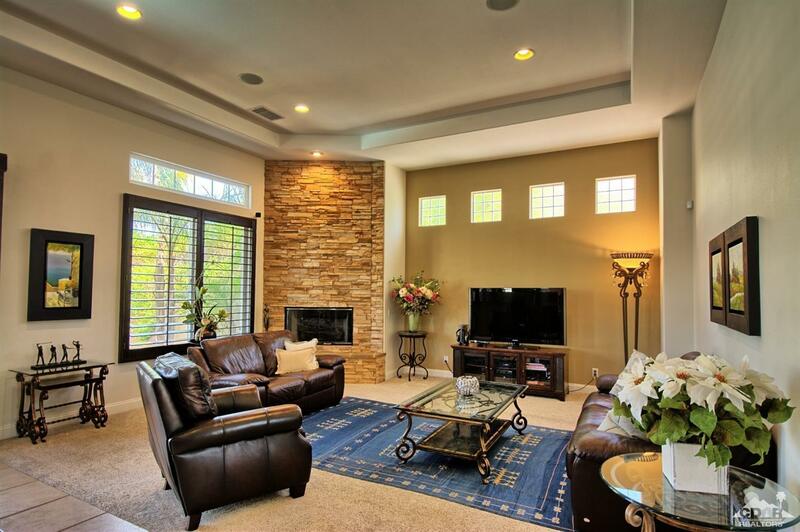 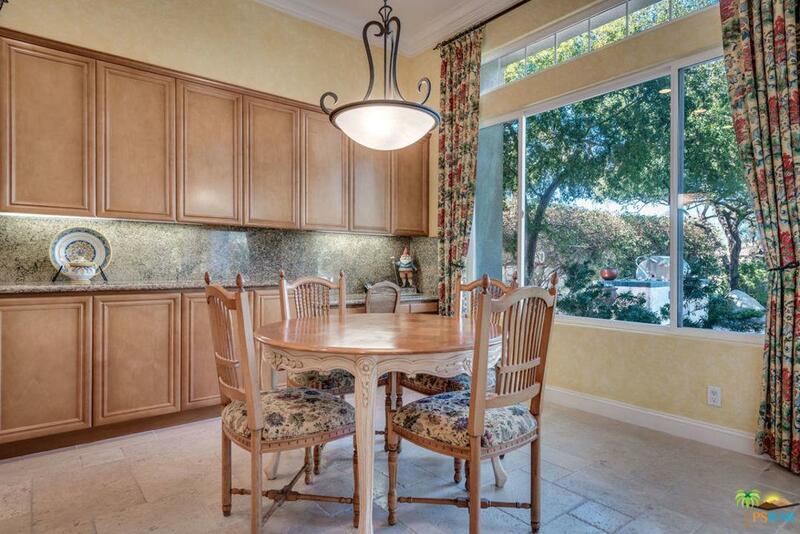 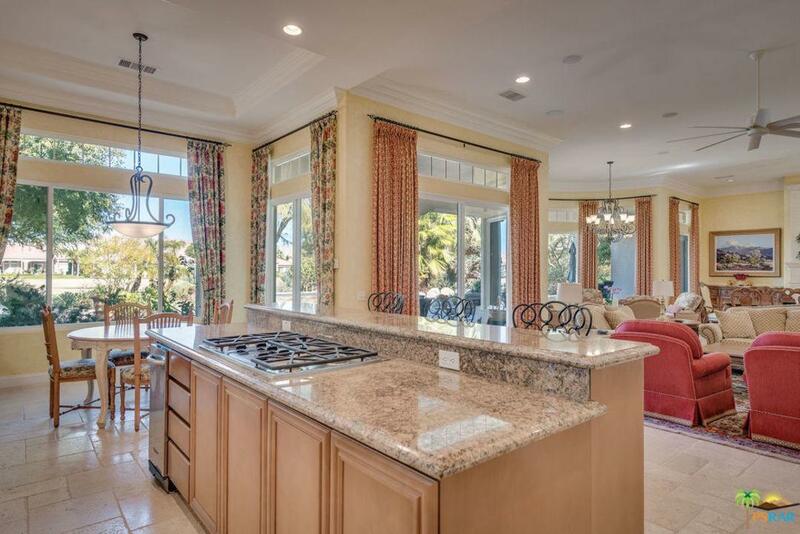 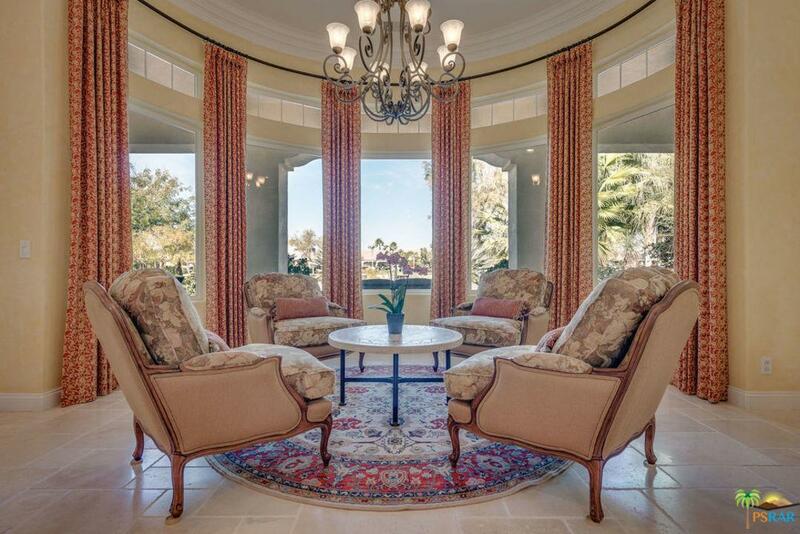 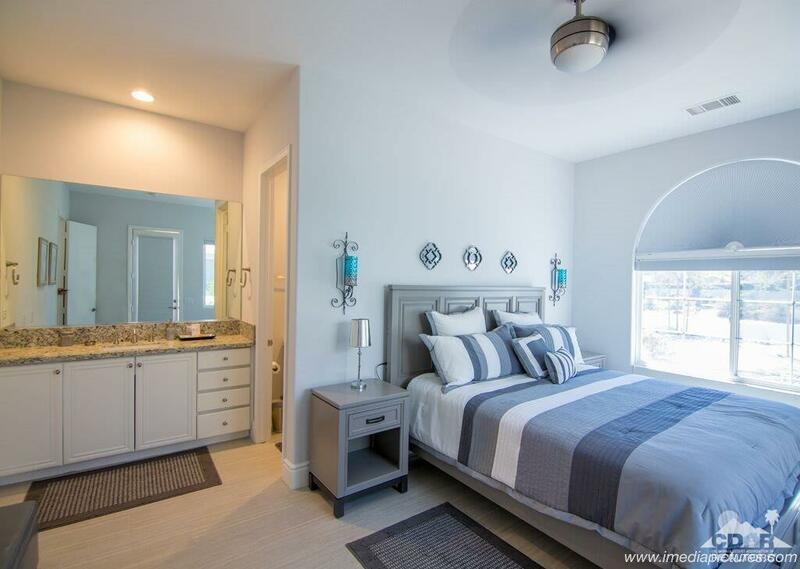 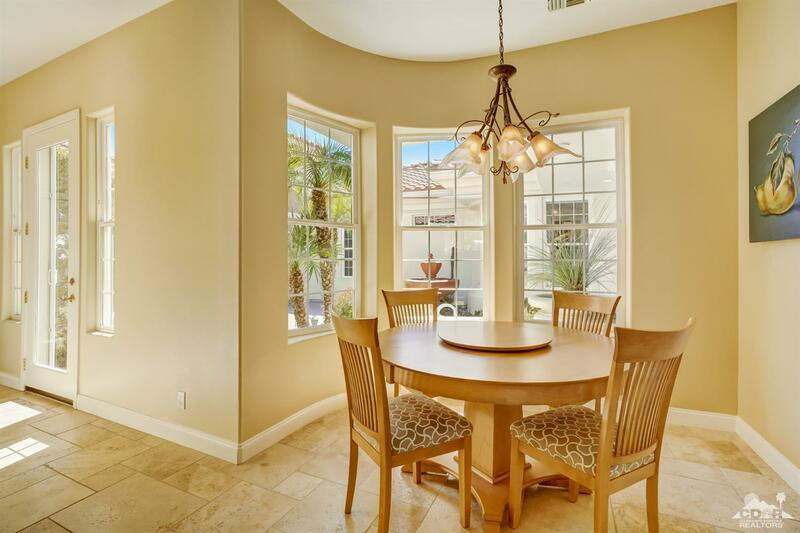 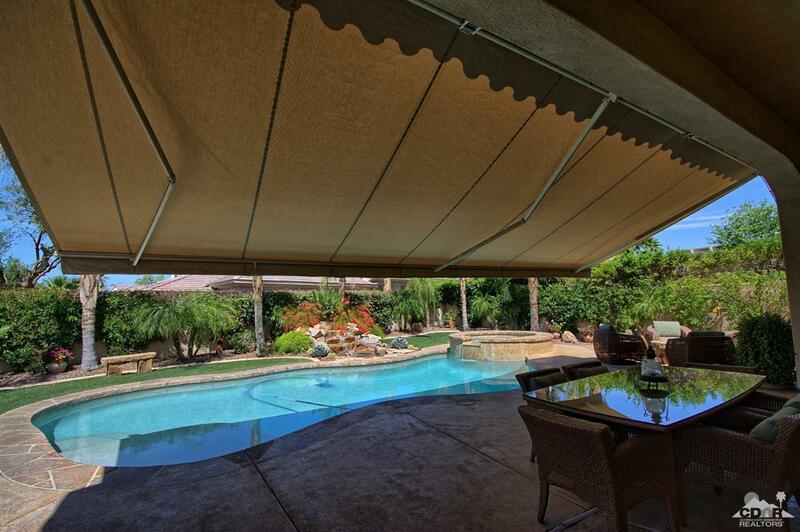 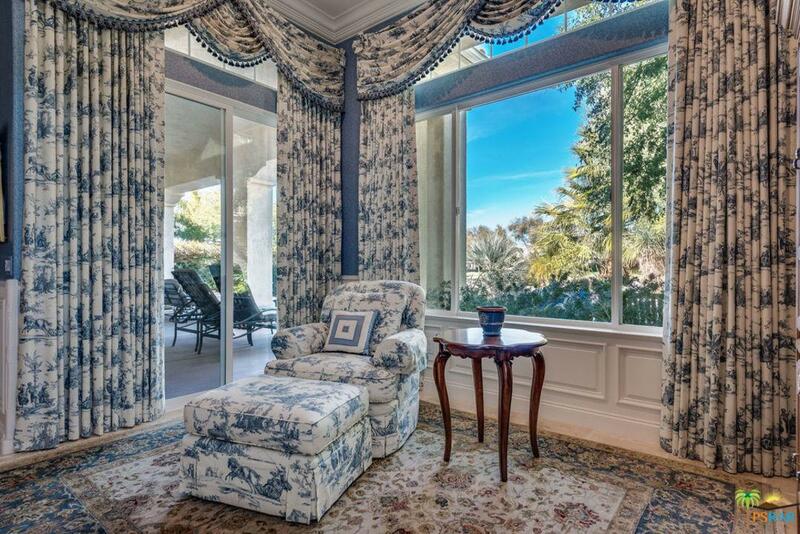 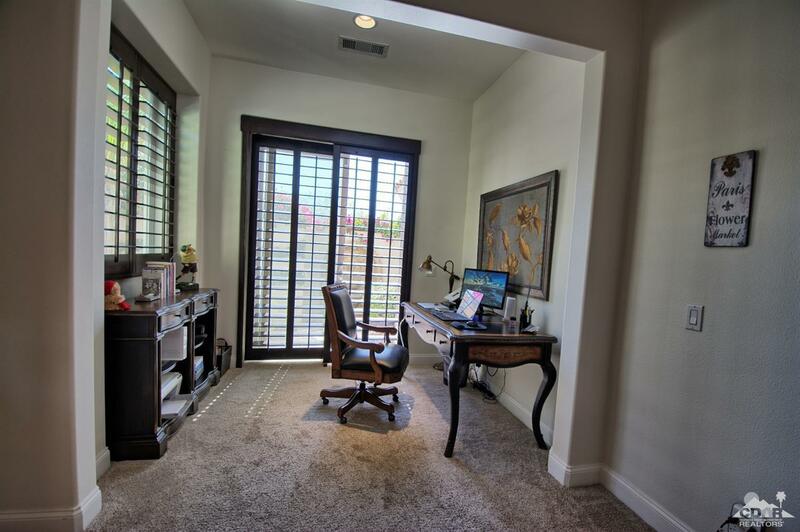 Custom lighting and window treatments throughout the home. 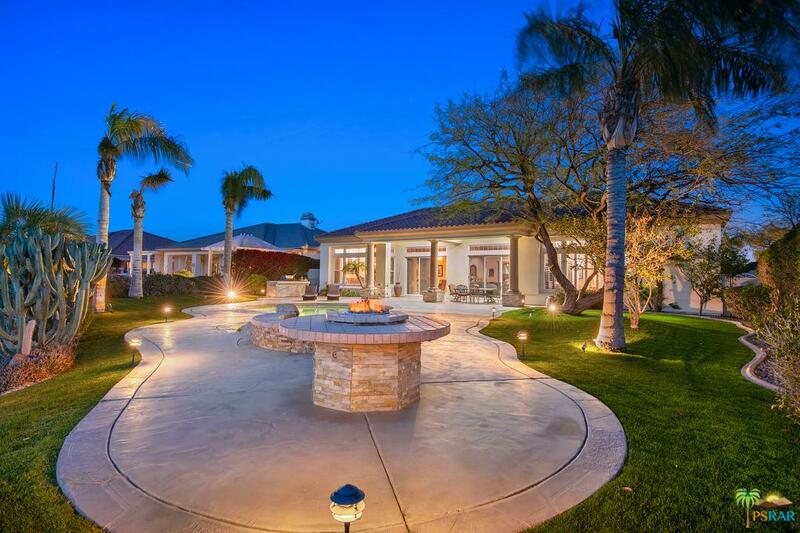 One of the biggest homes in the Community.